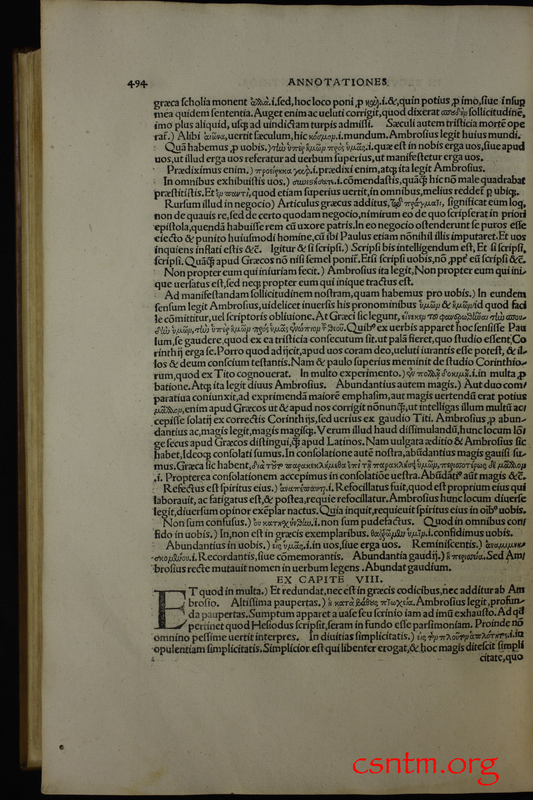 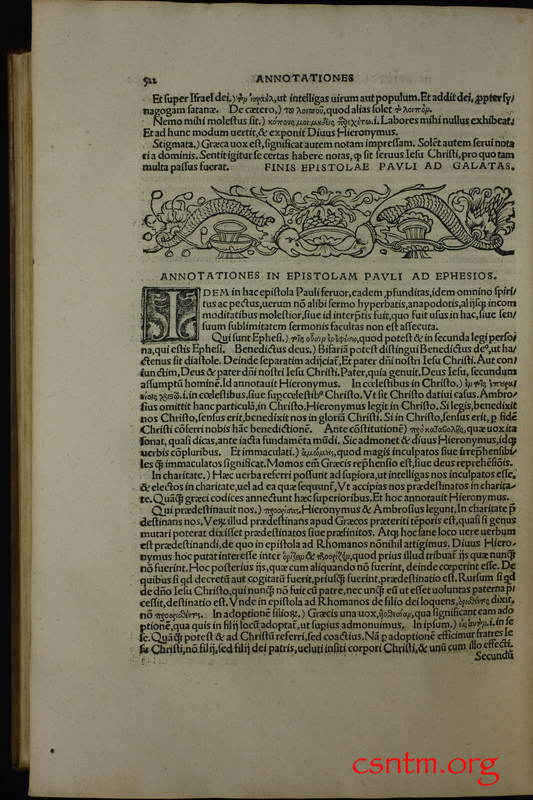 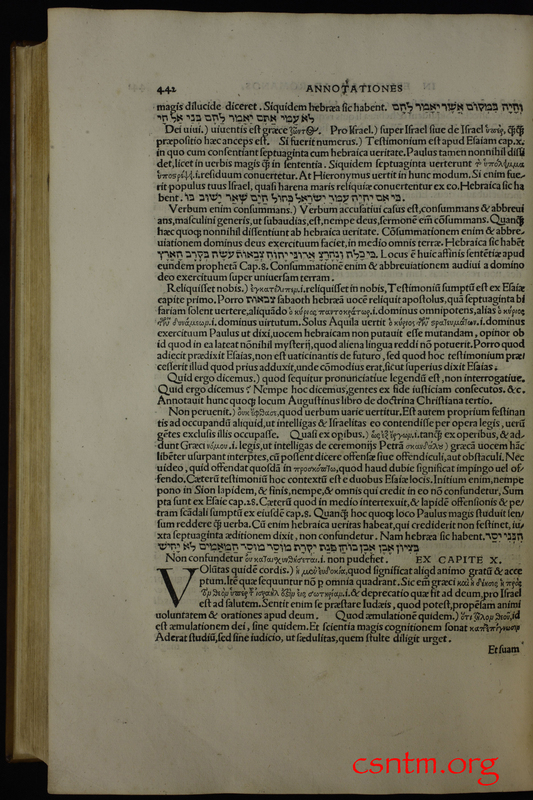 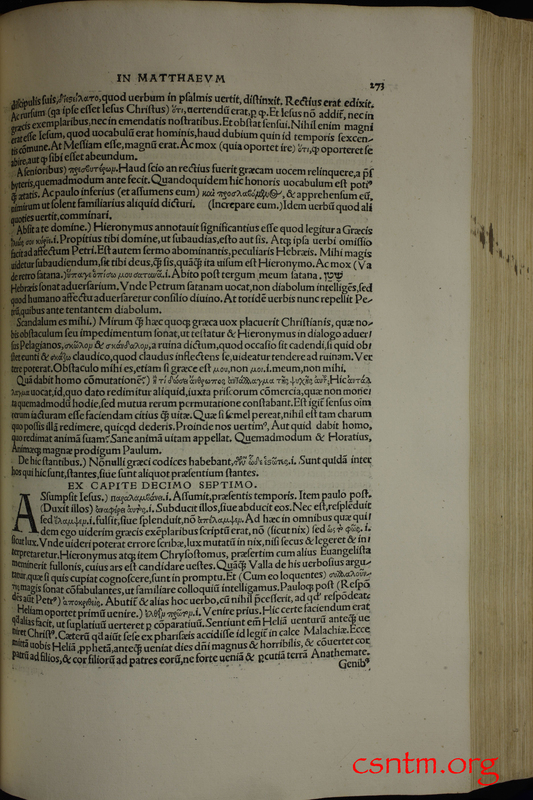 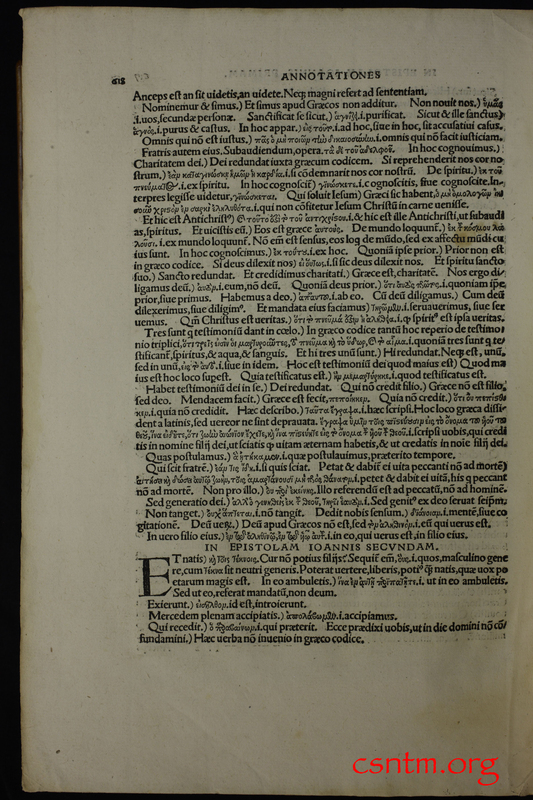 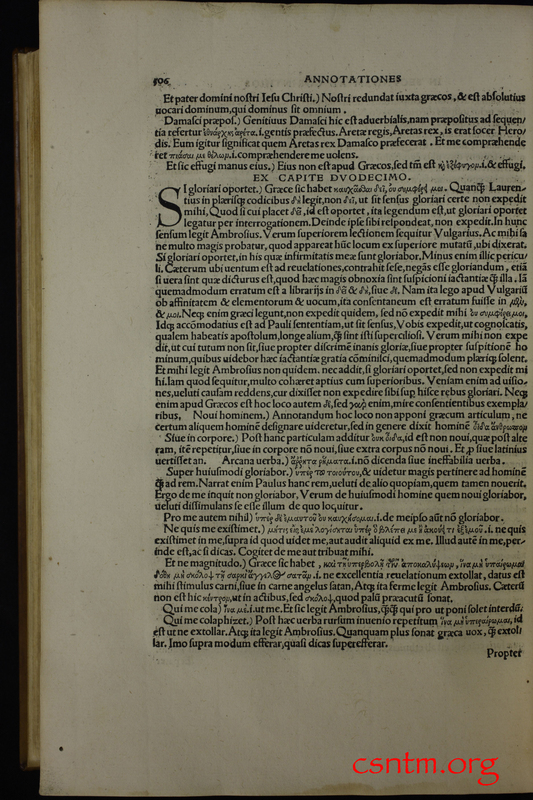 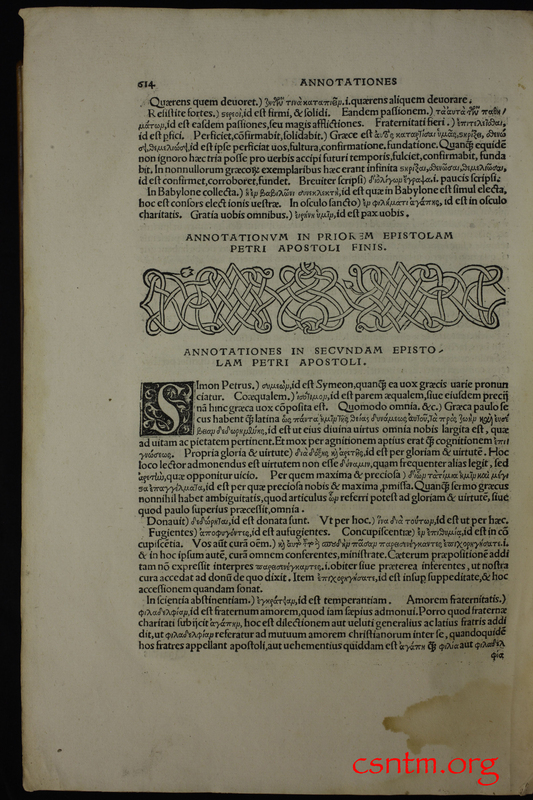 The historical significance of Erasmus’s first edition of his Greek New Testament is difficult to overestimate. 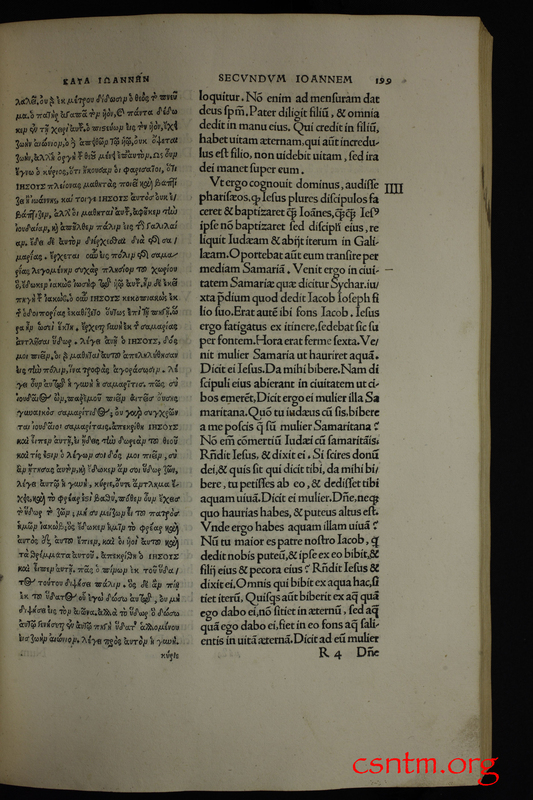 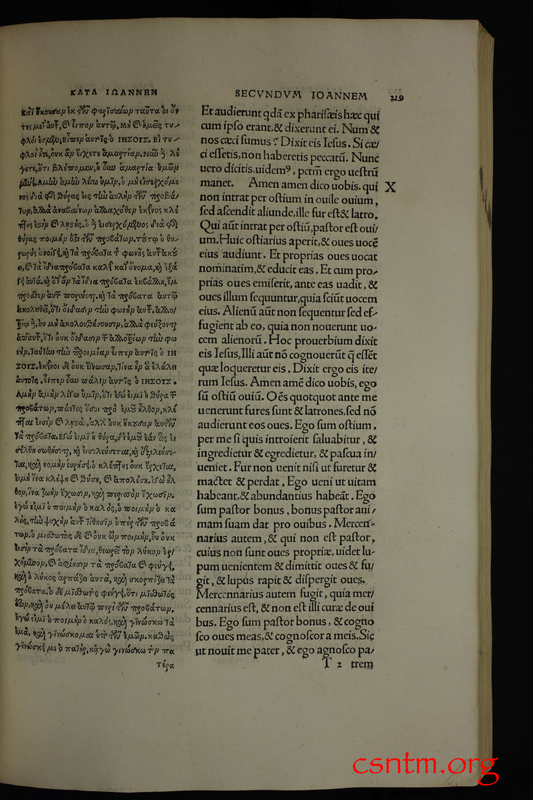 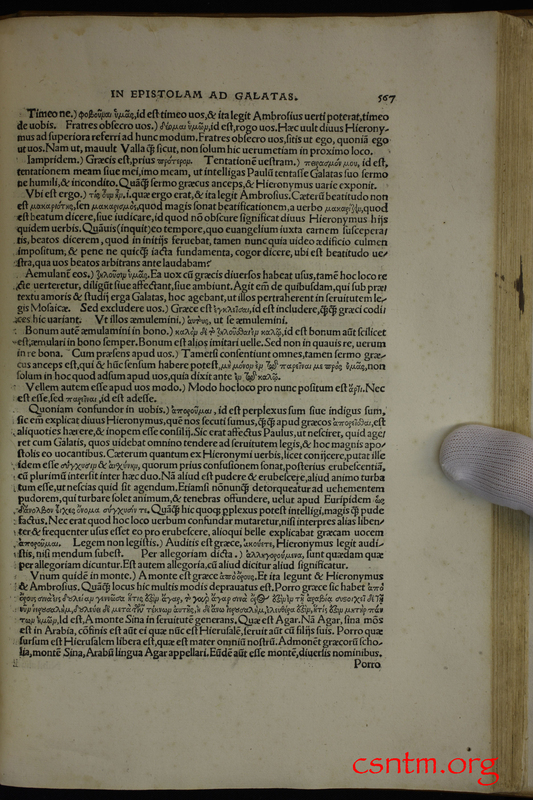 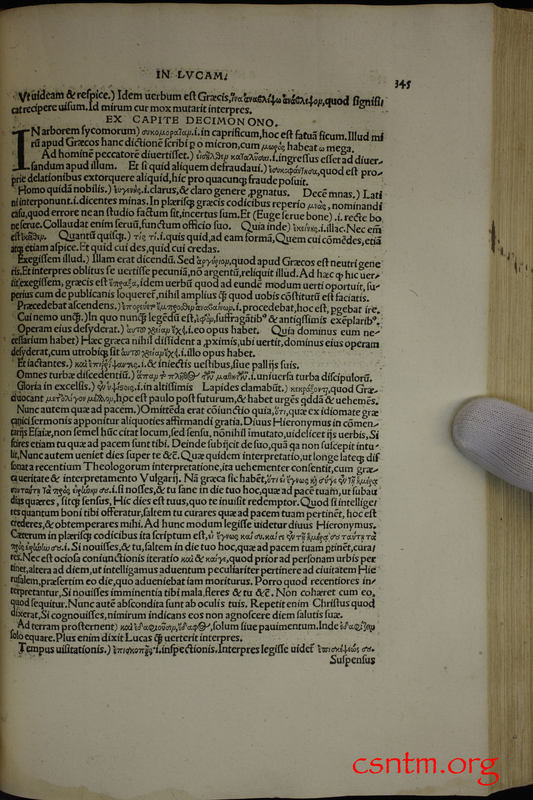 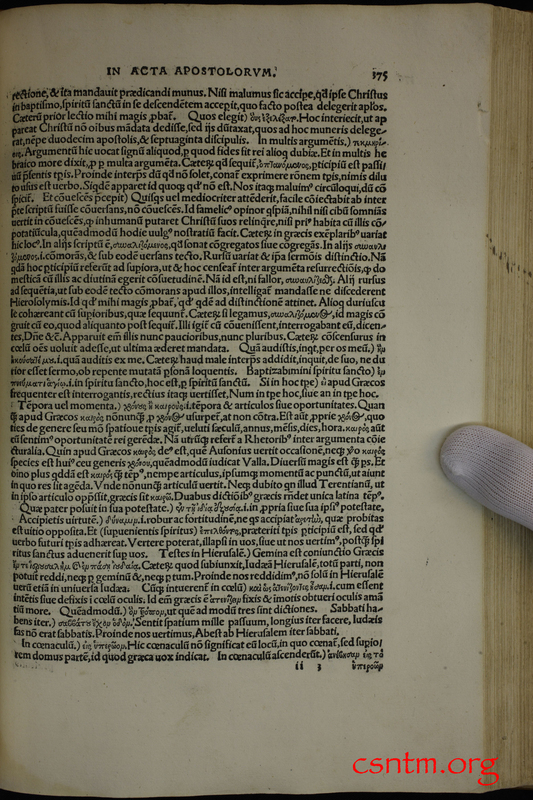 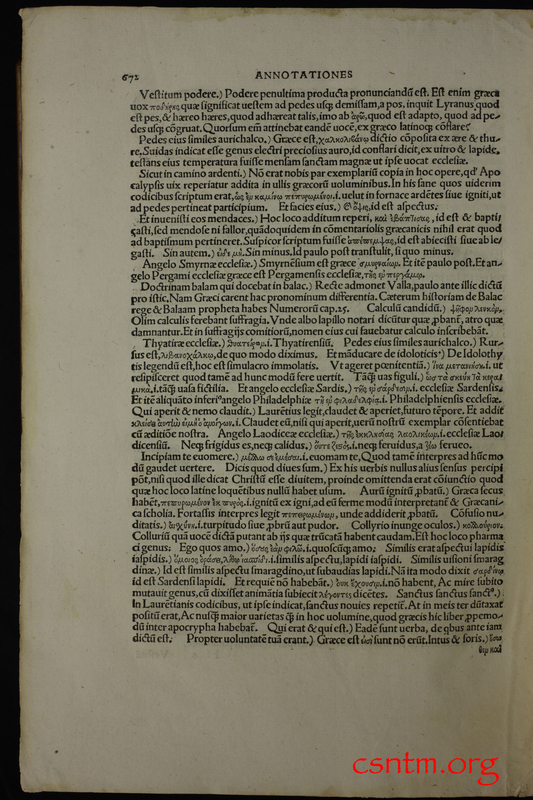 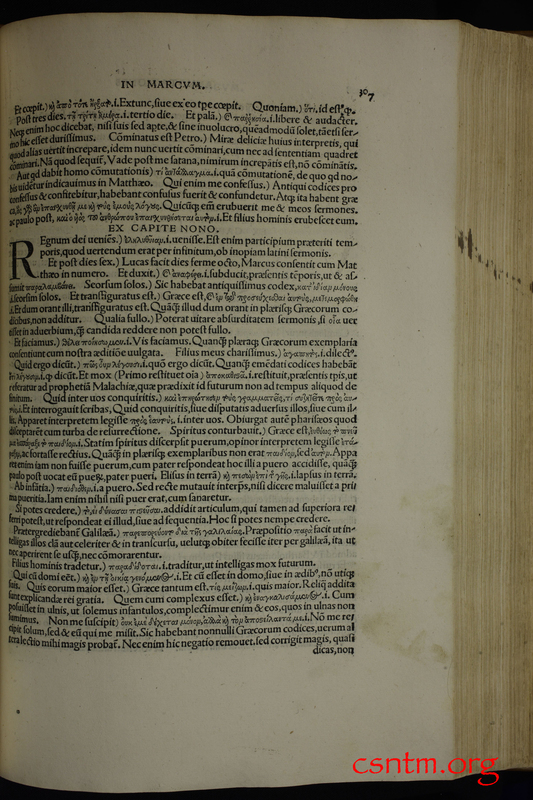 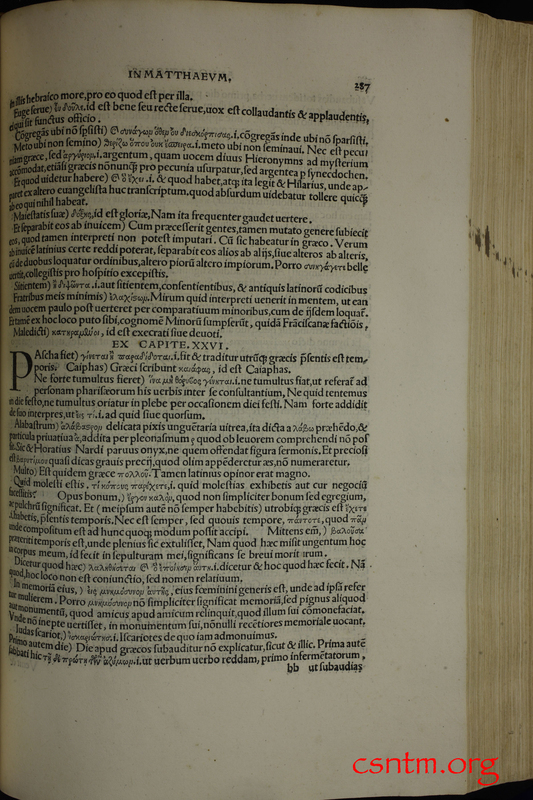 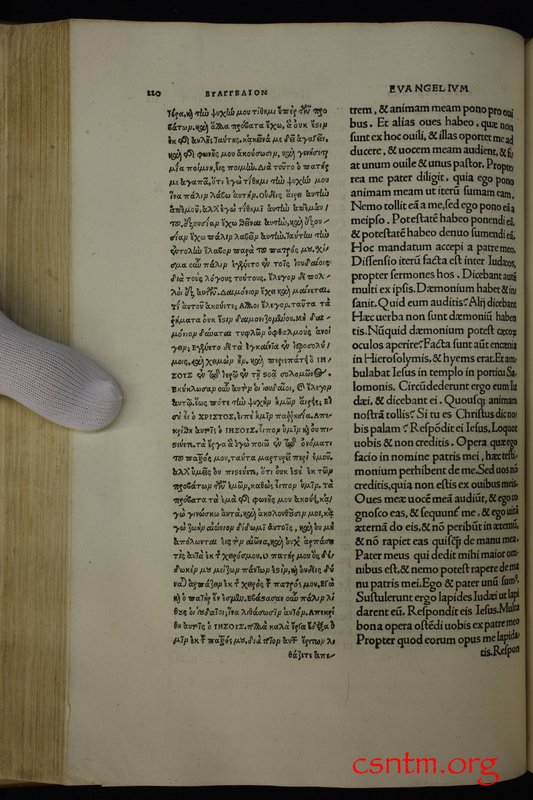 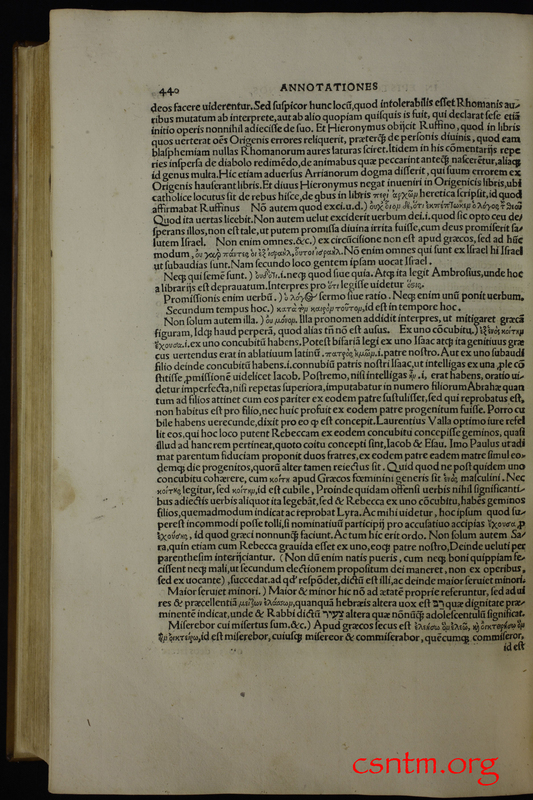 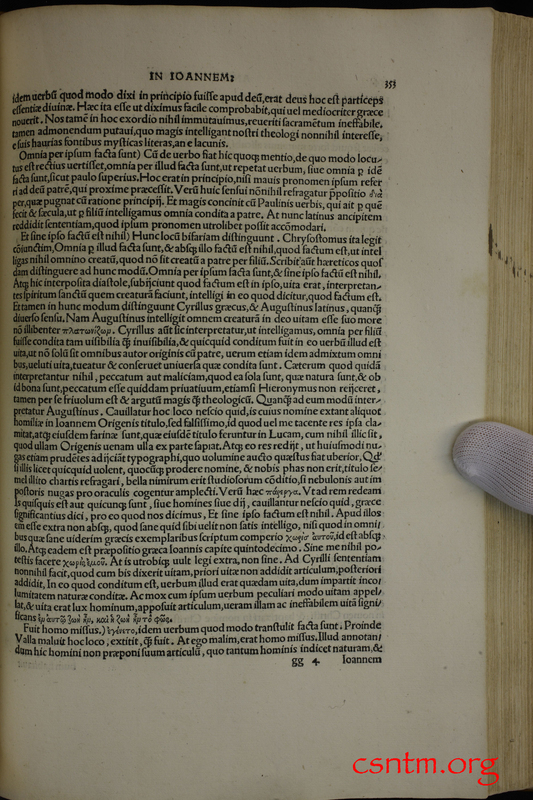 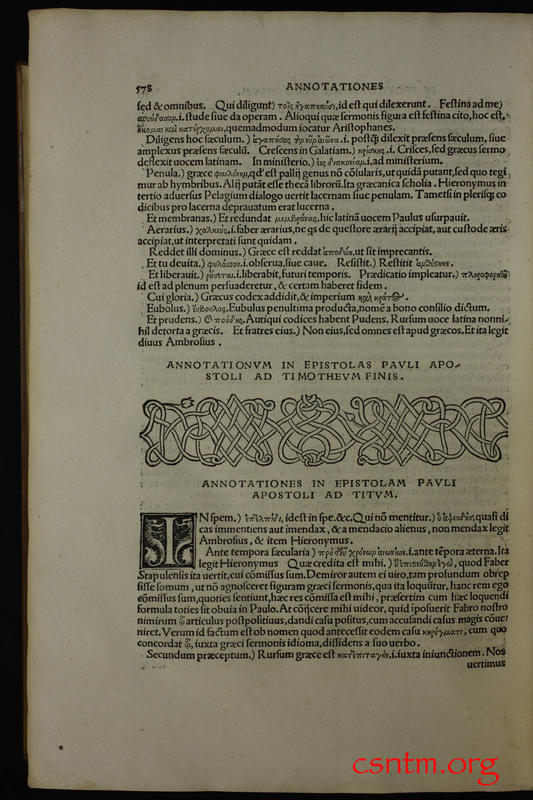 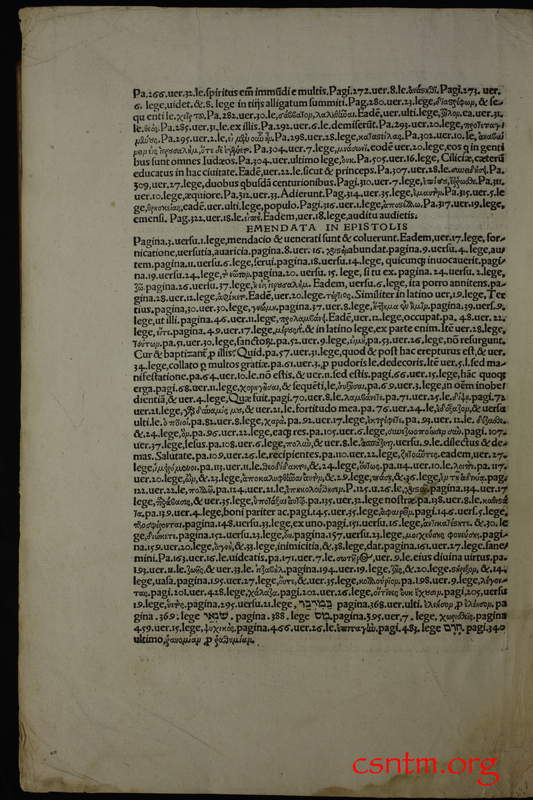 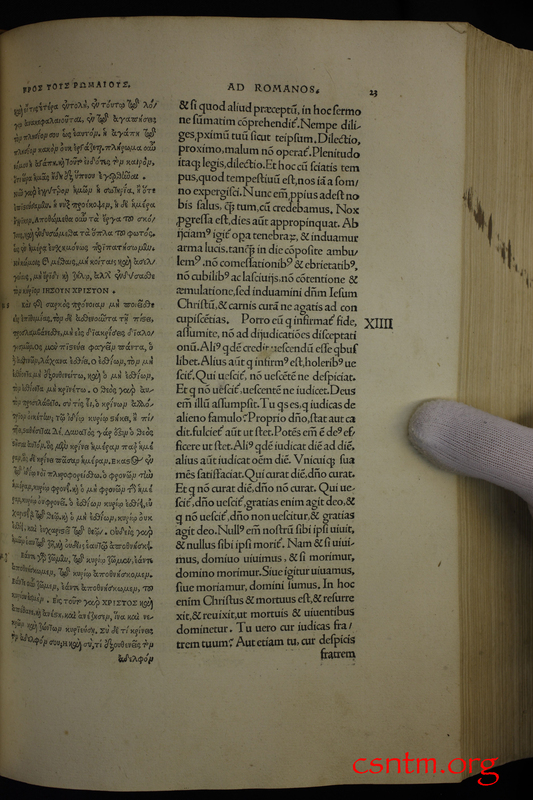 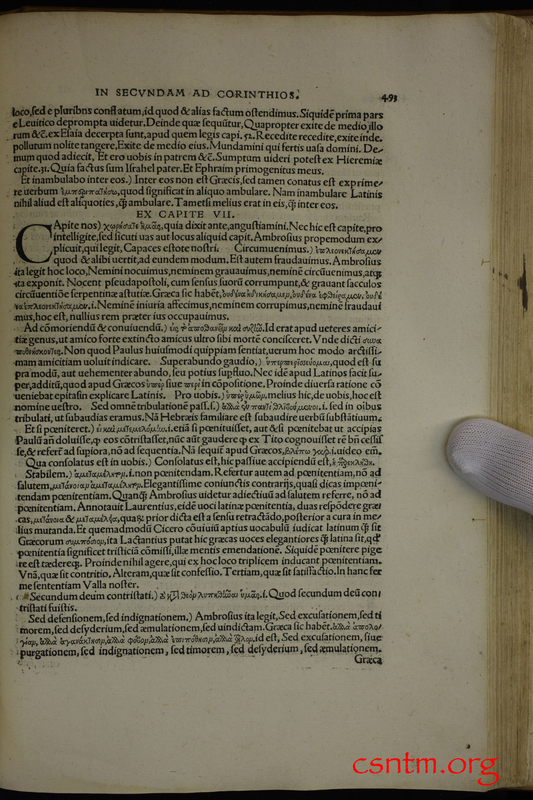 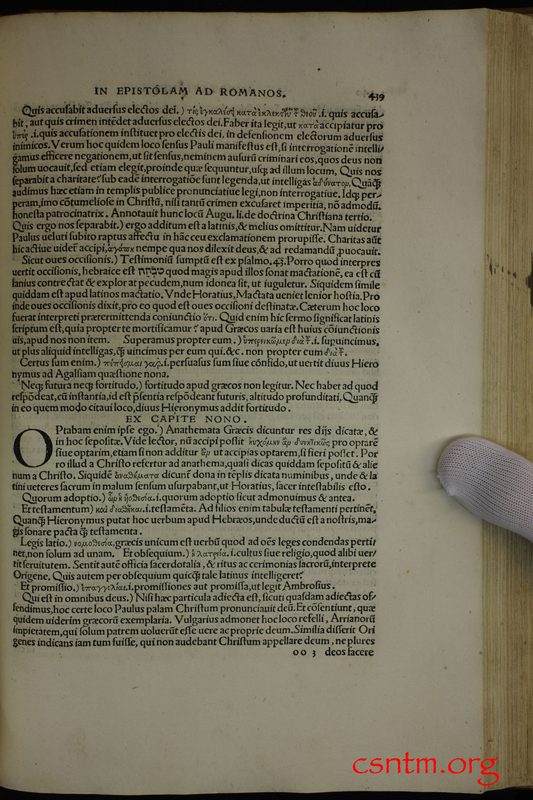 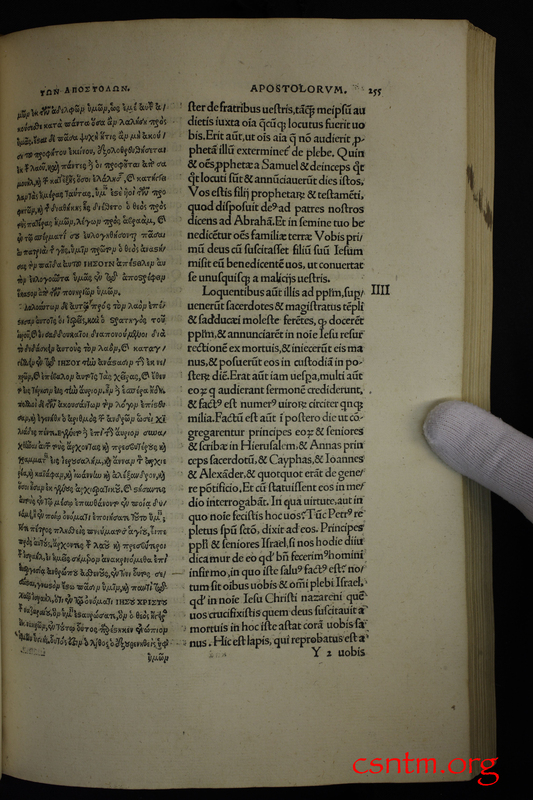 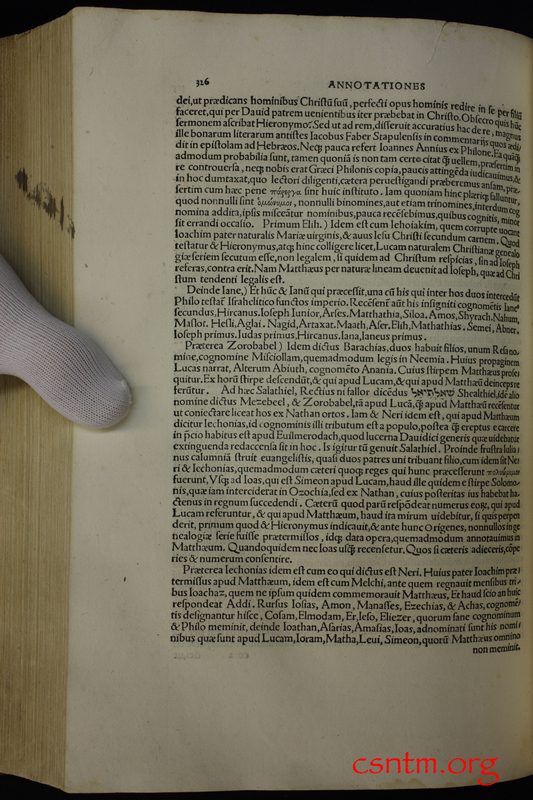 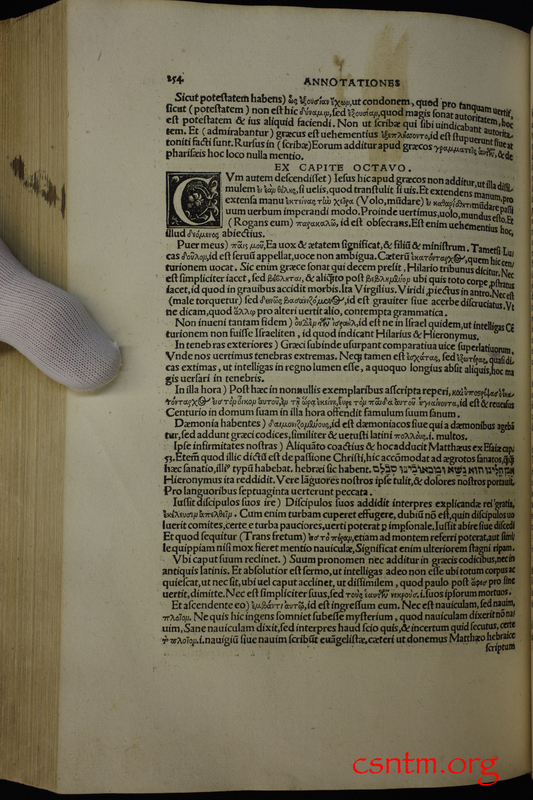 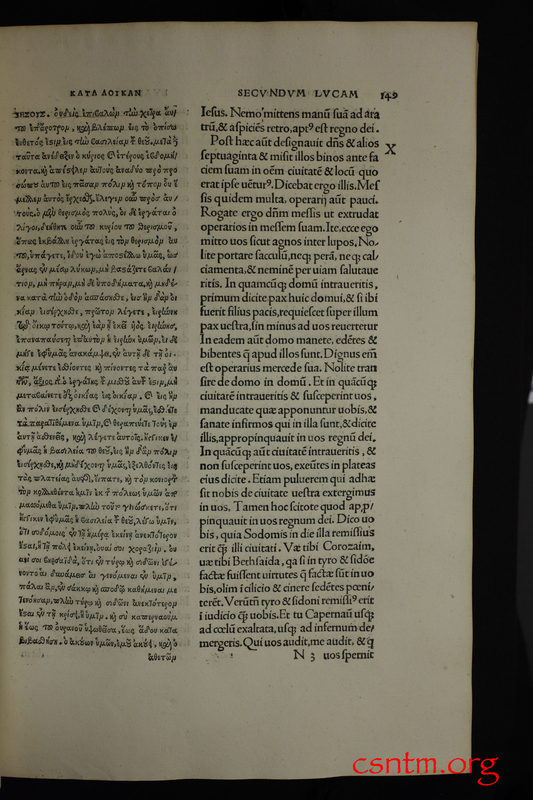 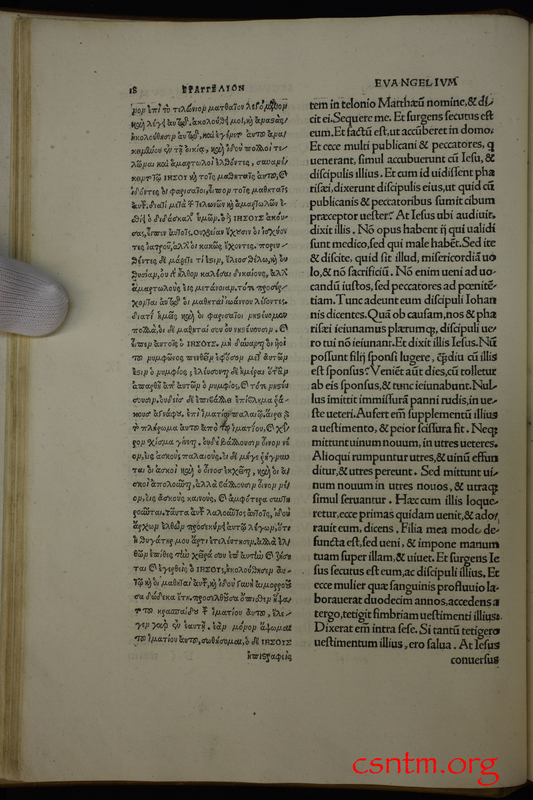 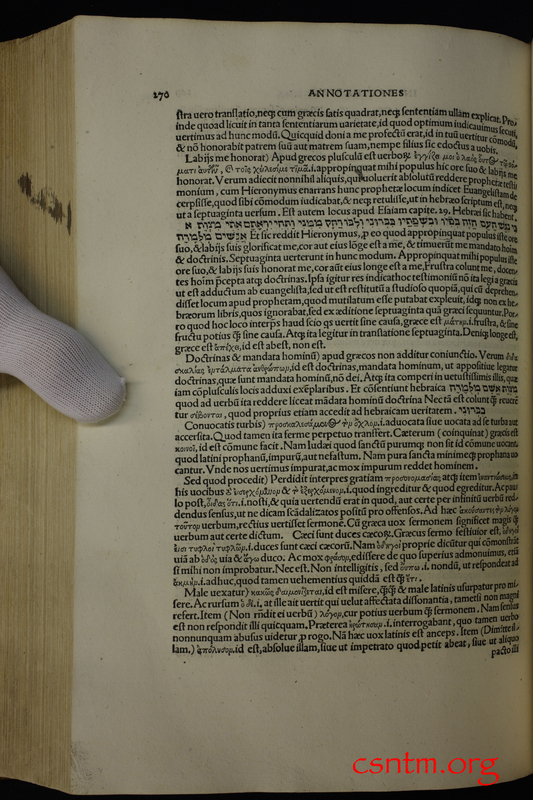 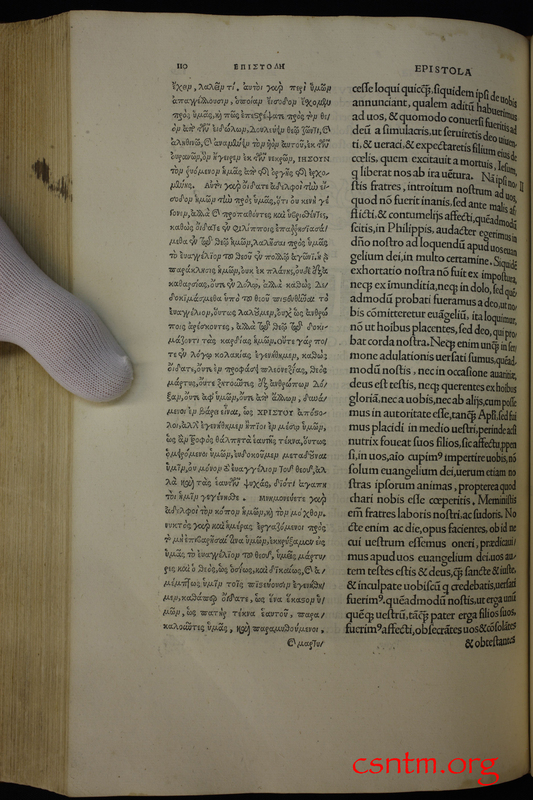 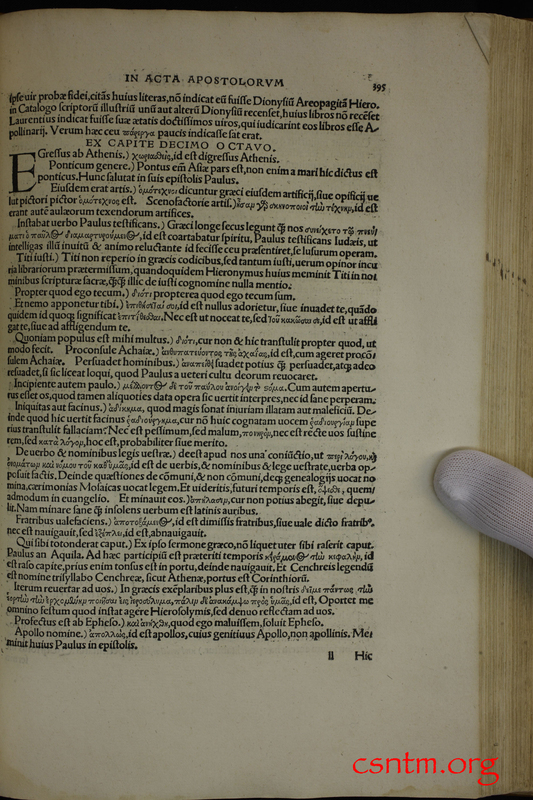 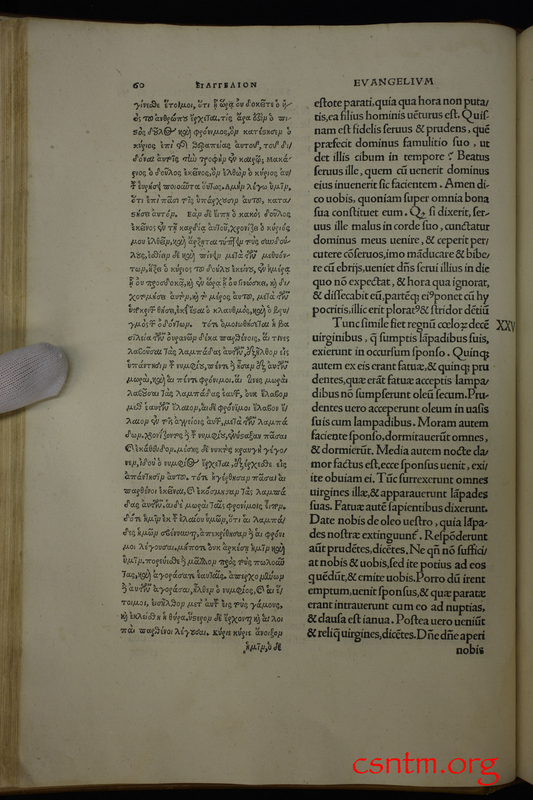 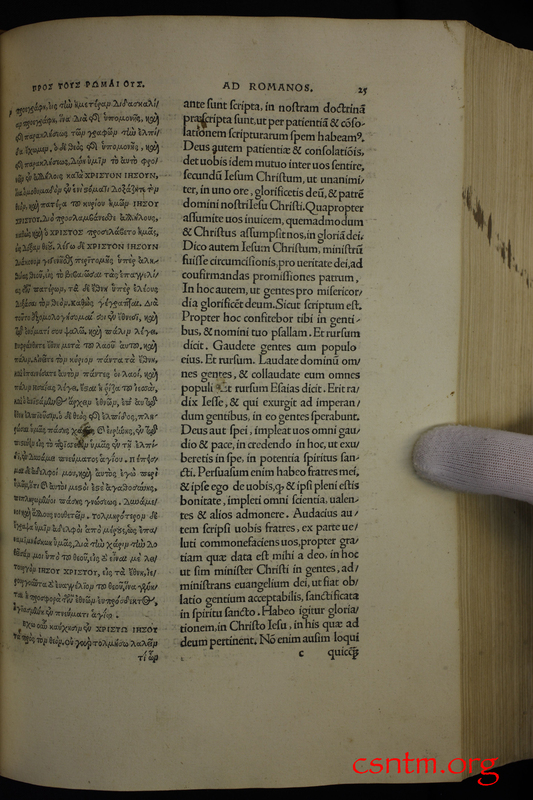 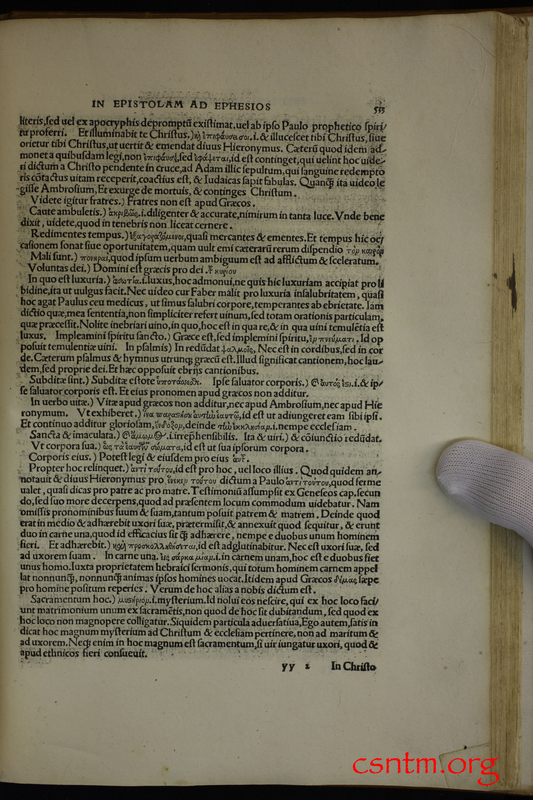 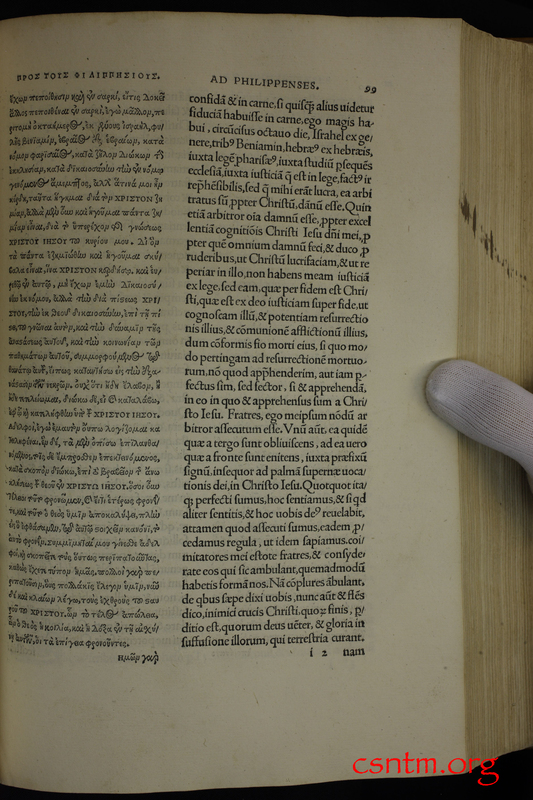 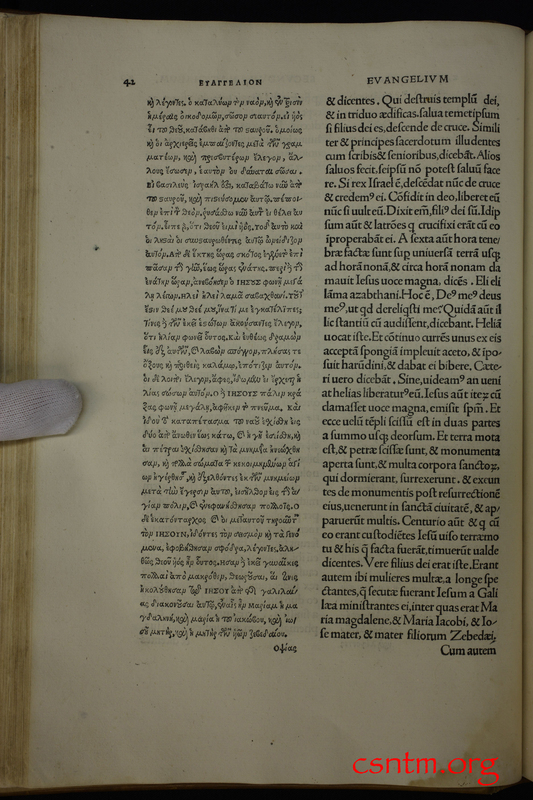 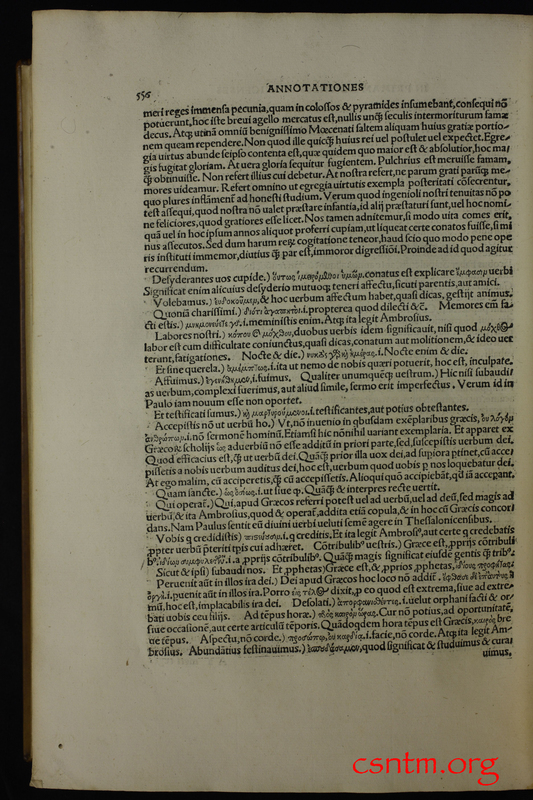 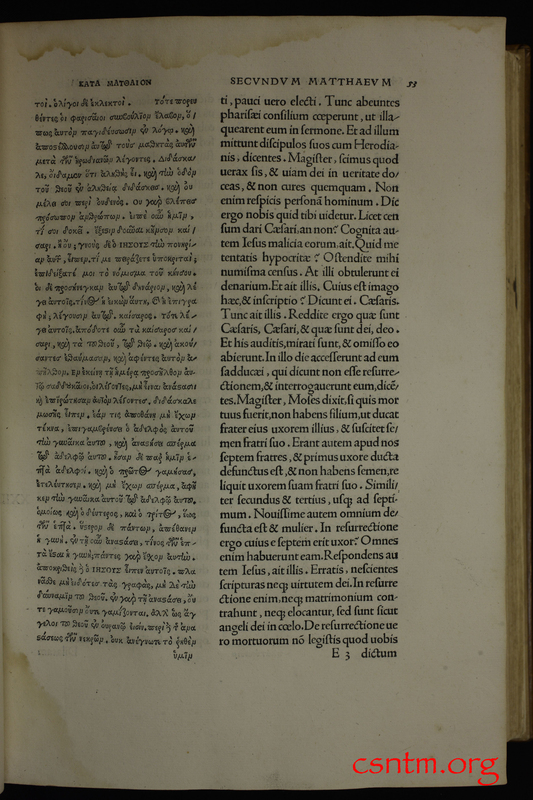 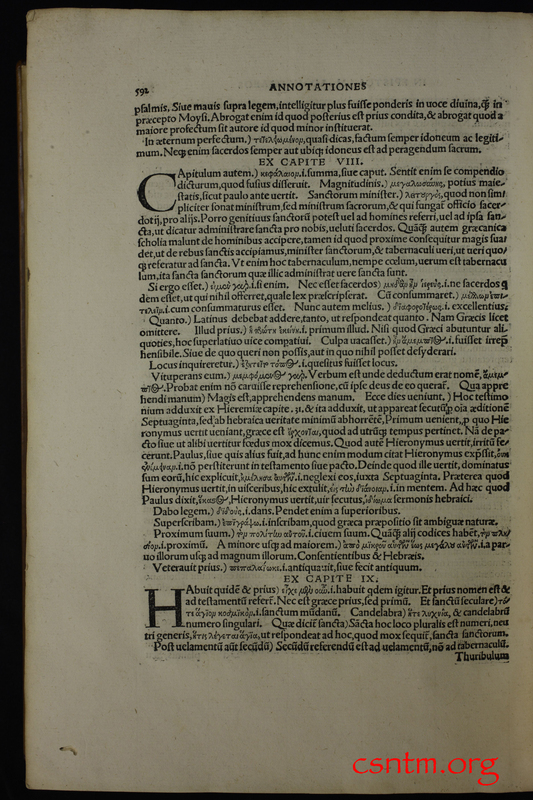 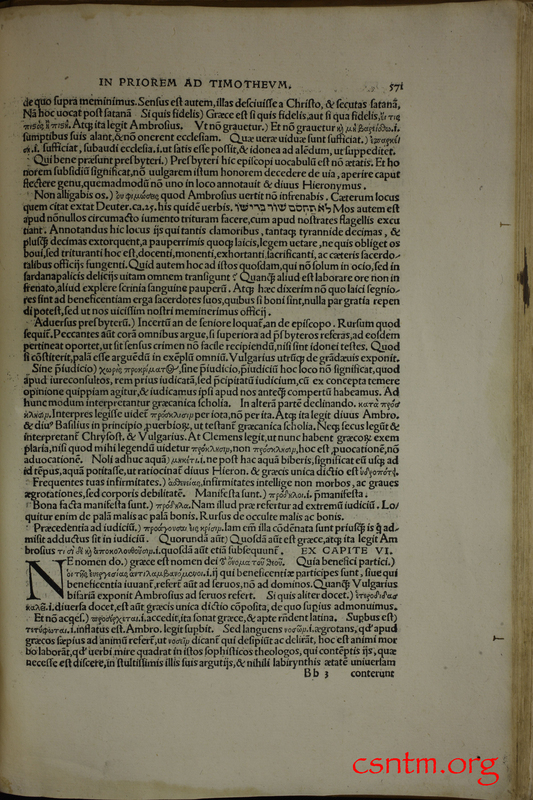 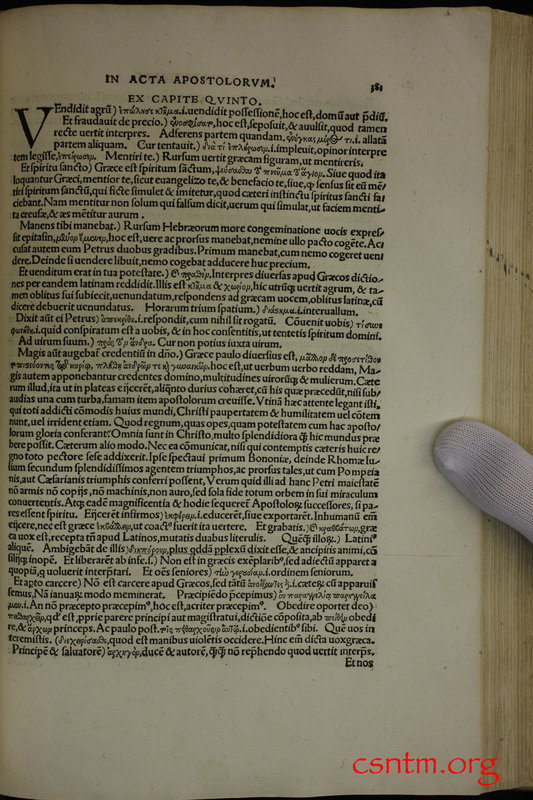 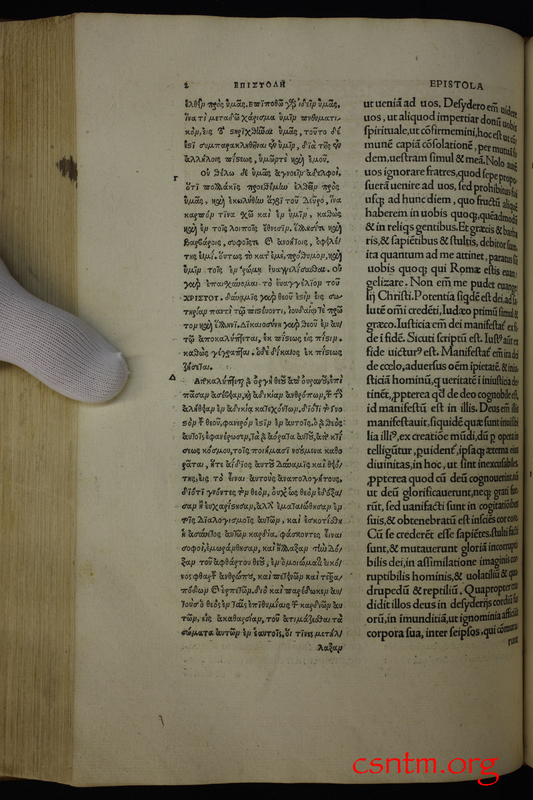 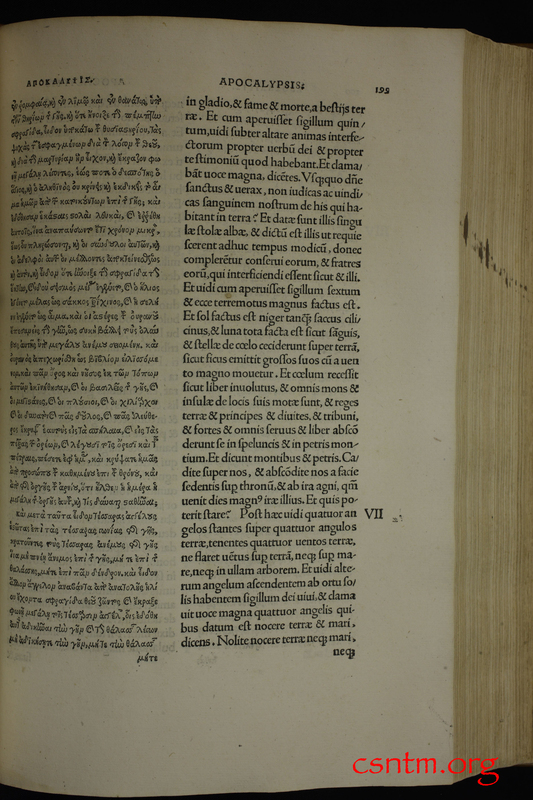 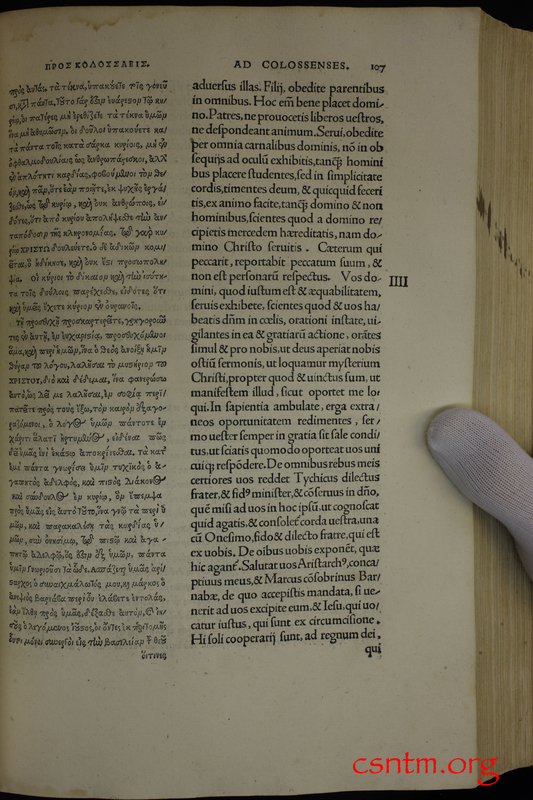 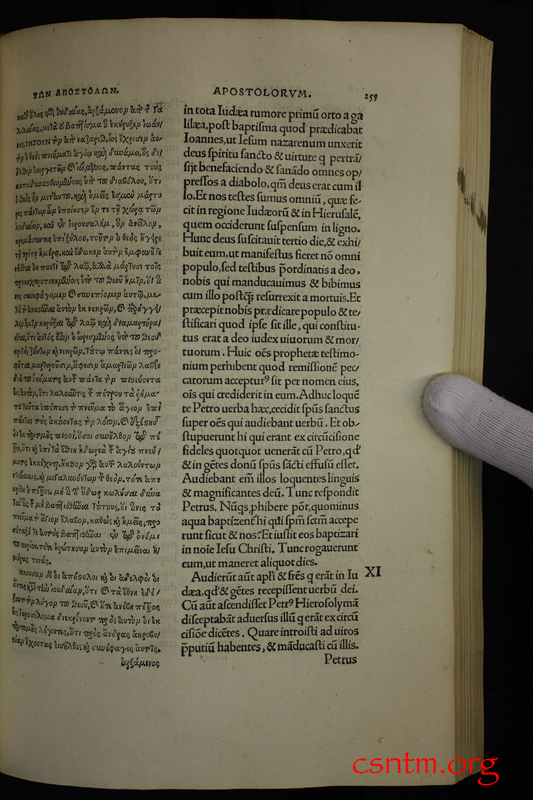 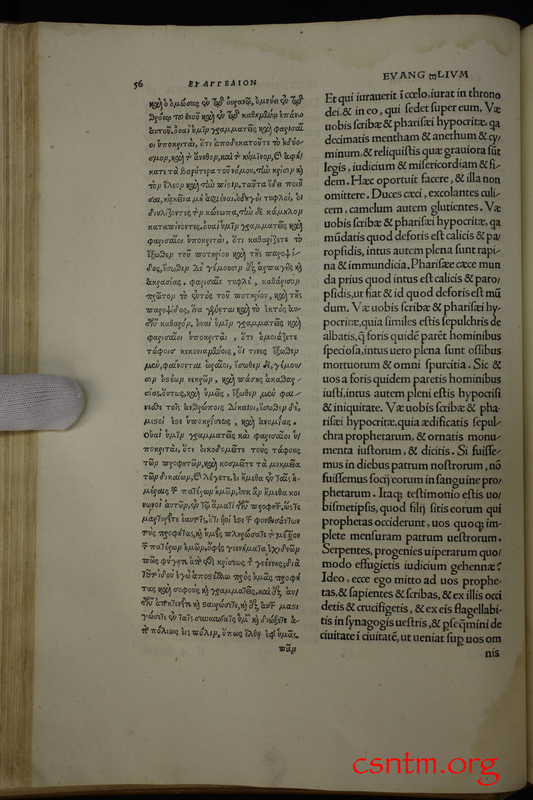 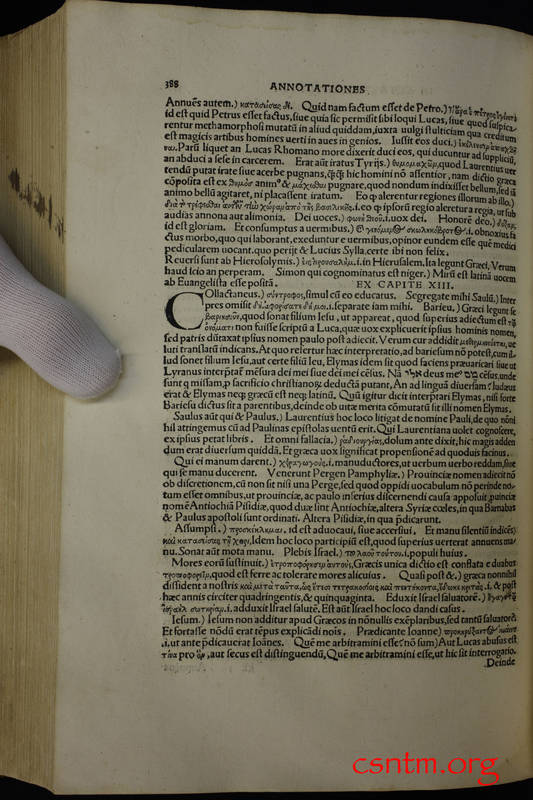 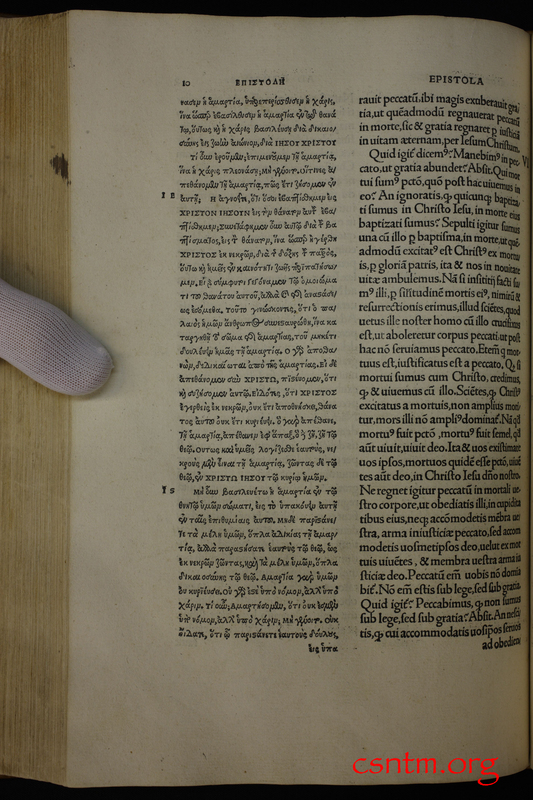 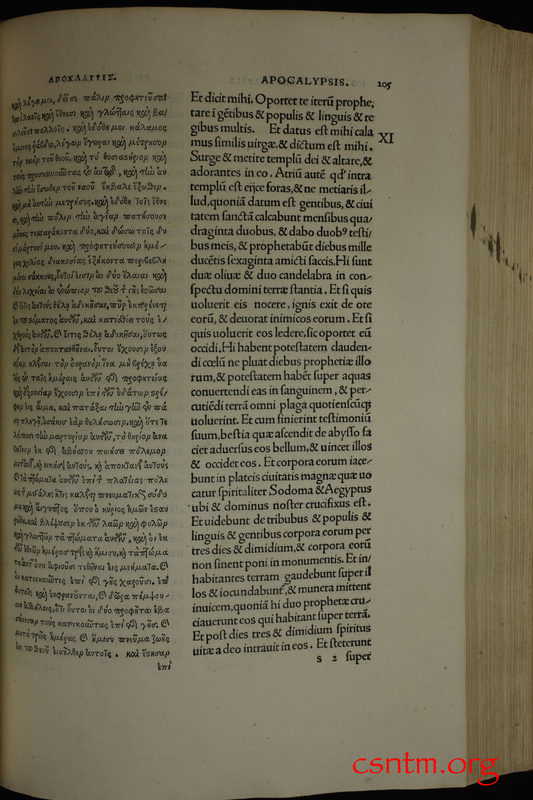 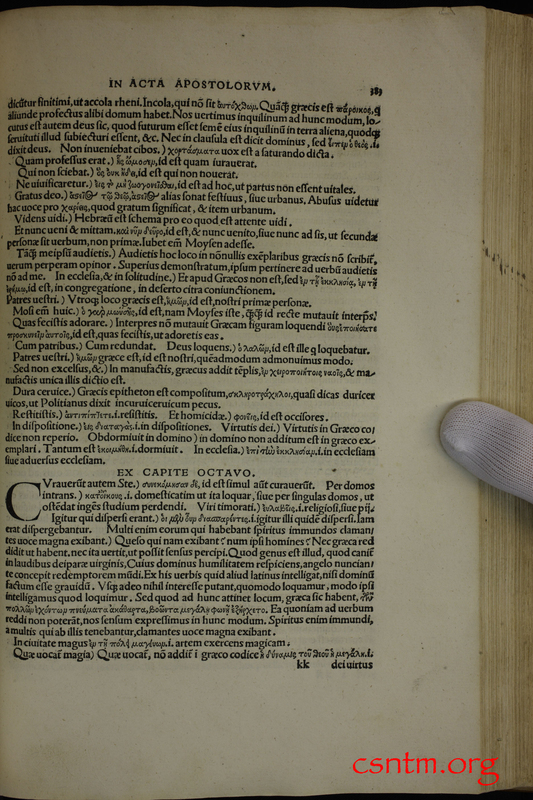 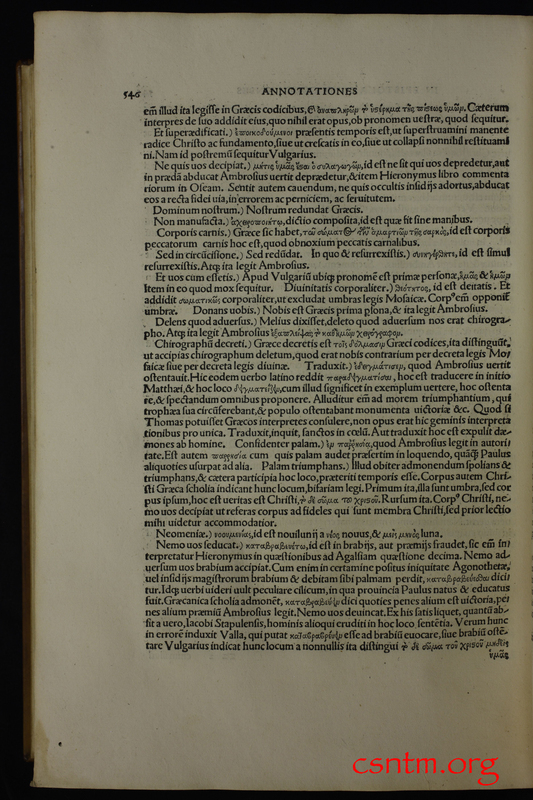 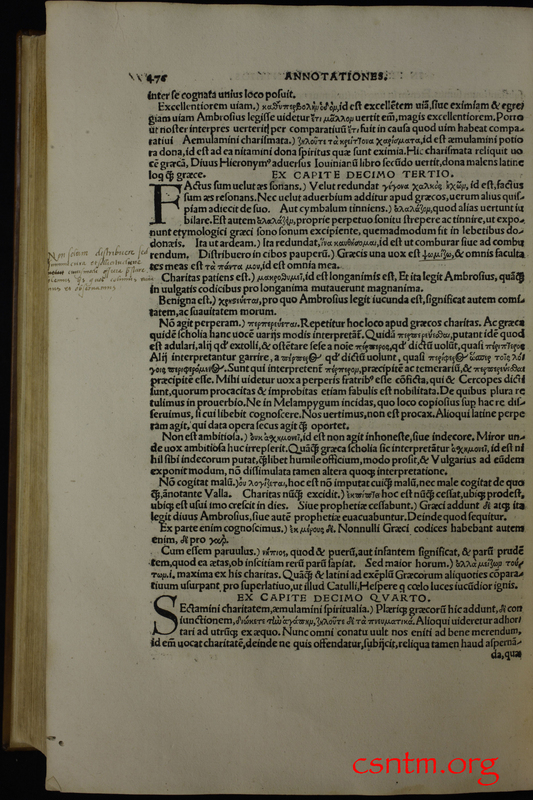 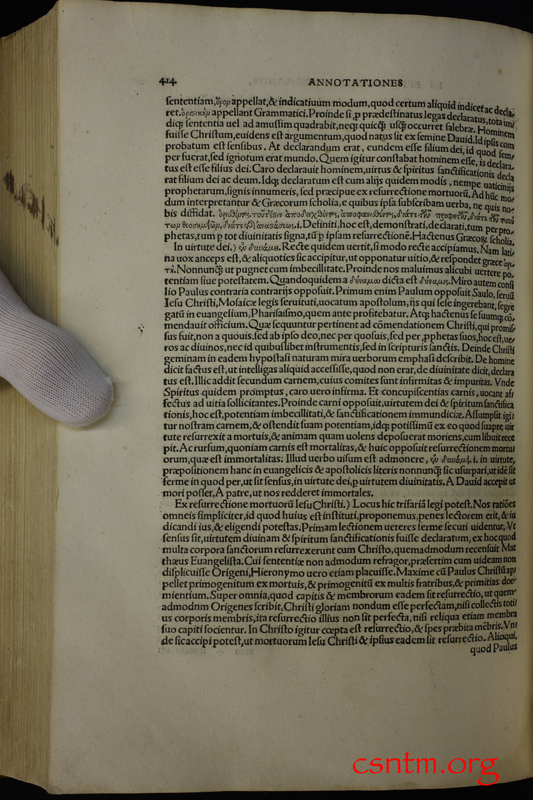 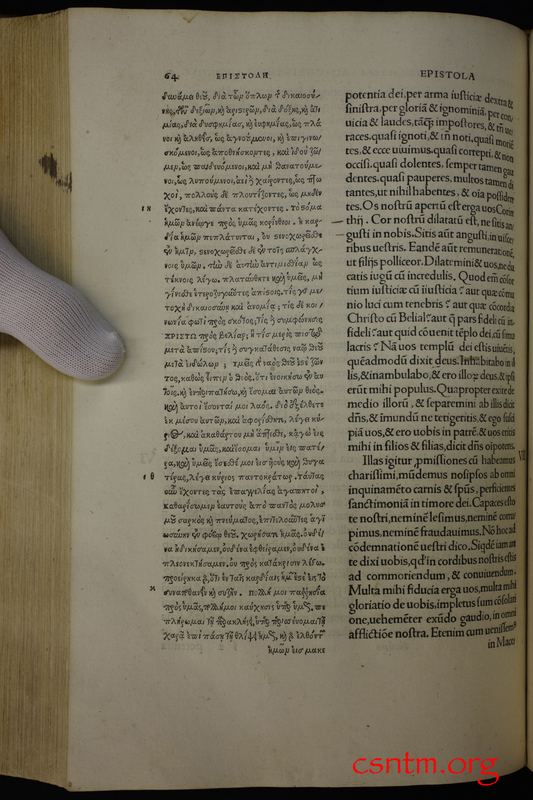 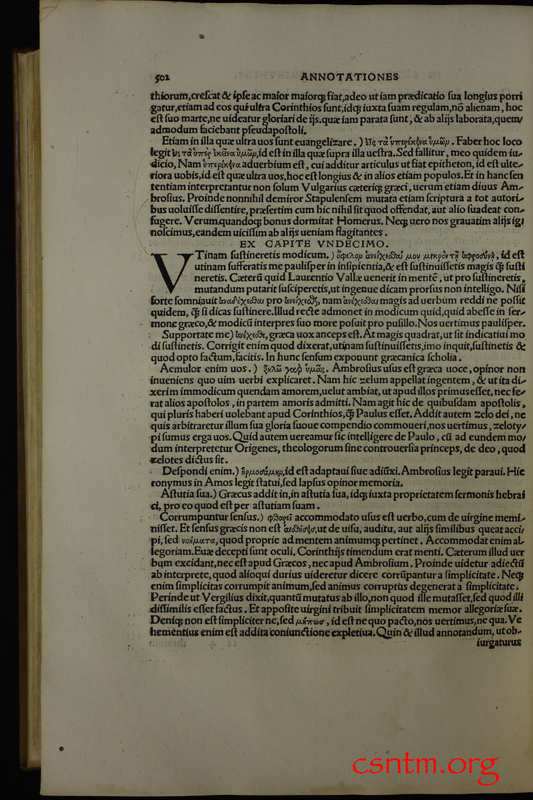 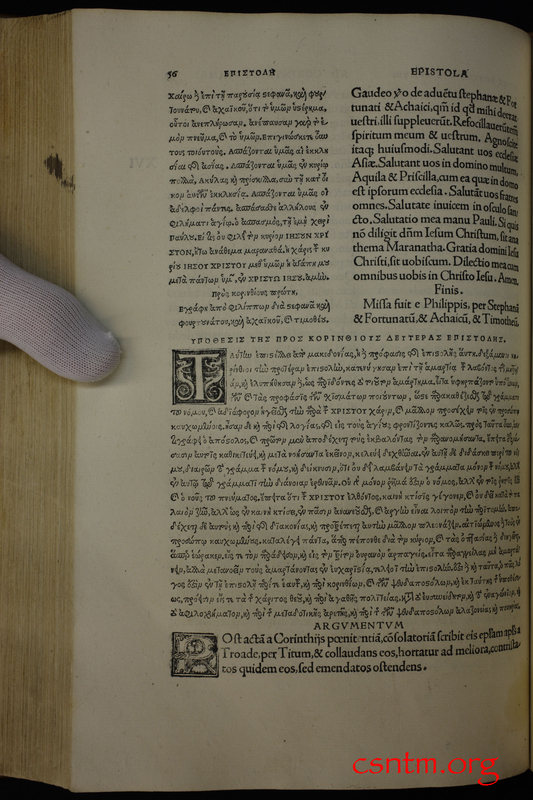 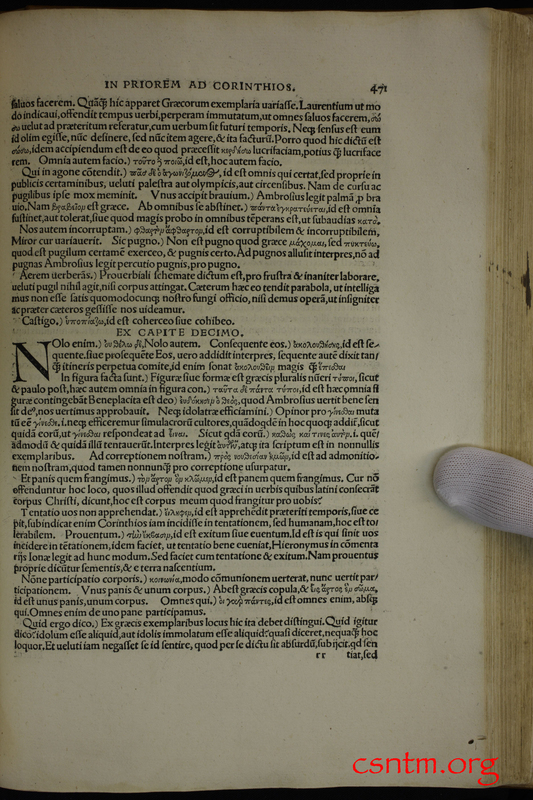 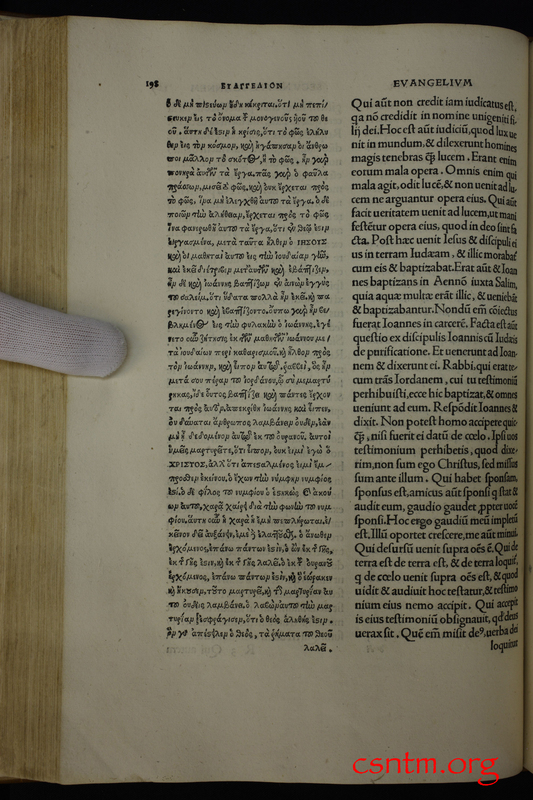 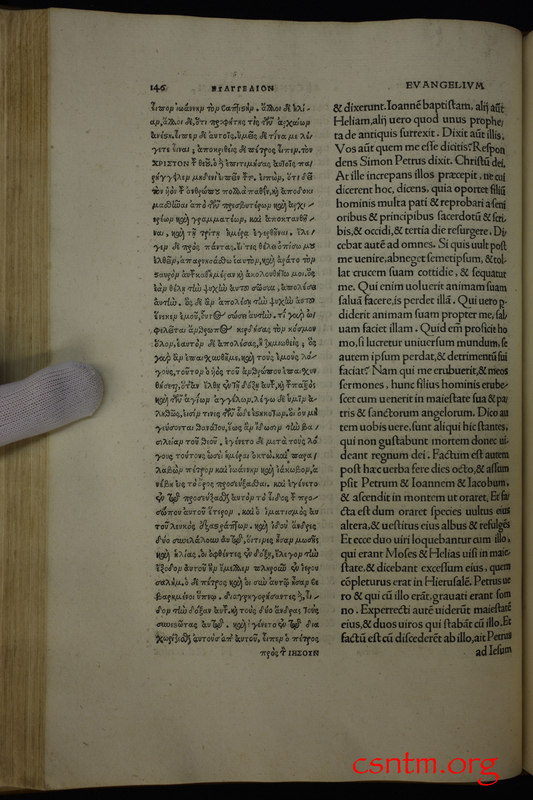 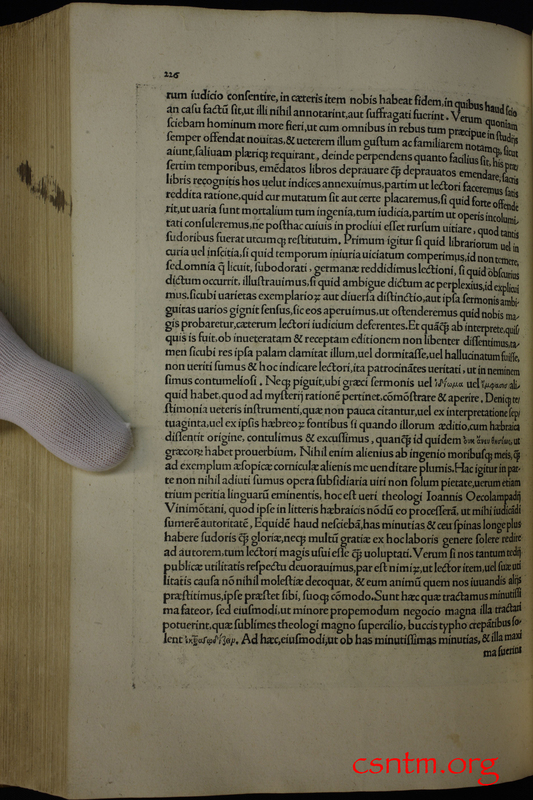 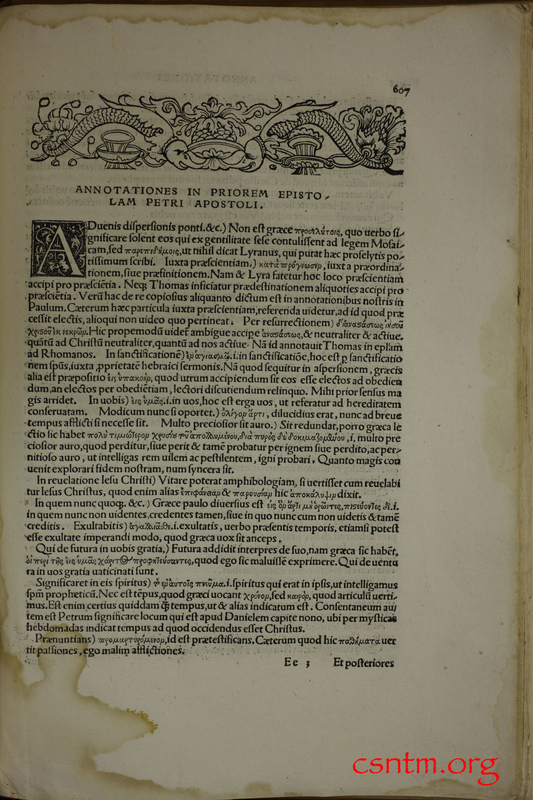 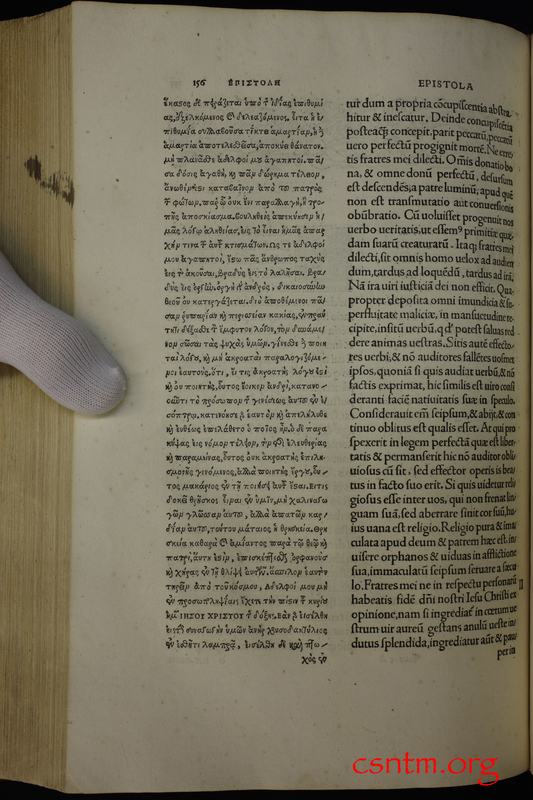 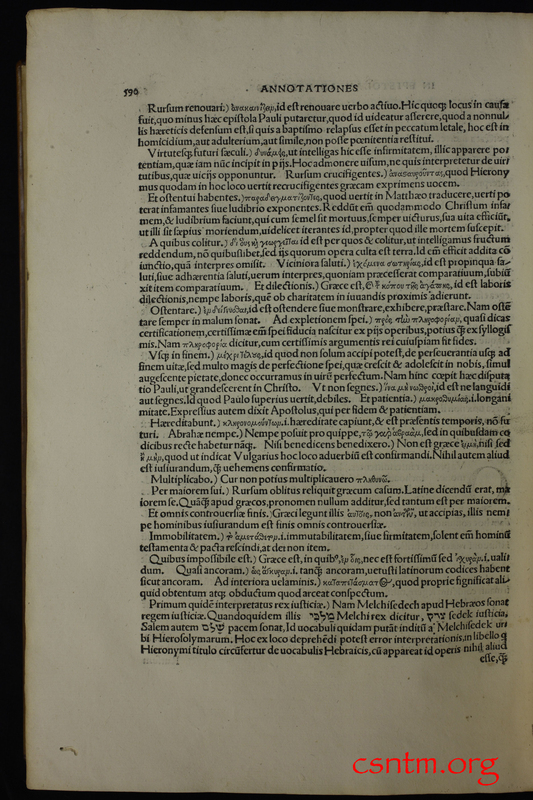 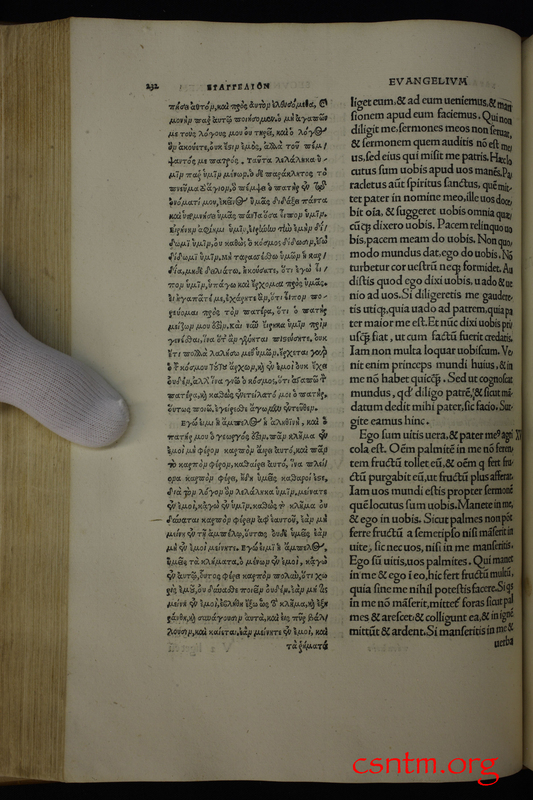 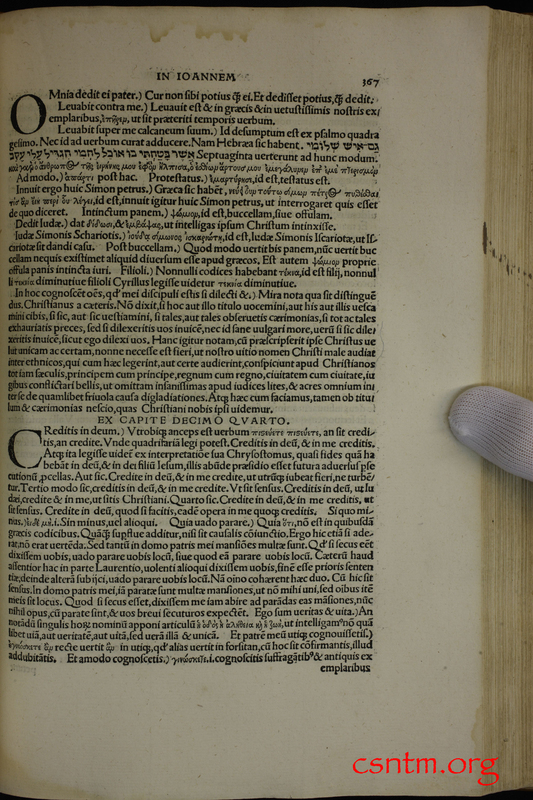 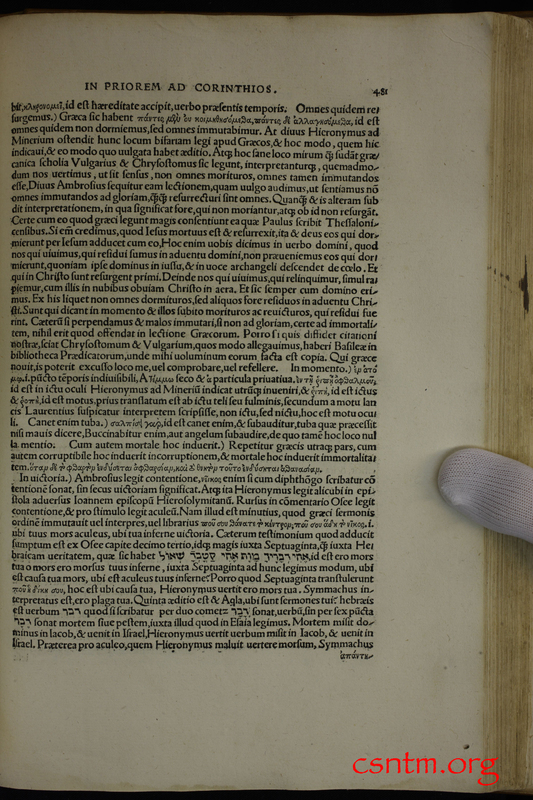 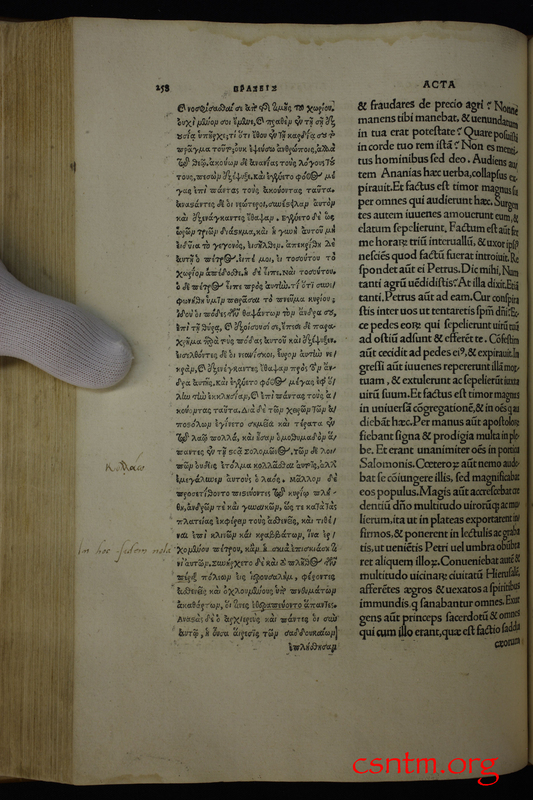 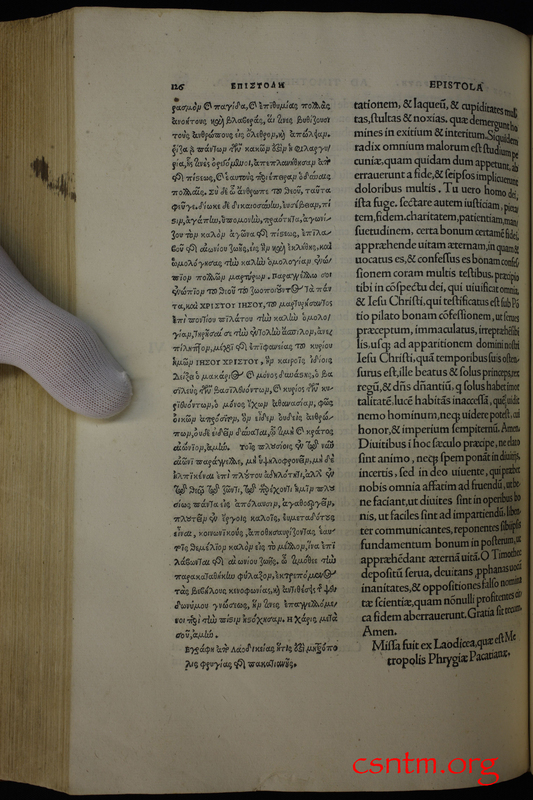 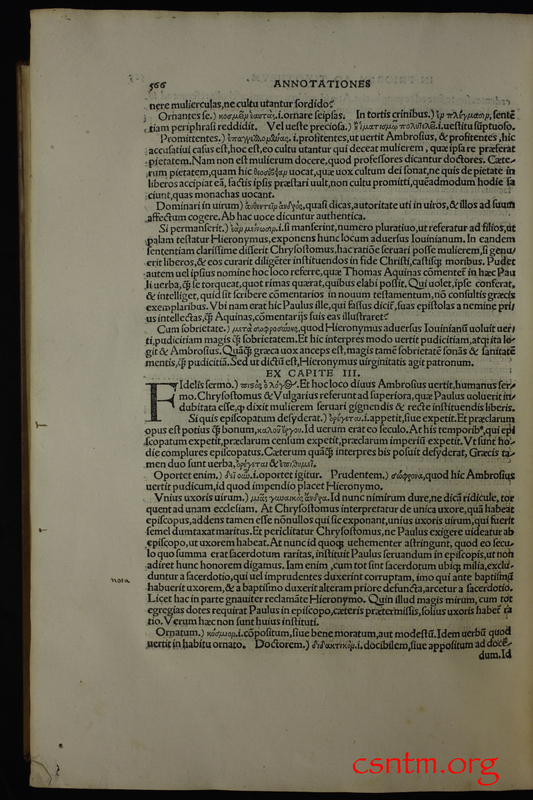 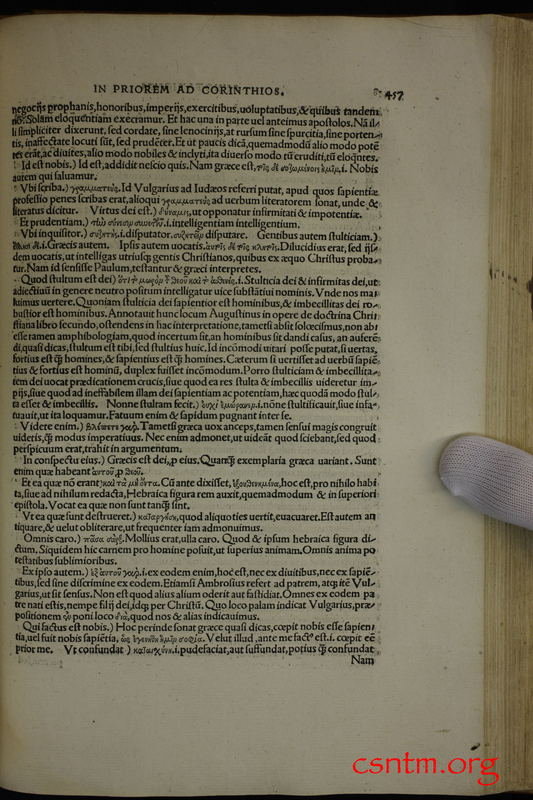 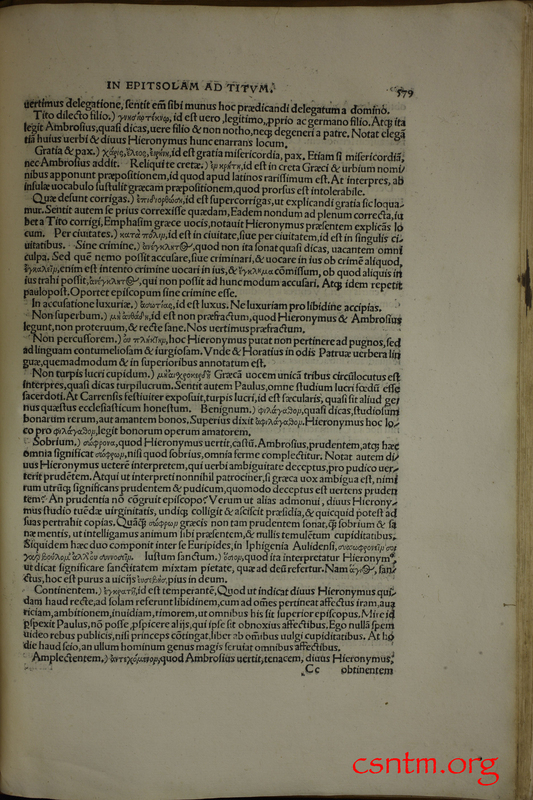 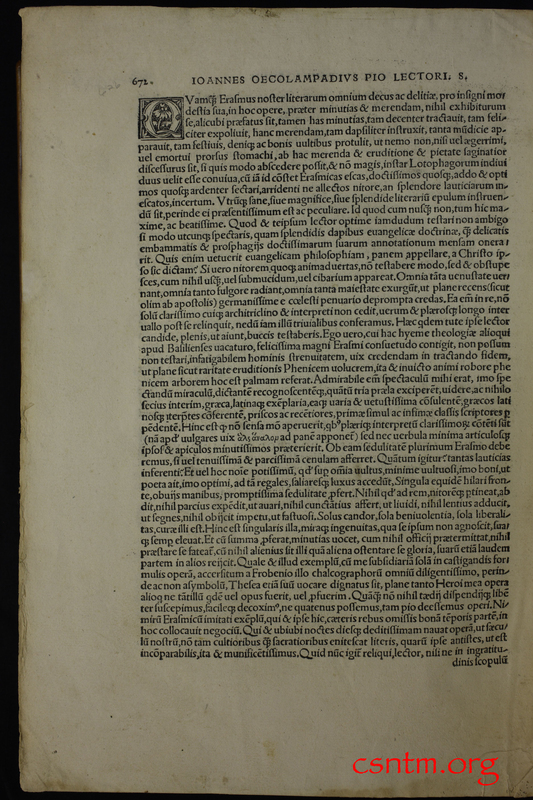 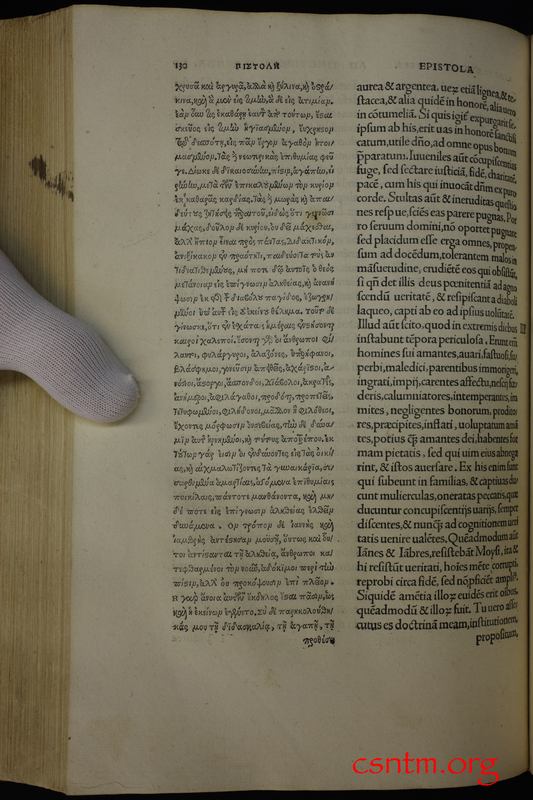 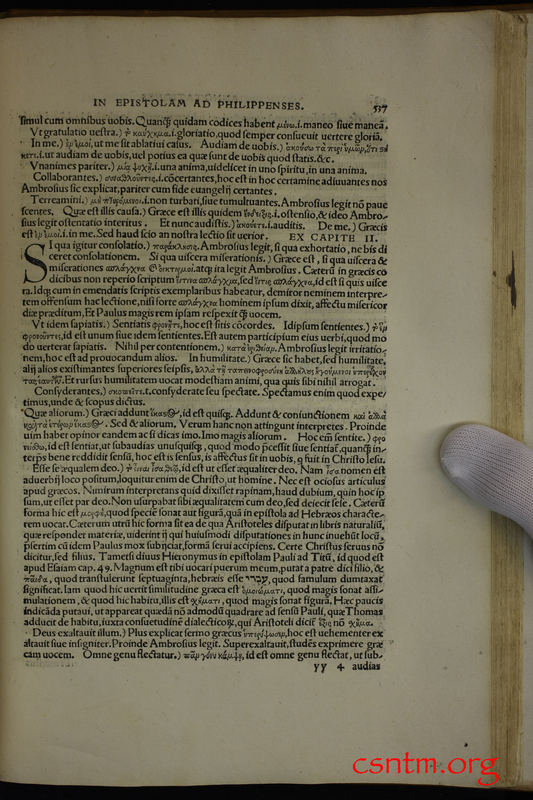 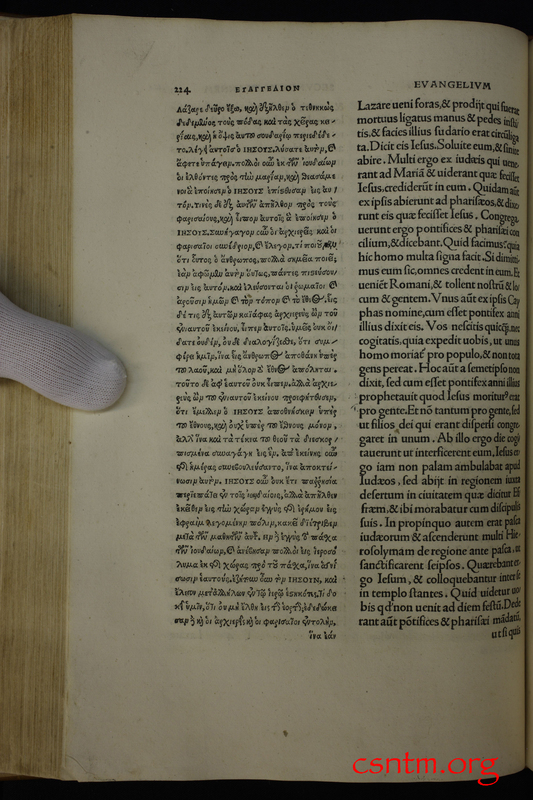 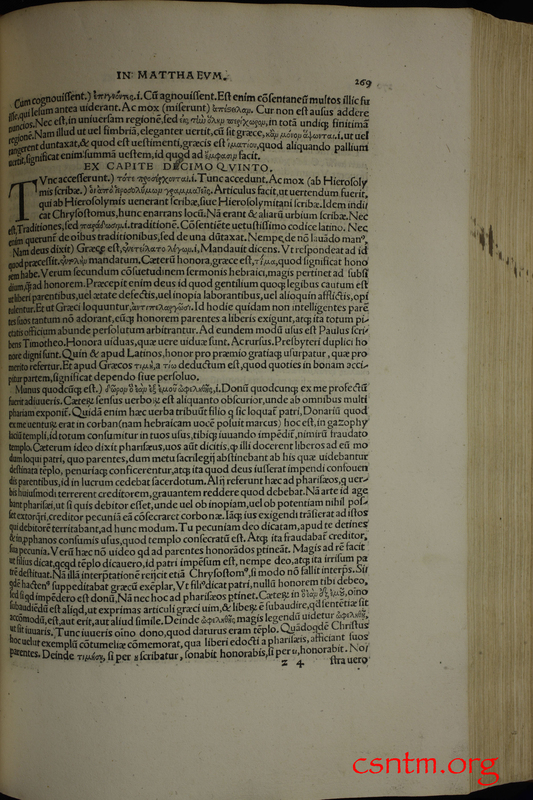 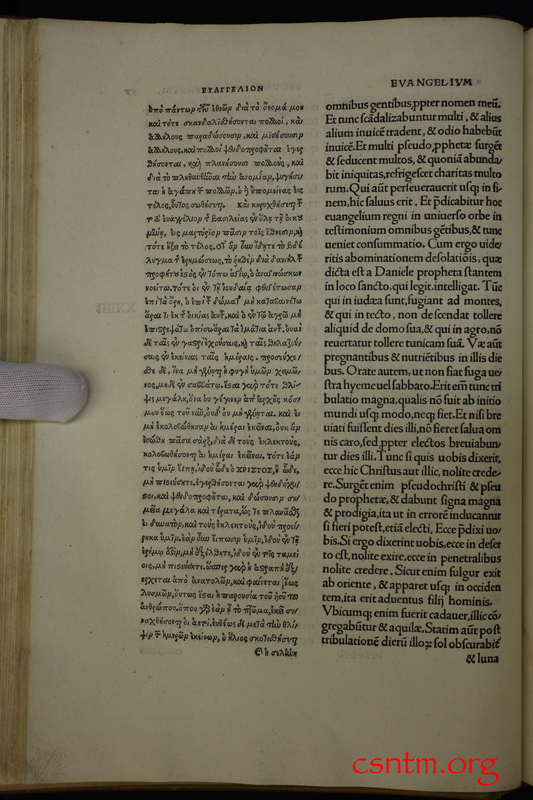 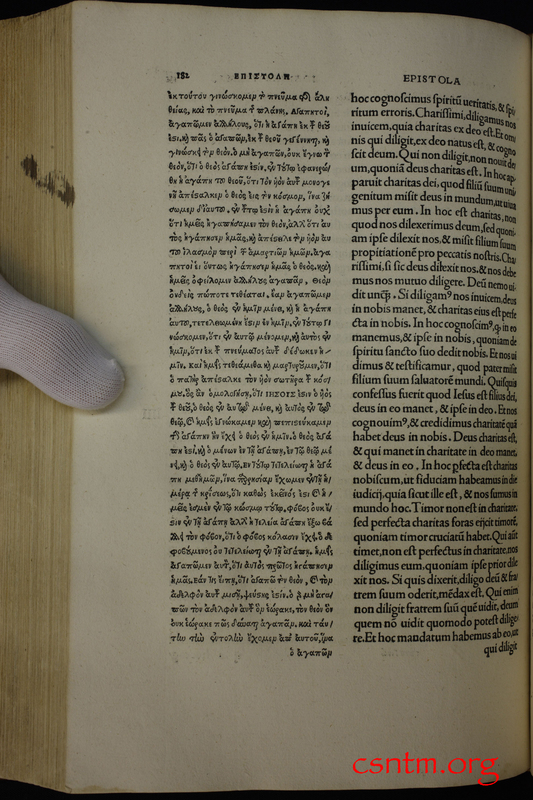 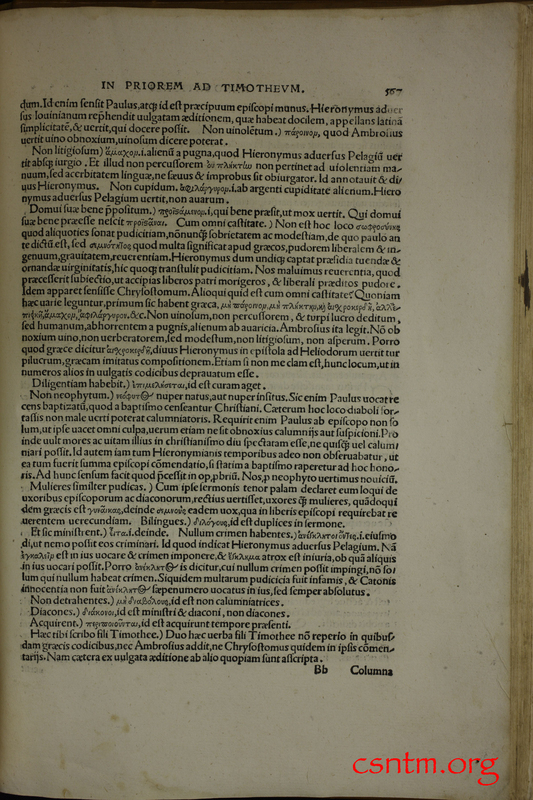 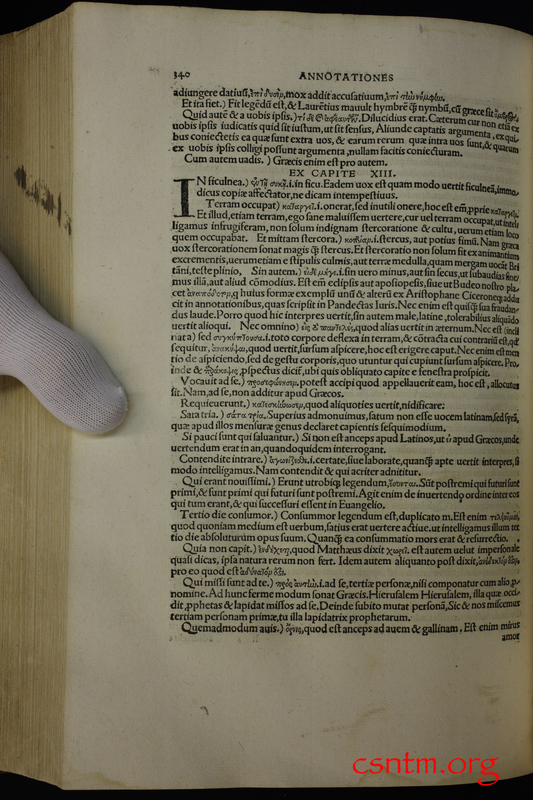 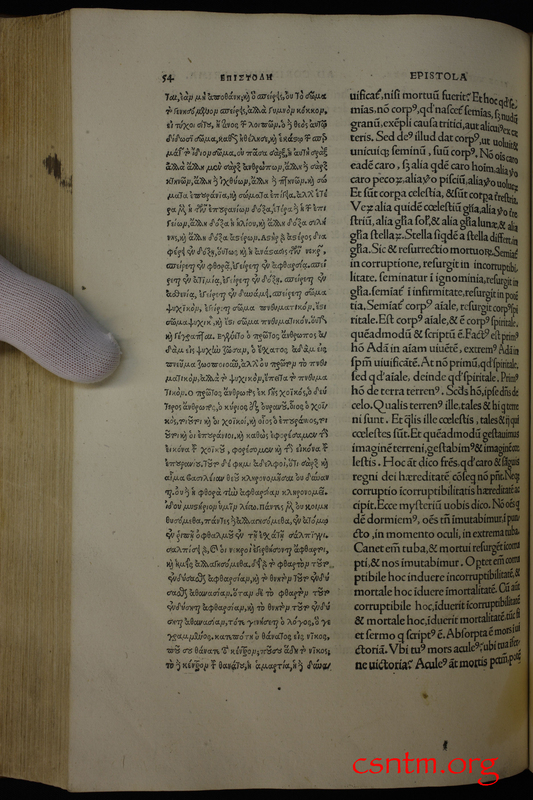 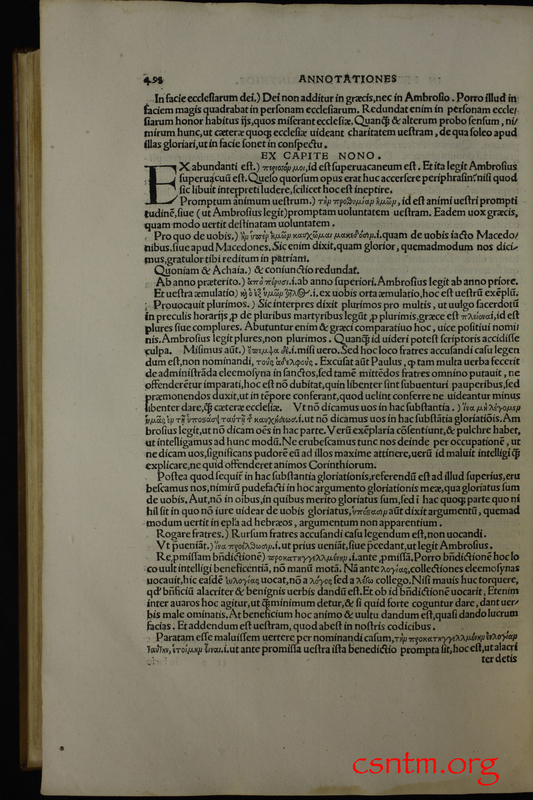 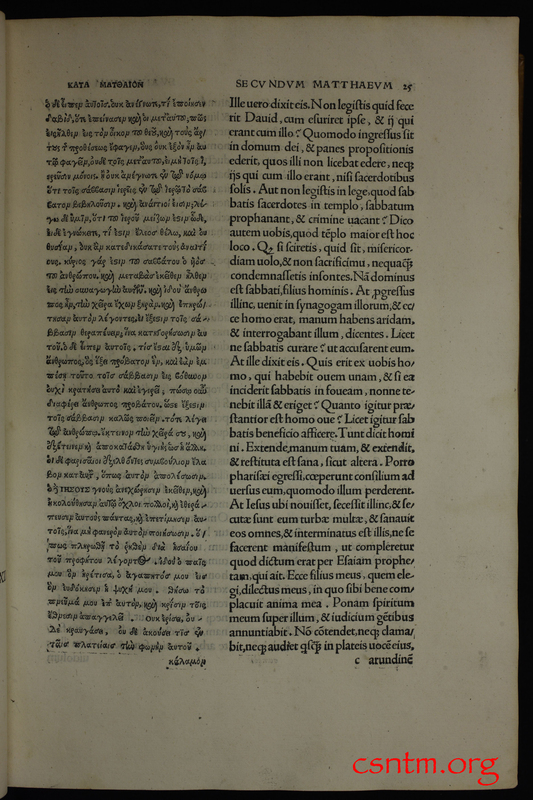 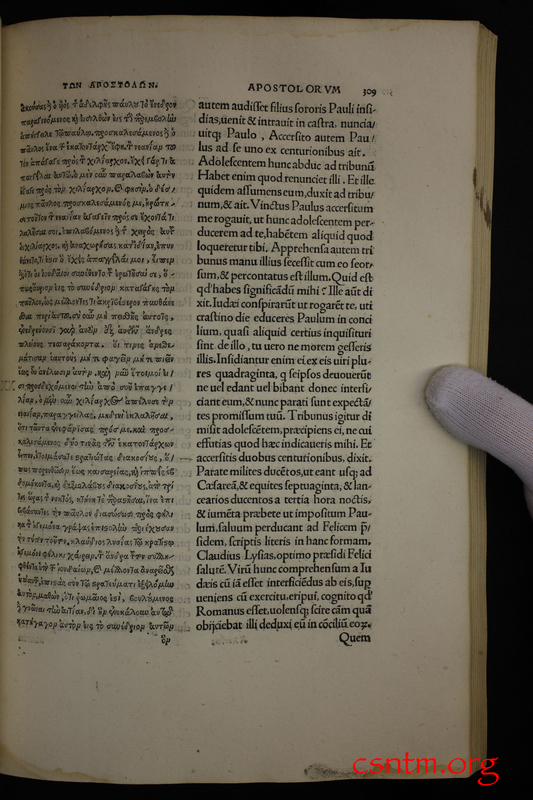 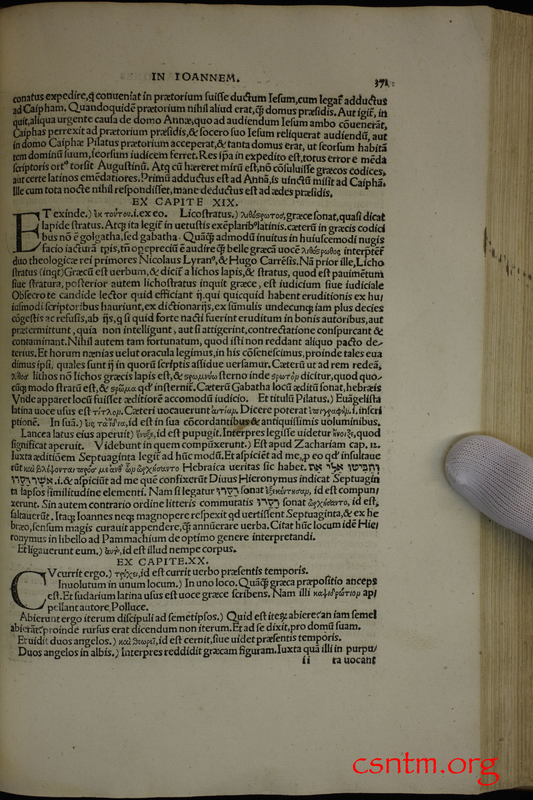 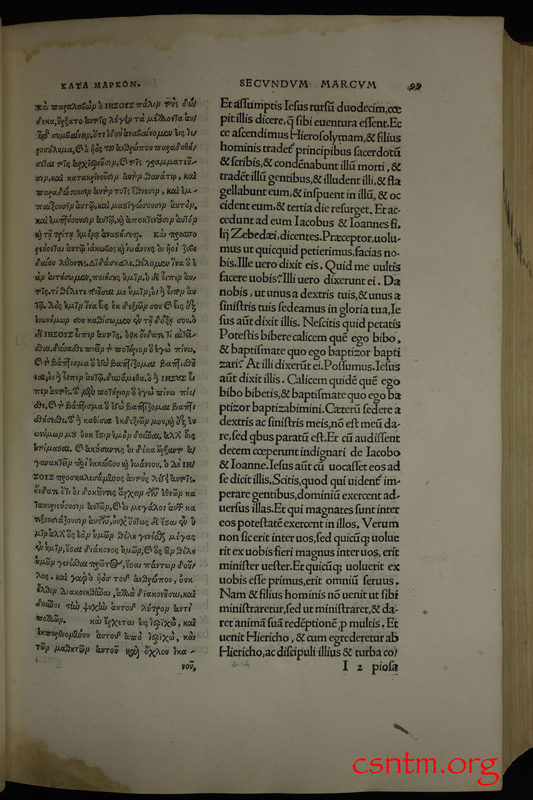 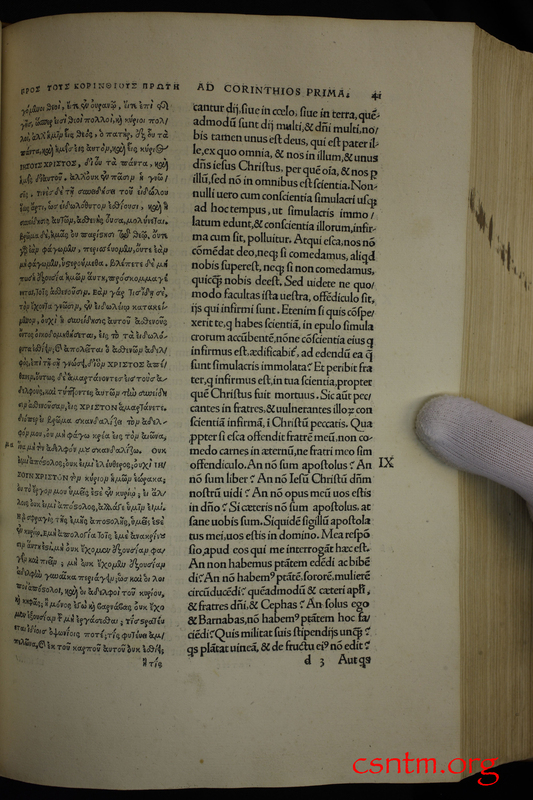 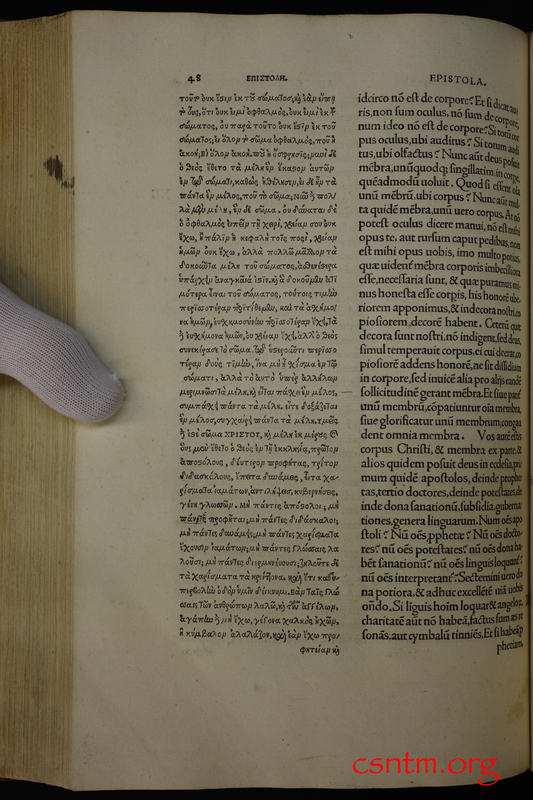 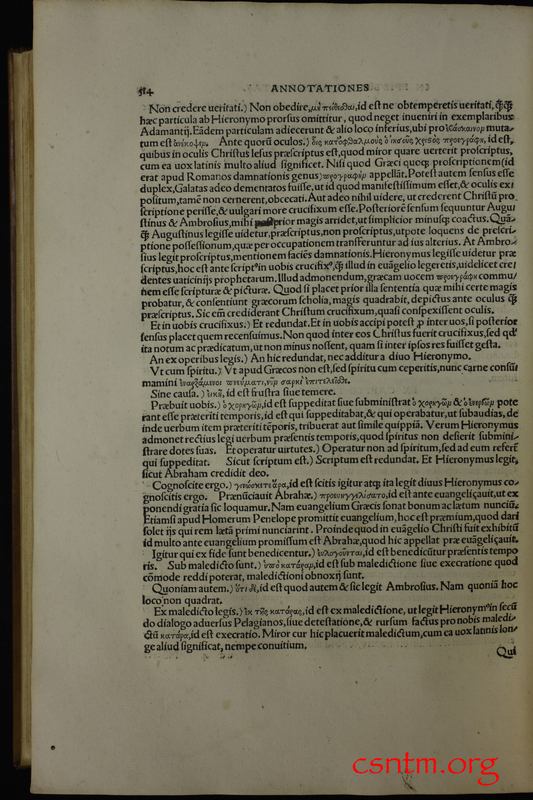 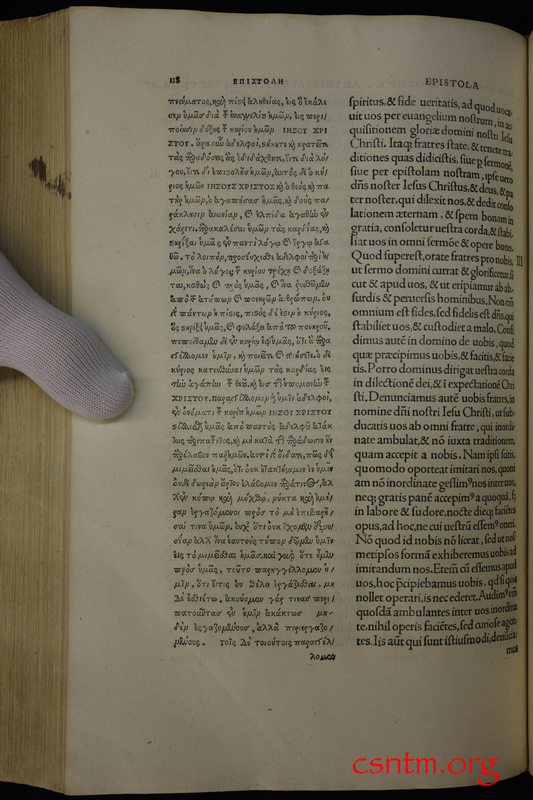 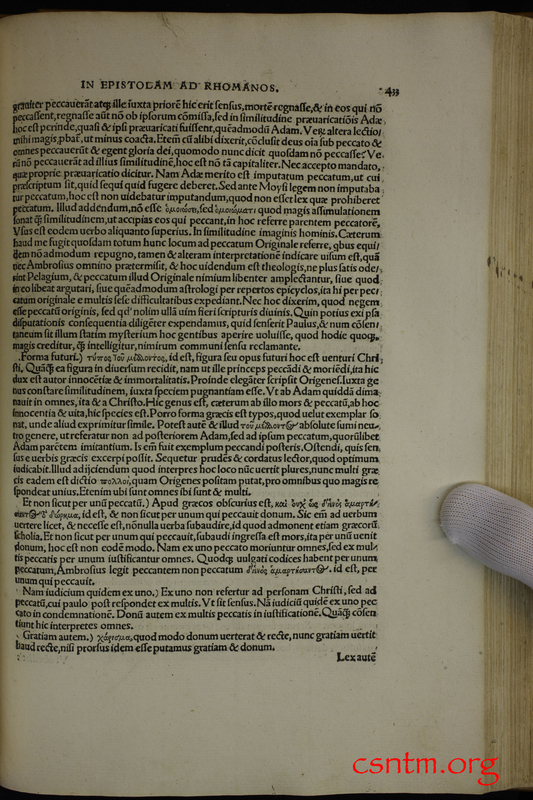 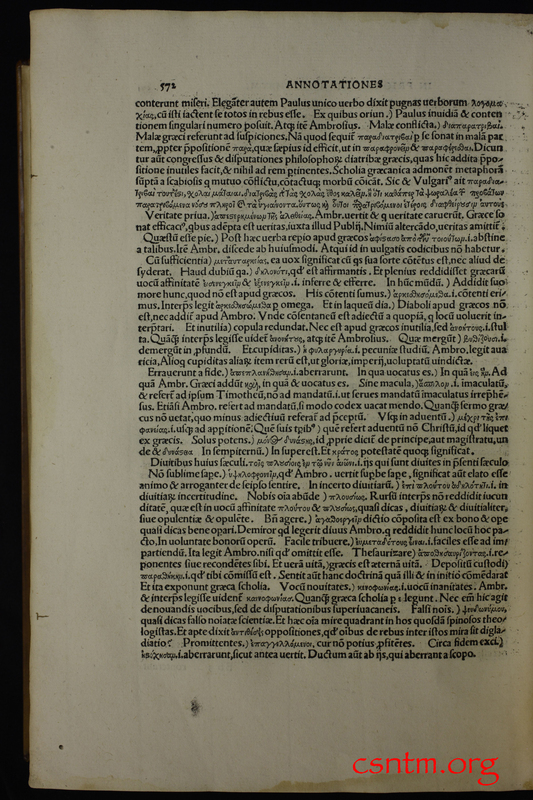 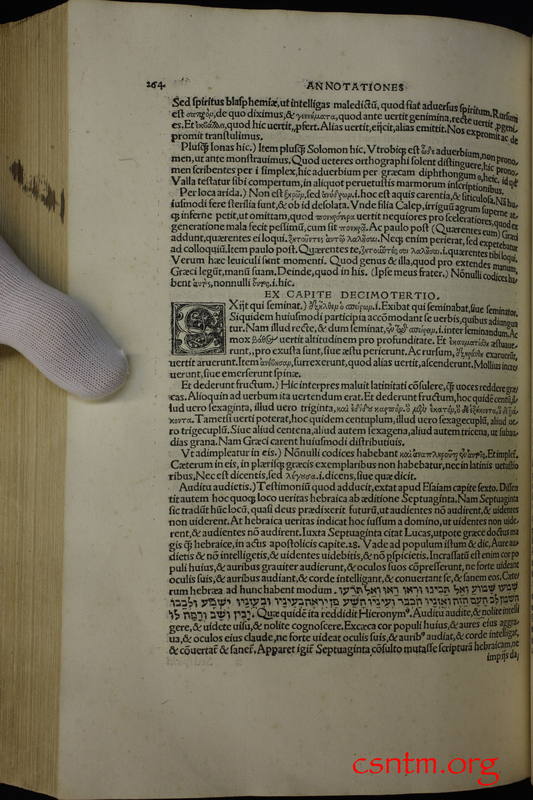 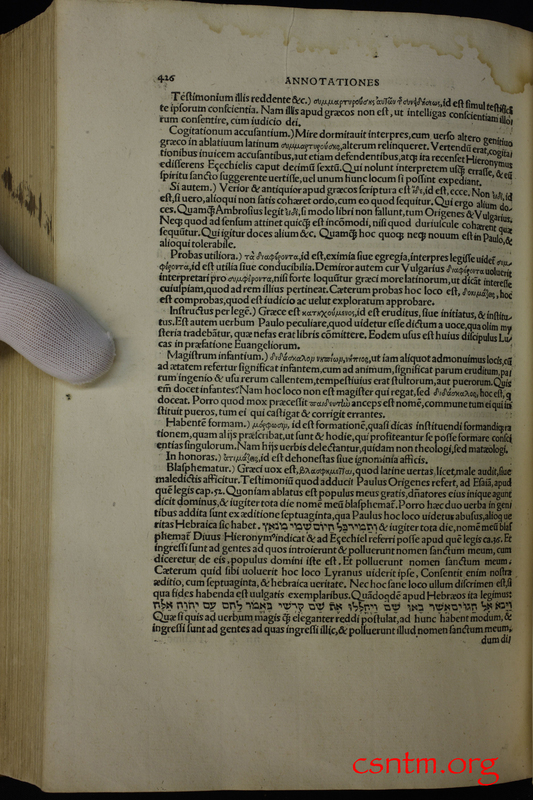 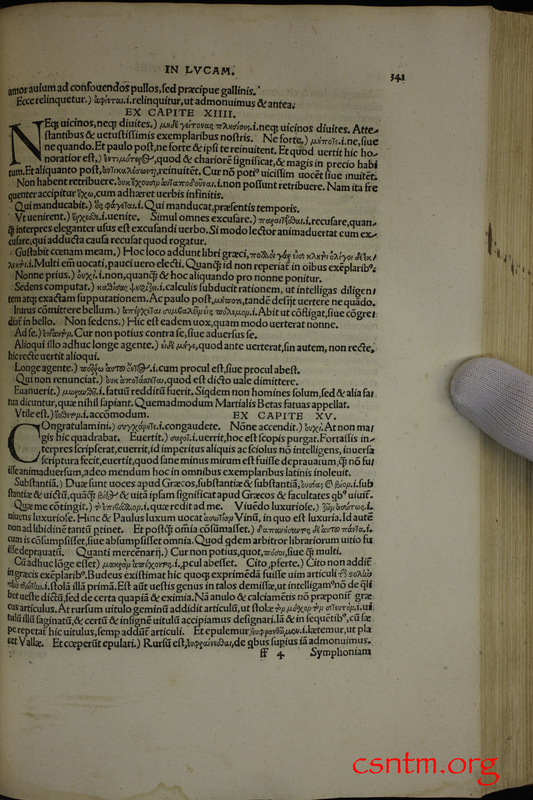 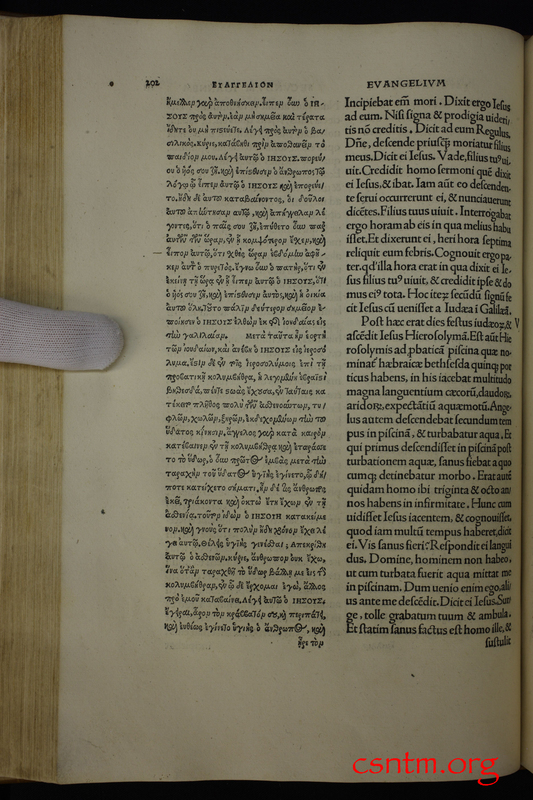 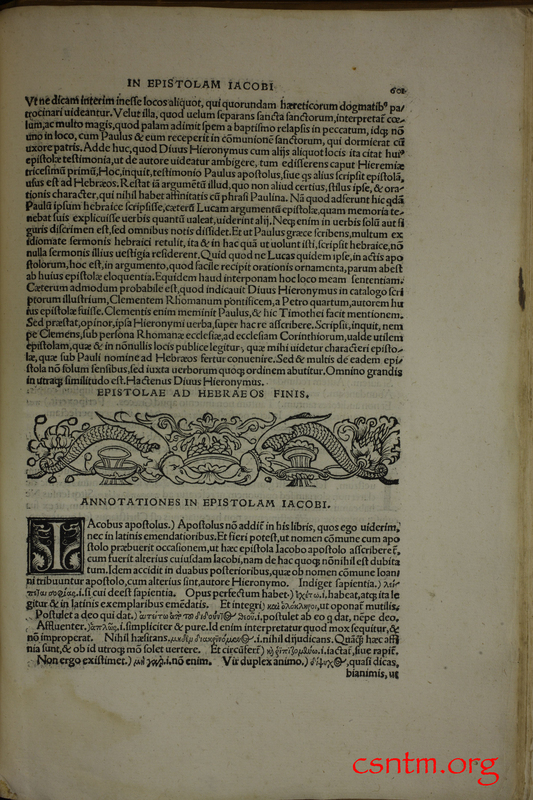 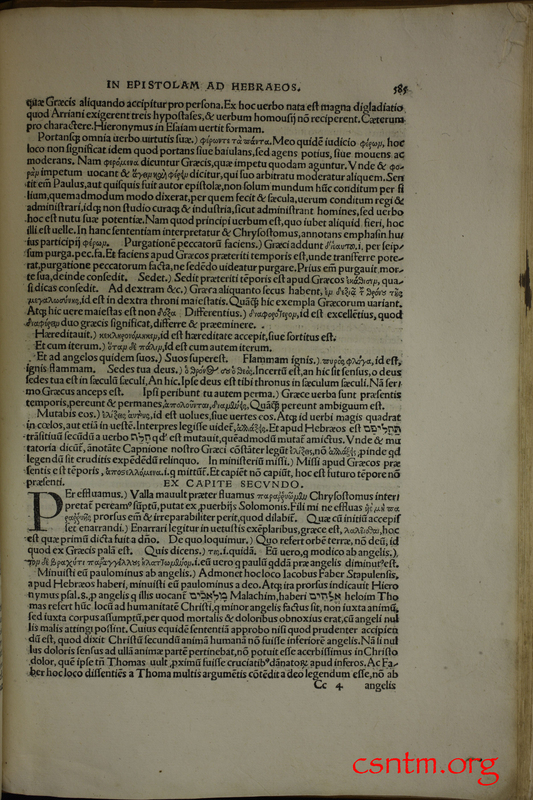 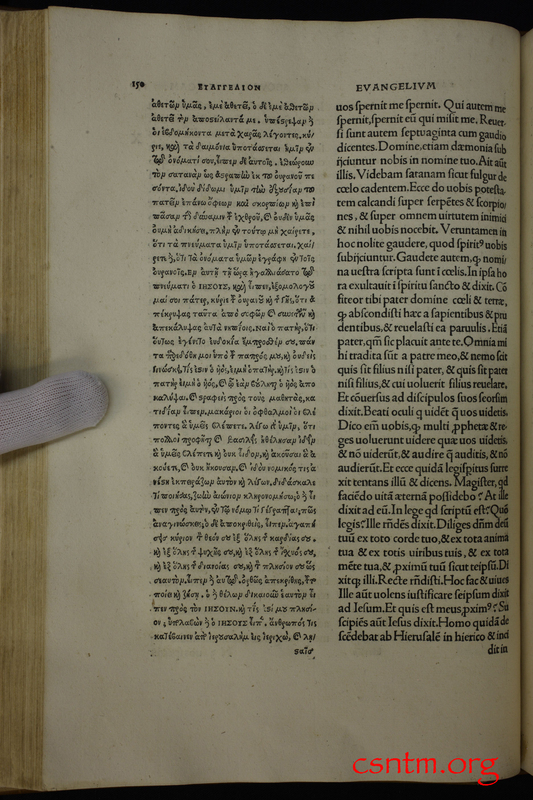 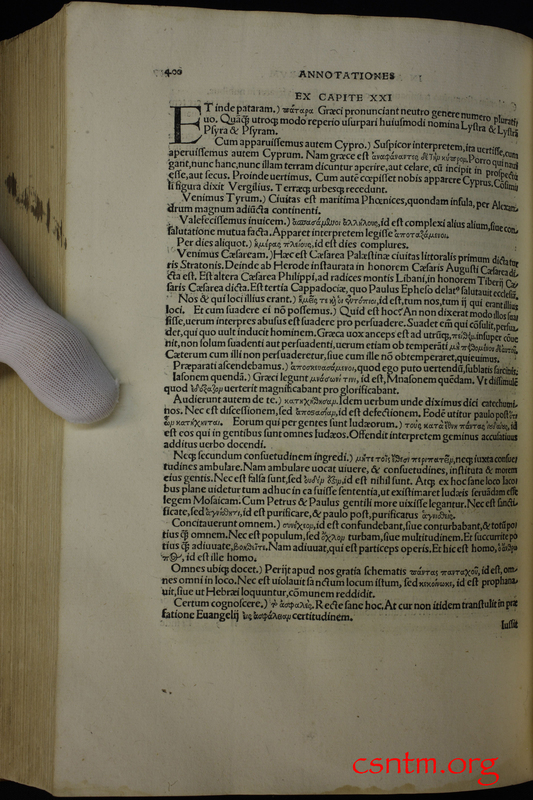 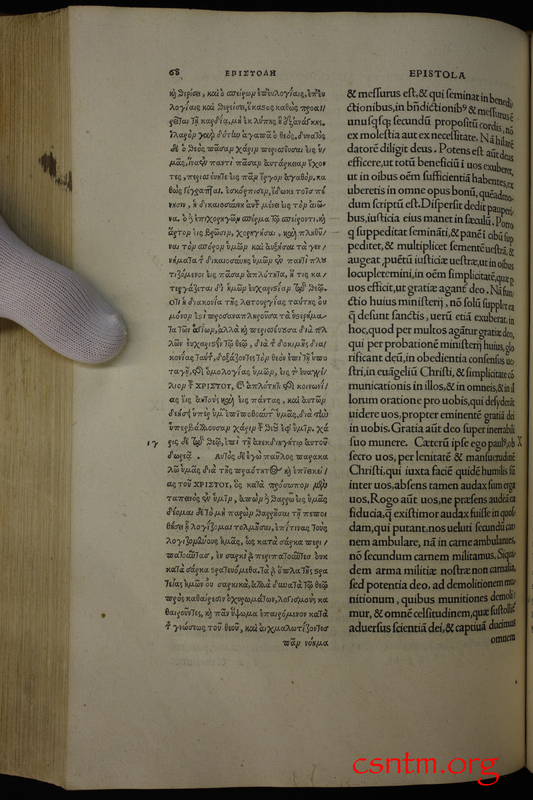 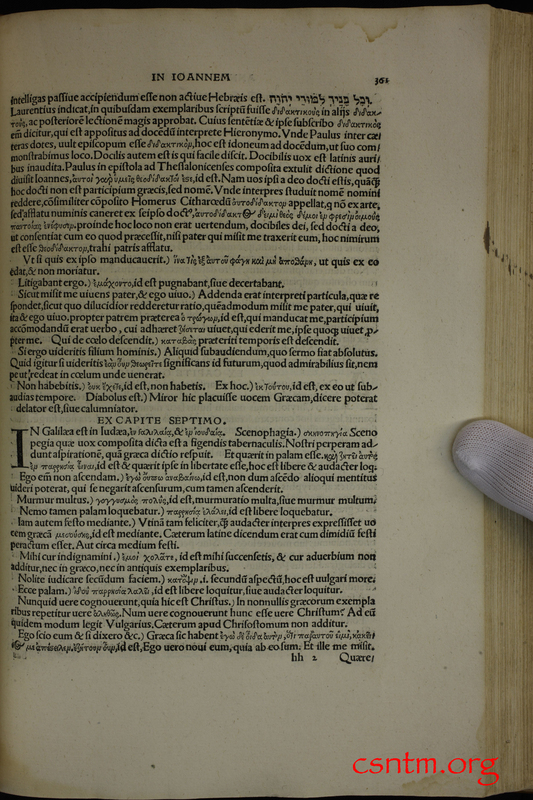 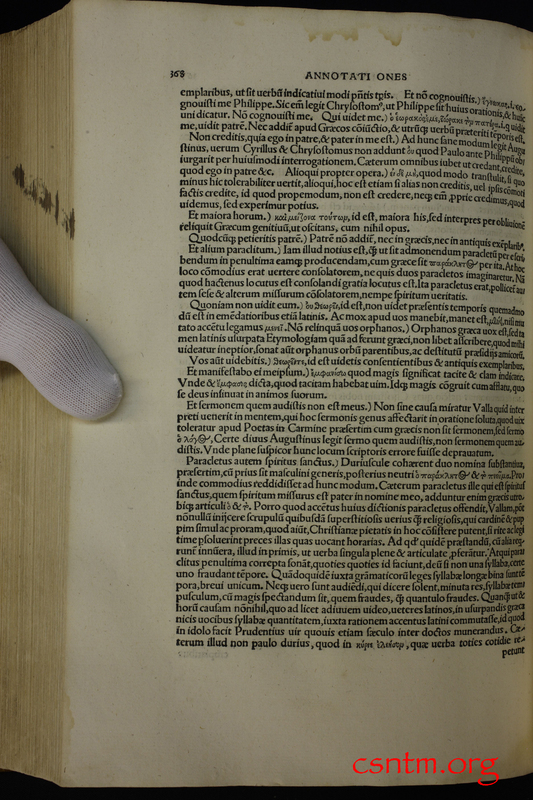 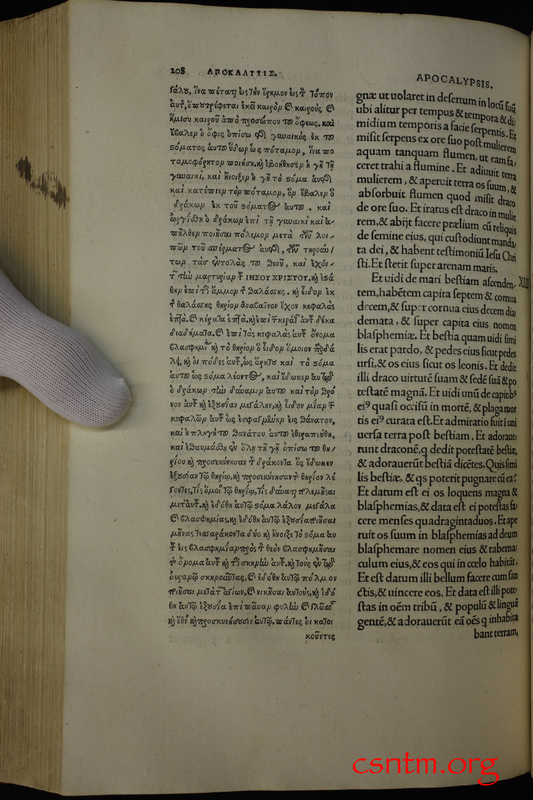 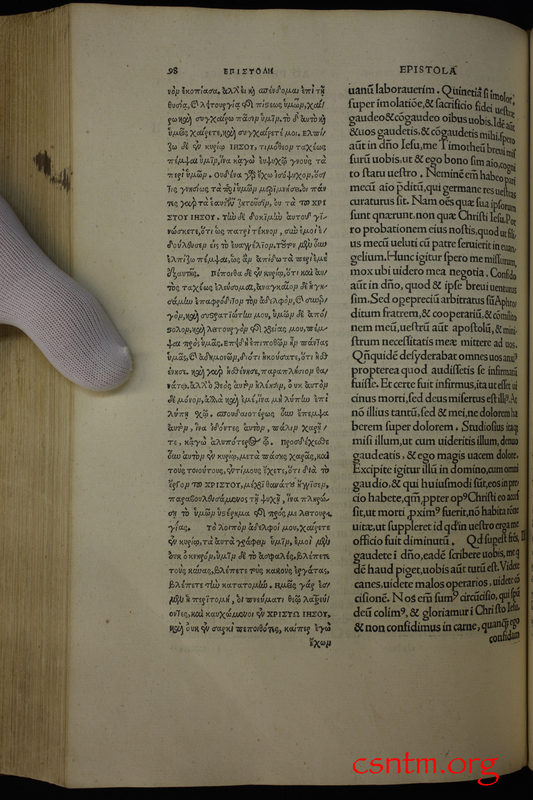 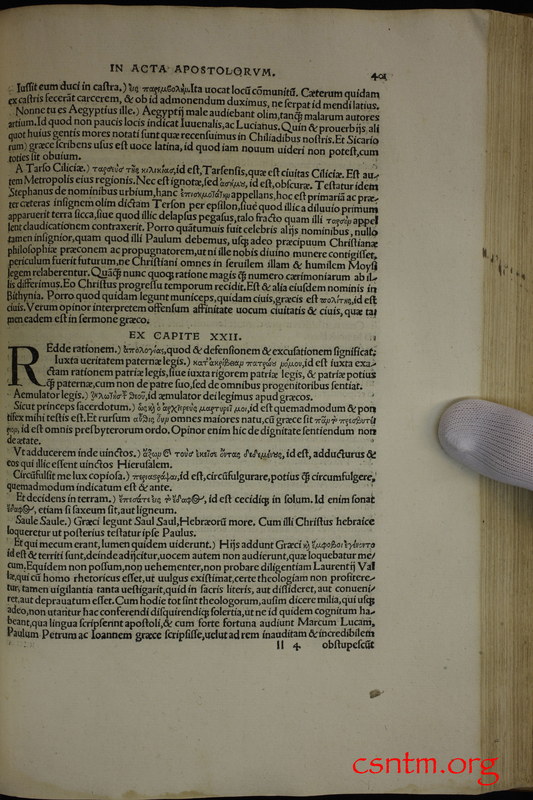 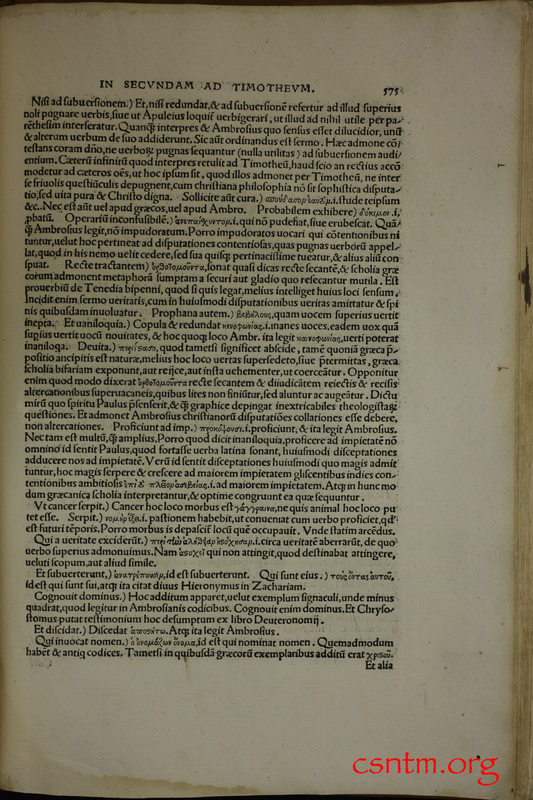 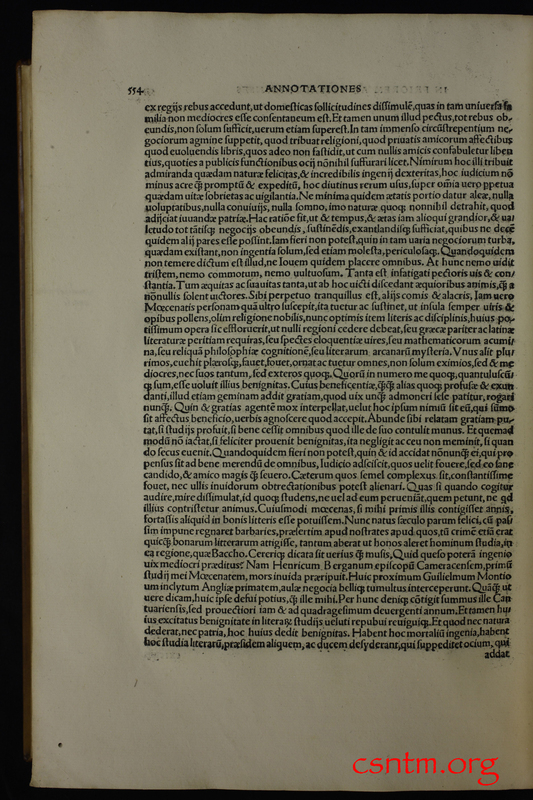 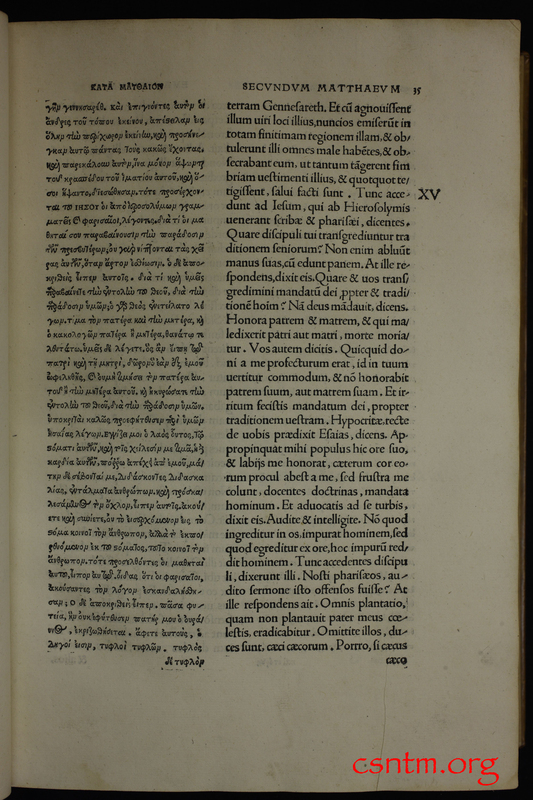 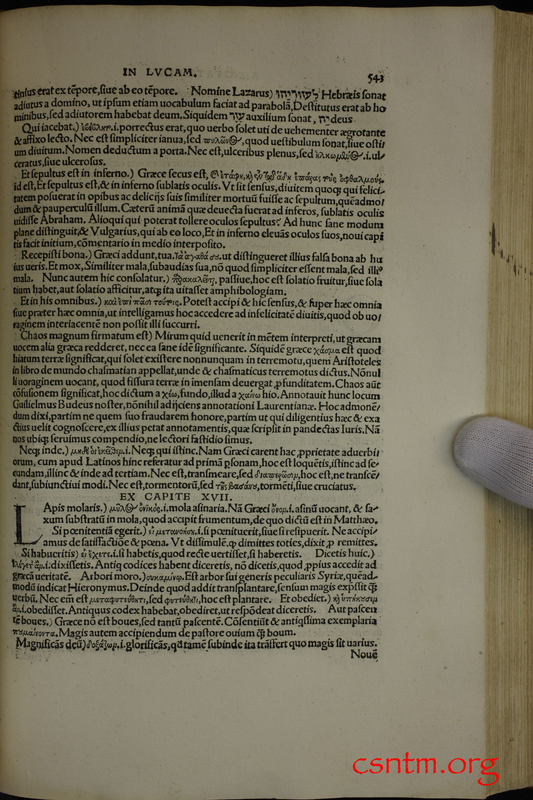 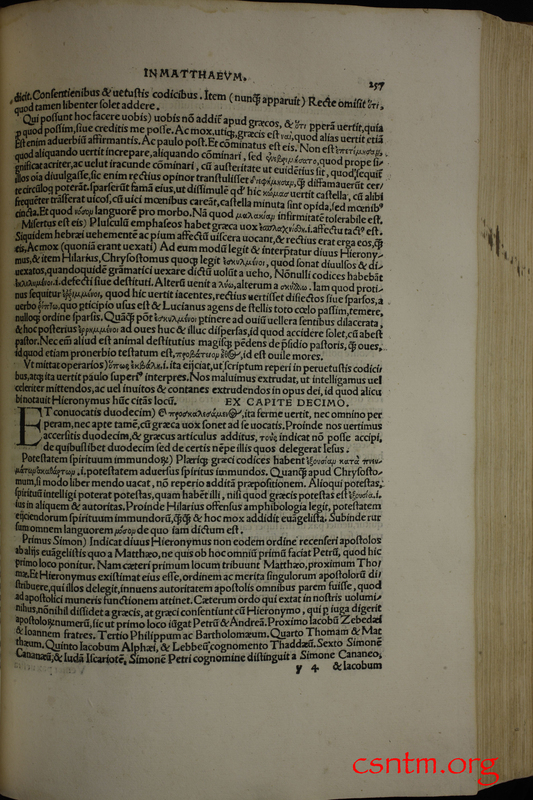 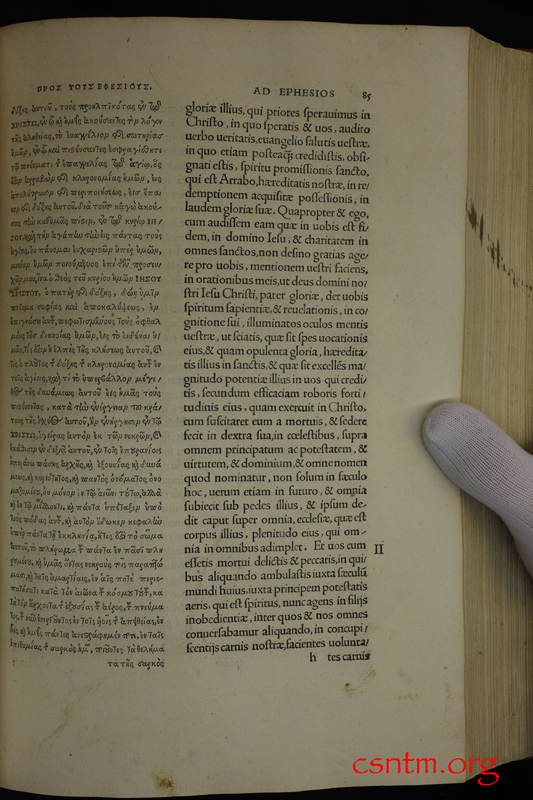 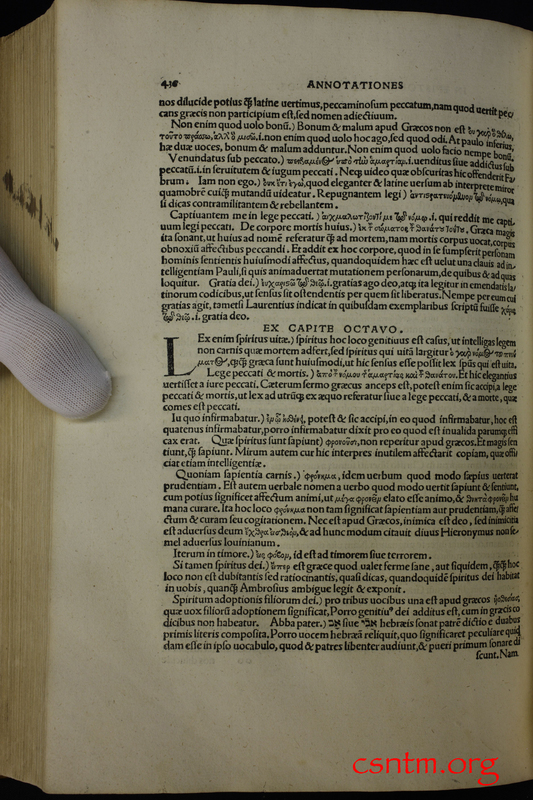 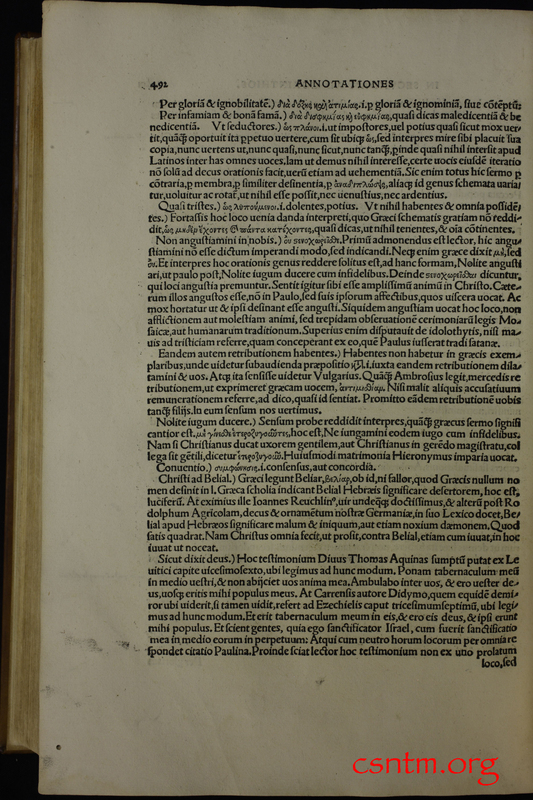 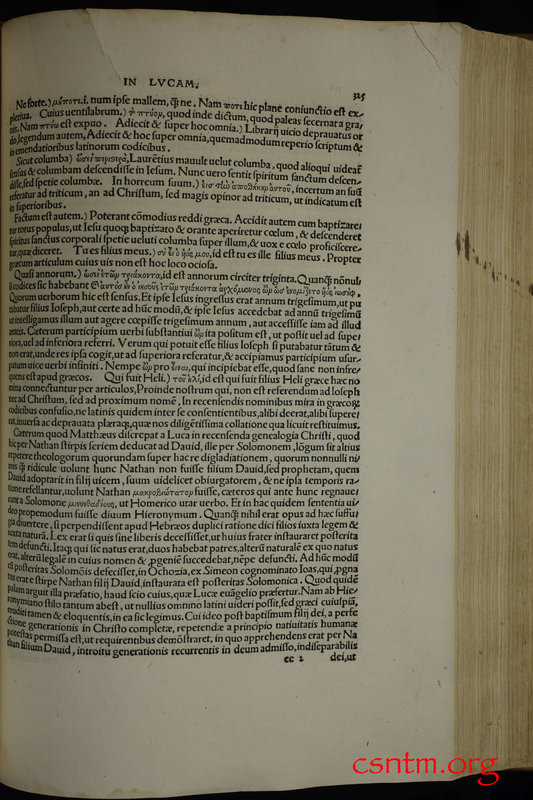 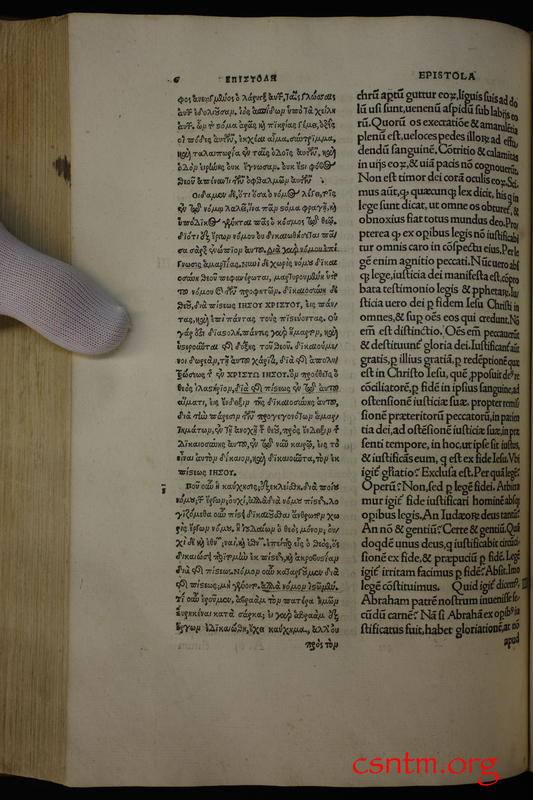 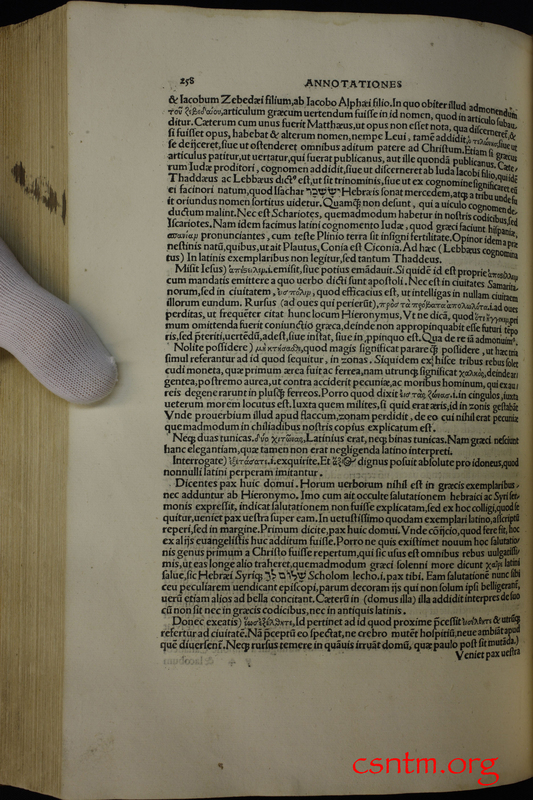 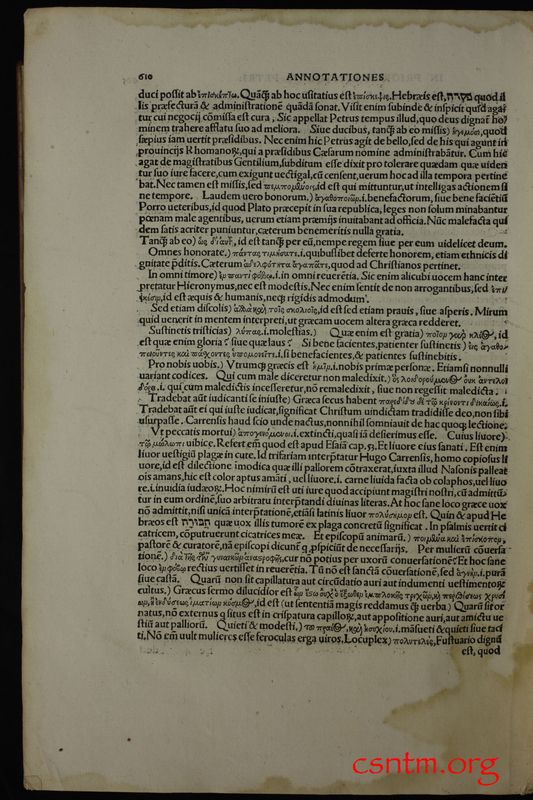 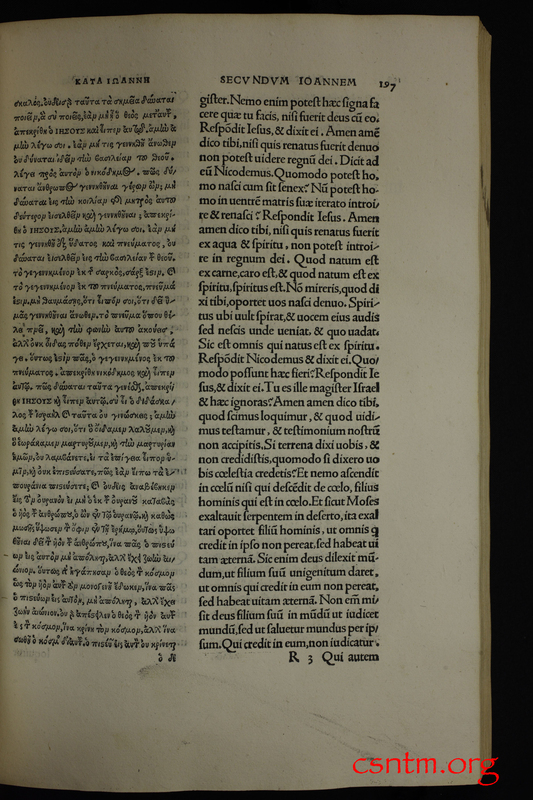 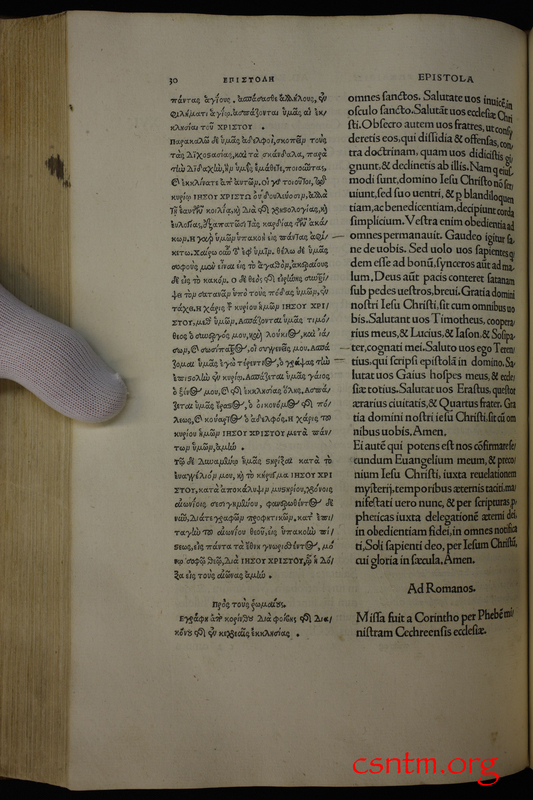 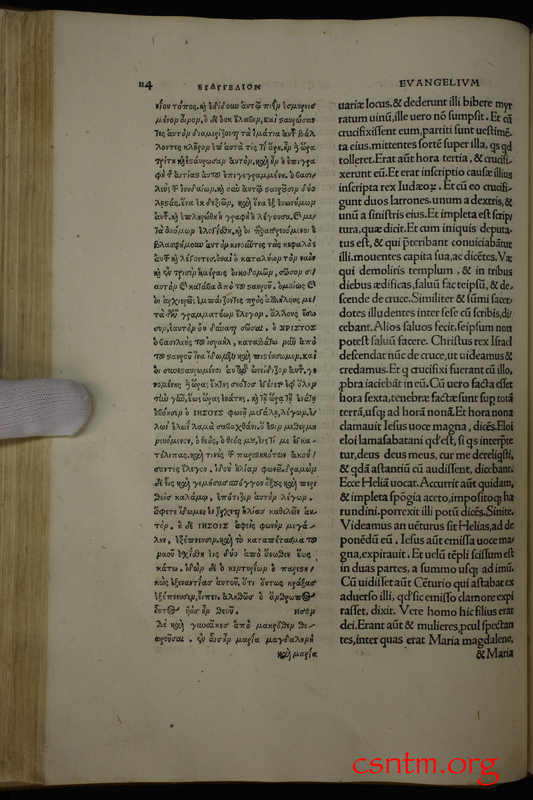 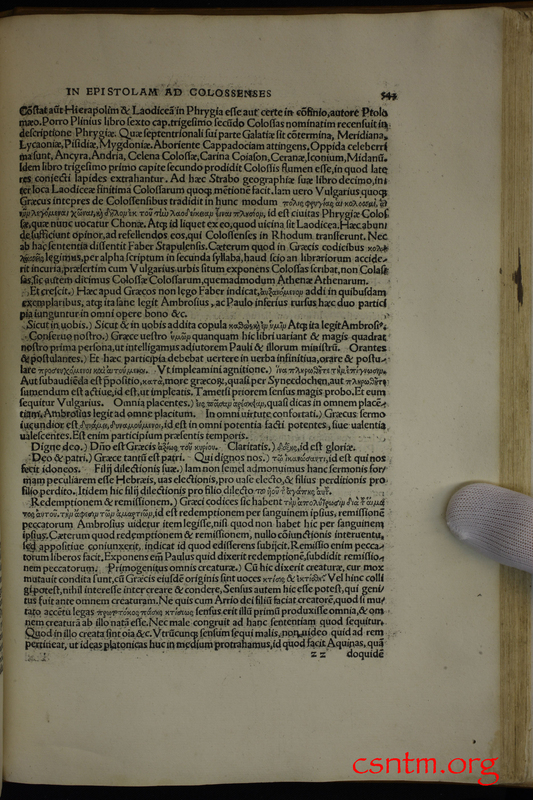 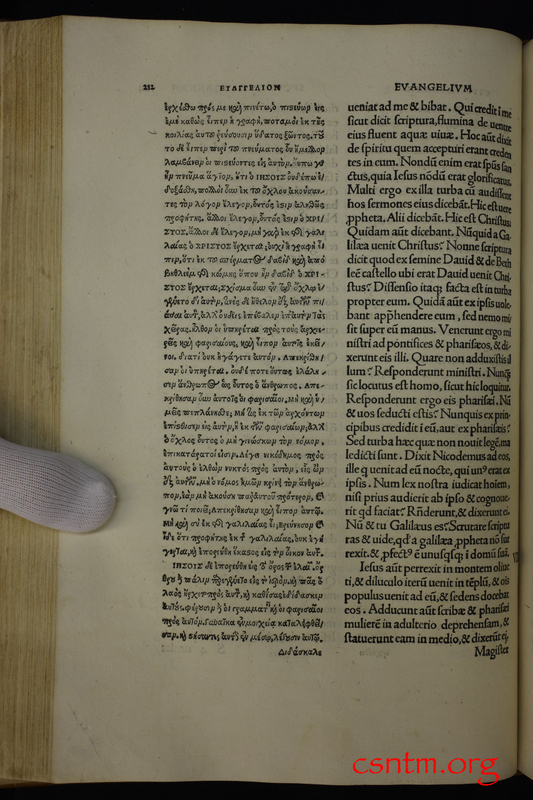 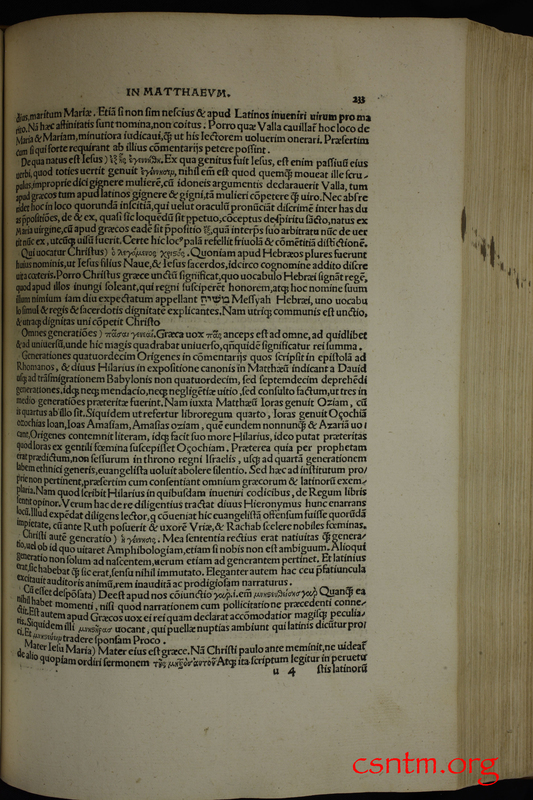 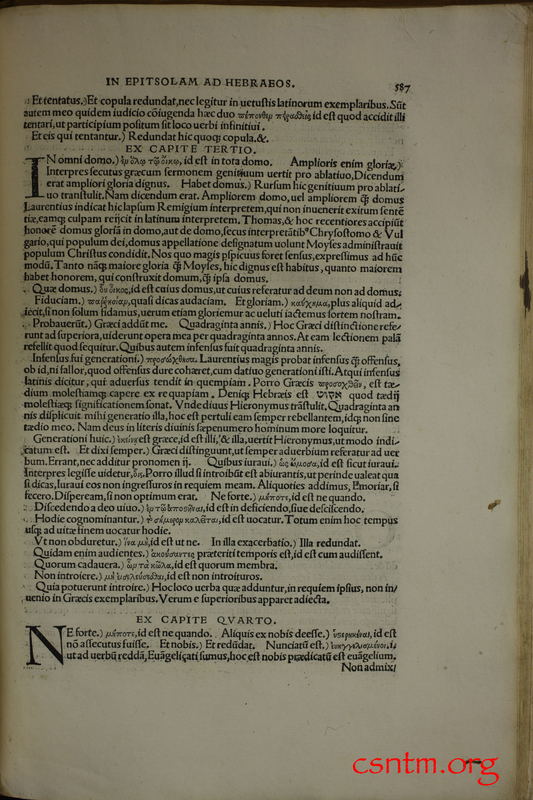 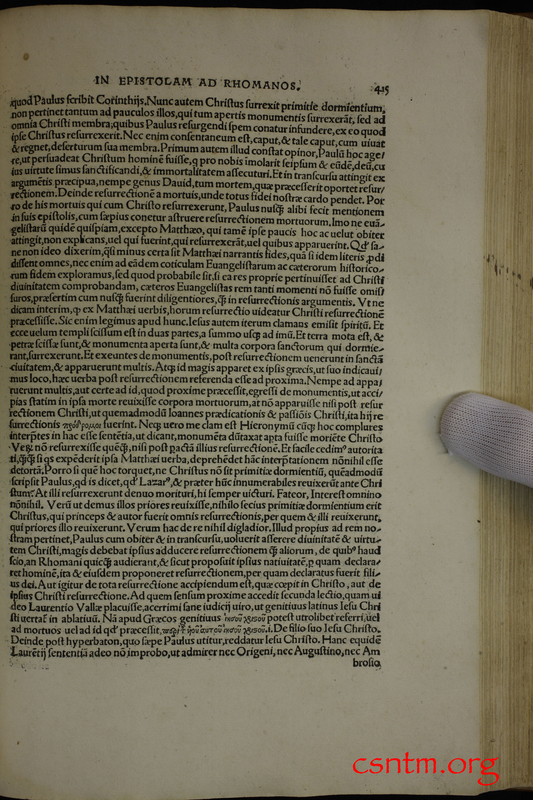 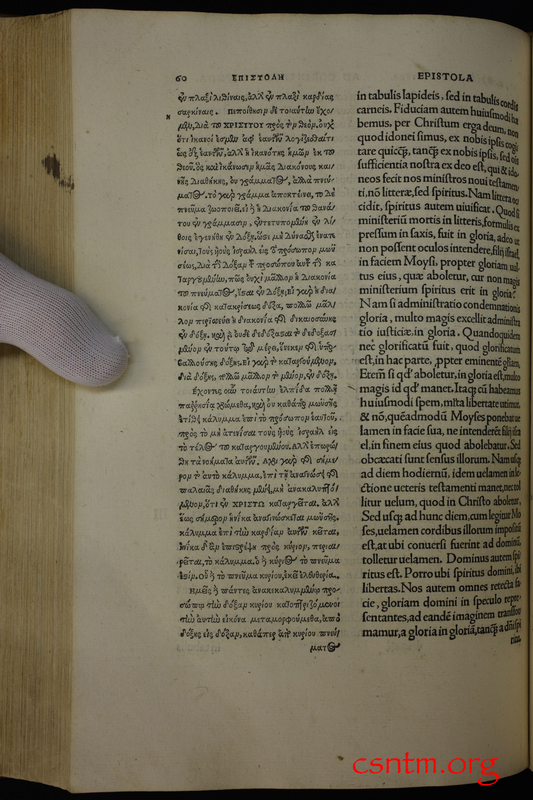 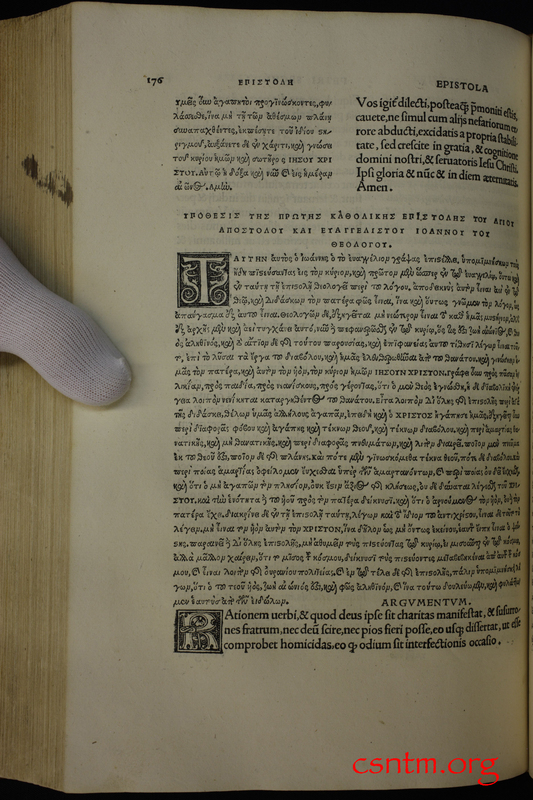 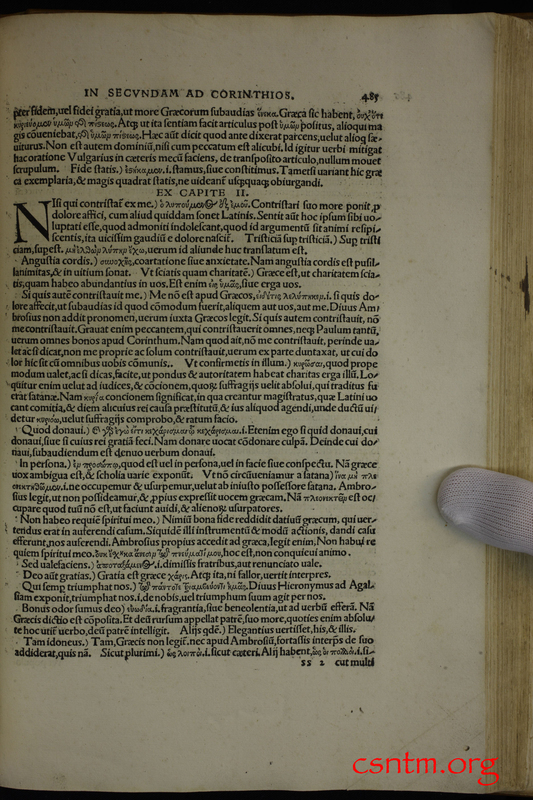 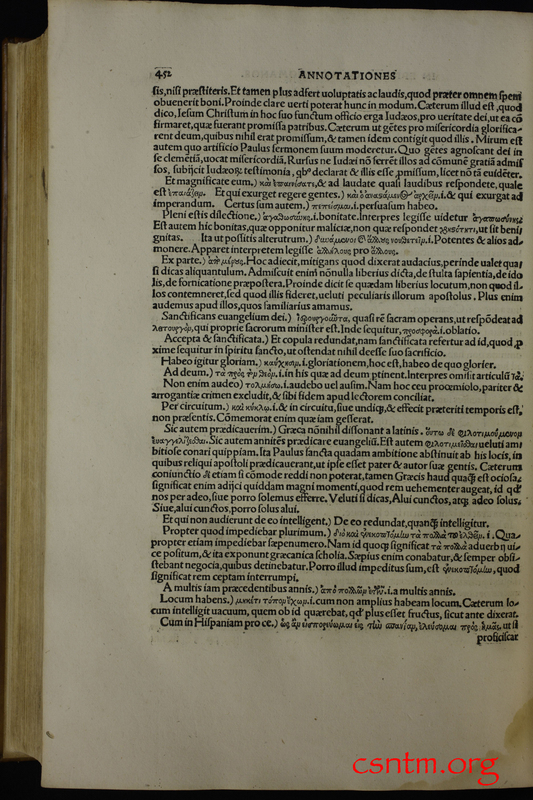 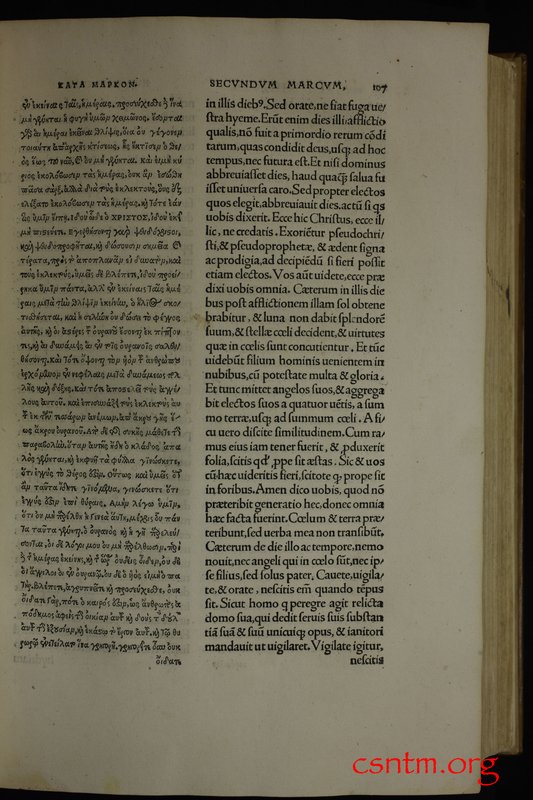 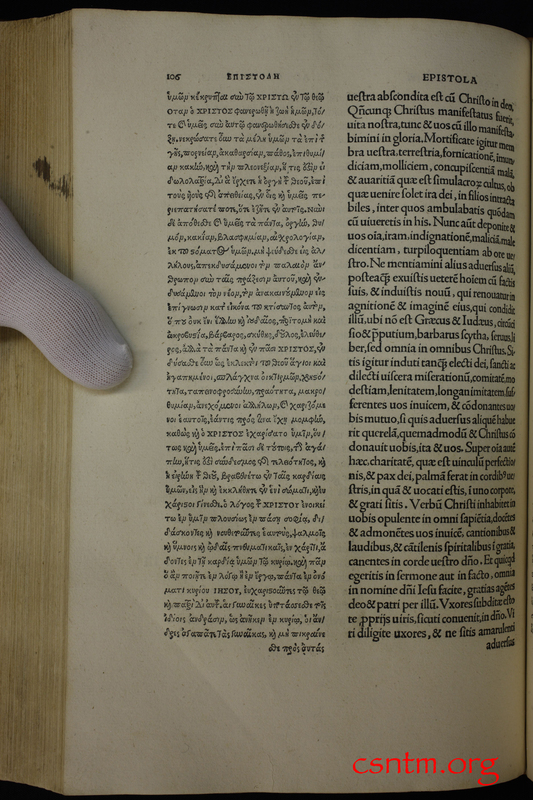 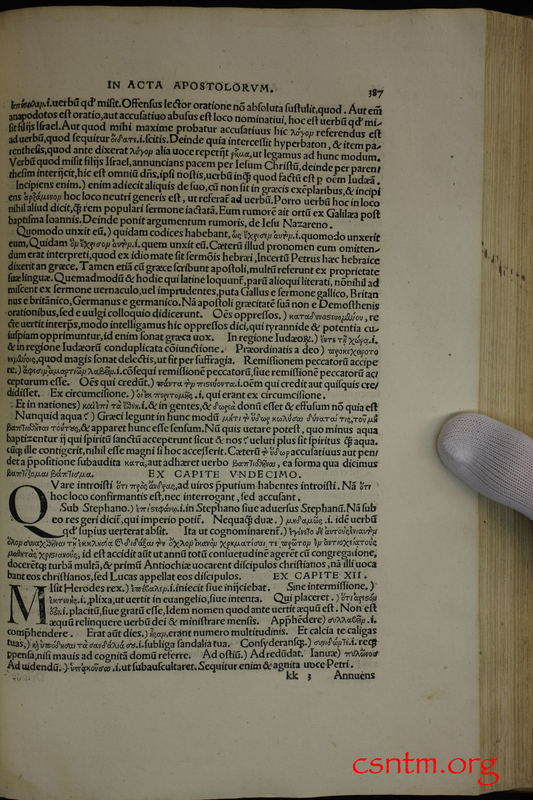 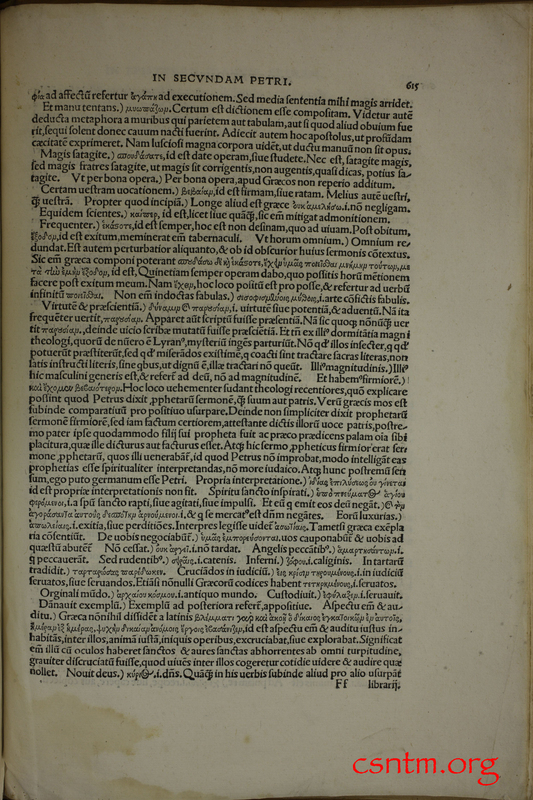 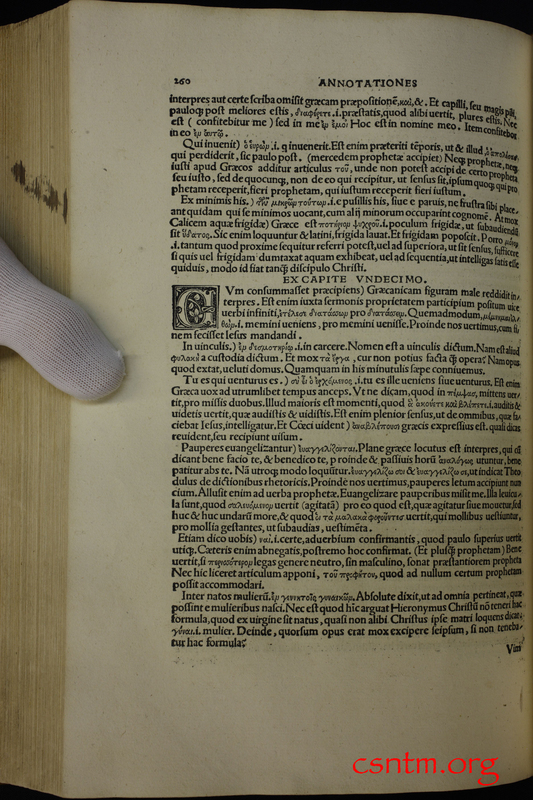 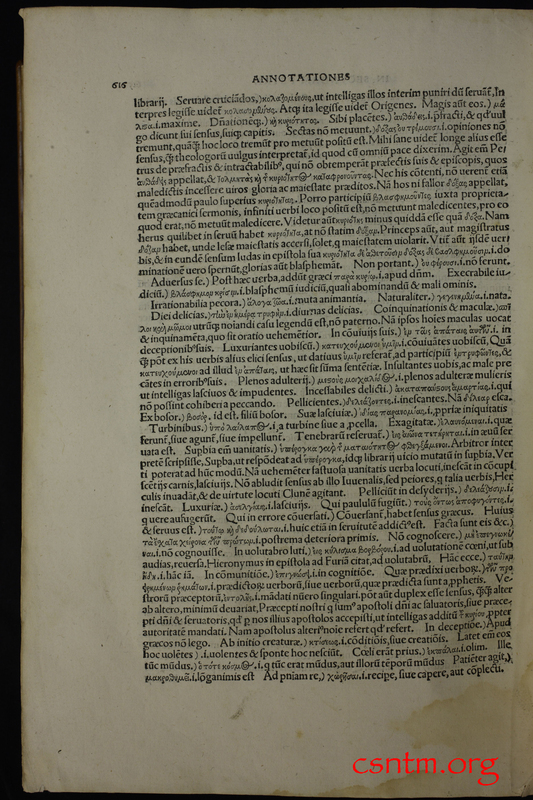 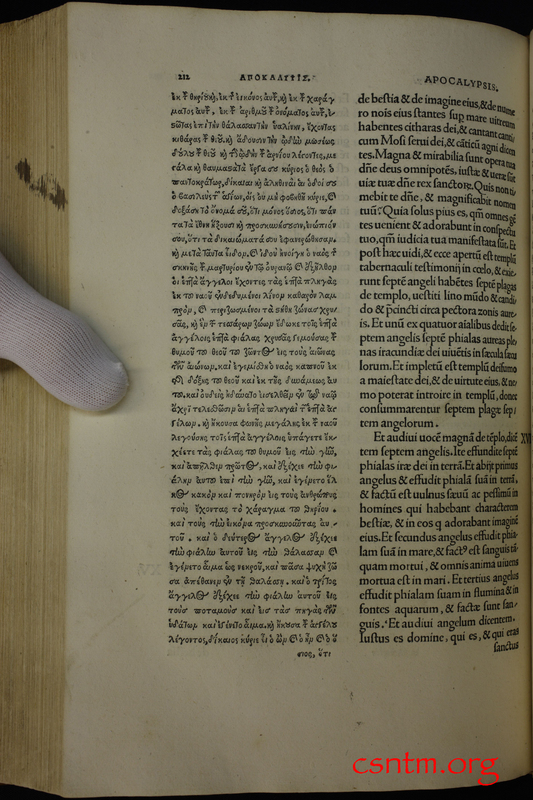 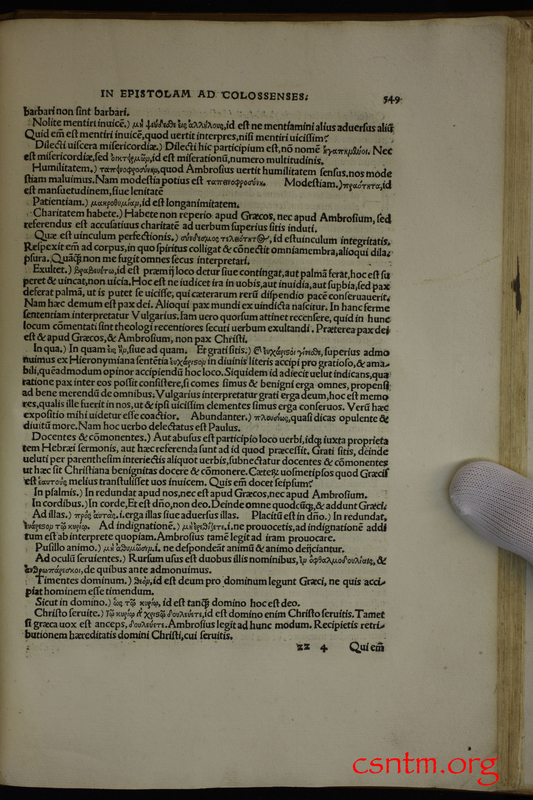 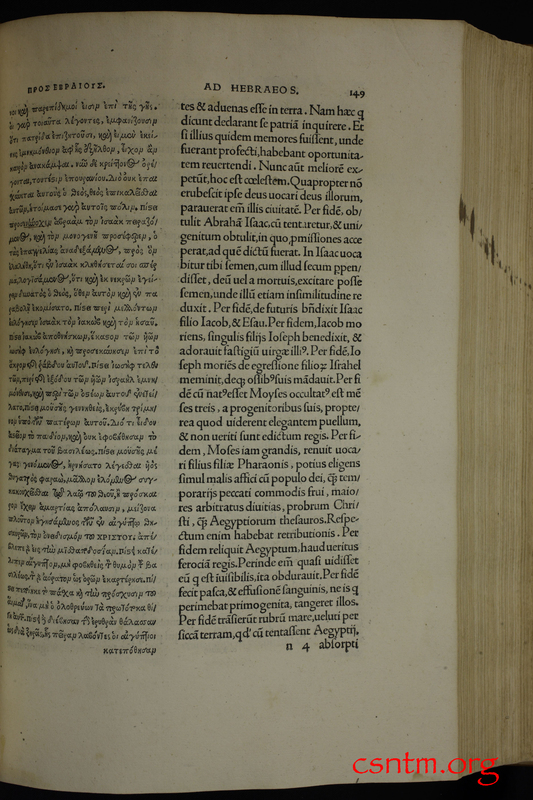 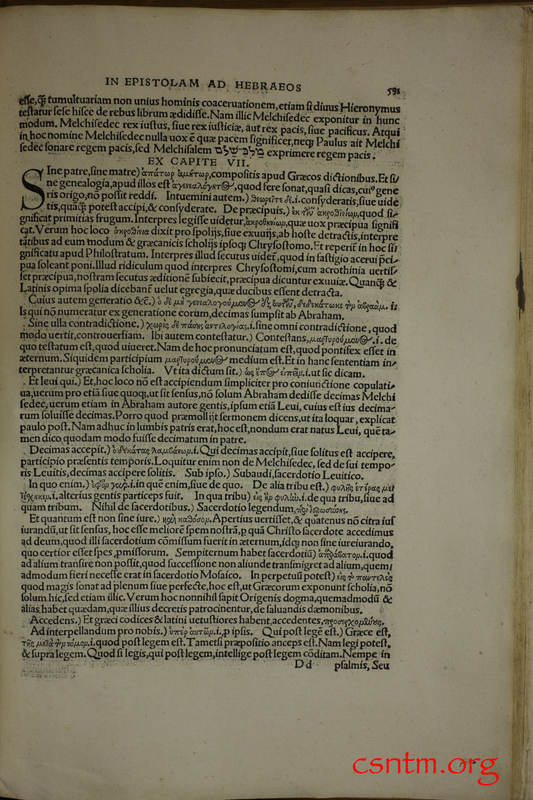 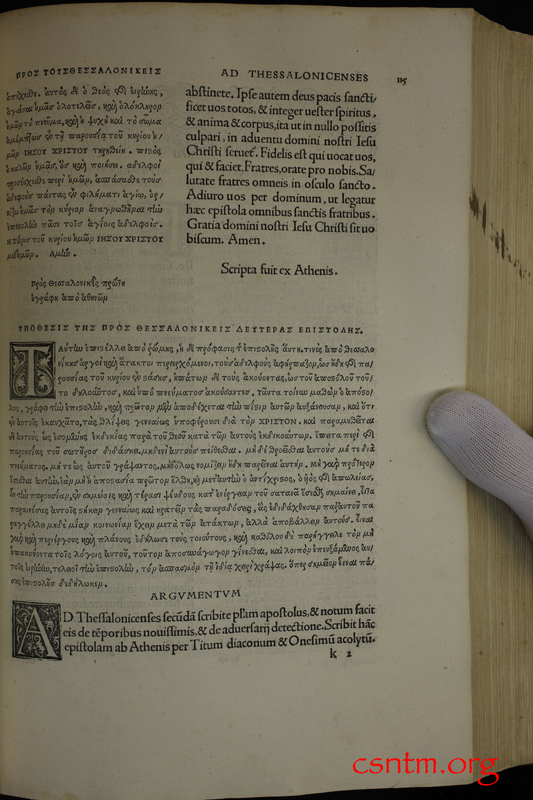 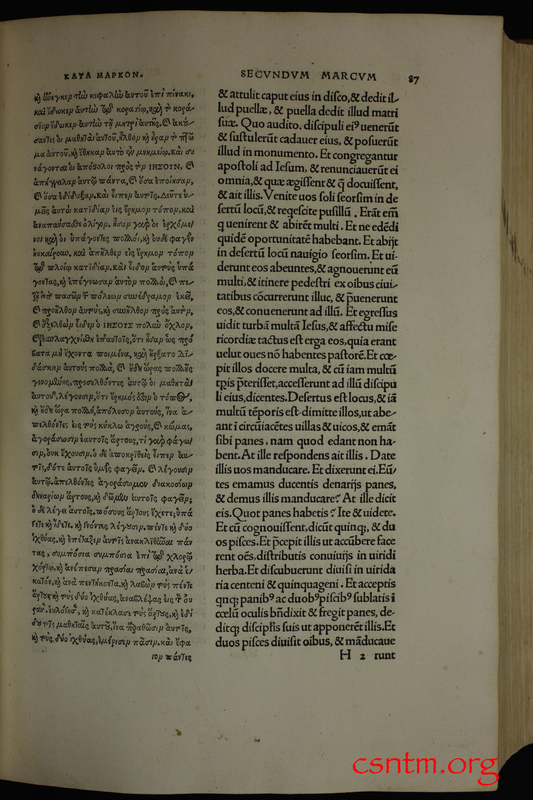 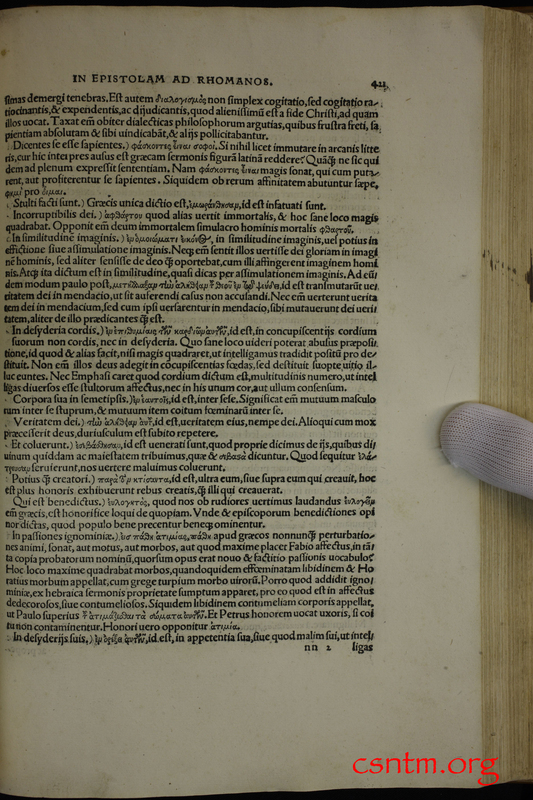 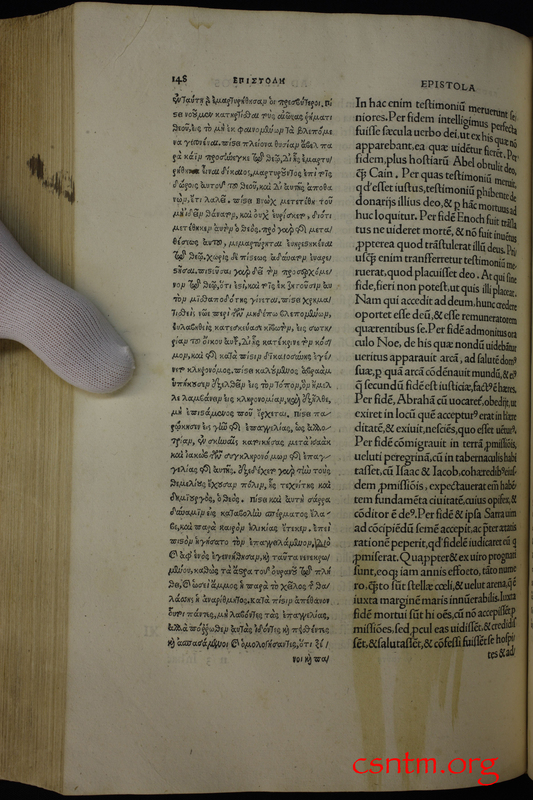 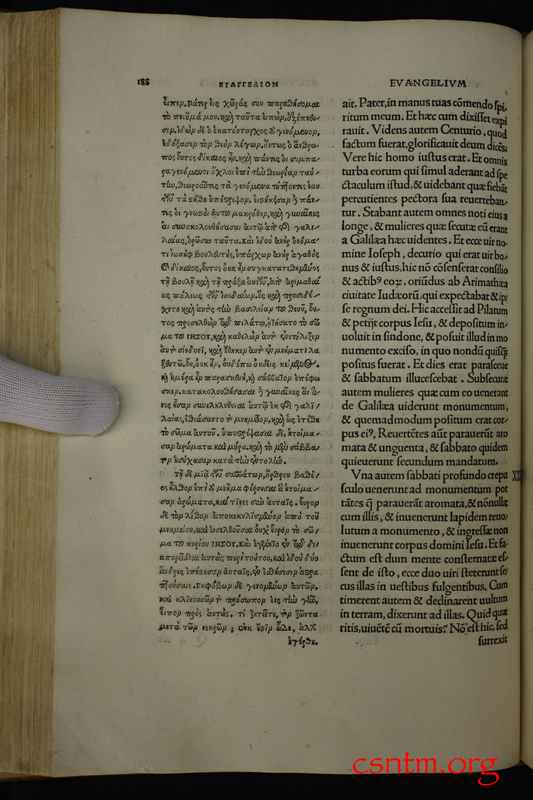 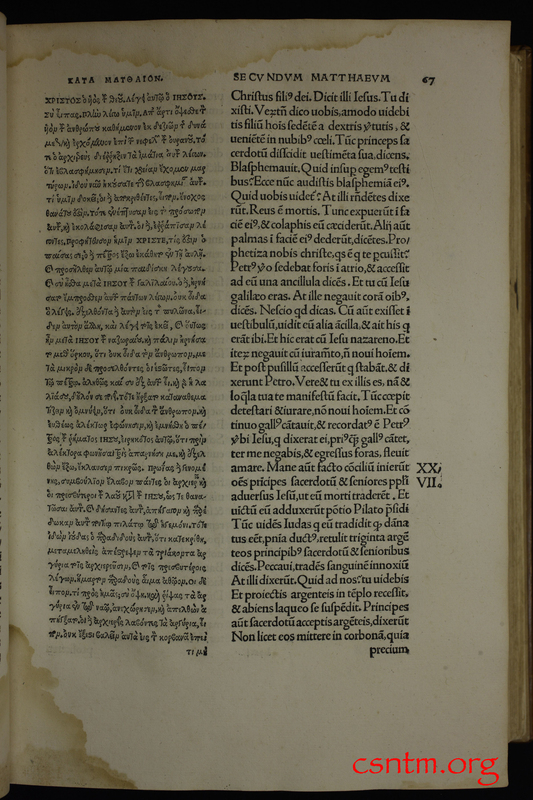 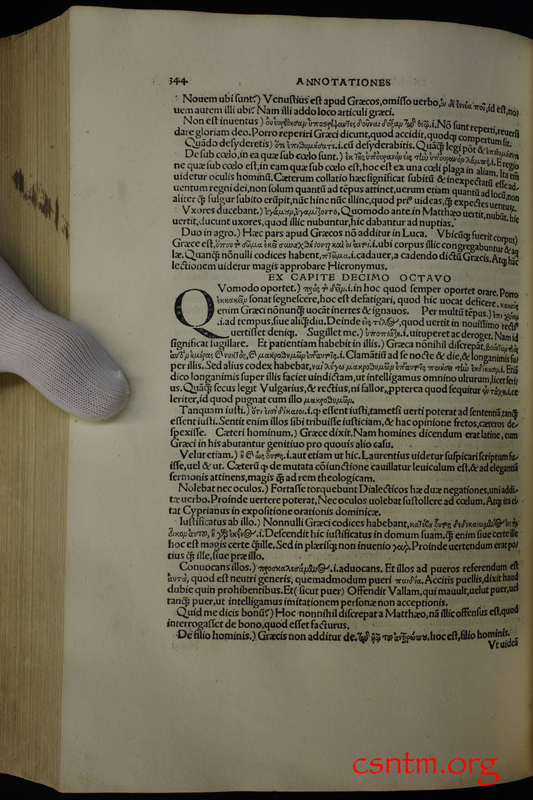 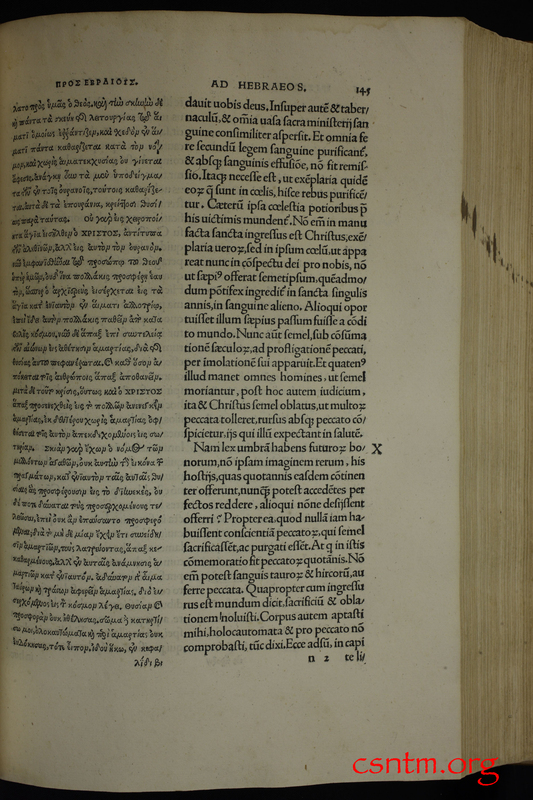 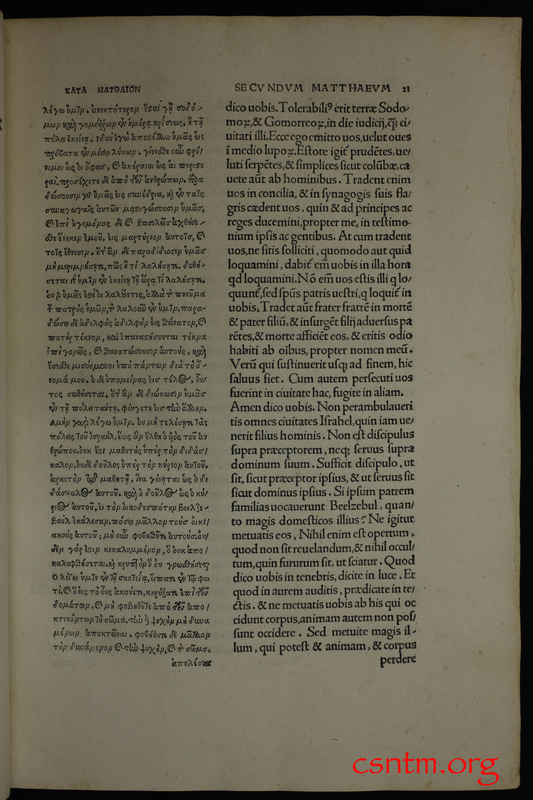 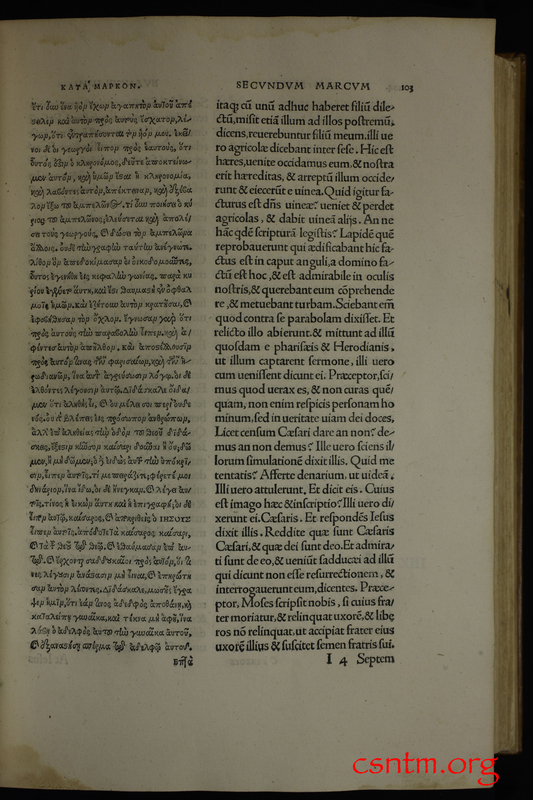 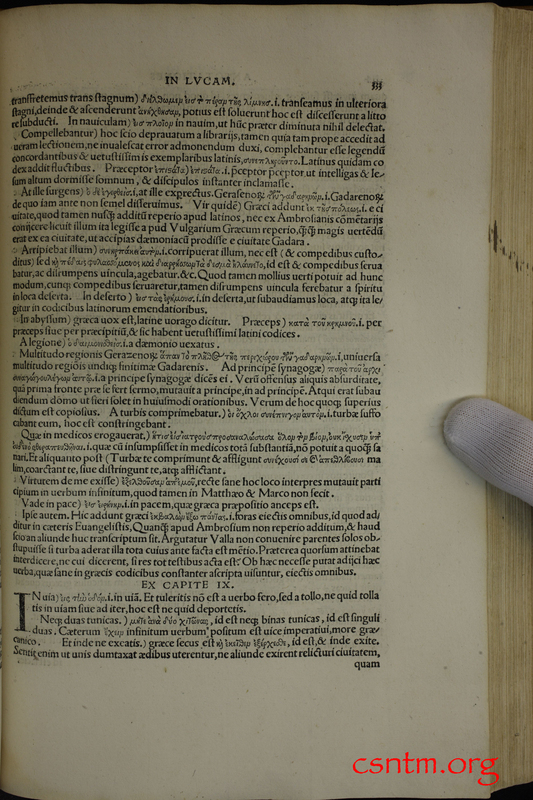 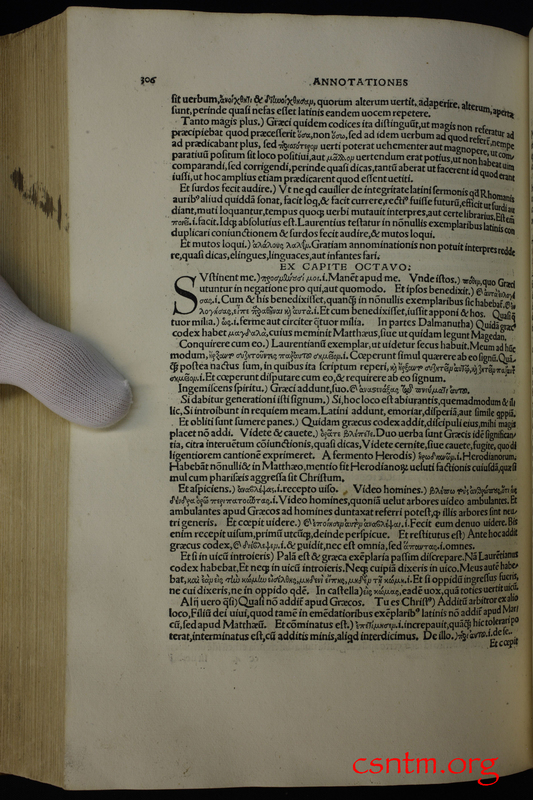 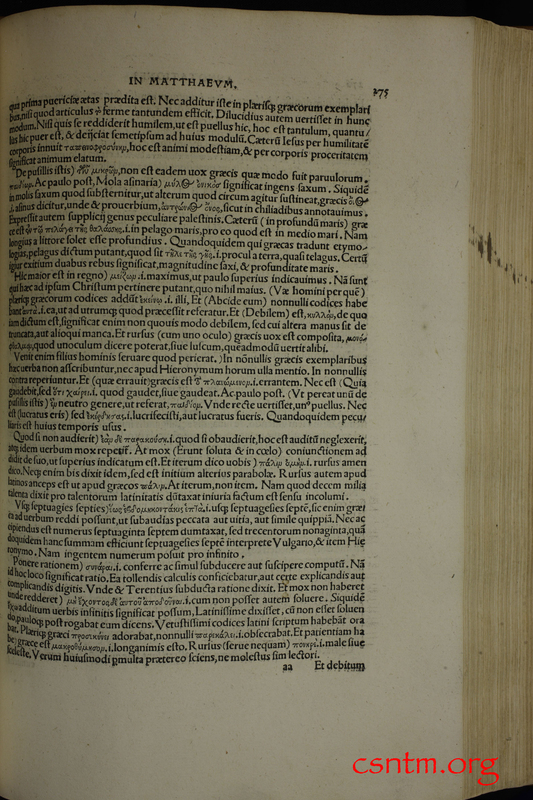 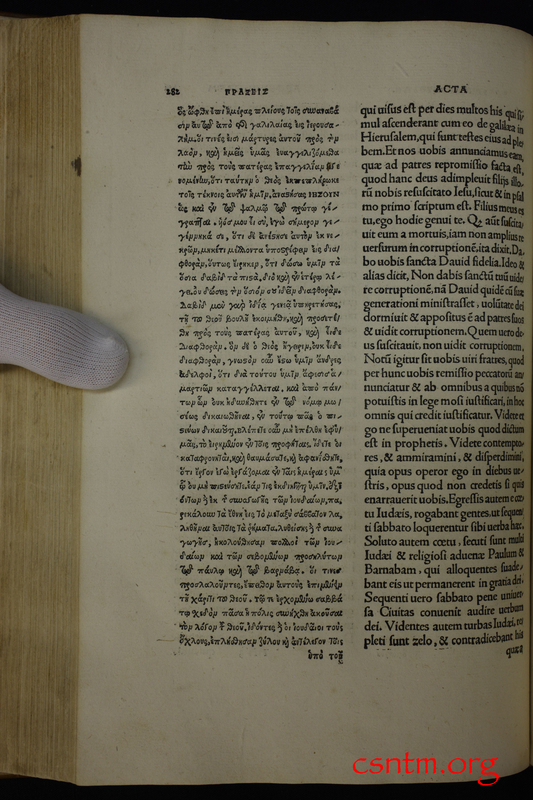 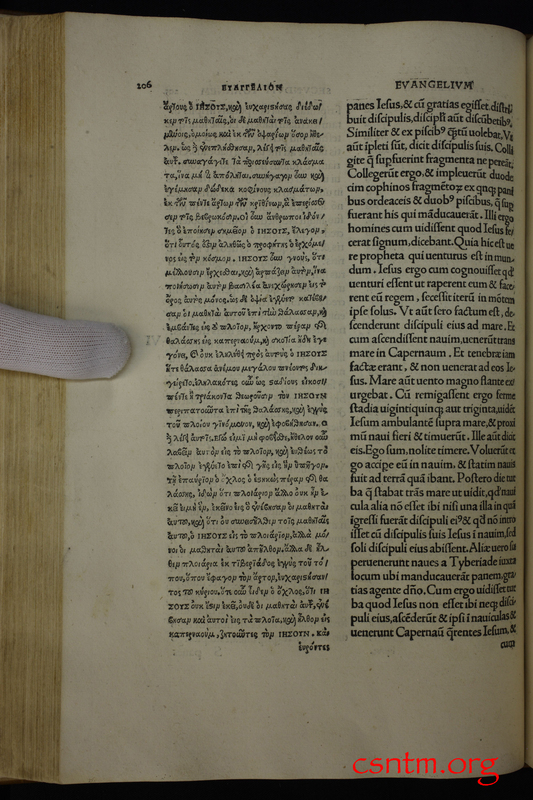 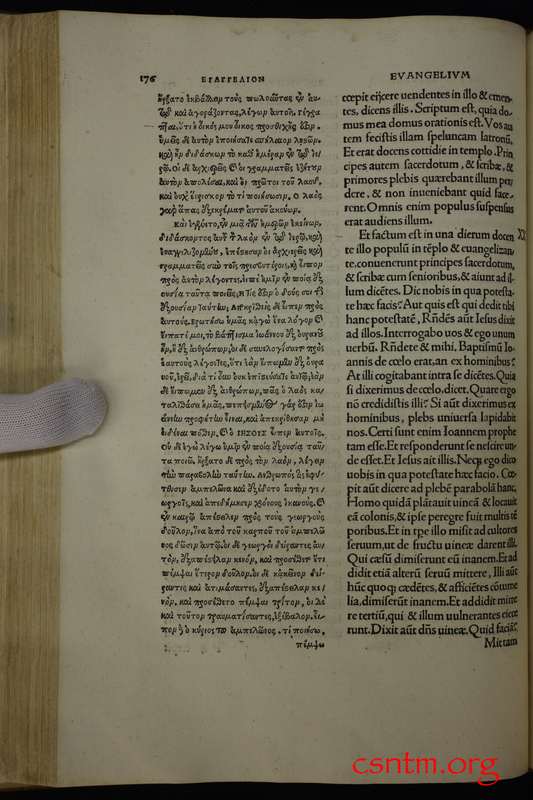 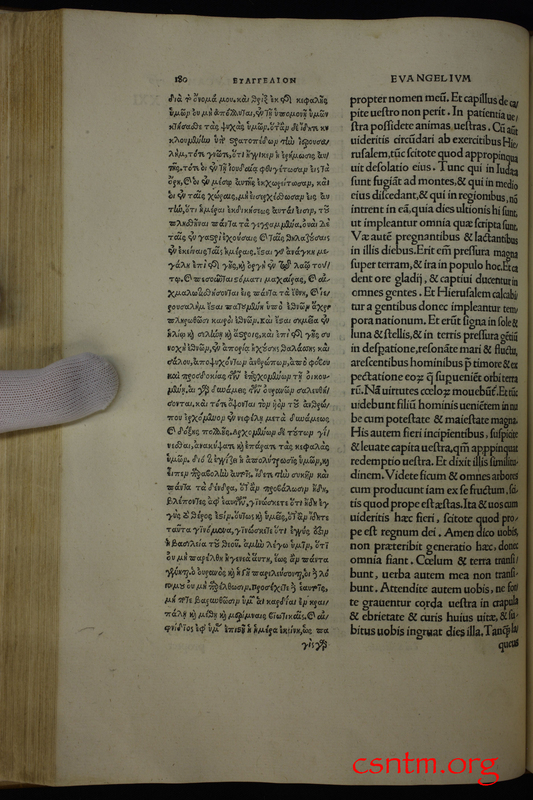 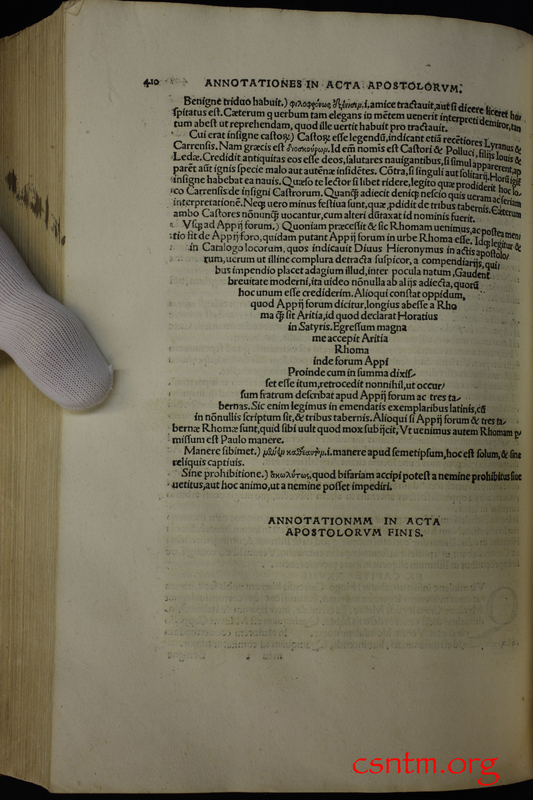 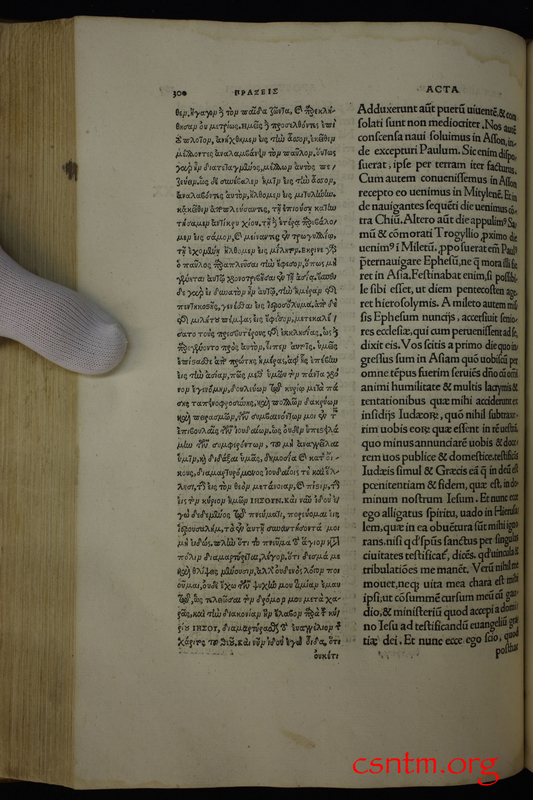 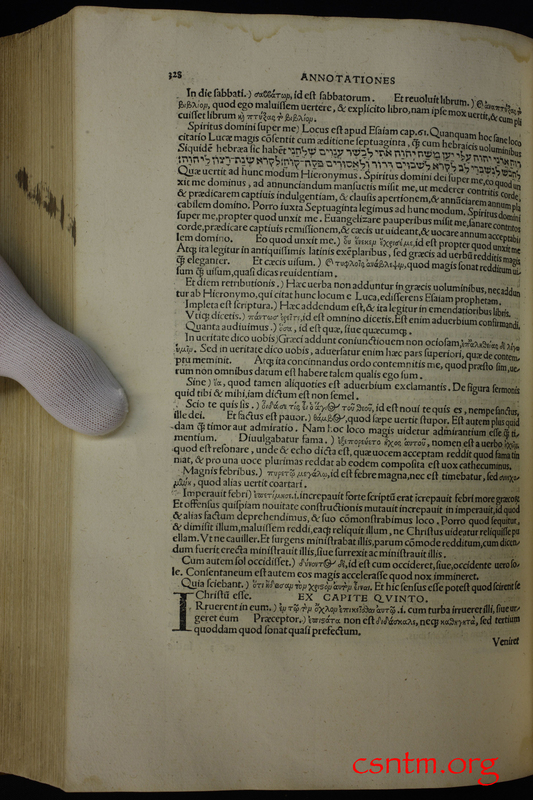 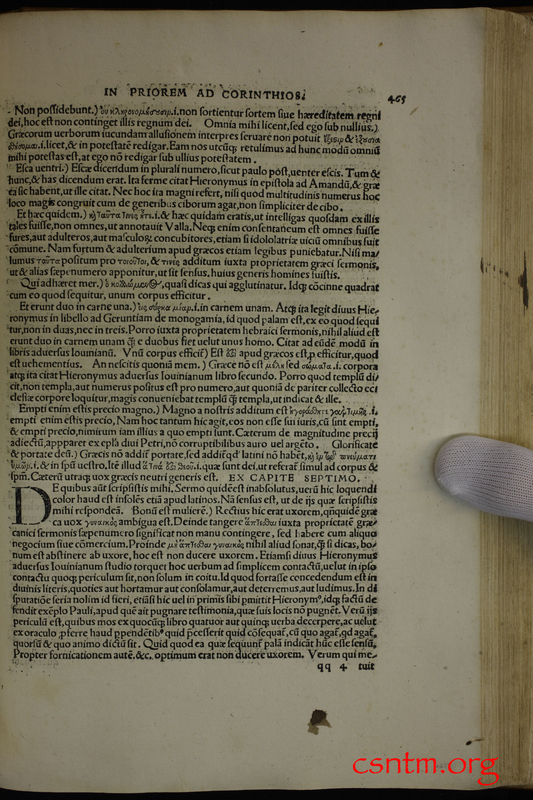 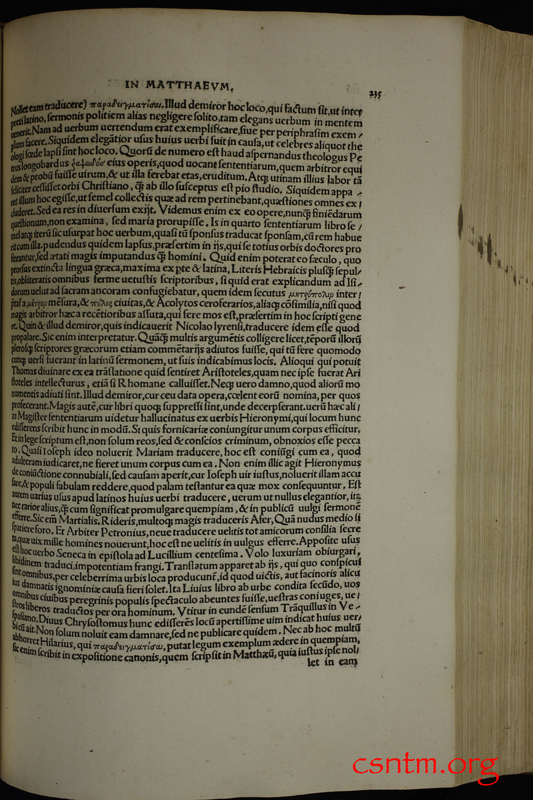 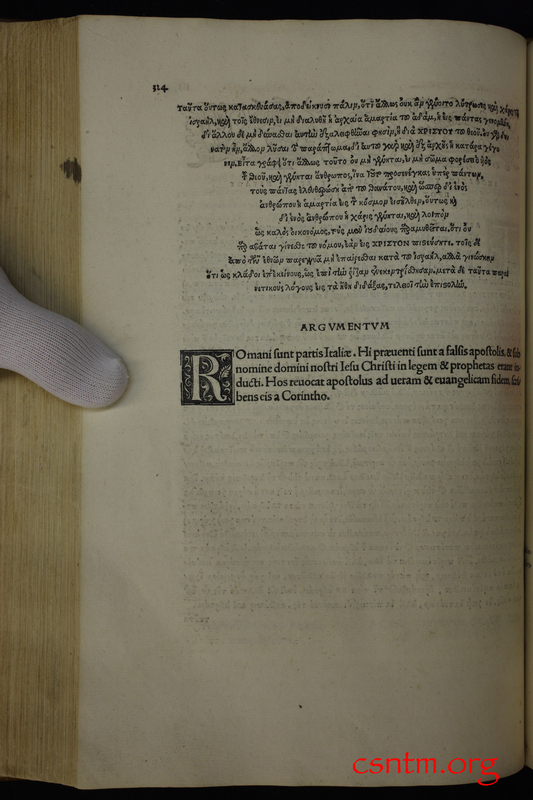 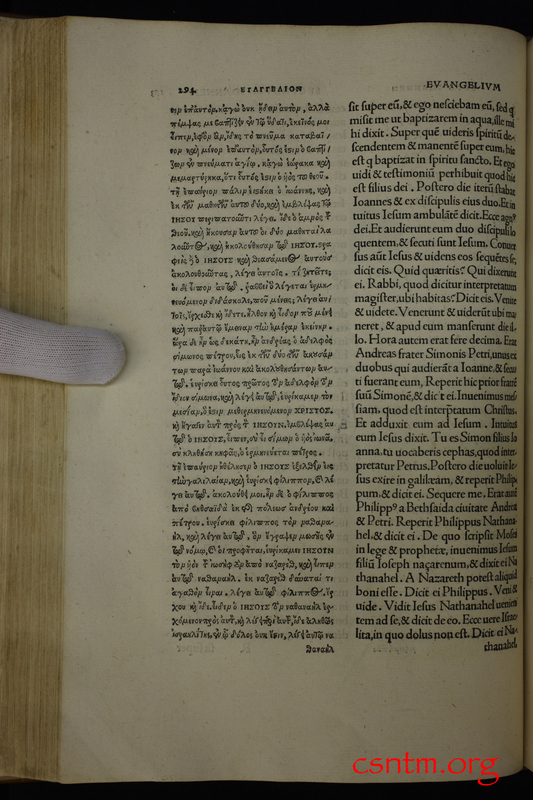 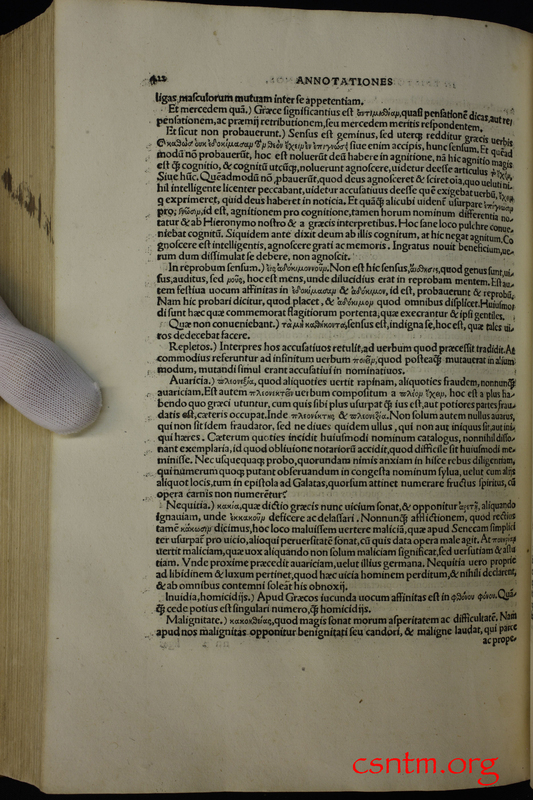 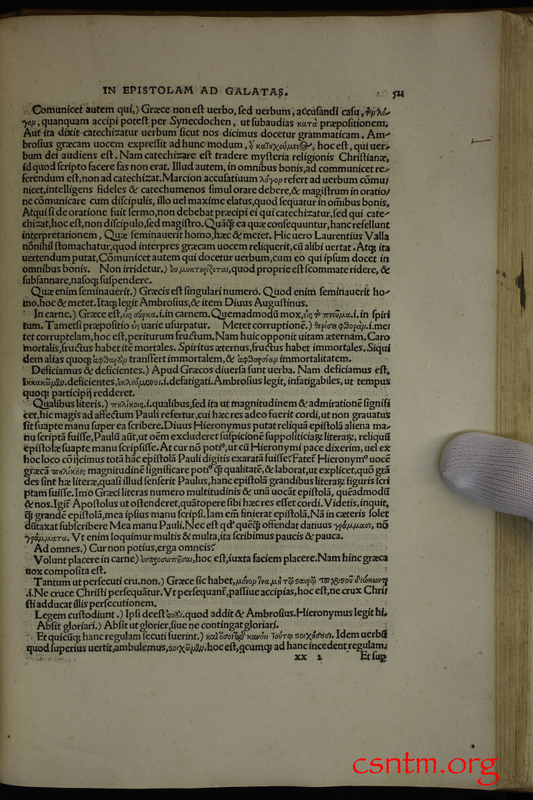 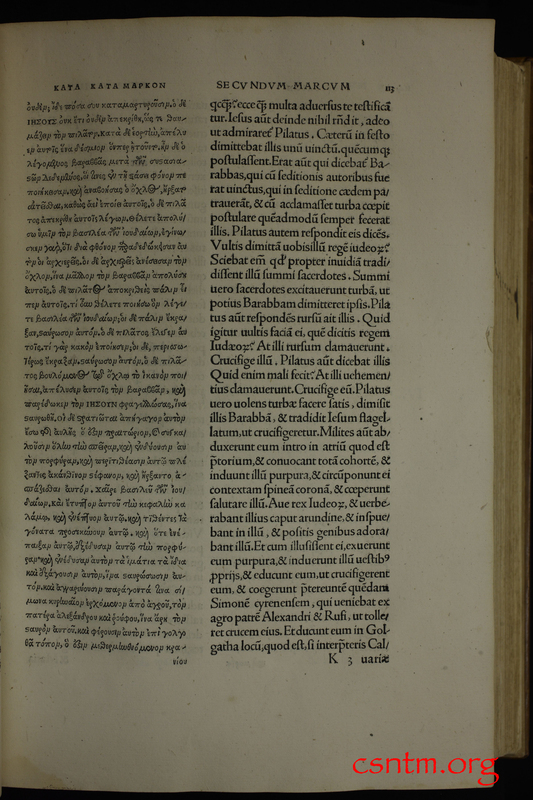 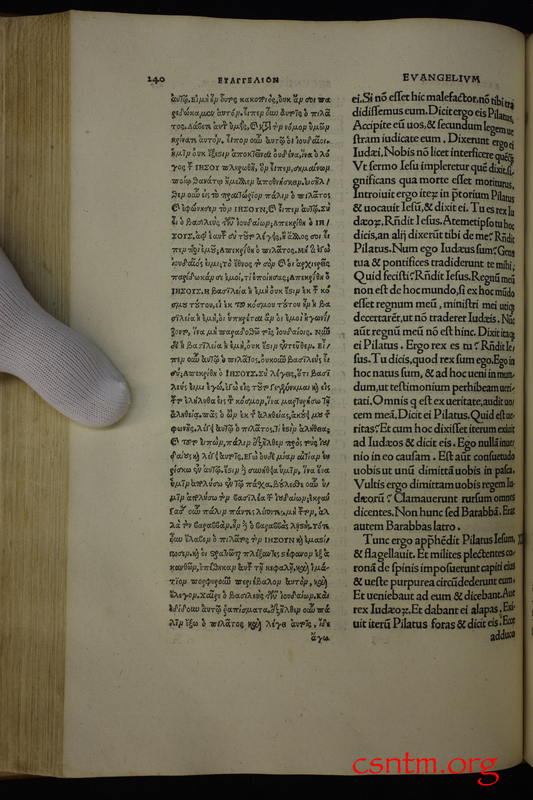 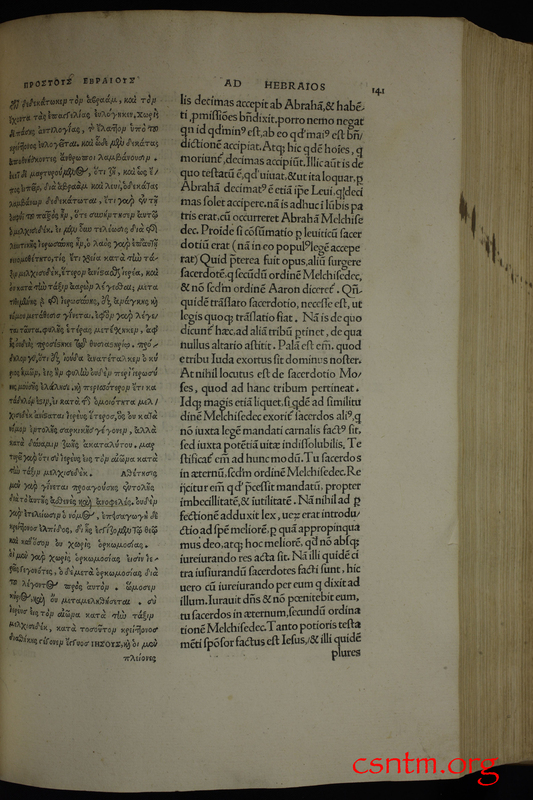 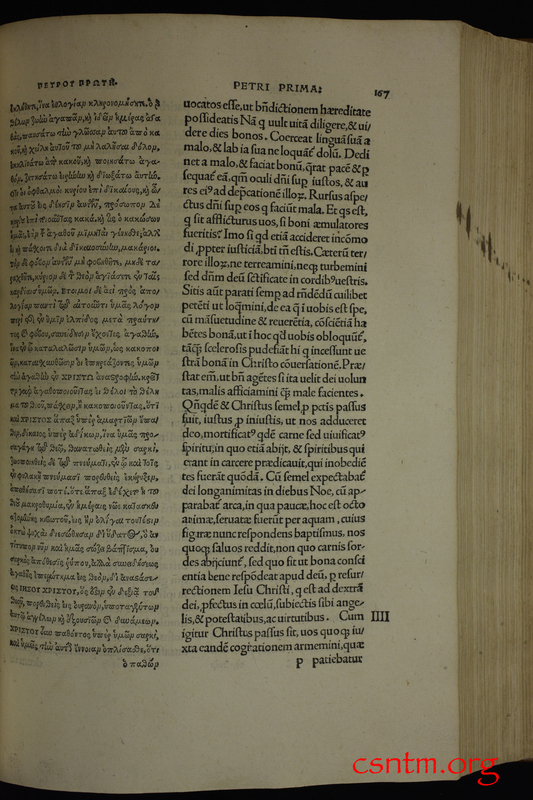 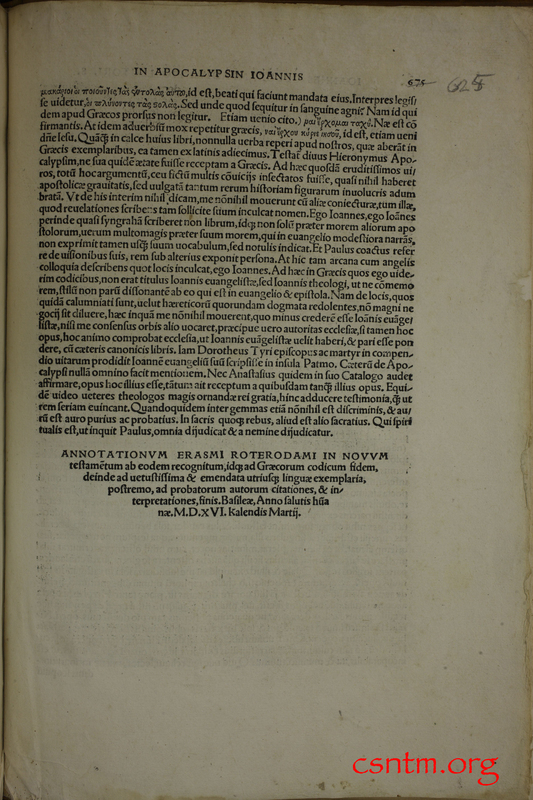 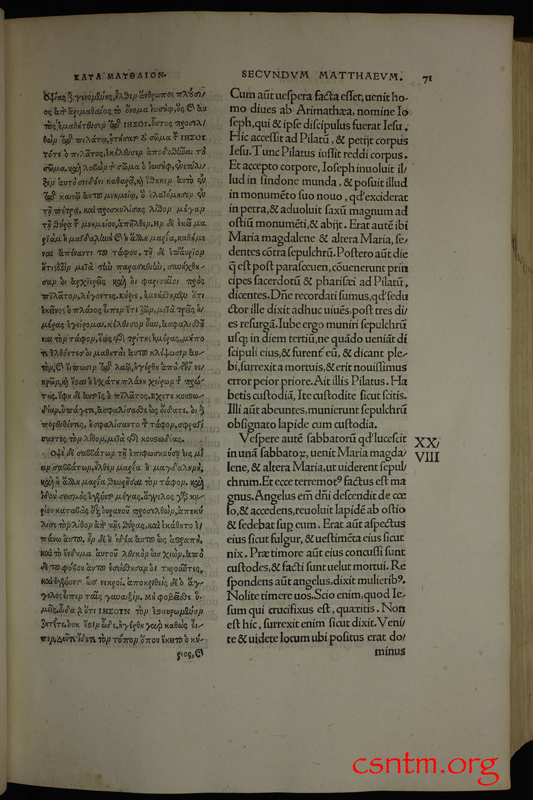 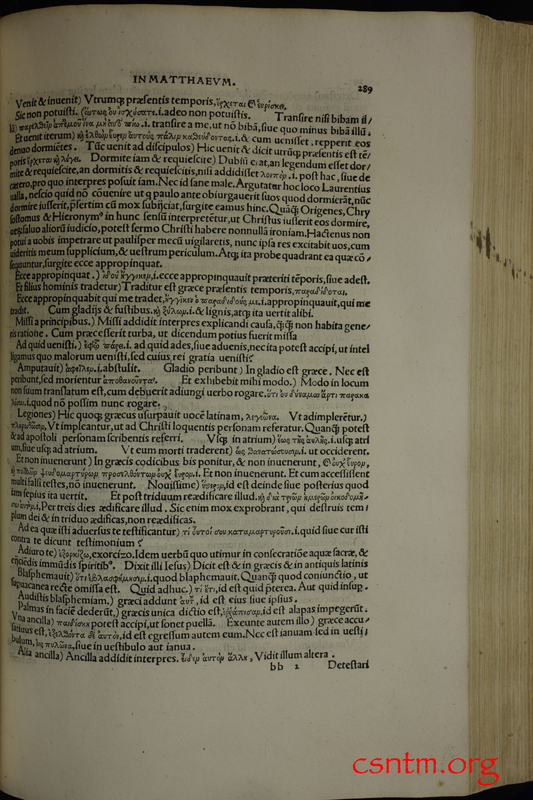 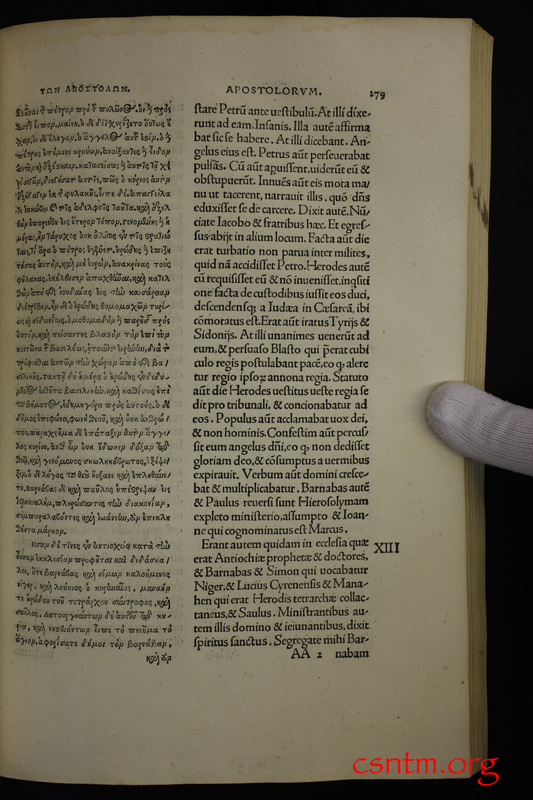 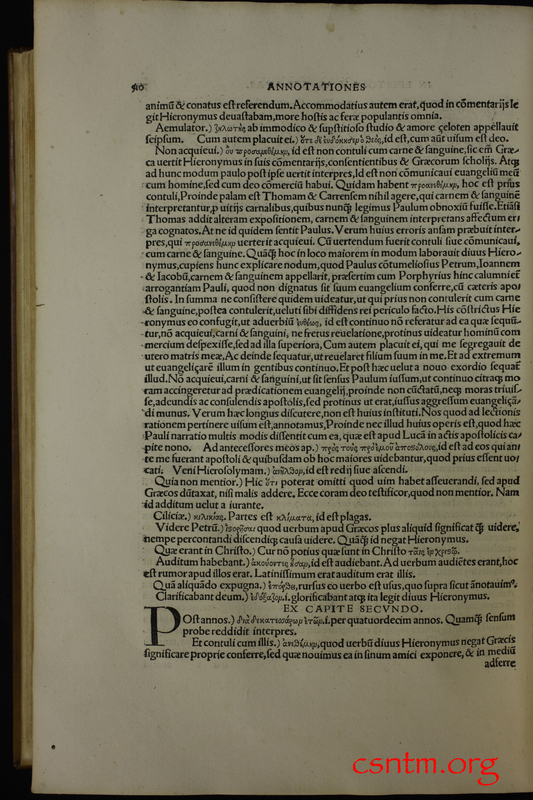 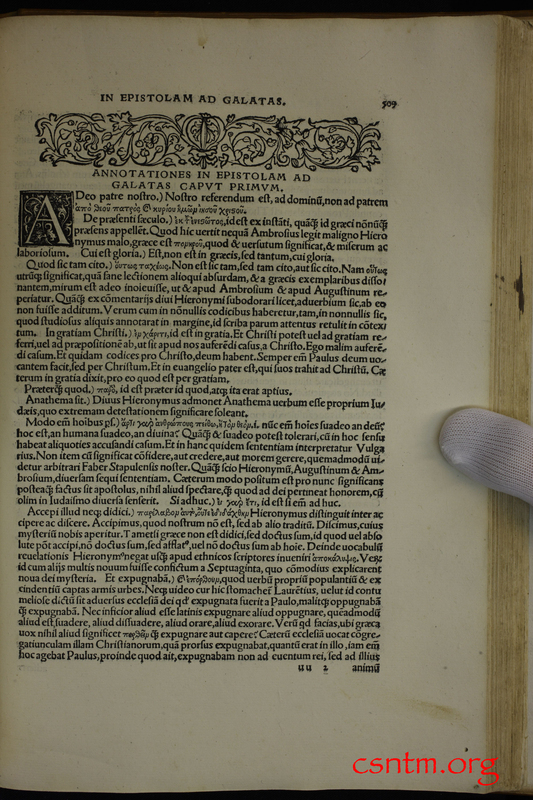 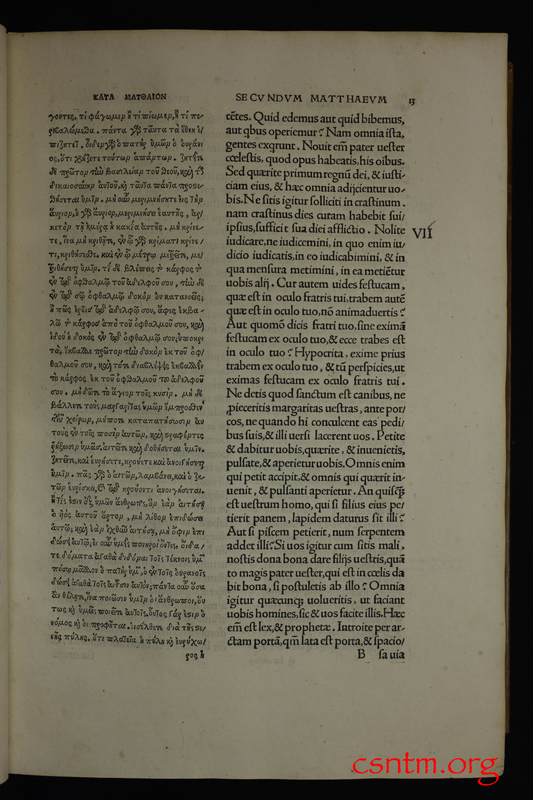 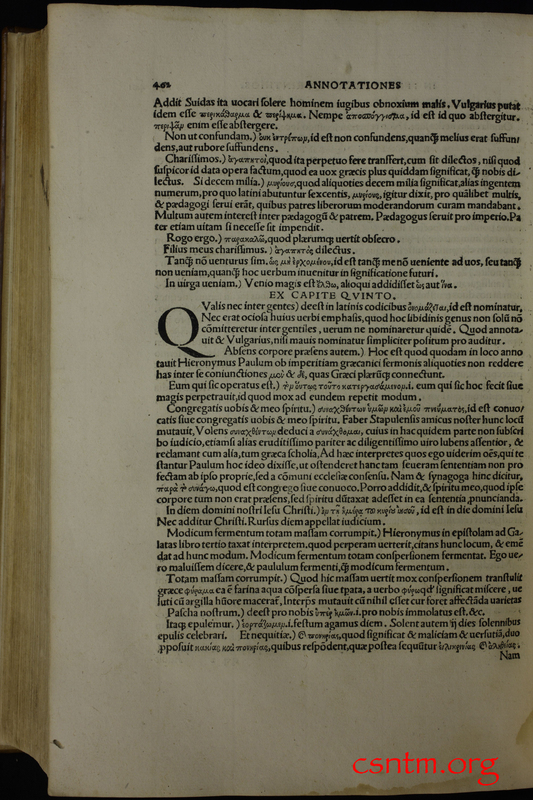 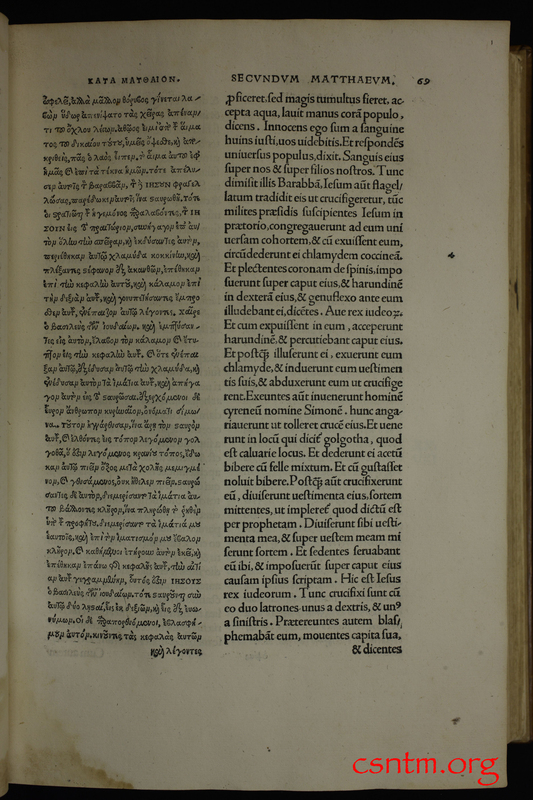 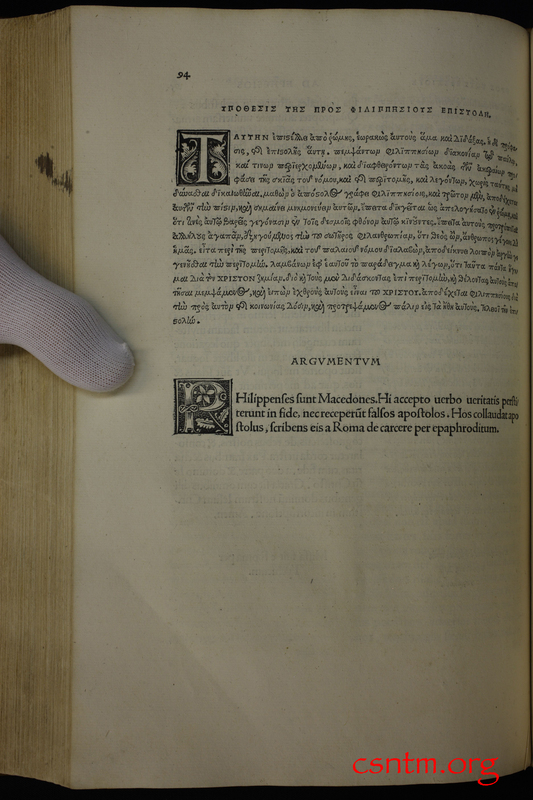 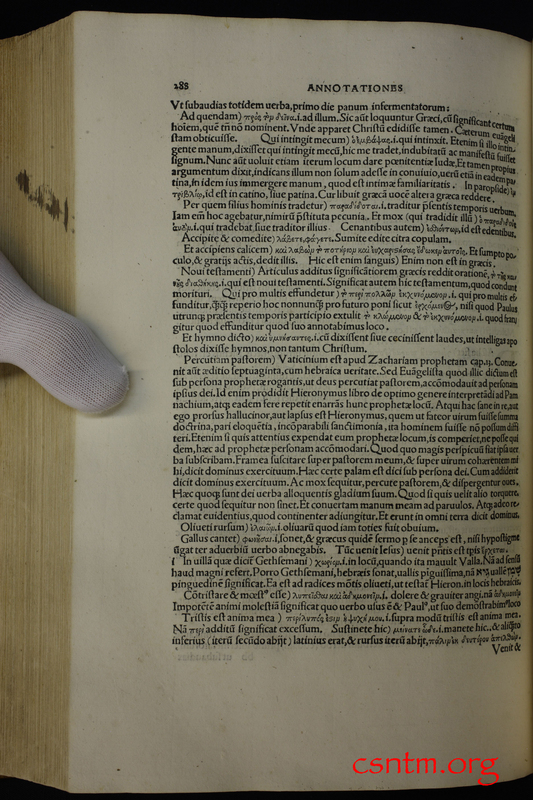 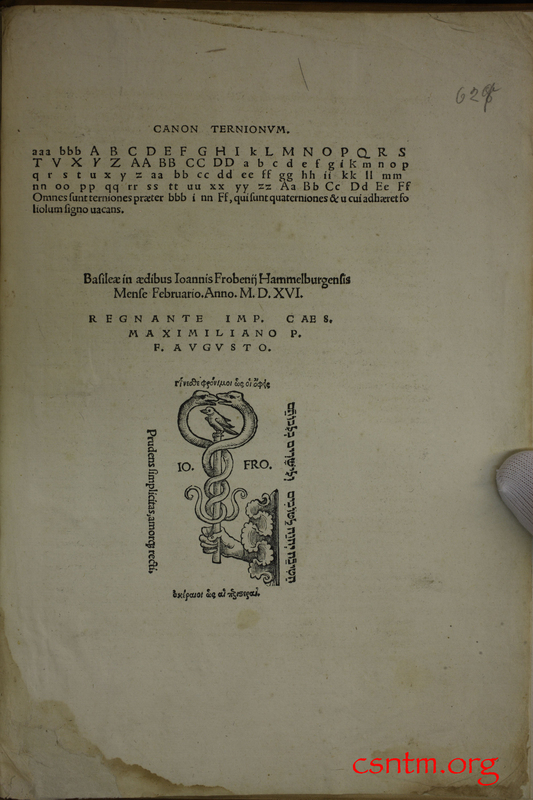 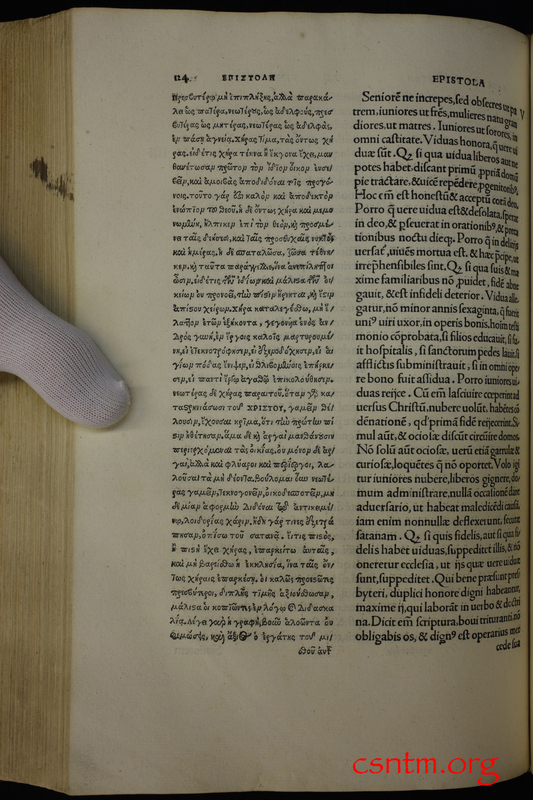 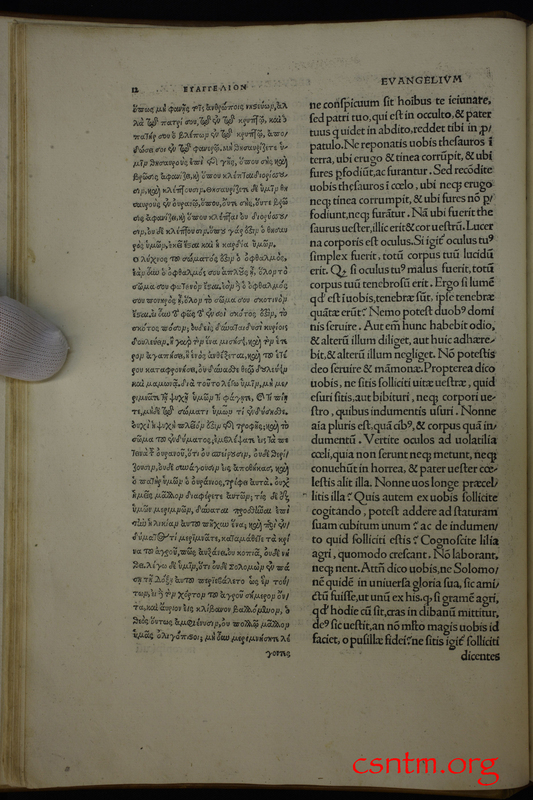 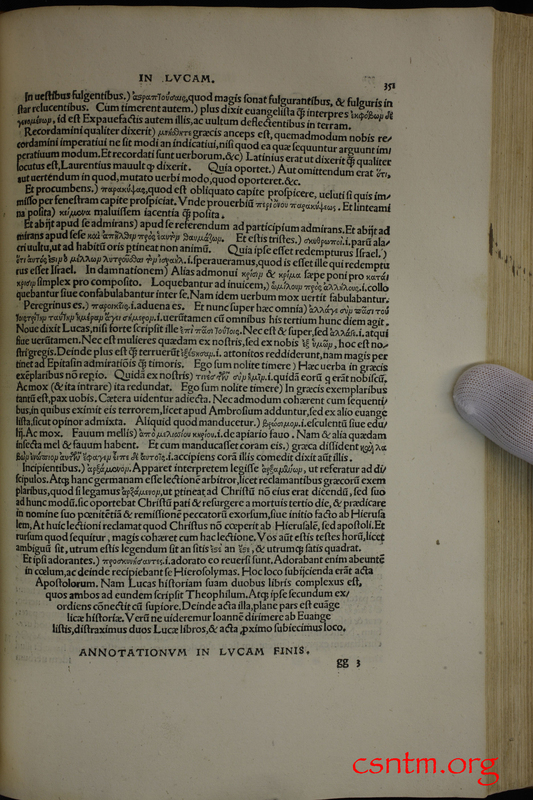 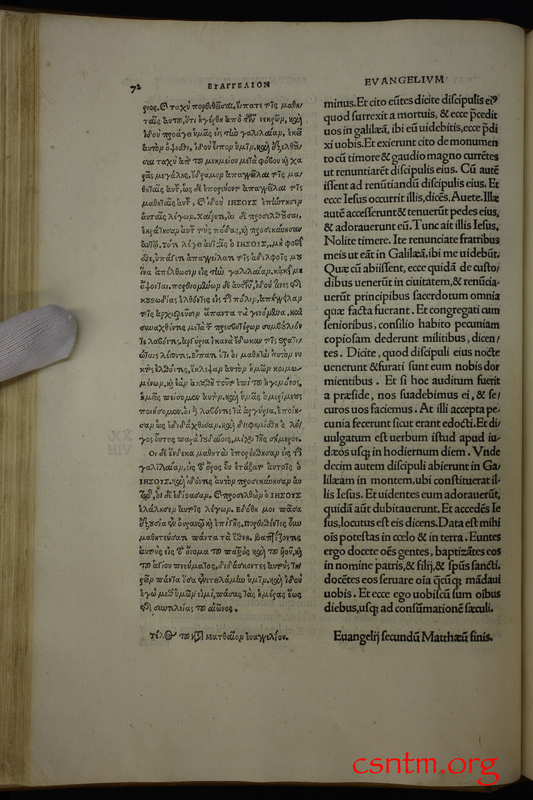 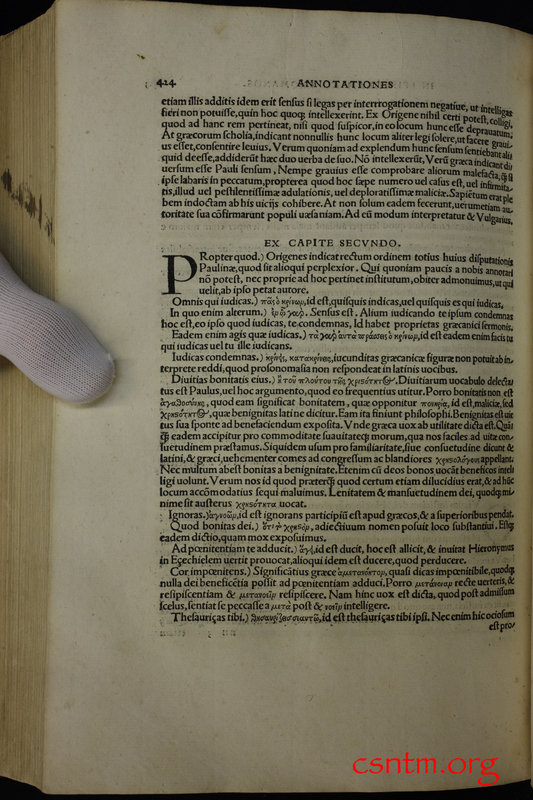 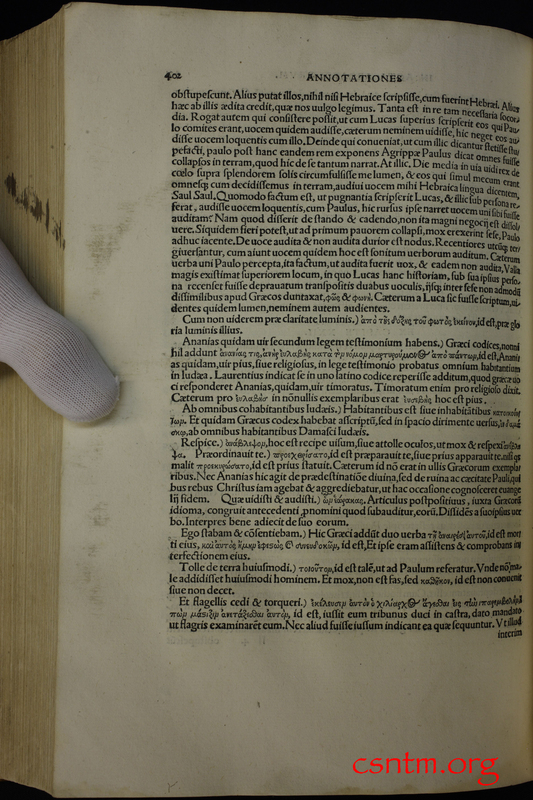 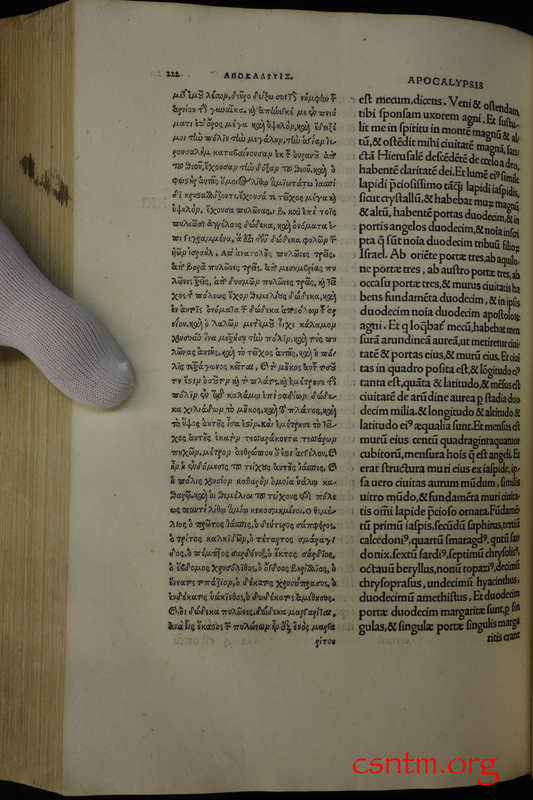 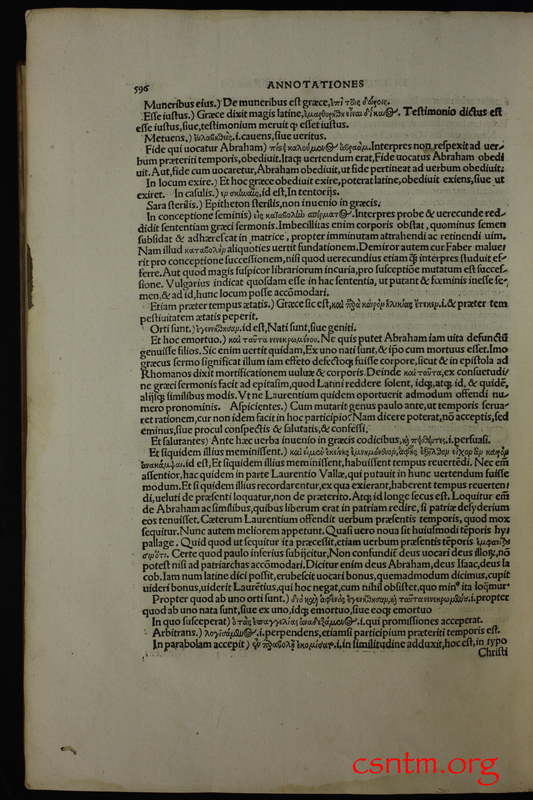 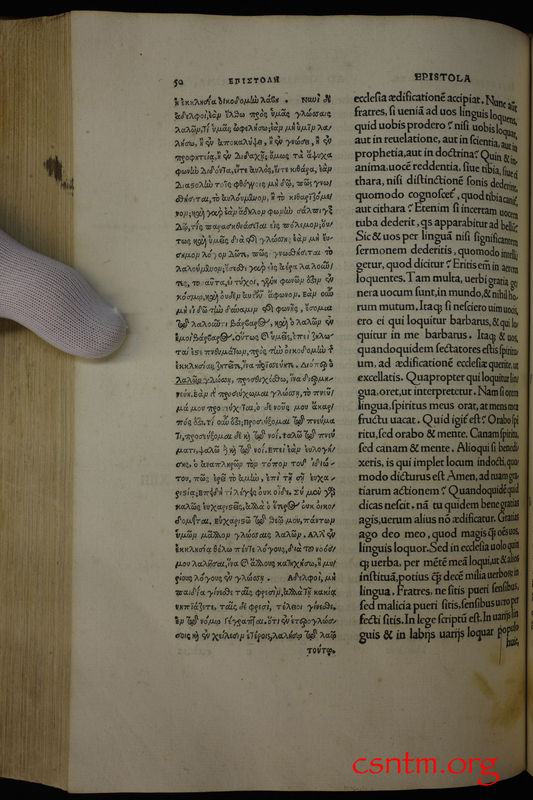 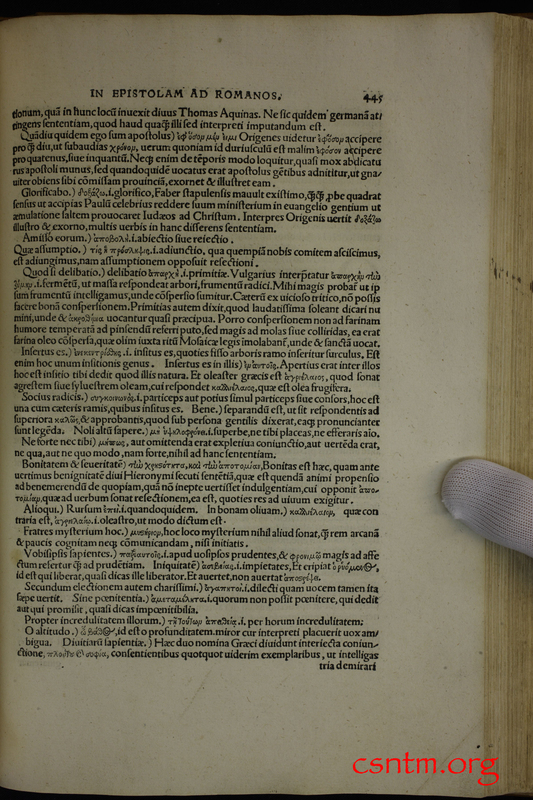 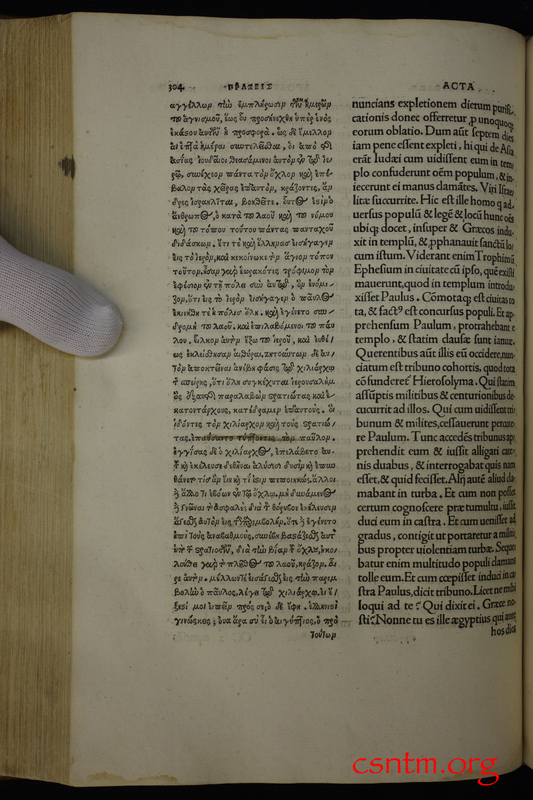 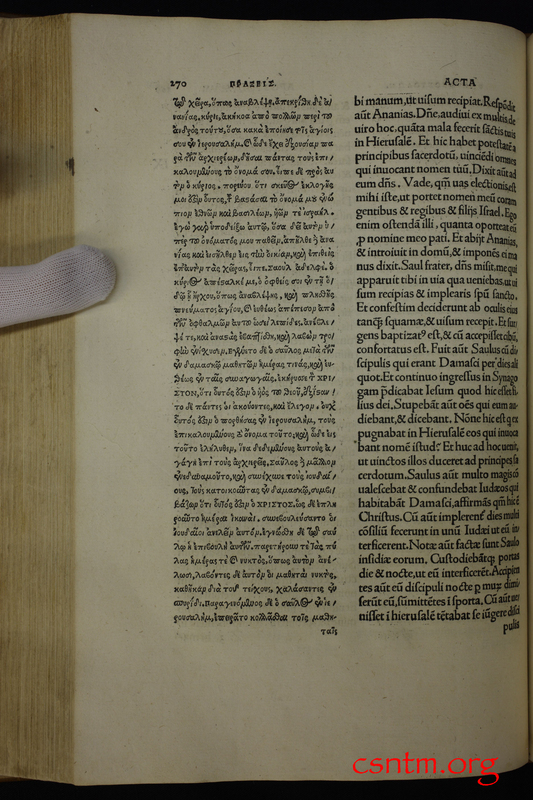 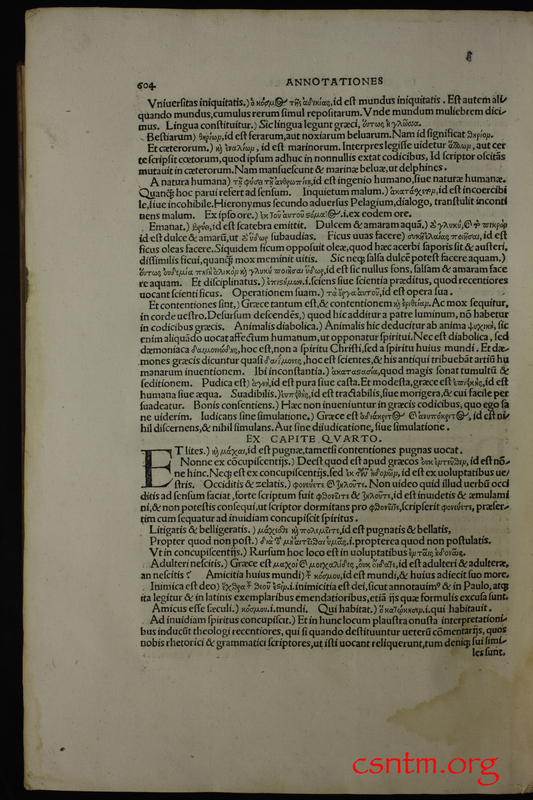 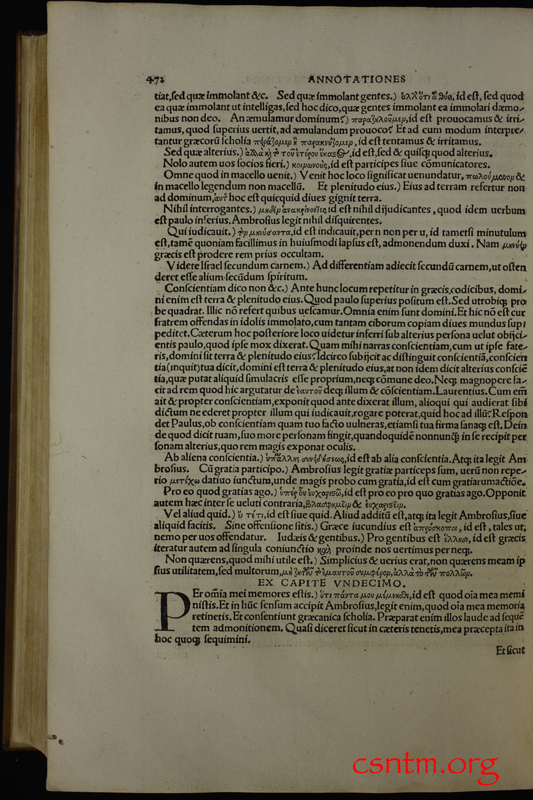 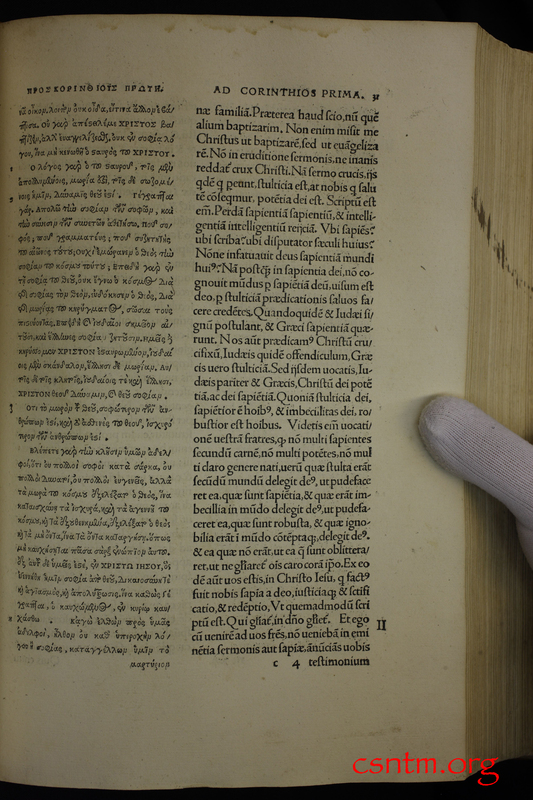 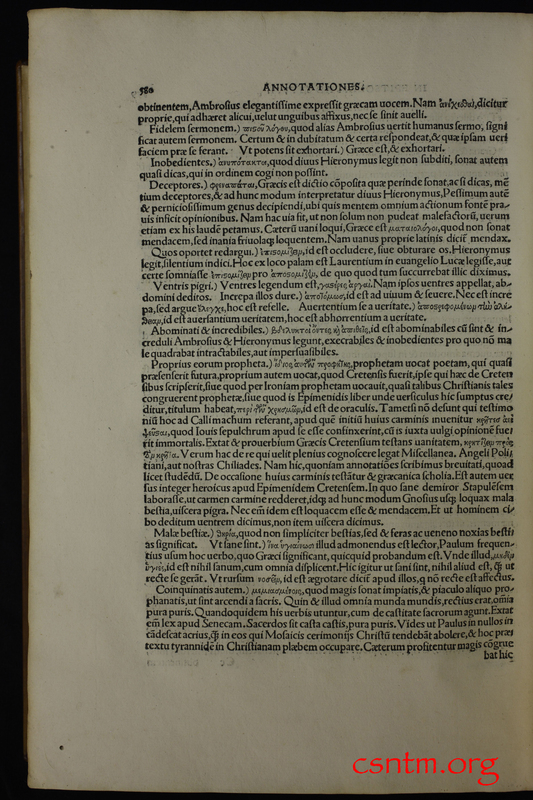 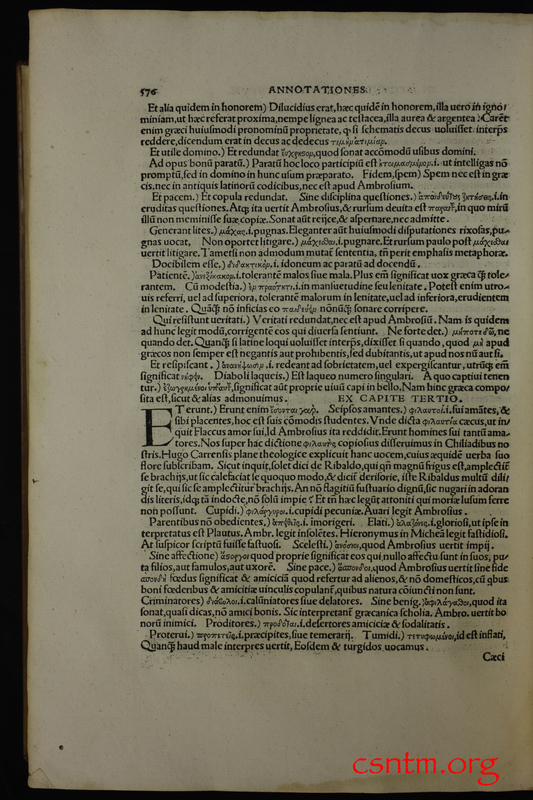 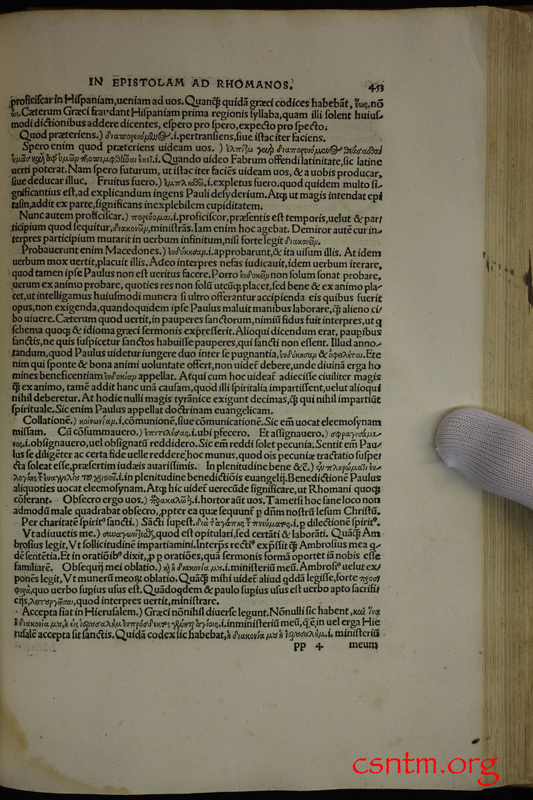 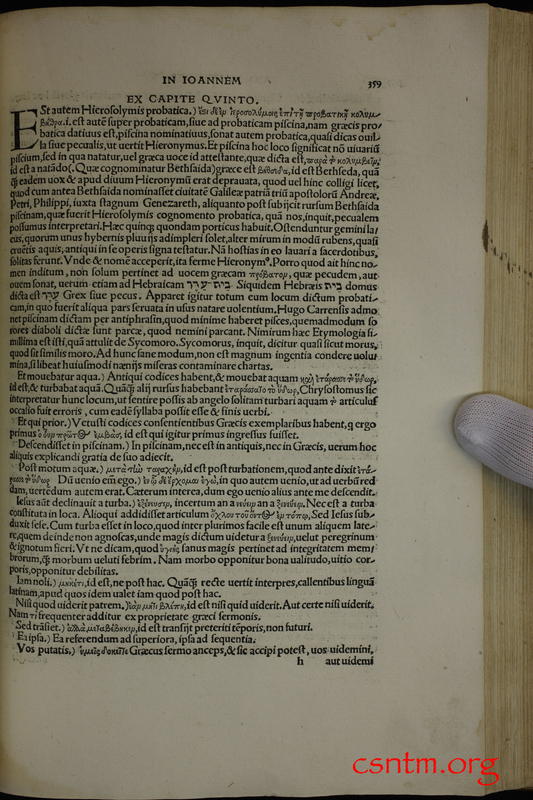 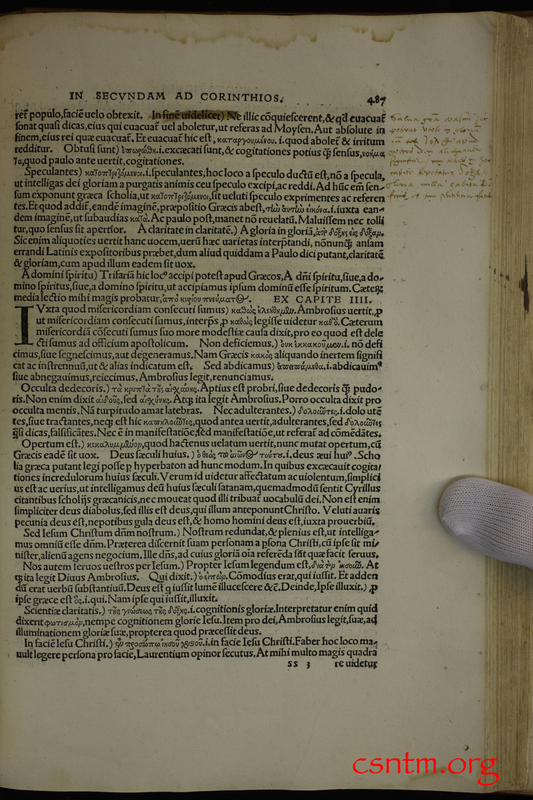 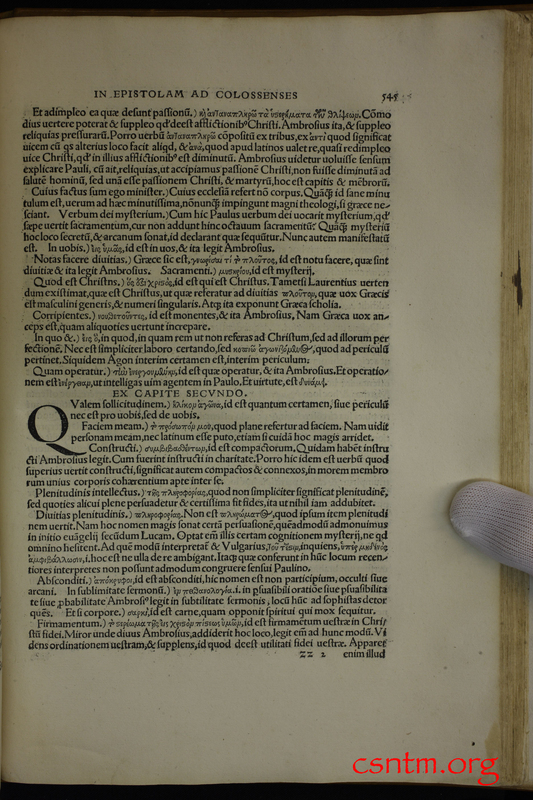 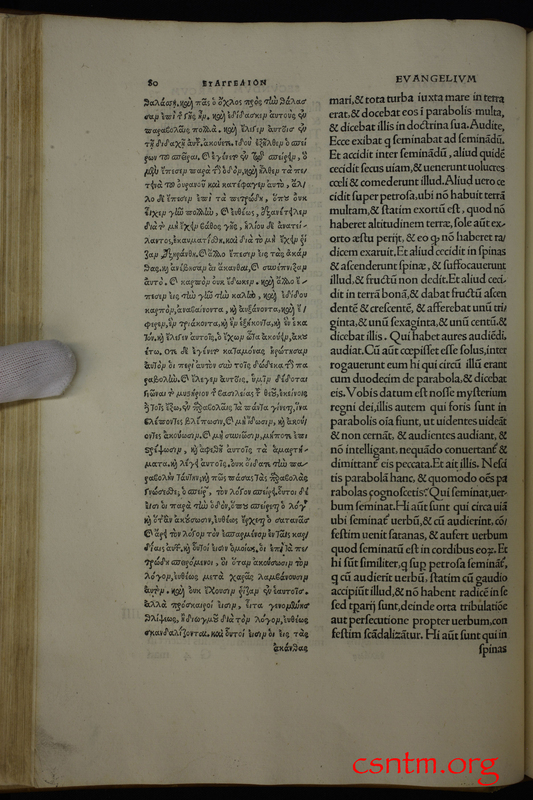 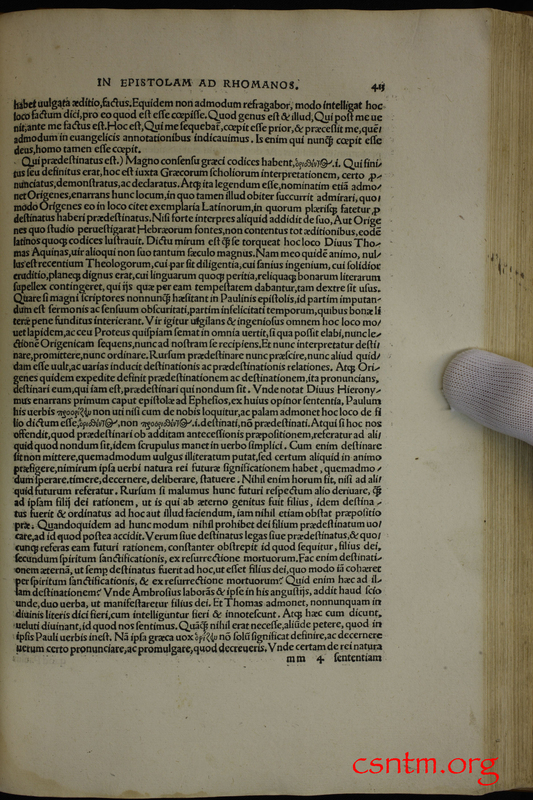 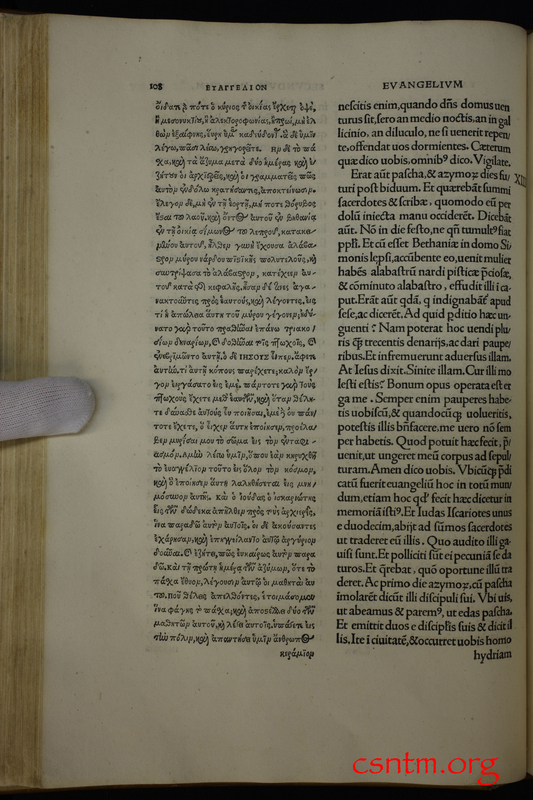 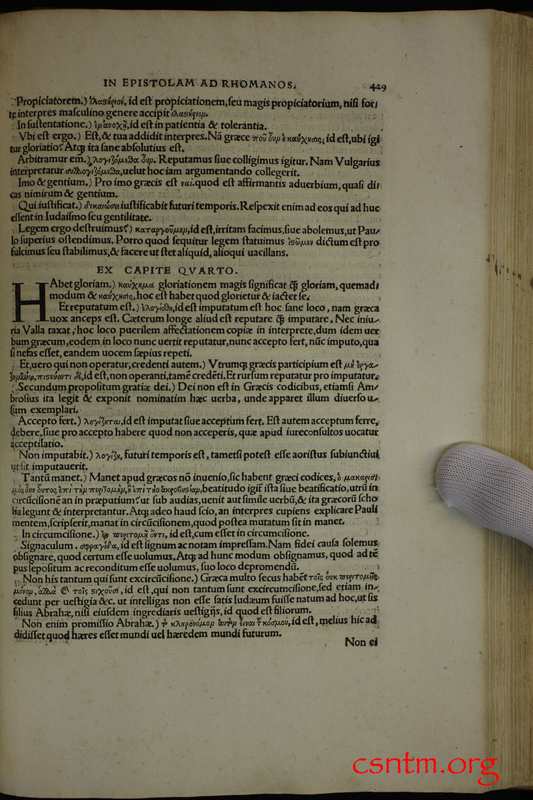 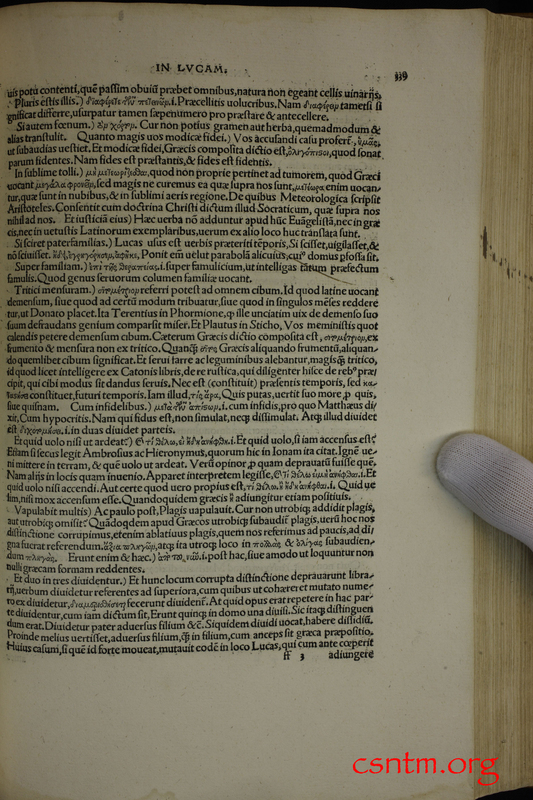 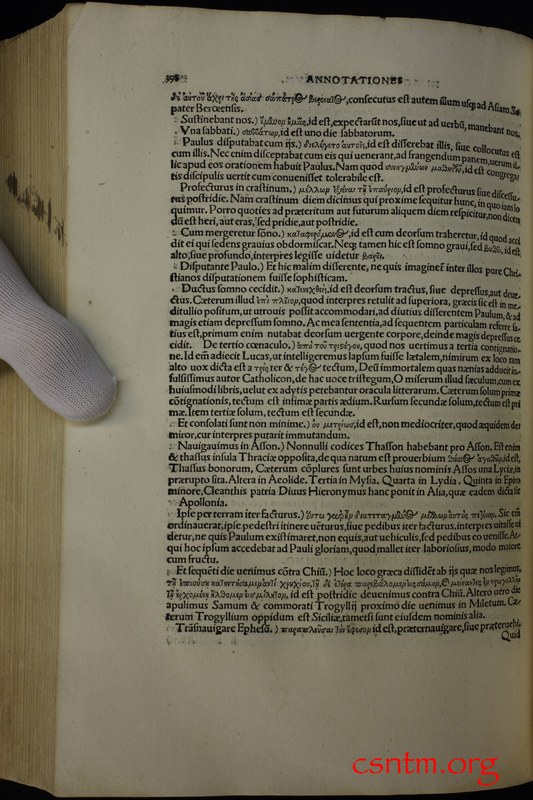 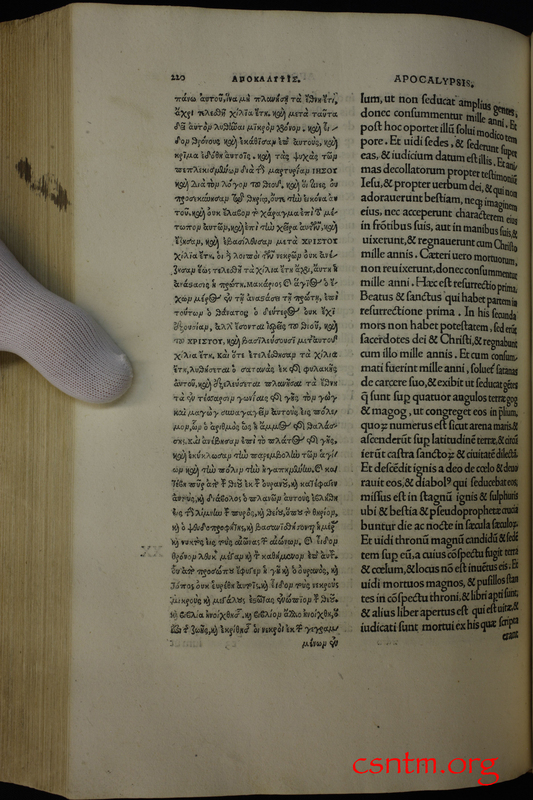 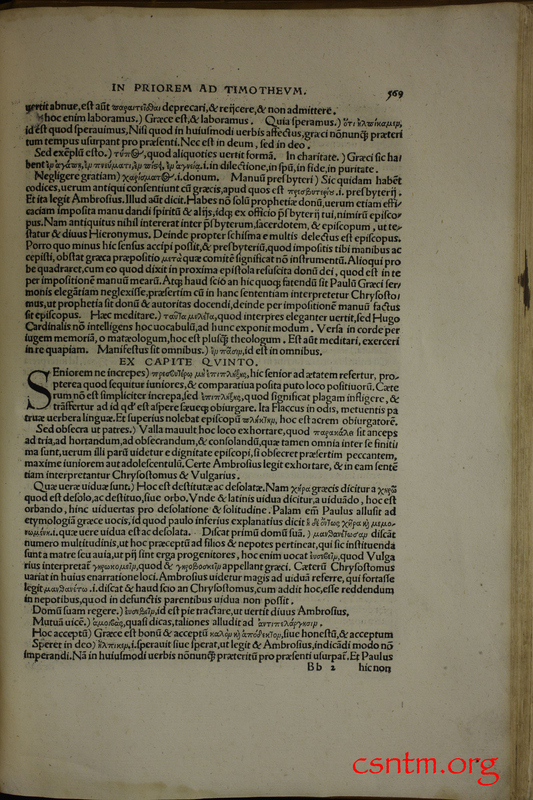 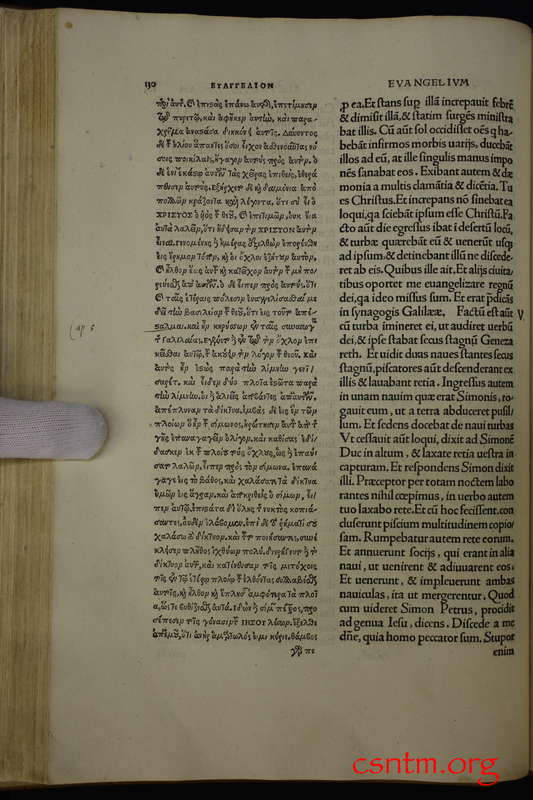 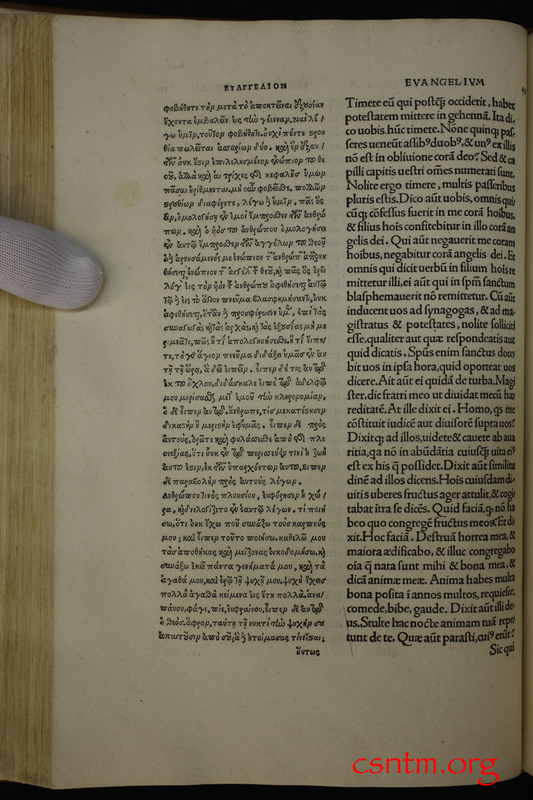 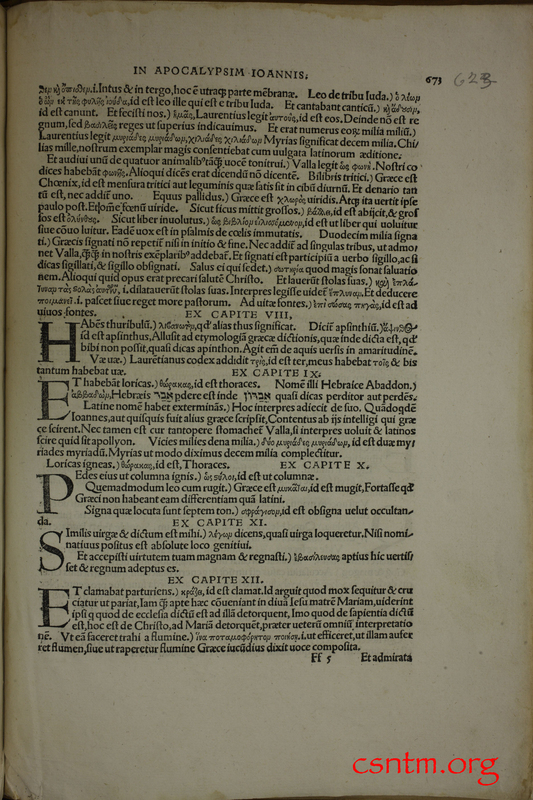 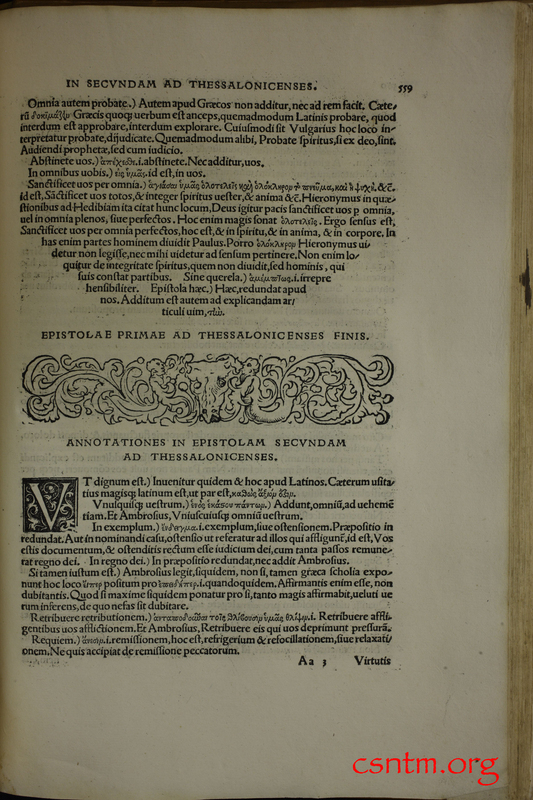 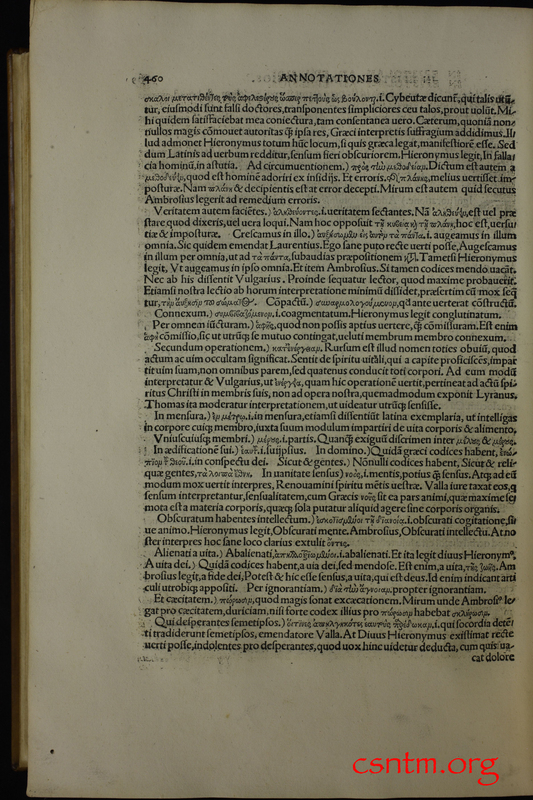 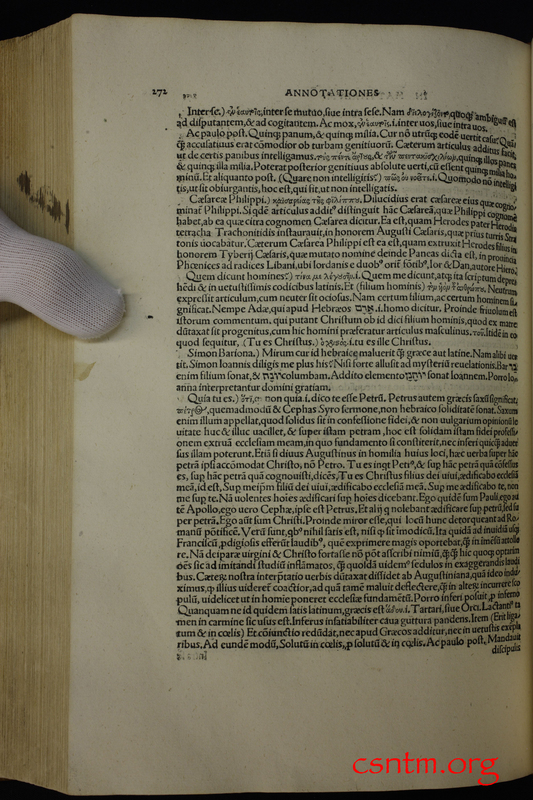 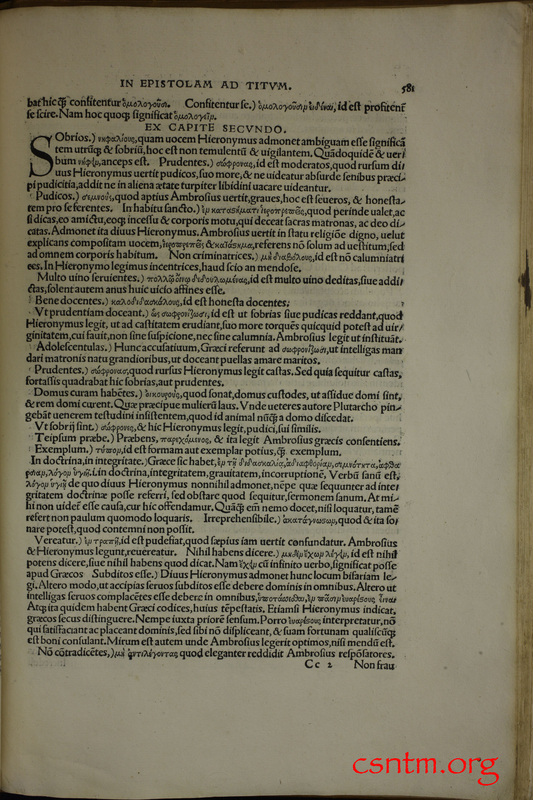 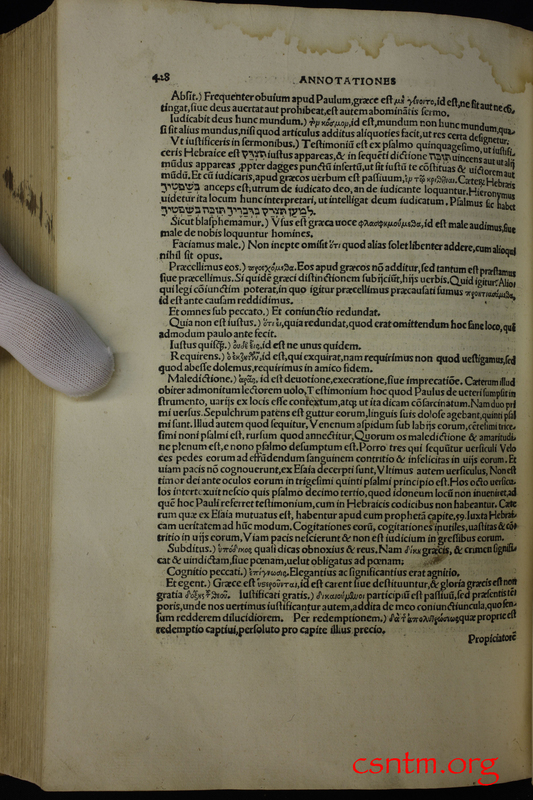 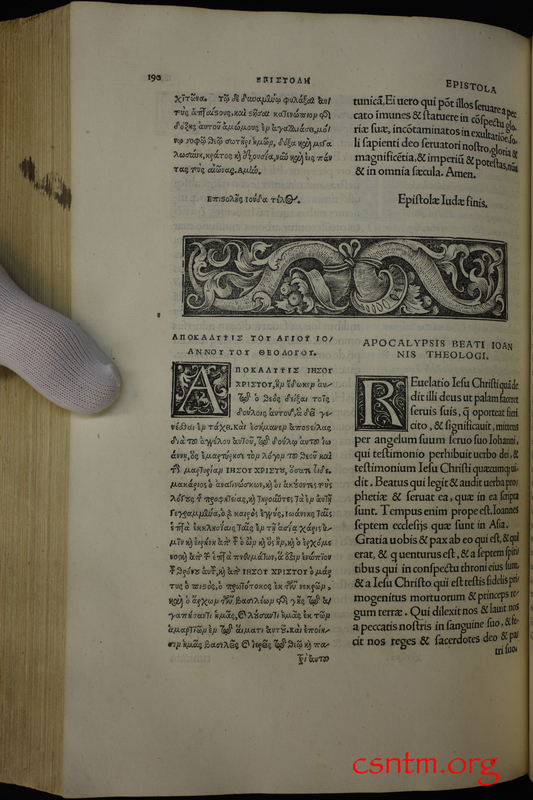 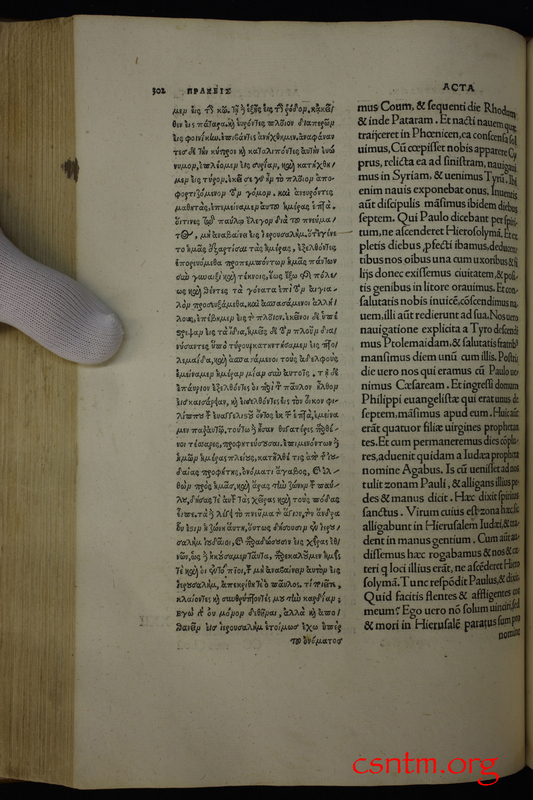 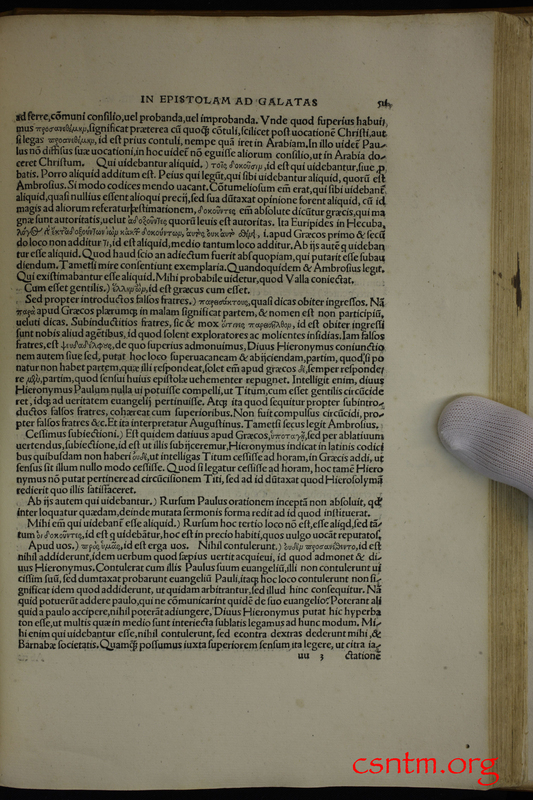 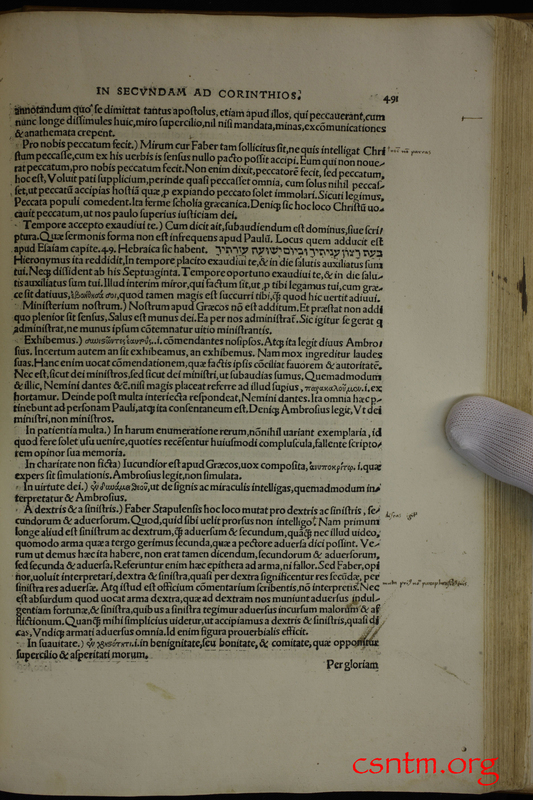 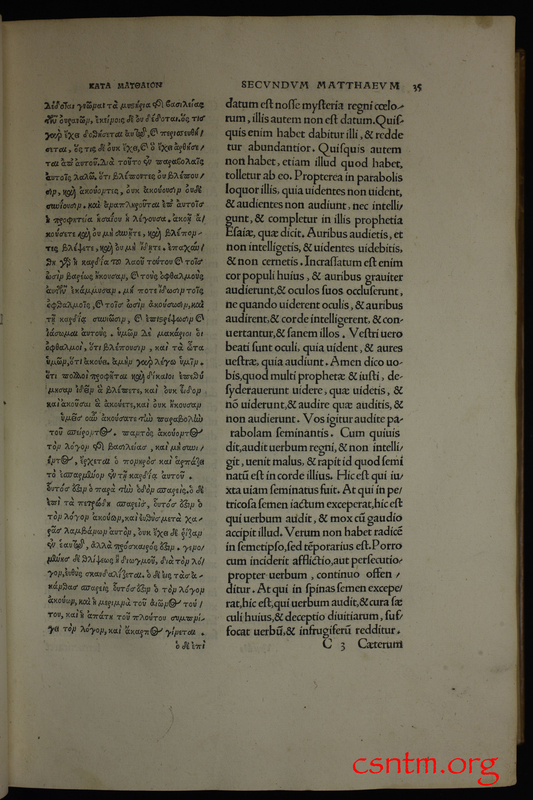 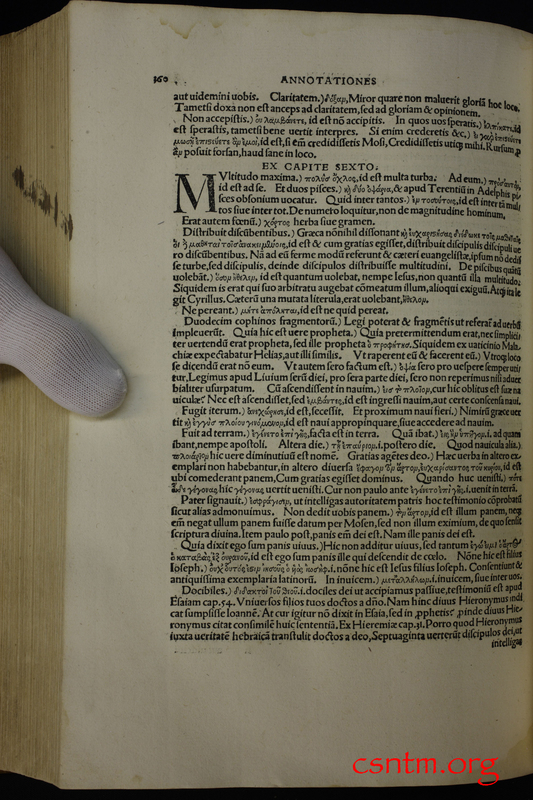 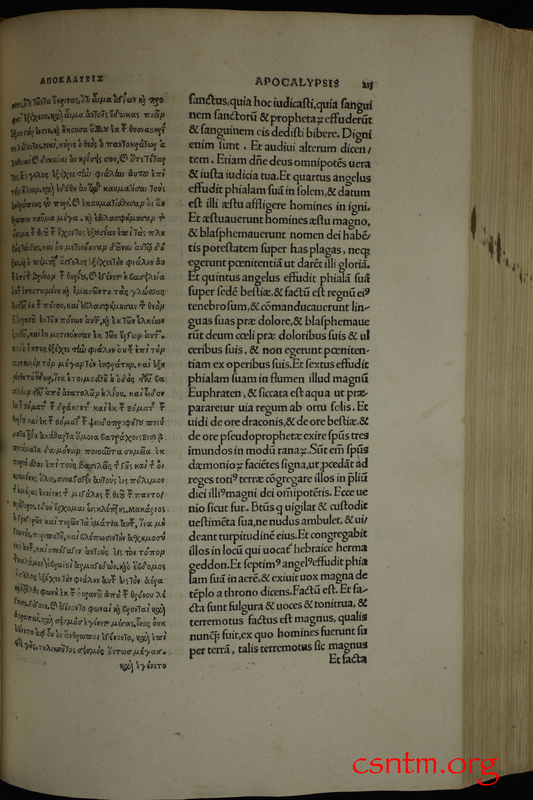 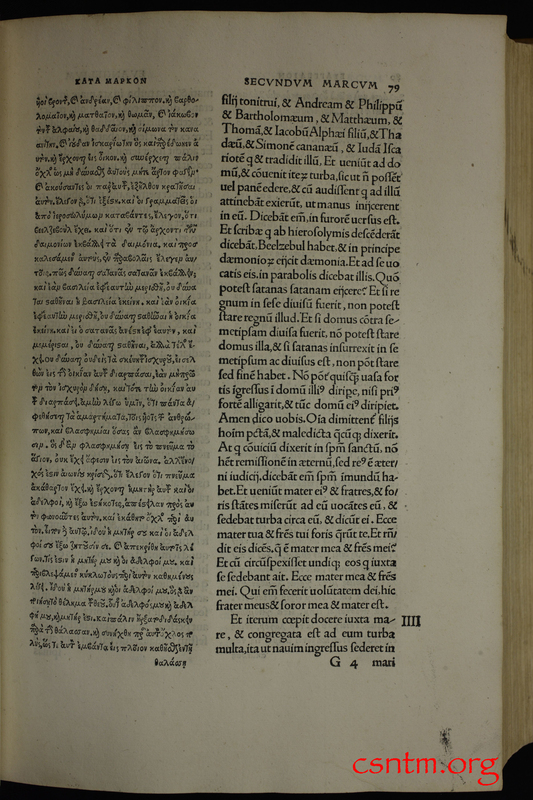 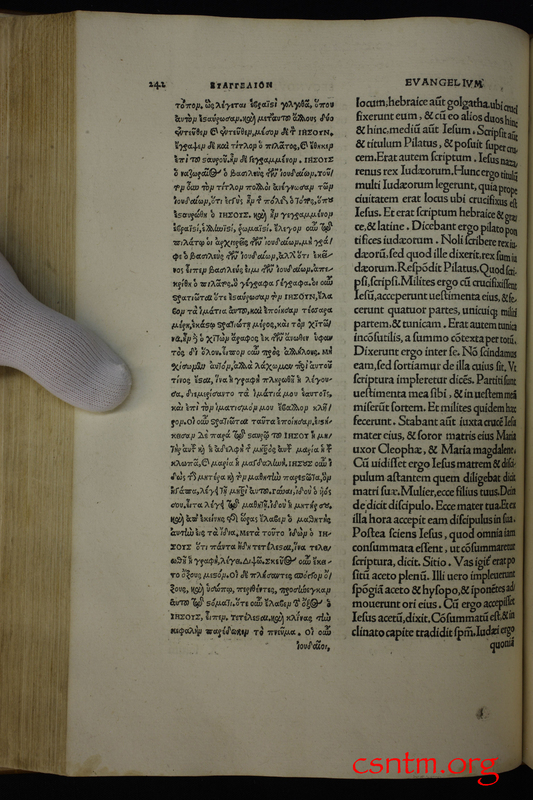 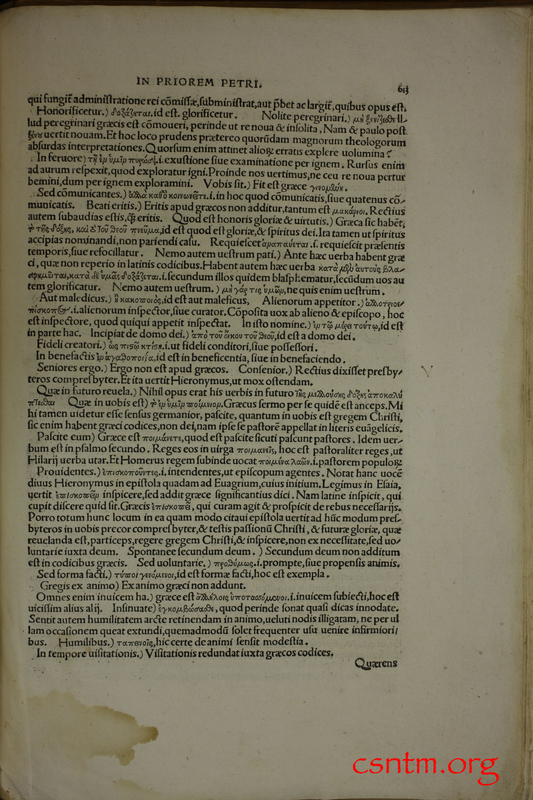 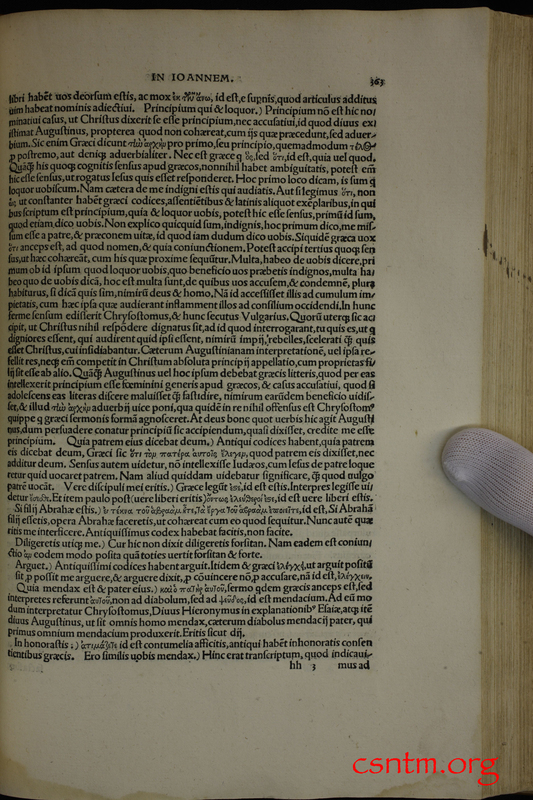 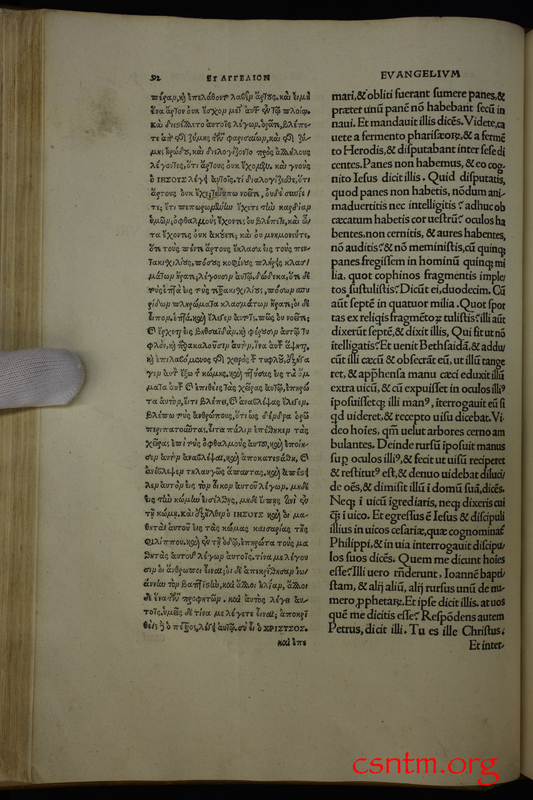 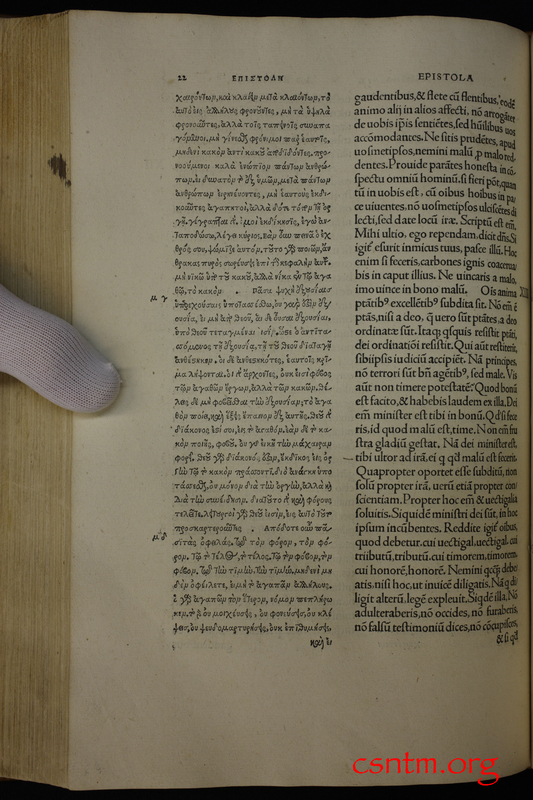 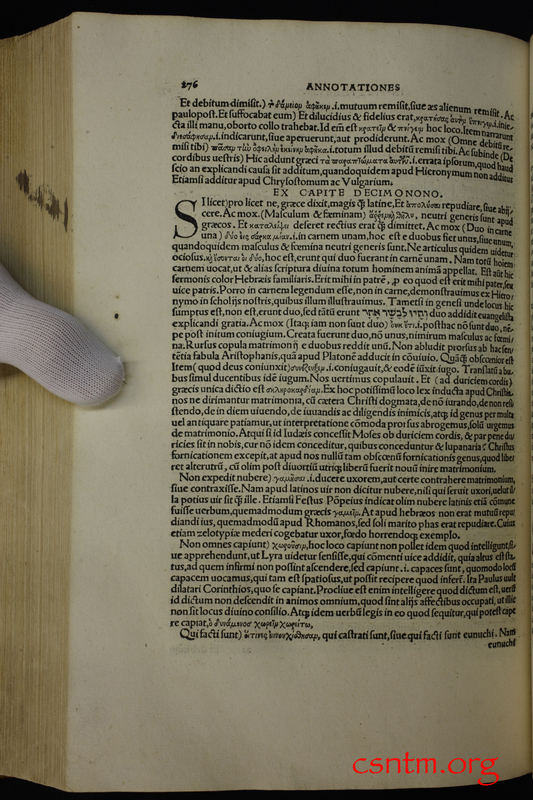 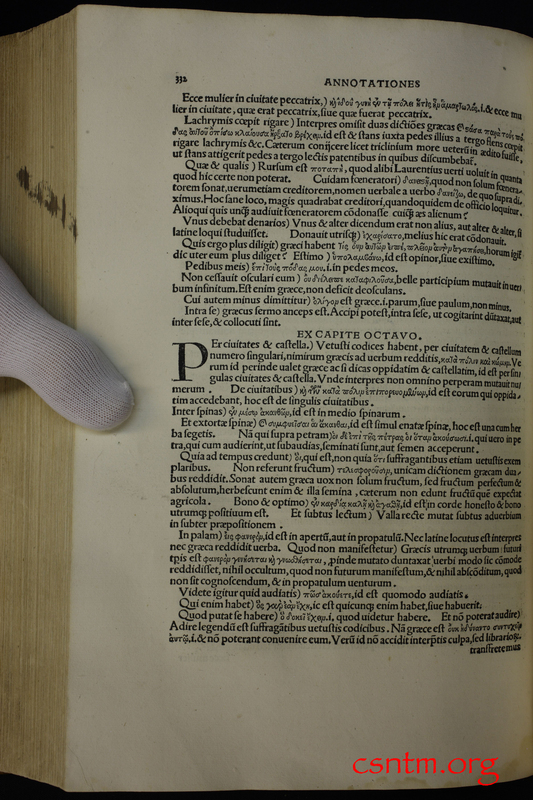 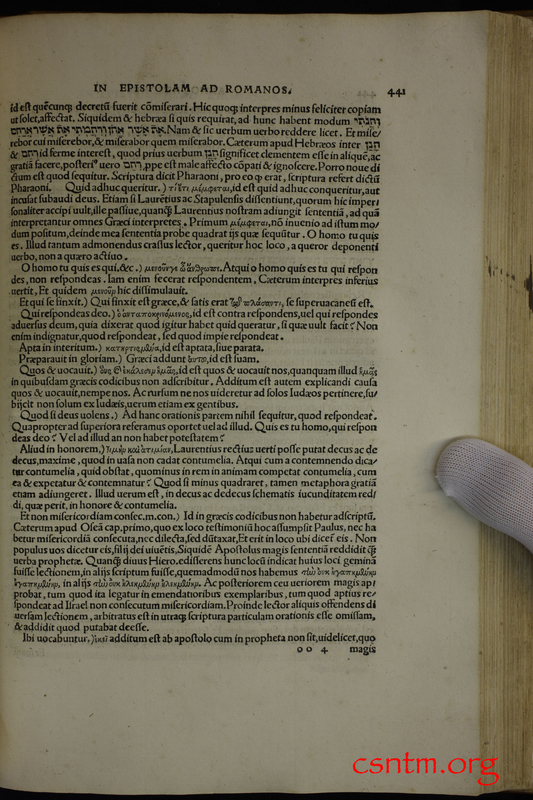 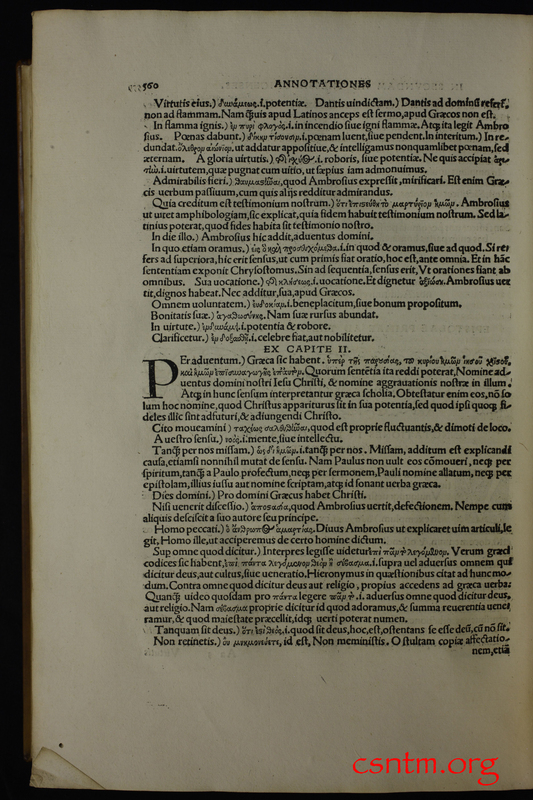 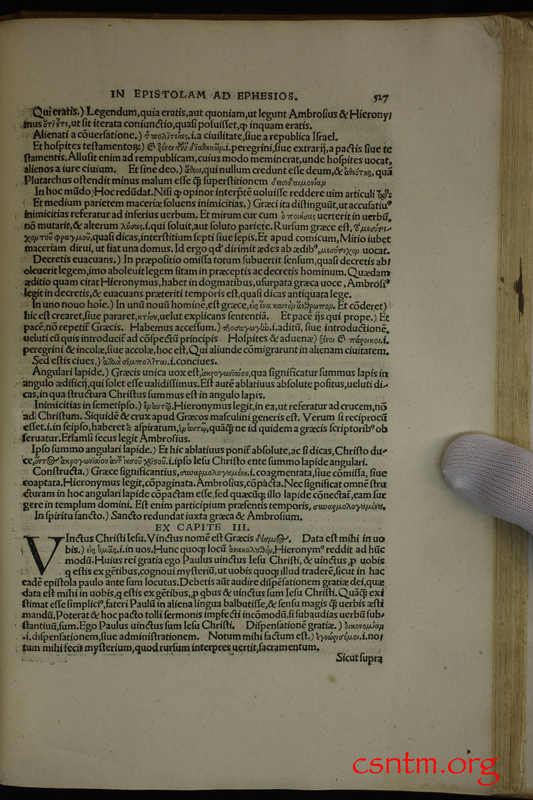 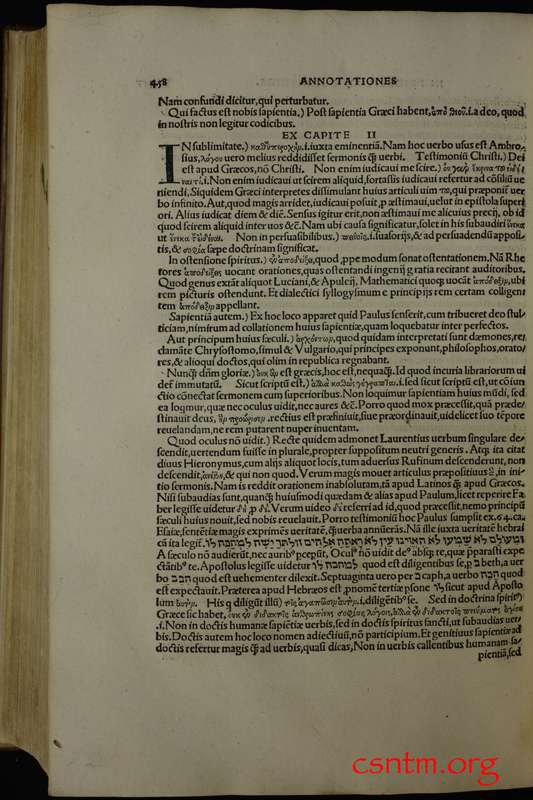 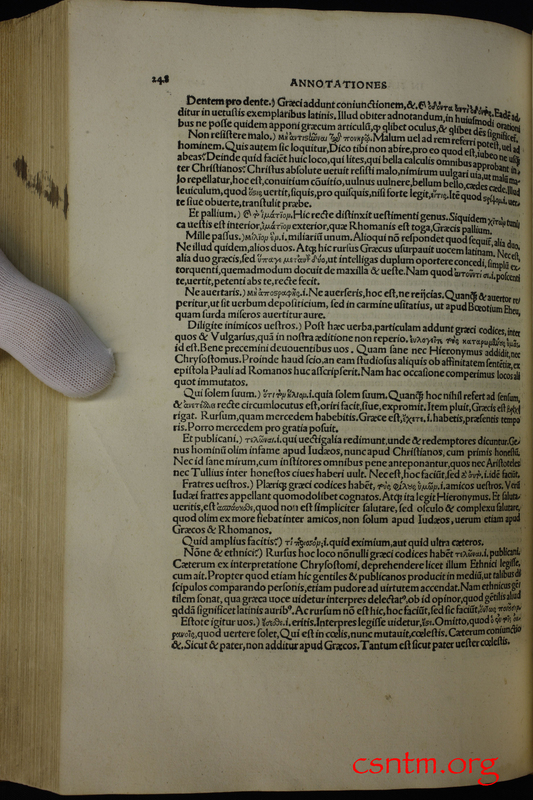 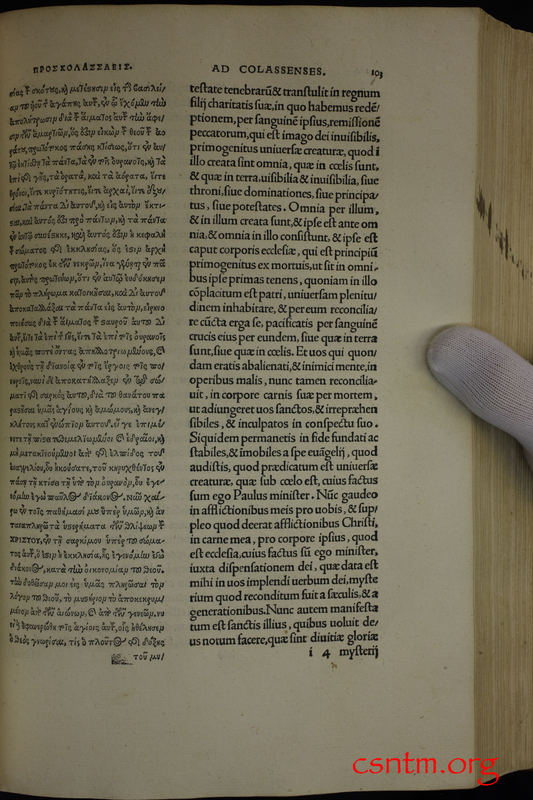 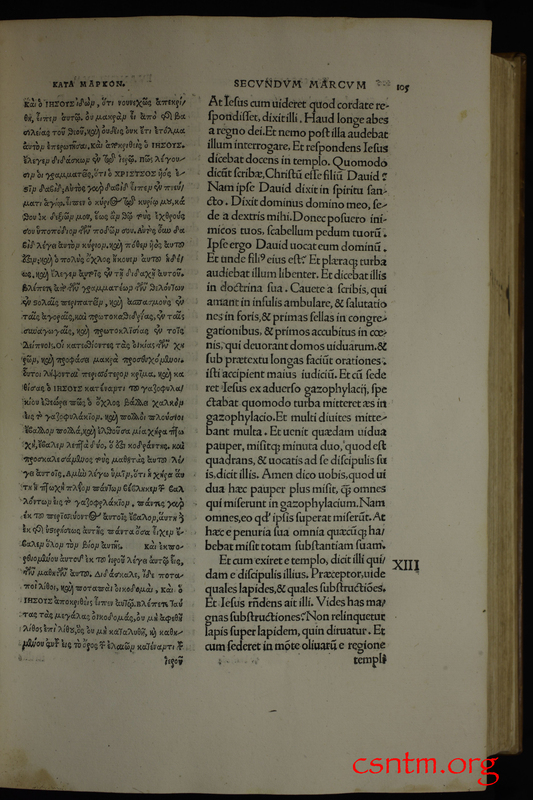 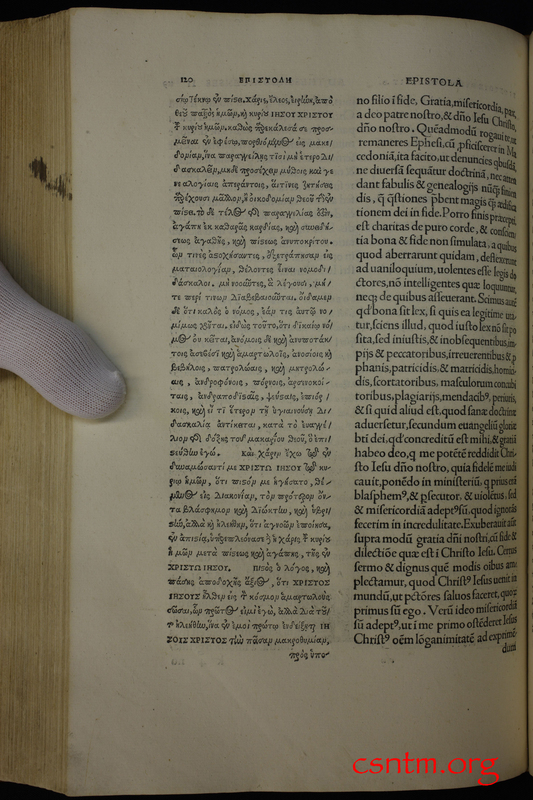 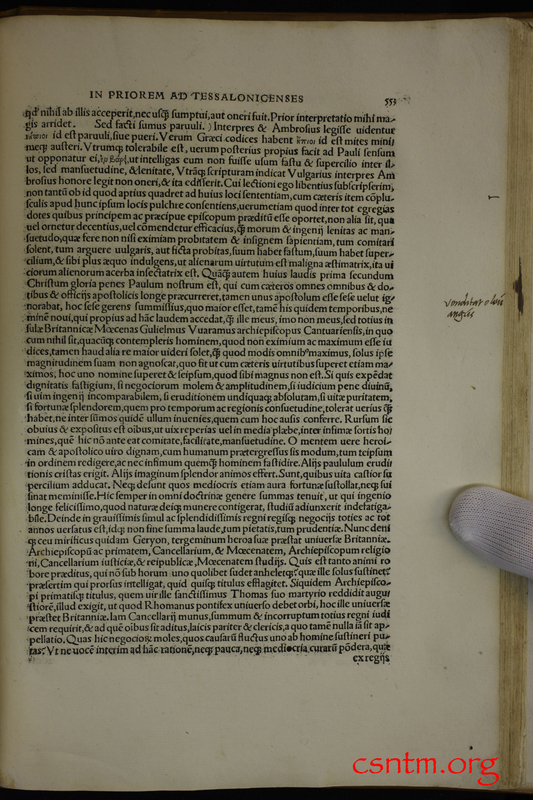 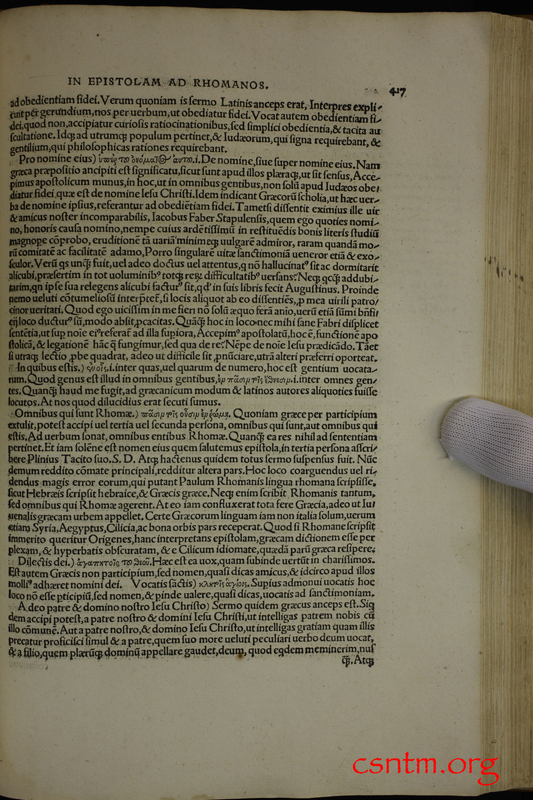 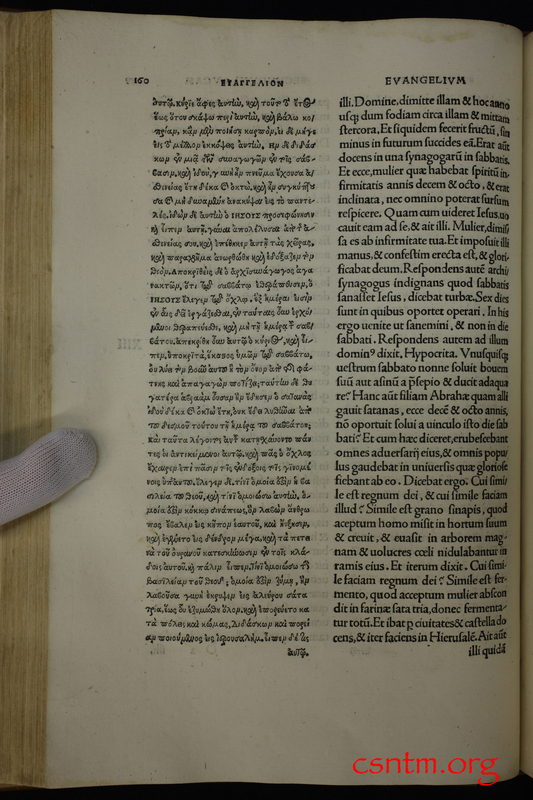 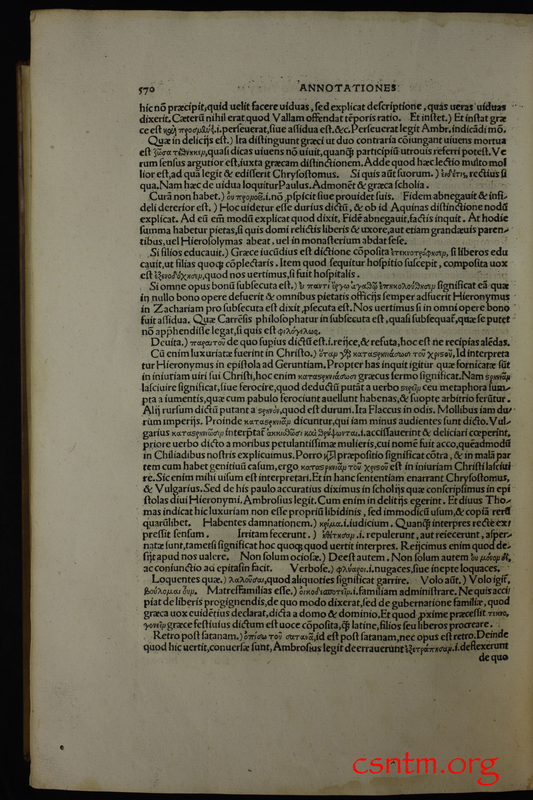 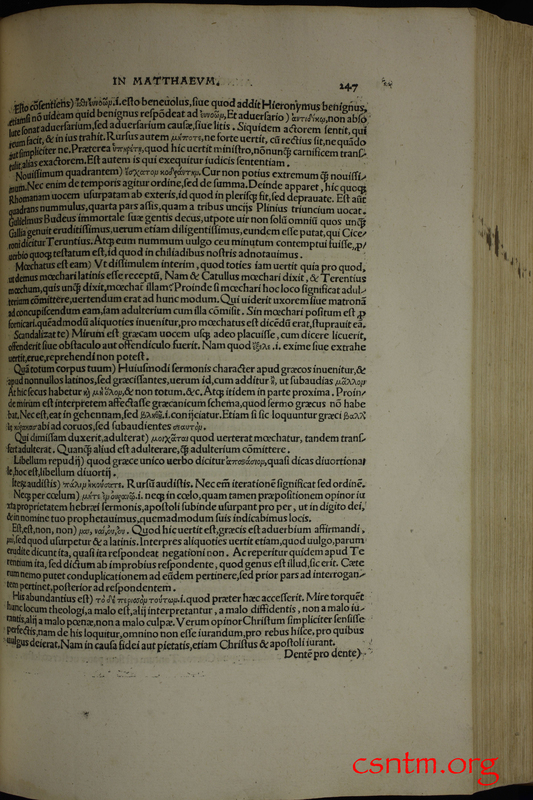 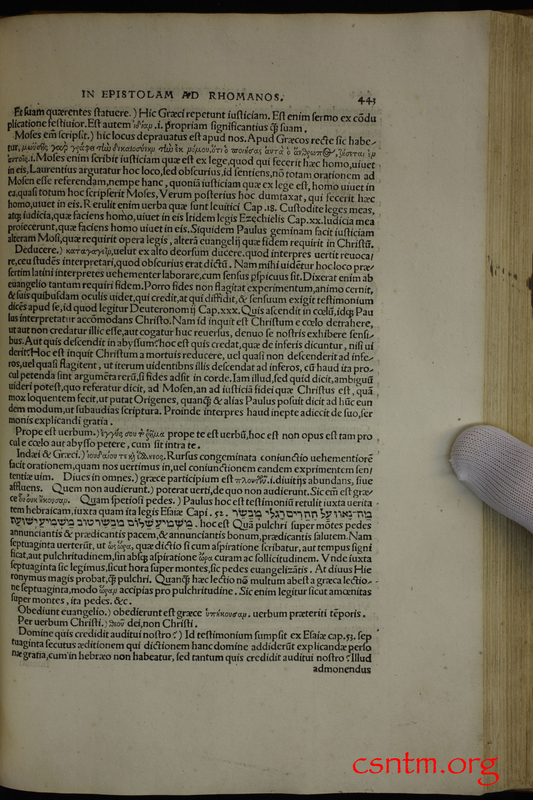 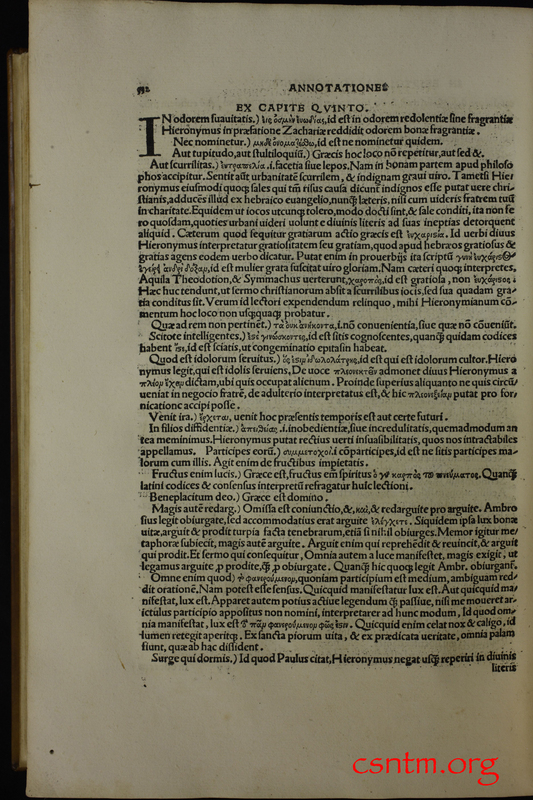 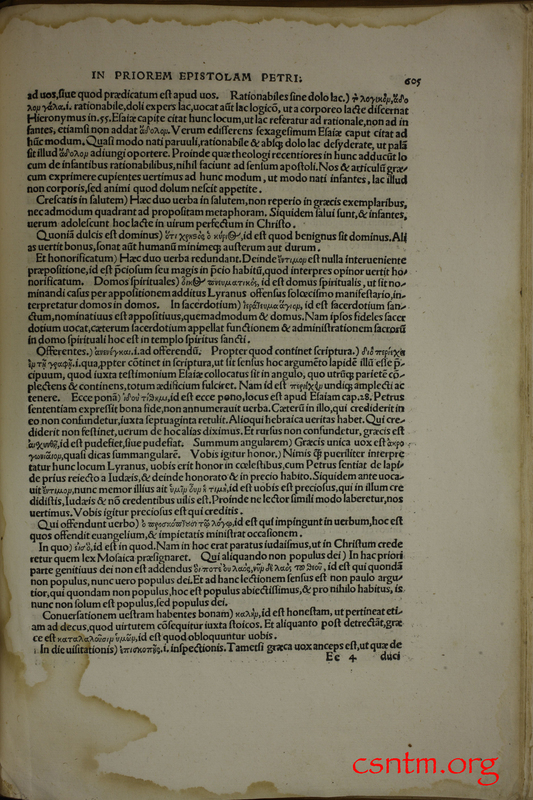 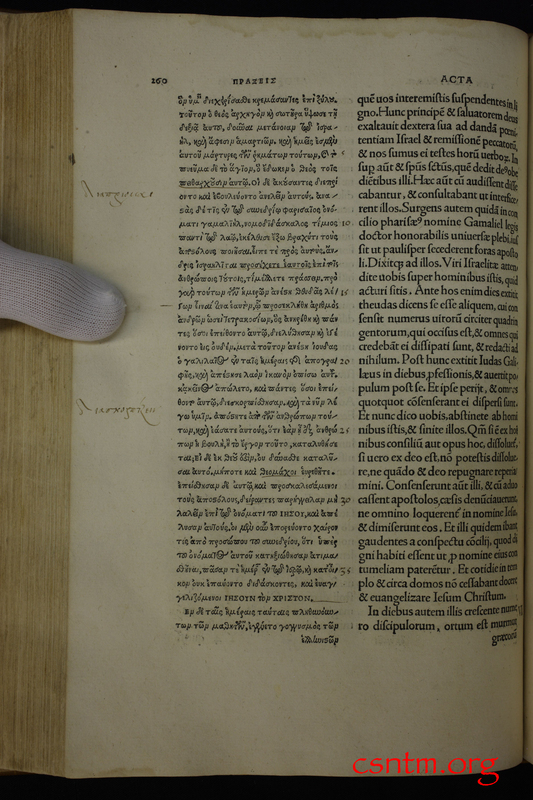 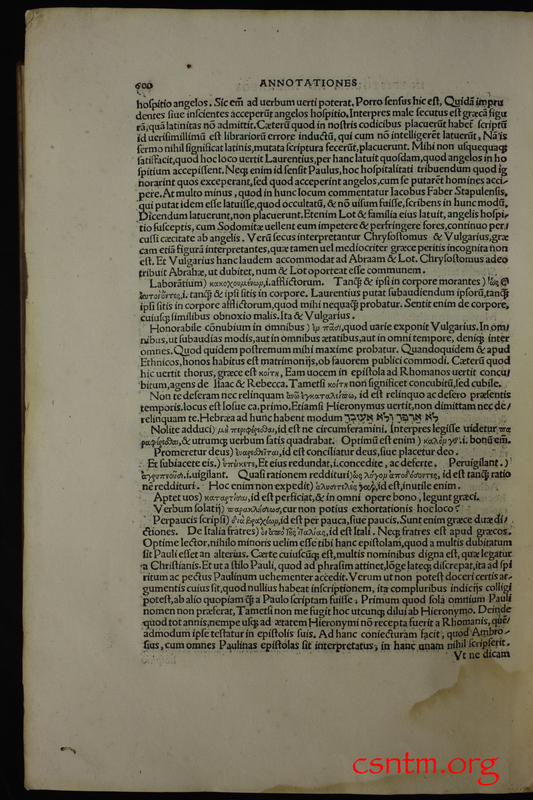 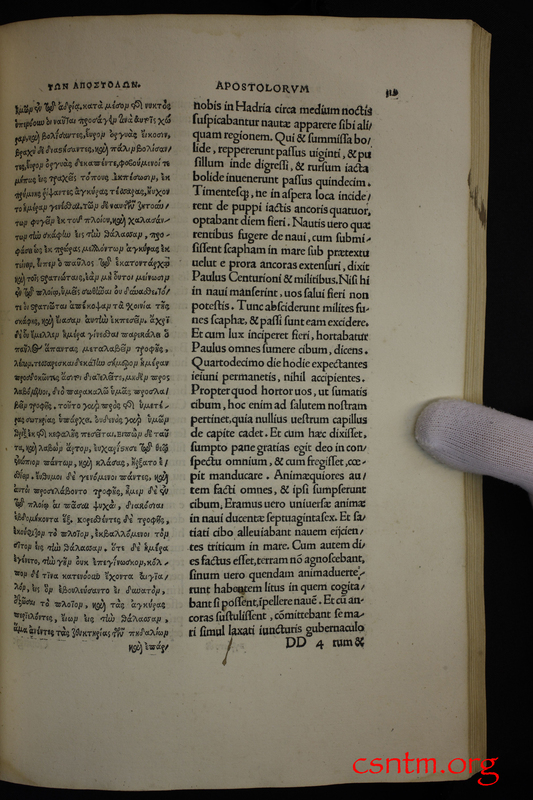 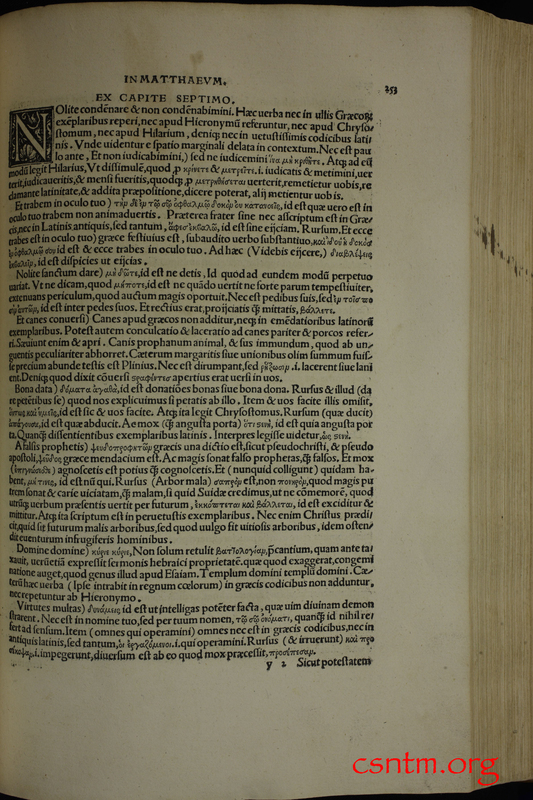 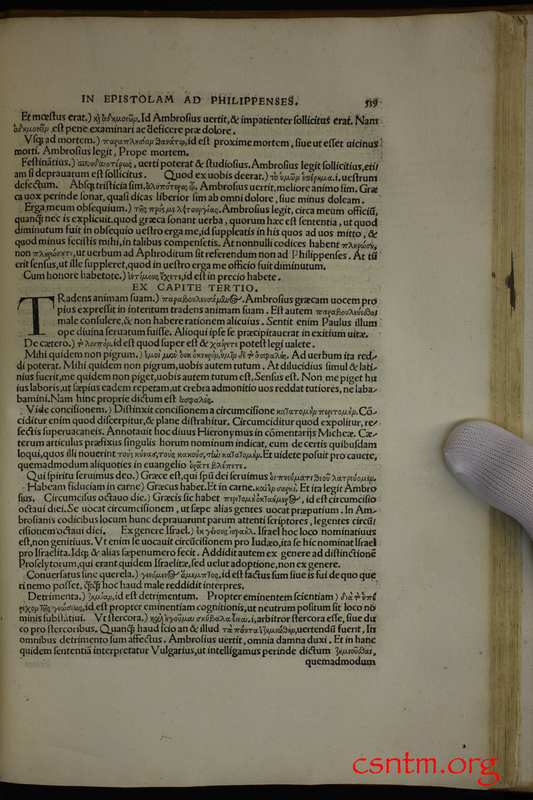 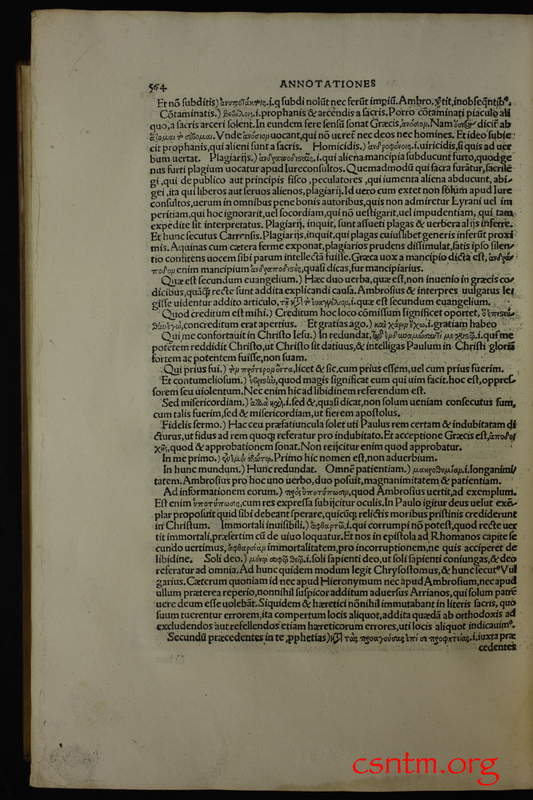 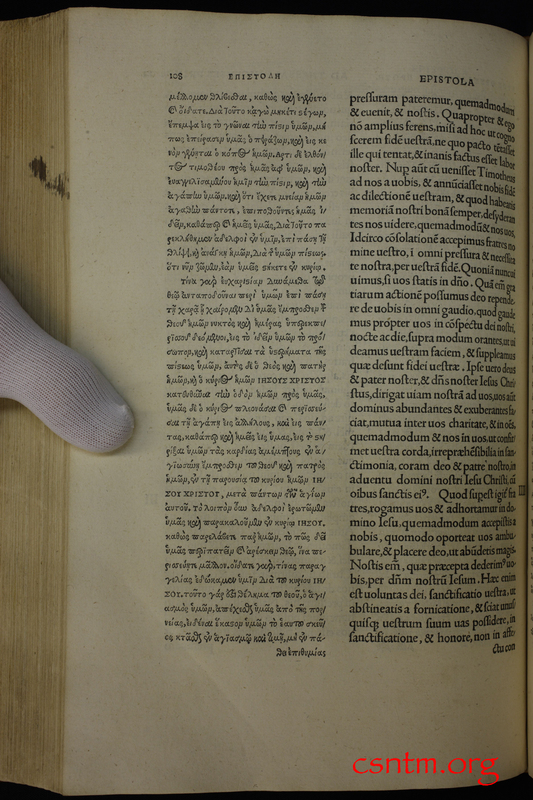 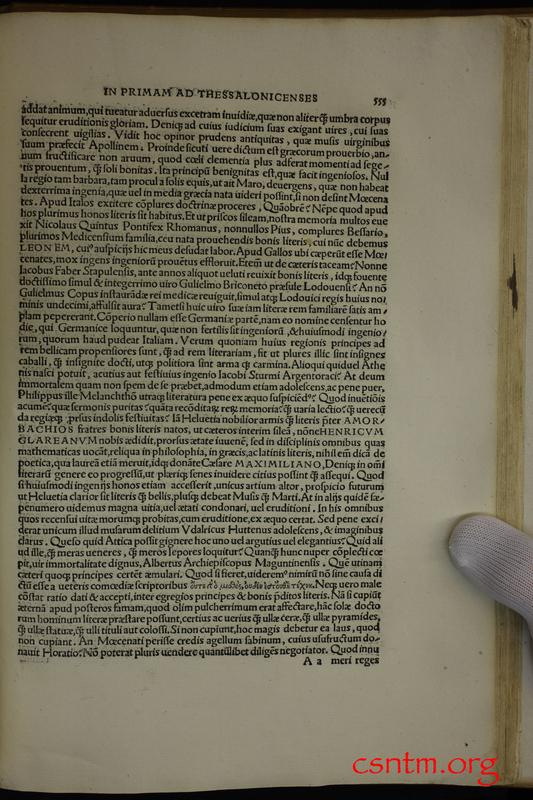 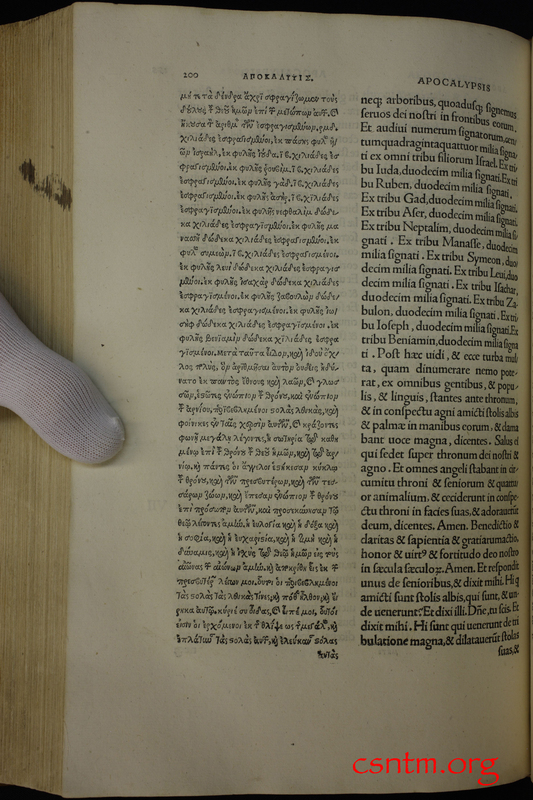 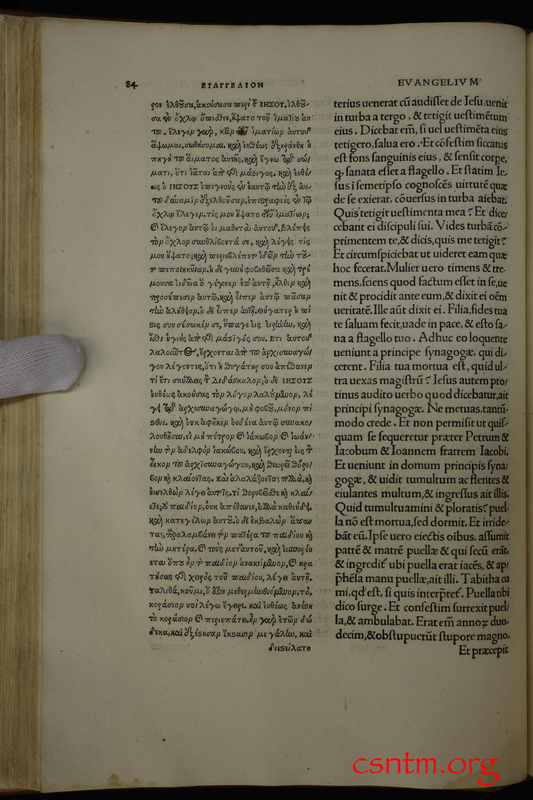 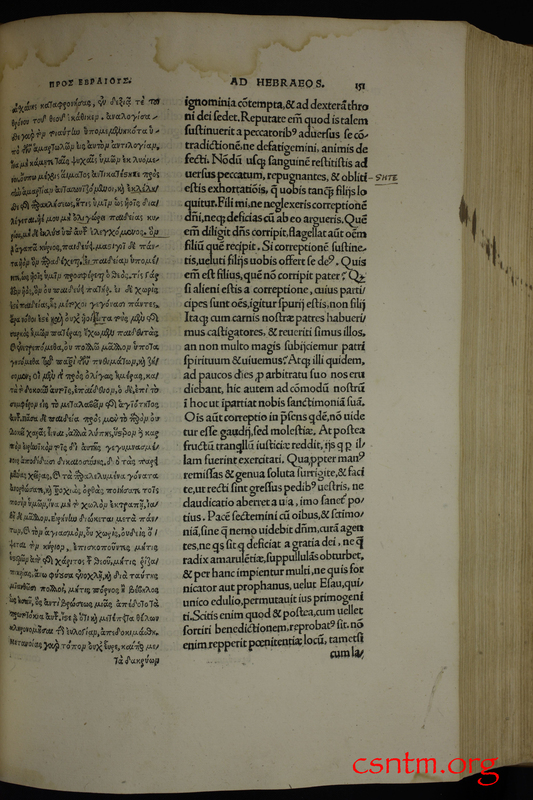 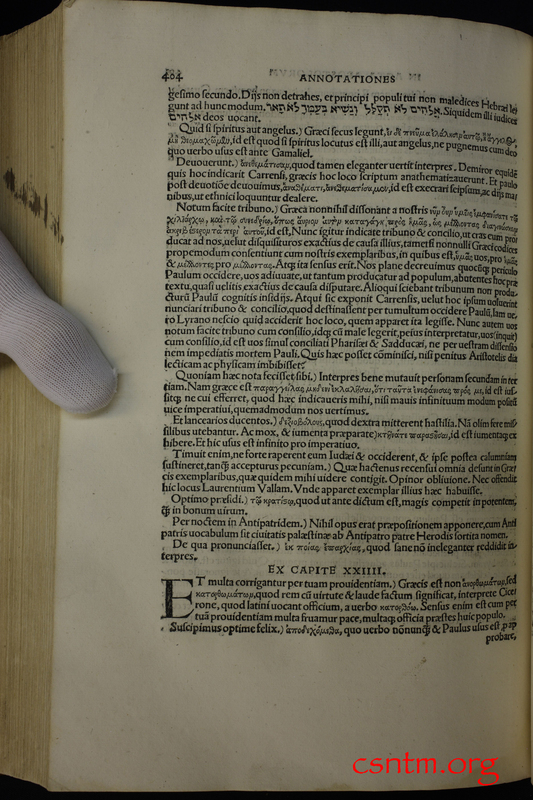 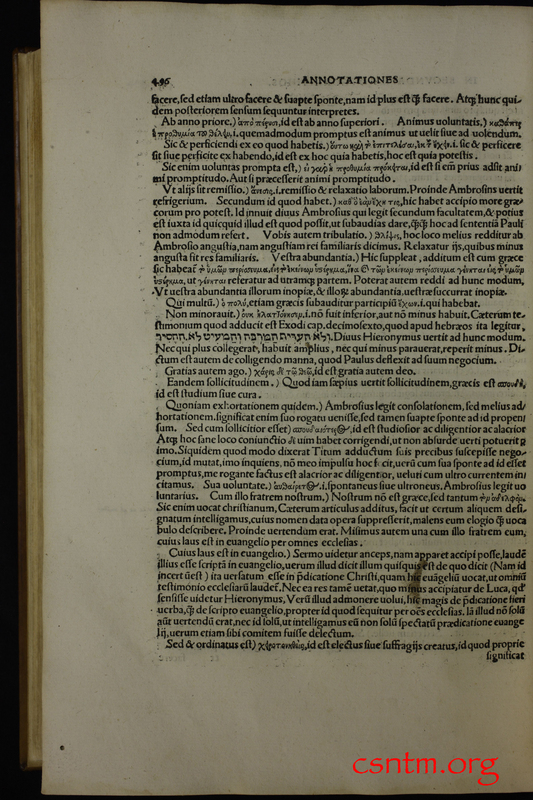 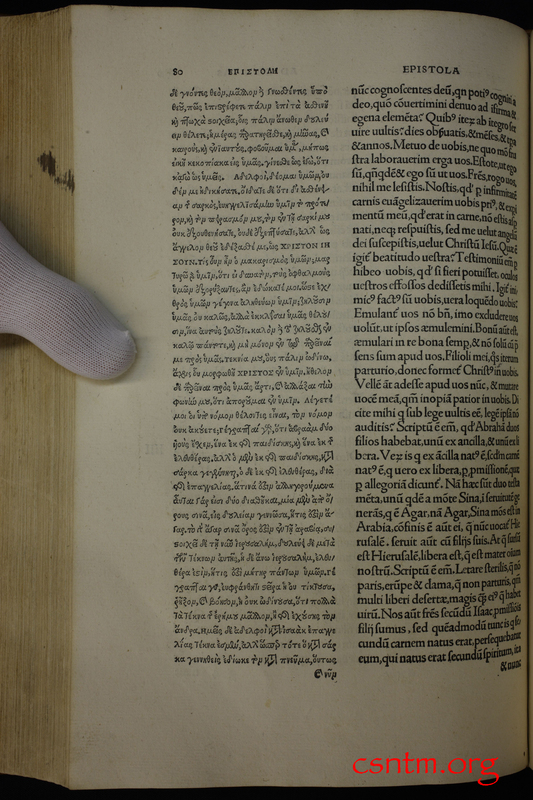 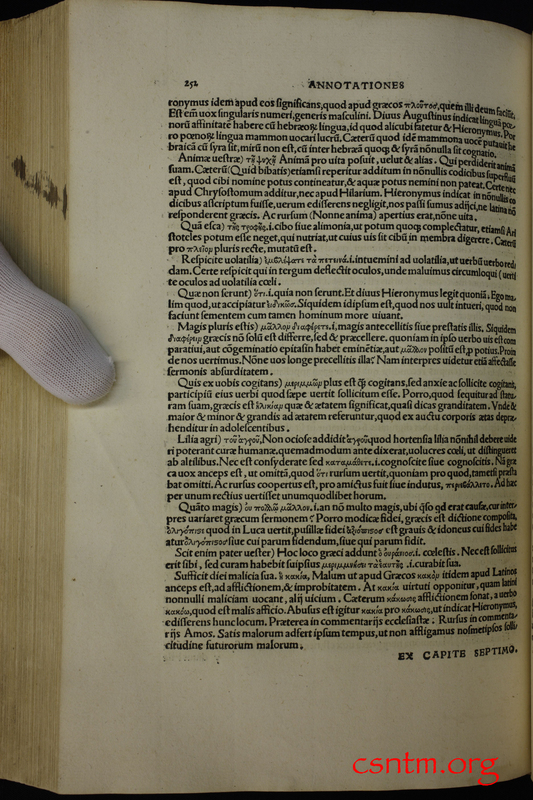 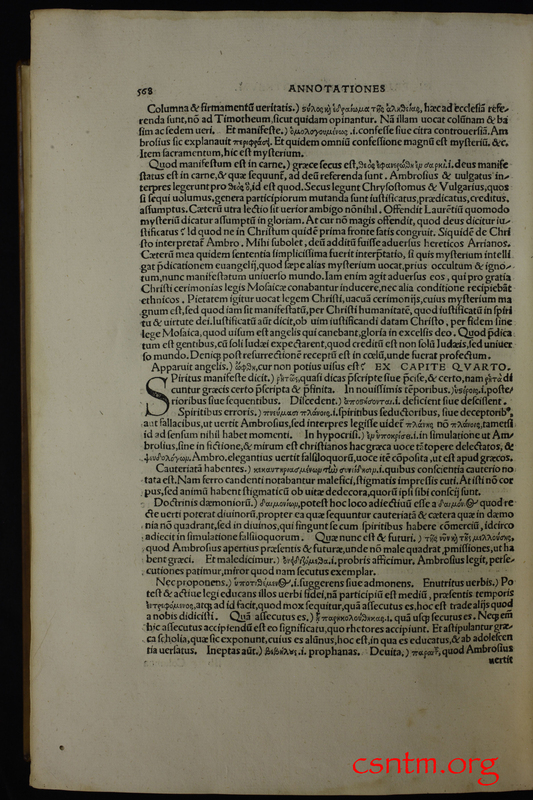 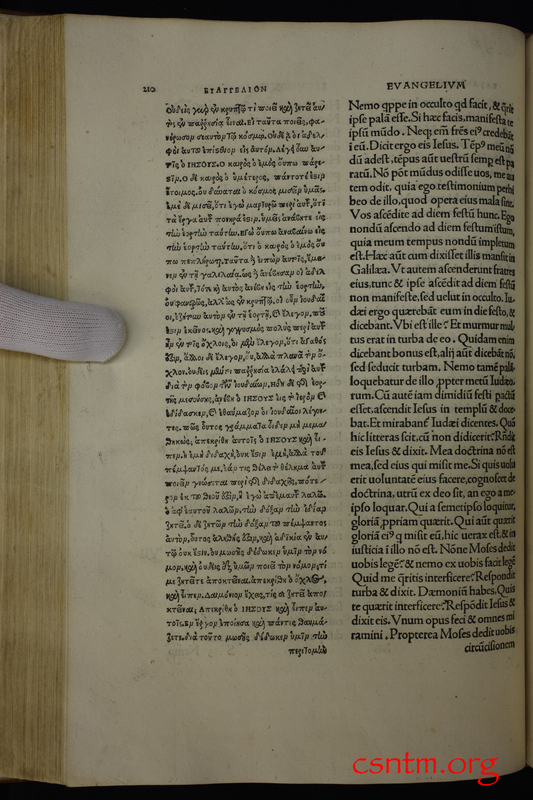 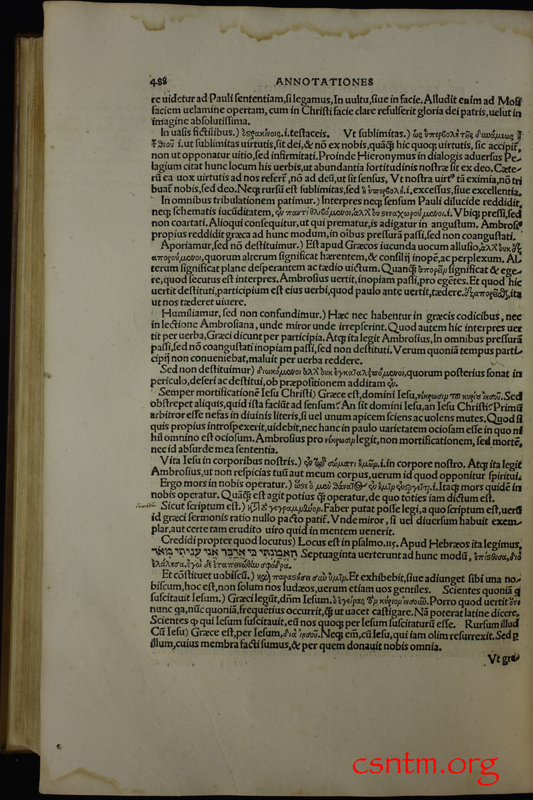 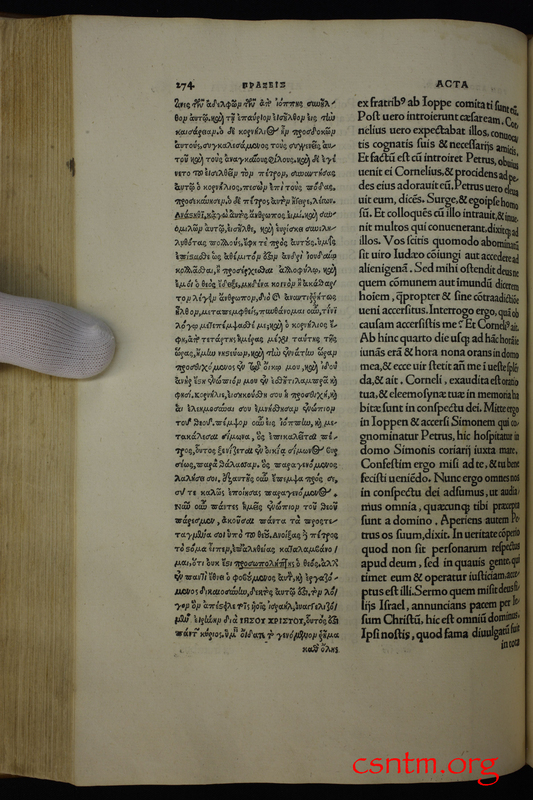 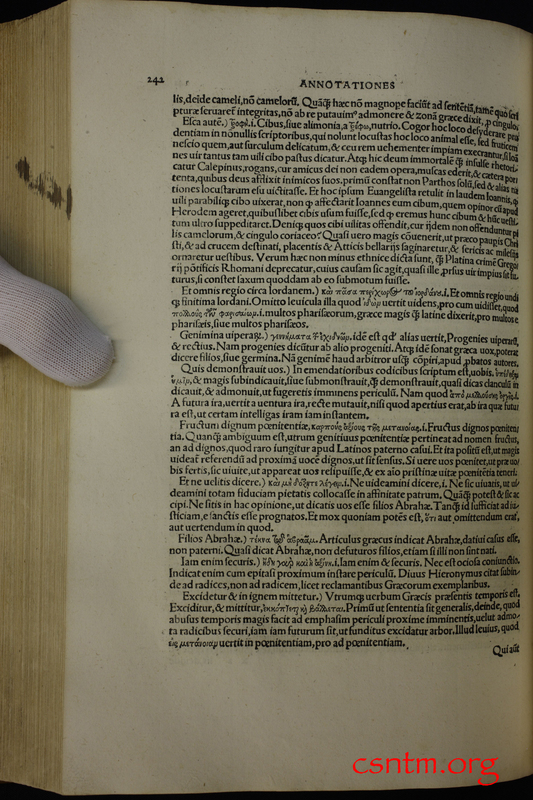 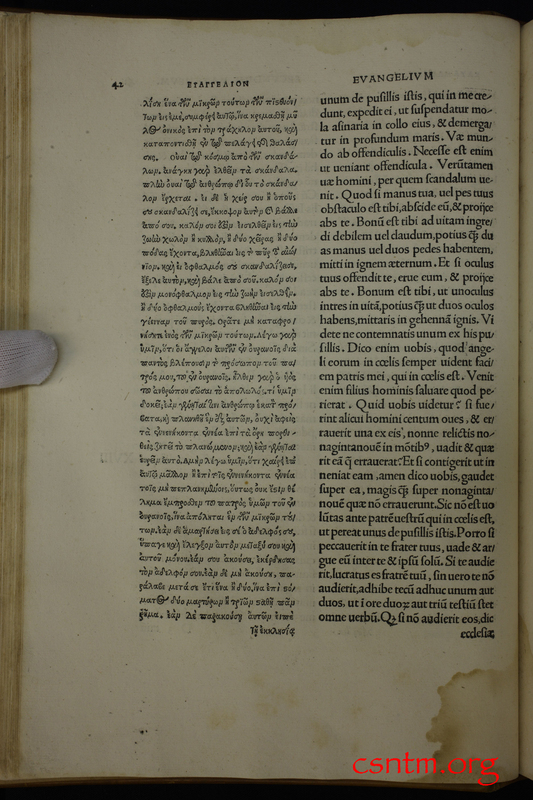 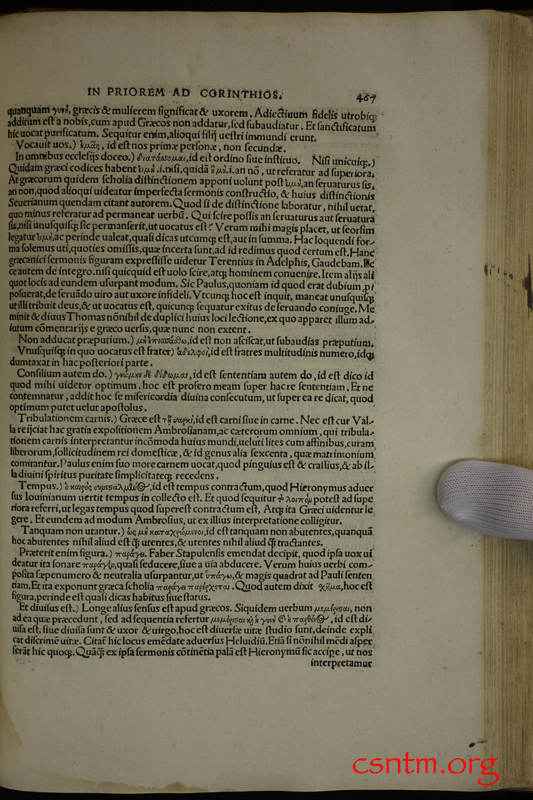 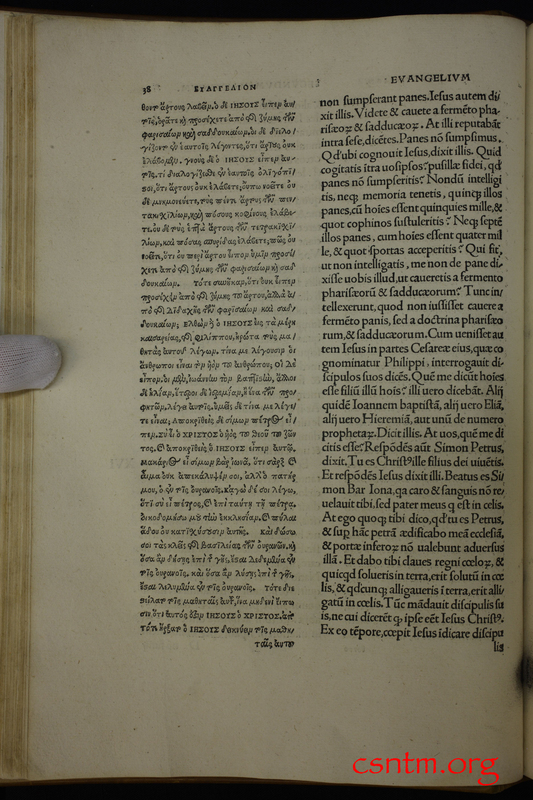 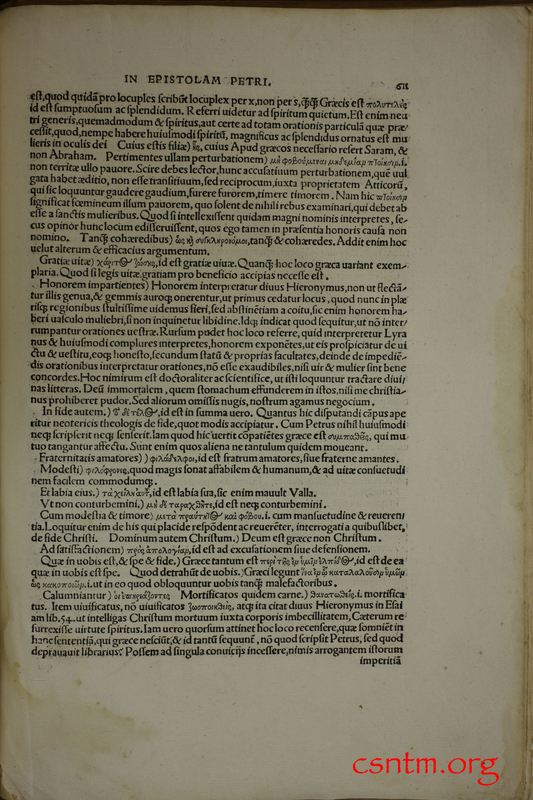 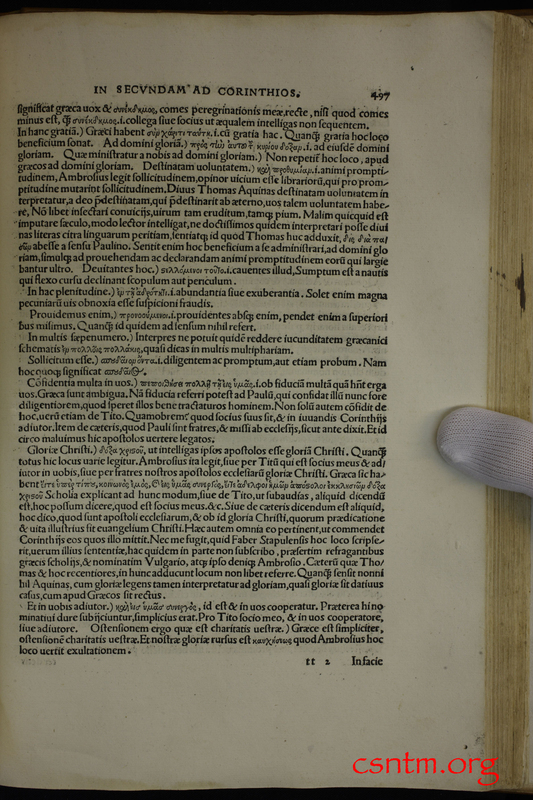 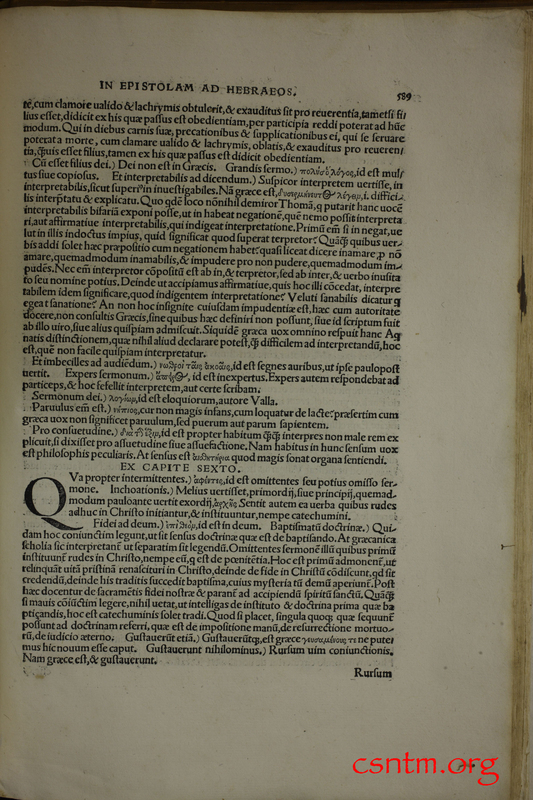 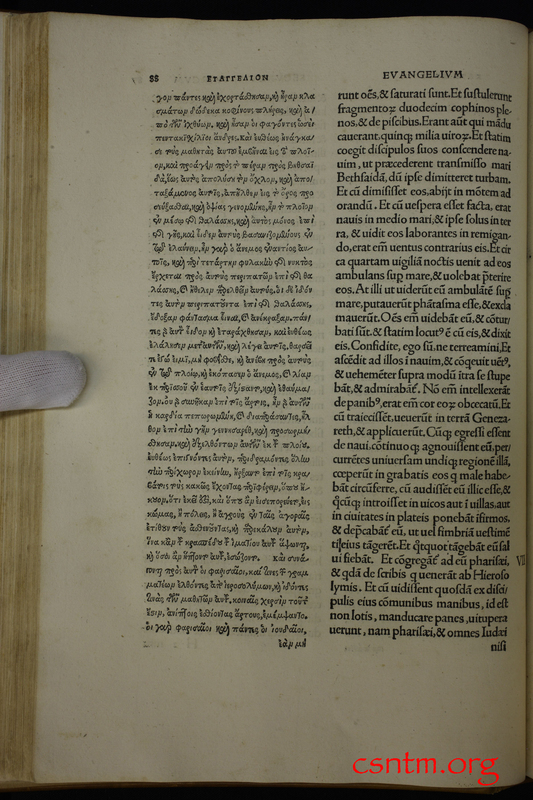 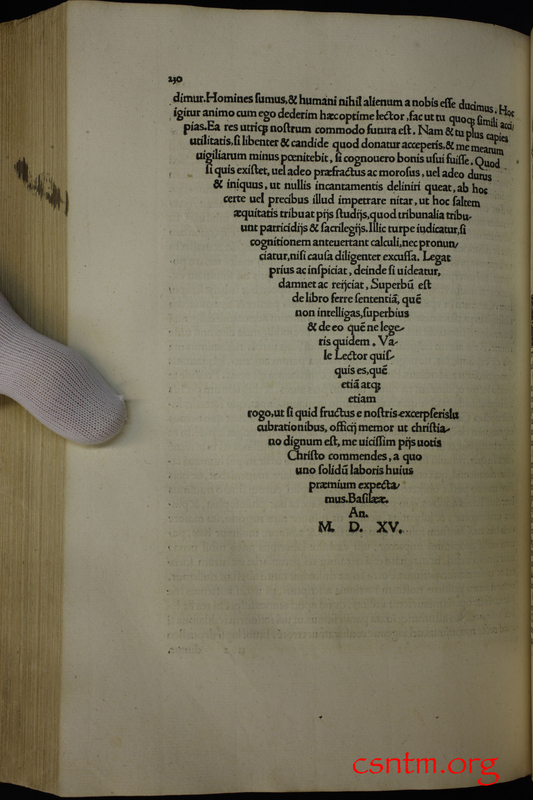 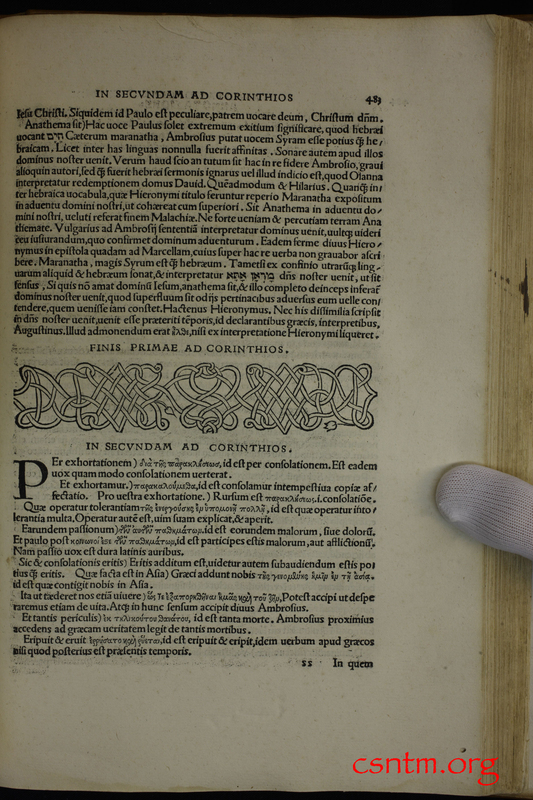 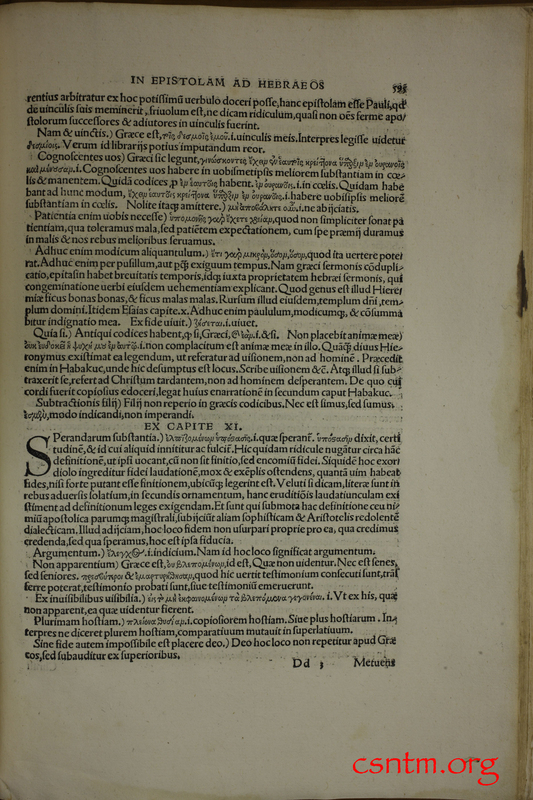 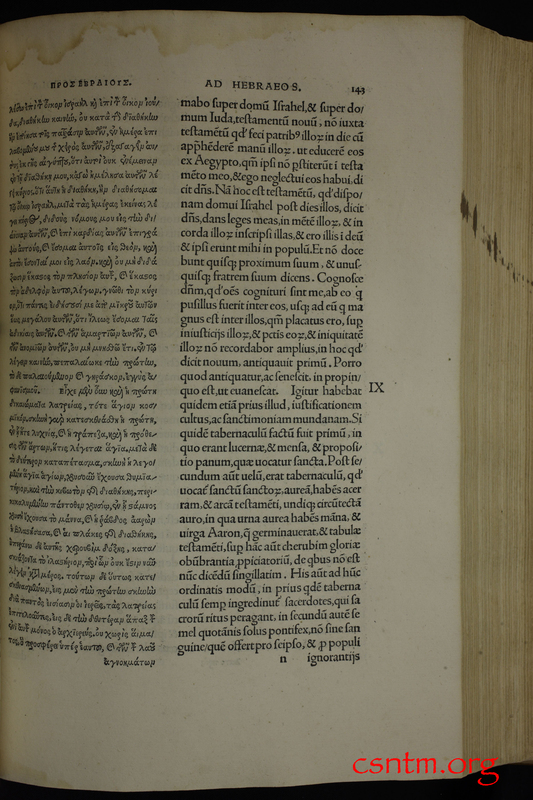 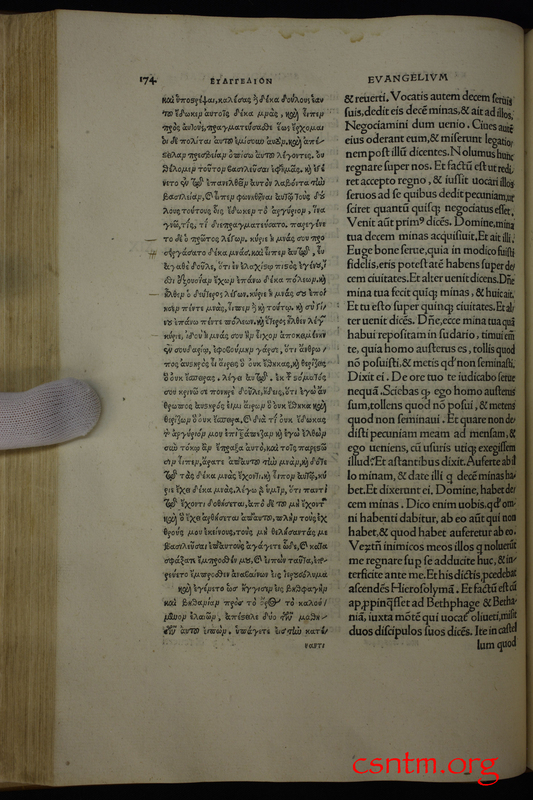 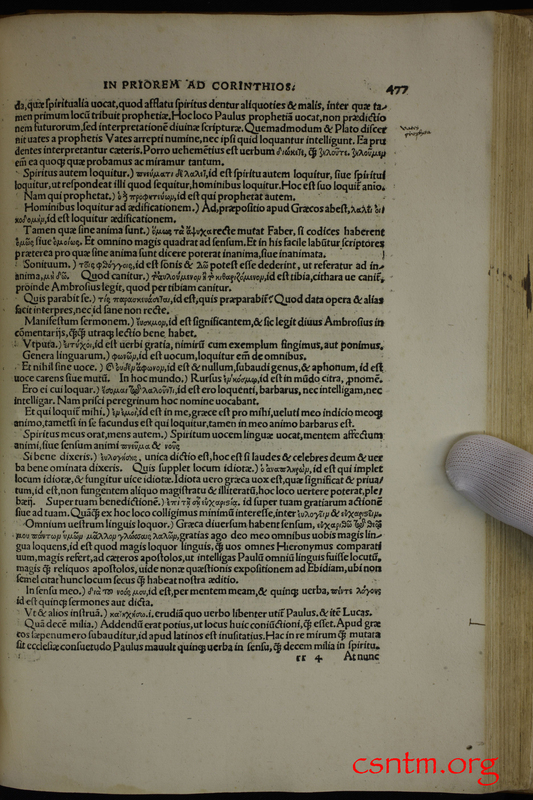 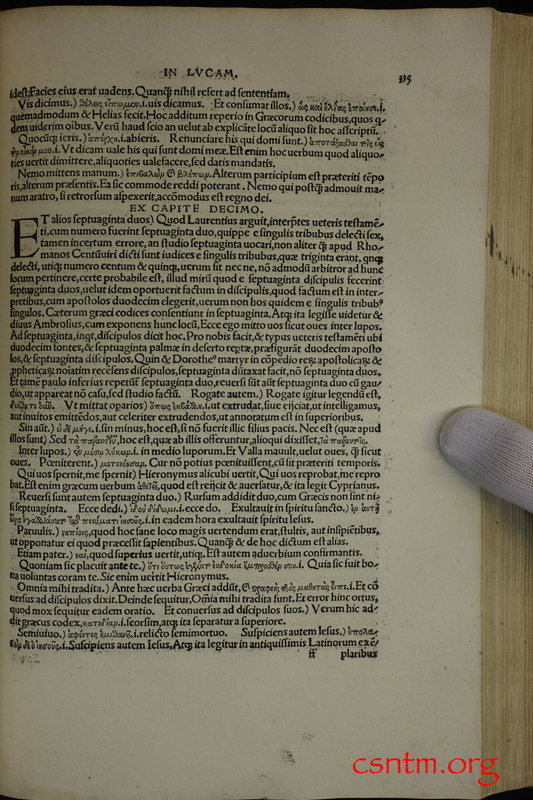 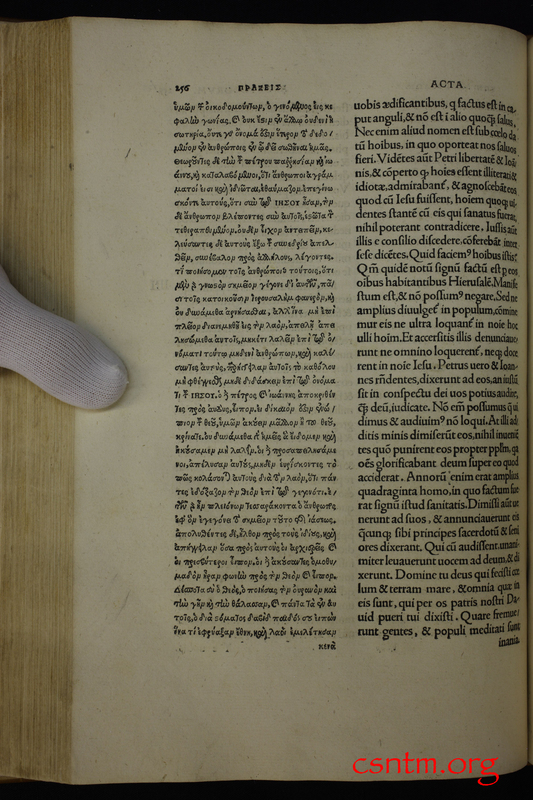 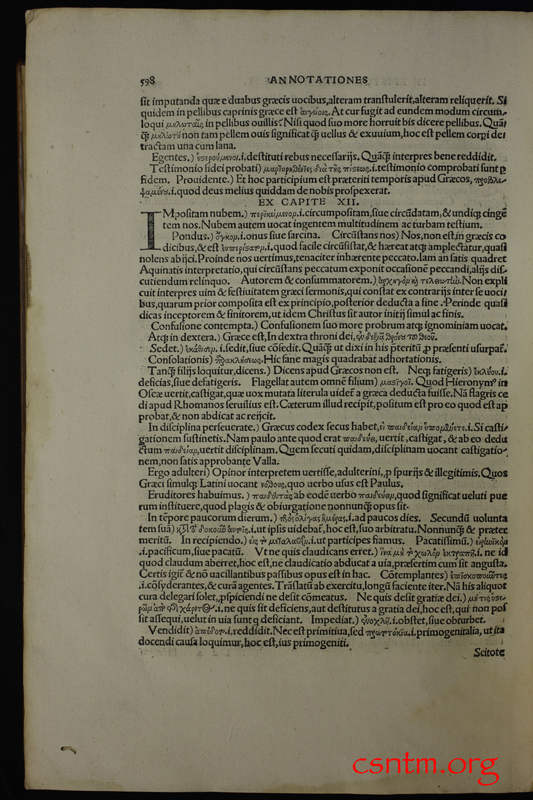 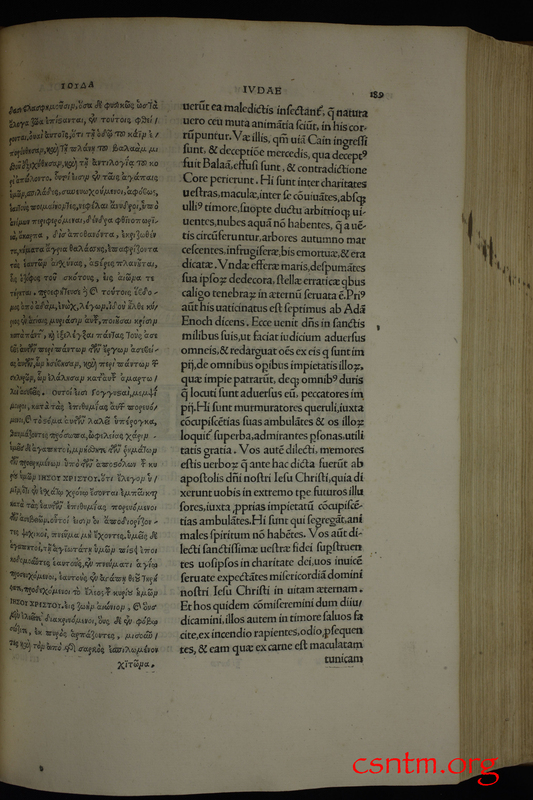 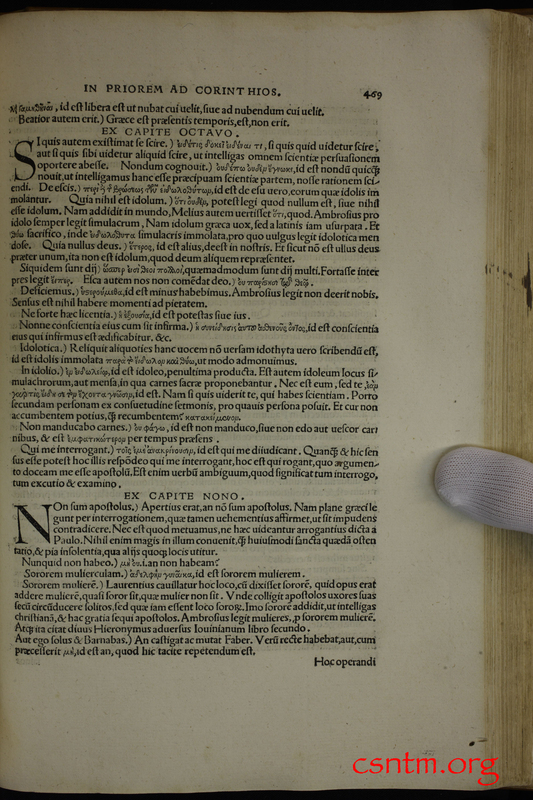 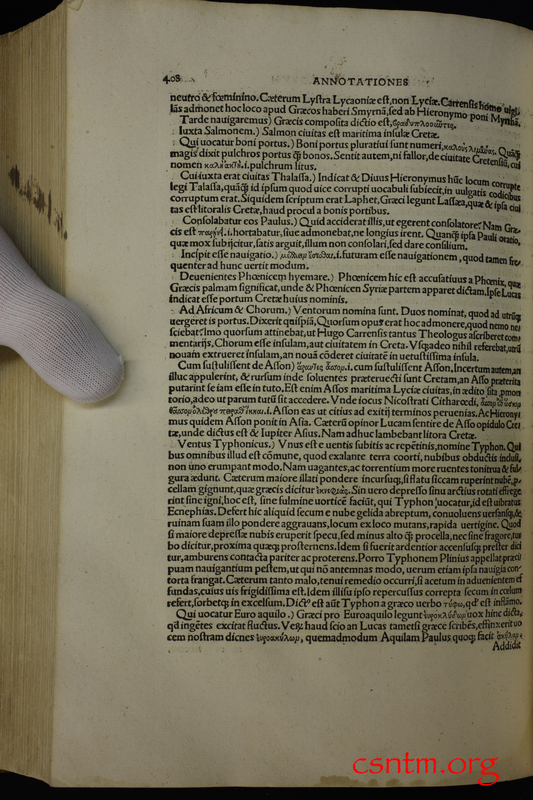 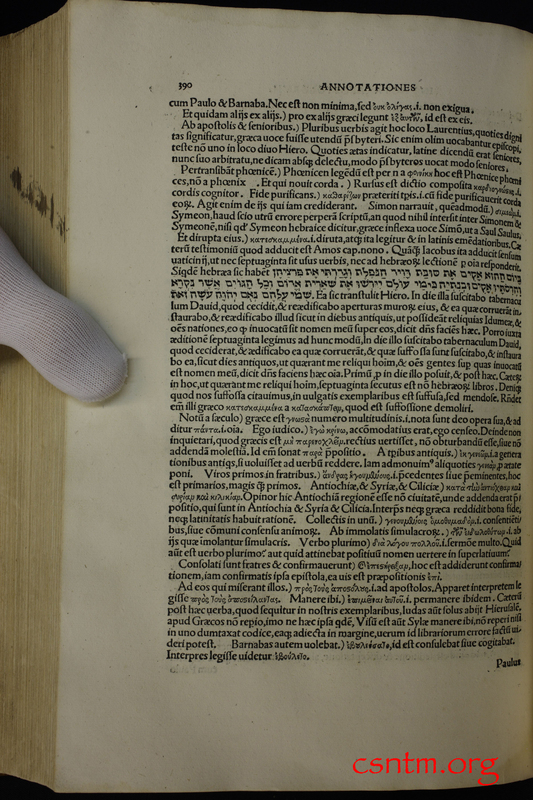 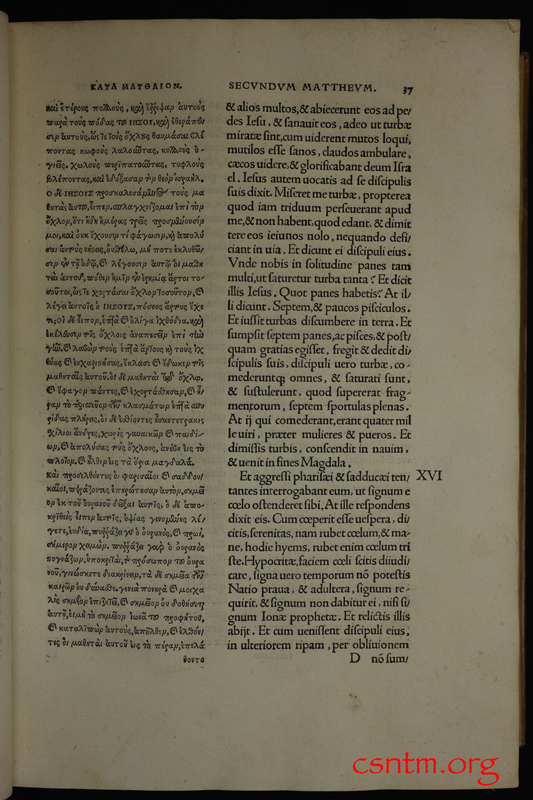 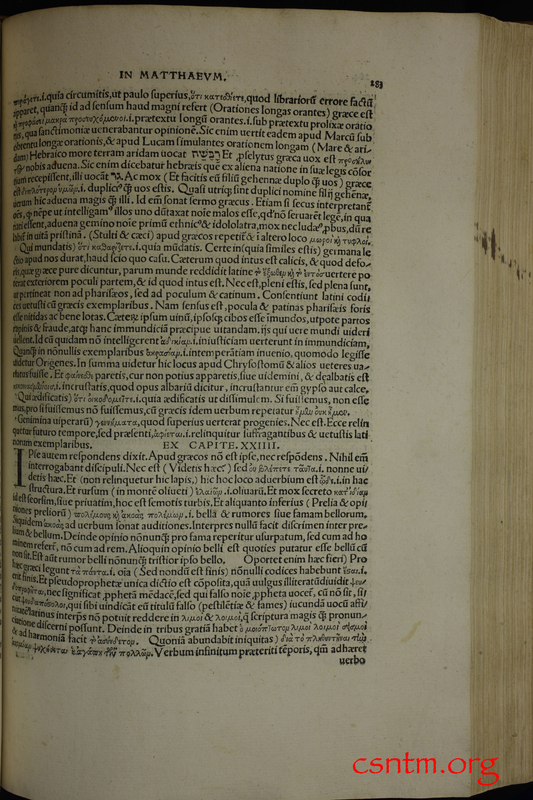 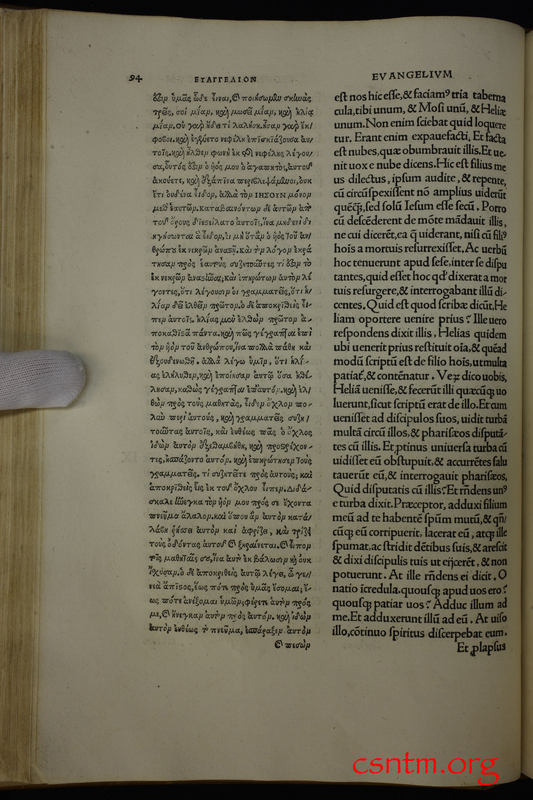 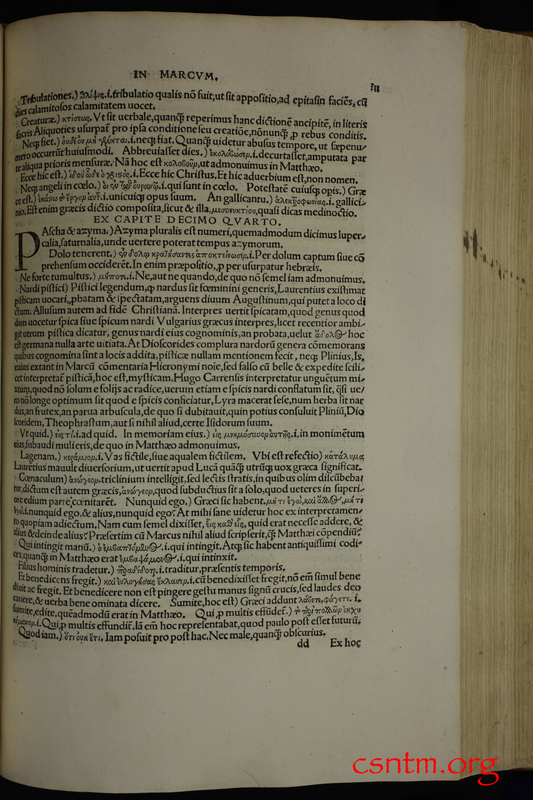 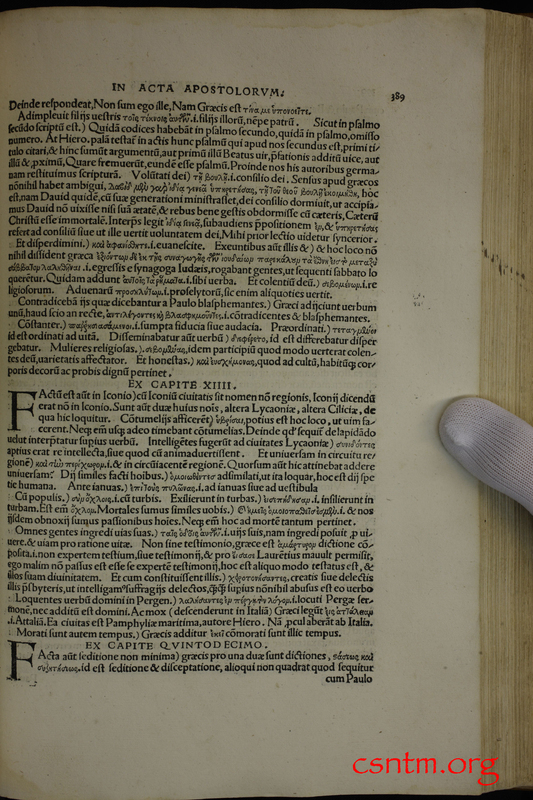 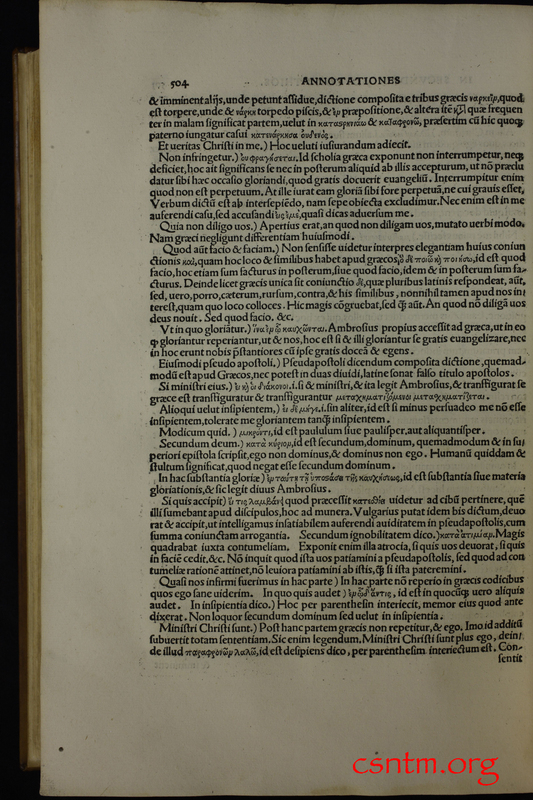 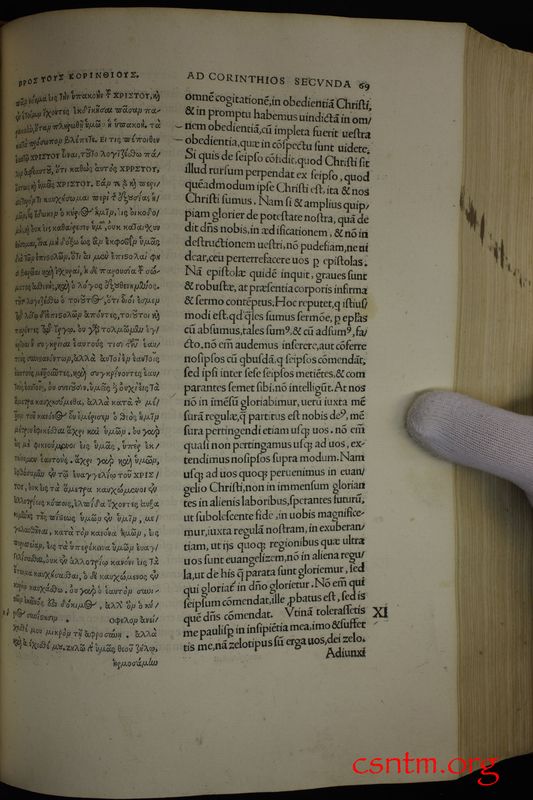 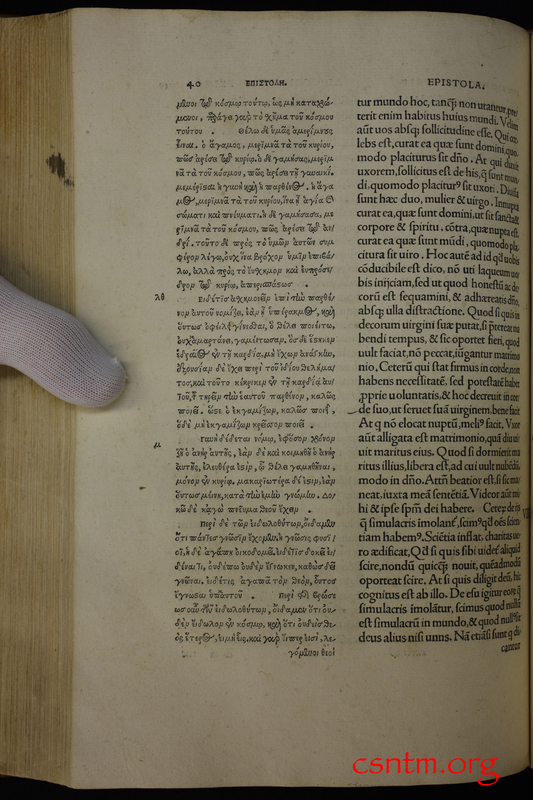 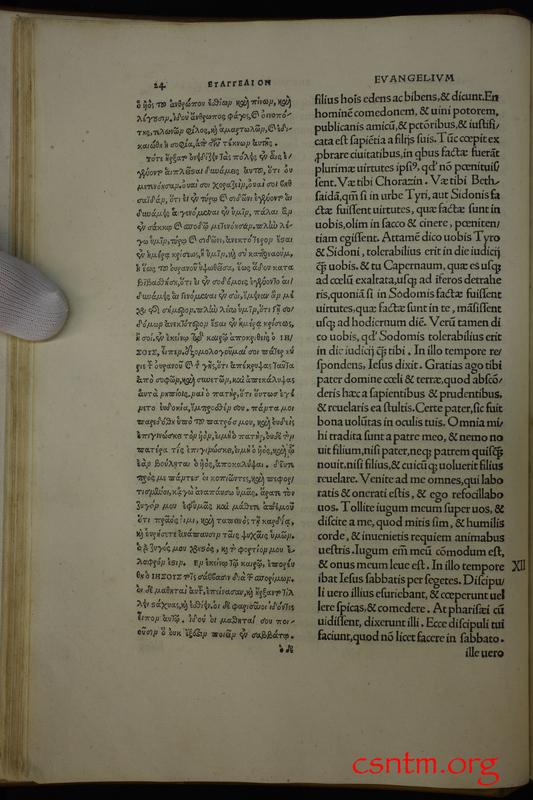 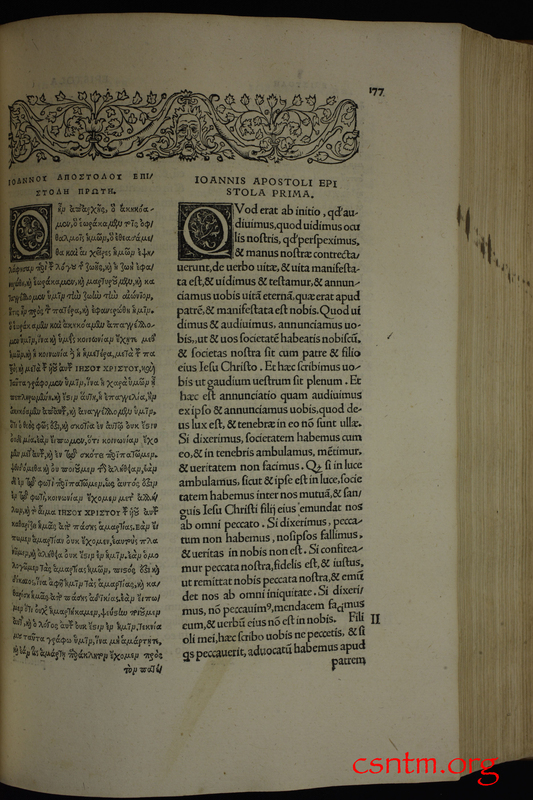 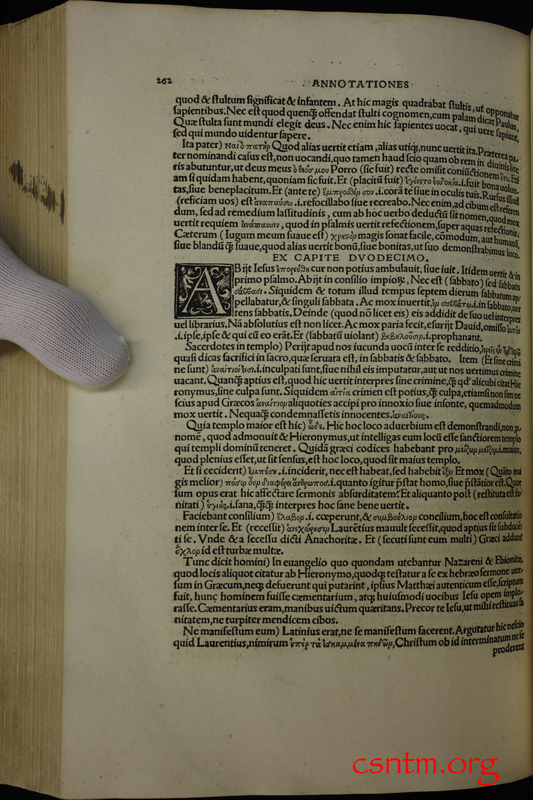 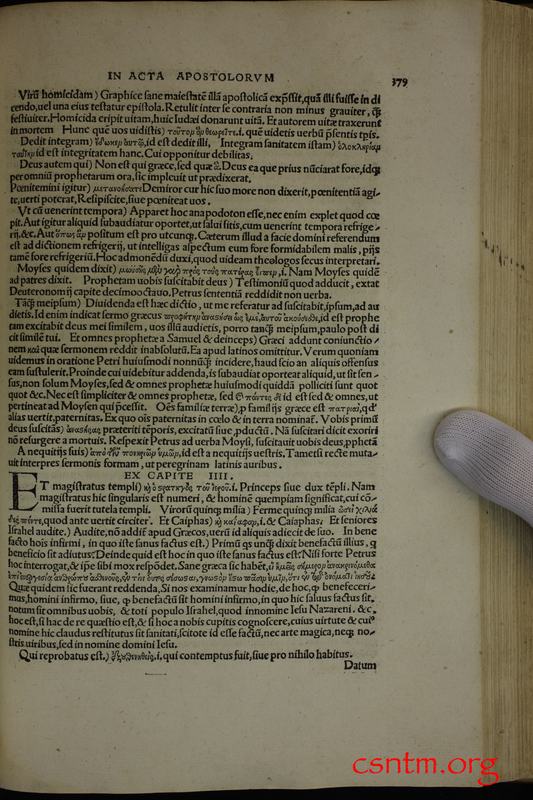 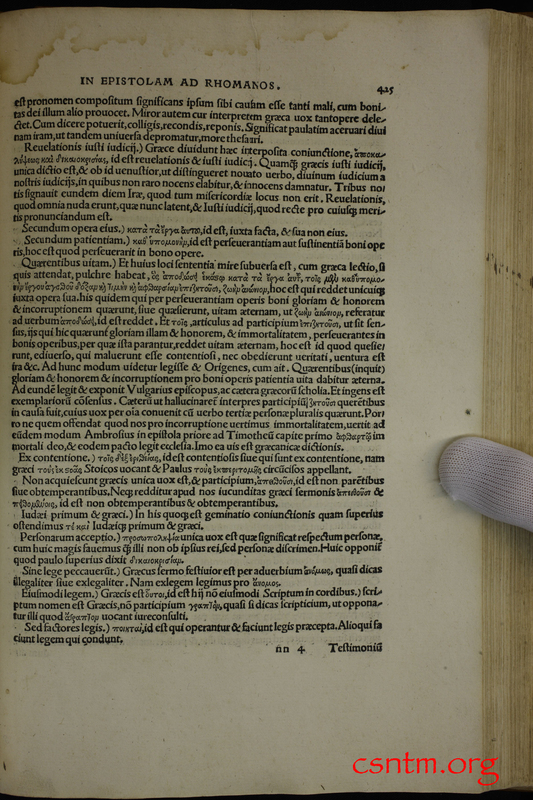 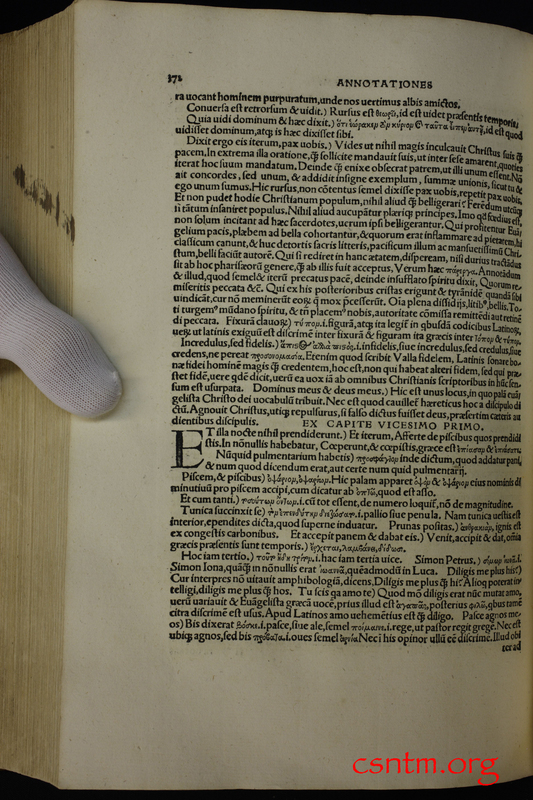 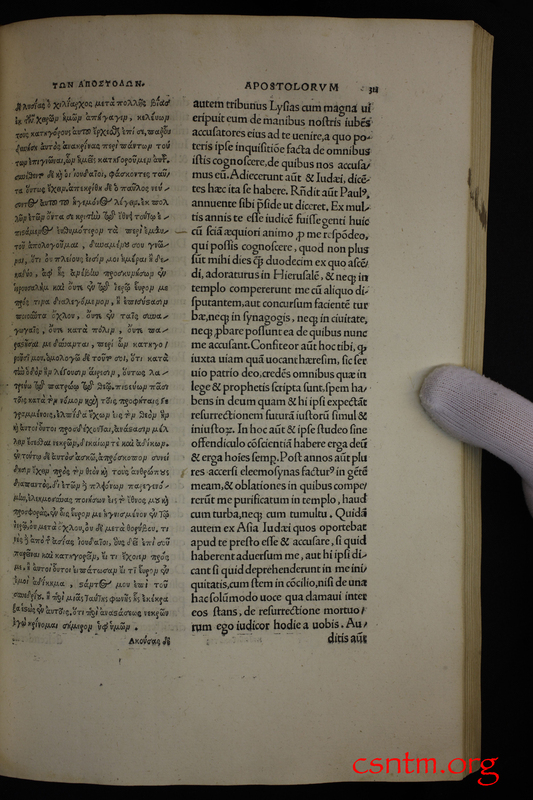 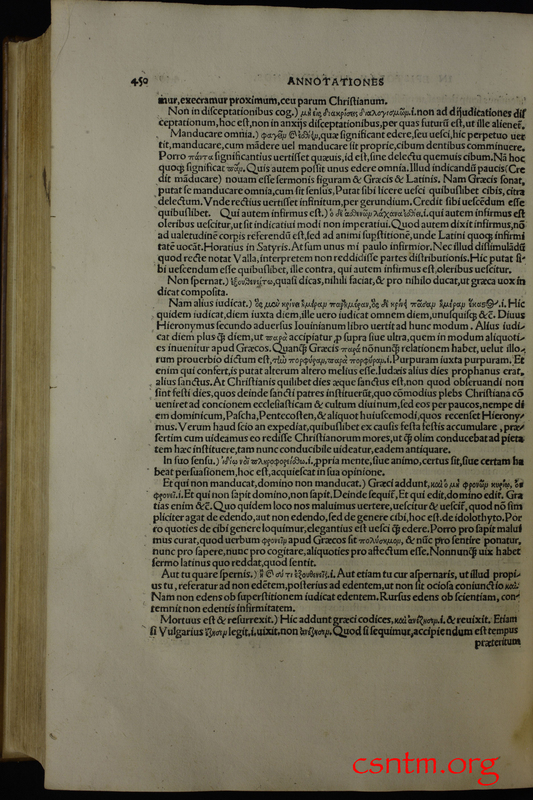 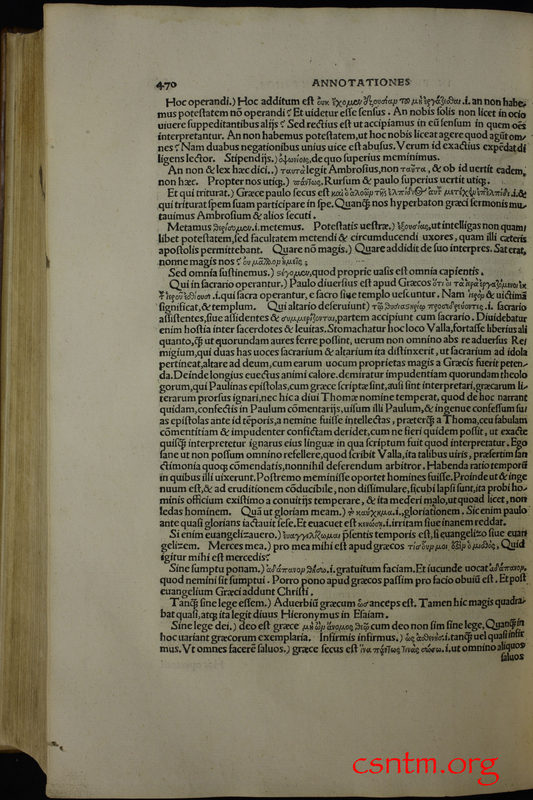 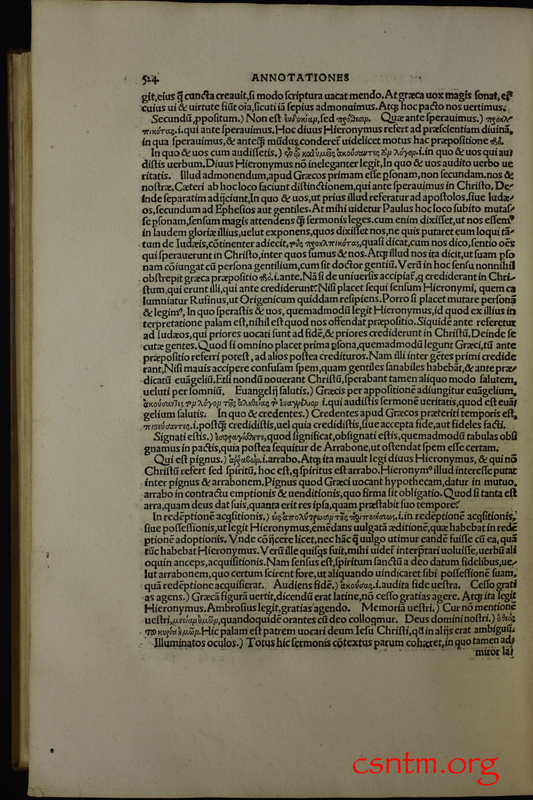 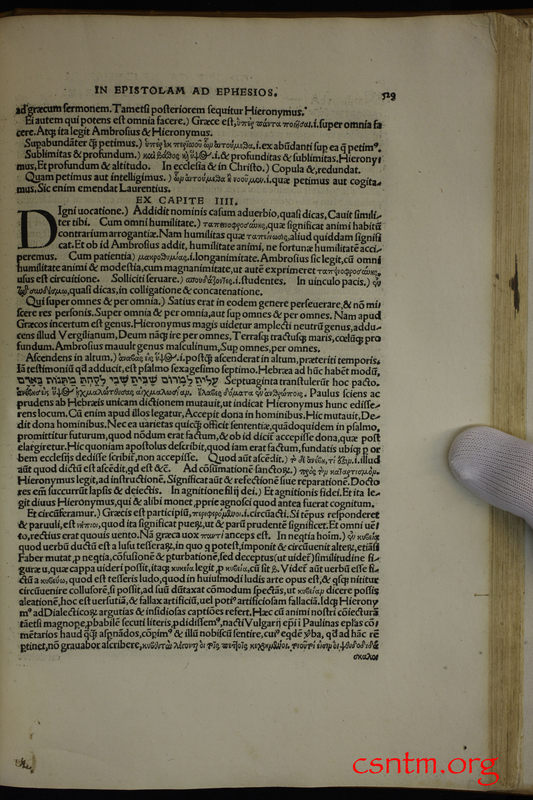 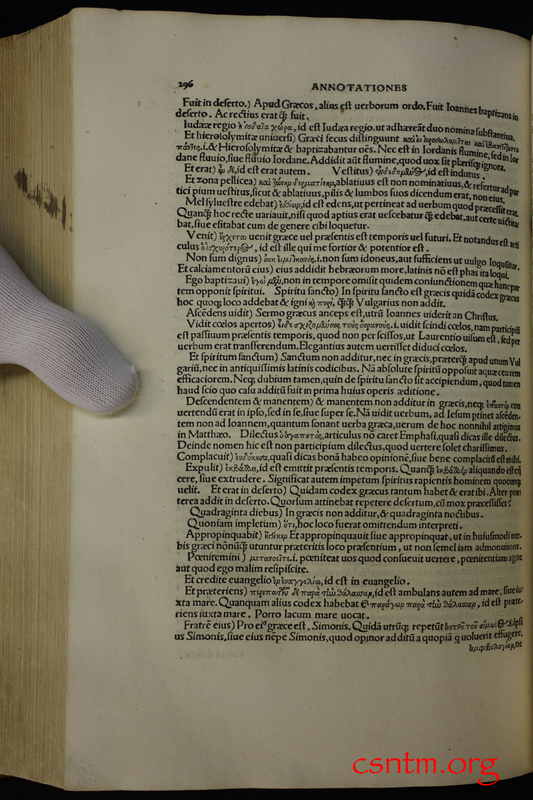 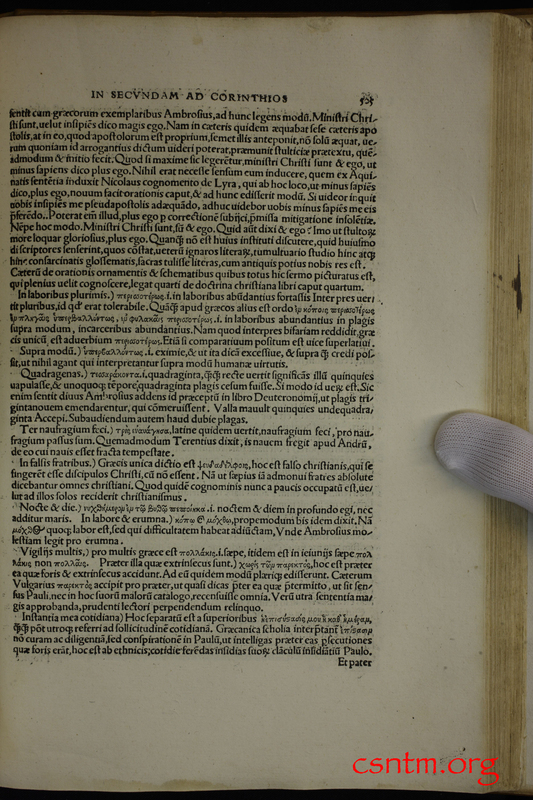 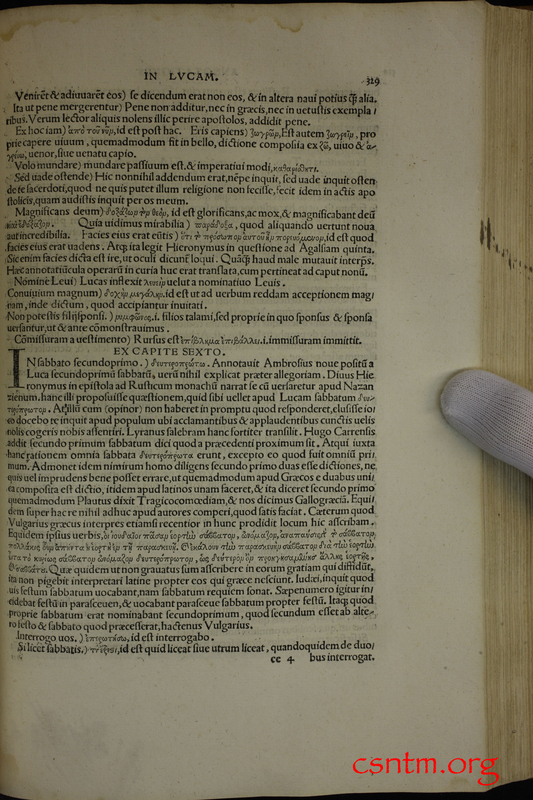 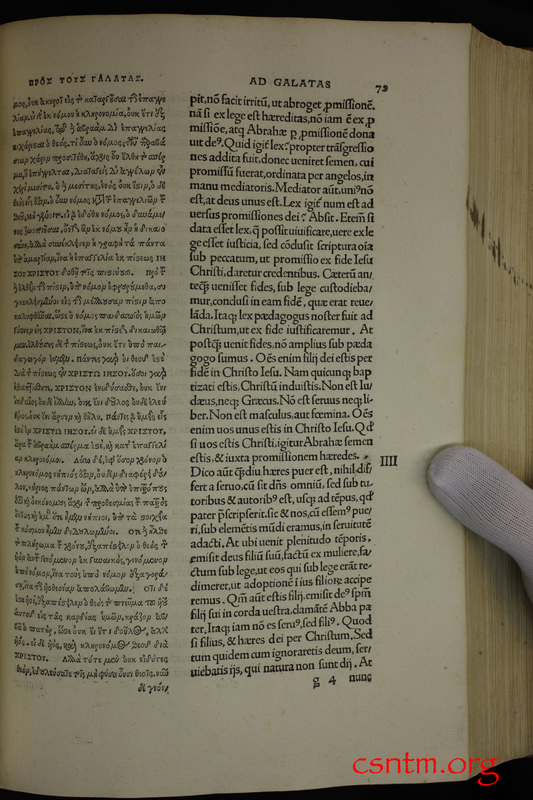 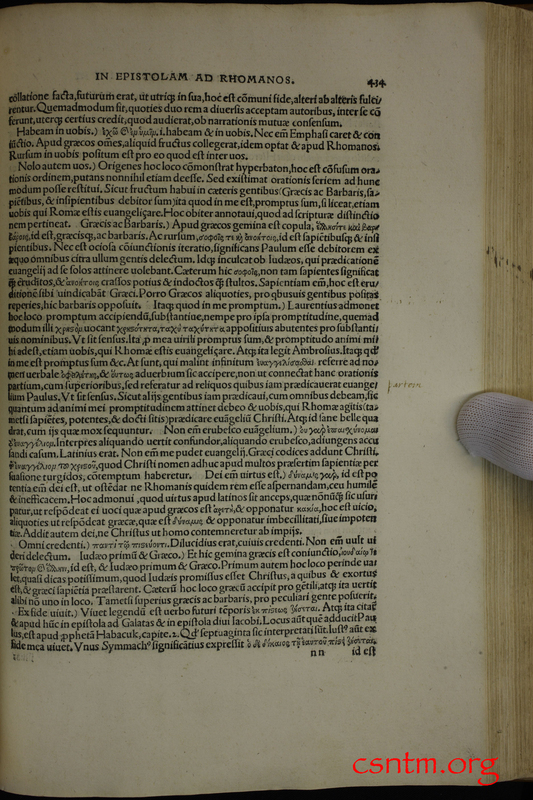 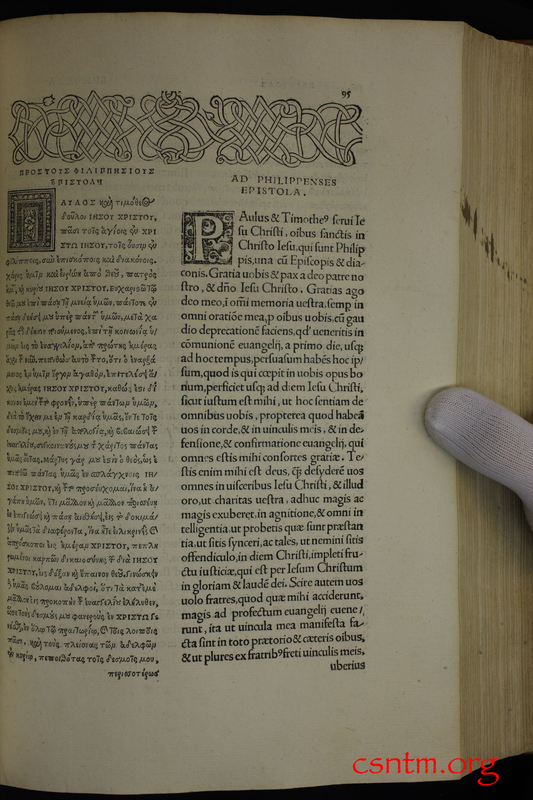 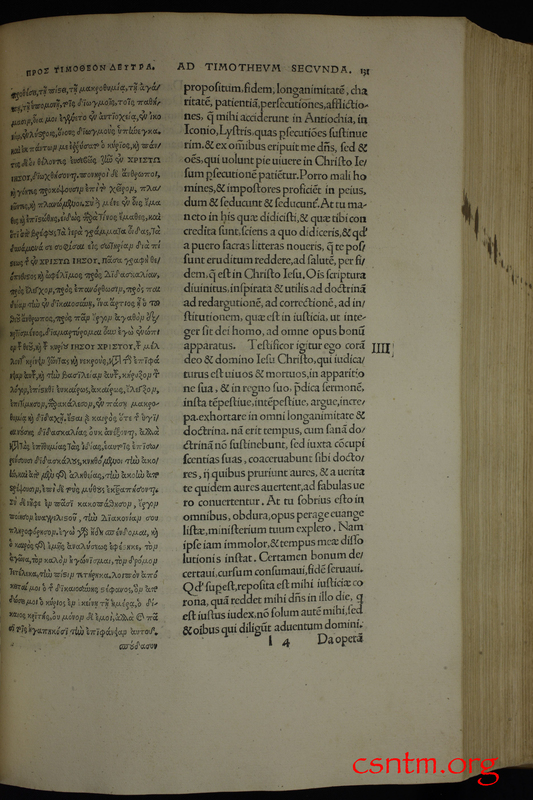 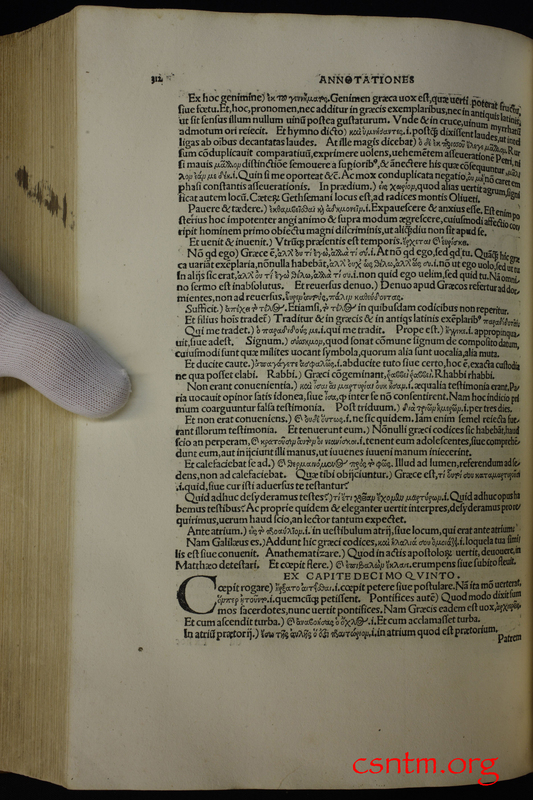 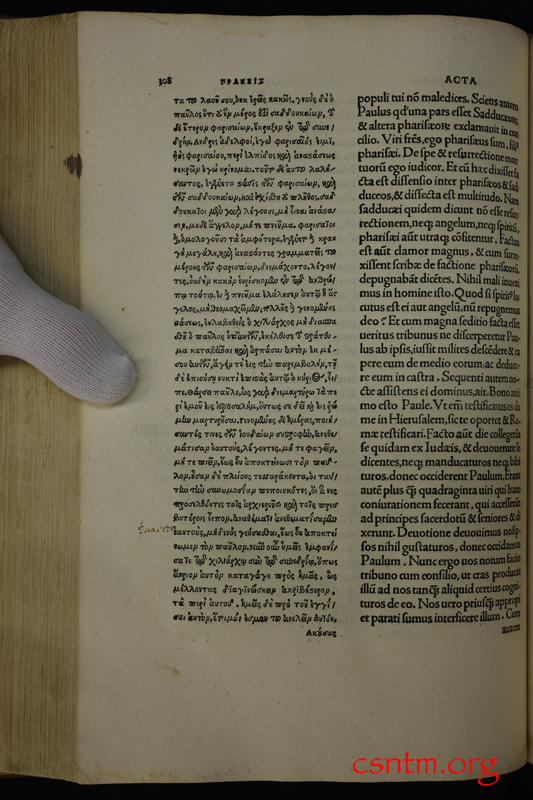 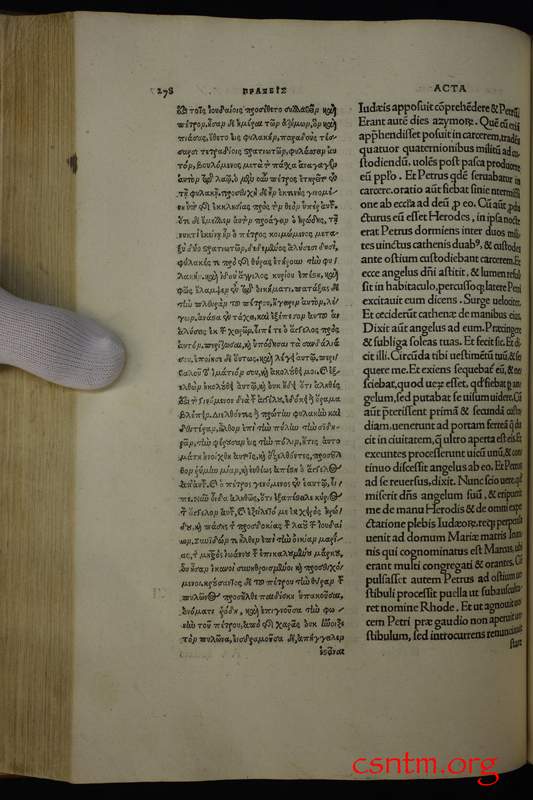 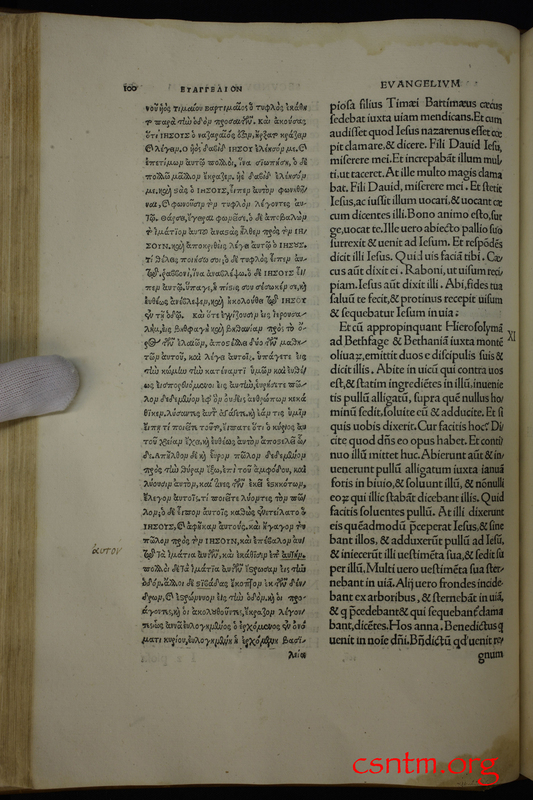 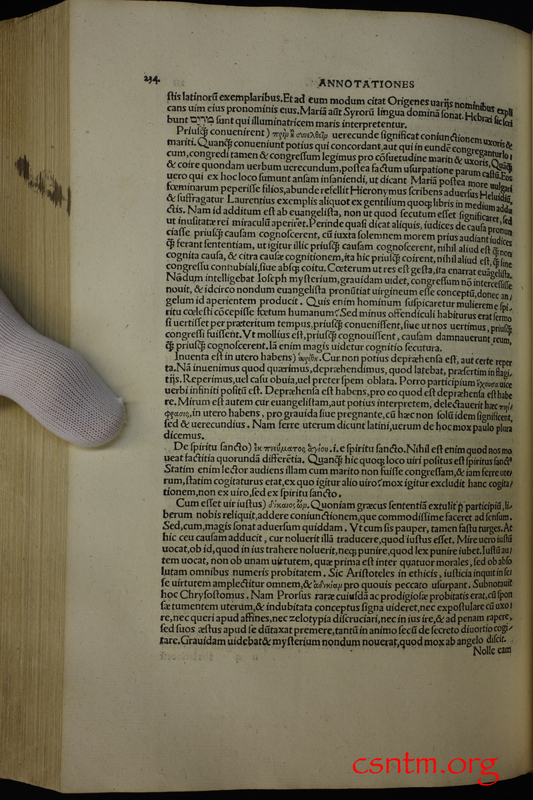 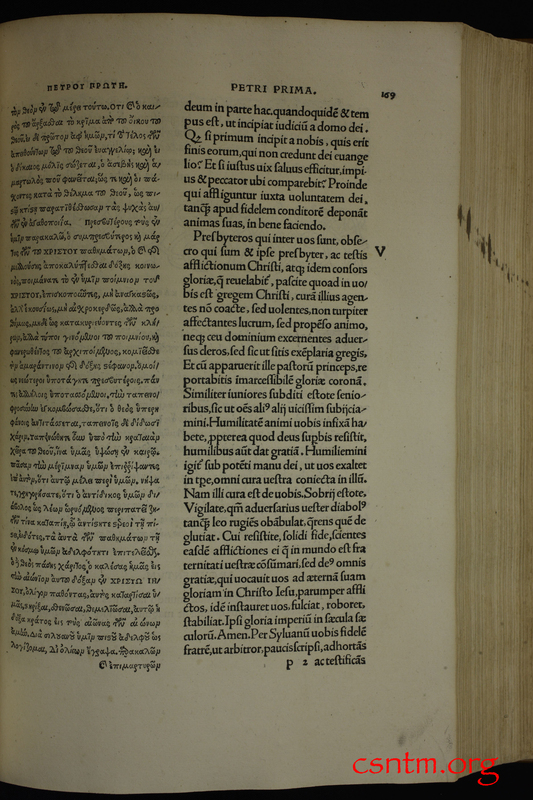 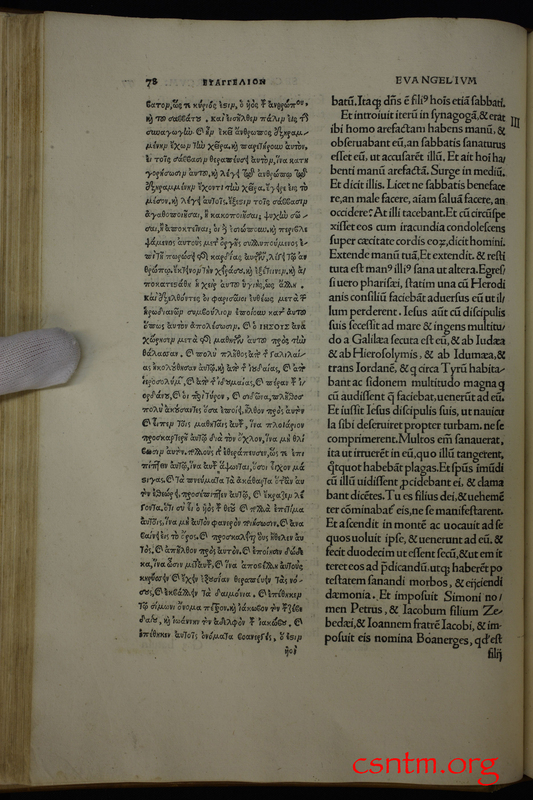 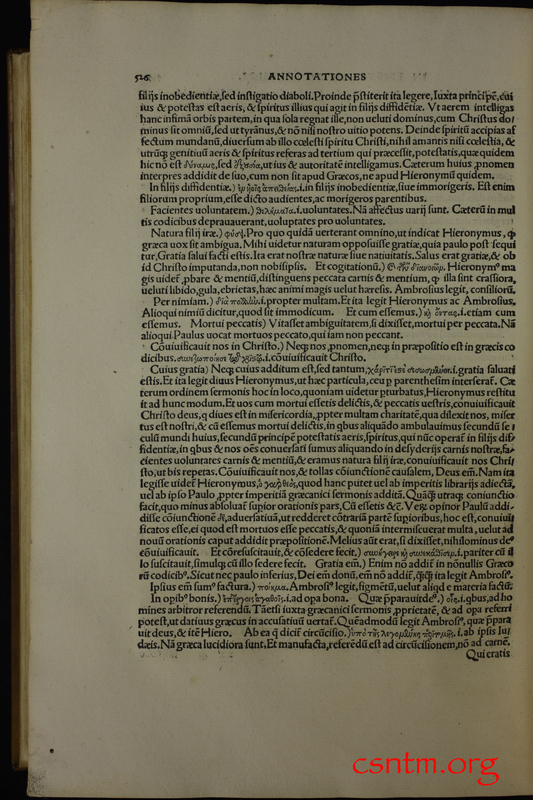 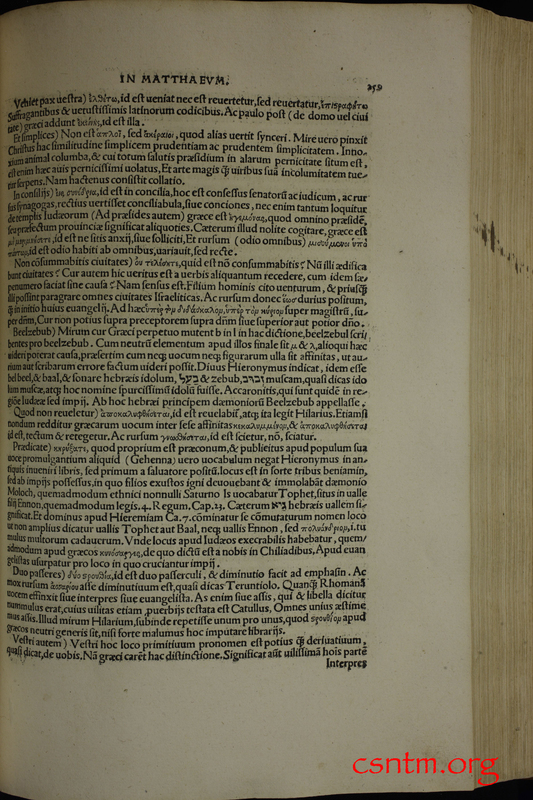 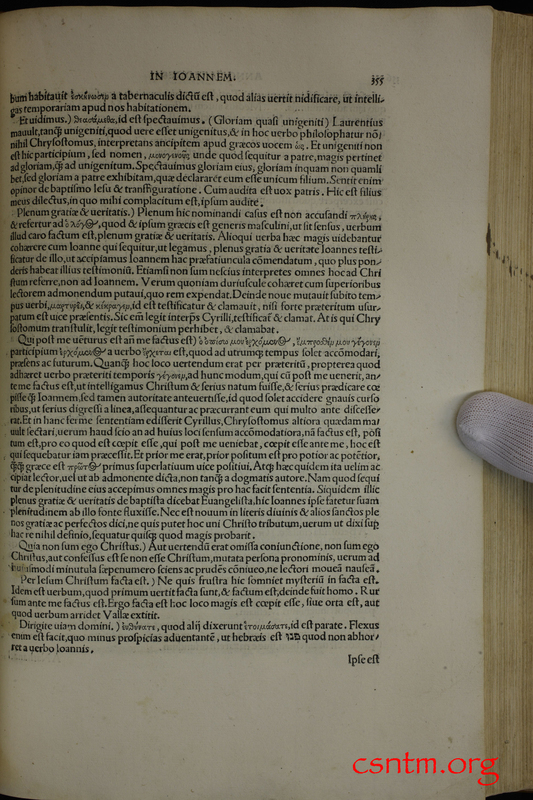 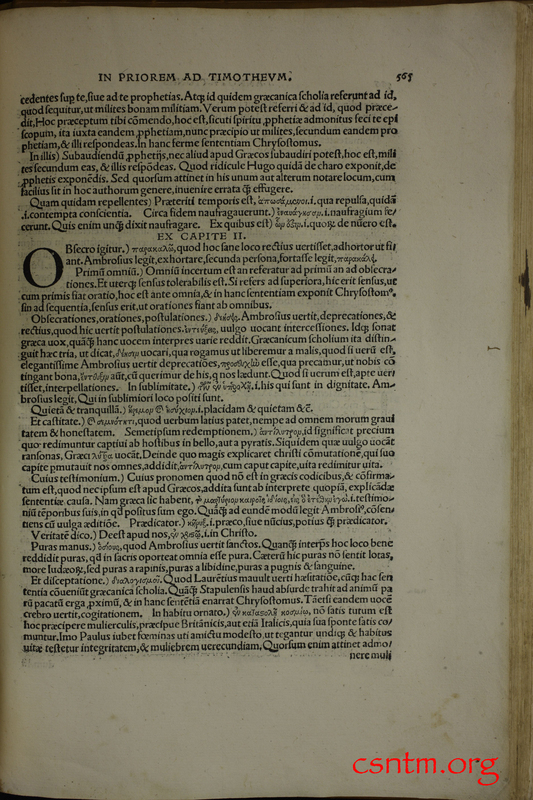 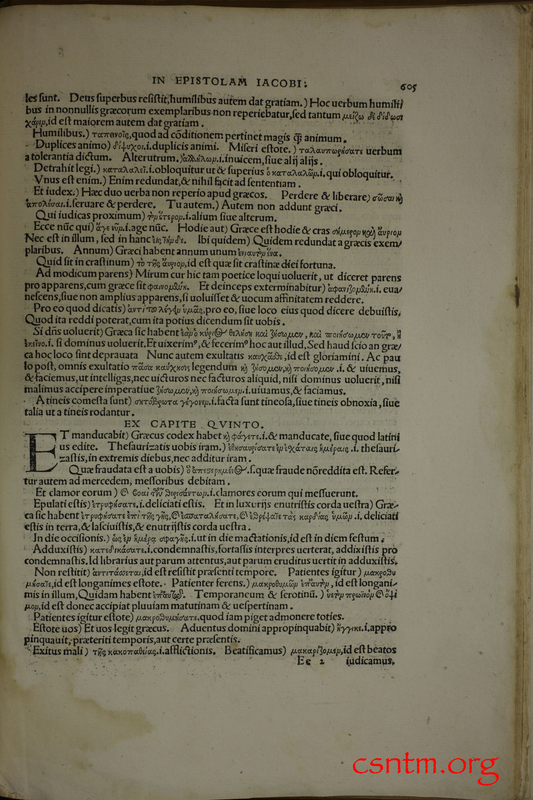 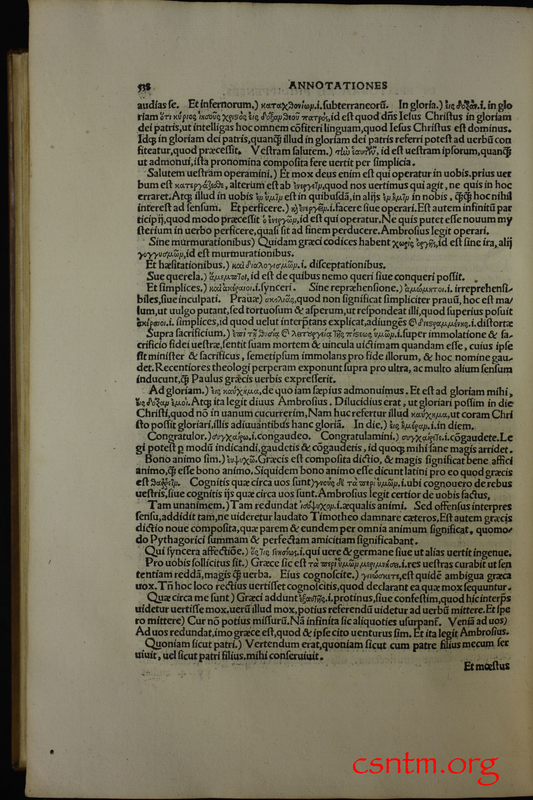 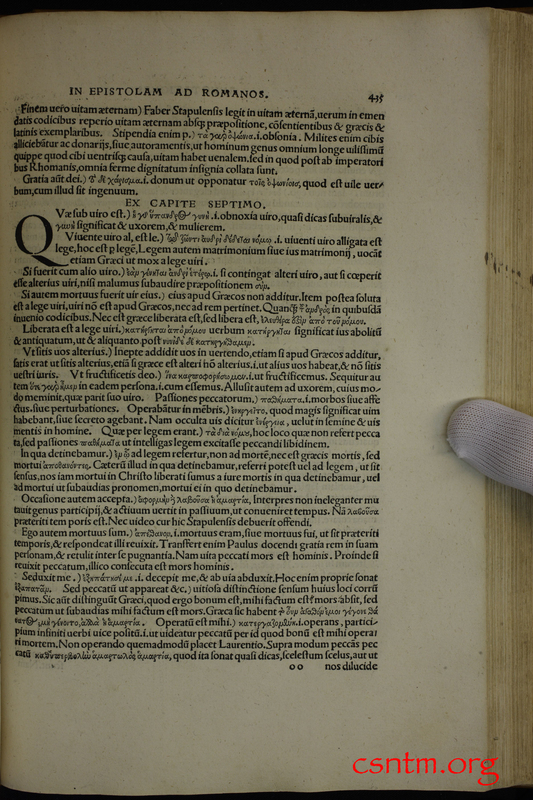 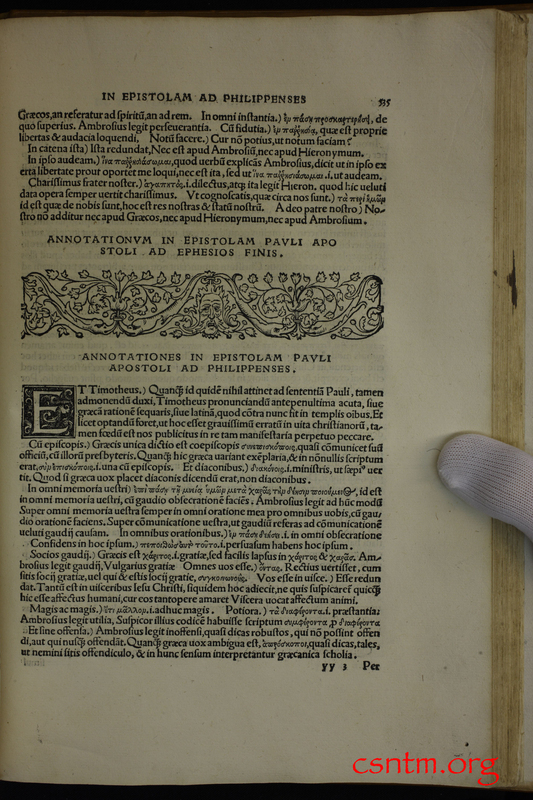 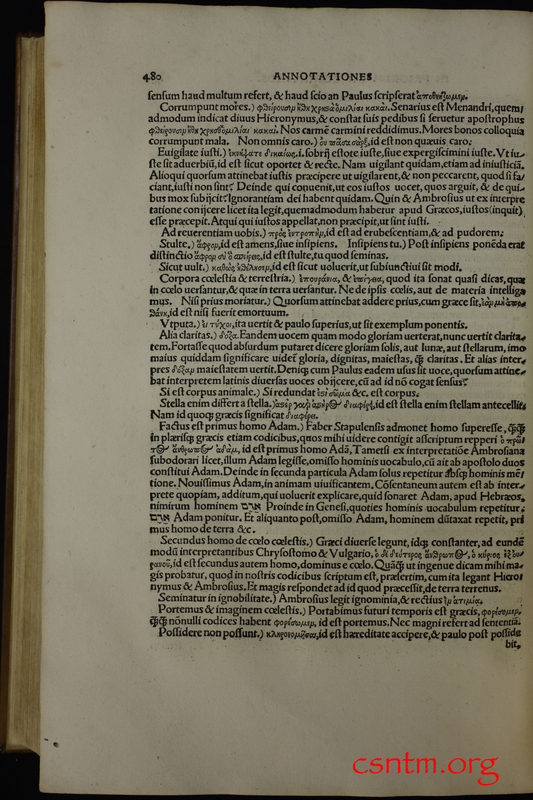 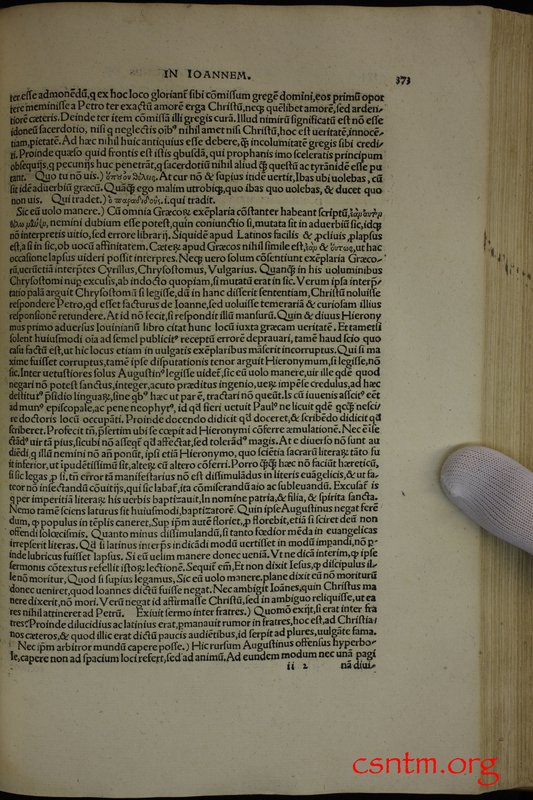 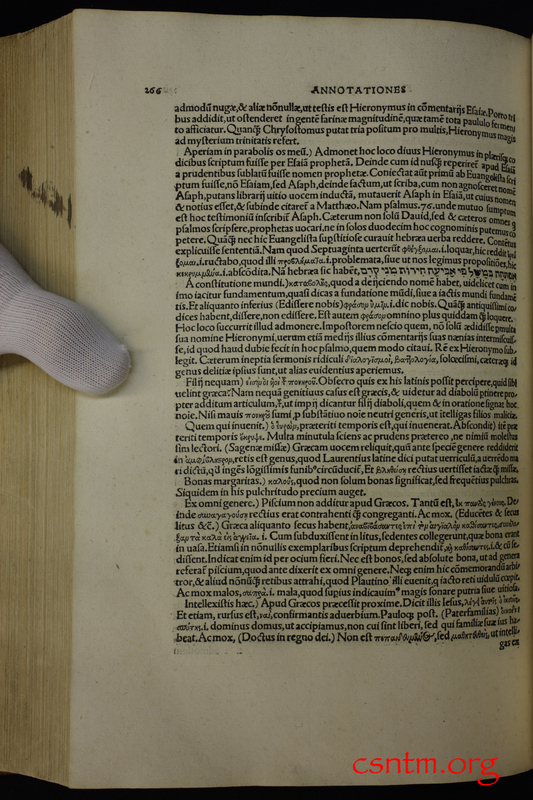 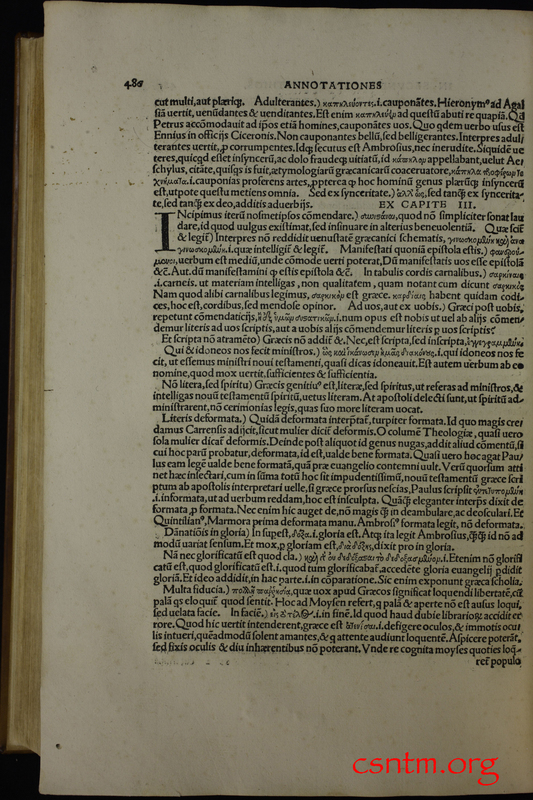 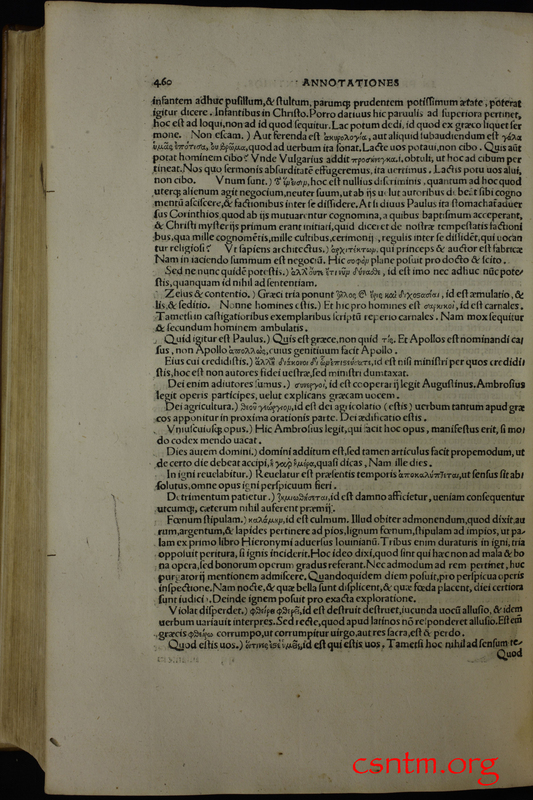 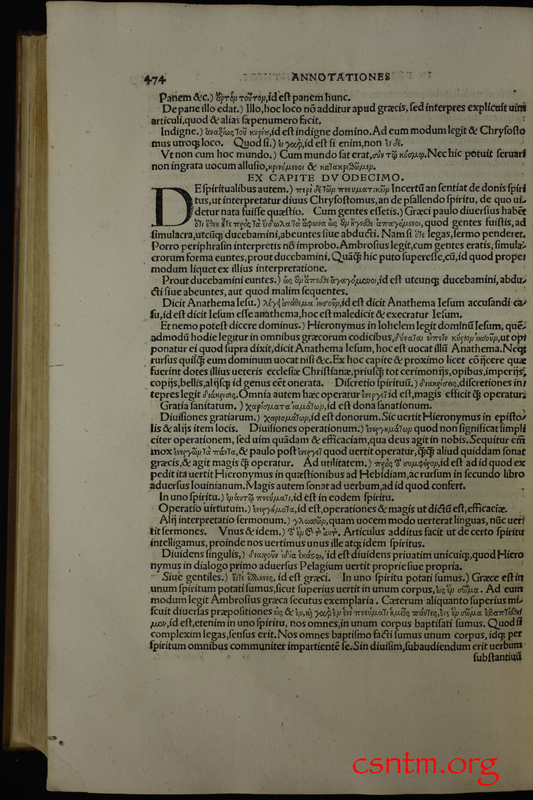 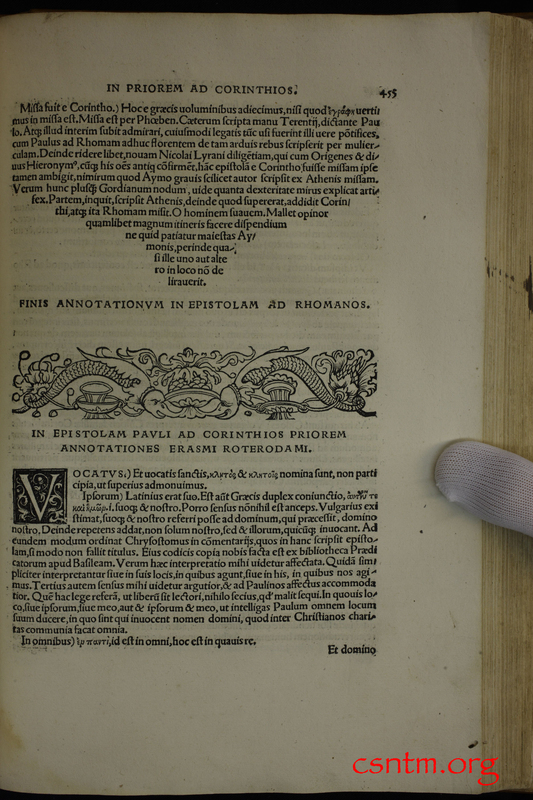 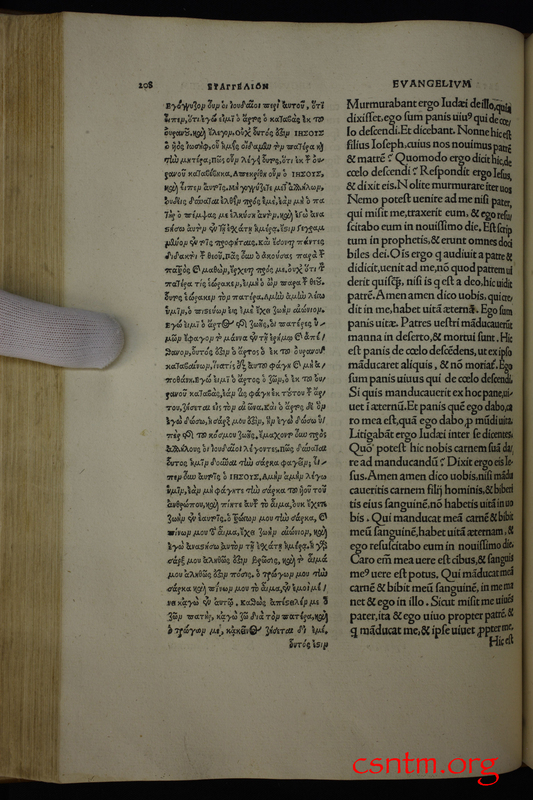 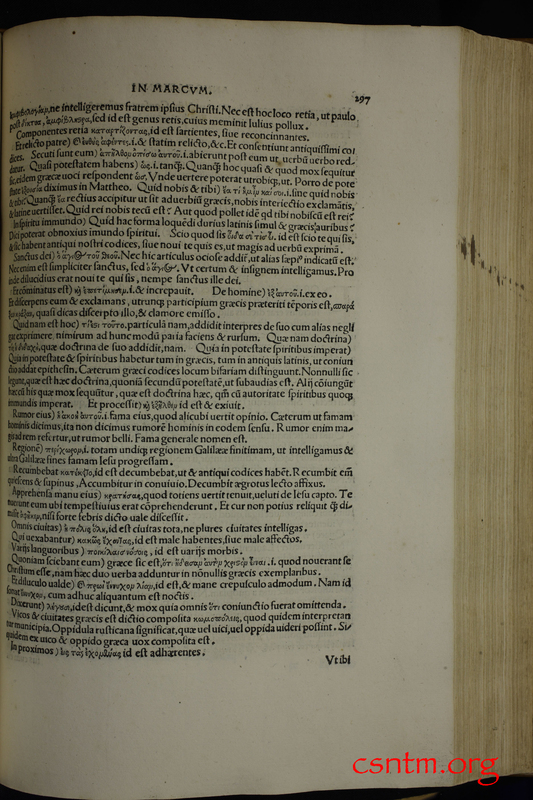 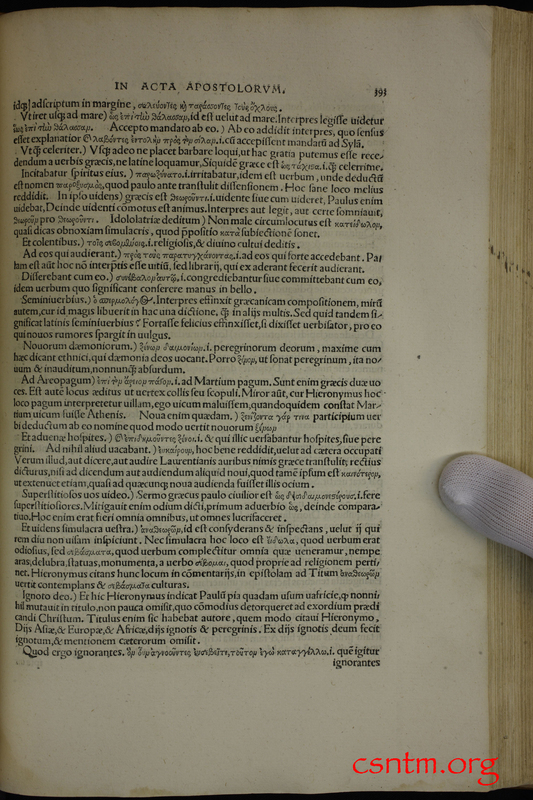 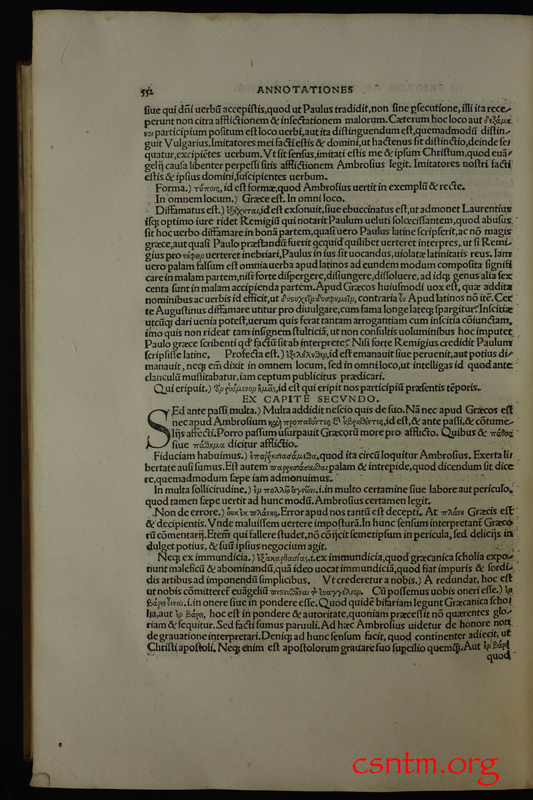 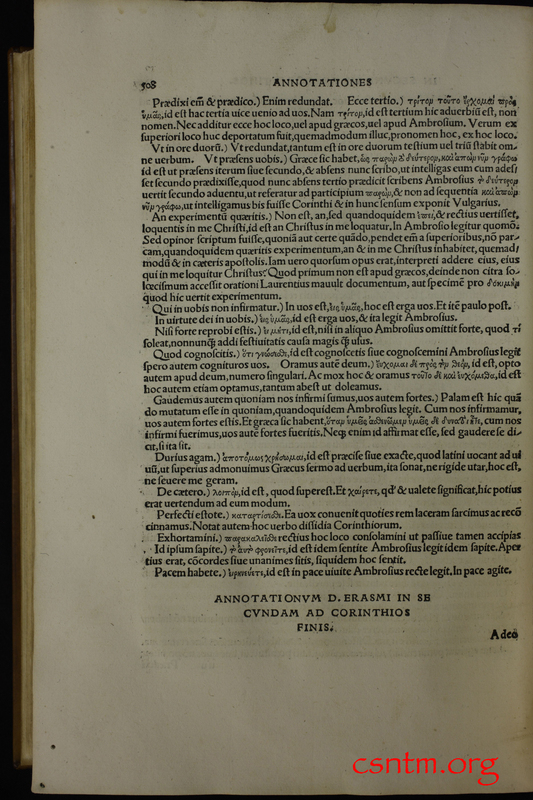 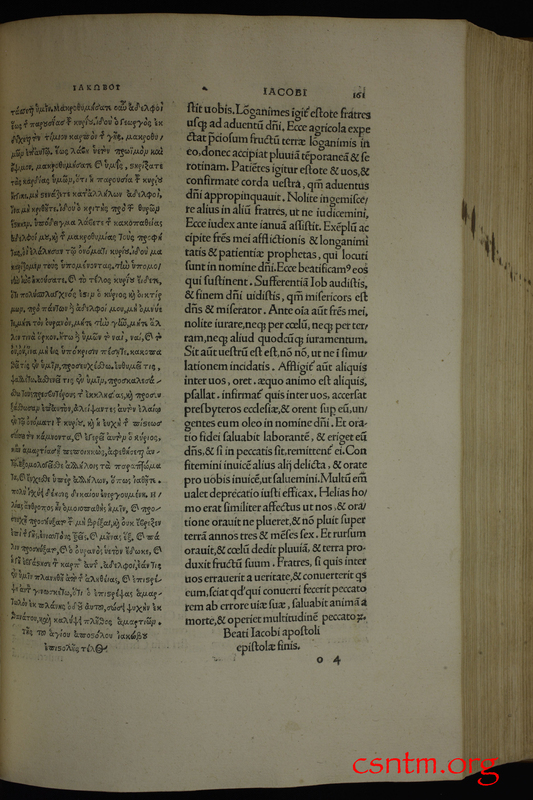 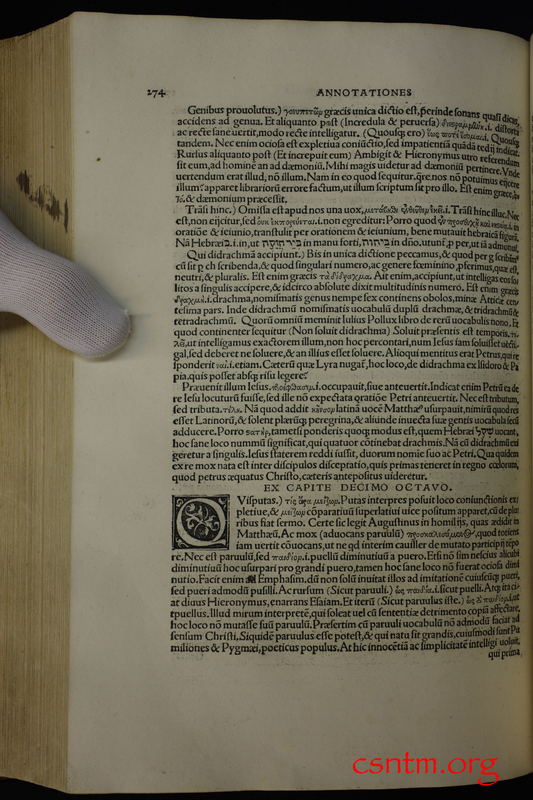 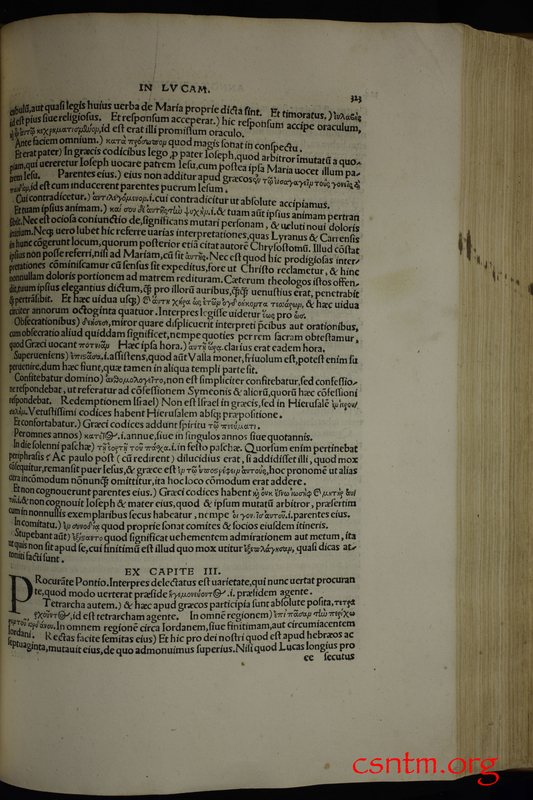 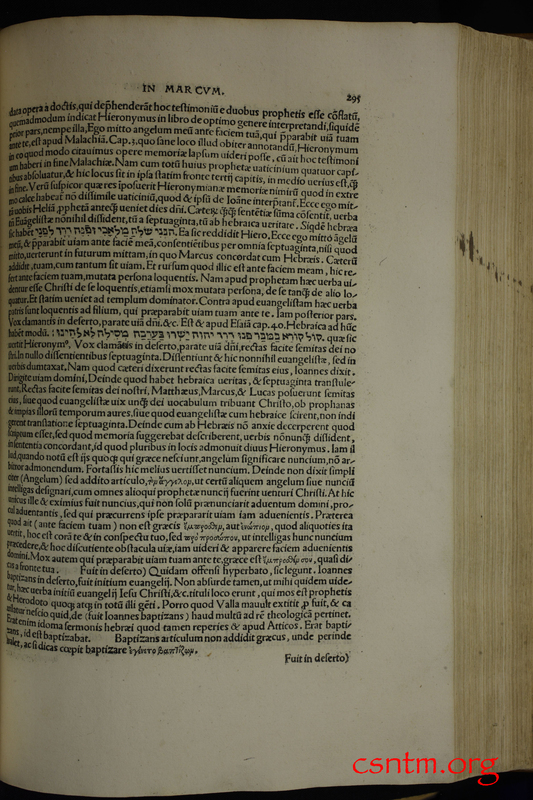 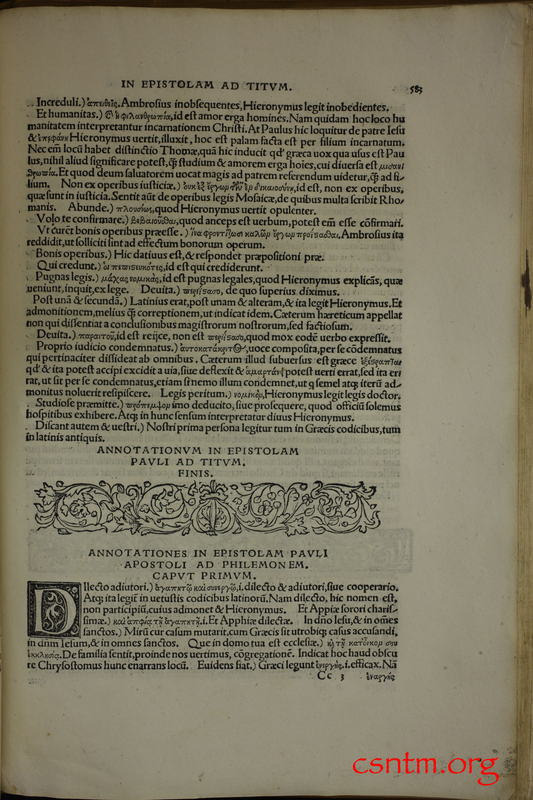 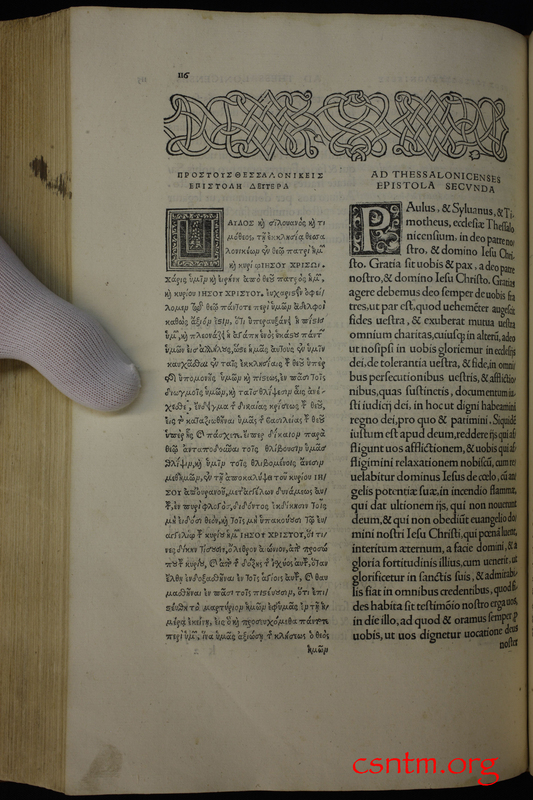 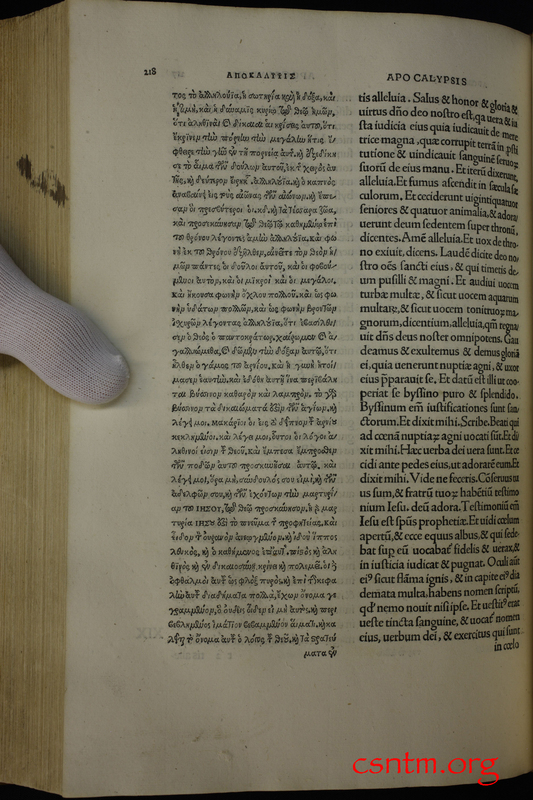 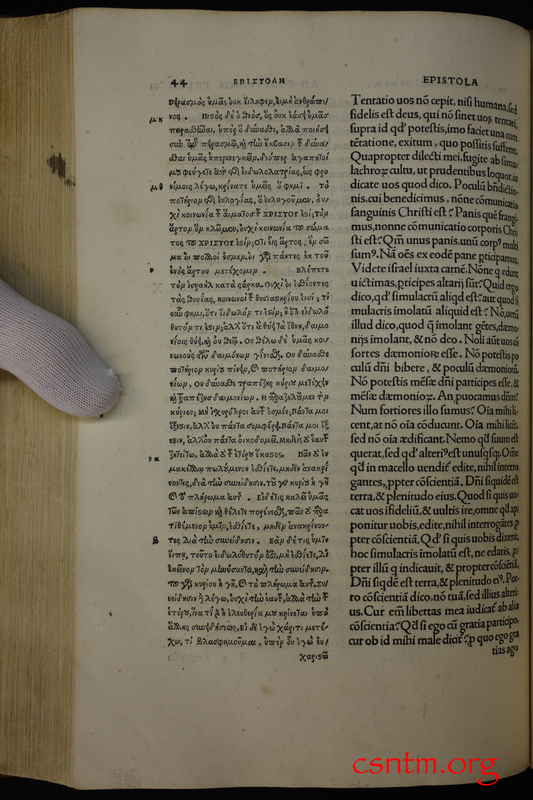 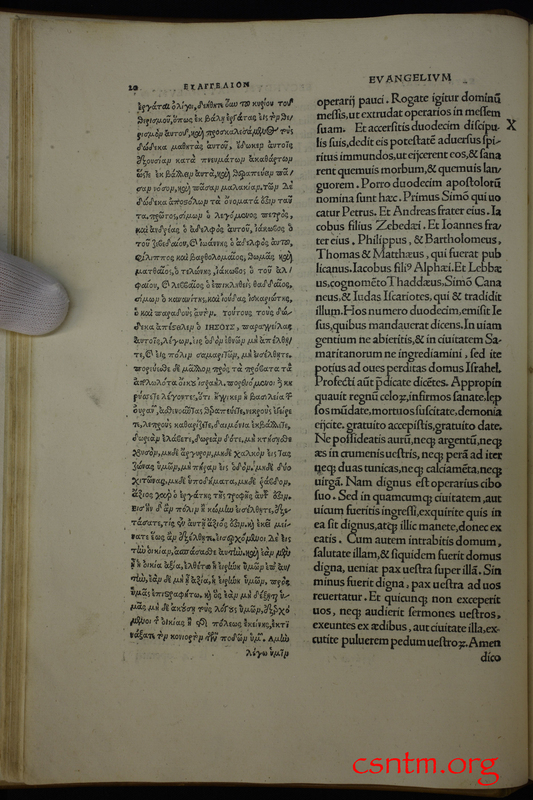 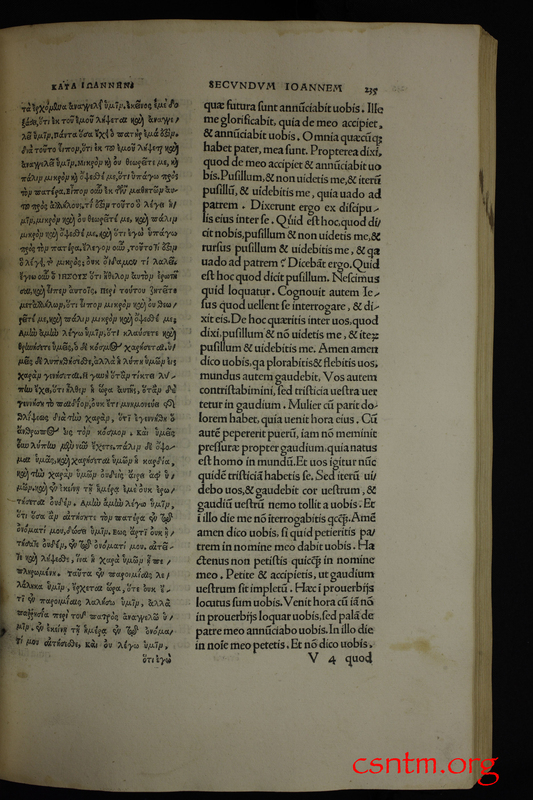 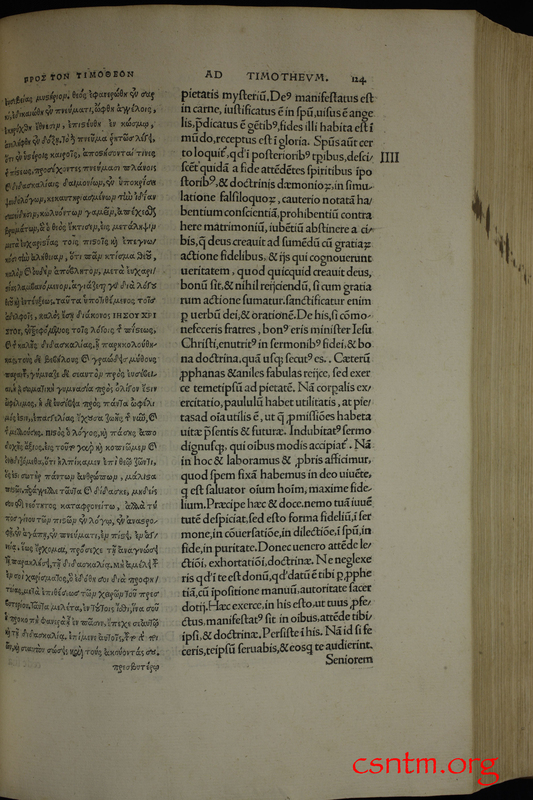 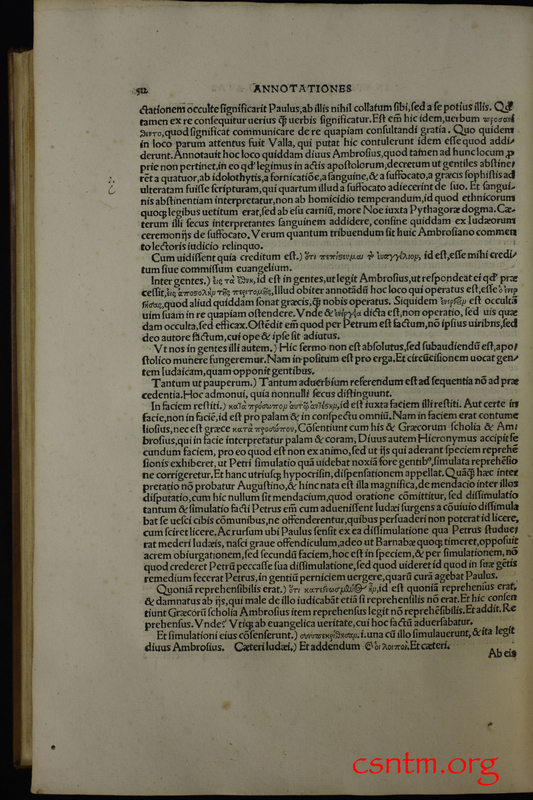 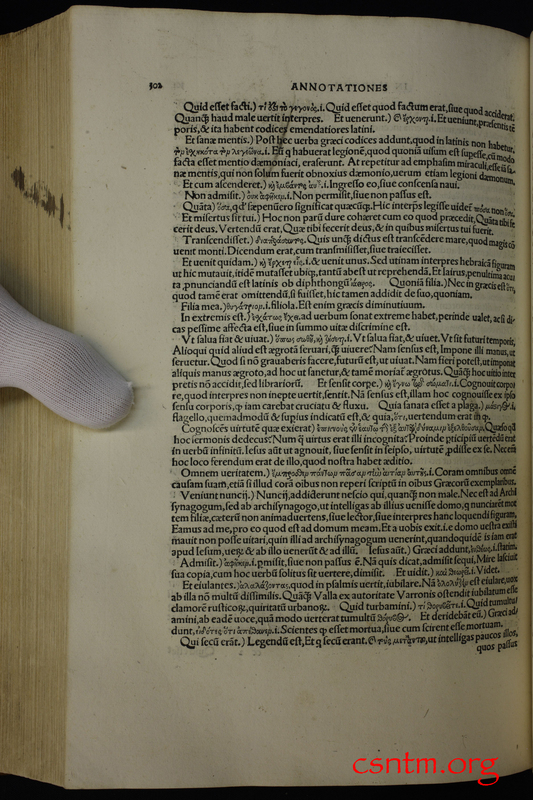 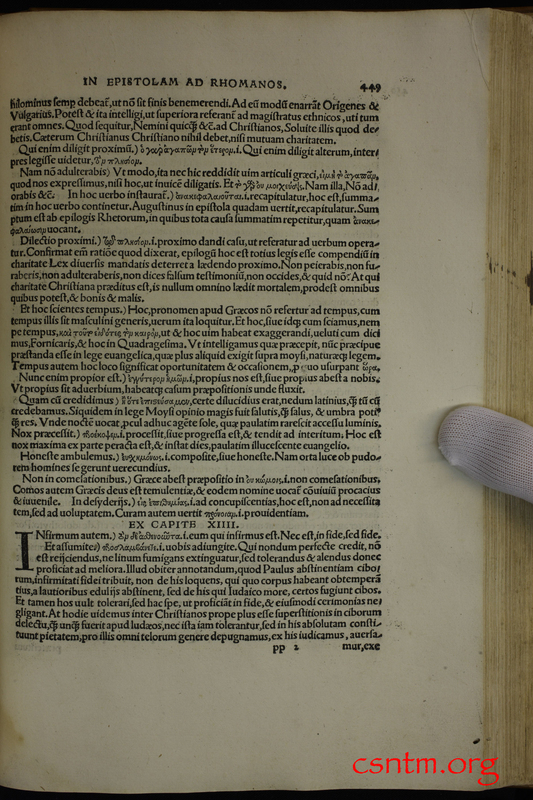 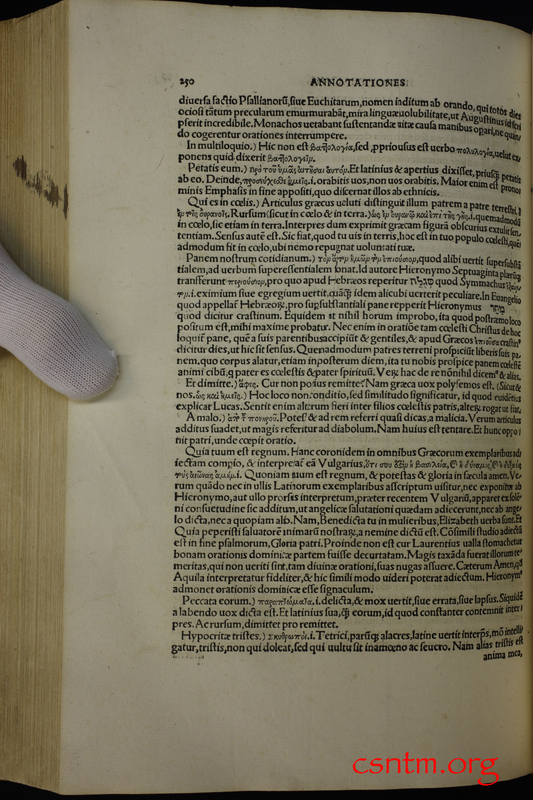 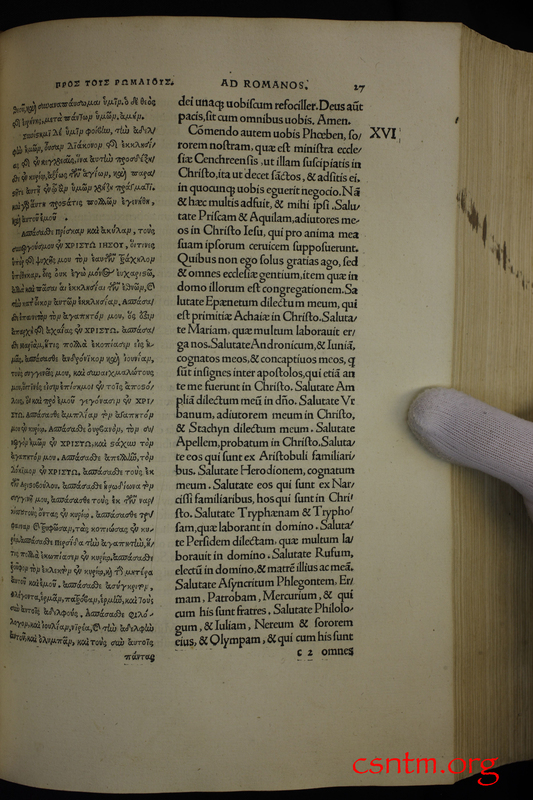 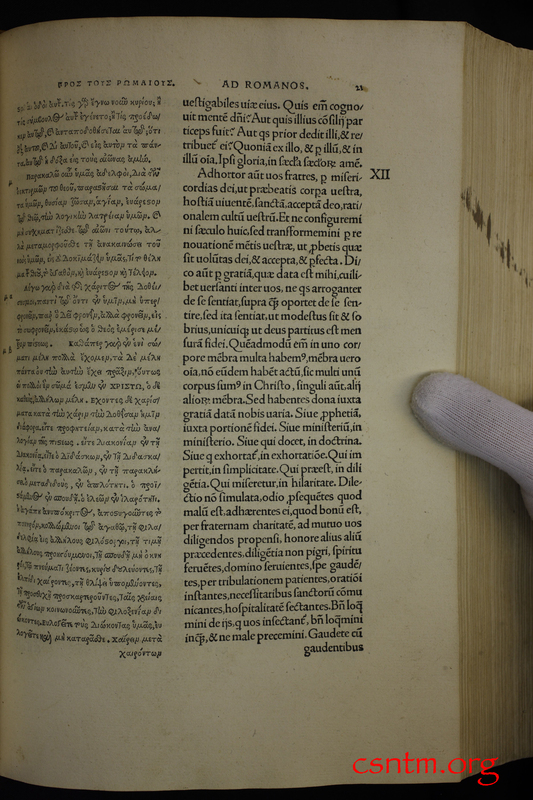 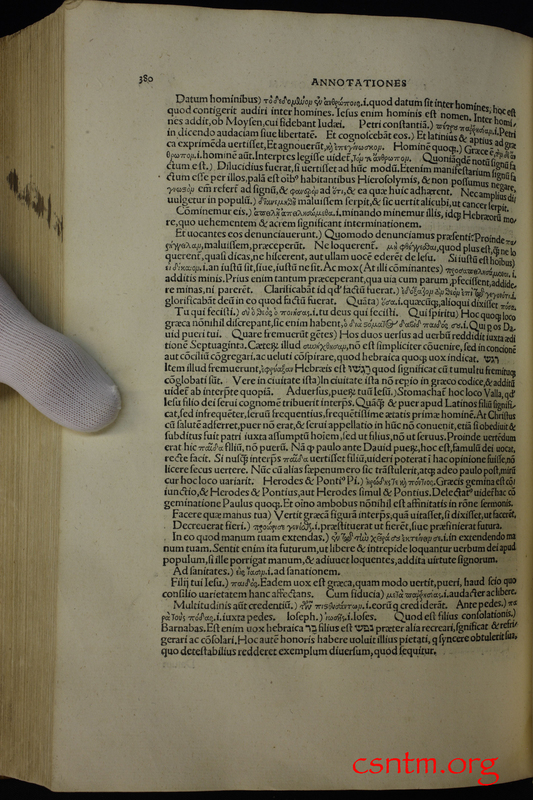 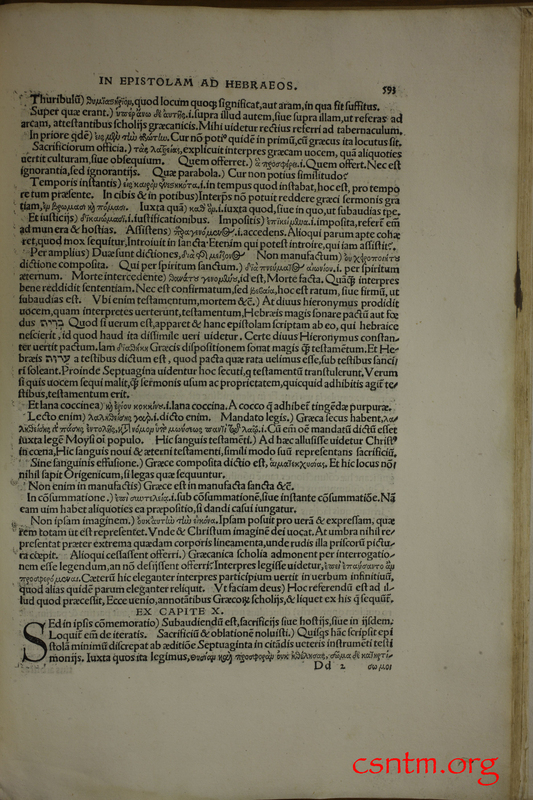 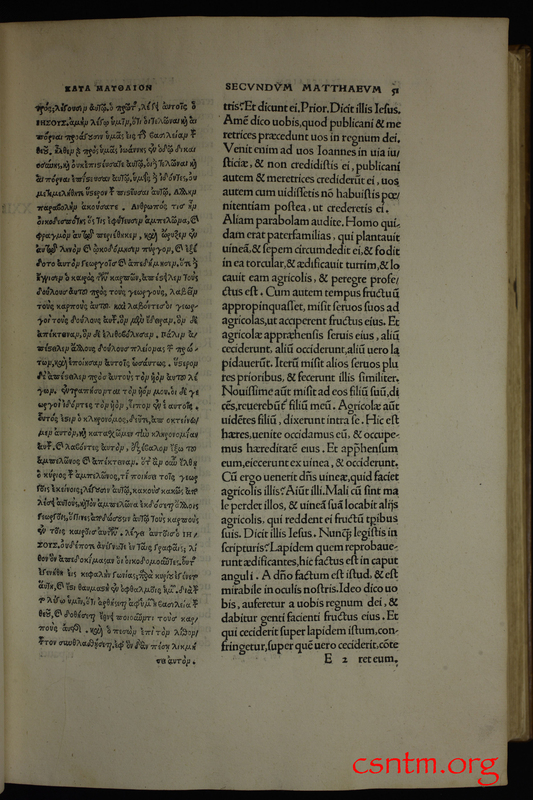 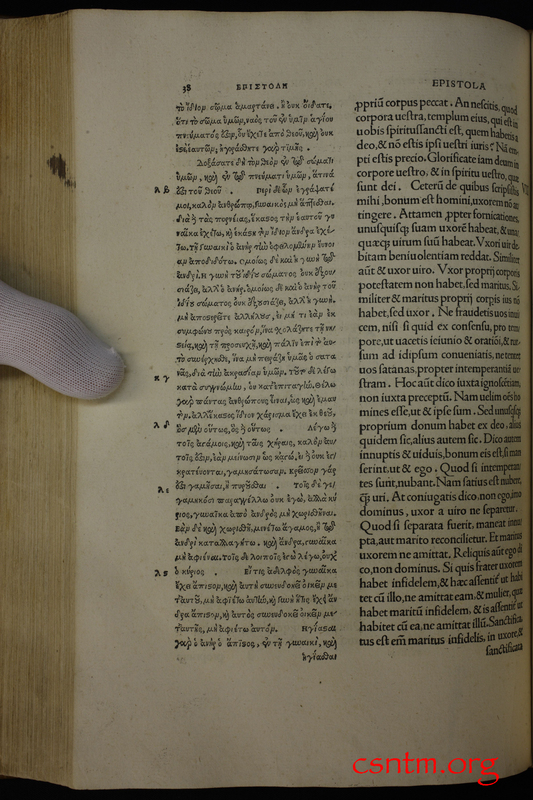 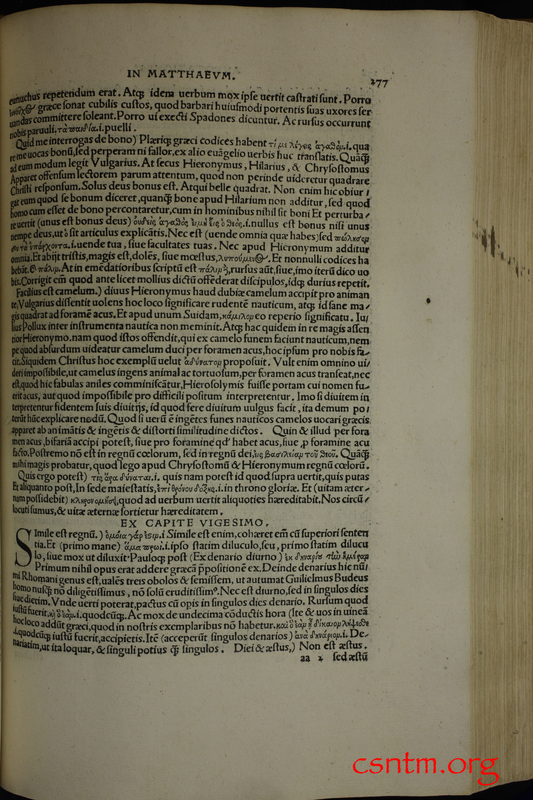 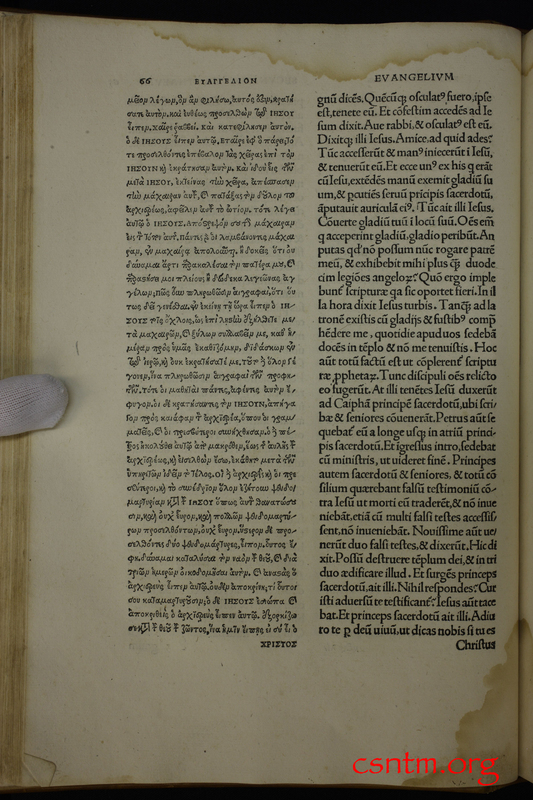 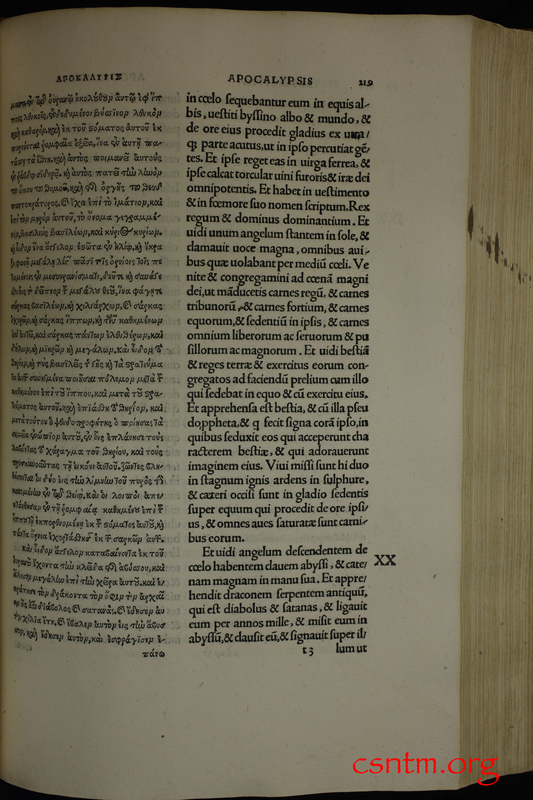 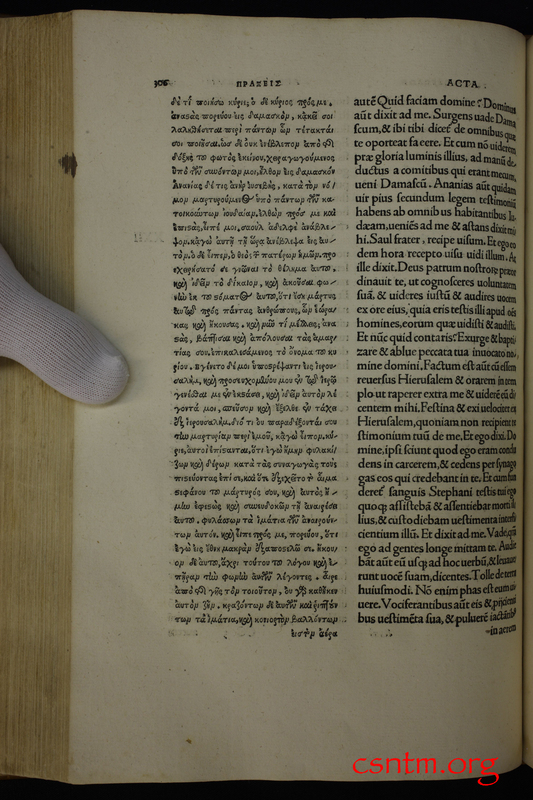 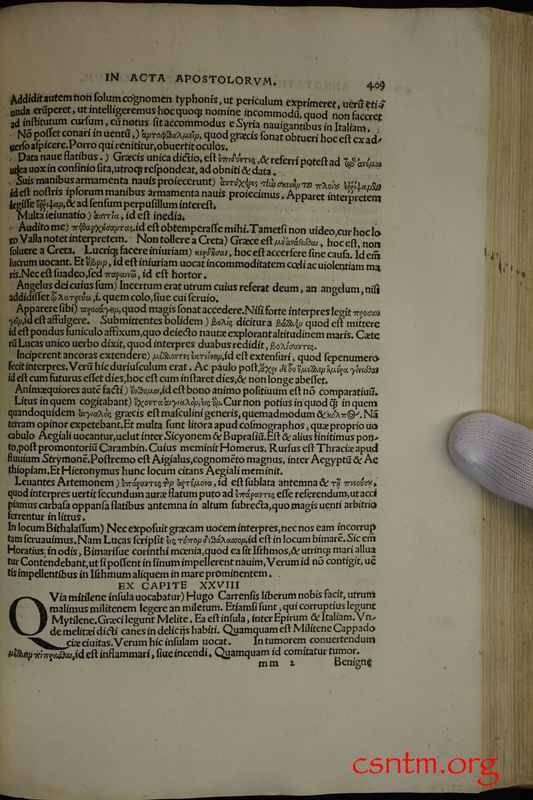 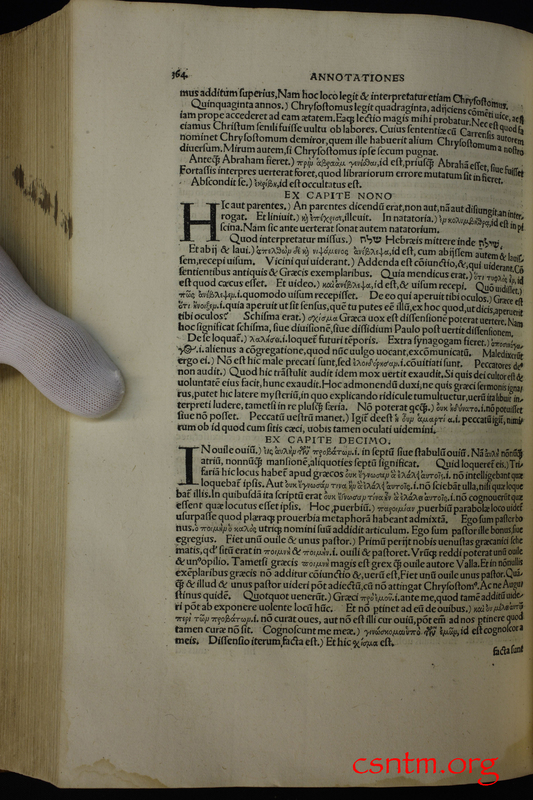 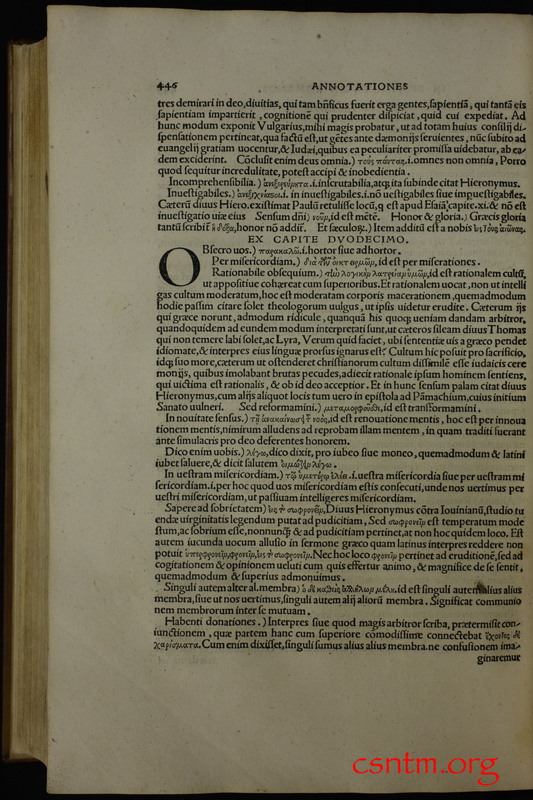 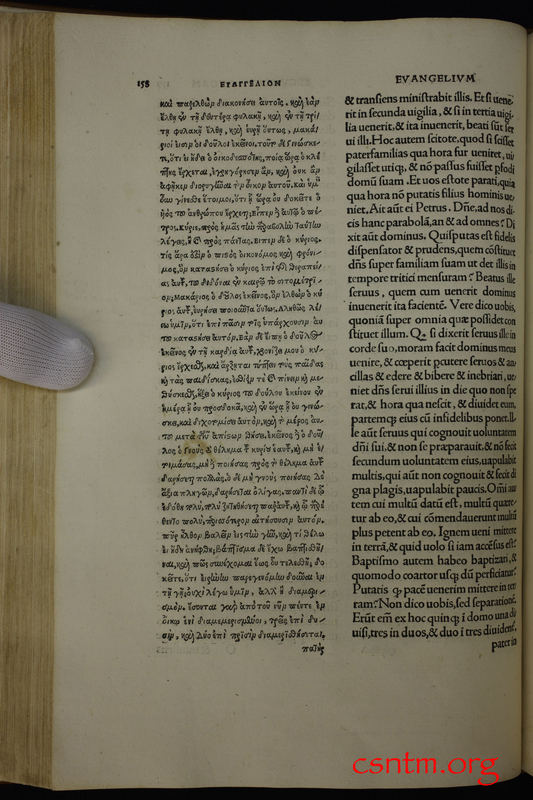 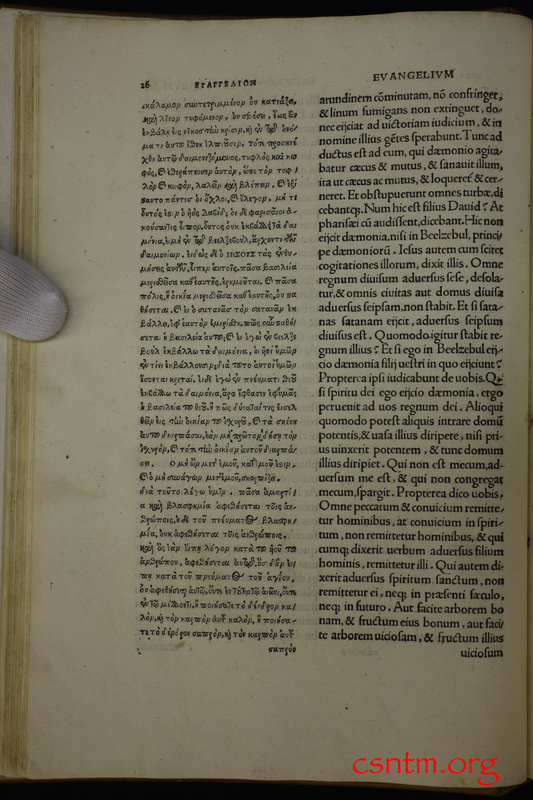 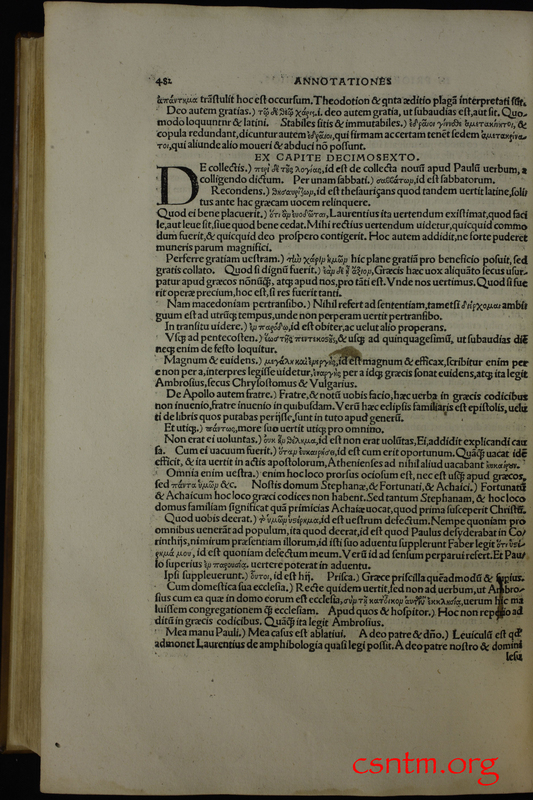 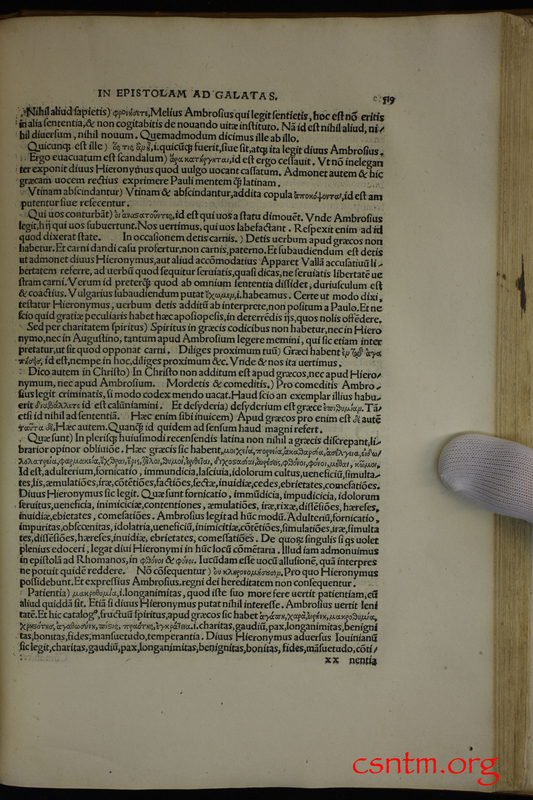 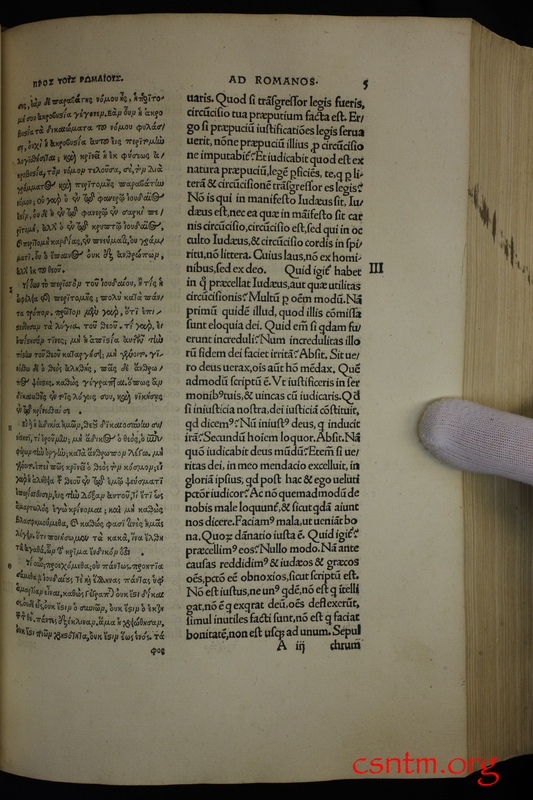 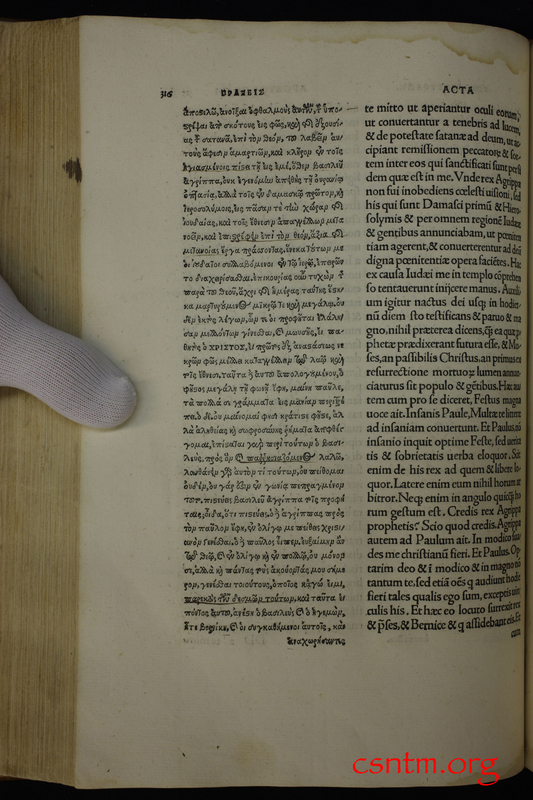 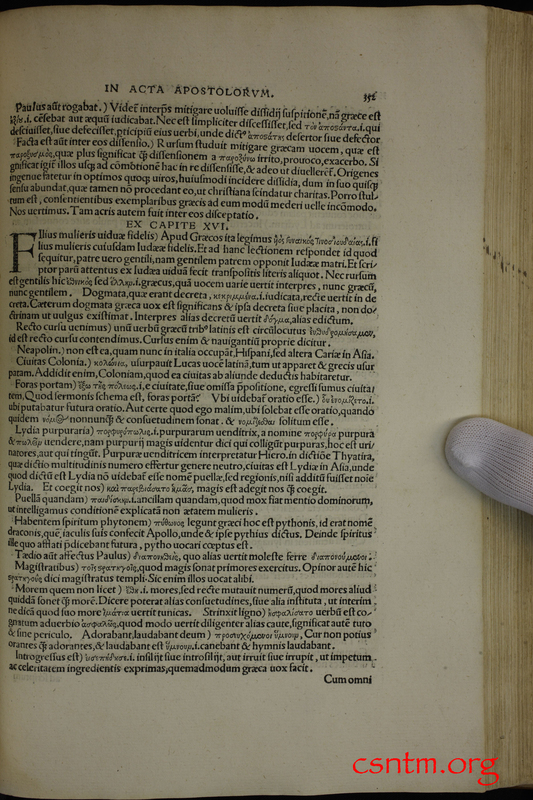 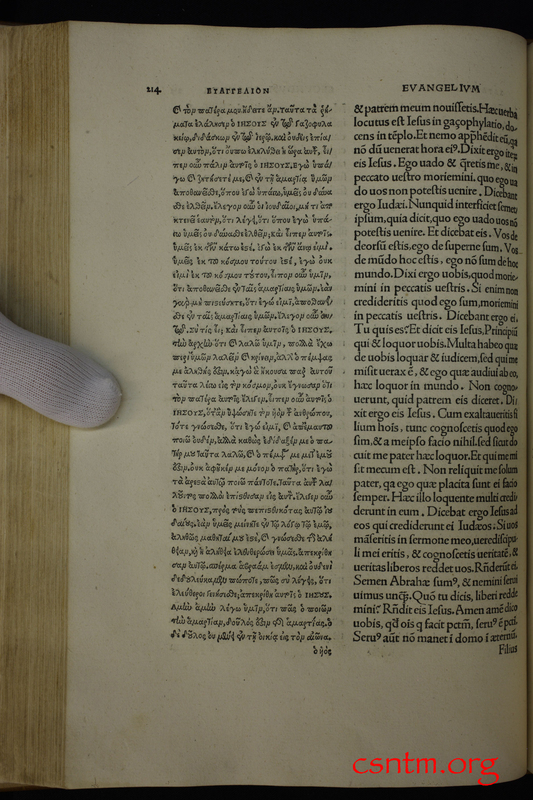 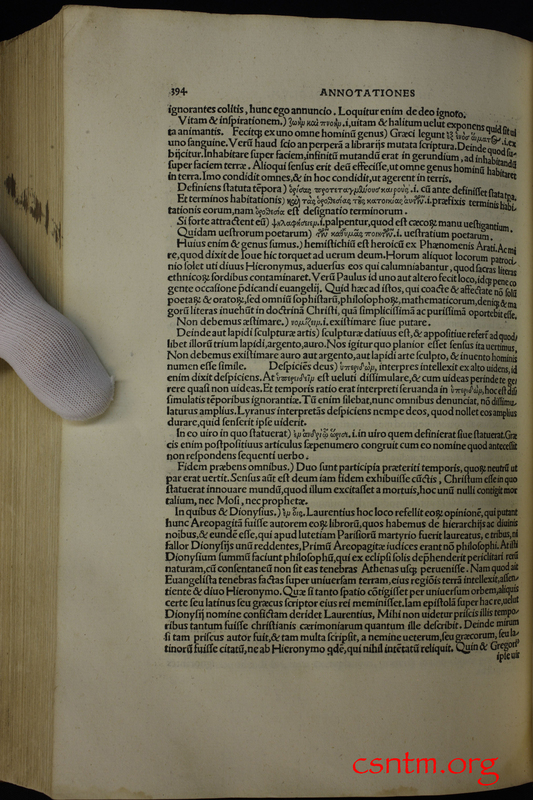 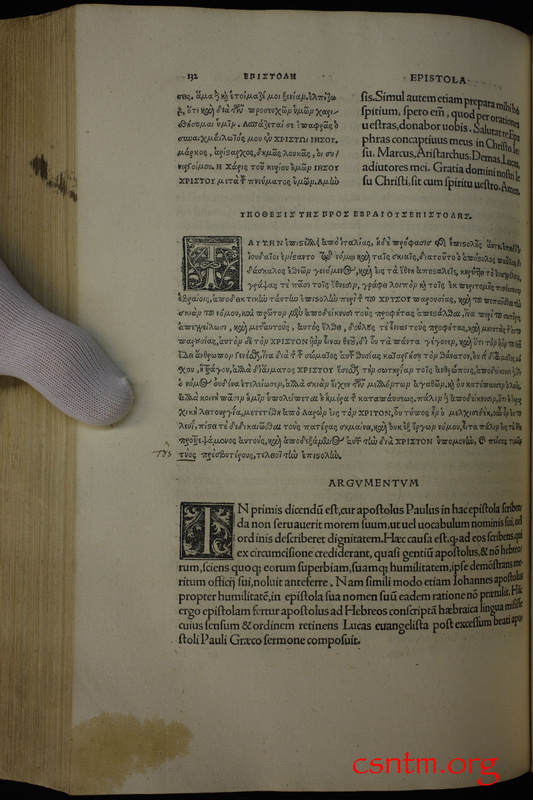 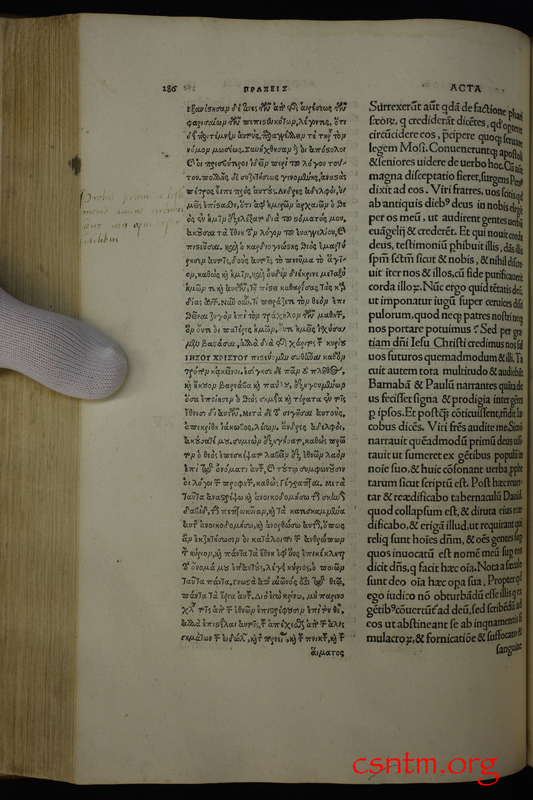 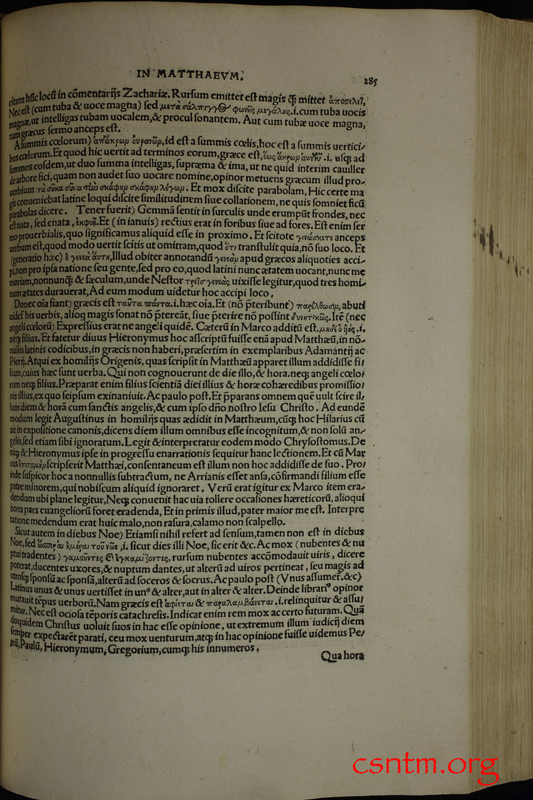 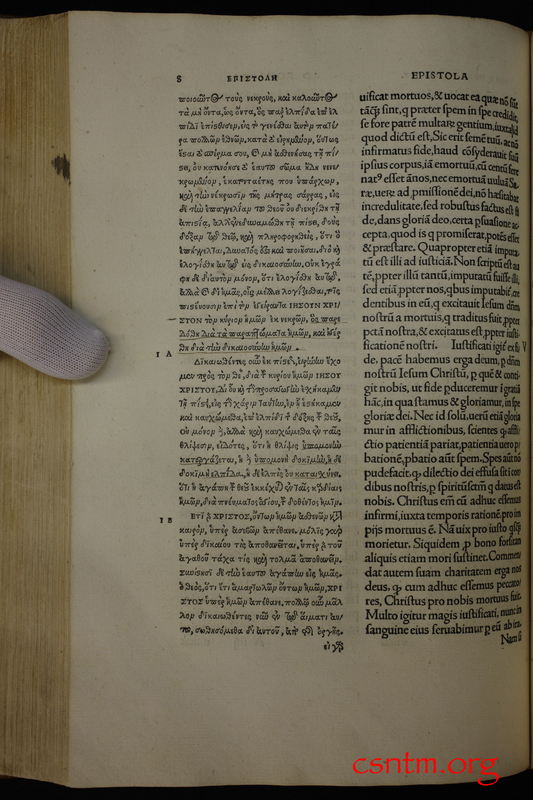 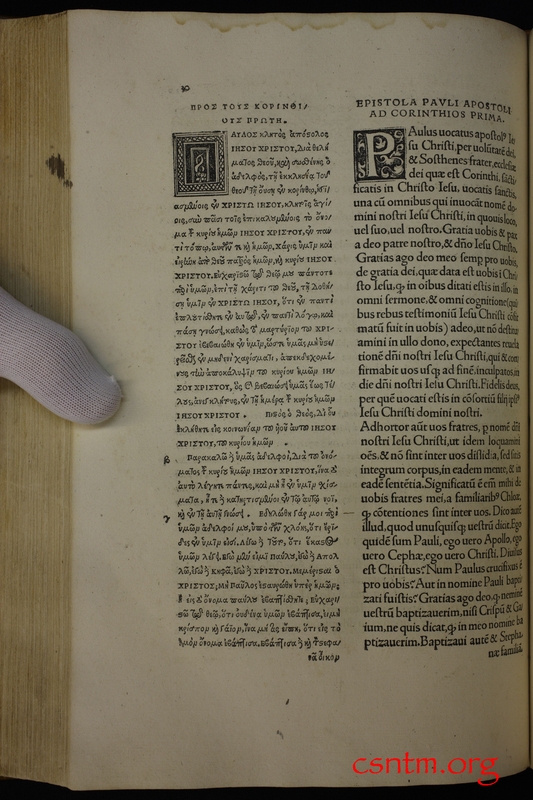 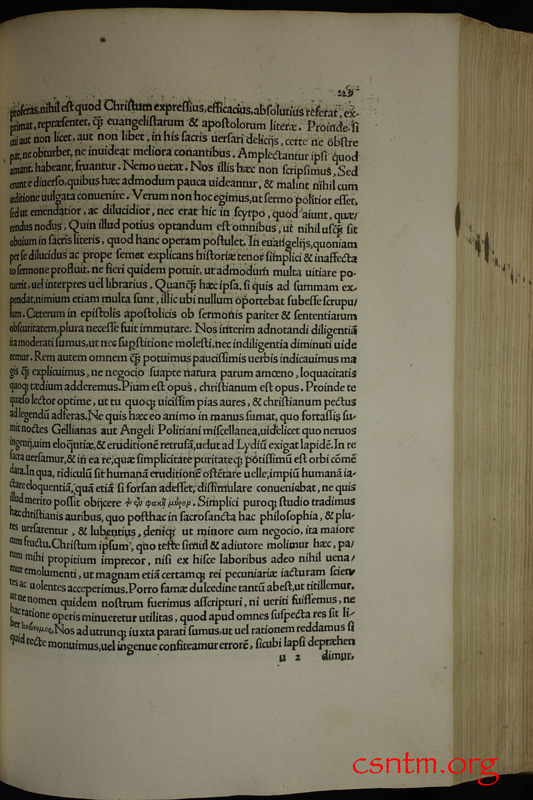 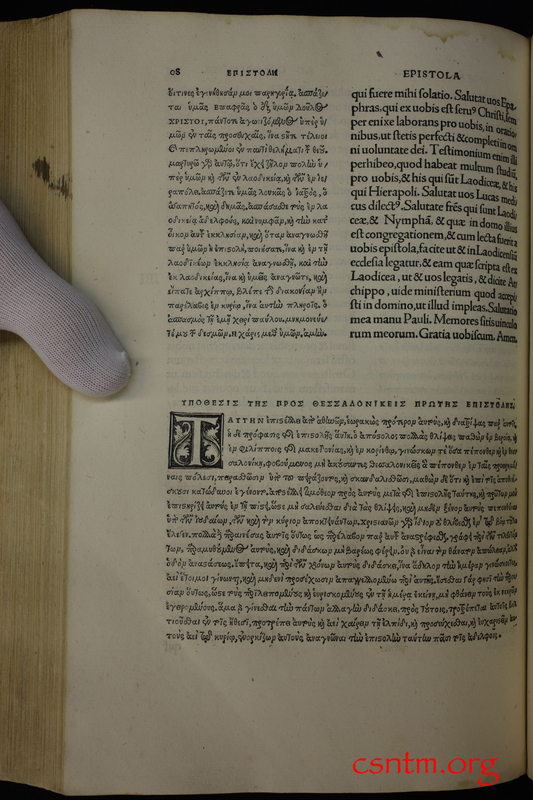 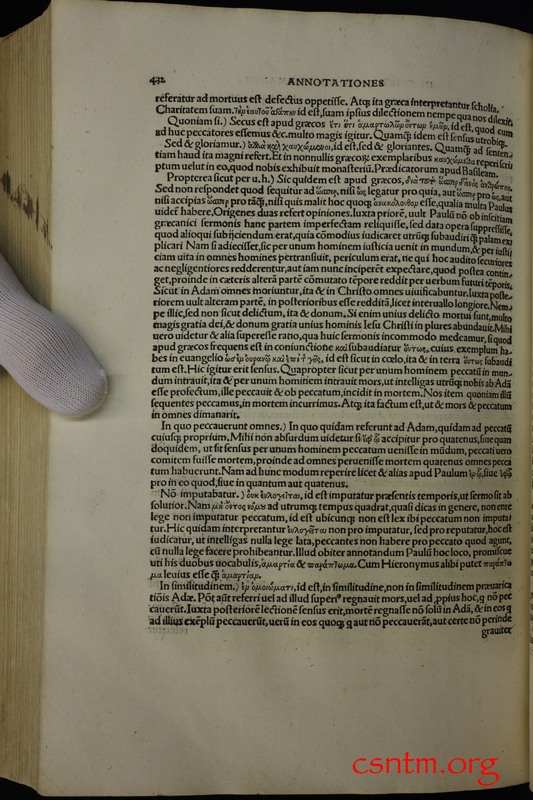 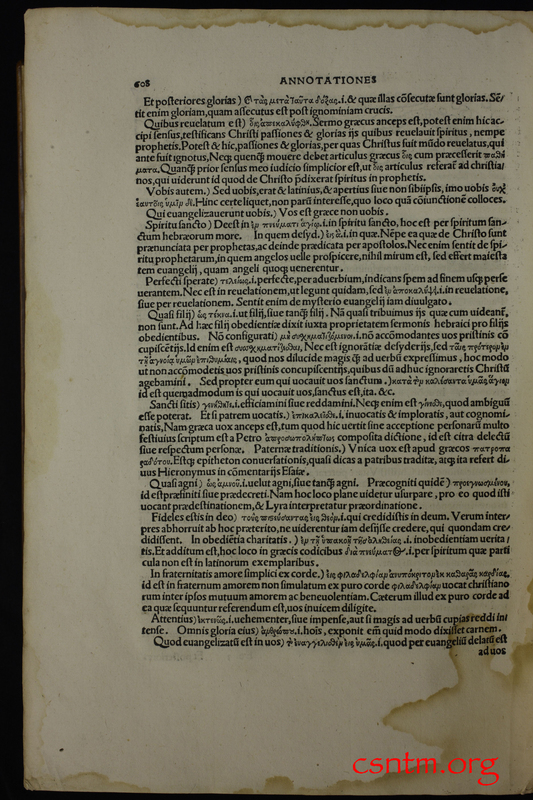 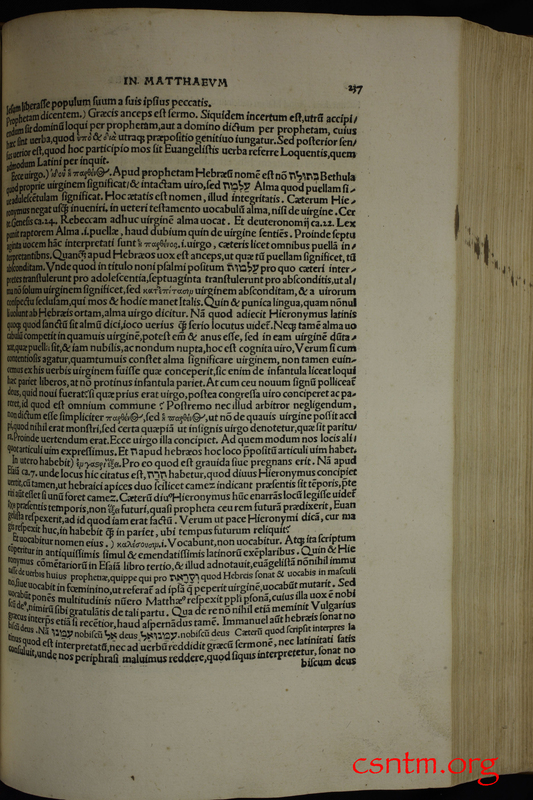 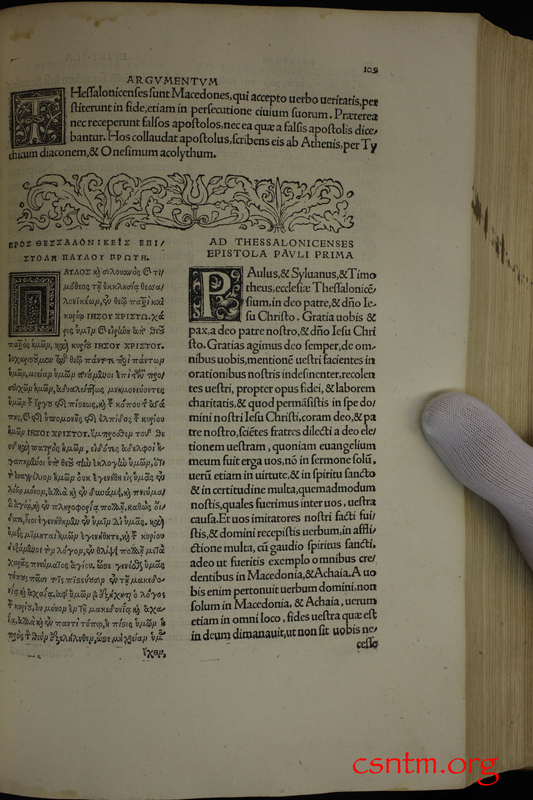 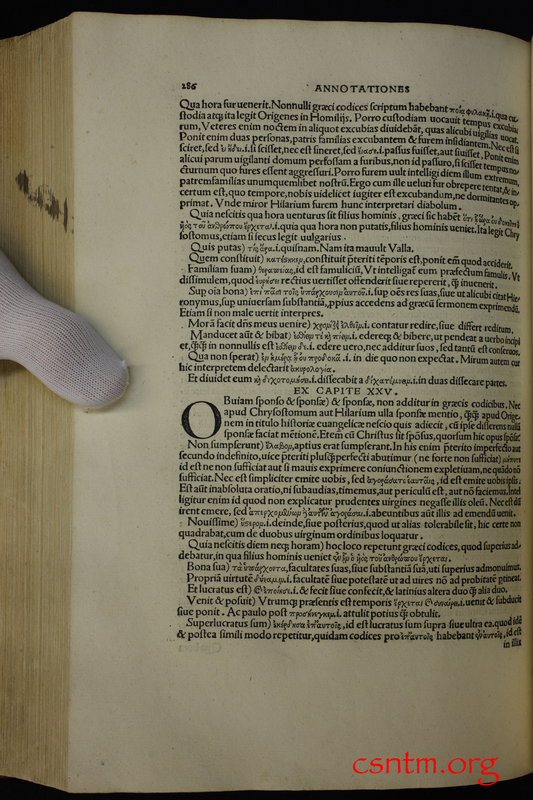 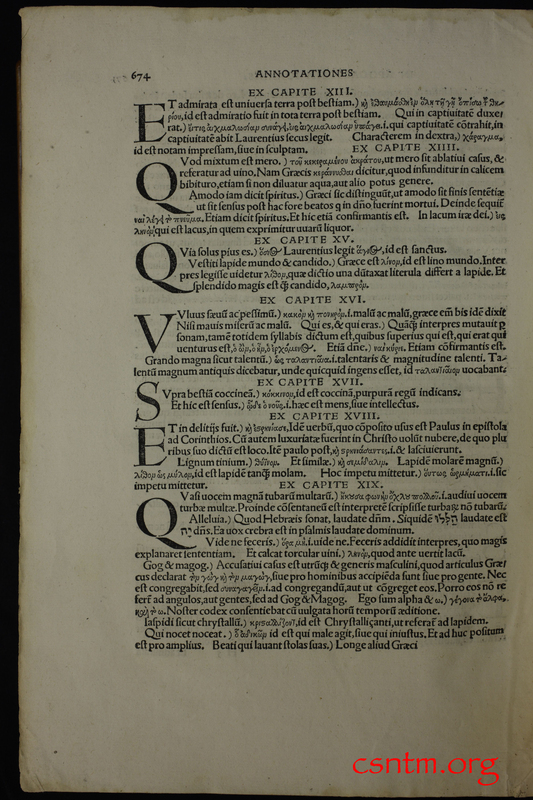 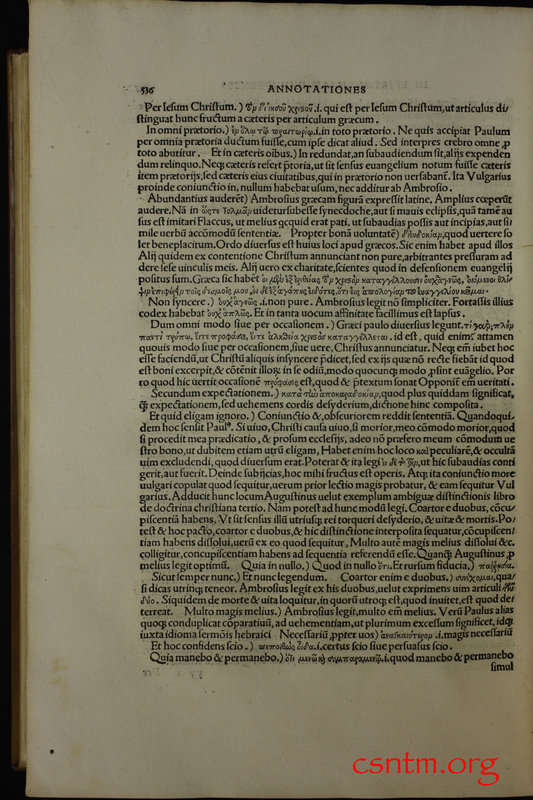 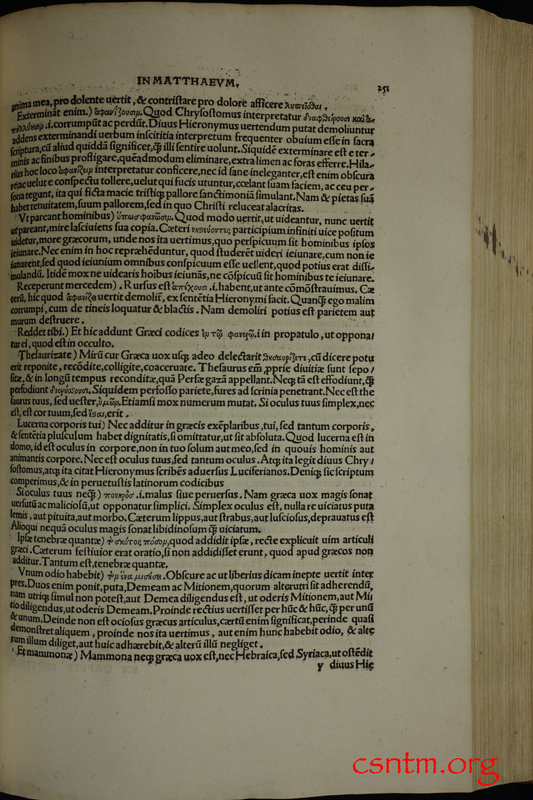 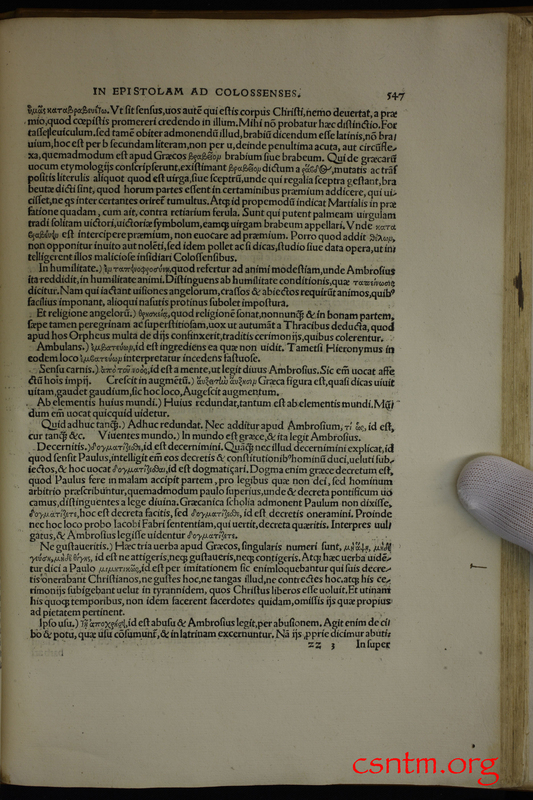 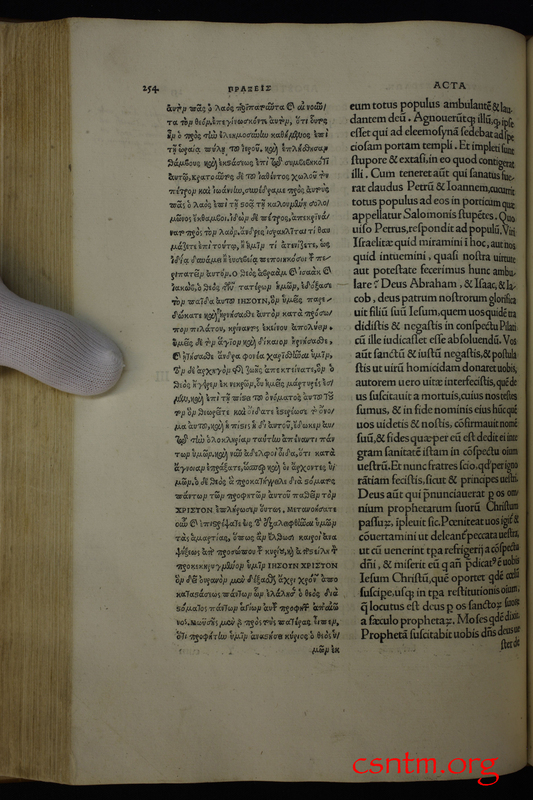 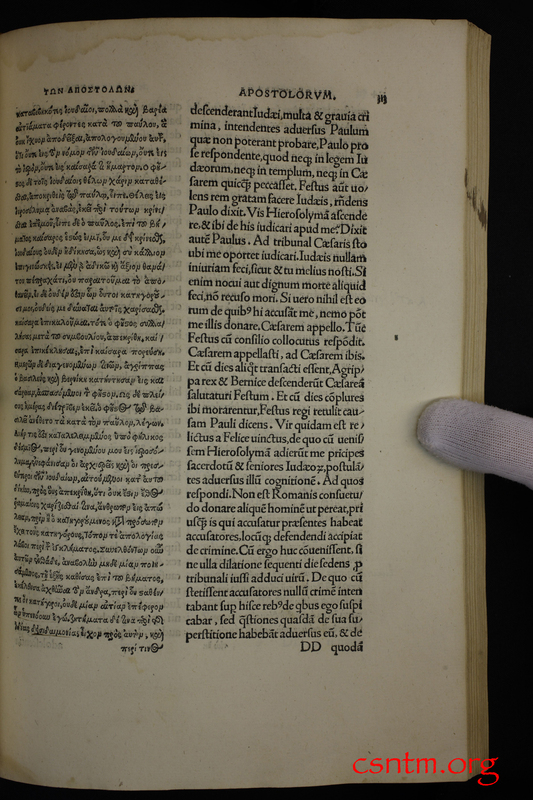 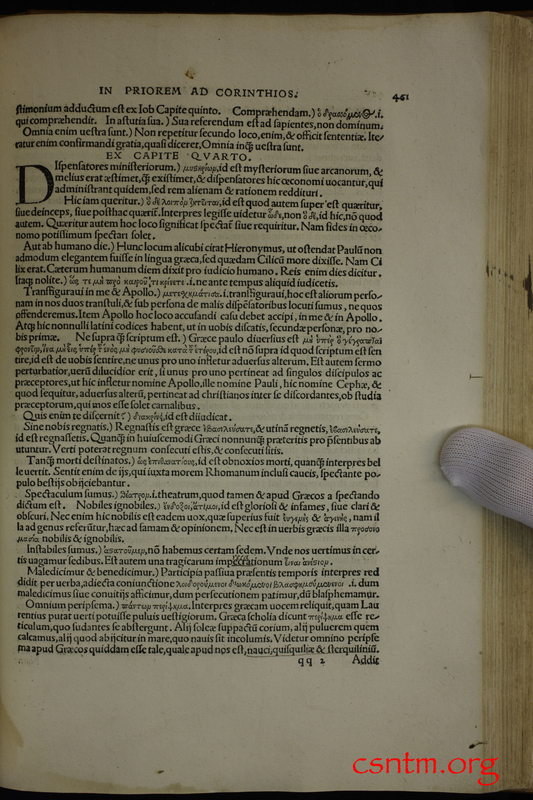 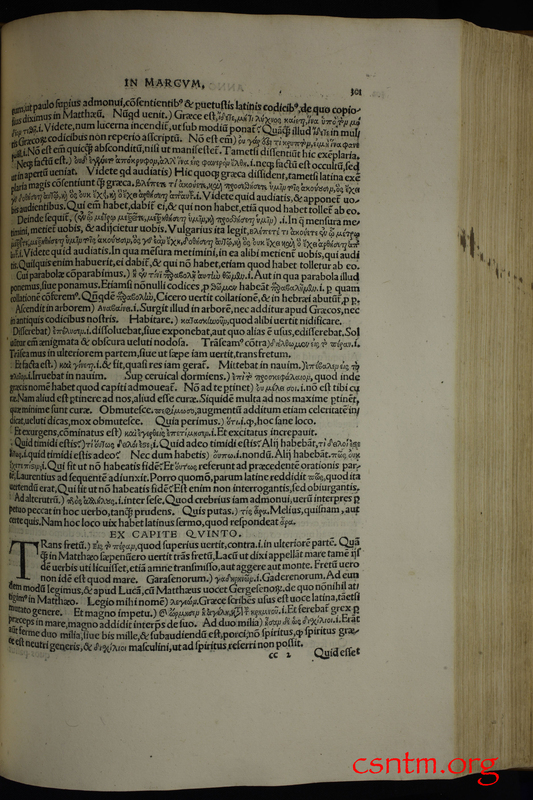 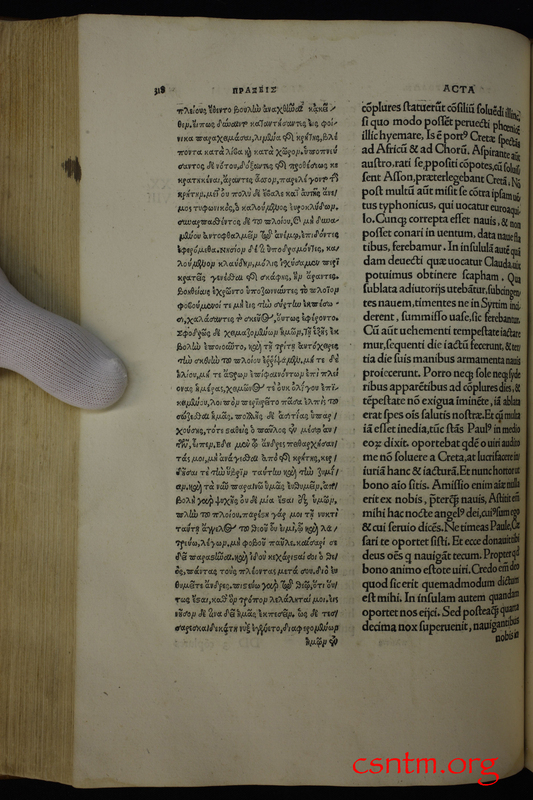 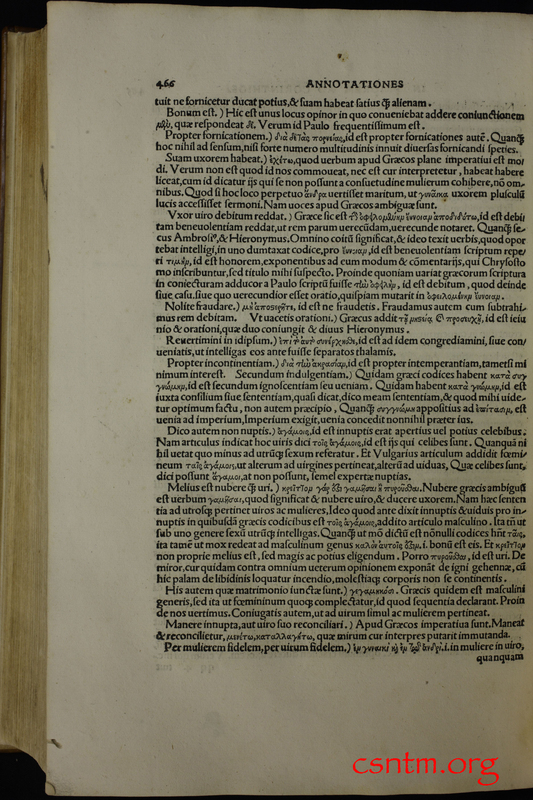 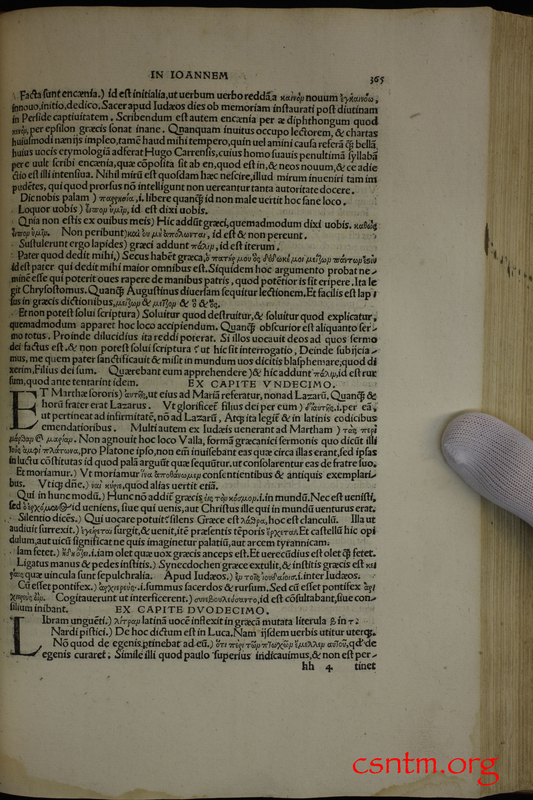 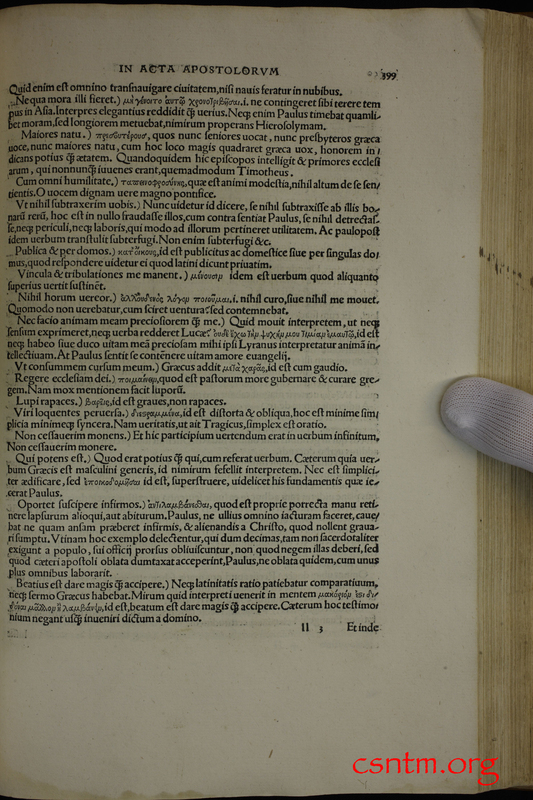 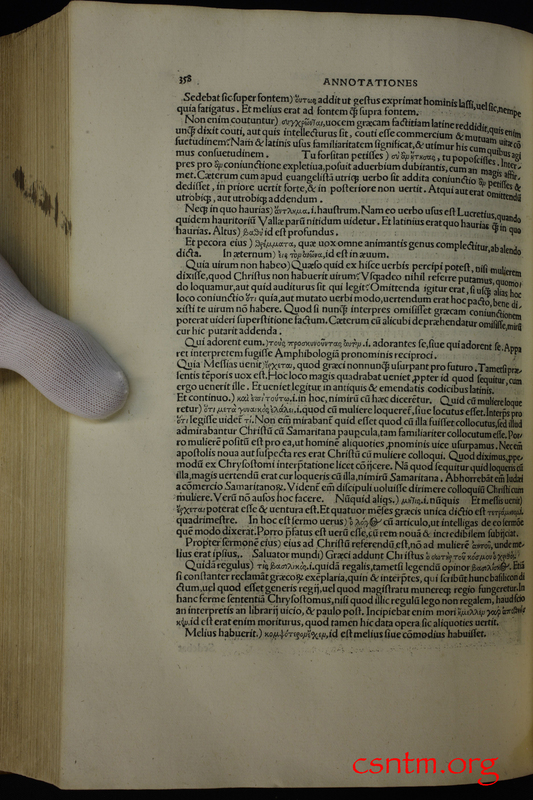 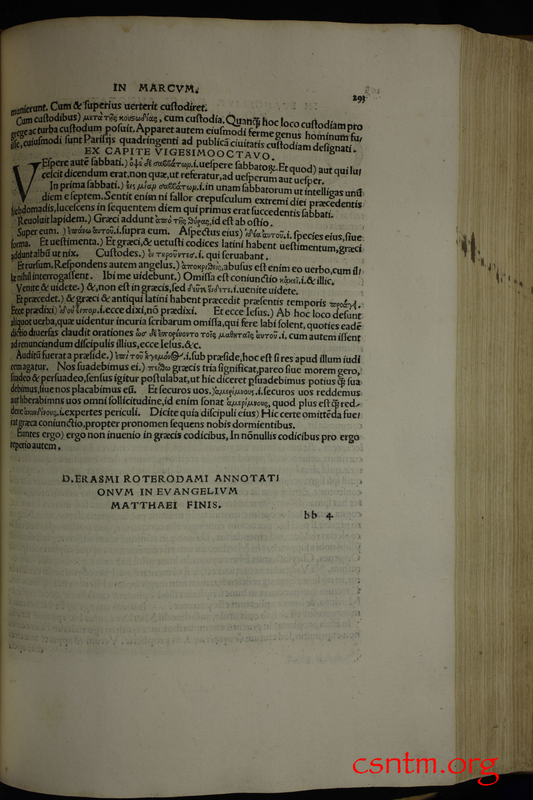 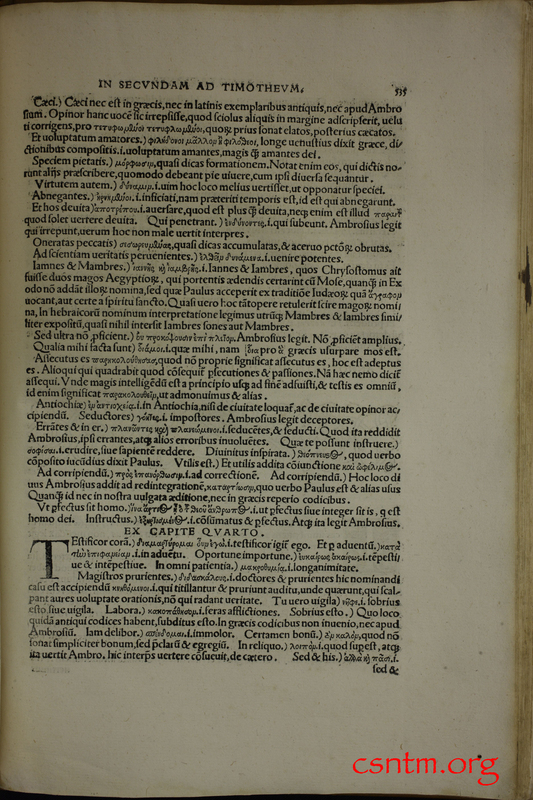 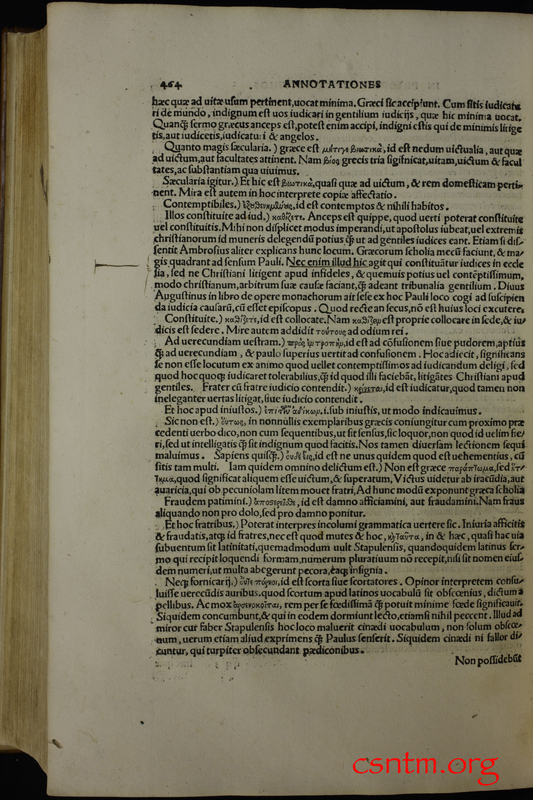 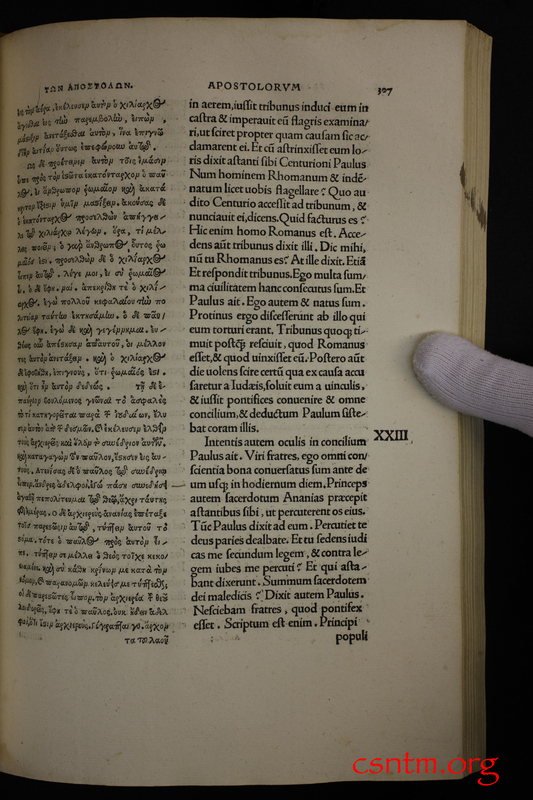 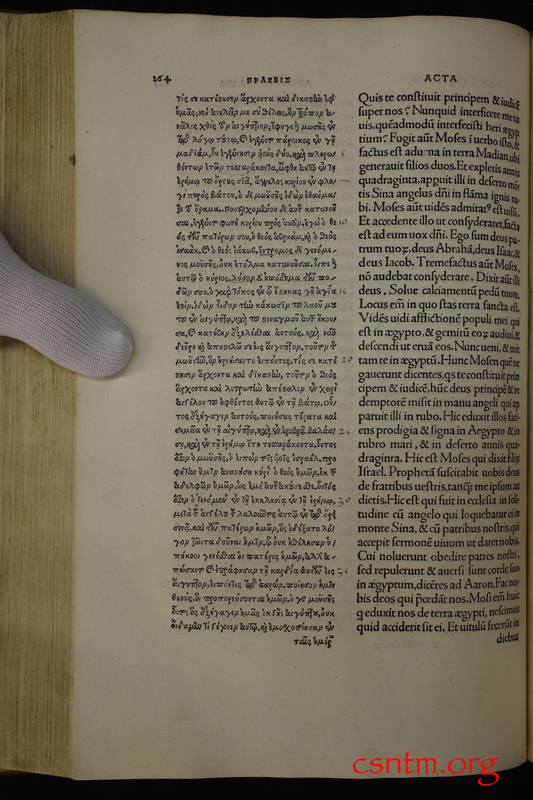 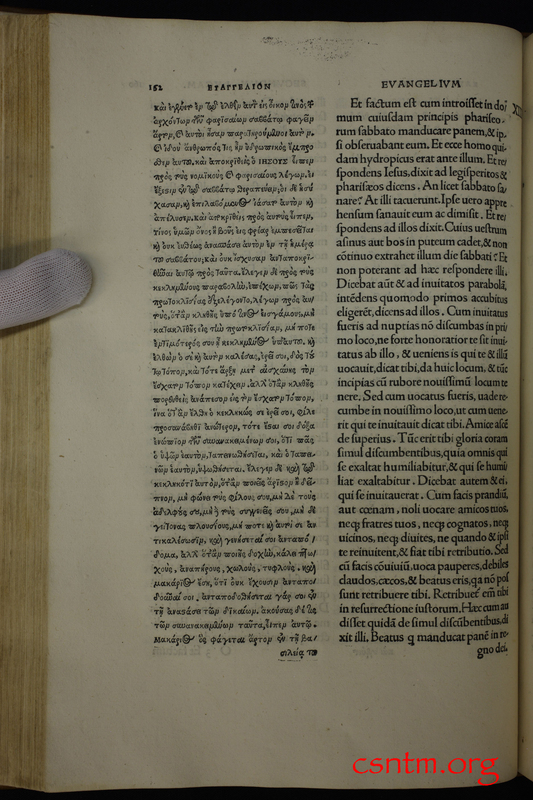 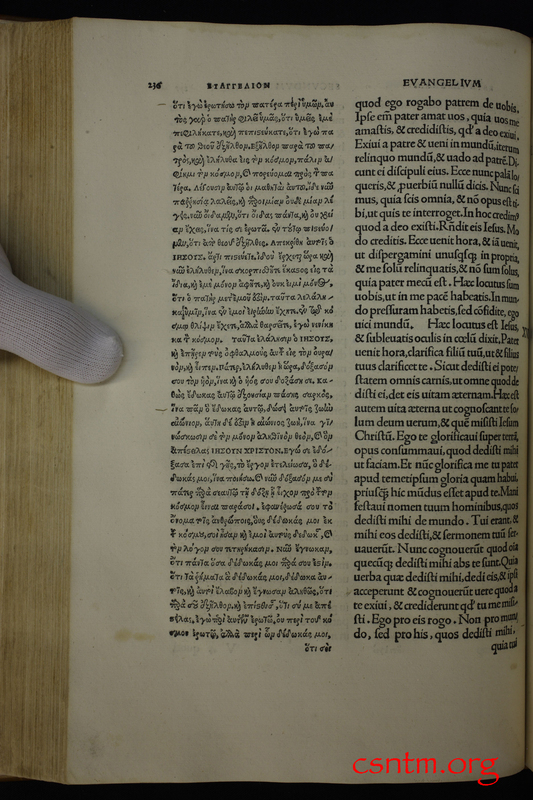 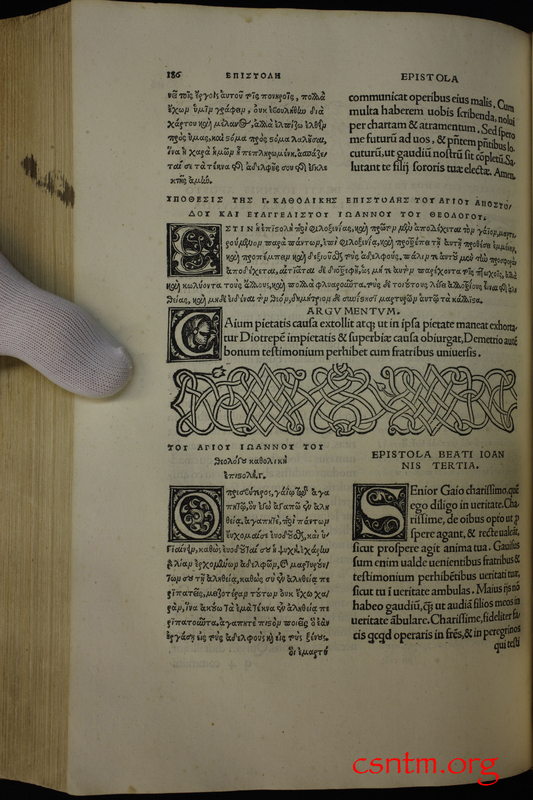 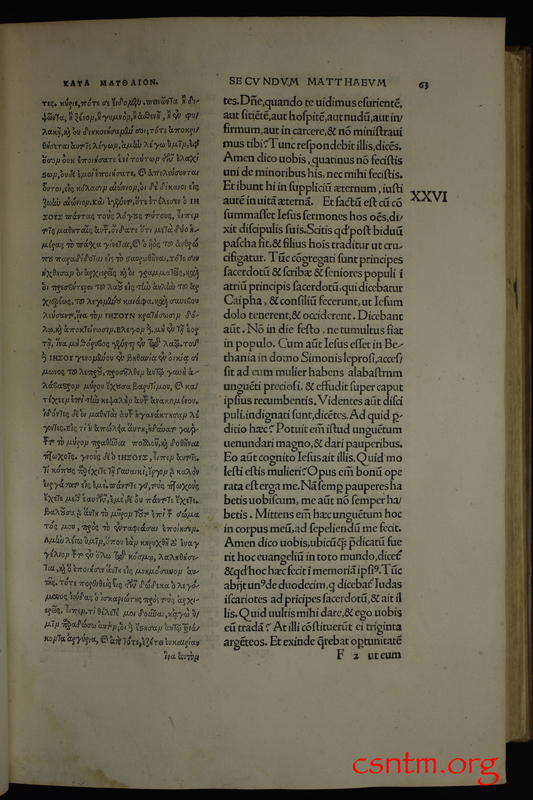 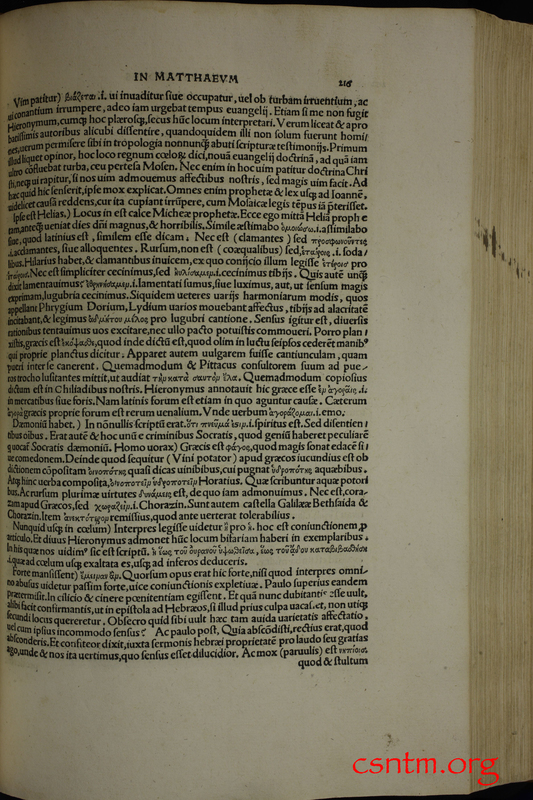 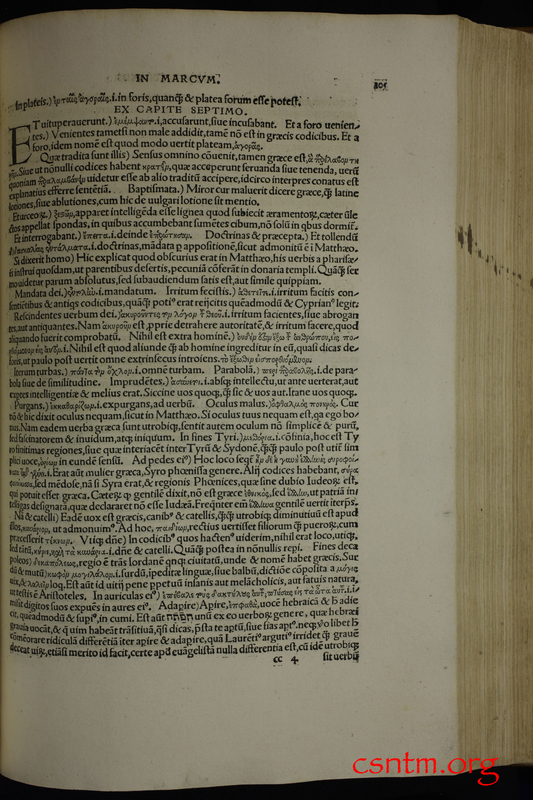 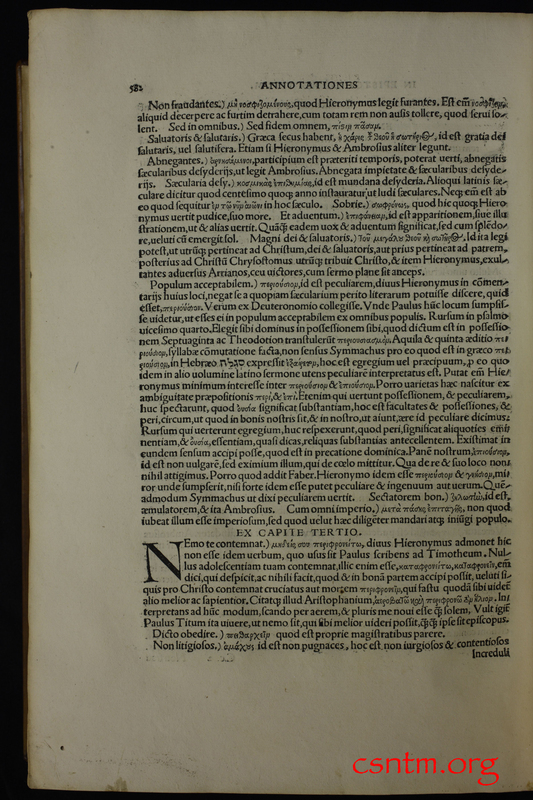 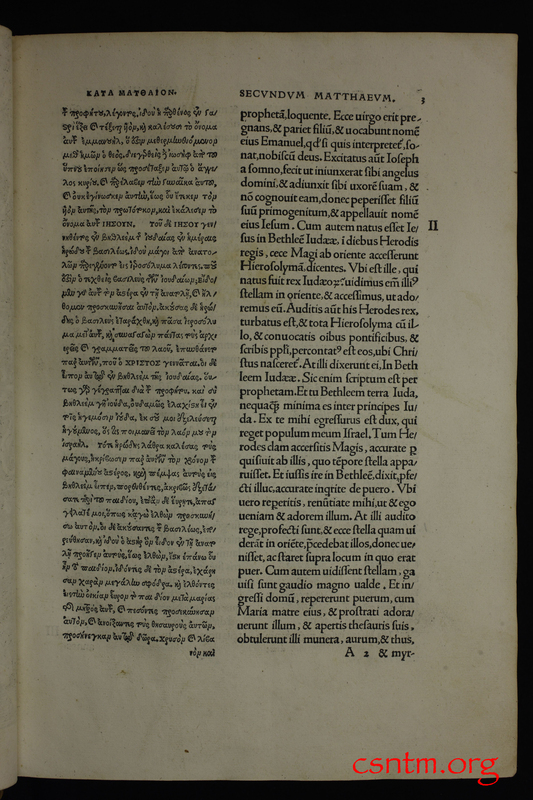 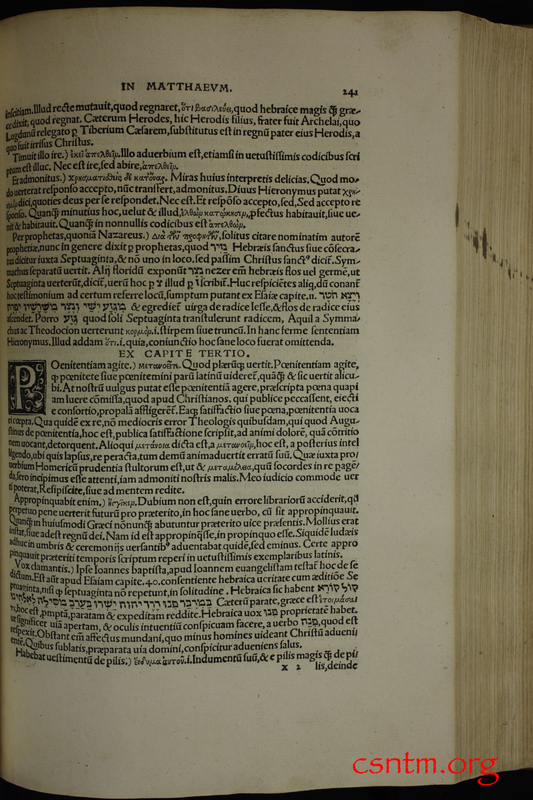 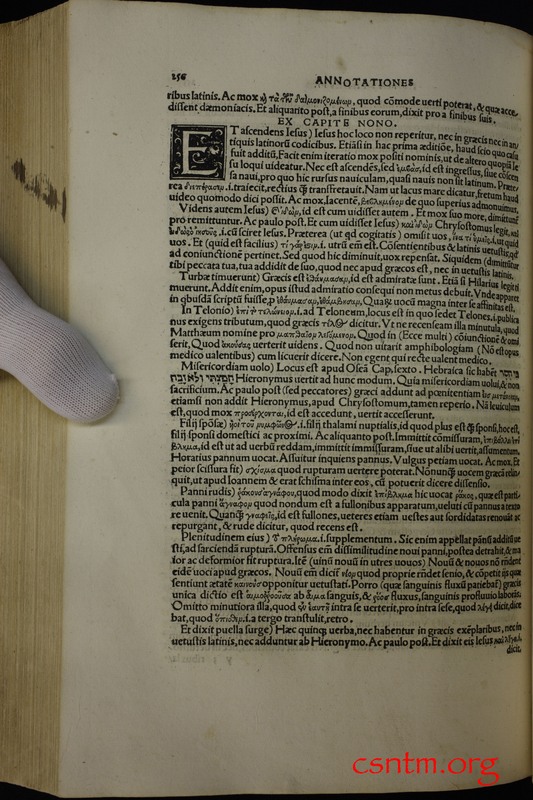 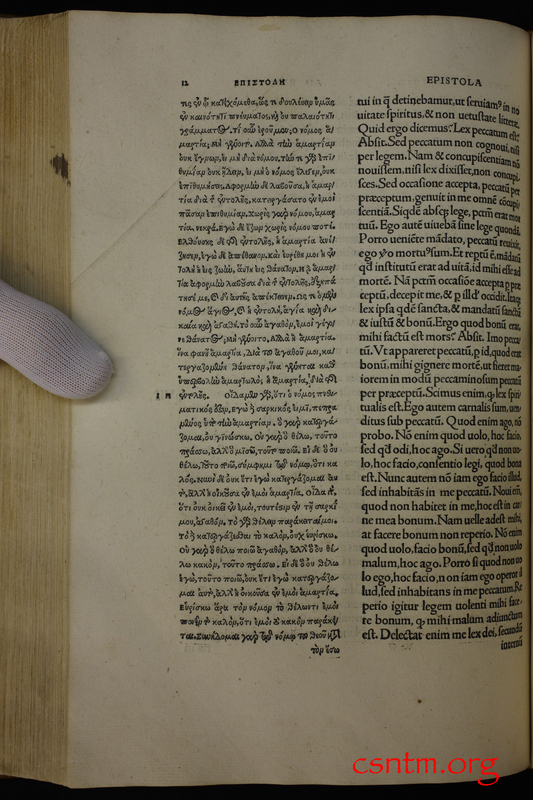 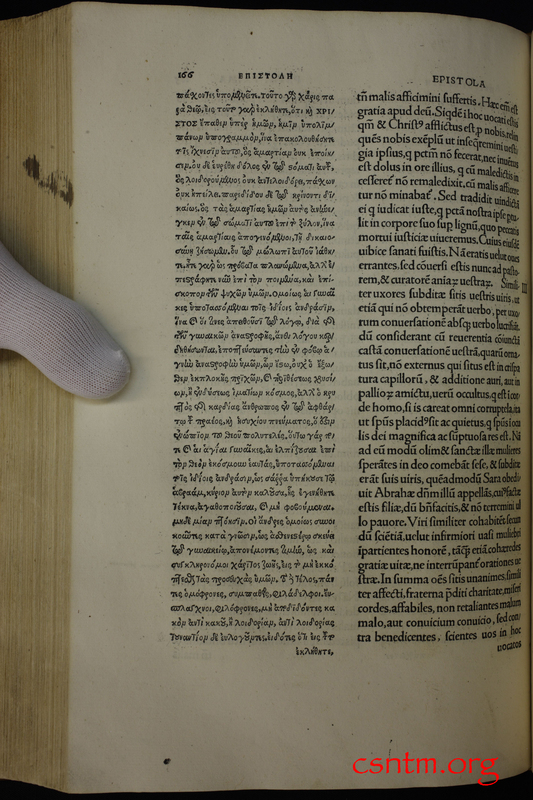 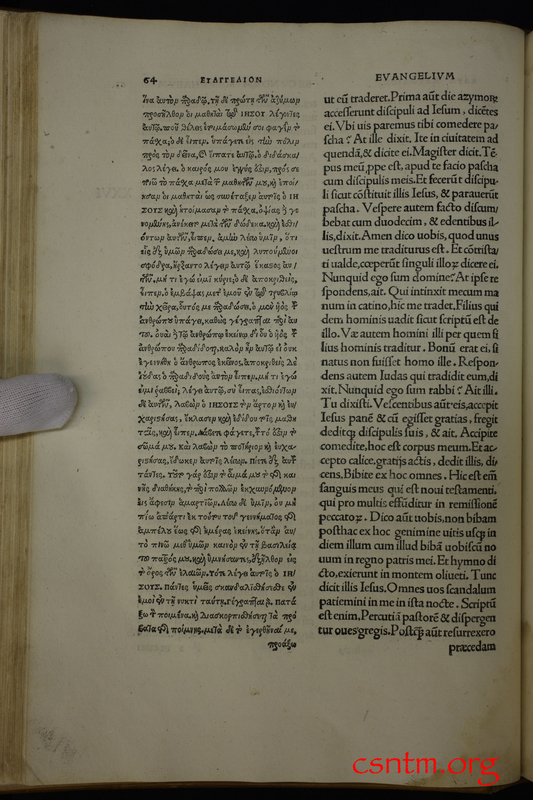 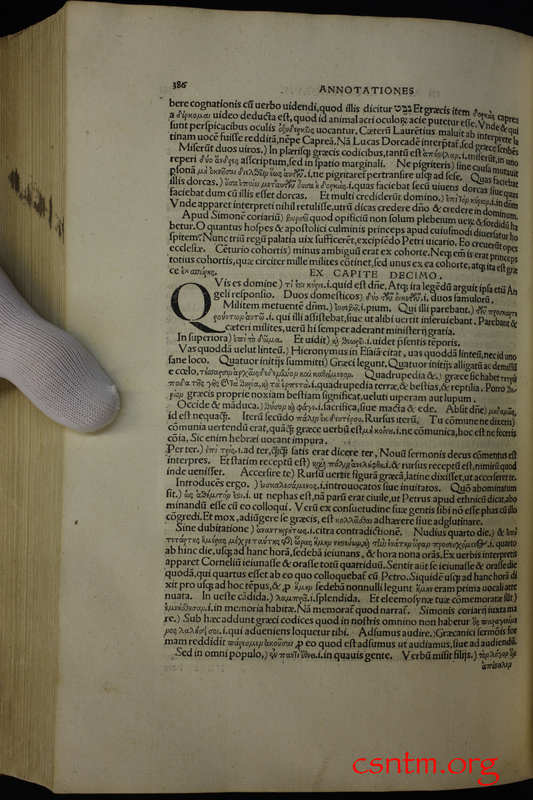 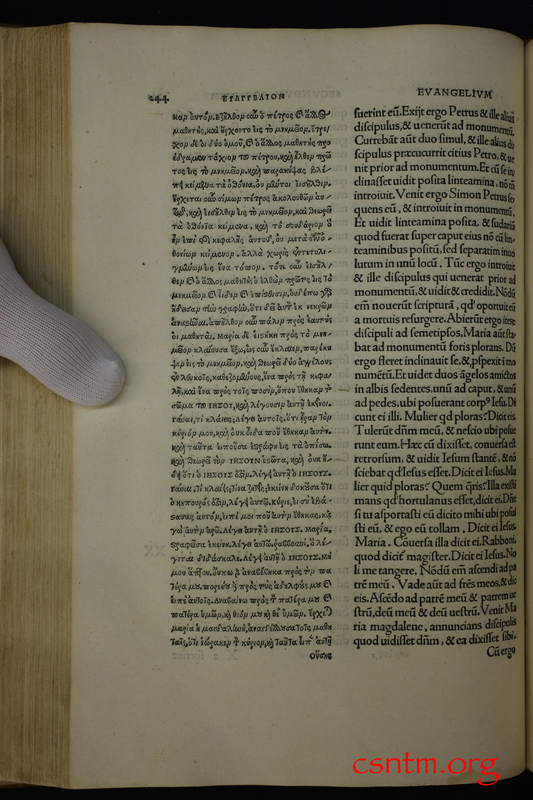 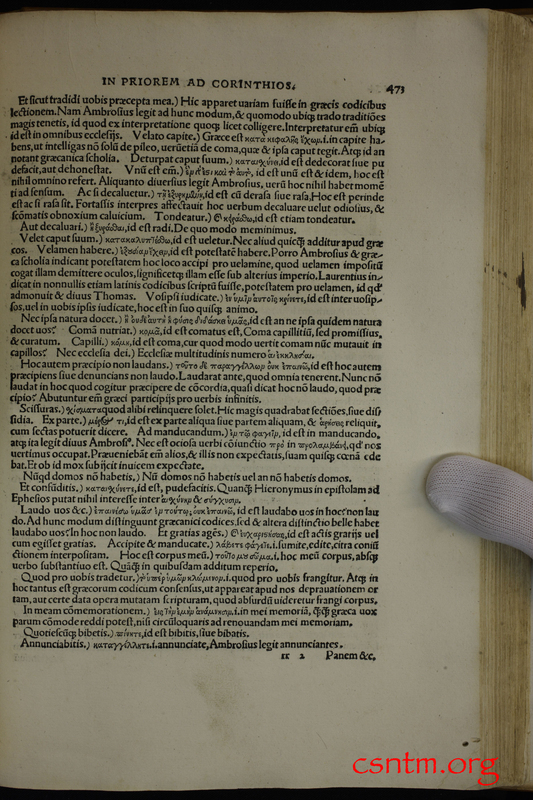 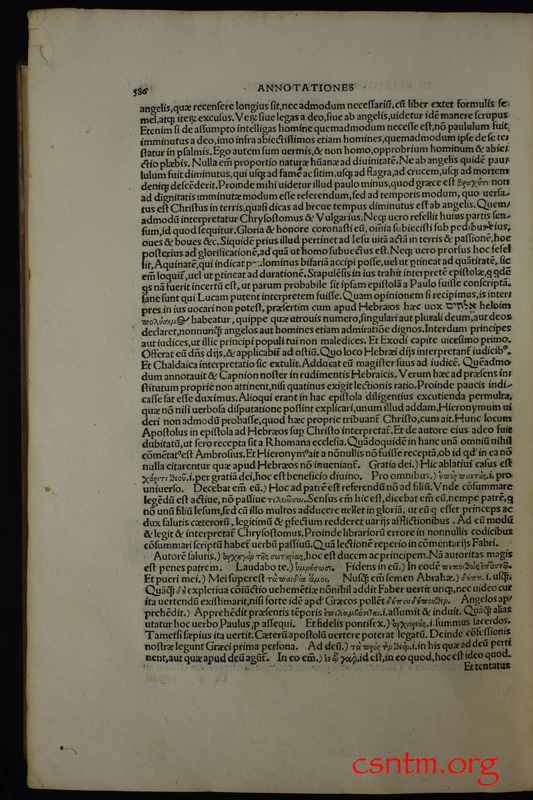 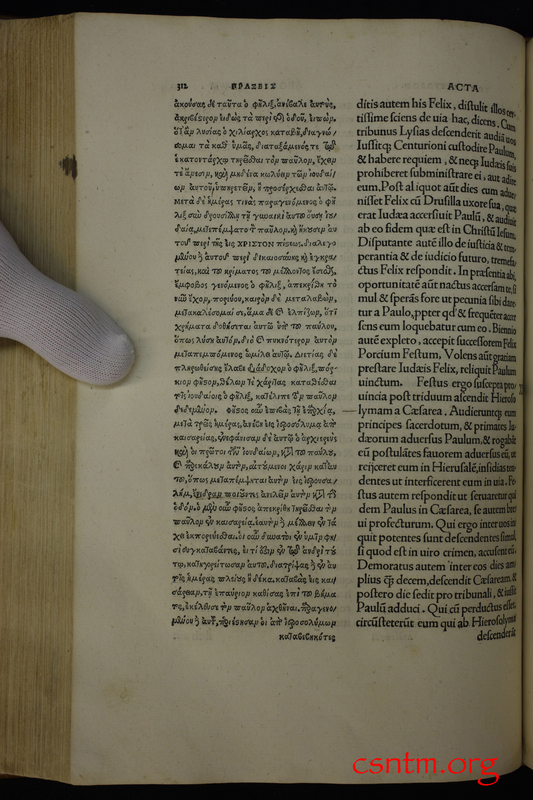 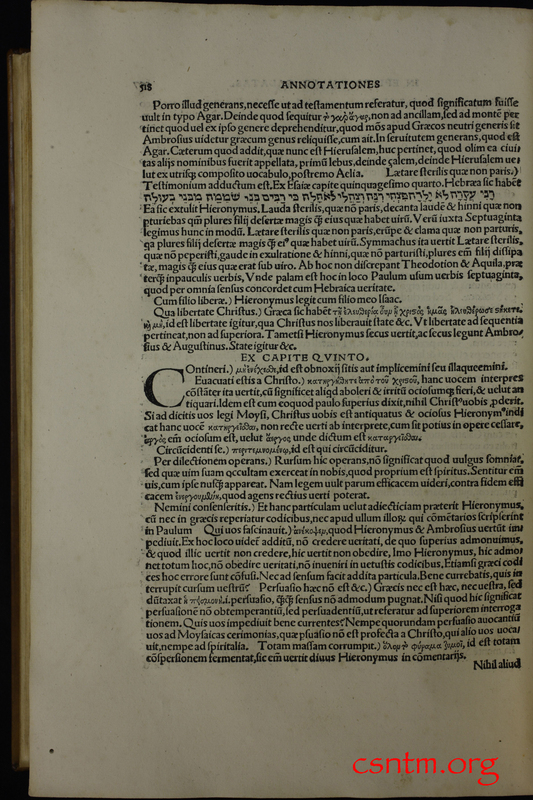 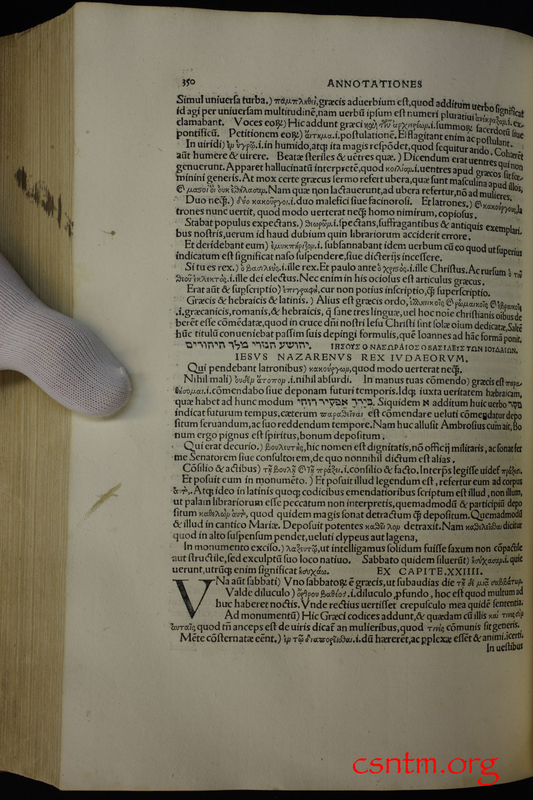 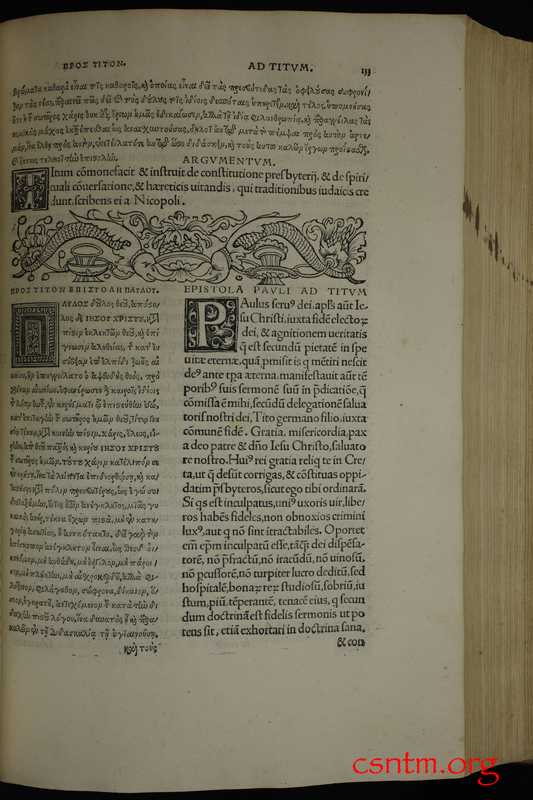 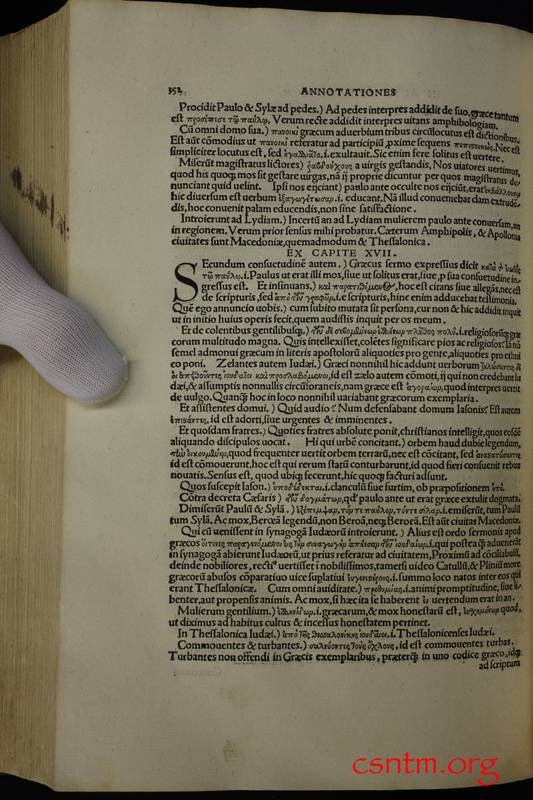 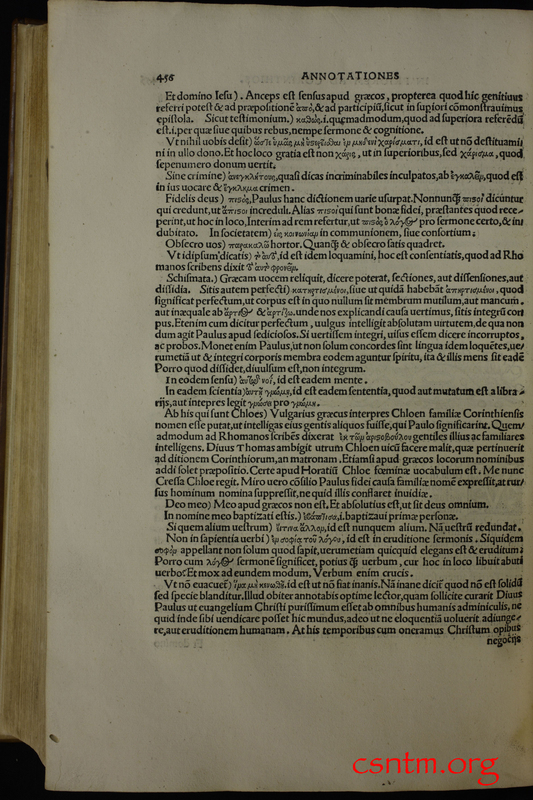 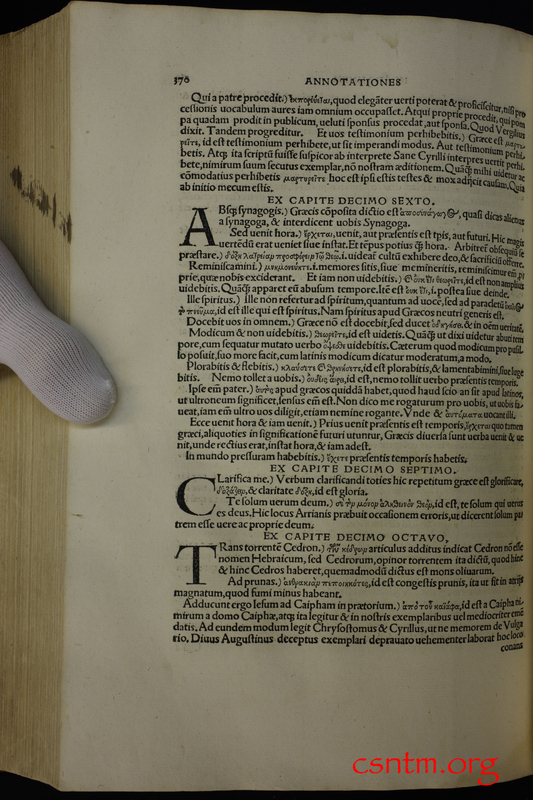 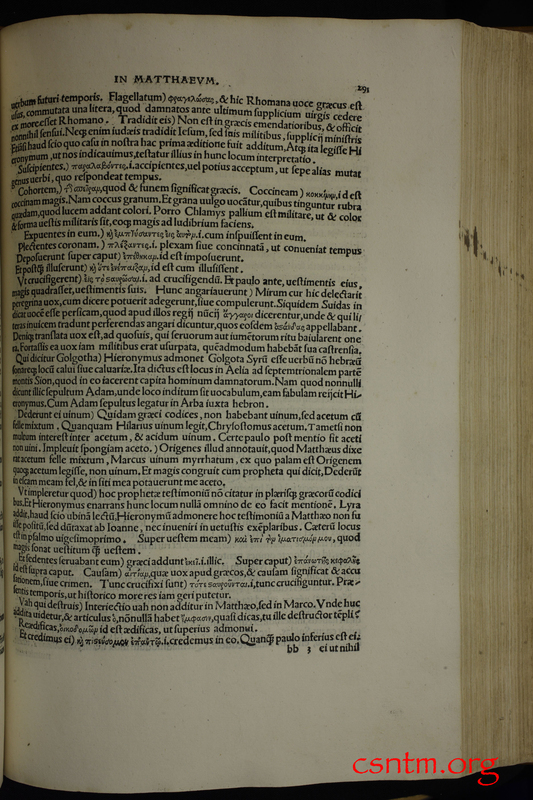 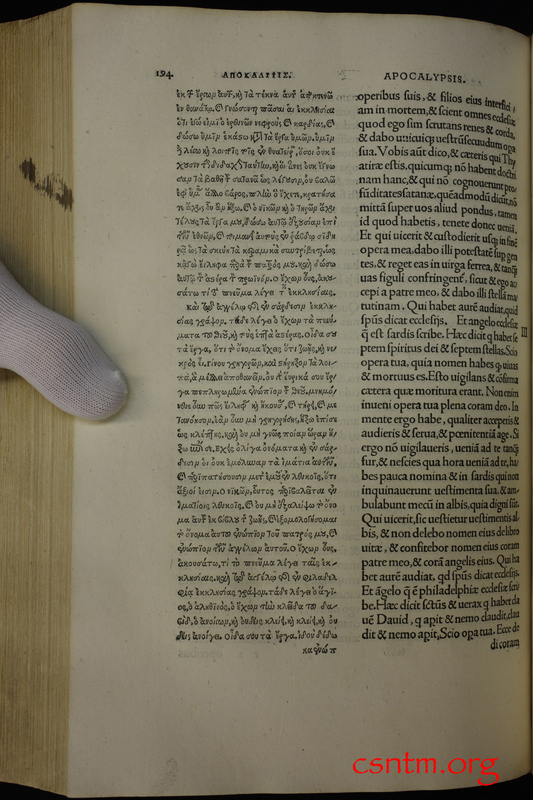 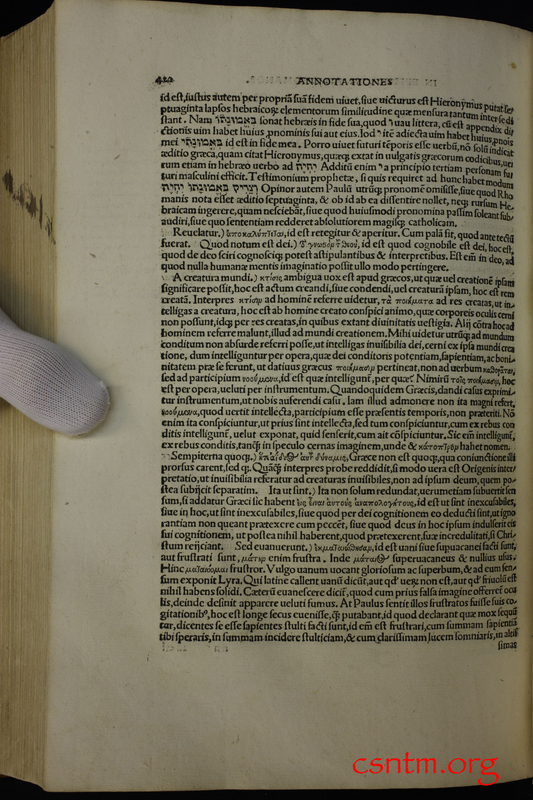 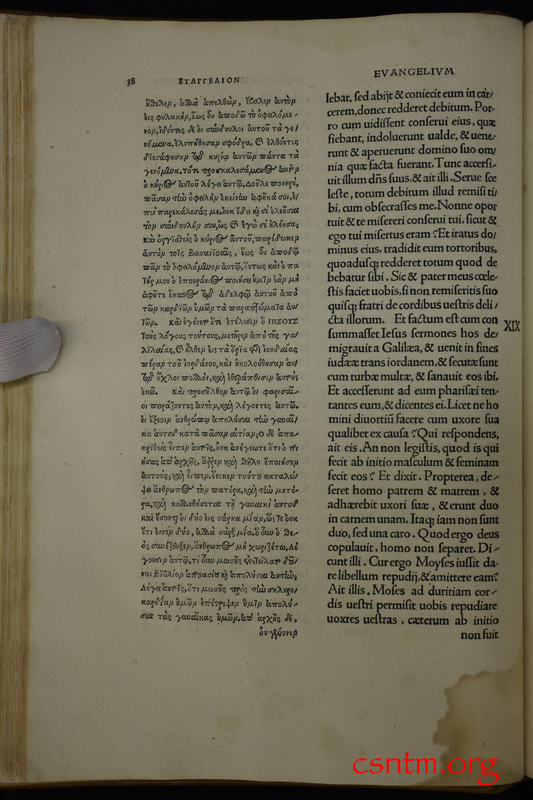 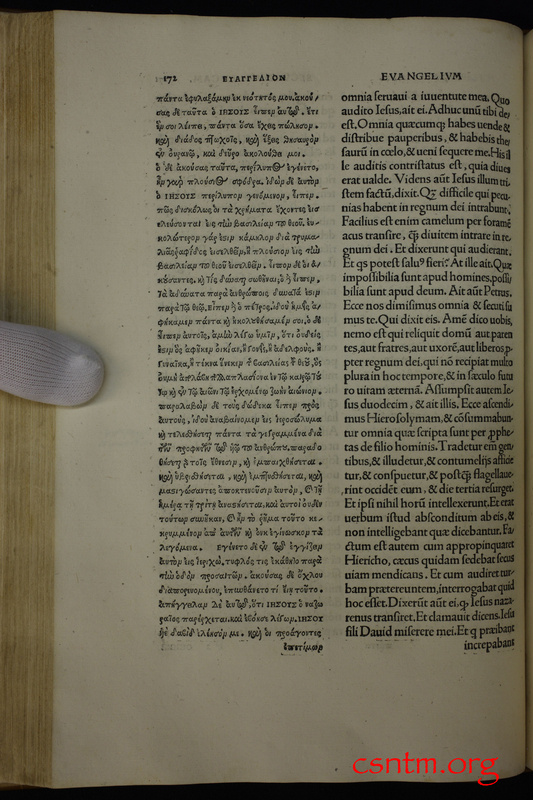 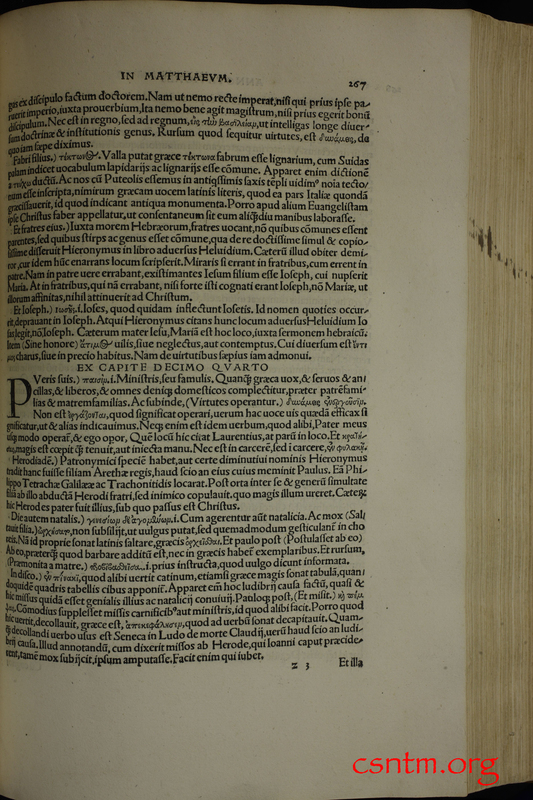 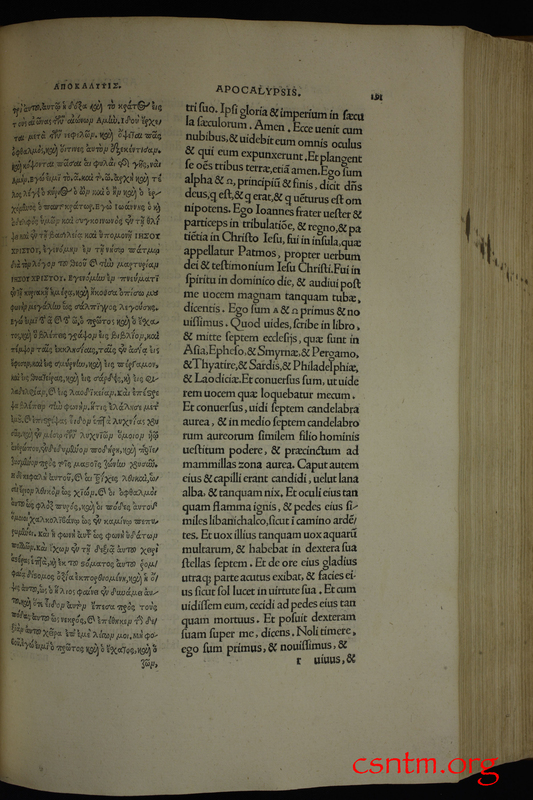 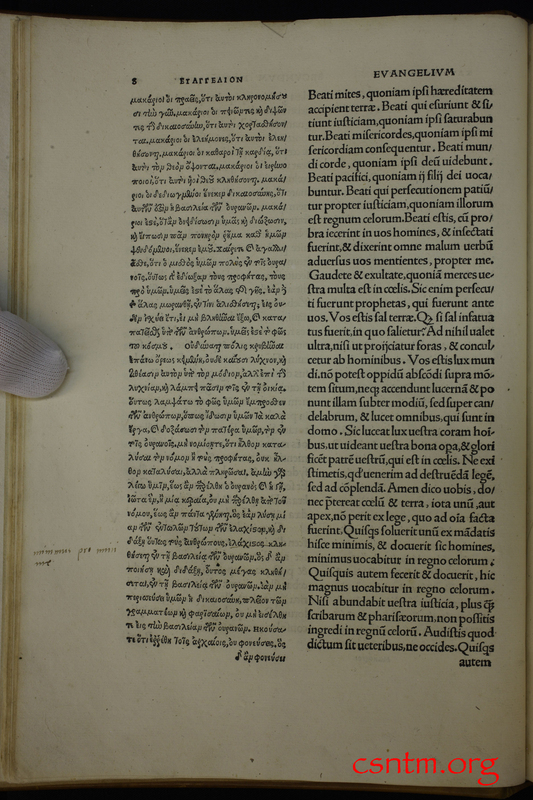 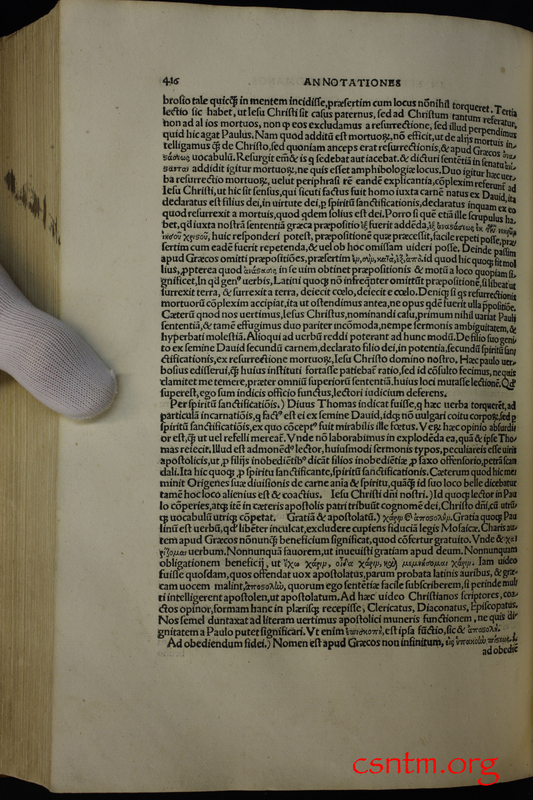 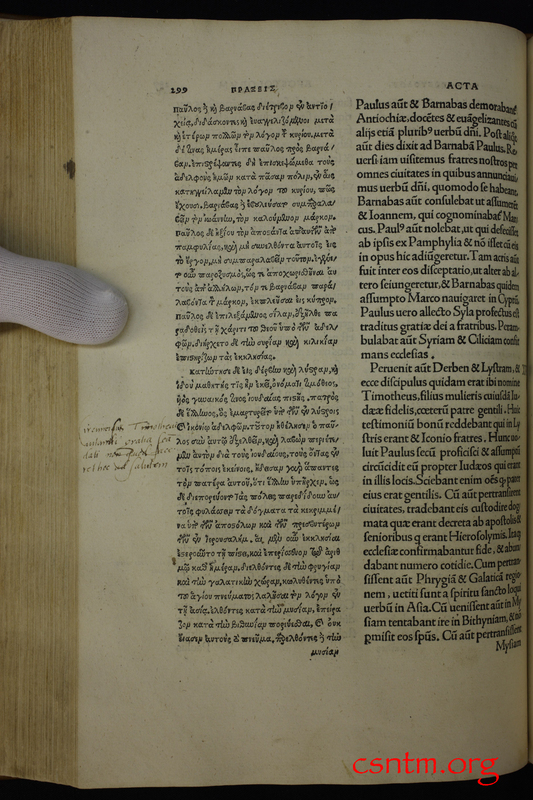 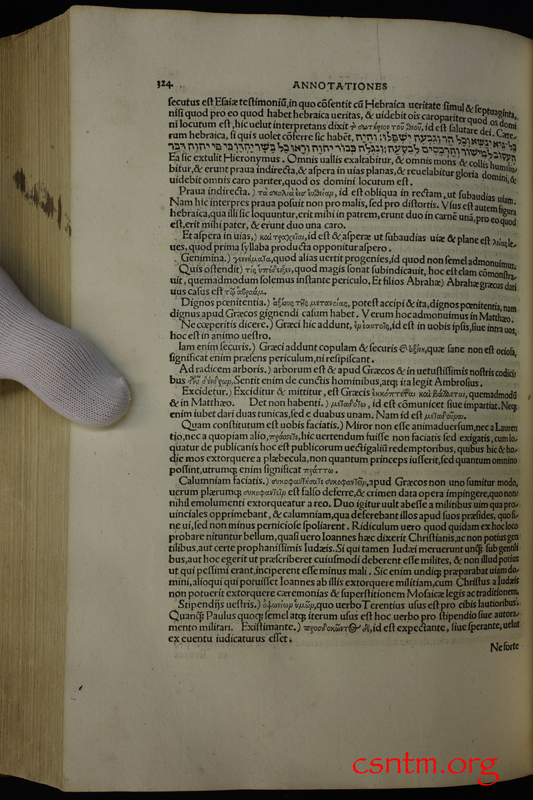 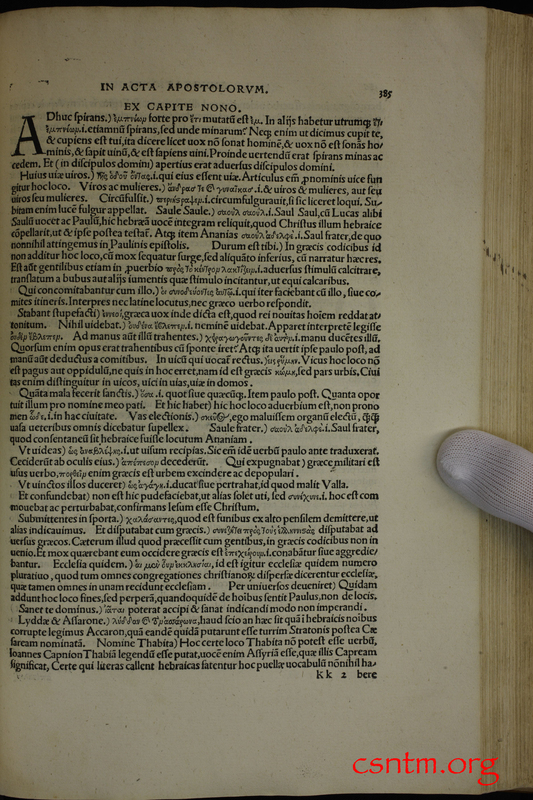 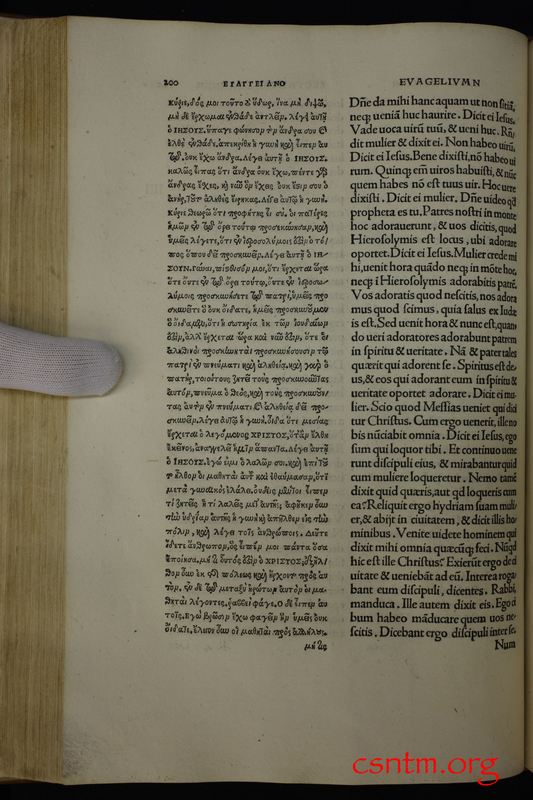 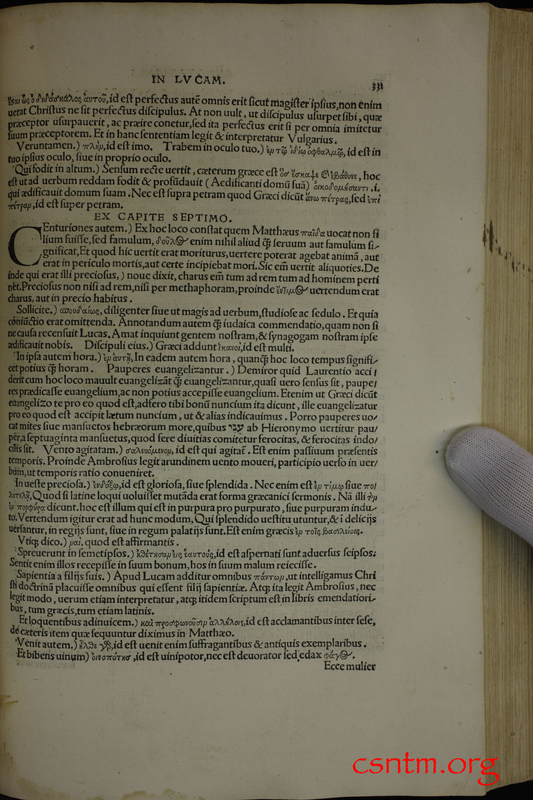 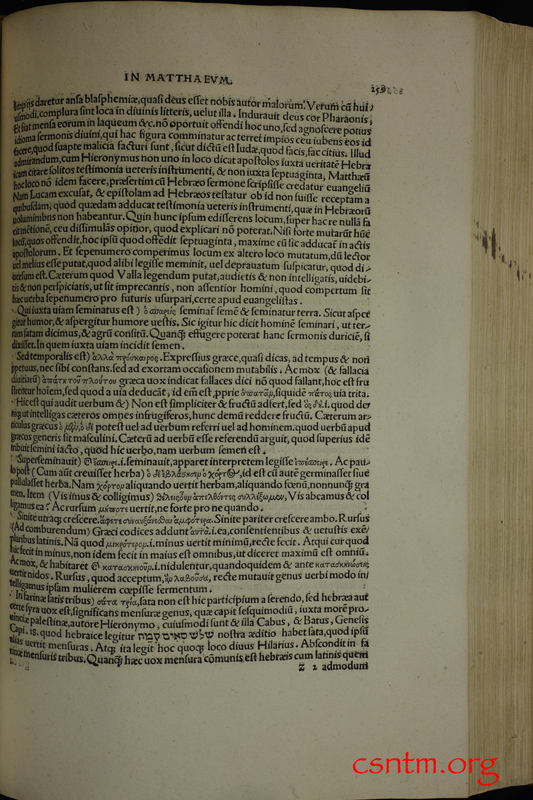 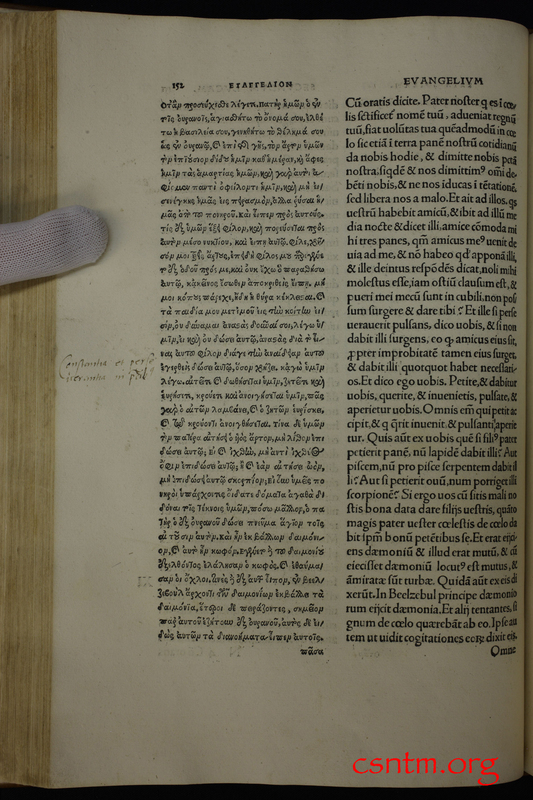 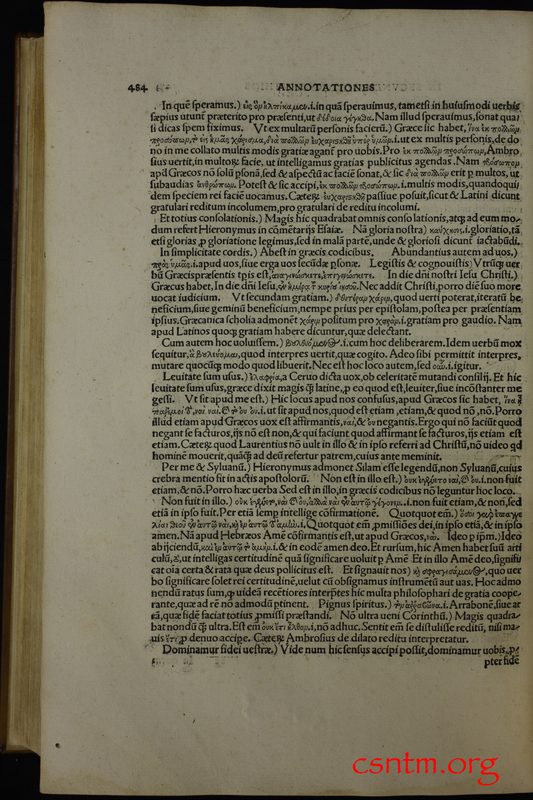 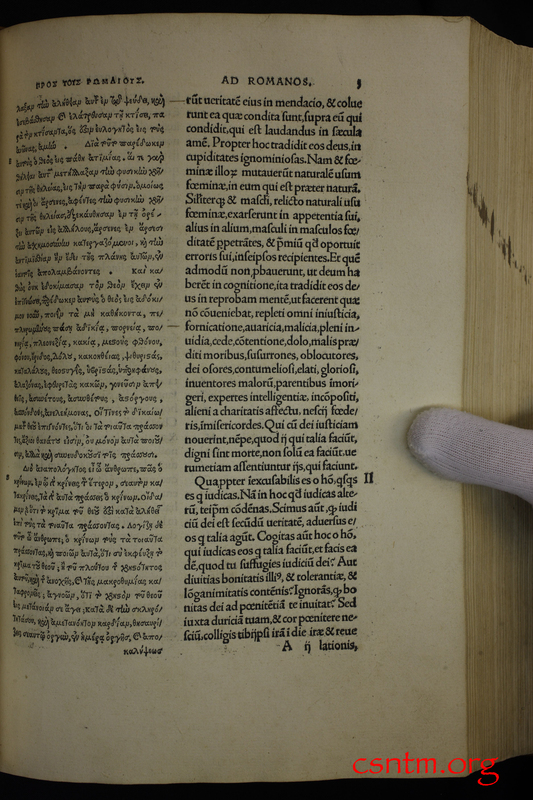 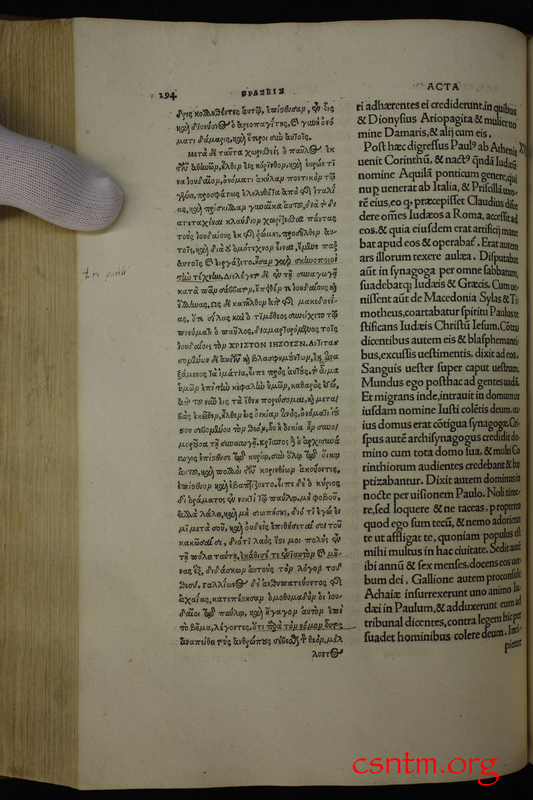 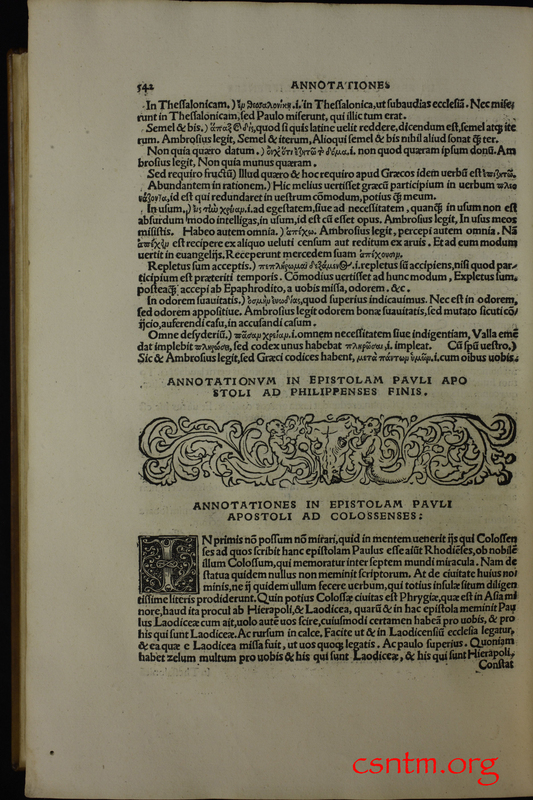 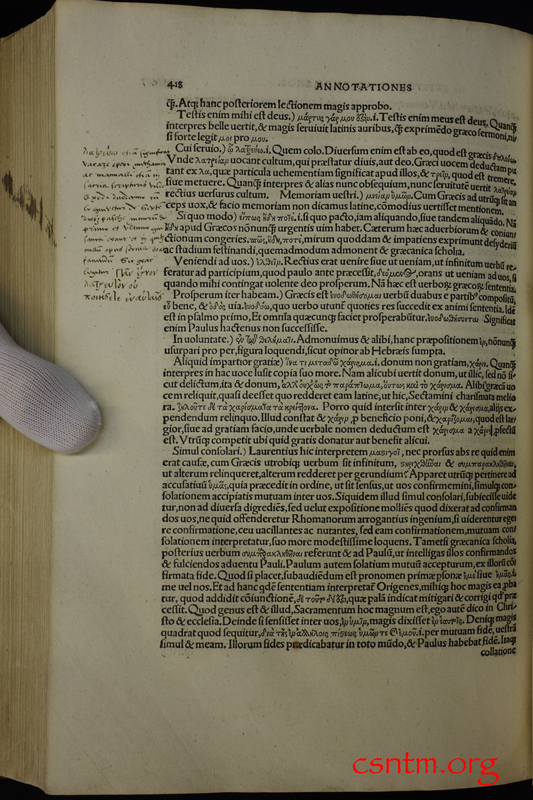 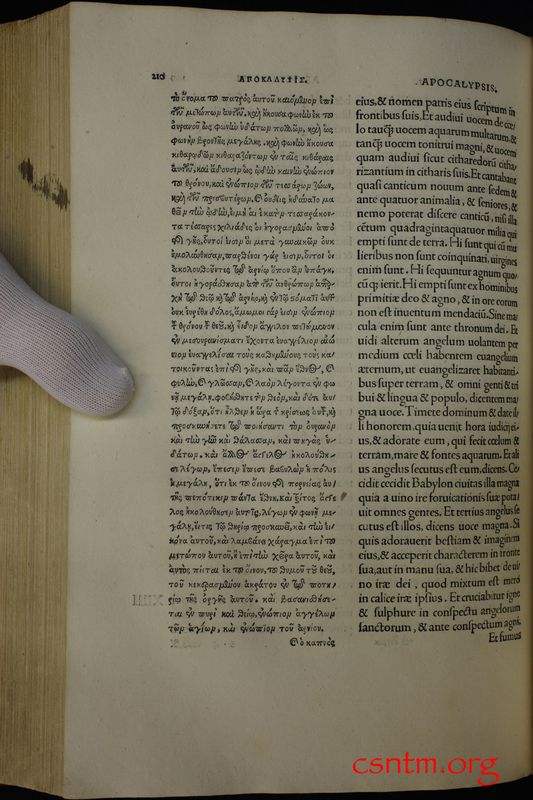 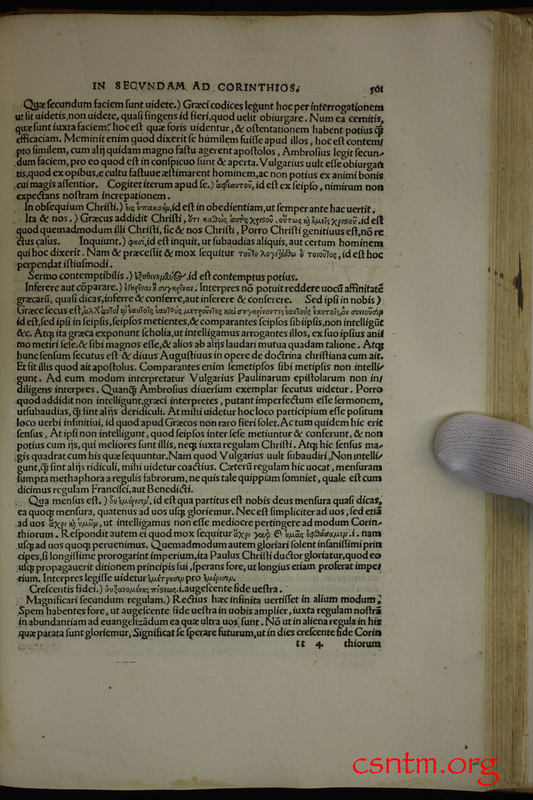 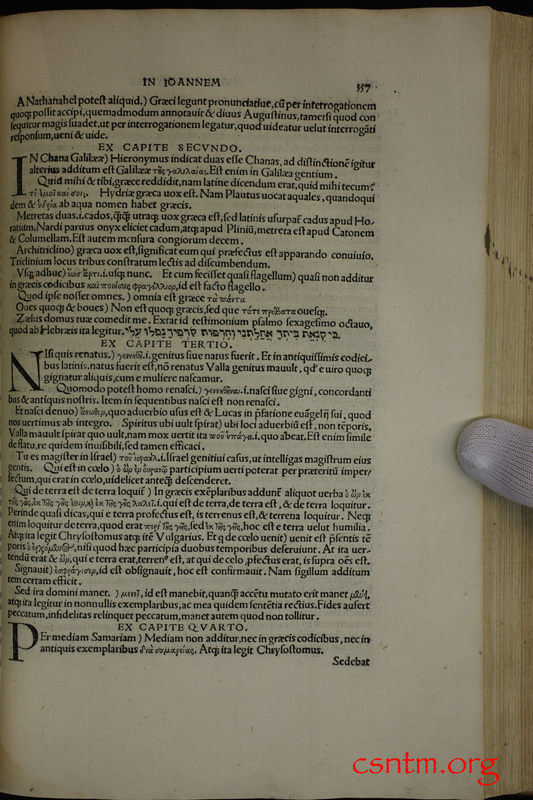 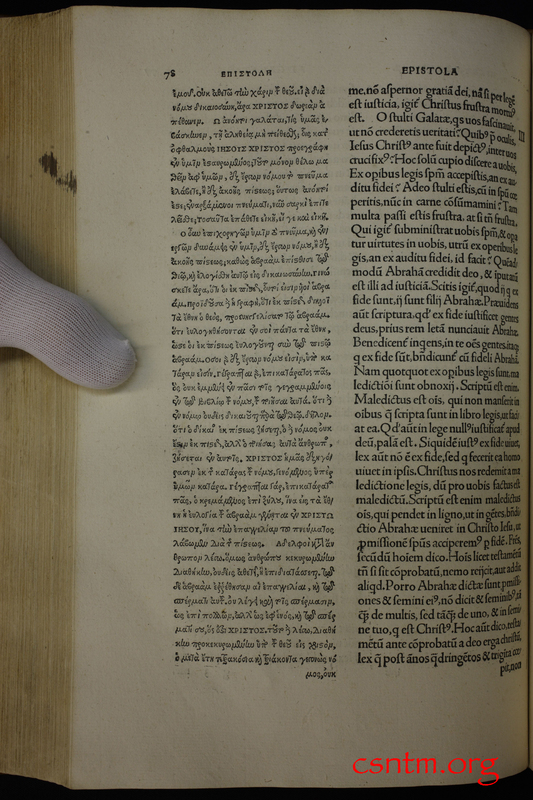 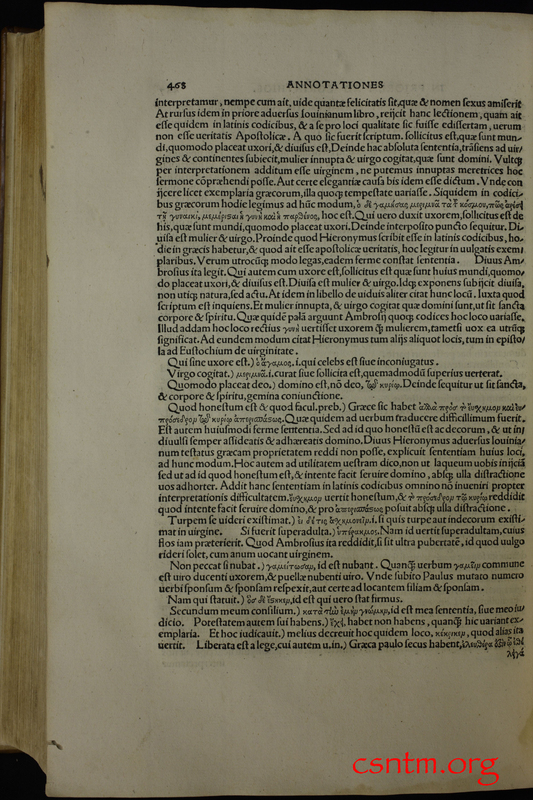 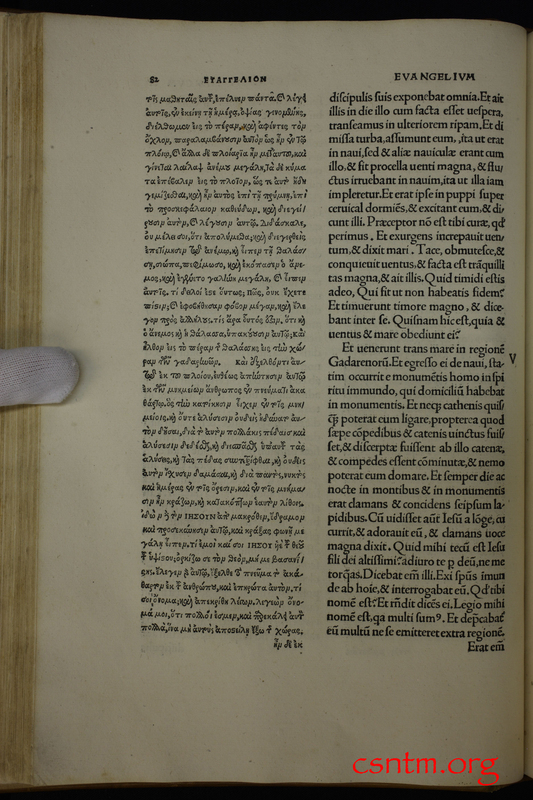 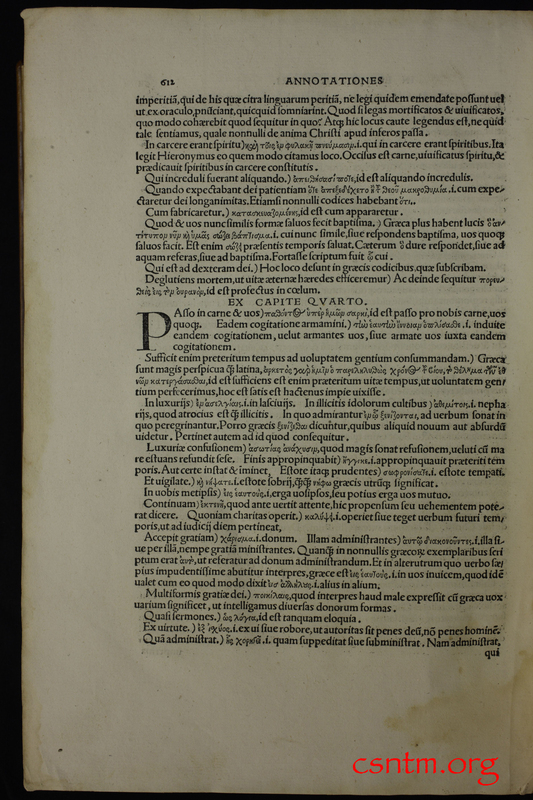 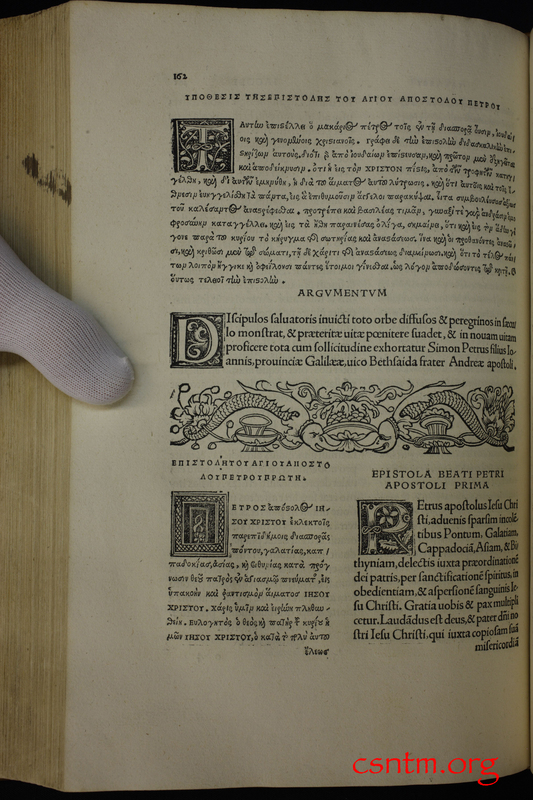 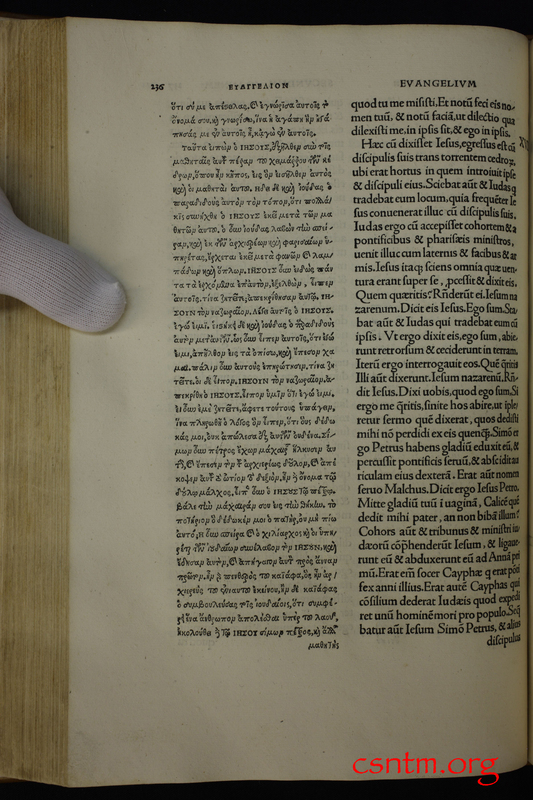 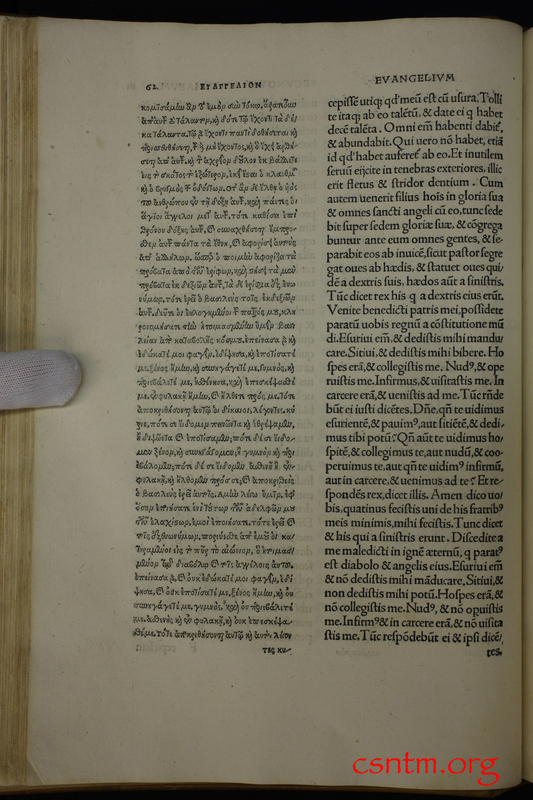 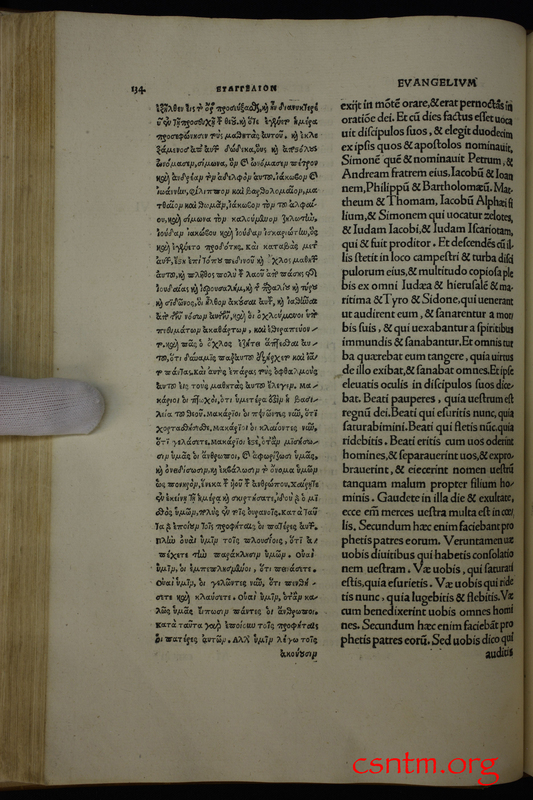 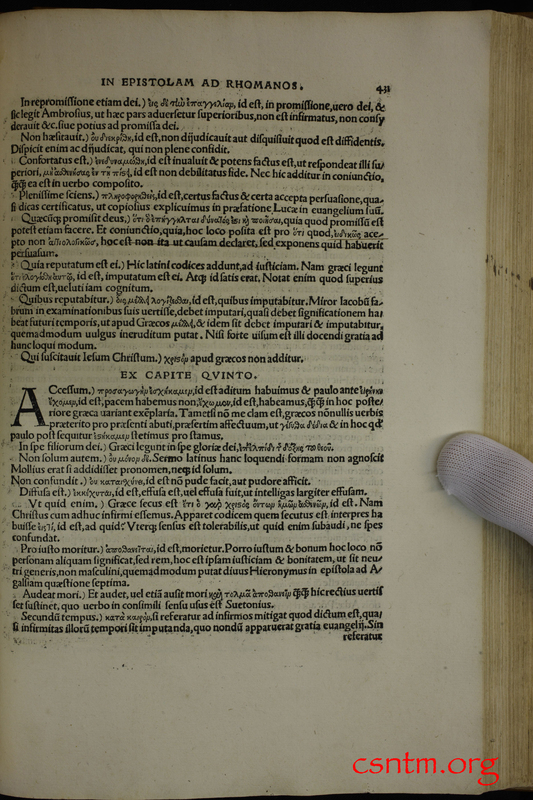 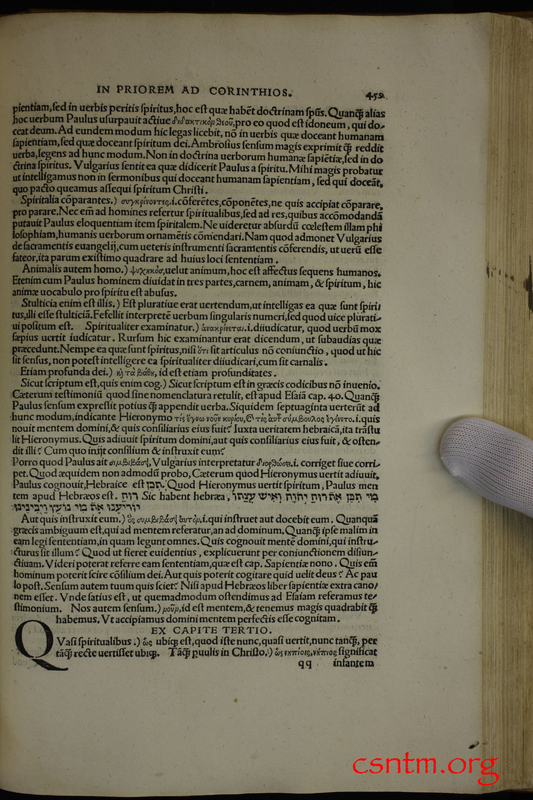 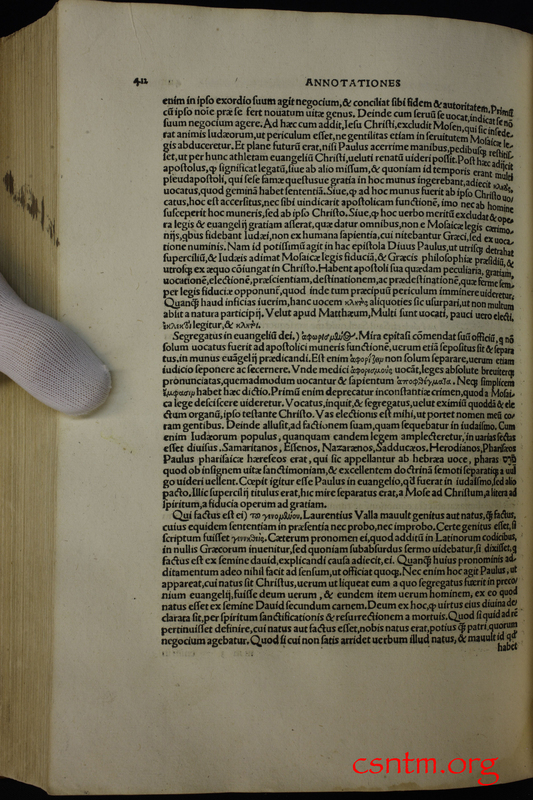 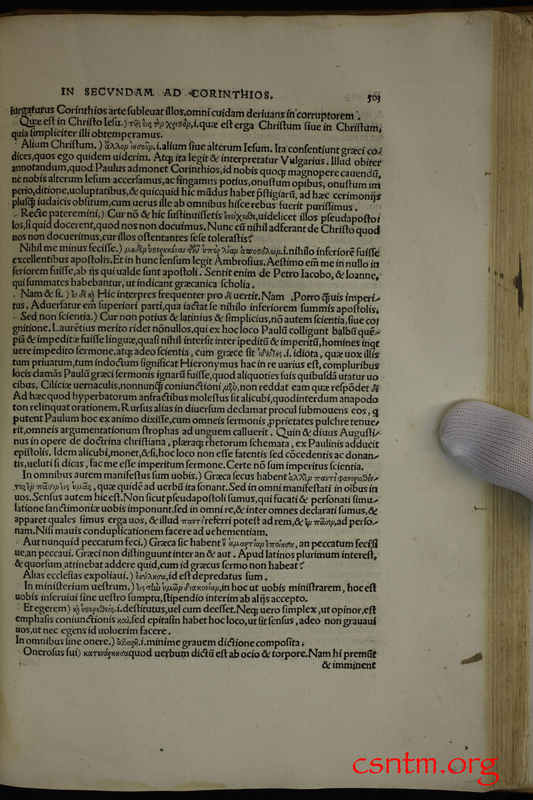 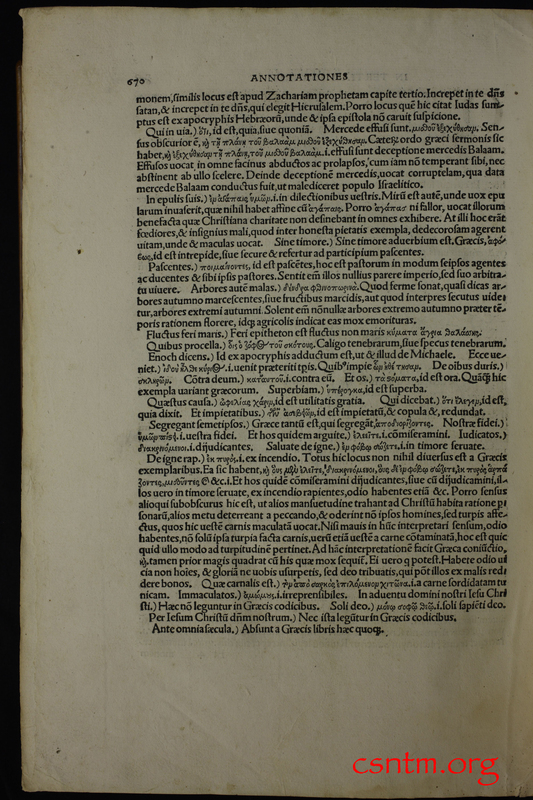 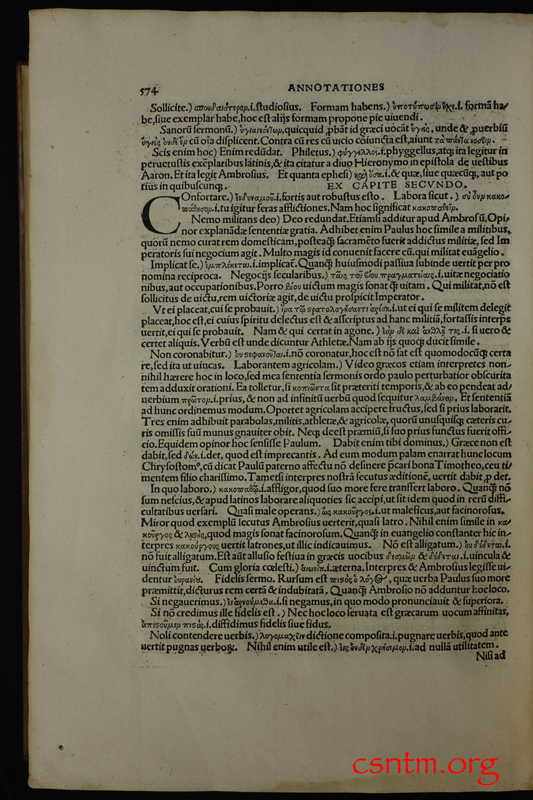 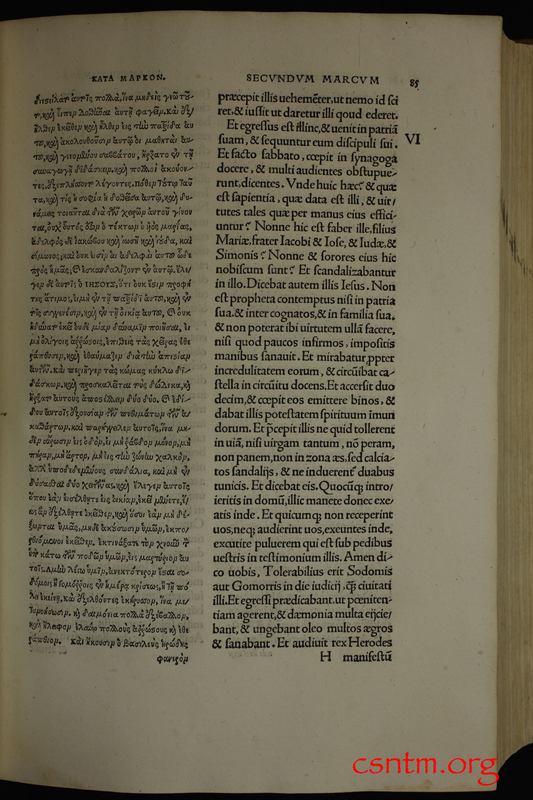 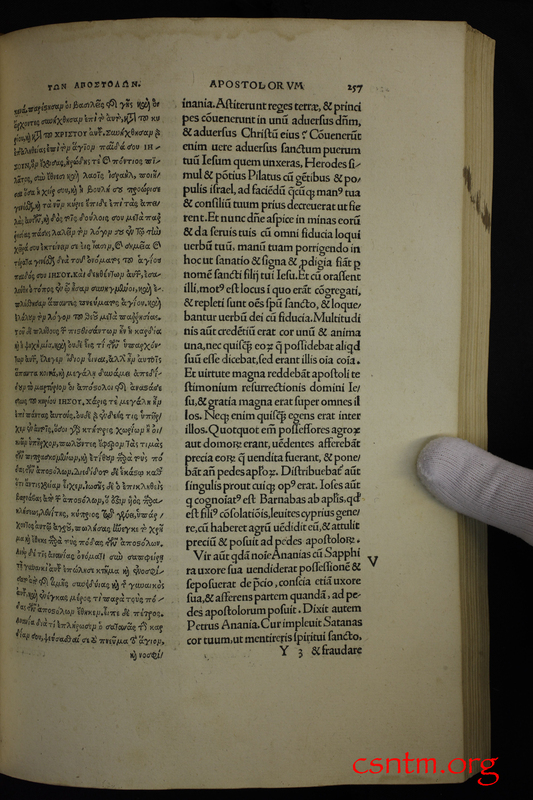 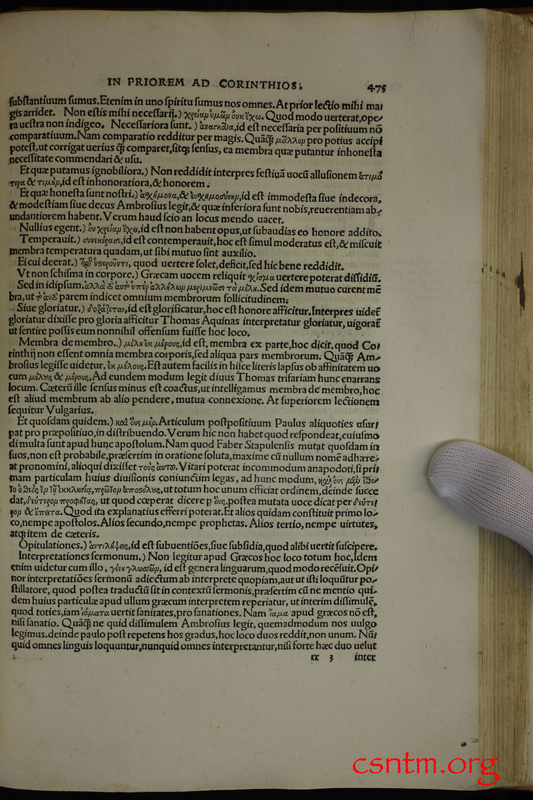 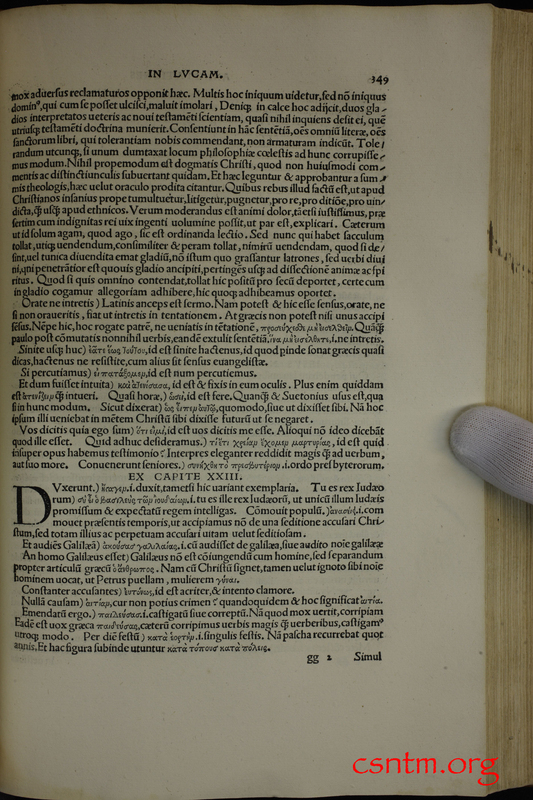 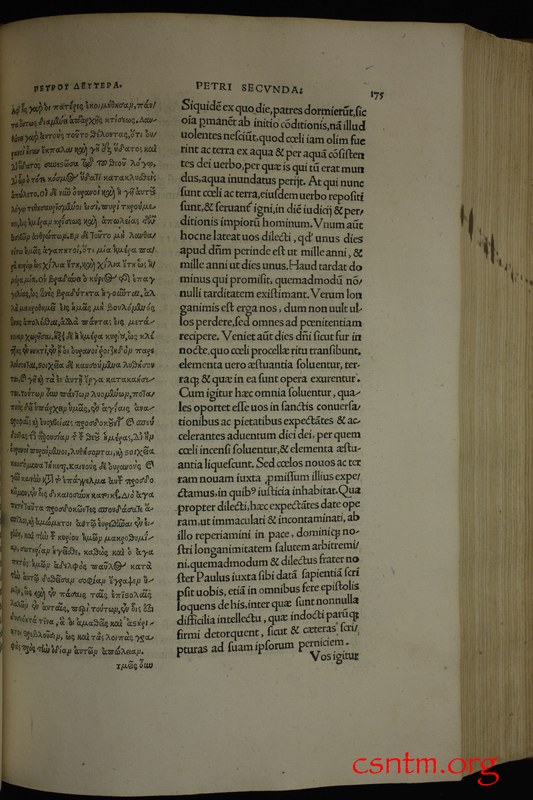 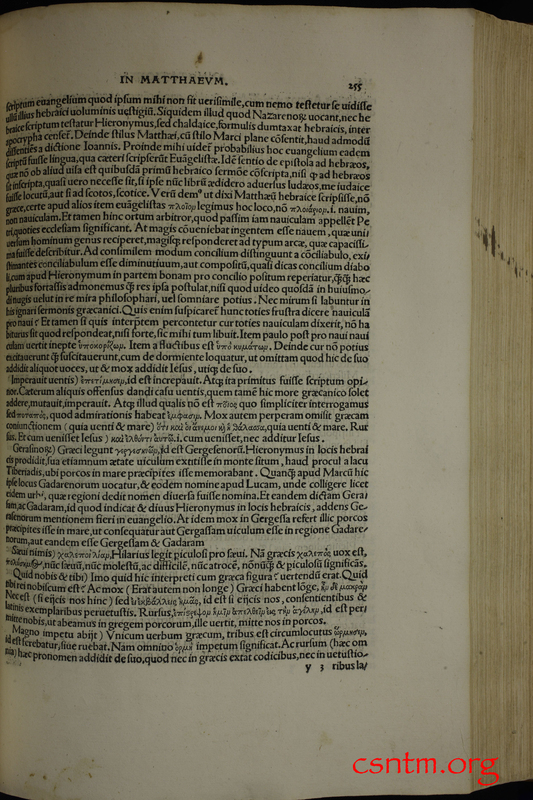 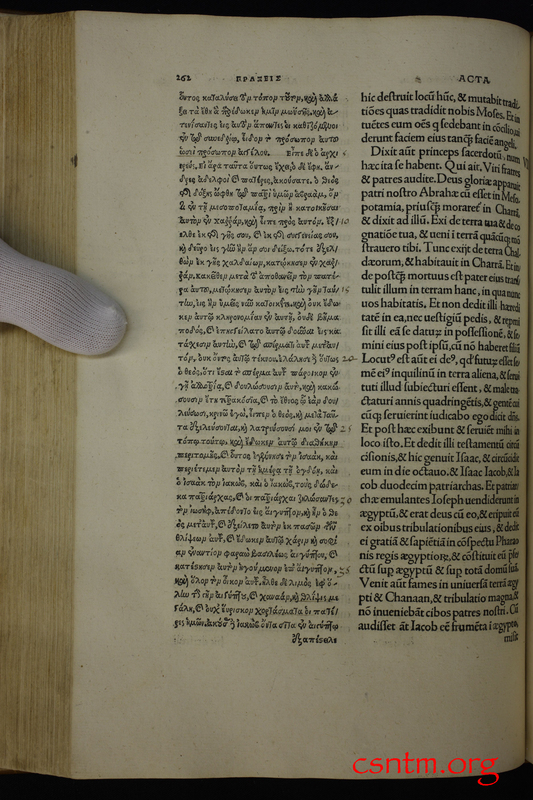 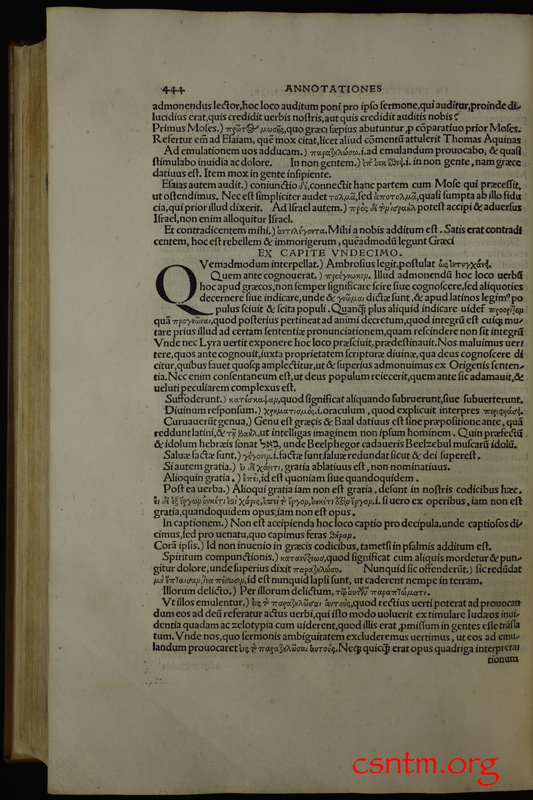 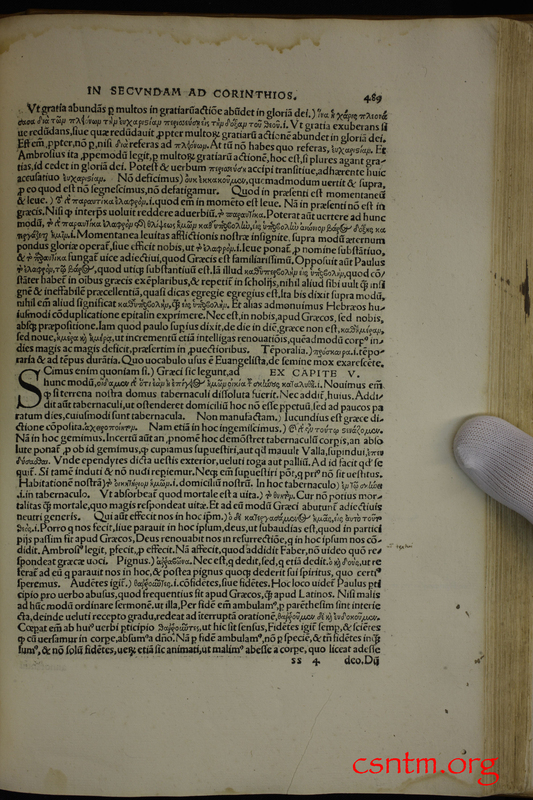 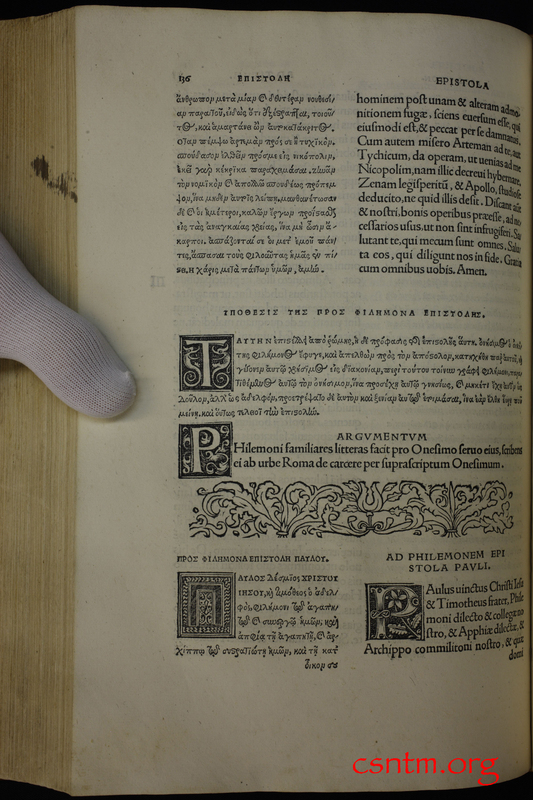 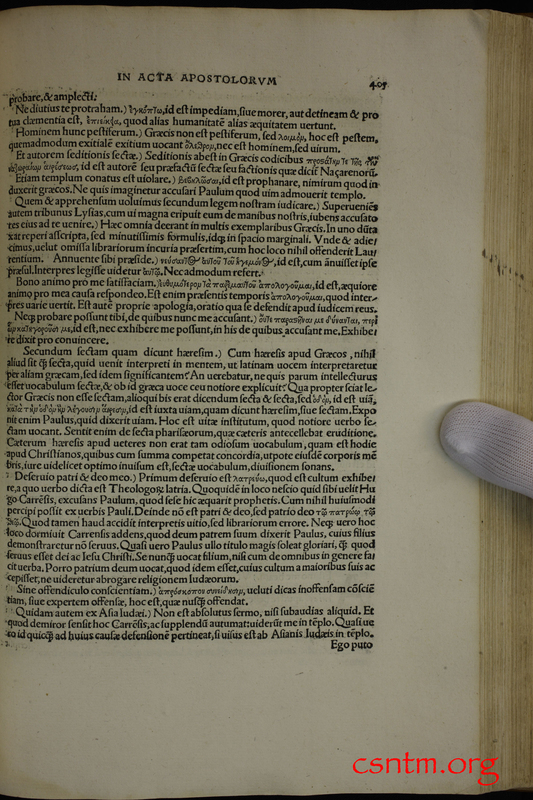 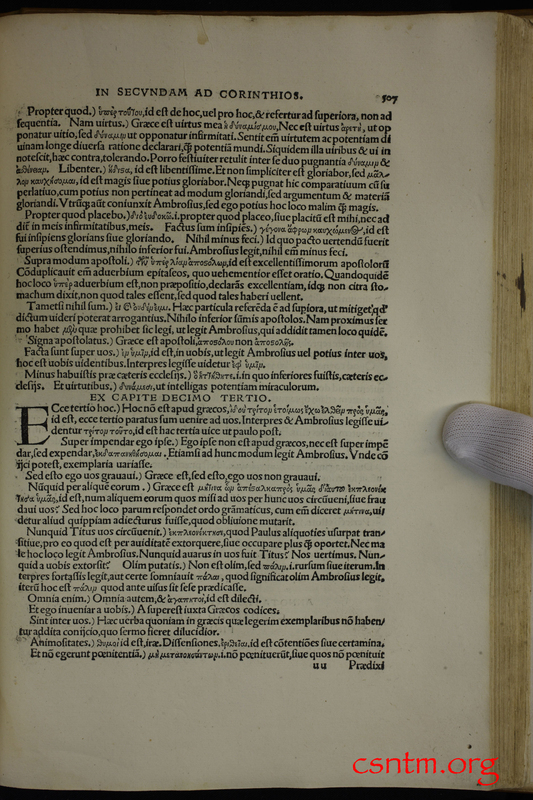 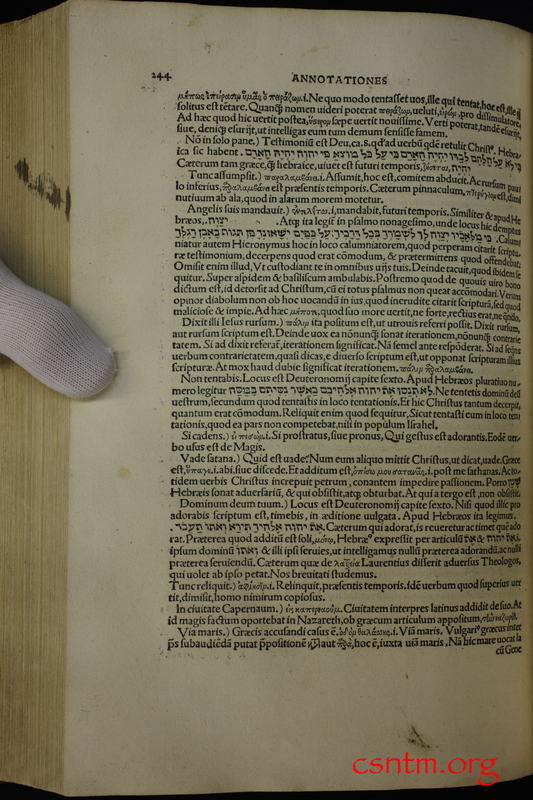 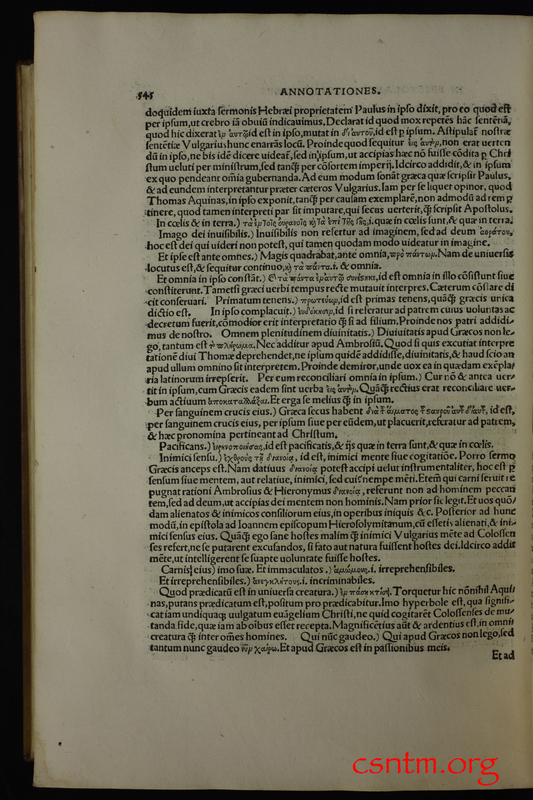 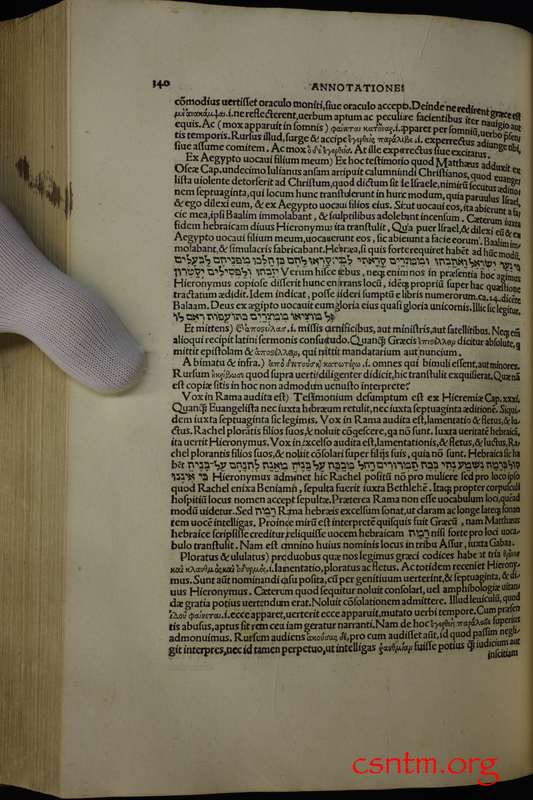 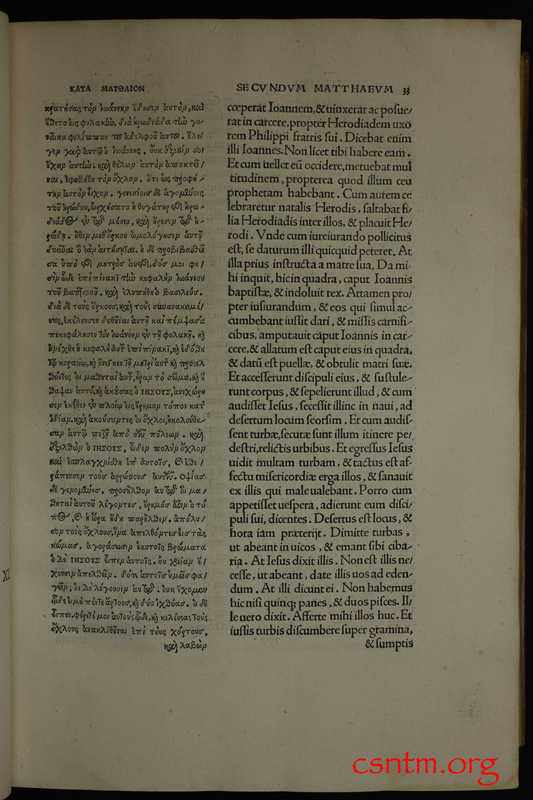 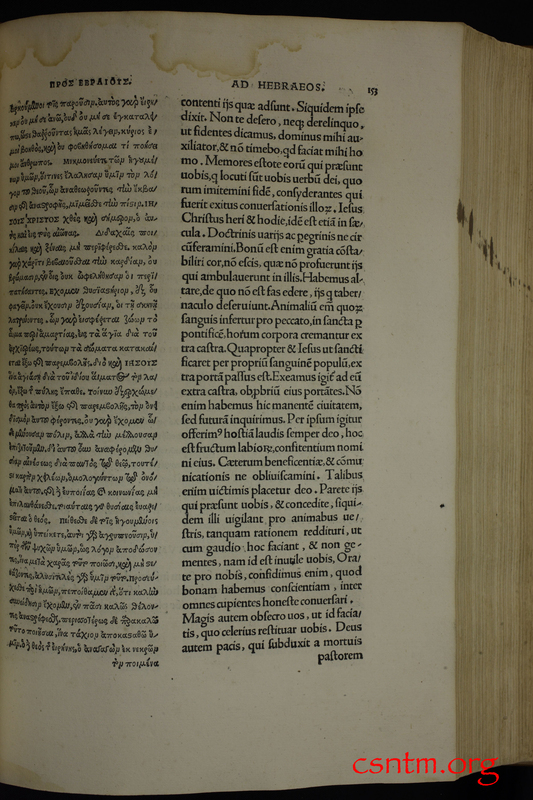 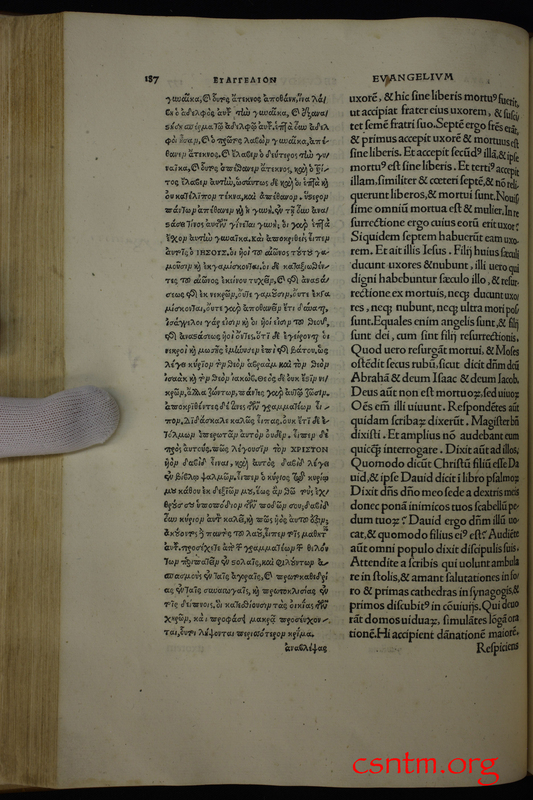 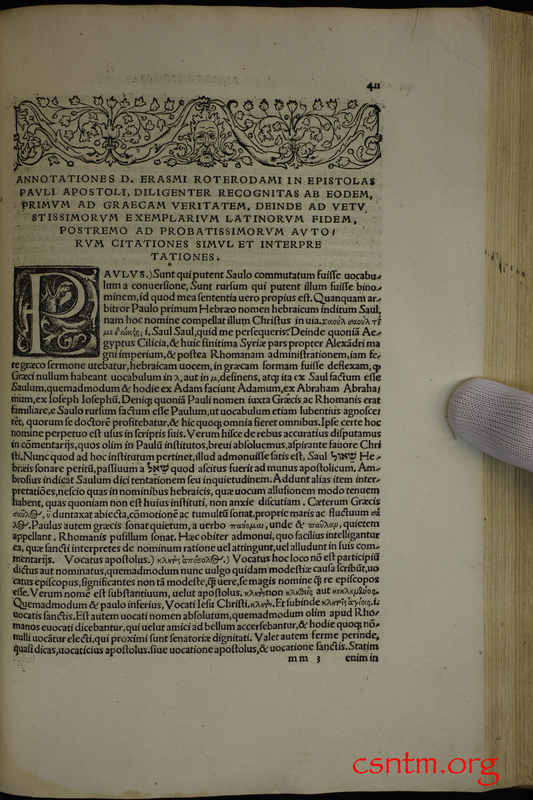 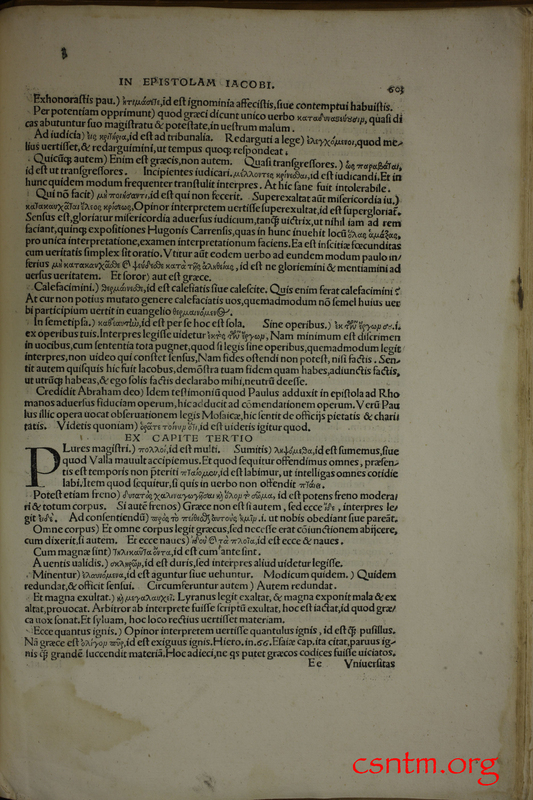 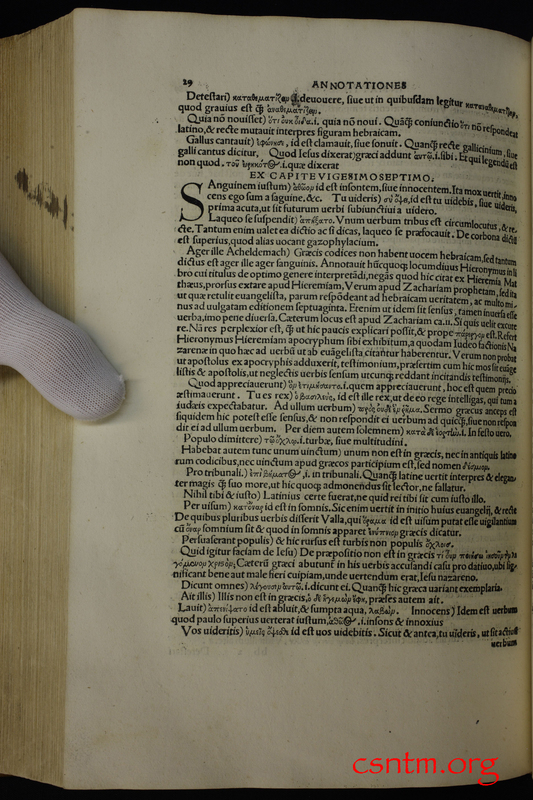 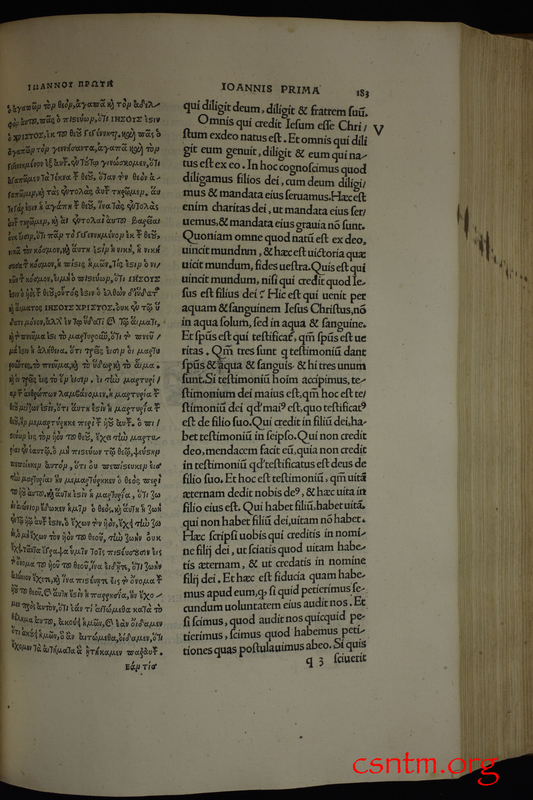 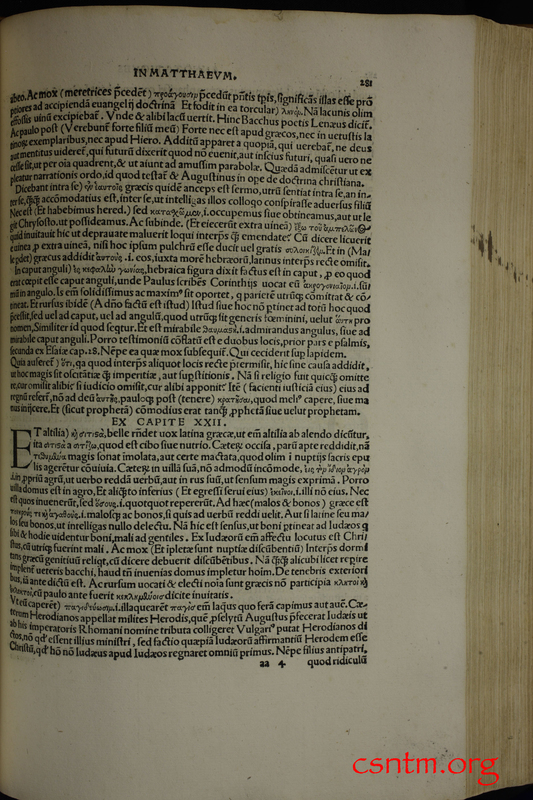 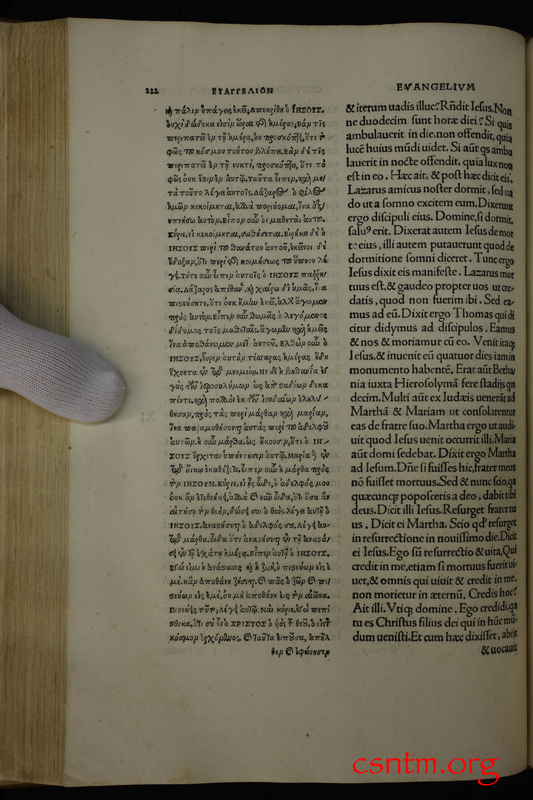 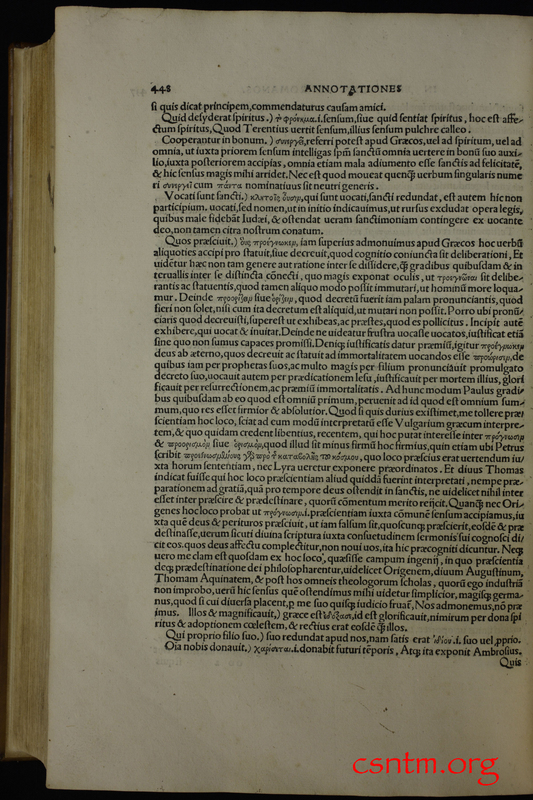 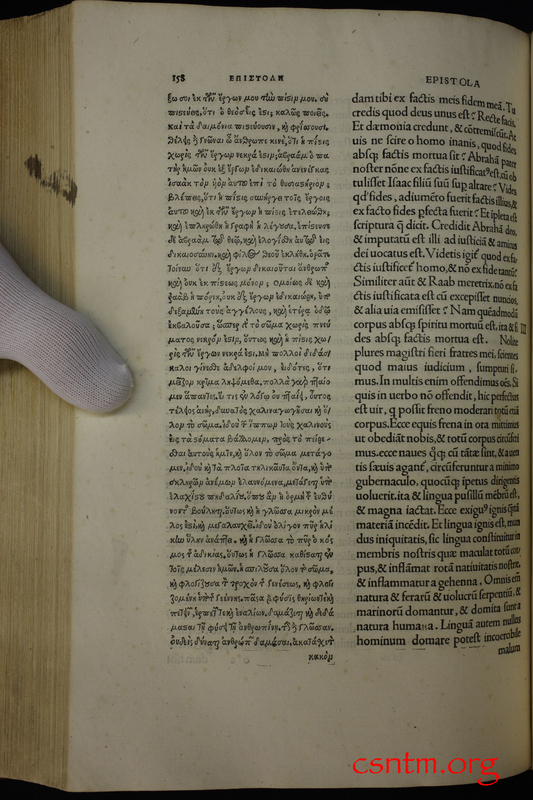 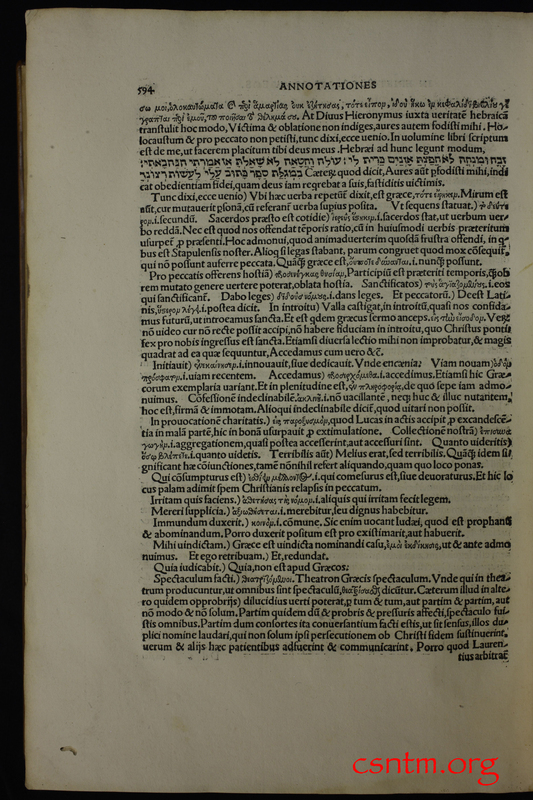 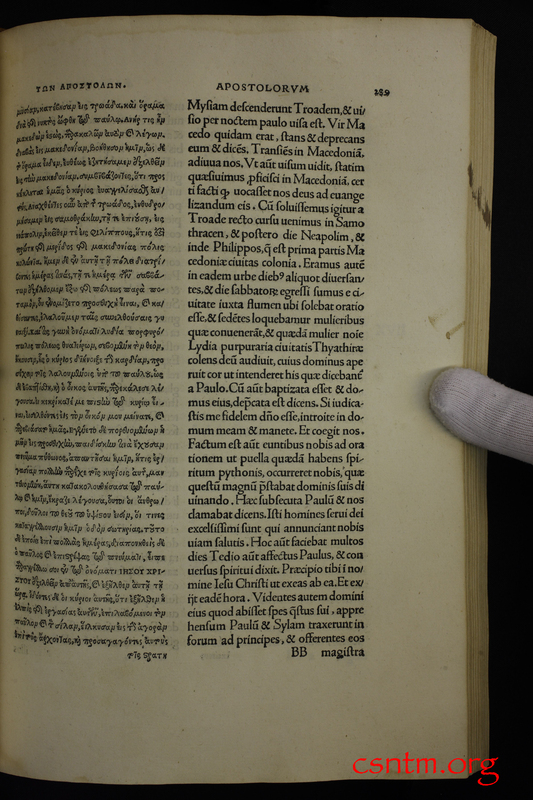 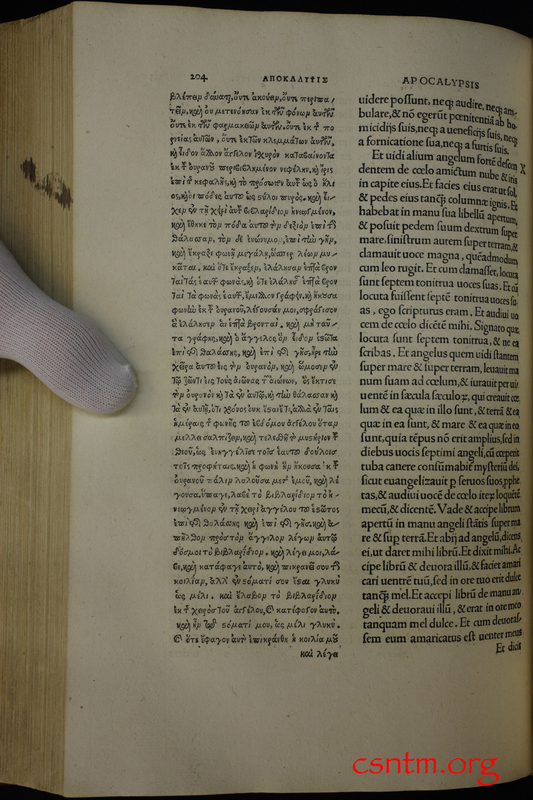 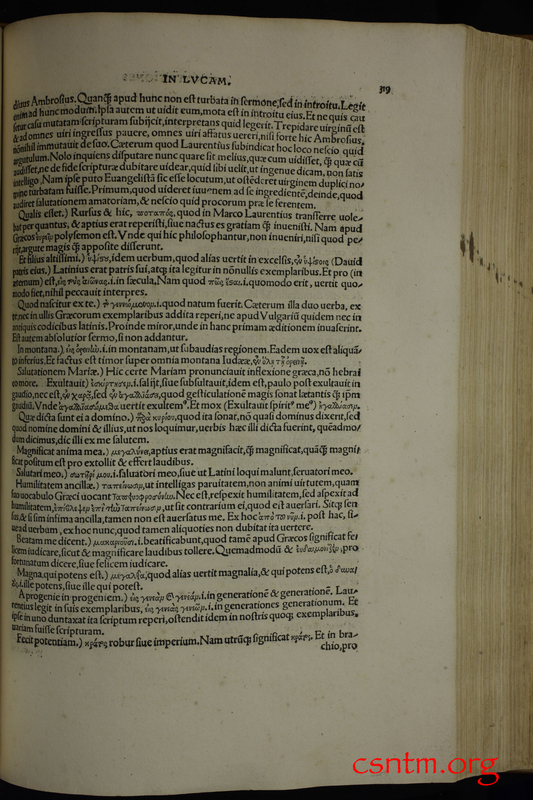 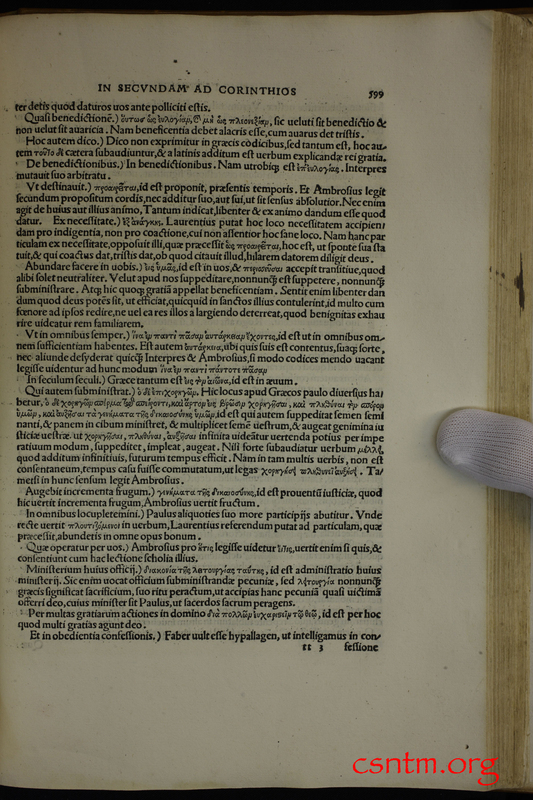 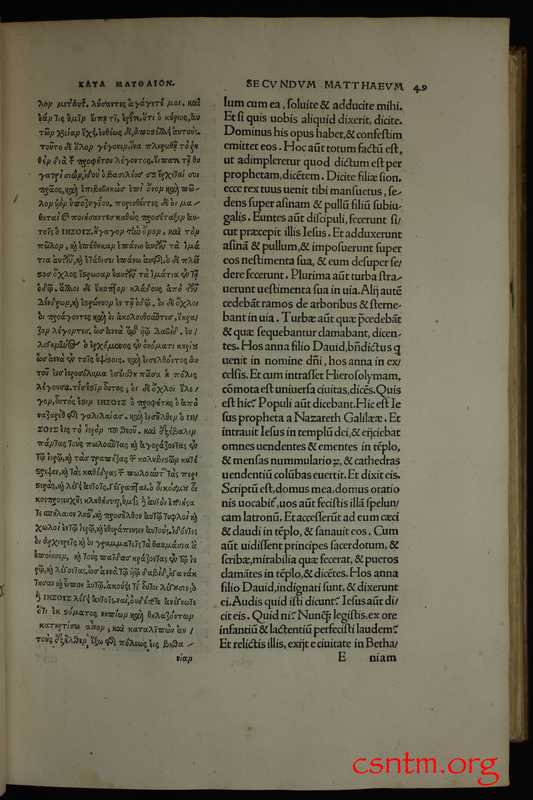 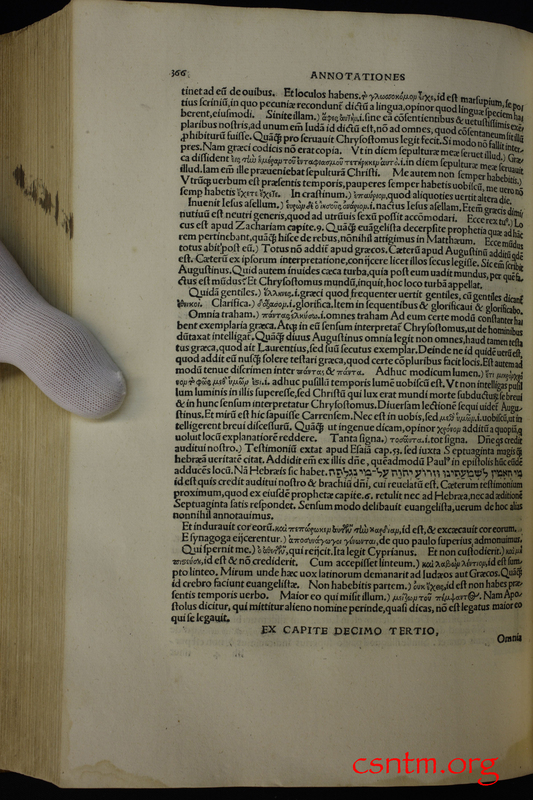 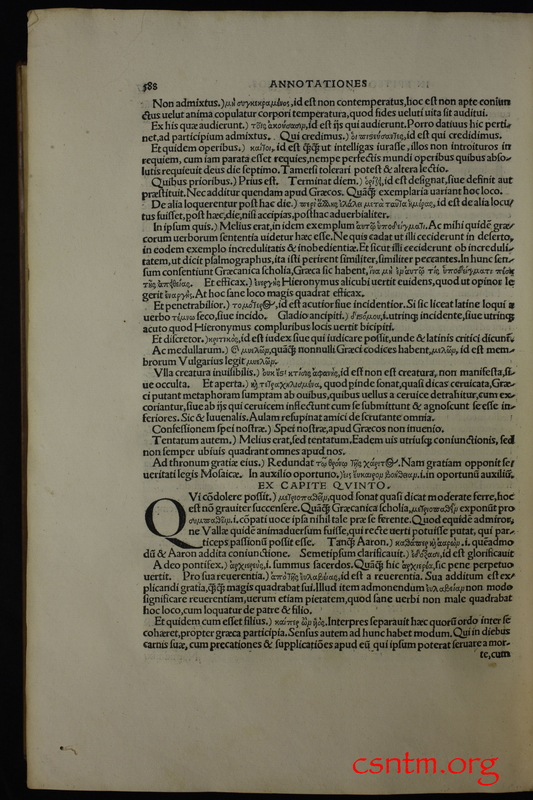 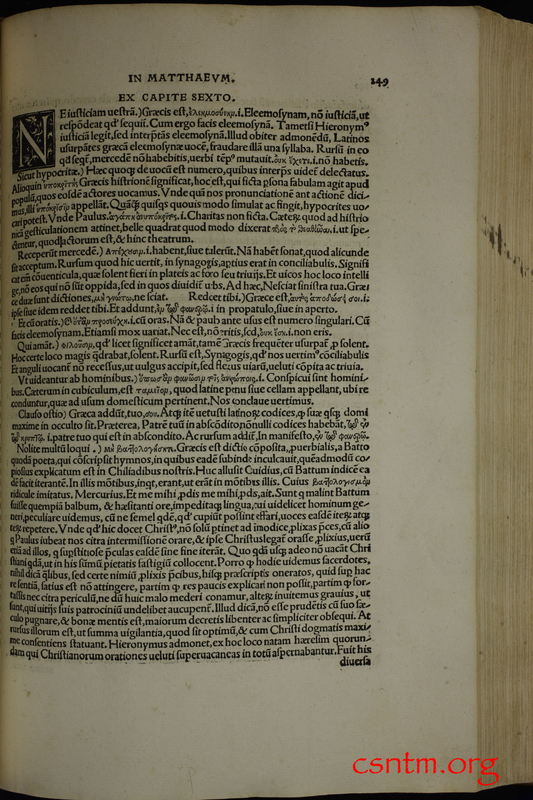 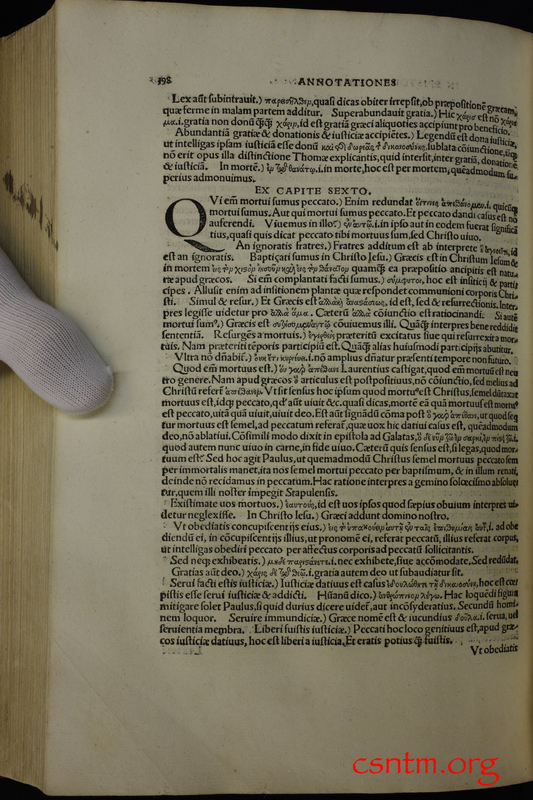 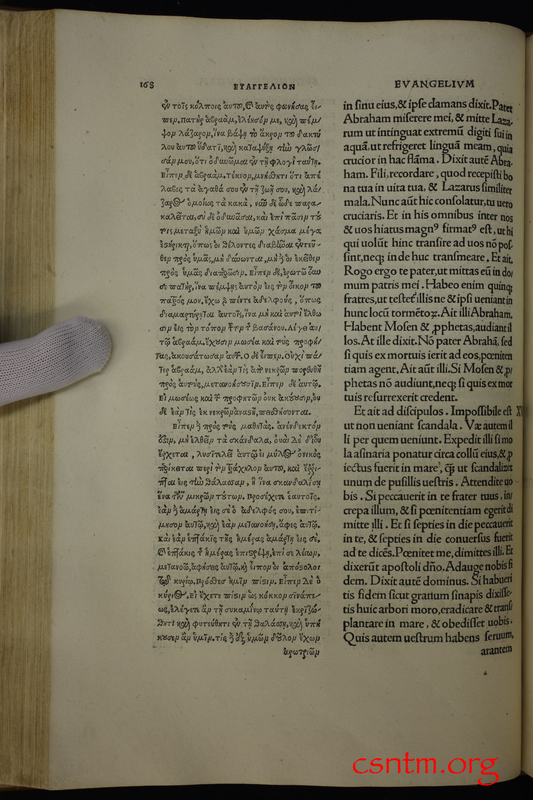 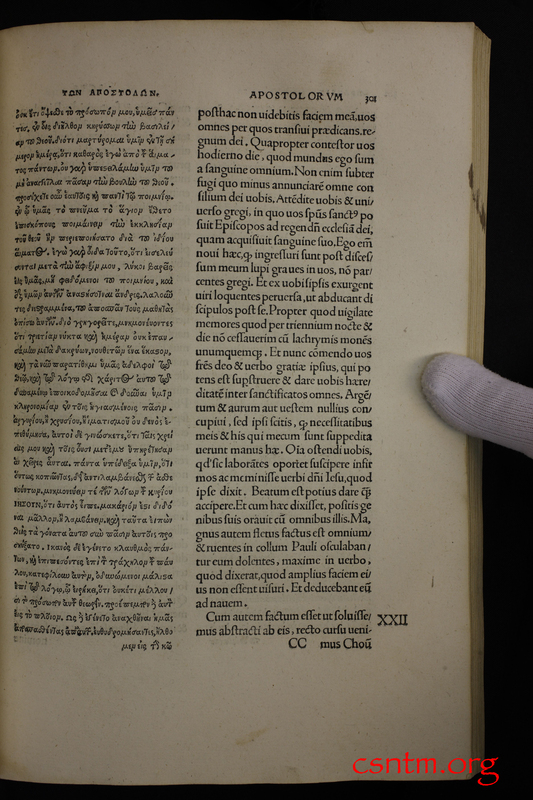 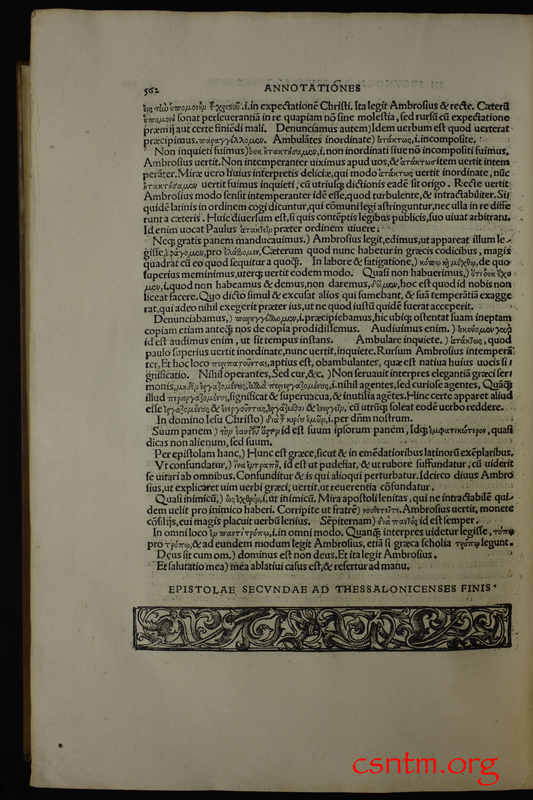 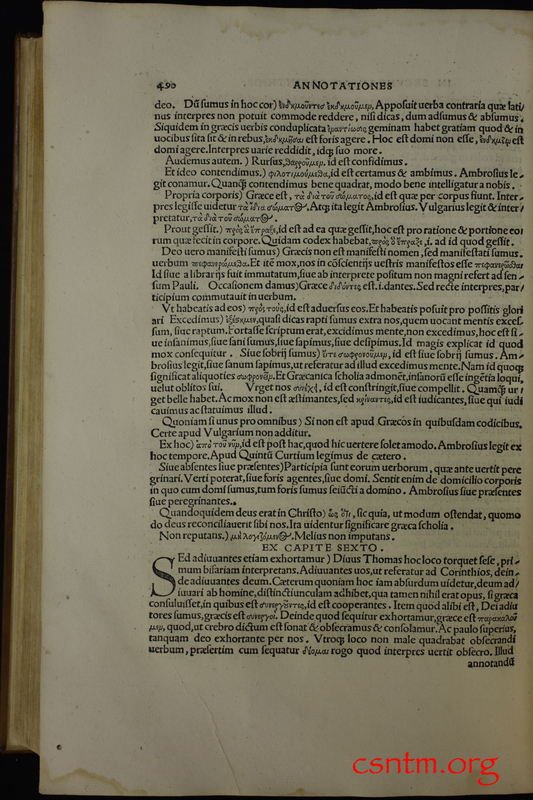 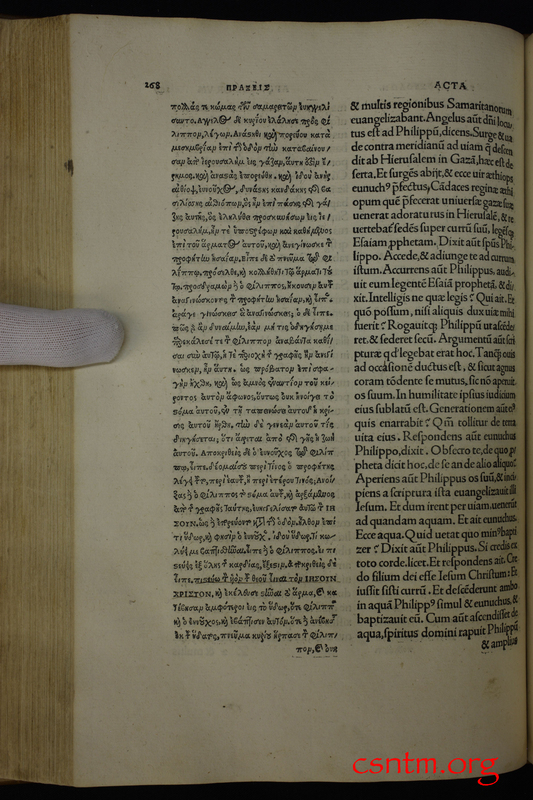 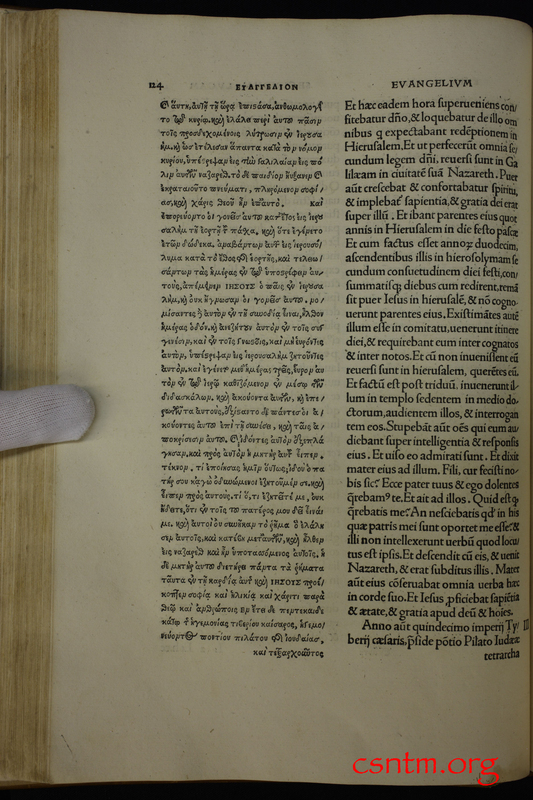 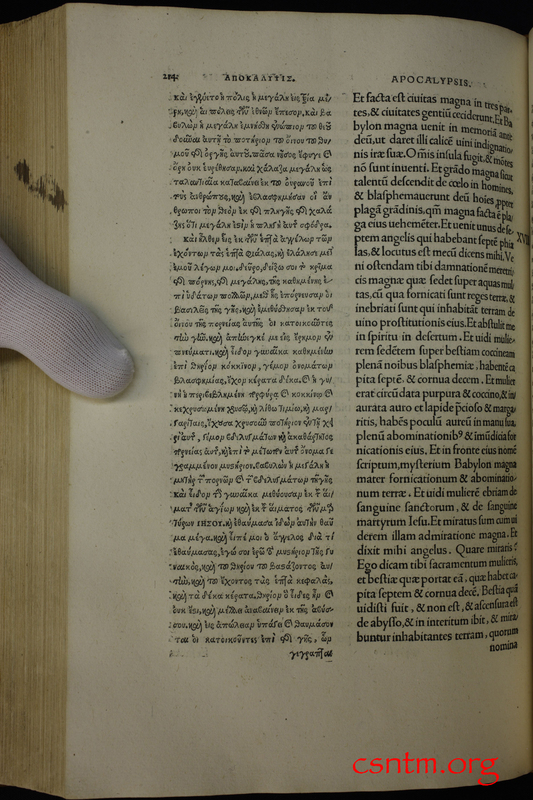 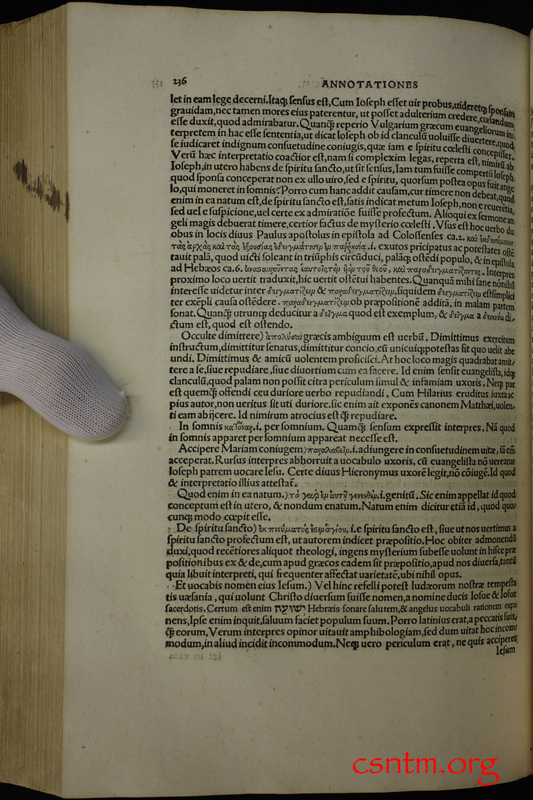 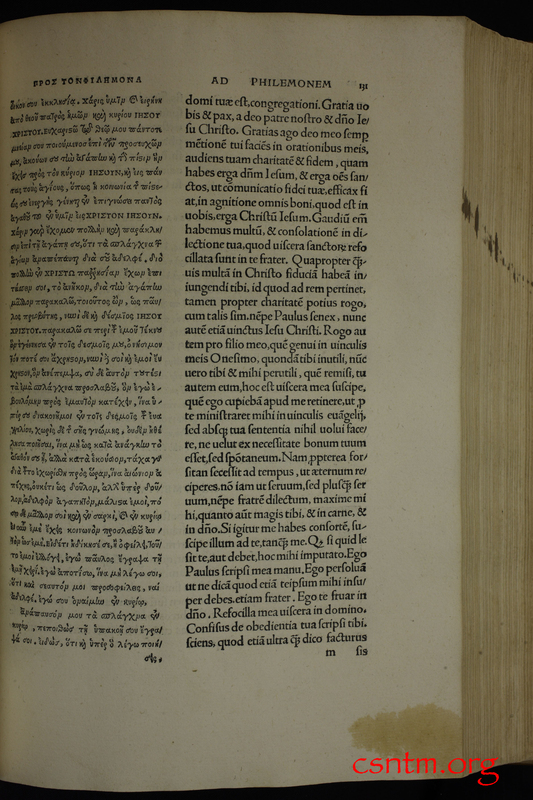 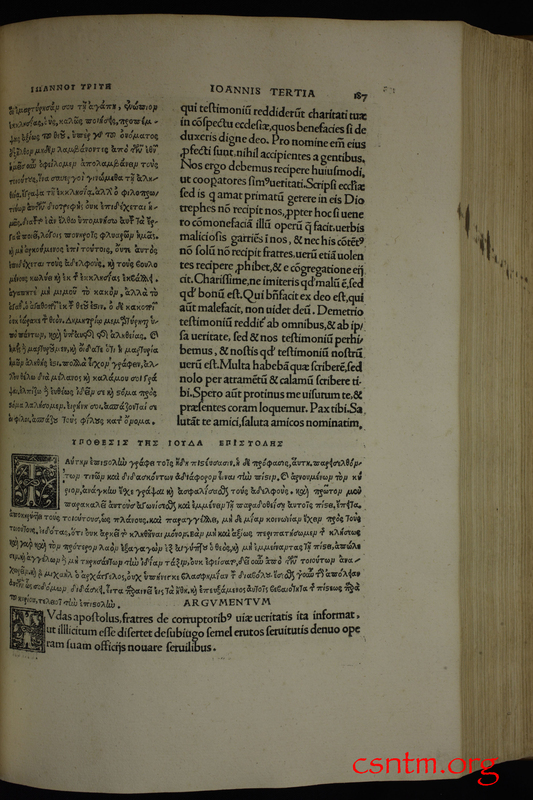 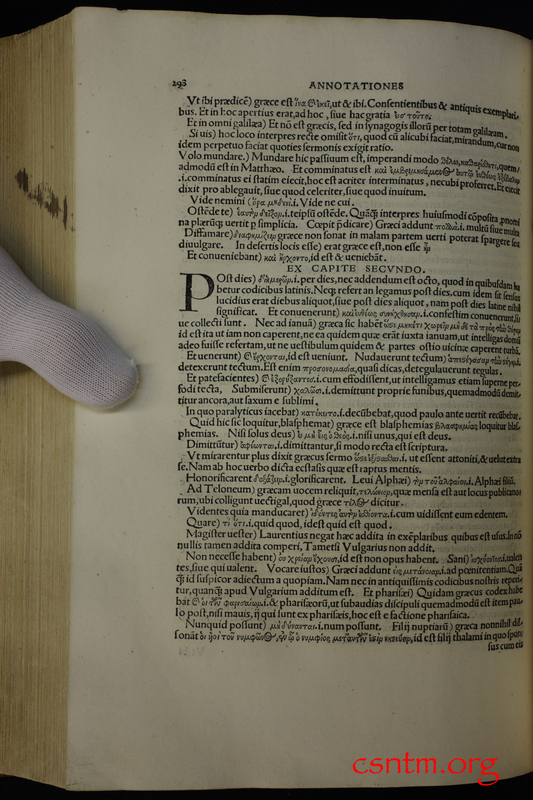 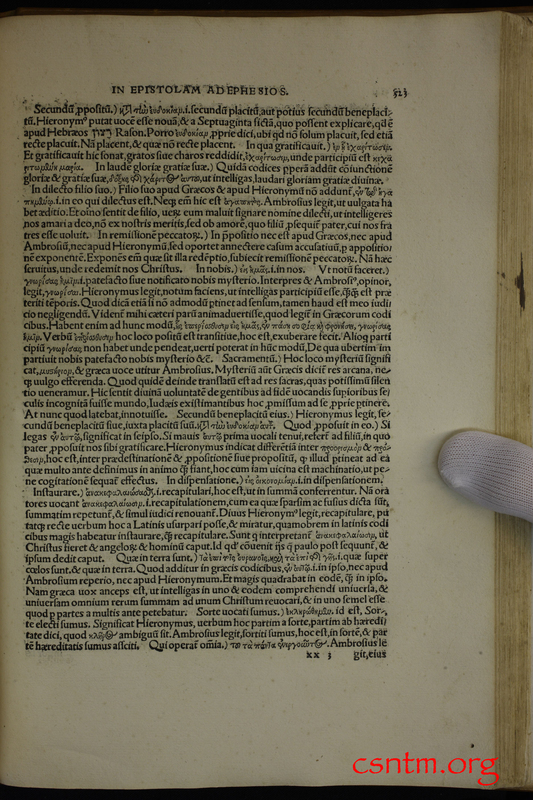 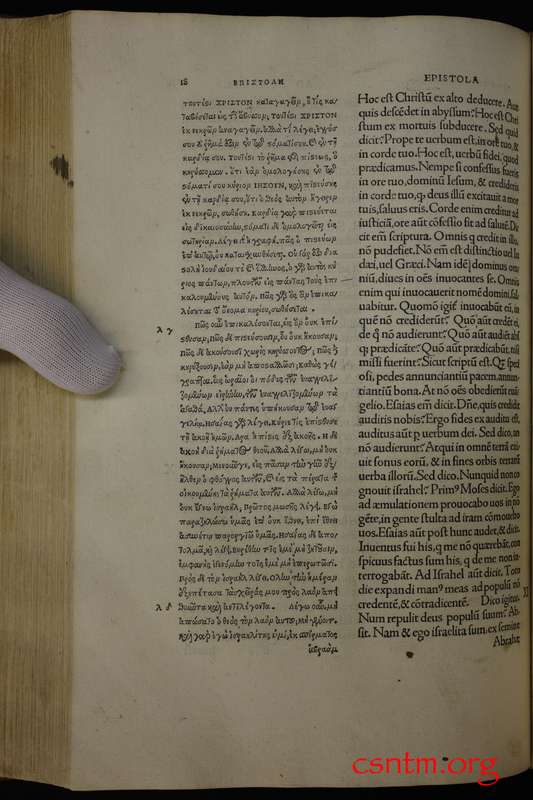 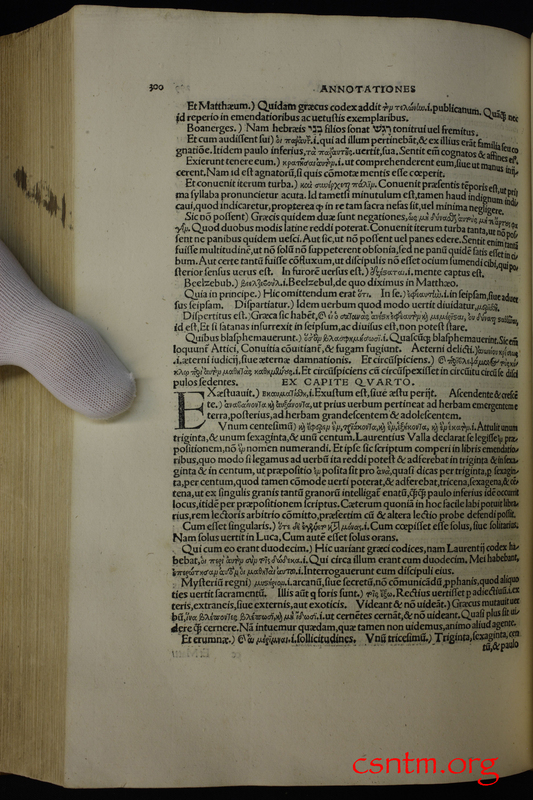 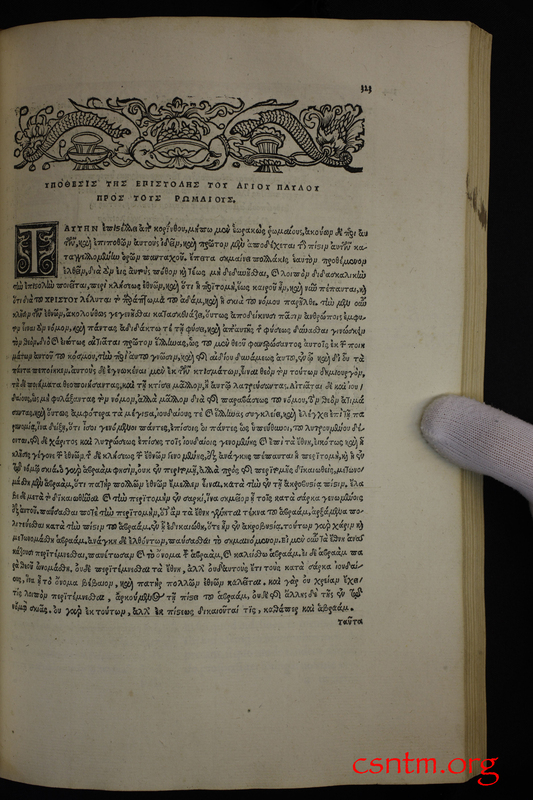 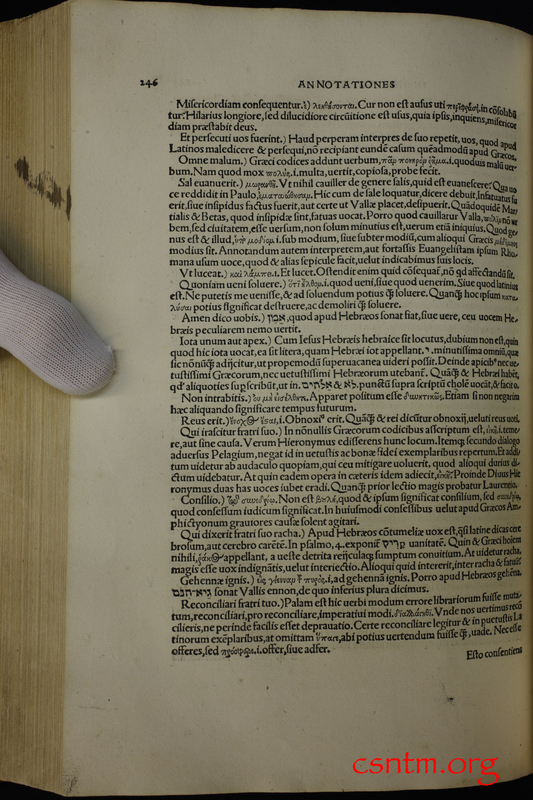 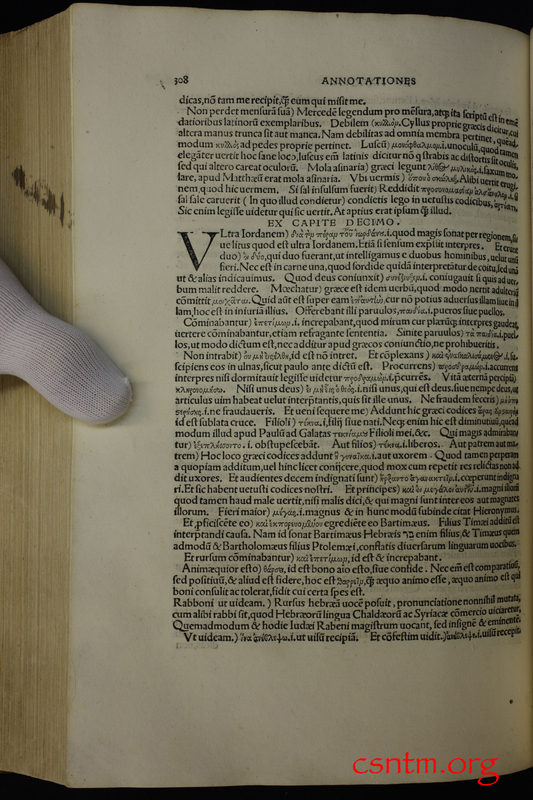 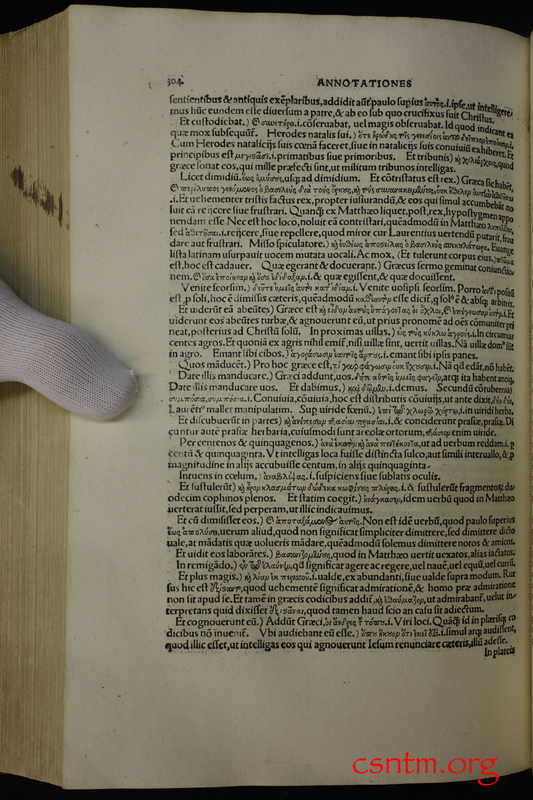 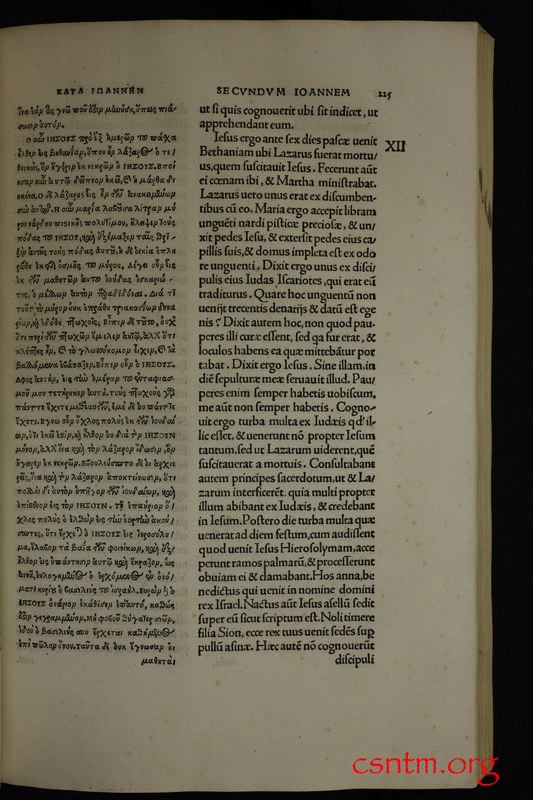 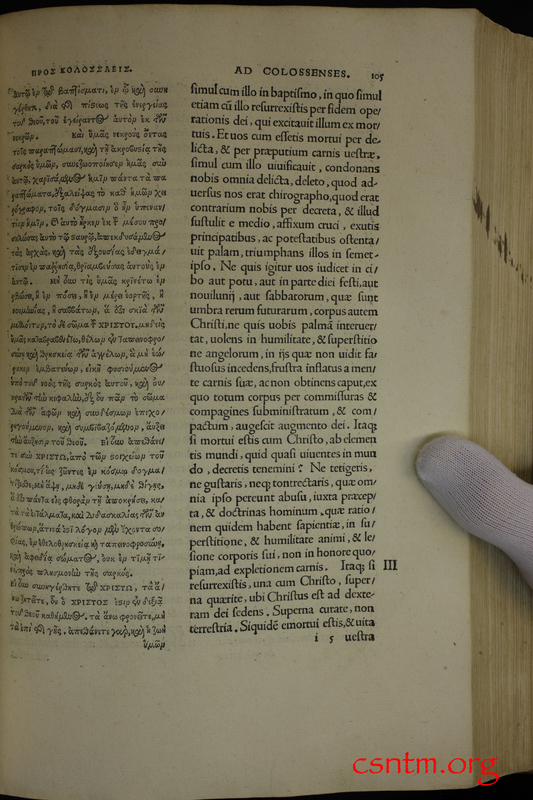 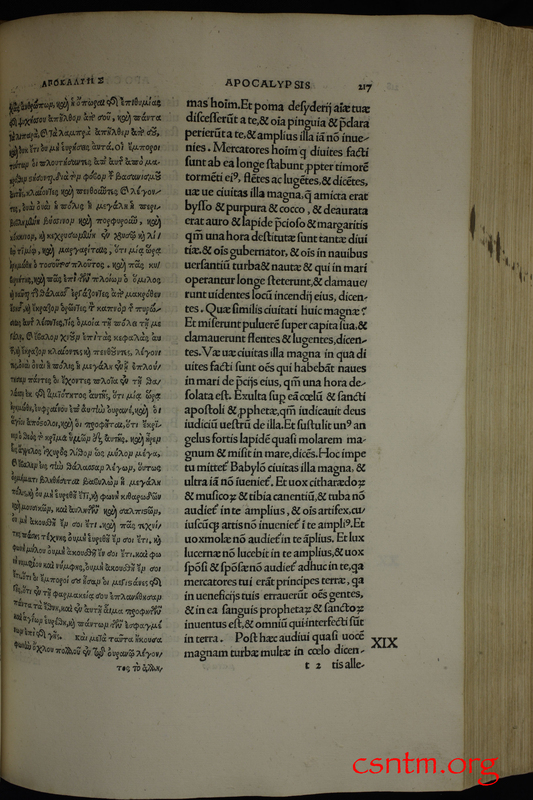 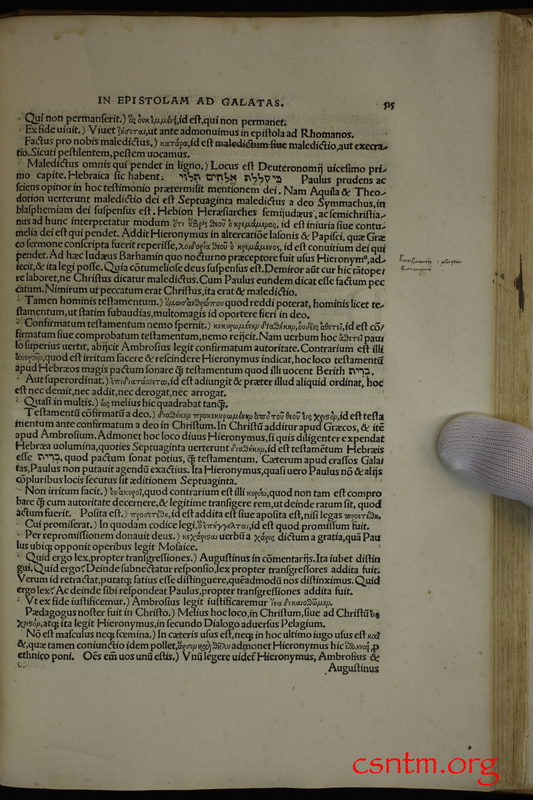 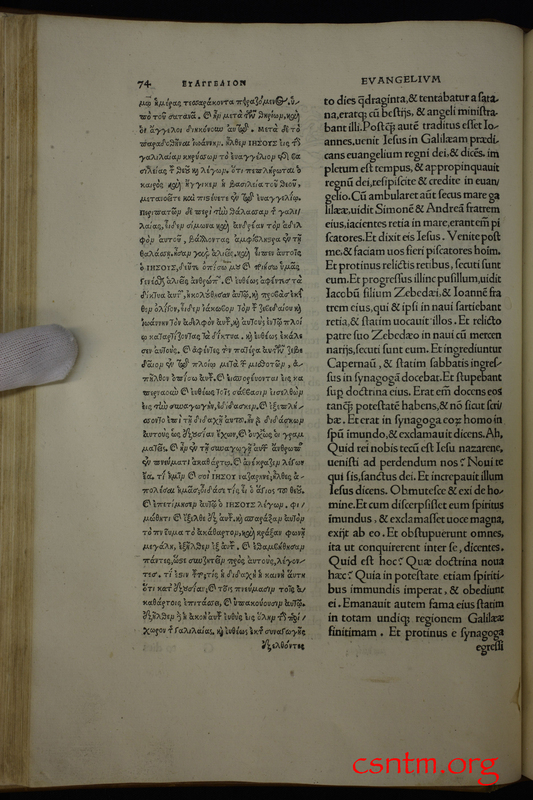 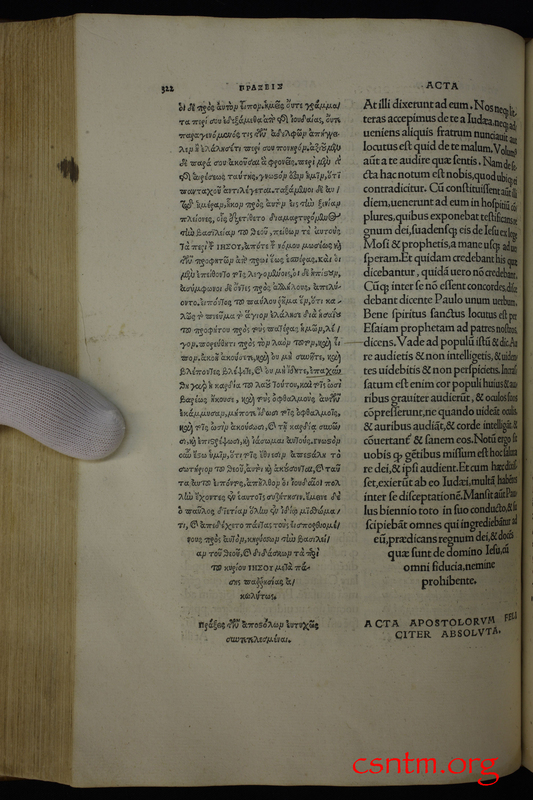 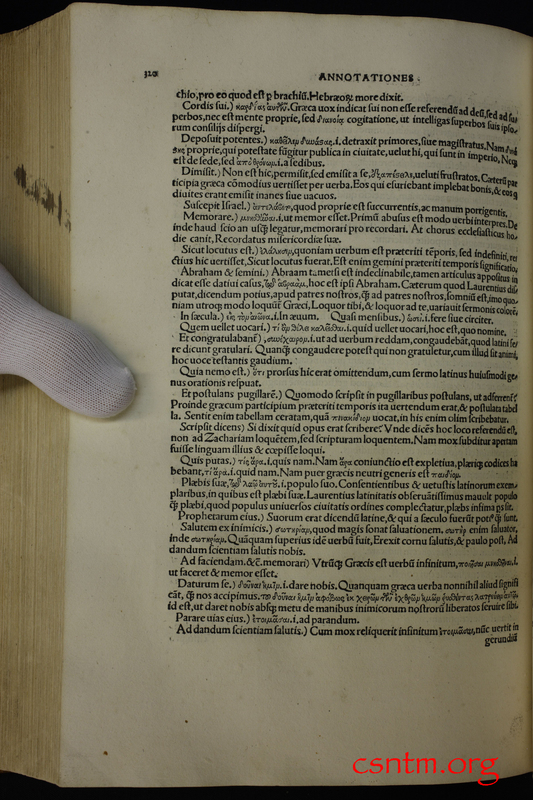 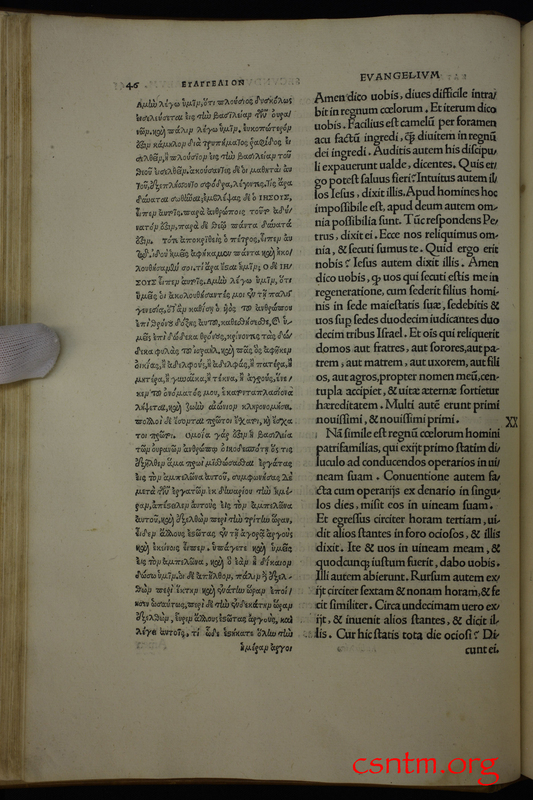 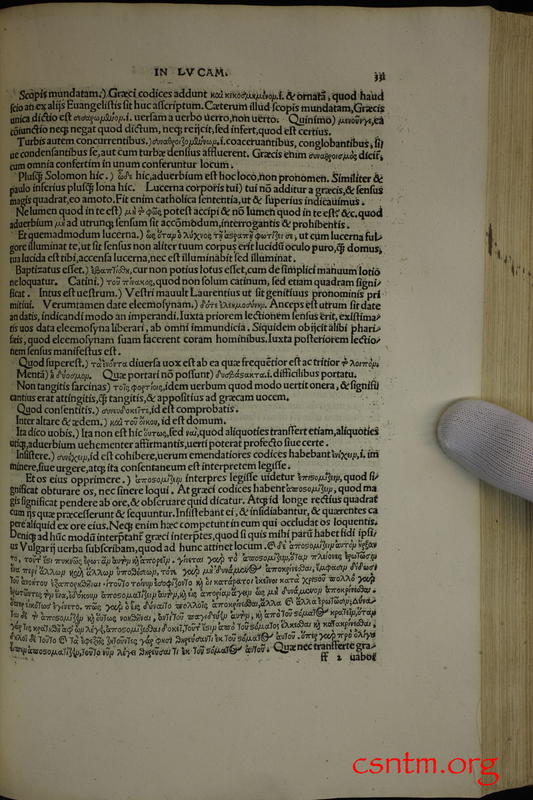 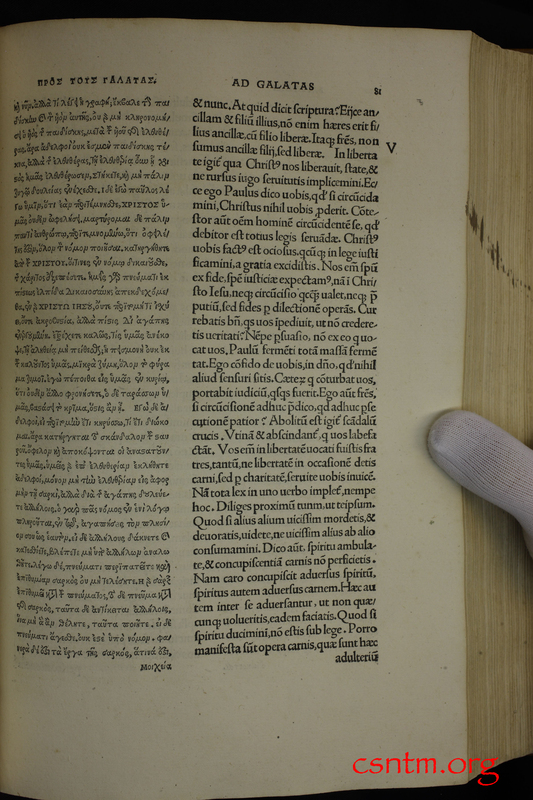 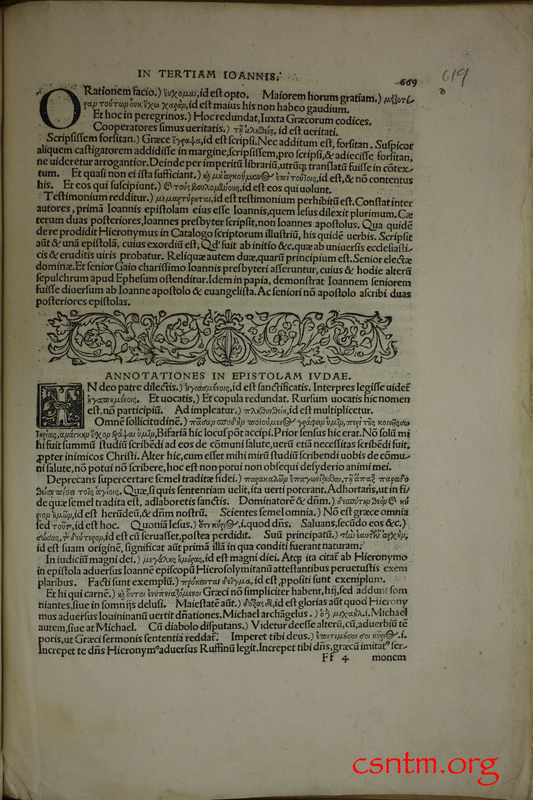 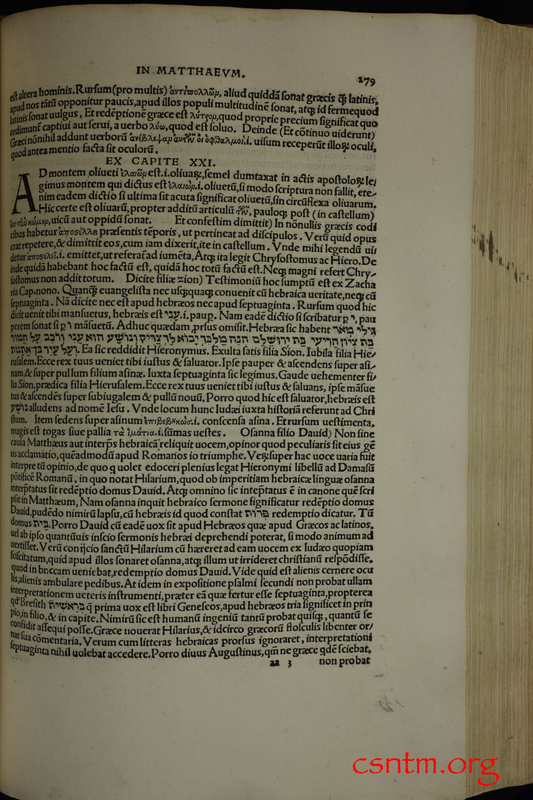 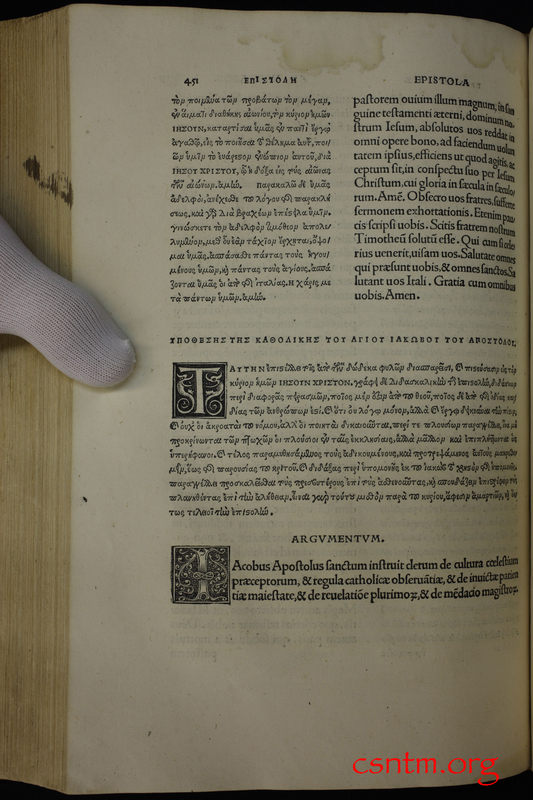 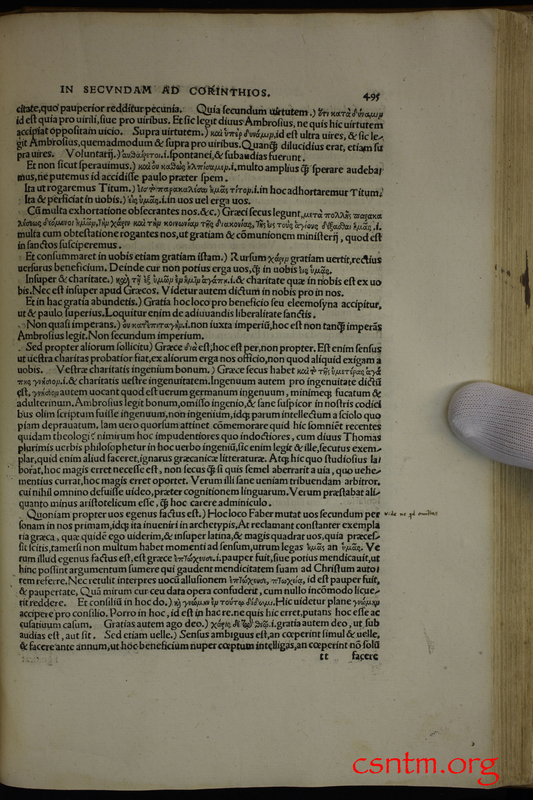 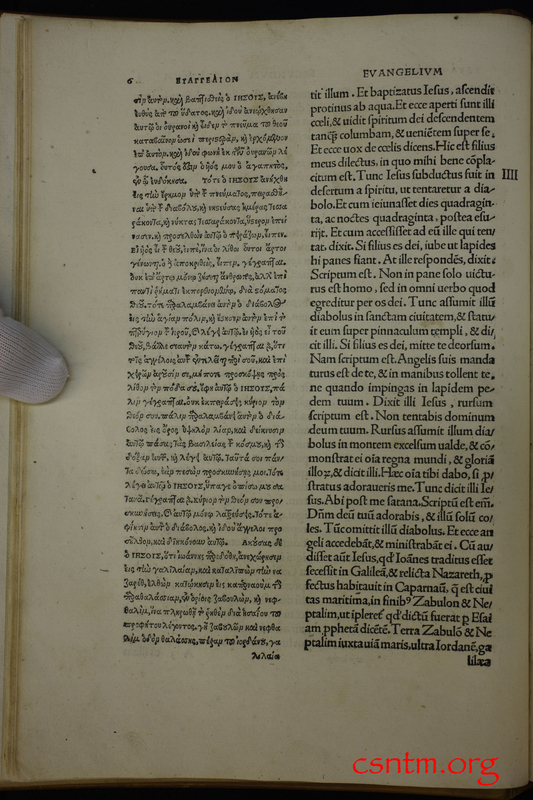 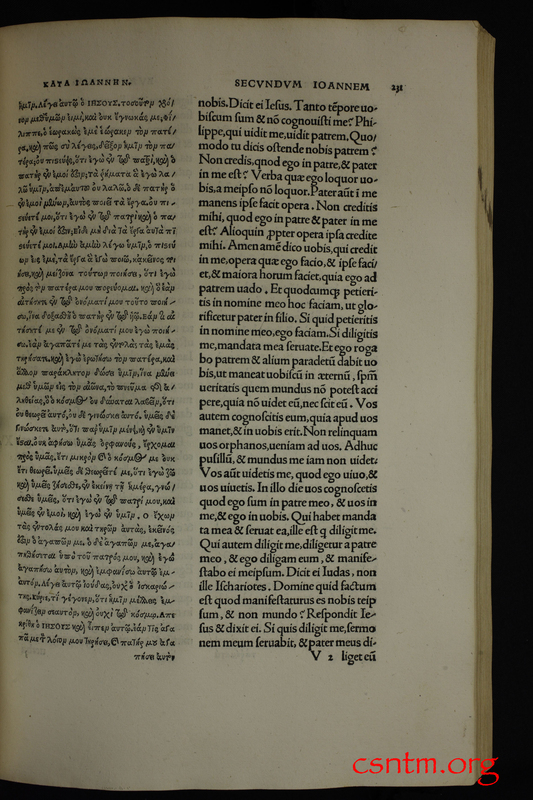 Although the Complutensian Polyglot was the first to be printed (1514), it was not published for eight more years. 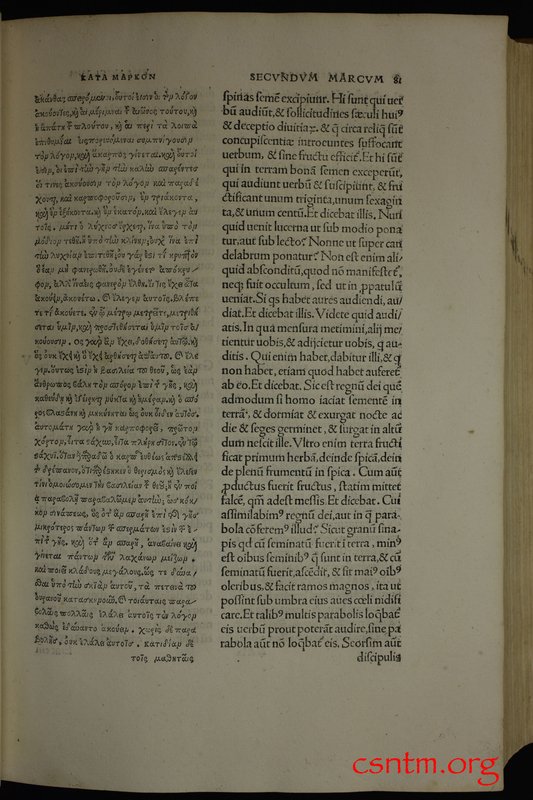 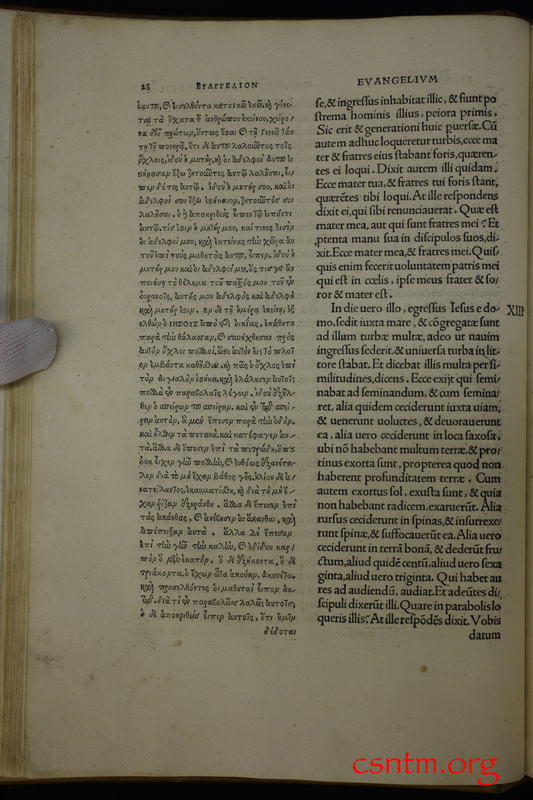 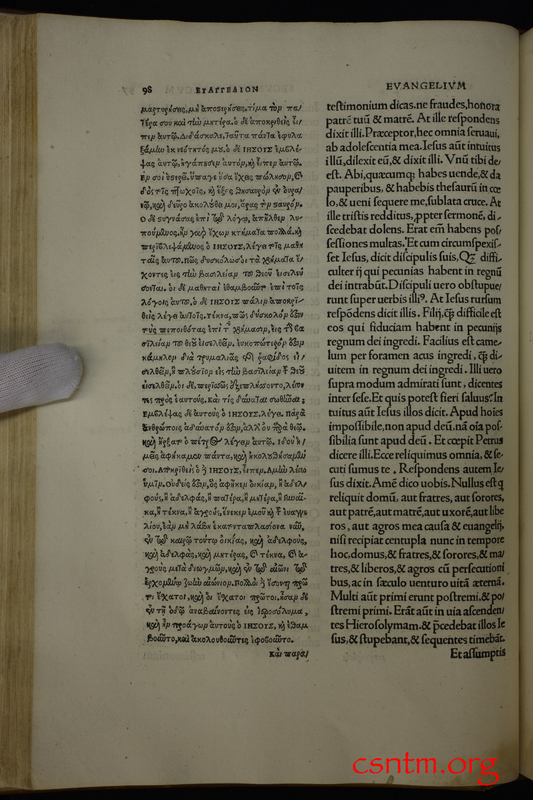 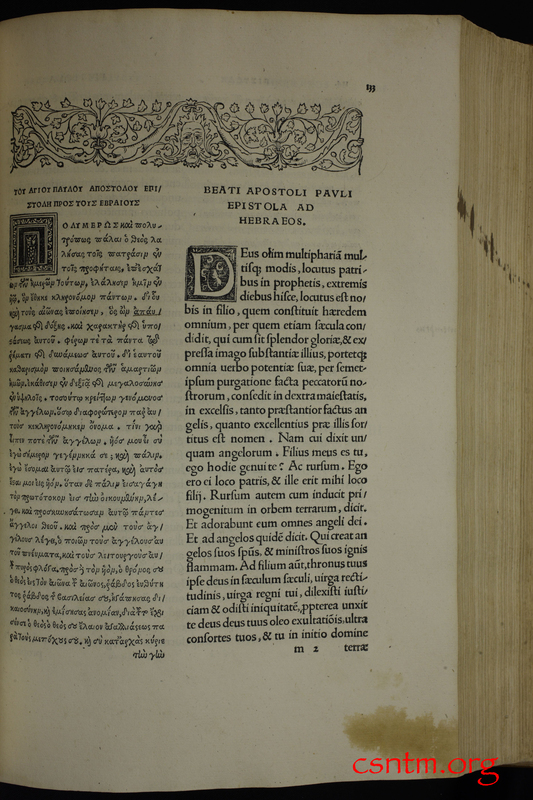 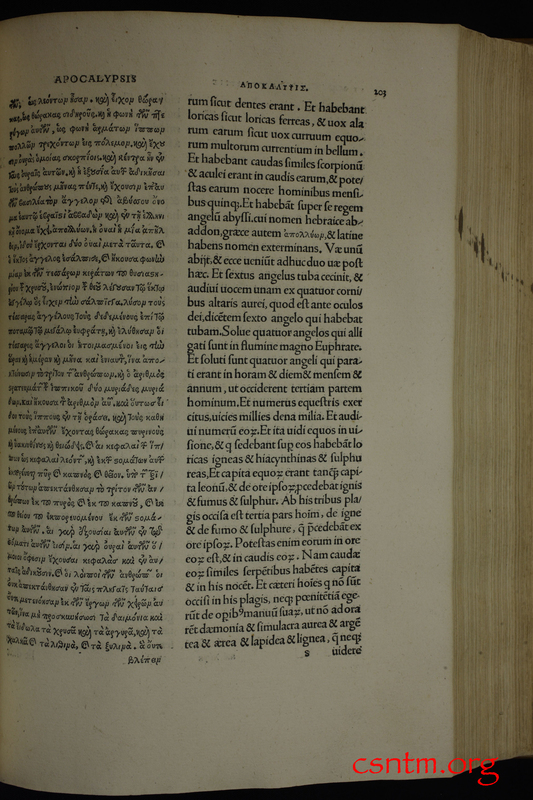 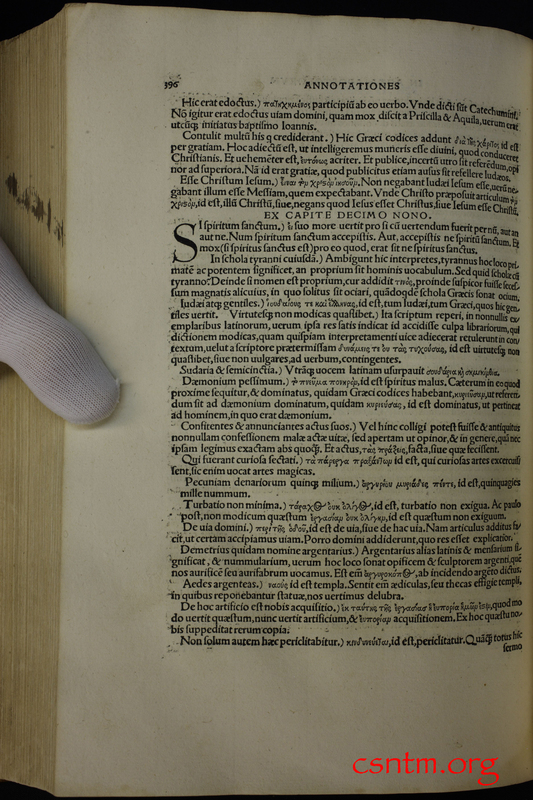 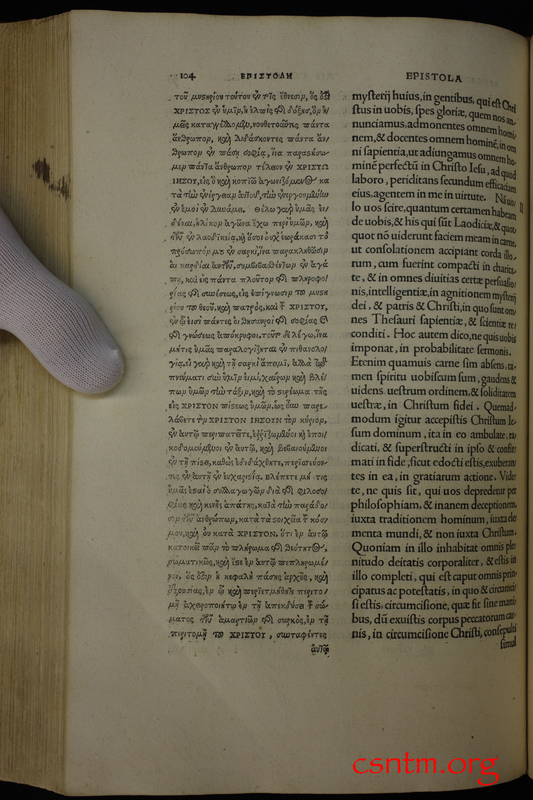 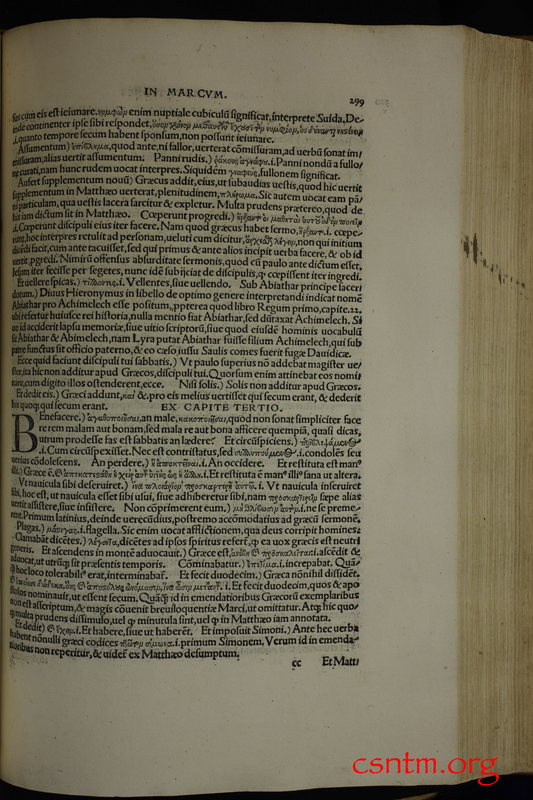 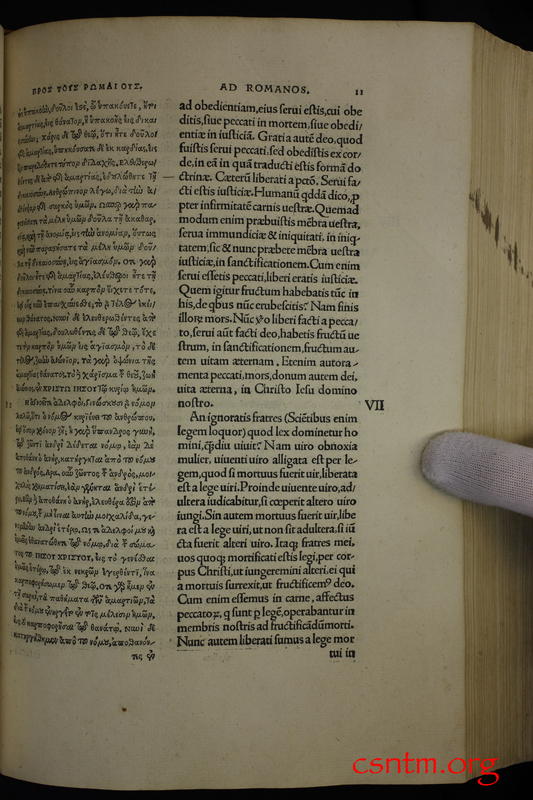 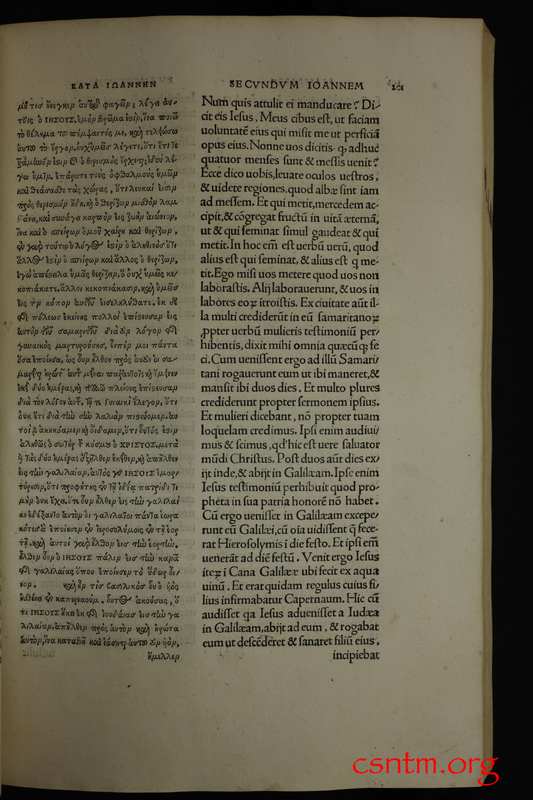 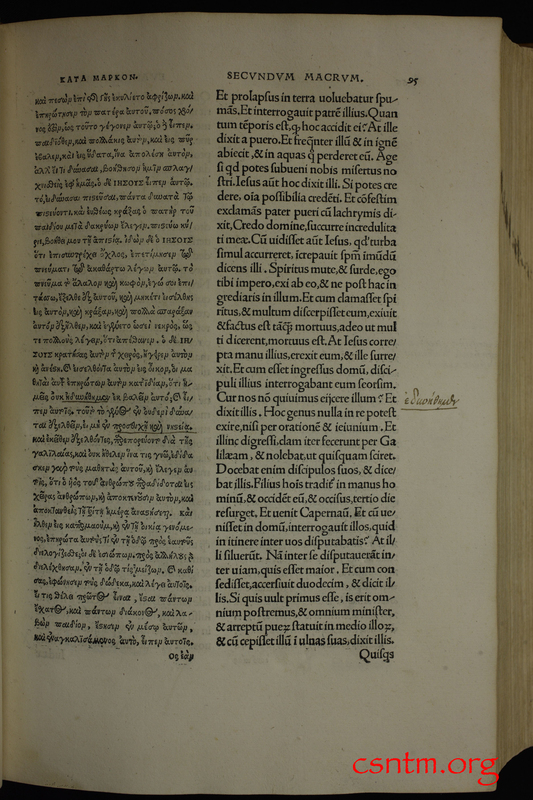 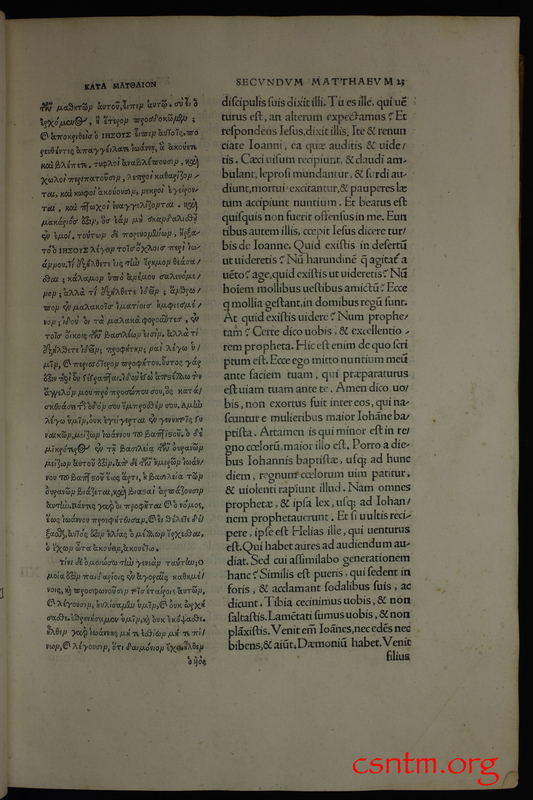 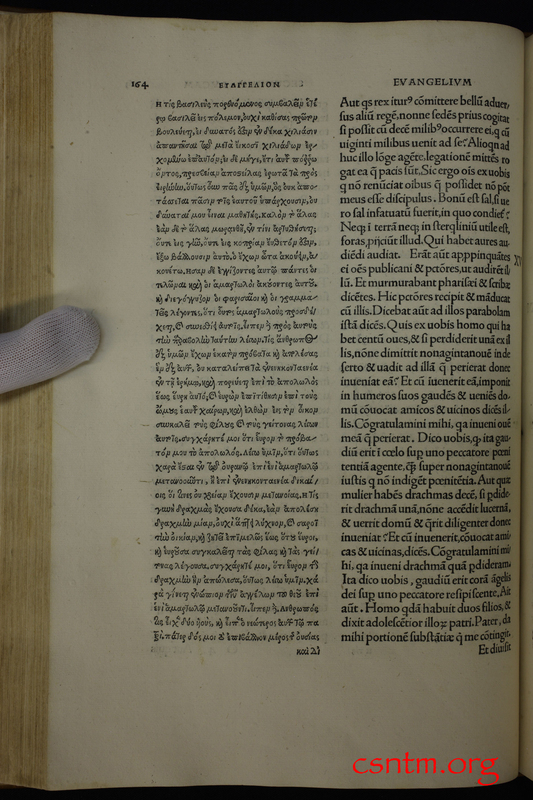 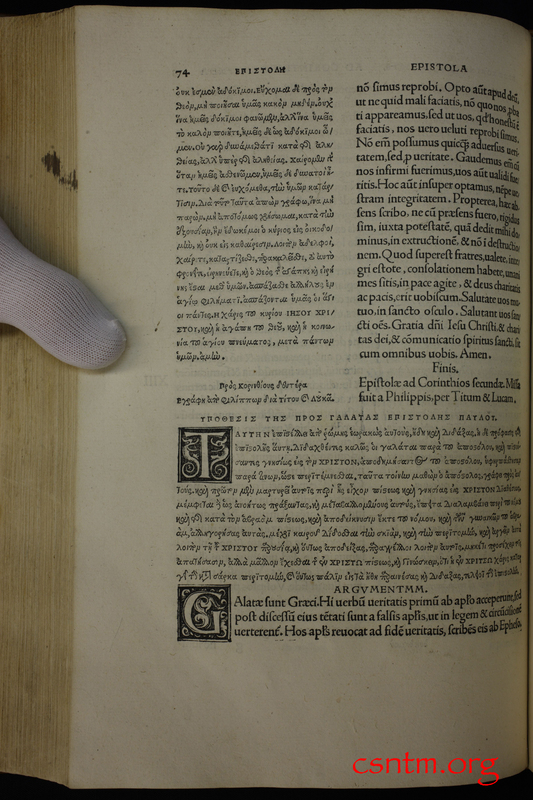 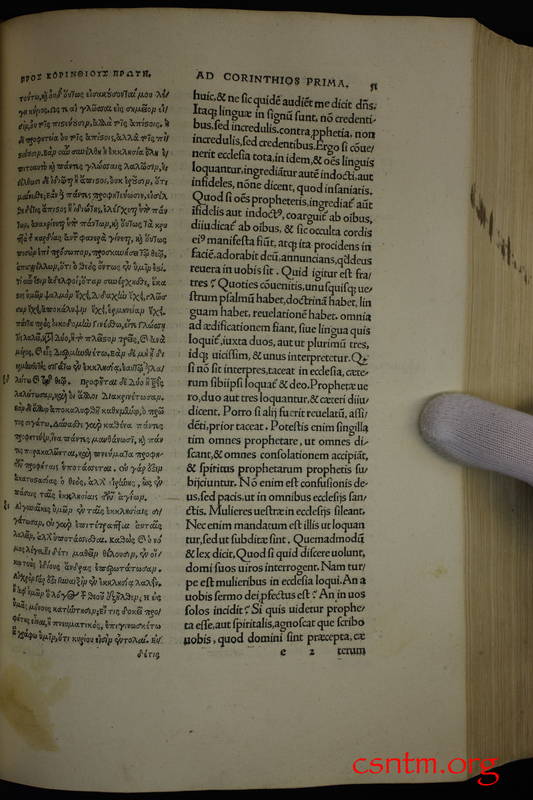 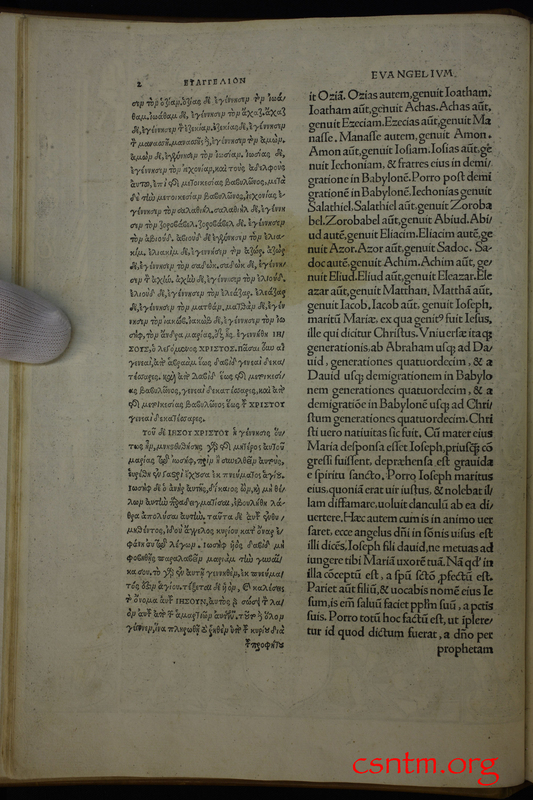 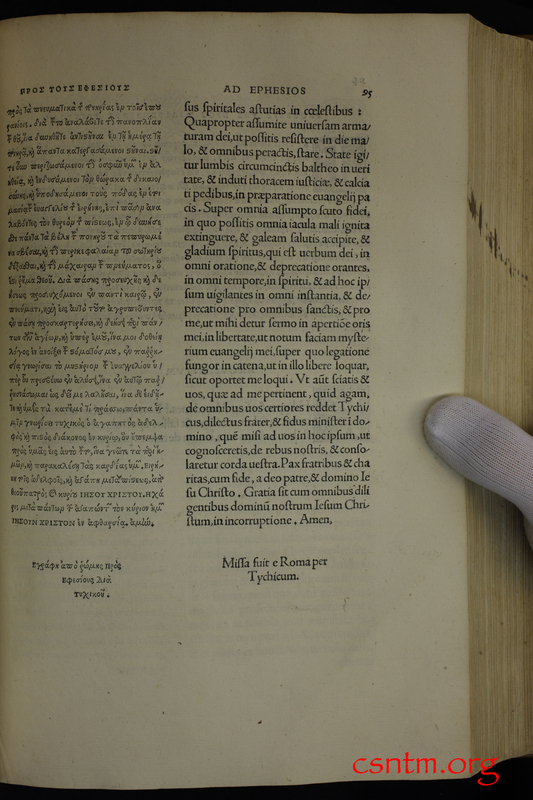 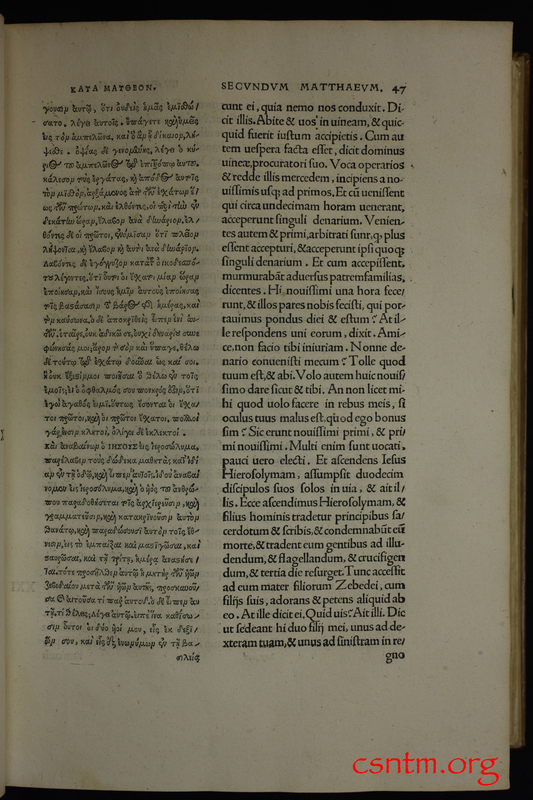 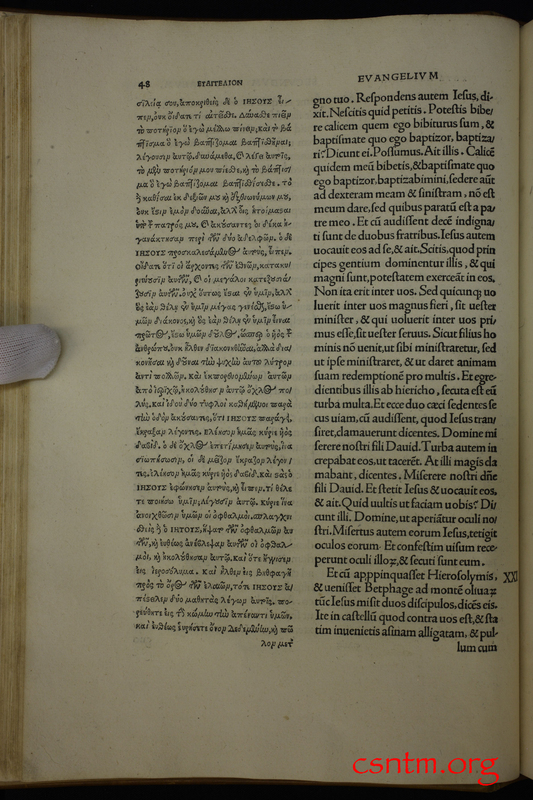 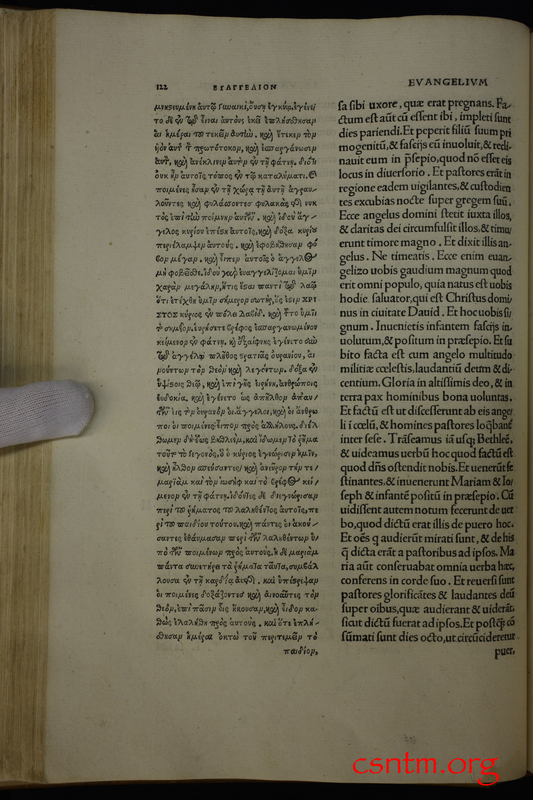 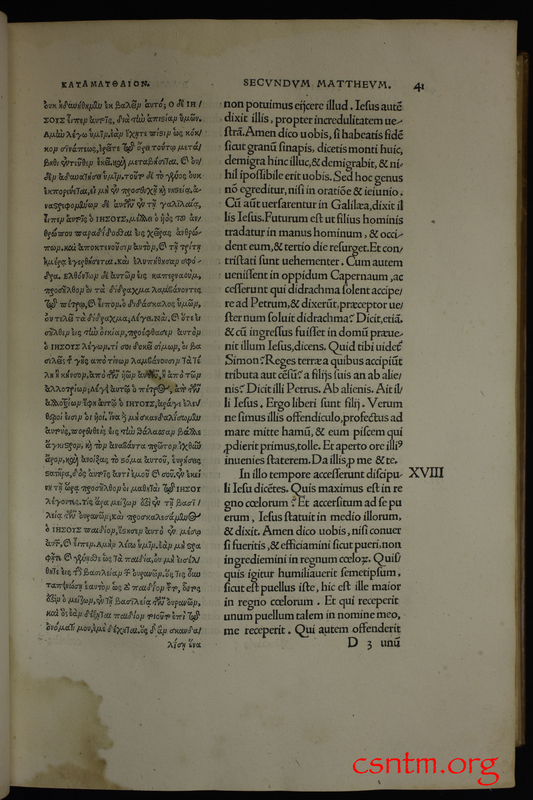 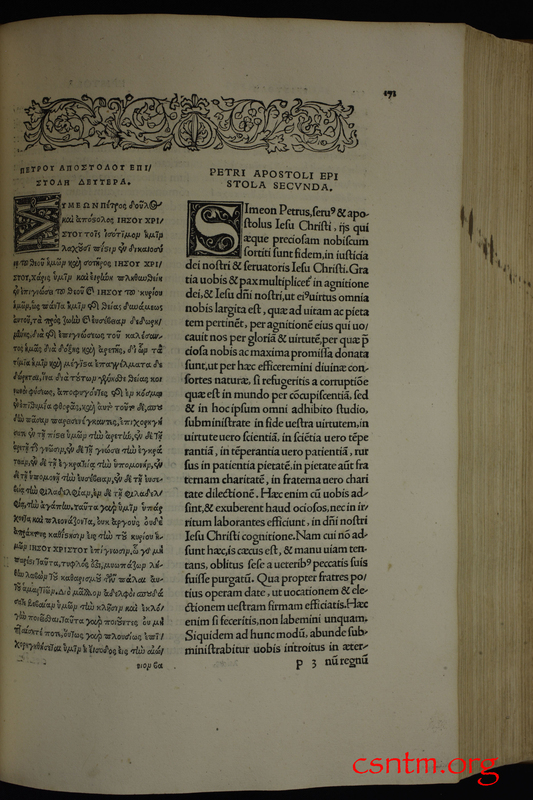 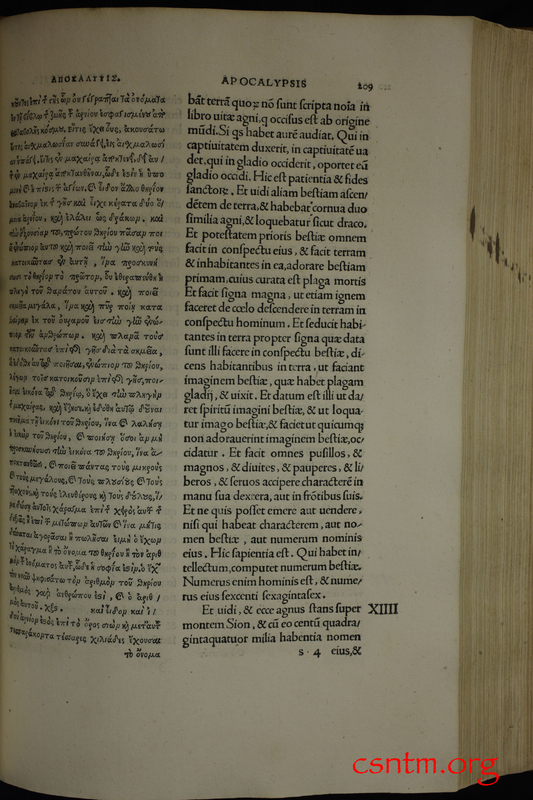 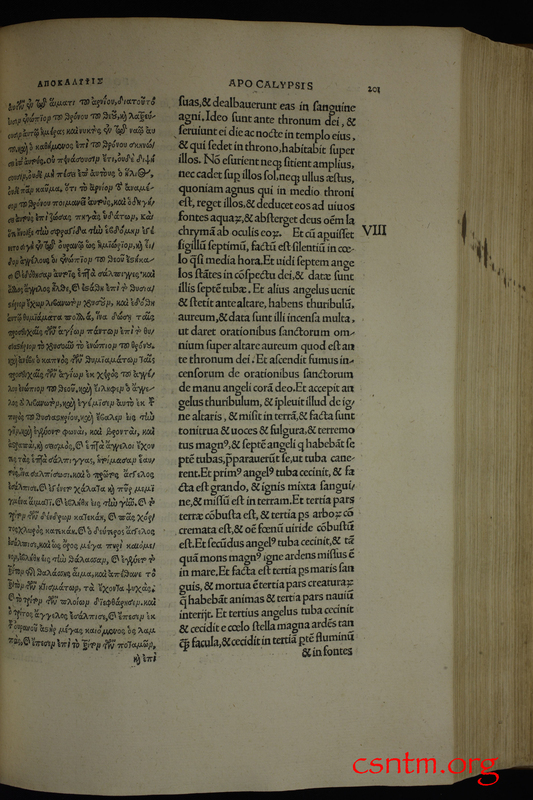 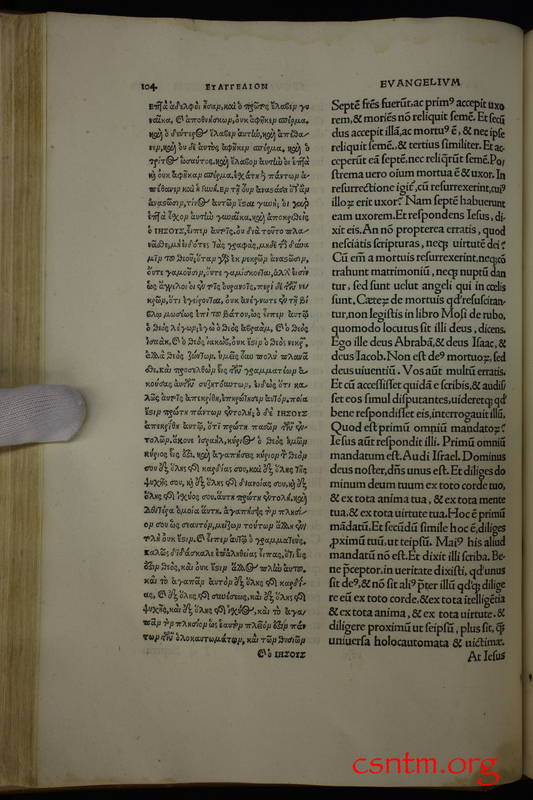 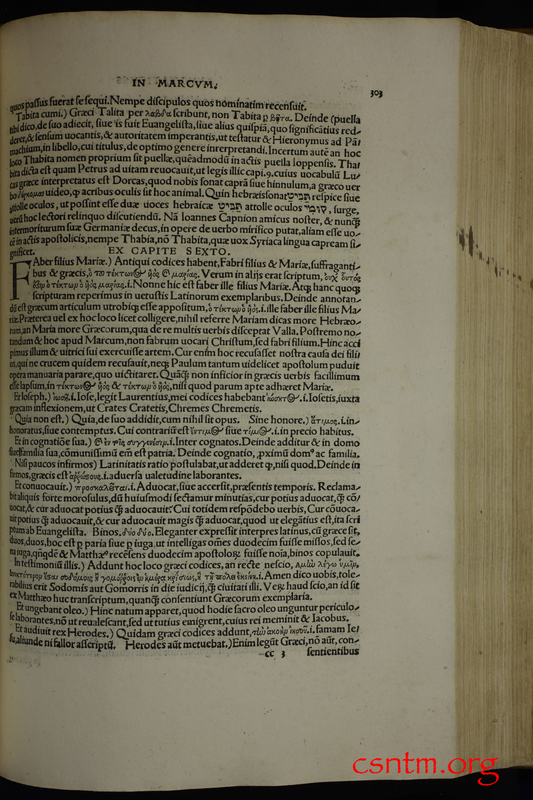 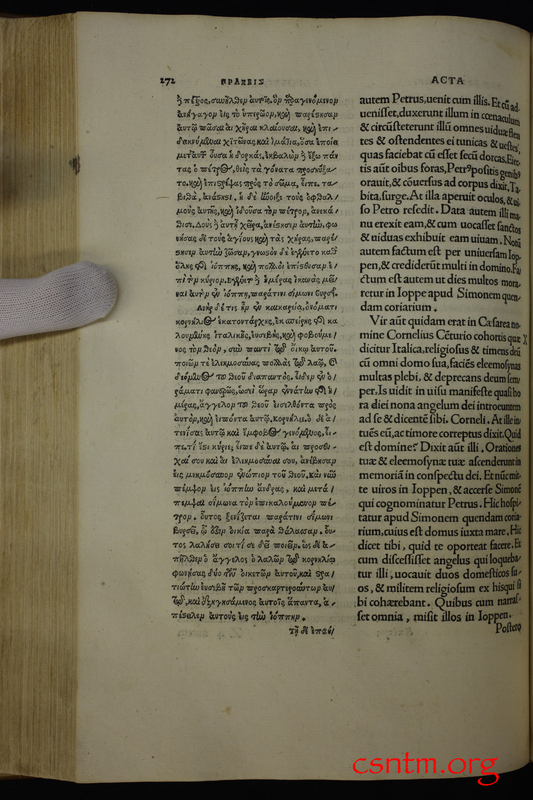 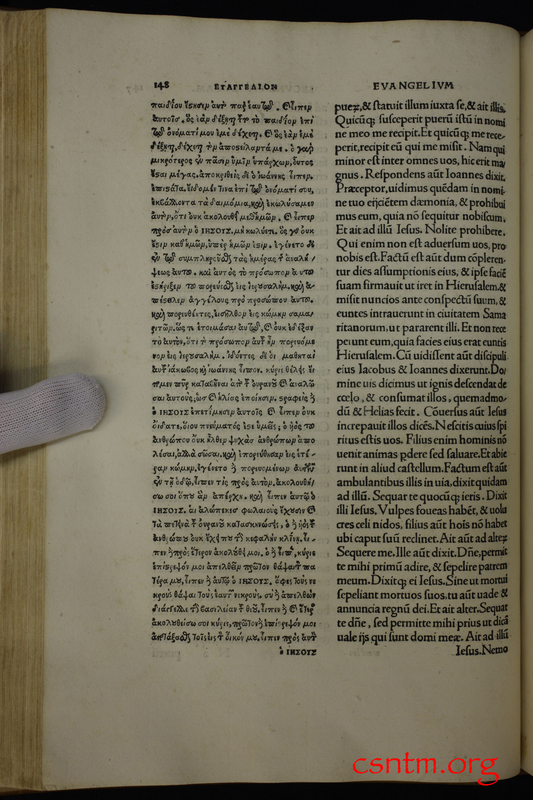 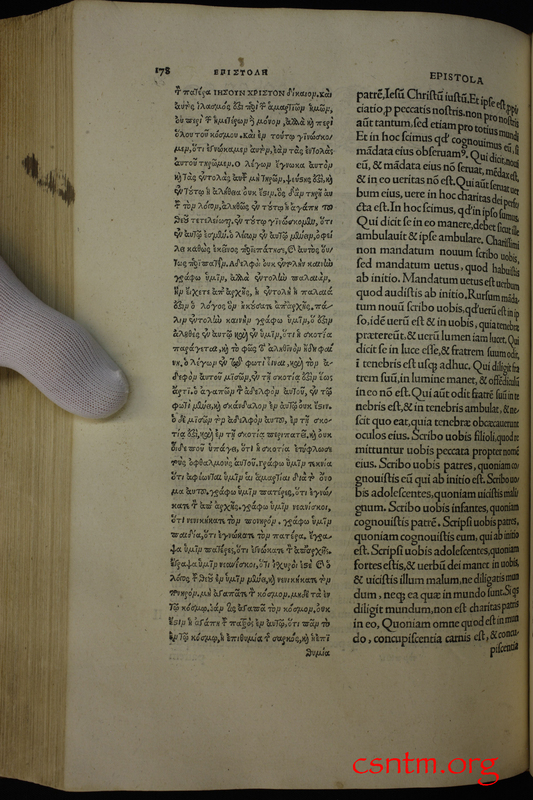 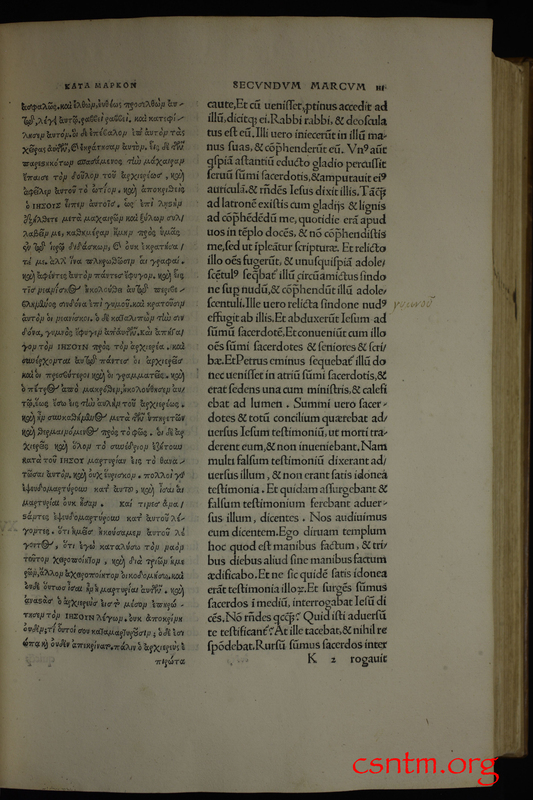 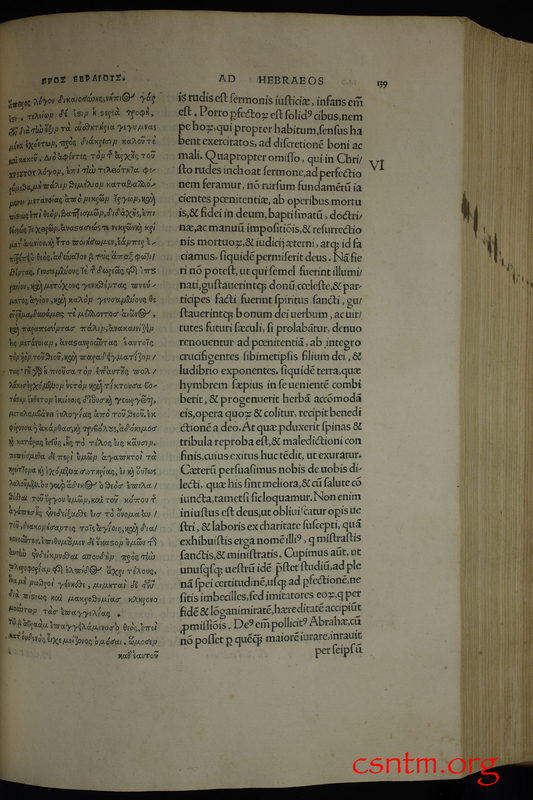 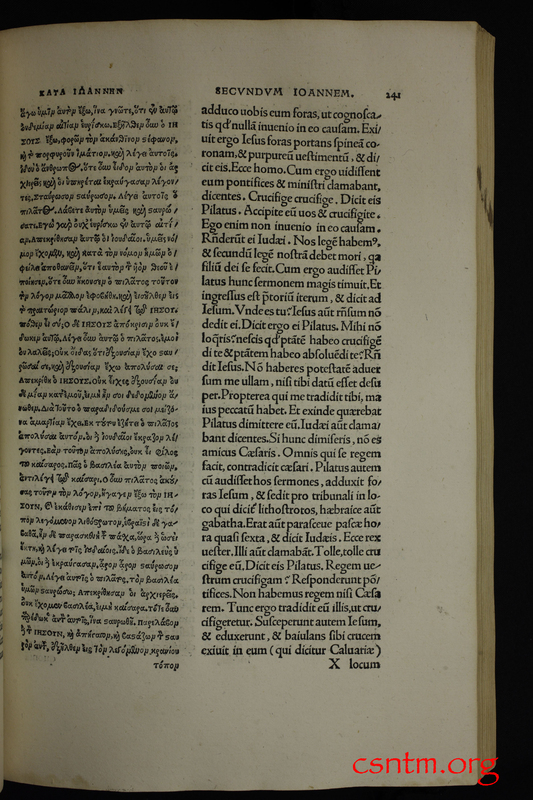 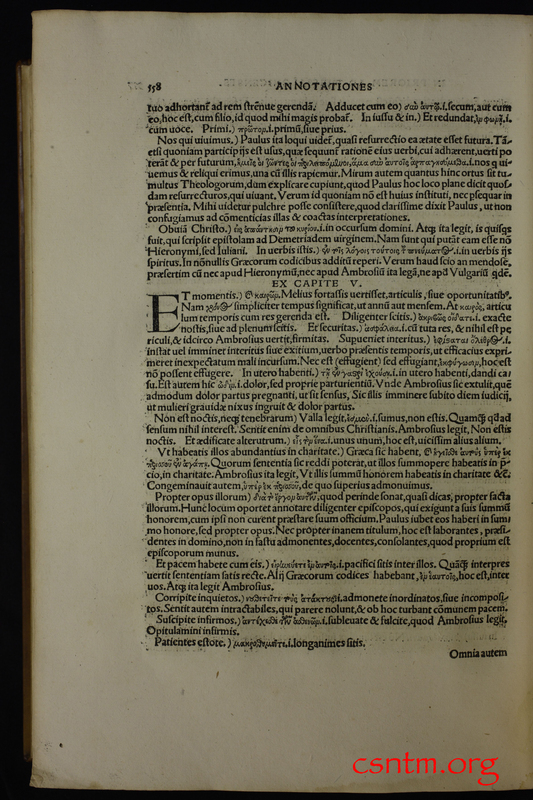 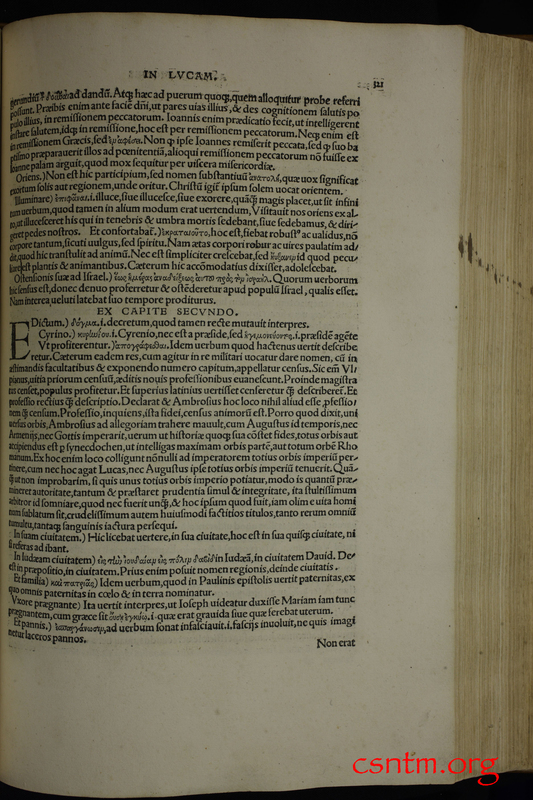 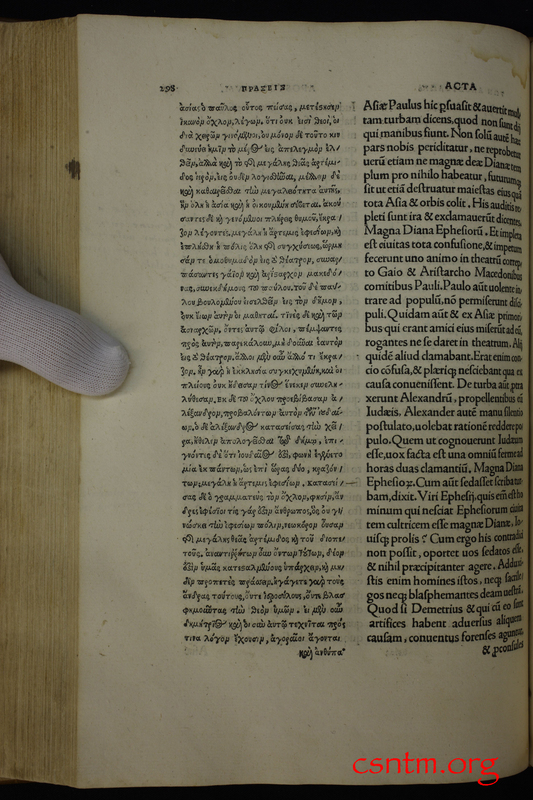 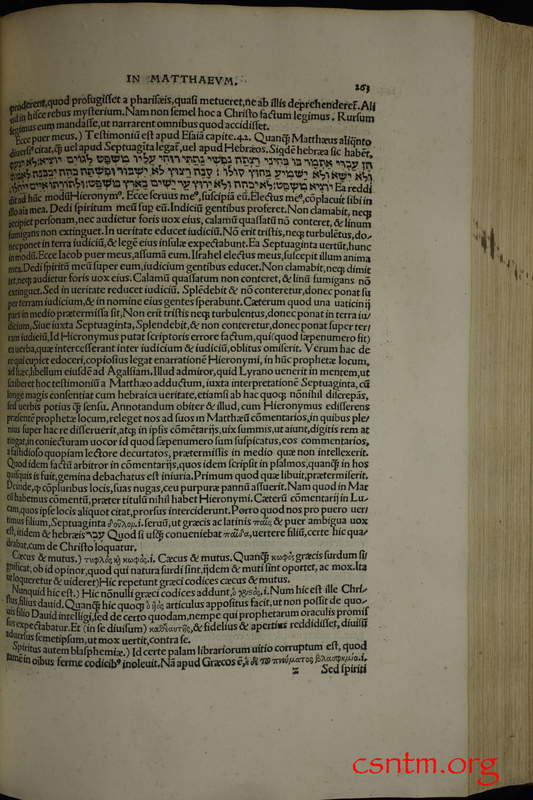 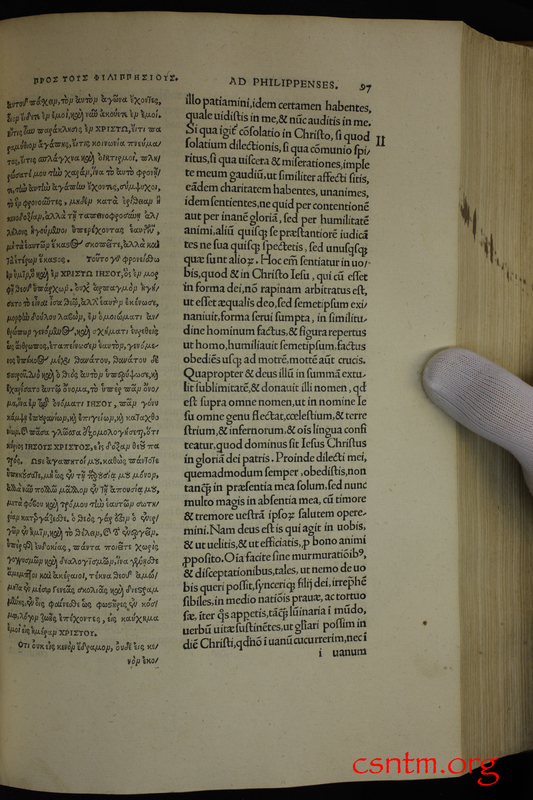 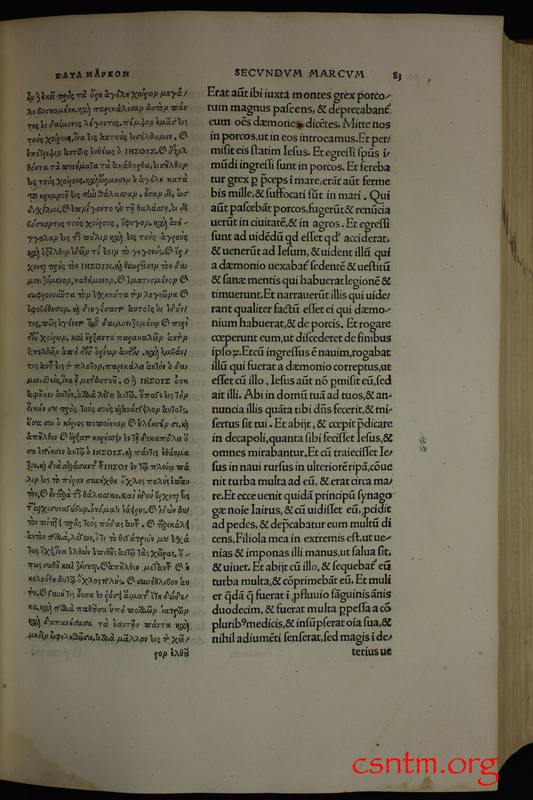 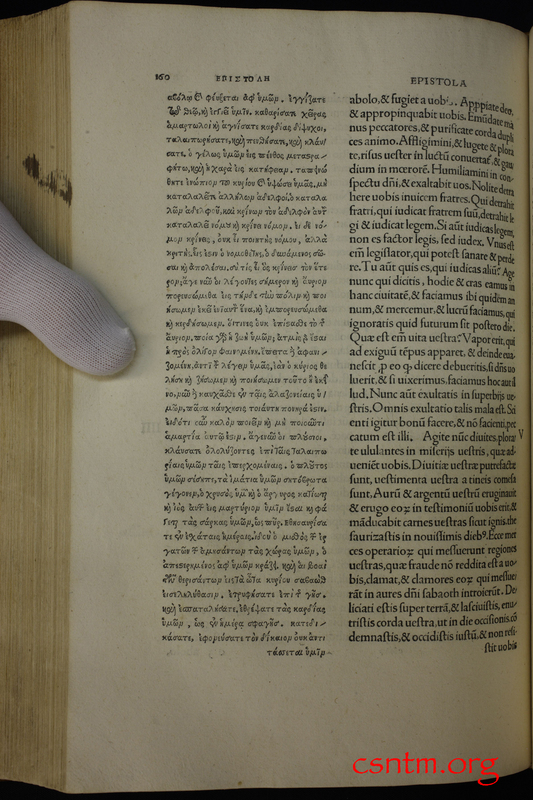 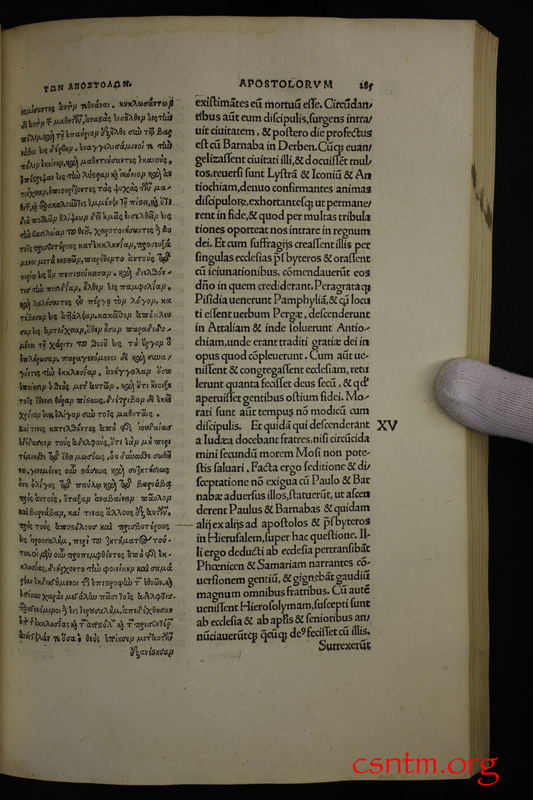 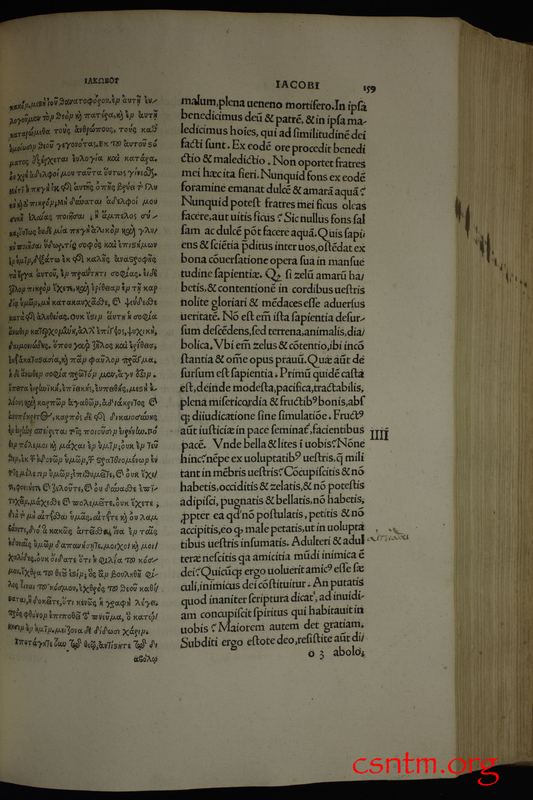 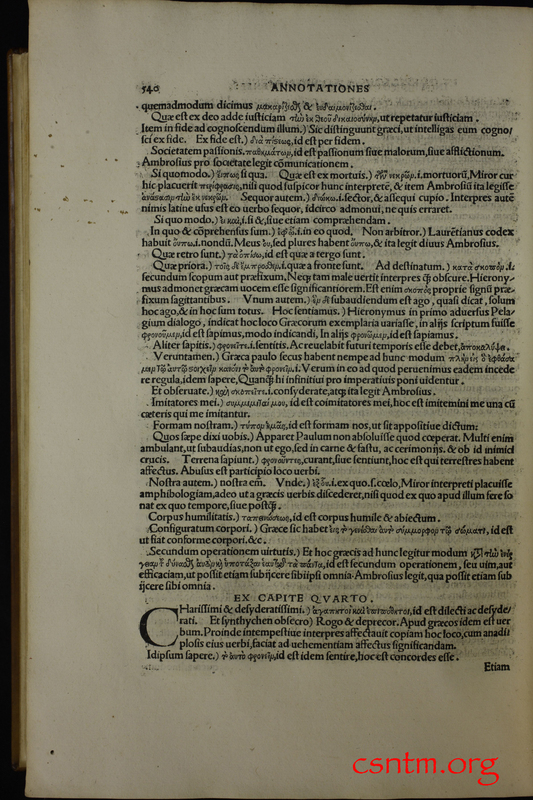 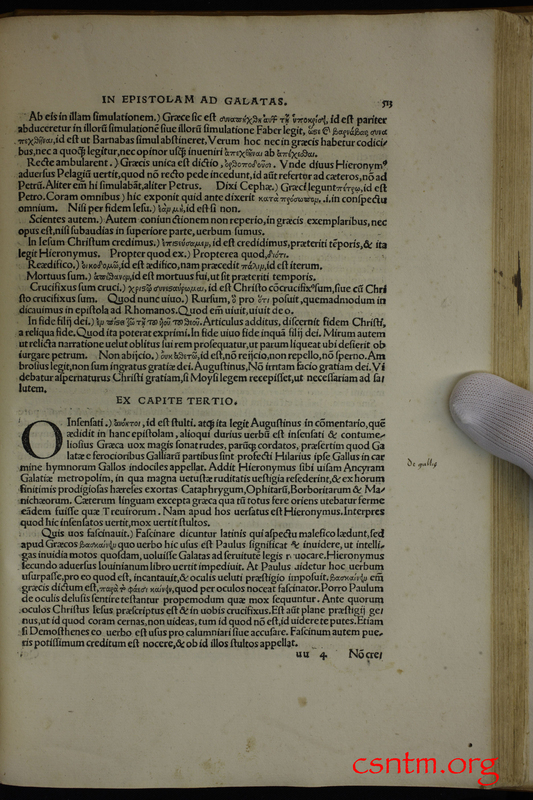 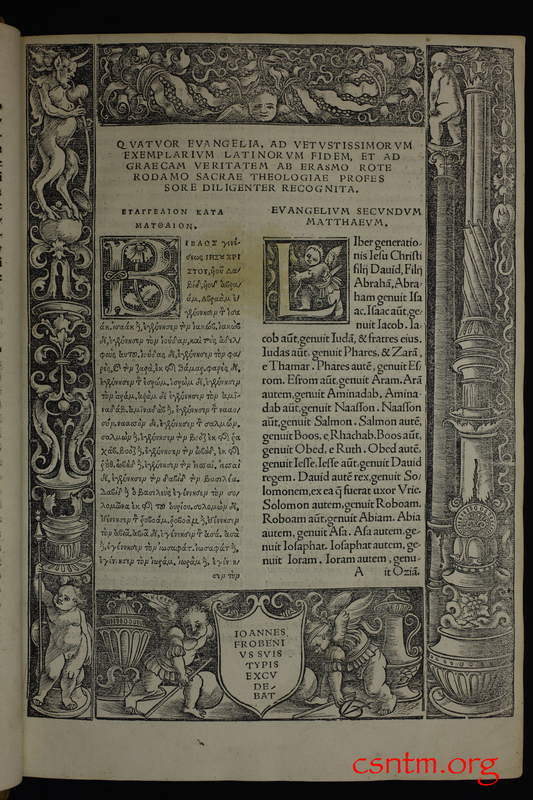 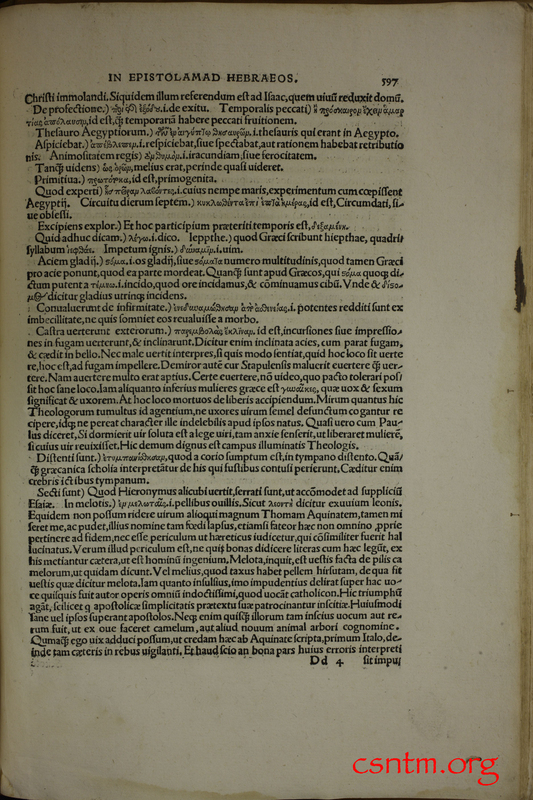 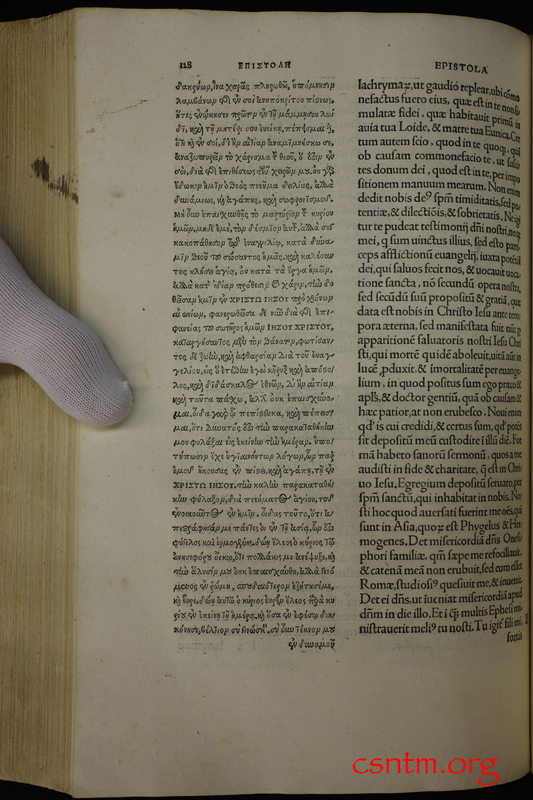 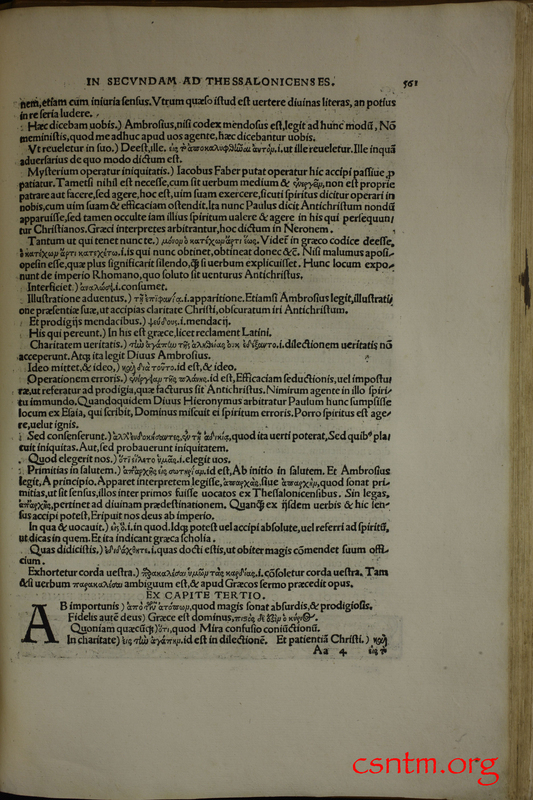 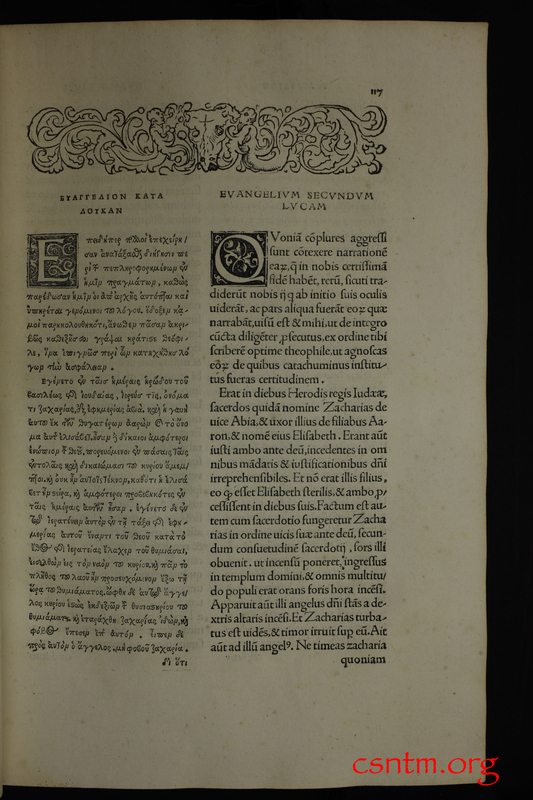 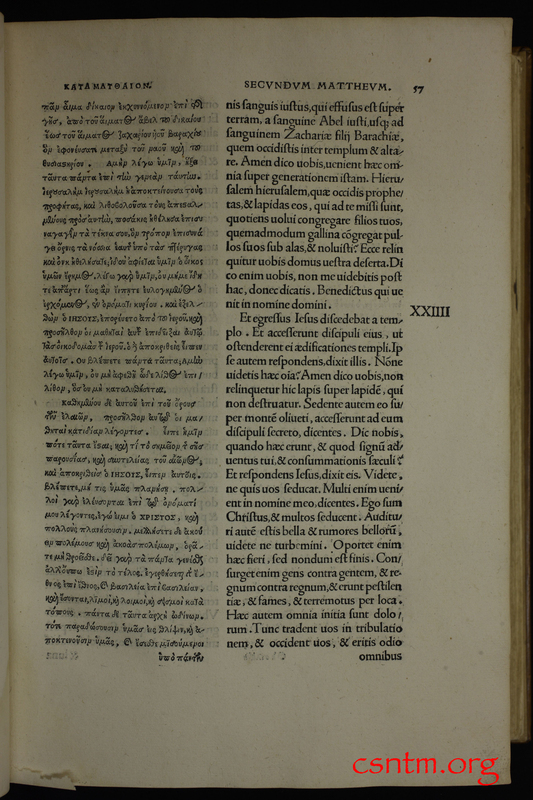 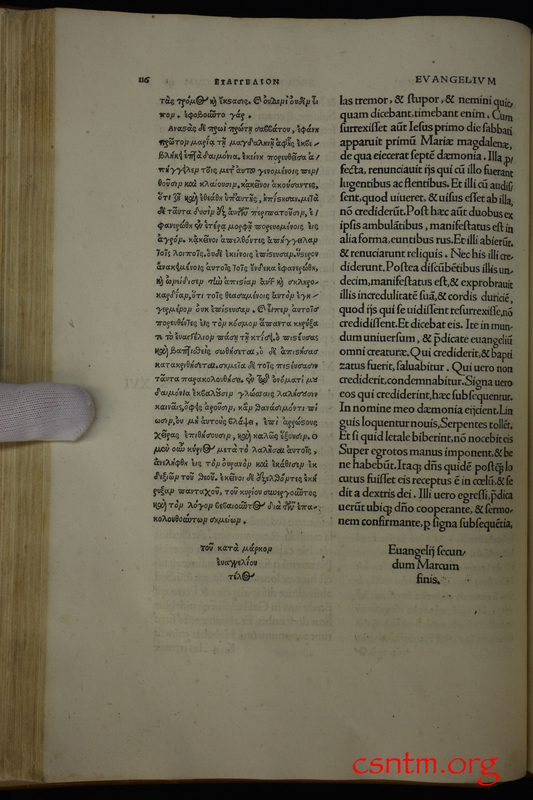 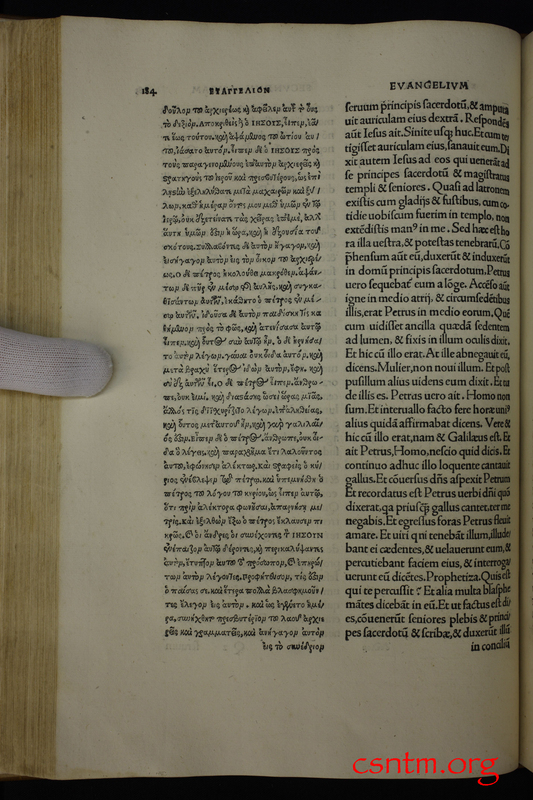 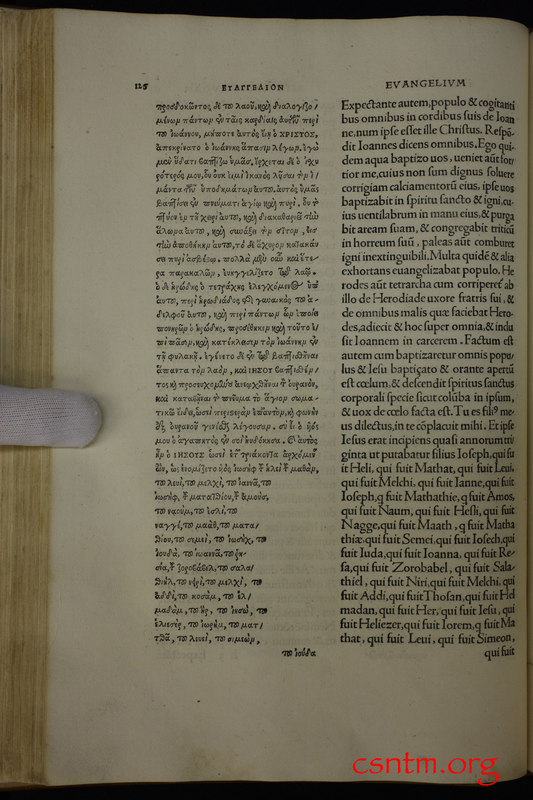 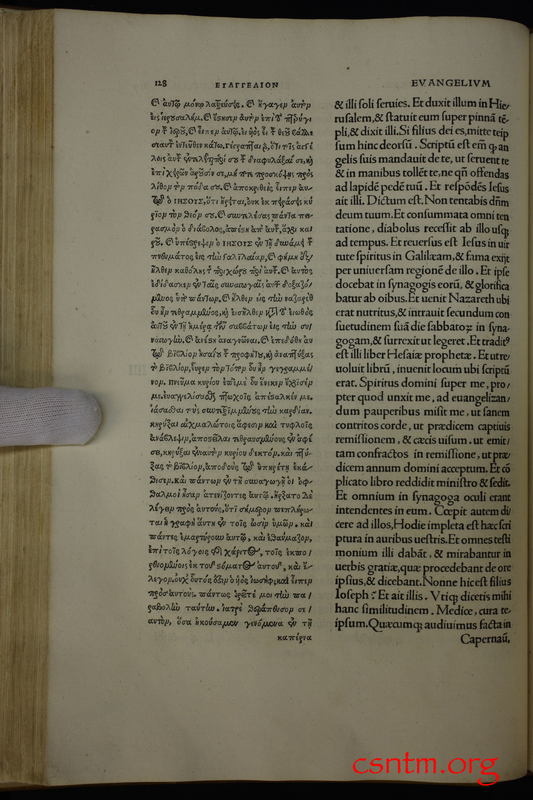 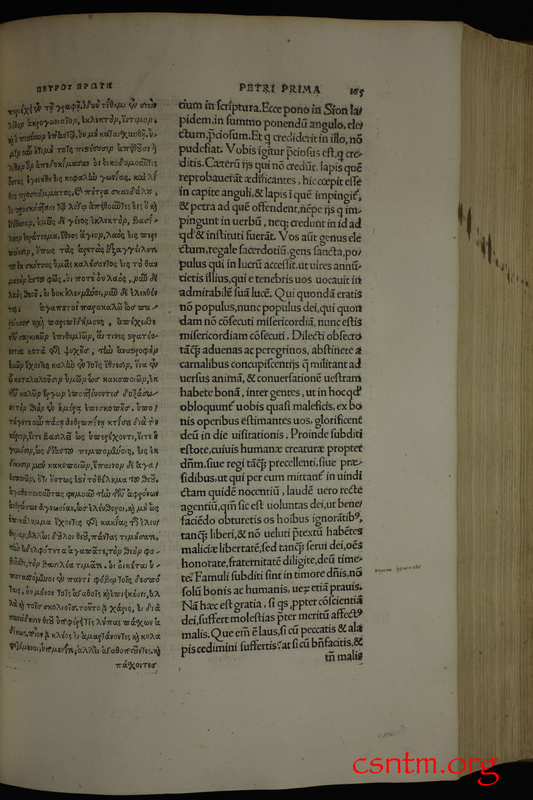 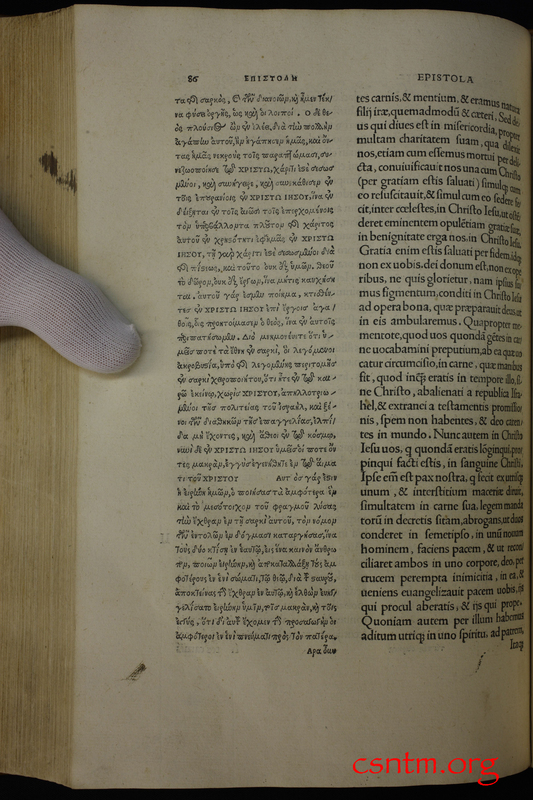 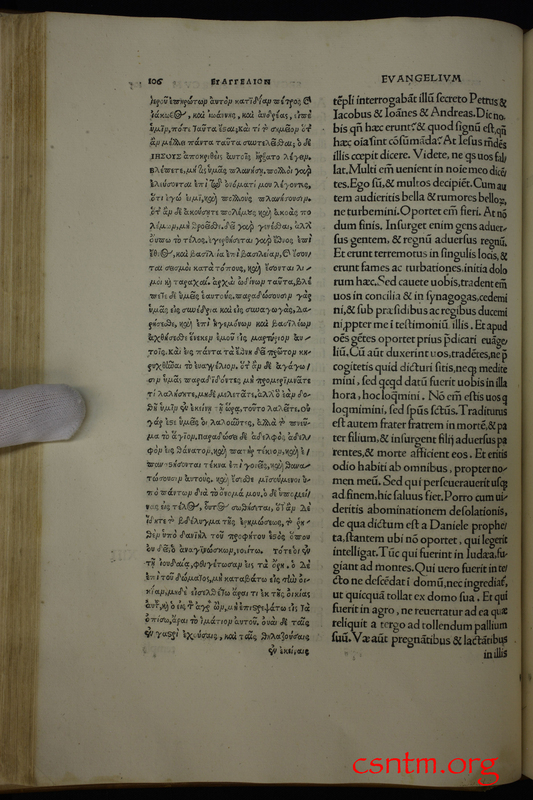 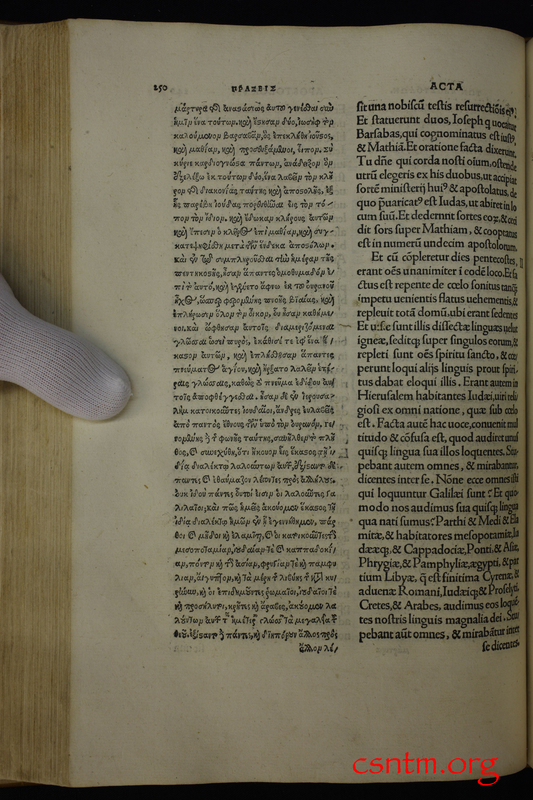 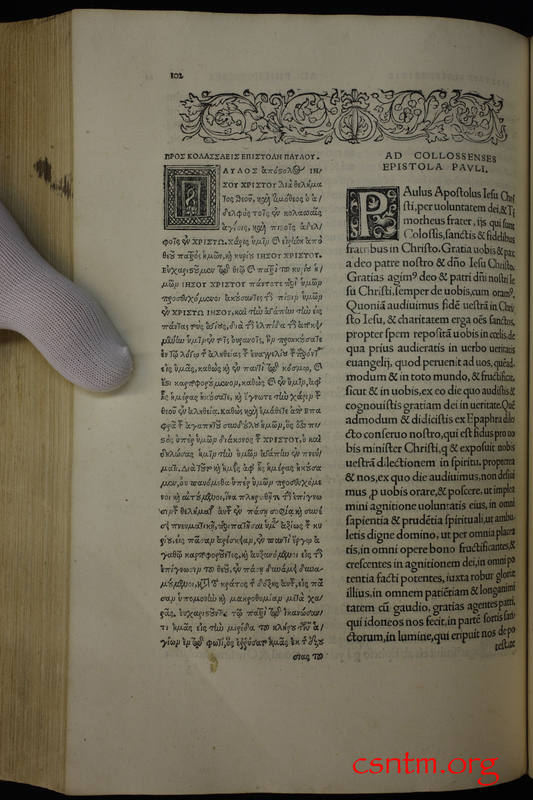 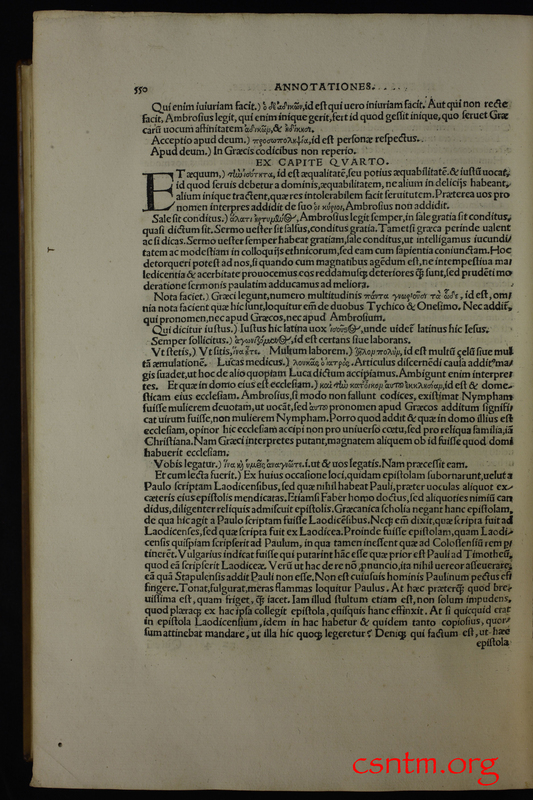 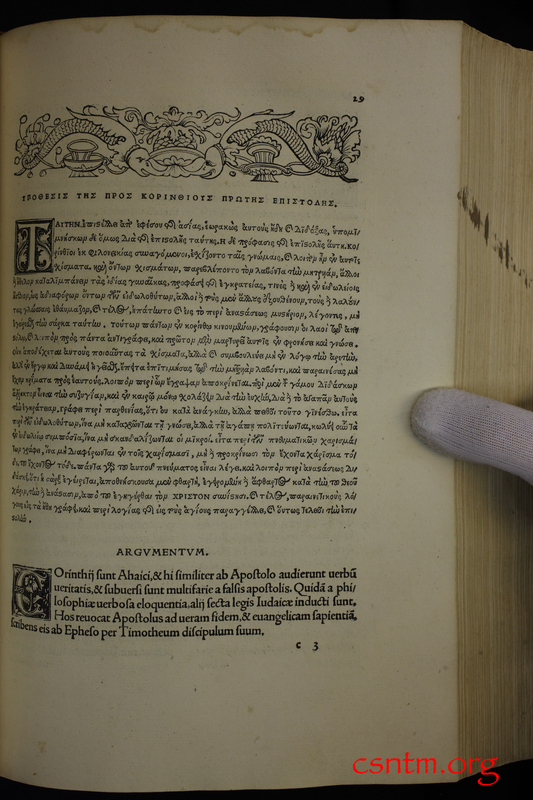 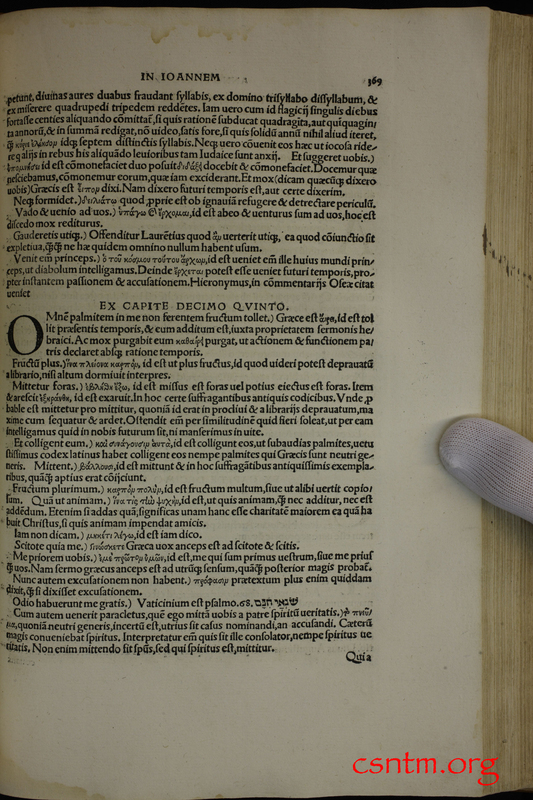 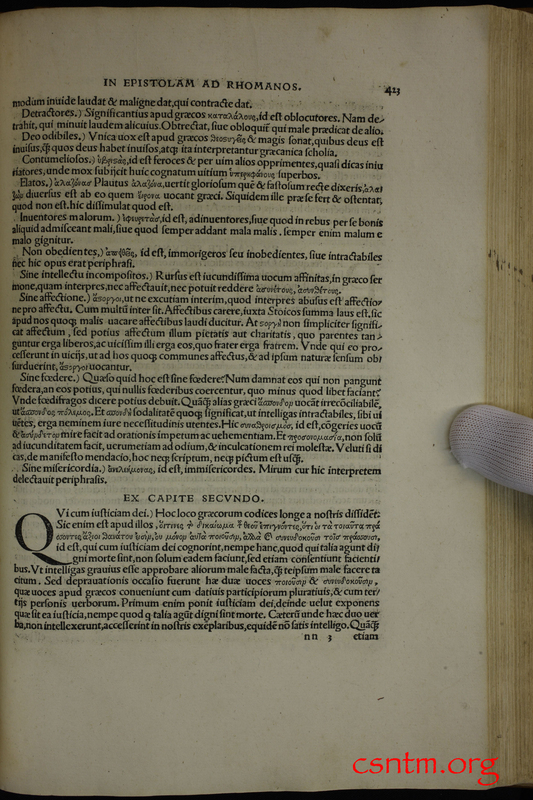 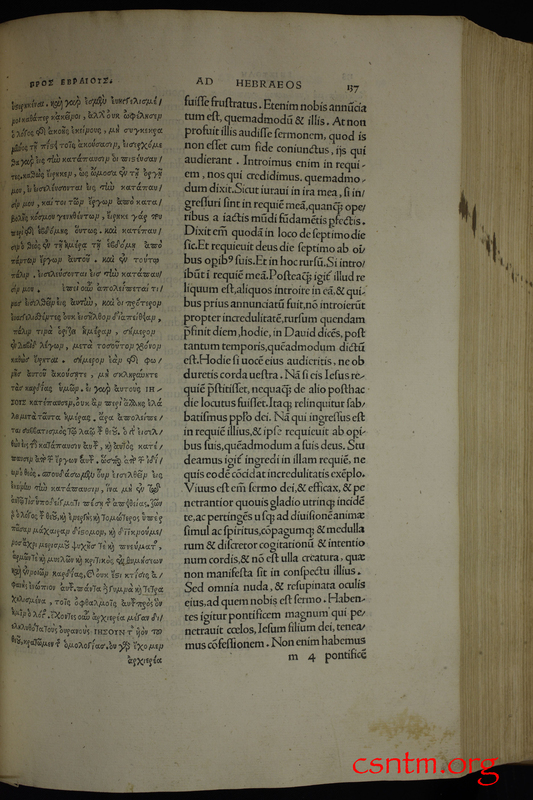 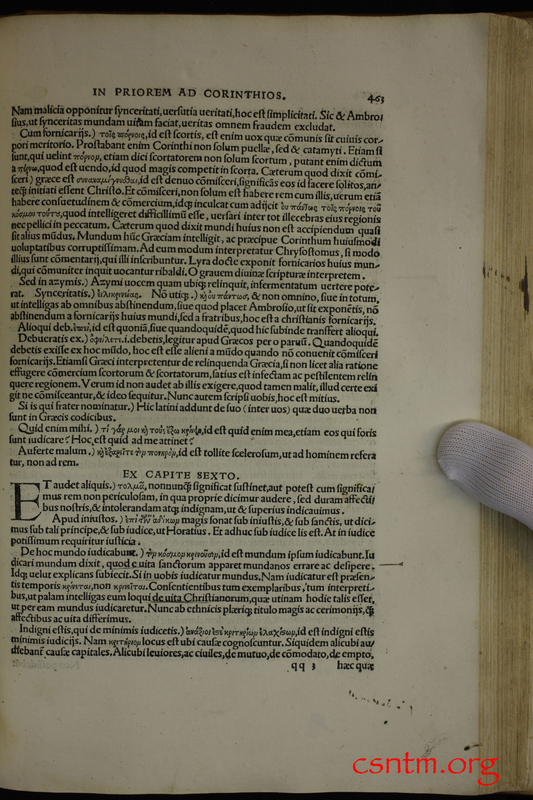 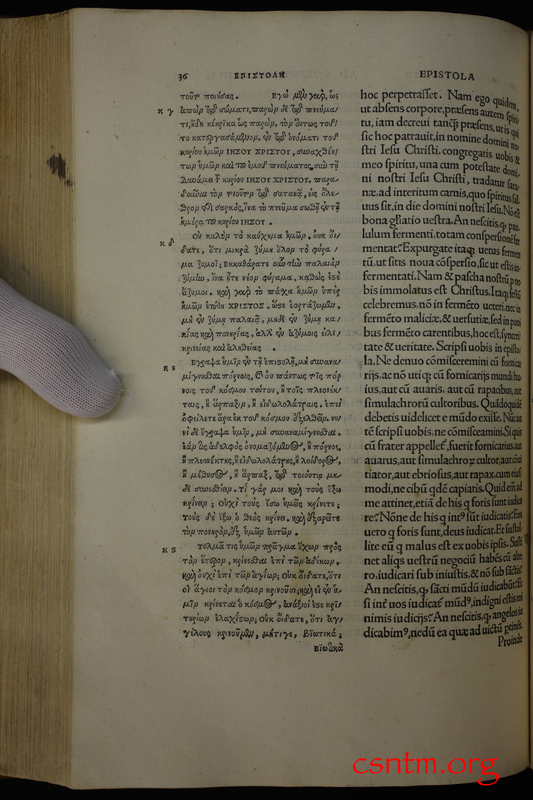 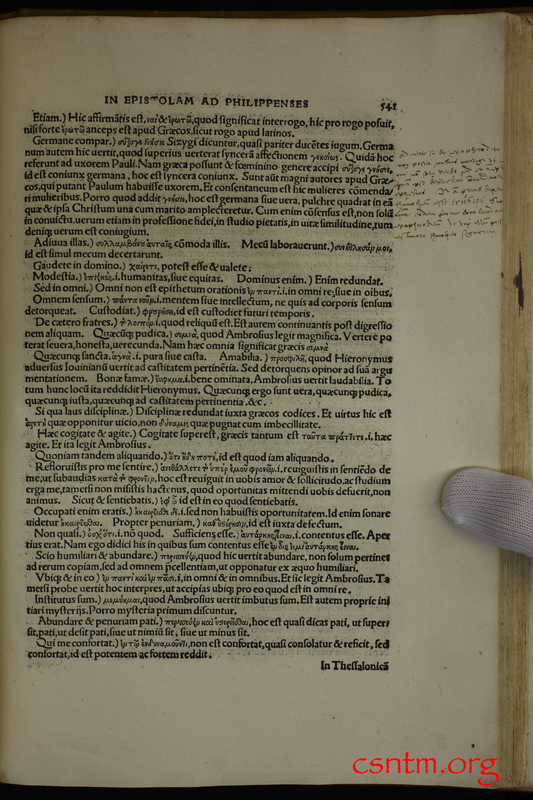 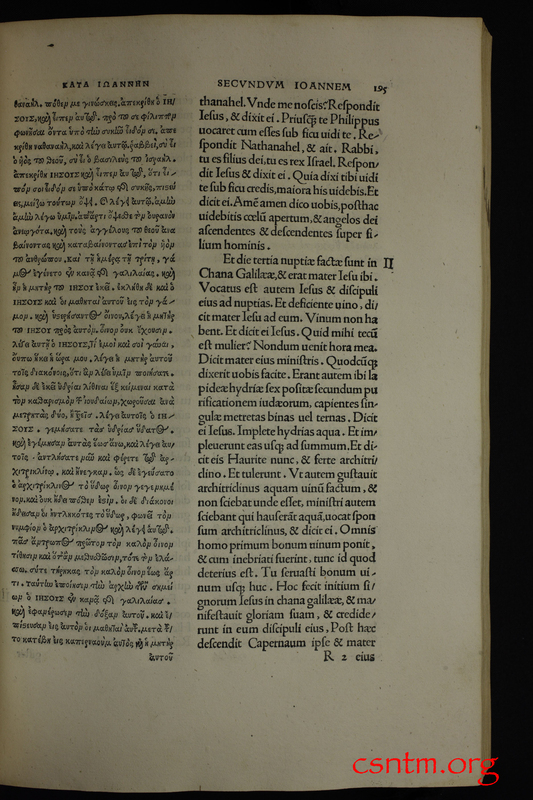 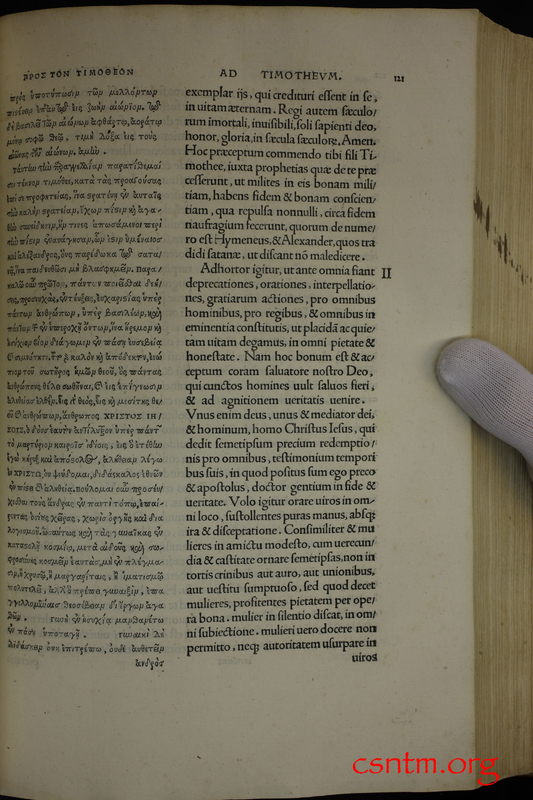 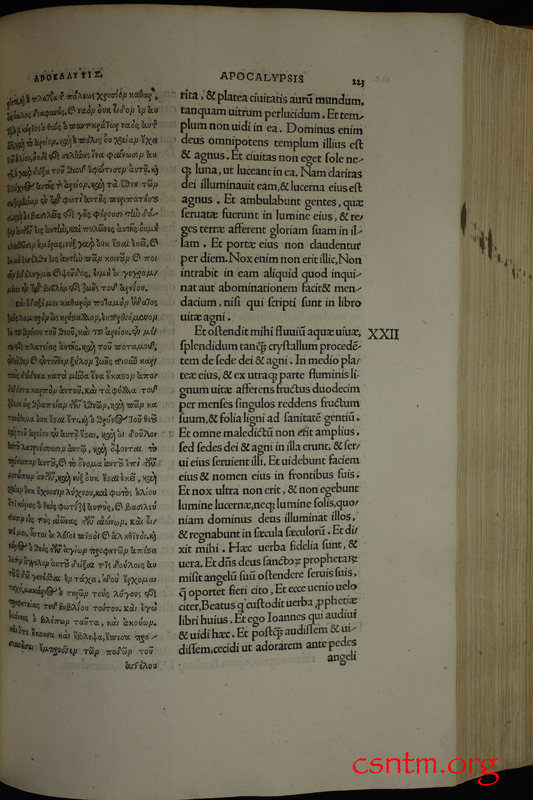 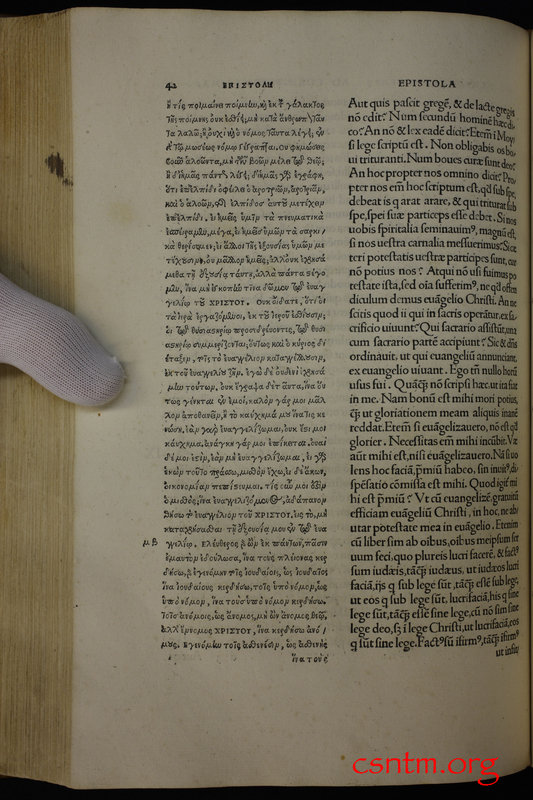 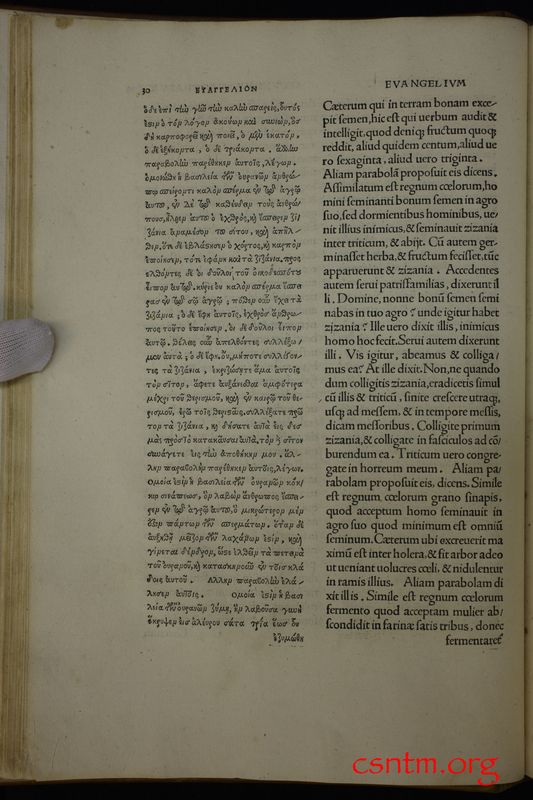 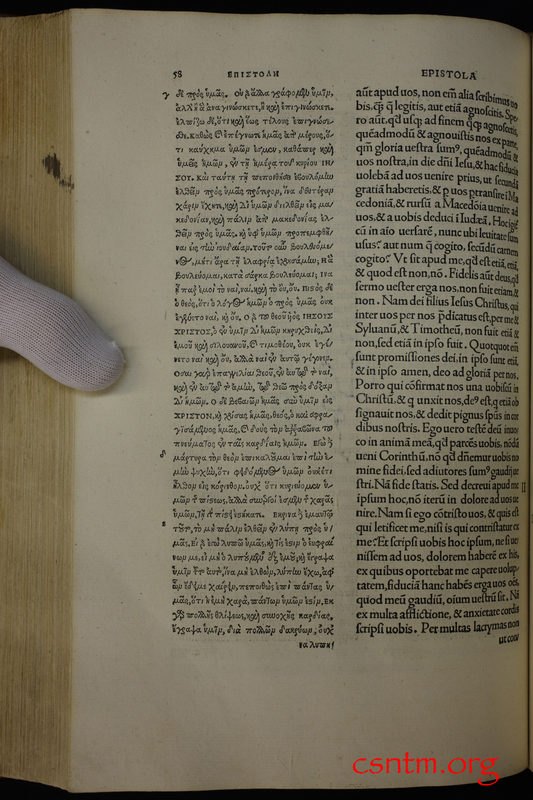 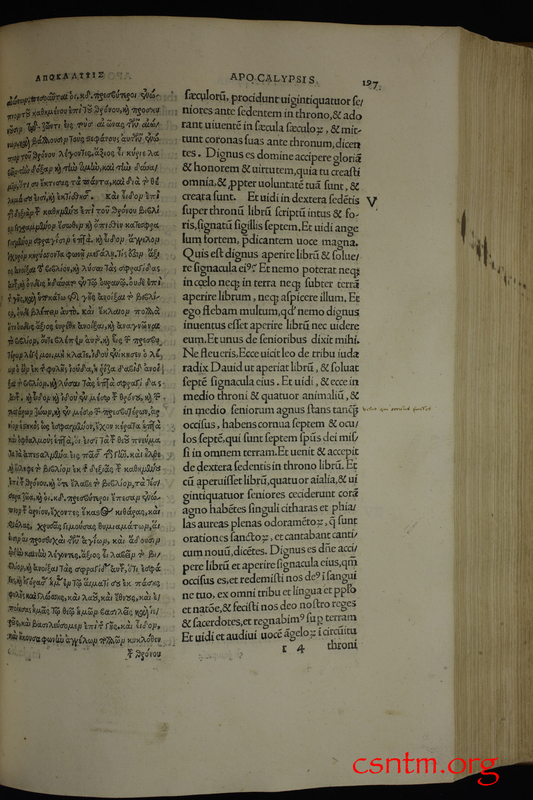 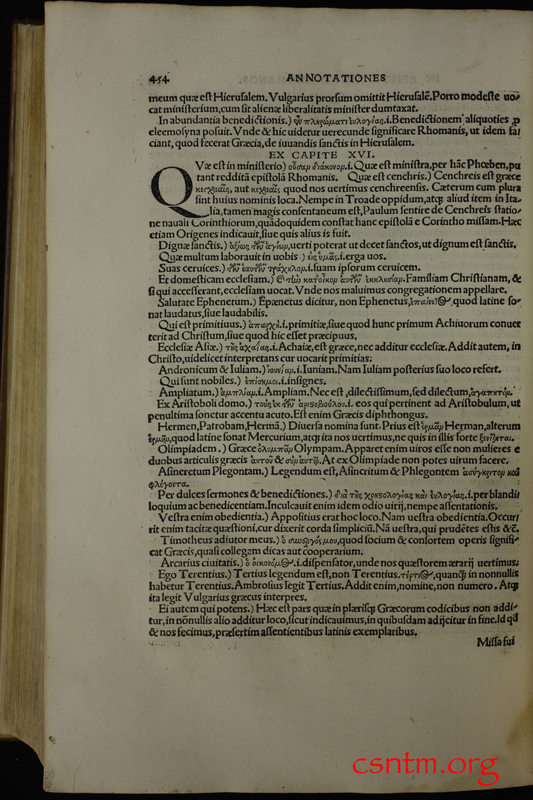 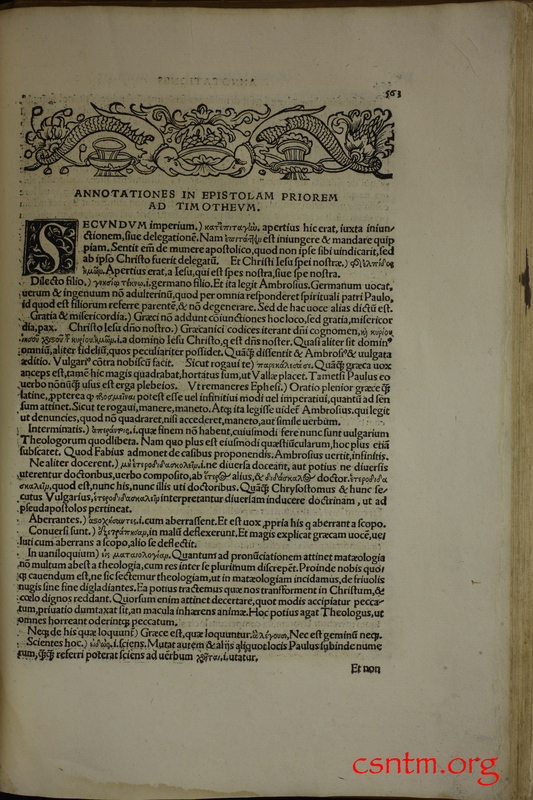 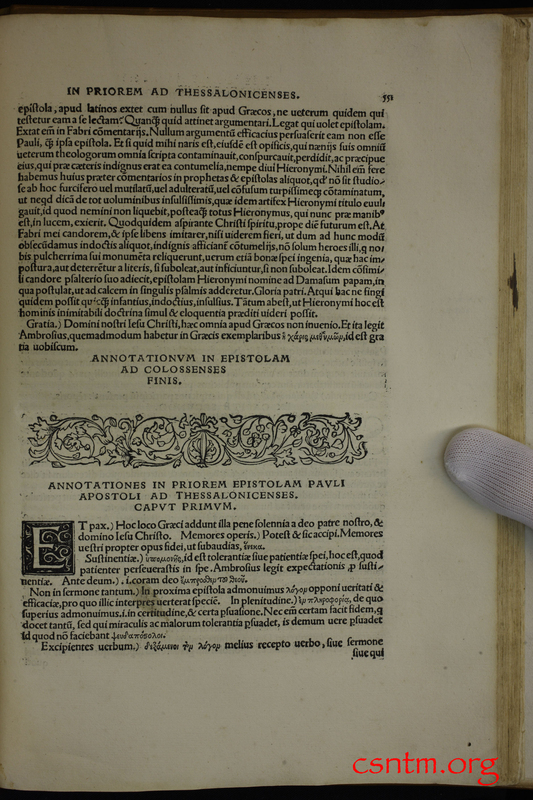 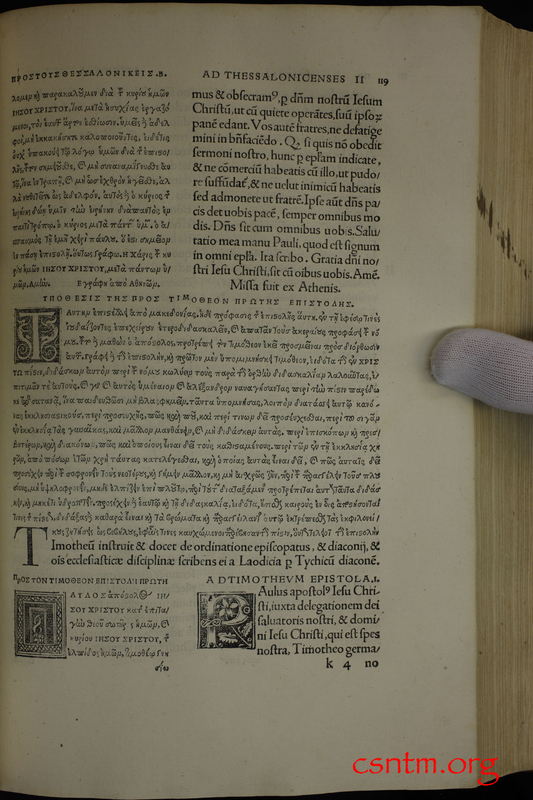 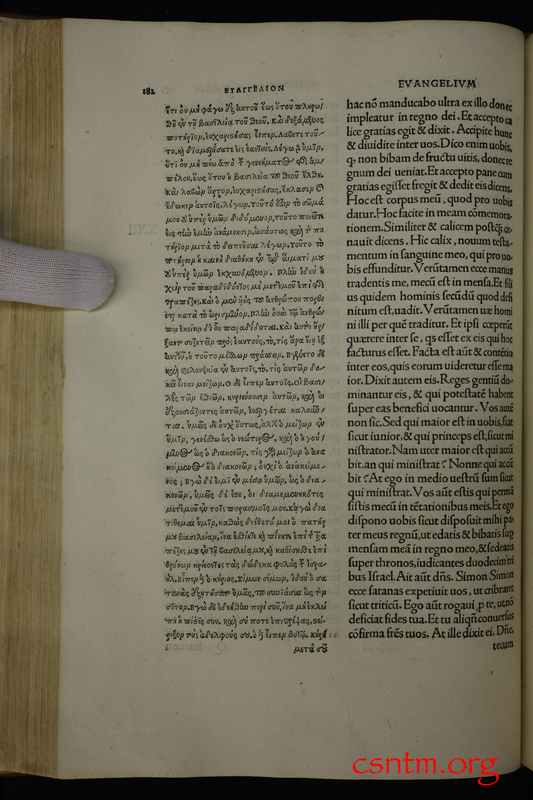 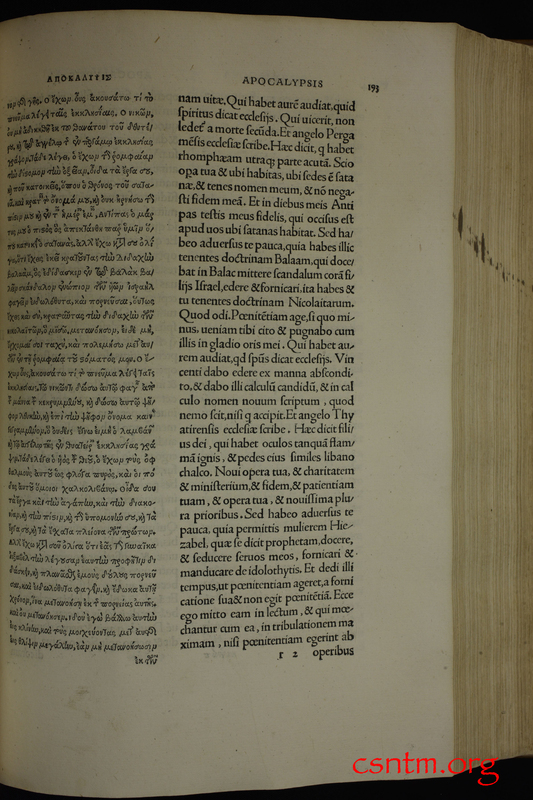 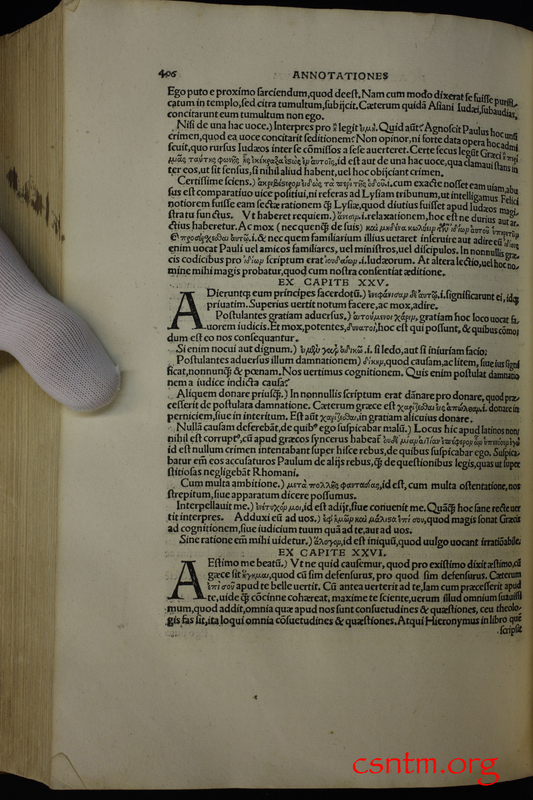 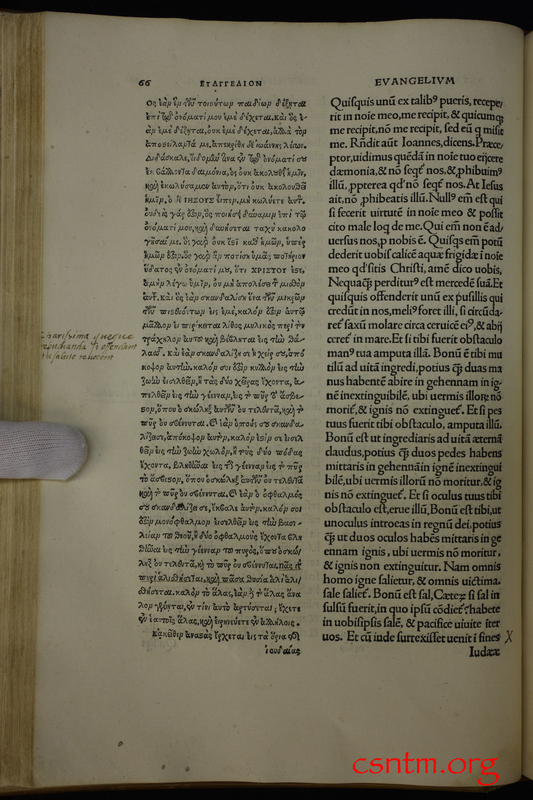 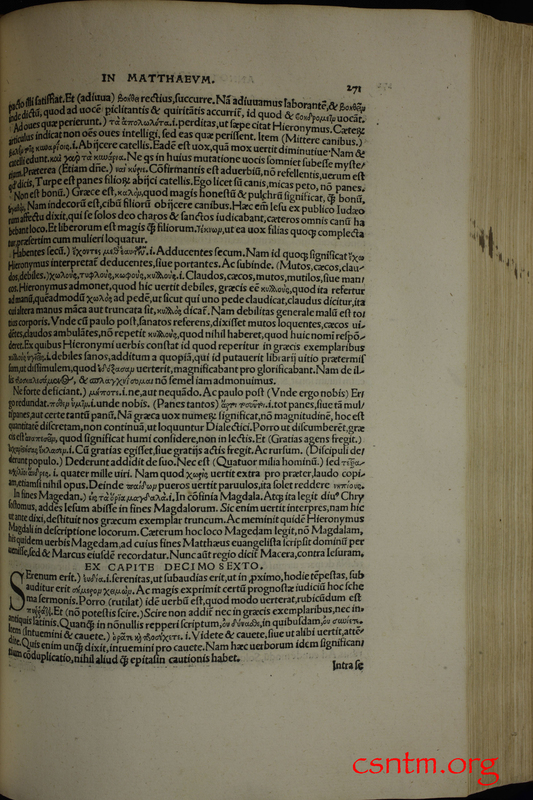 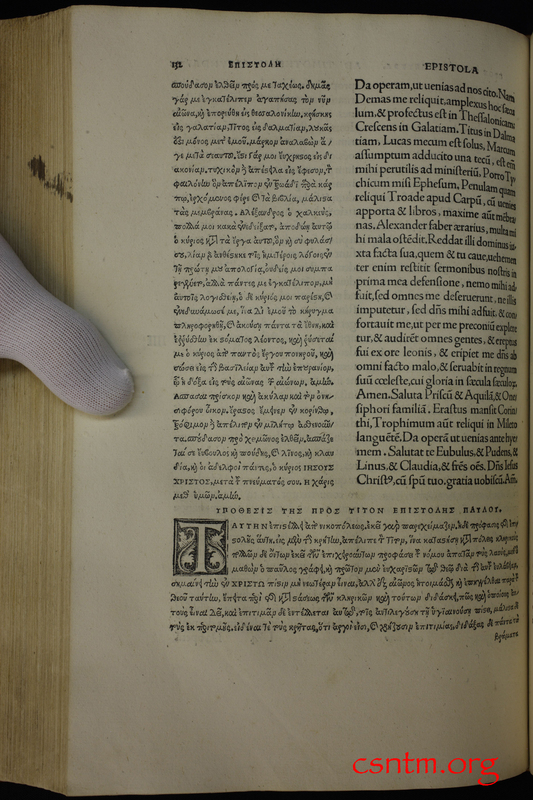 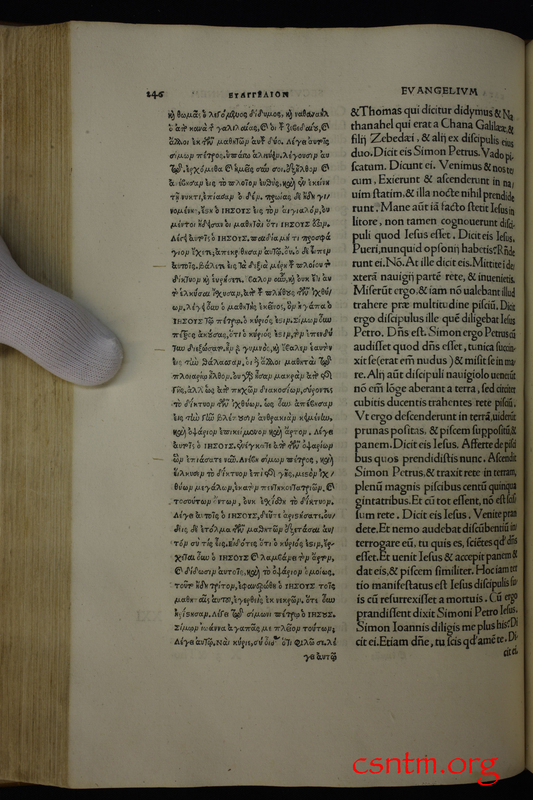 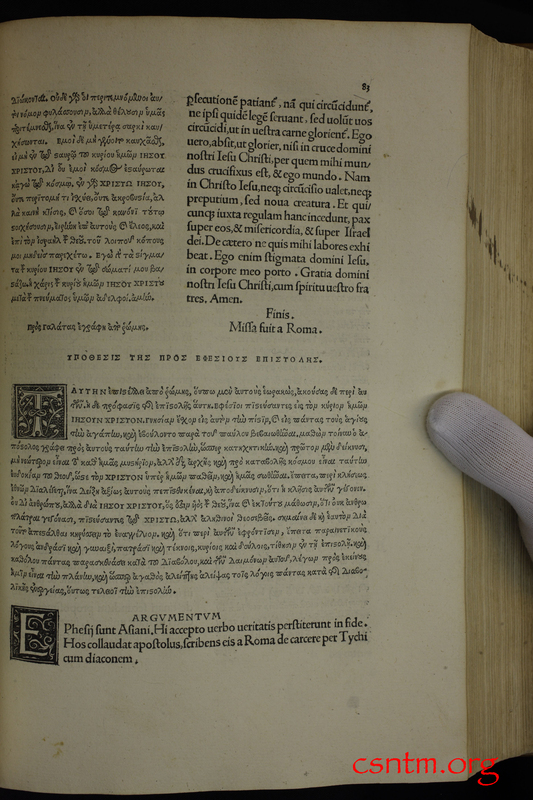 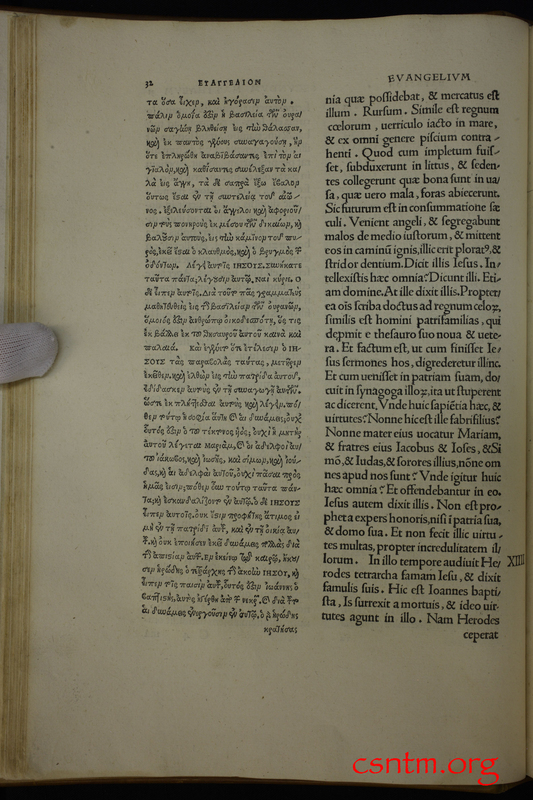 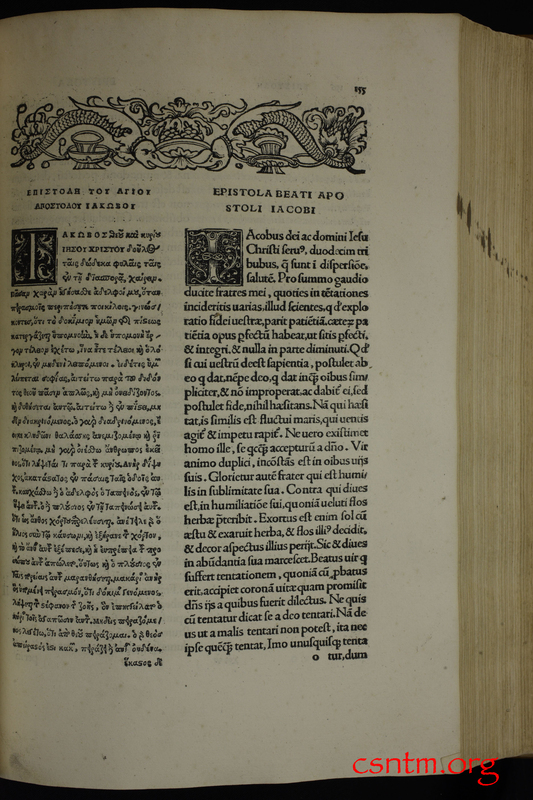 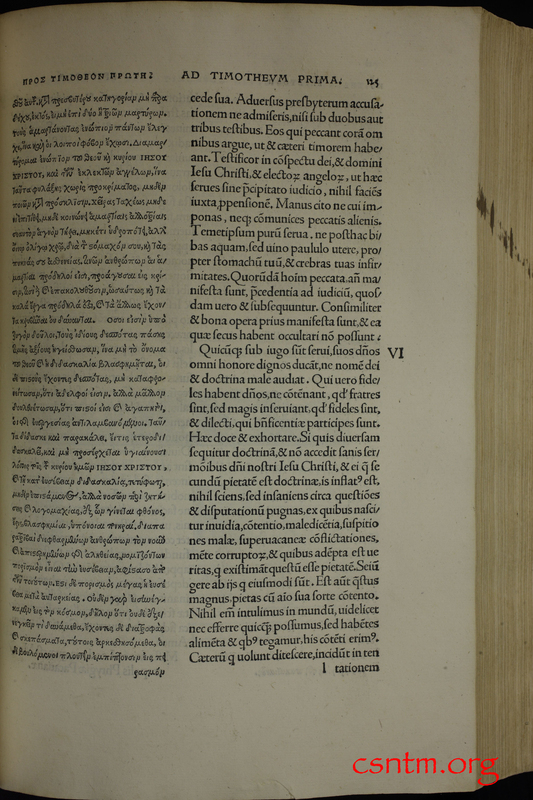 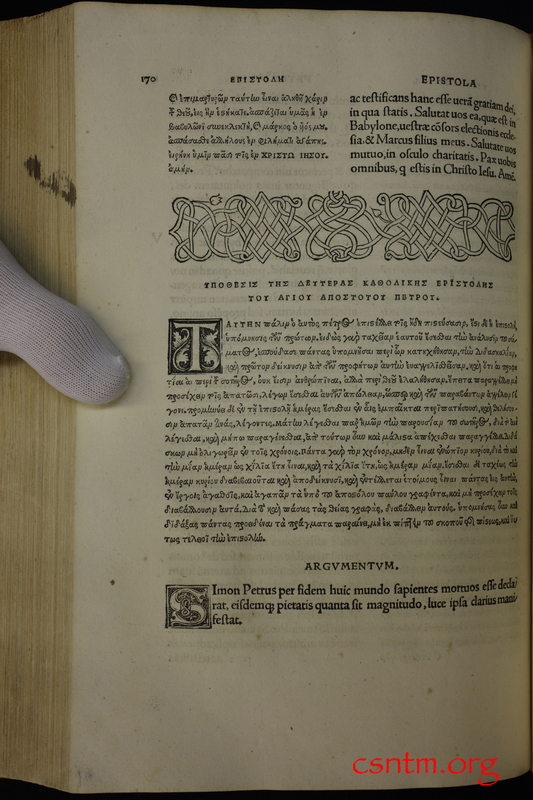 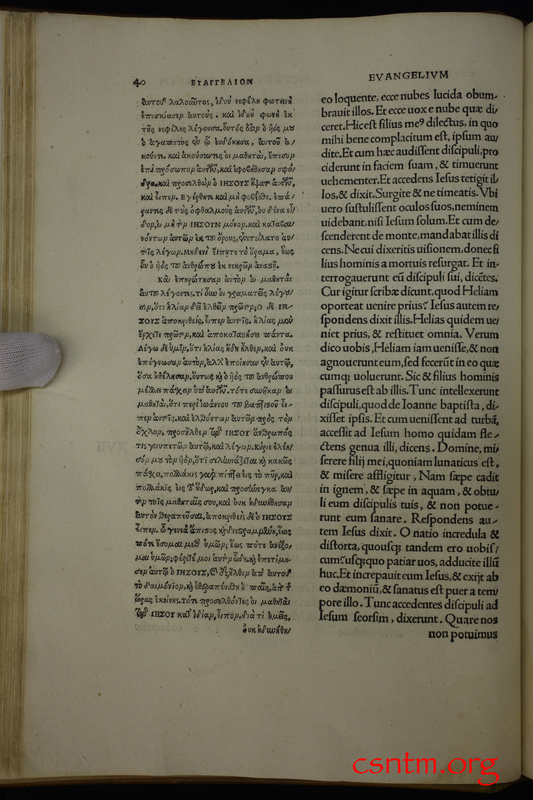 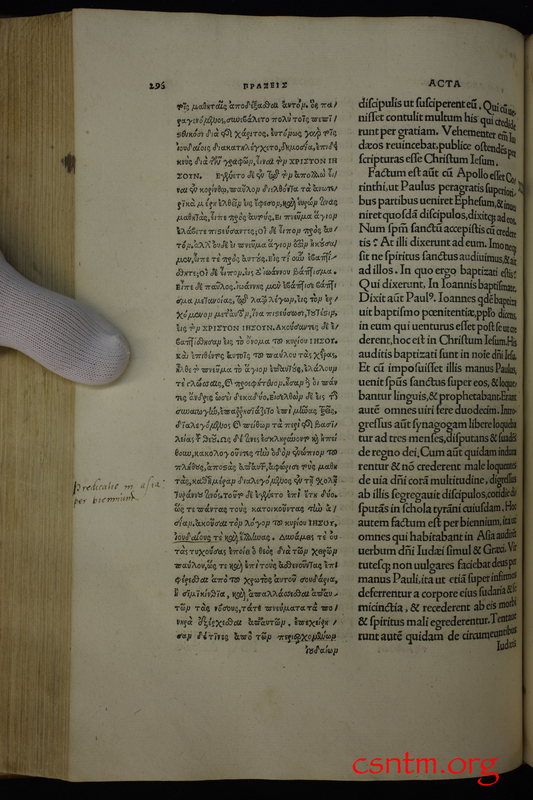 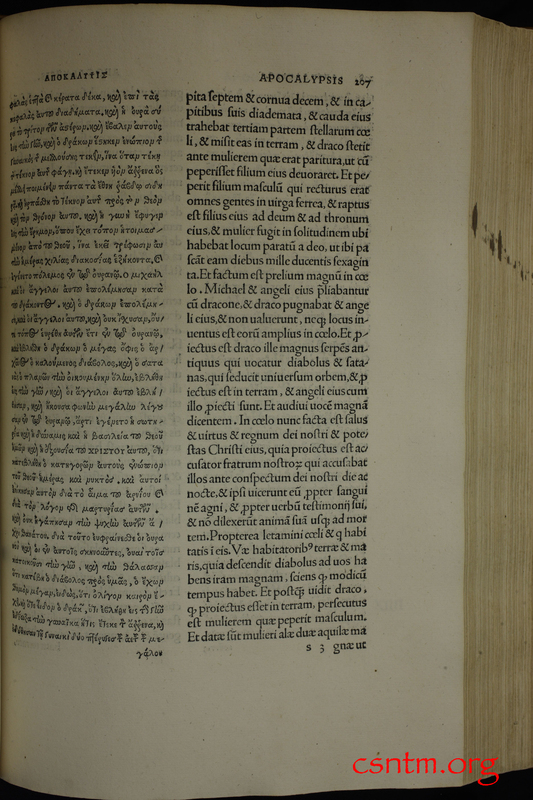 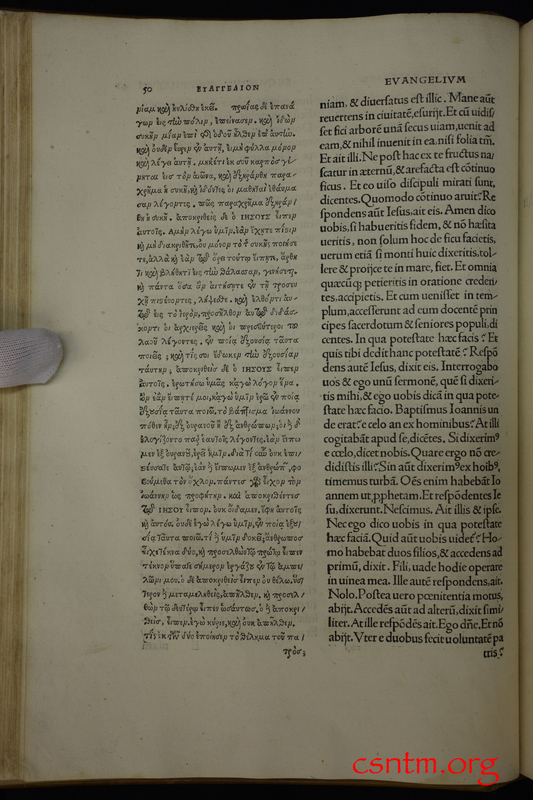 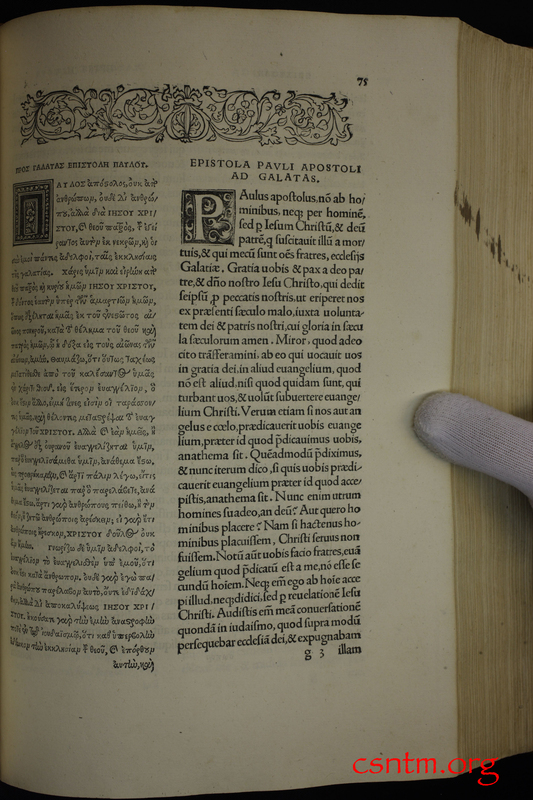 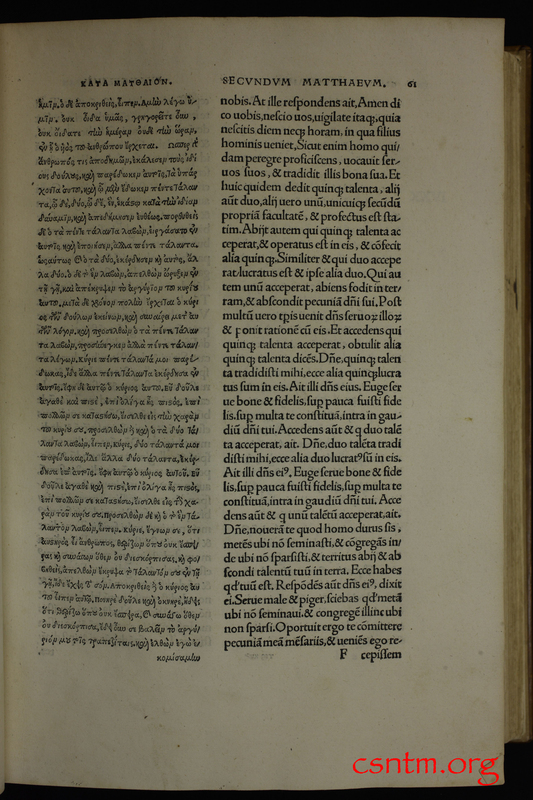 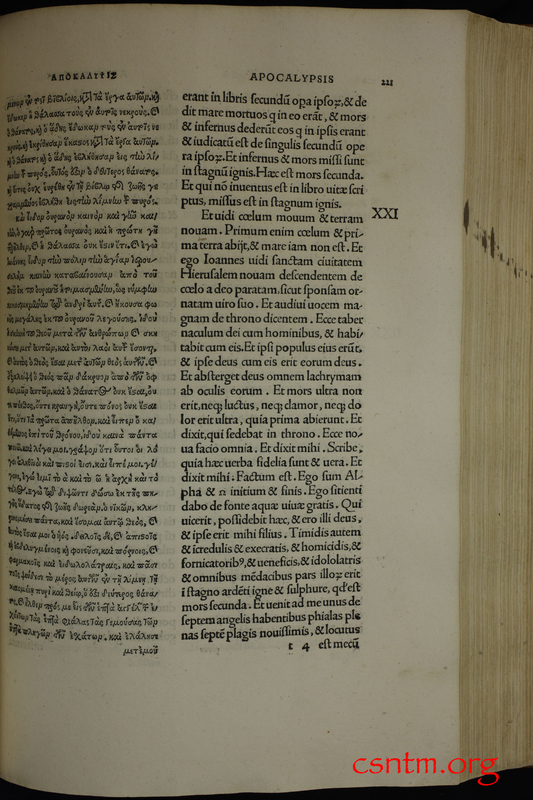 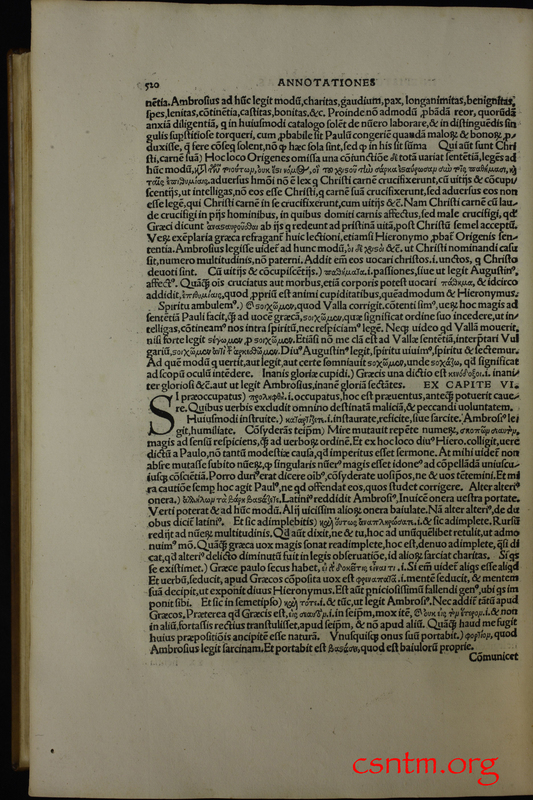 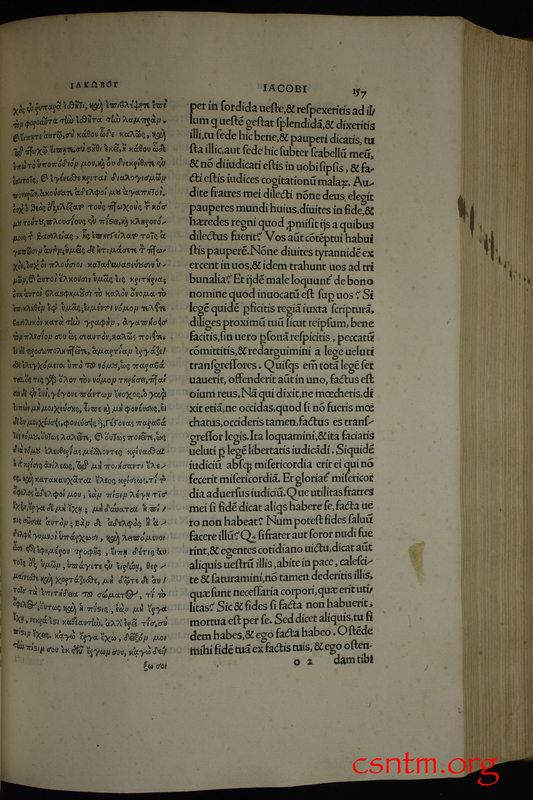 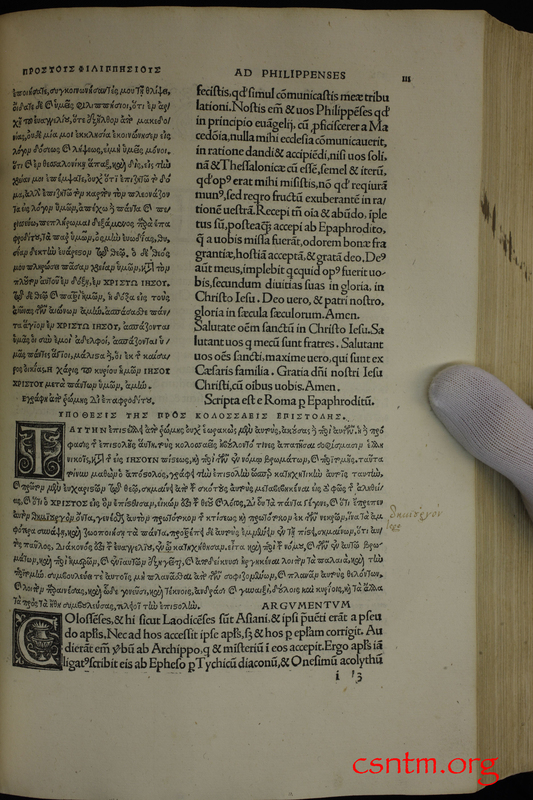 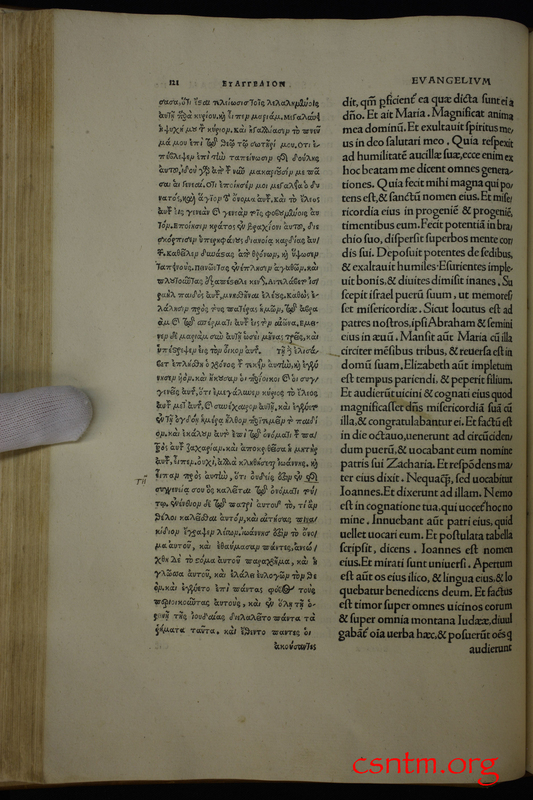 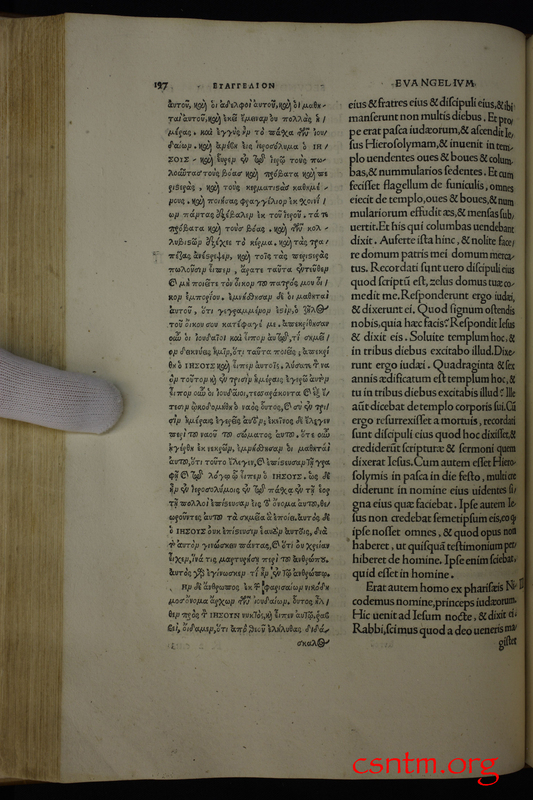 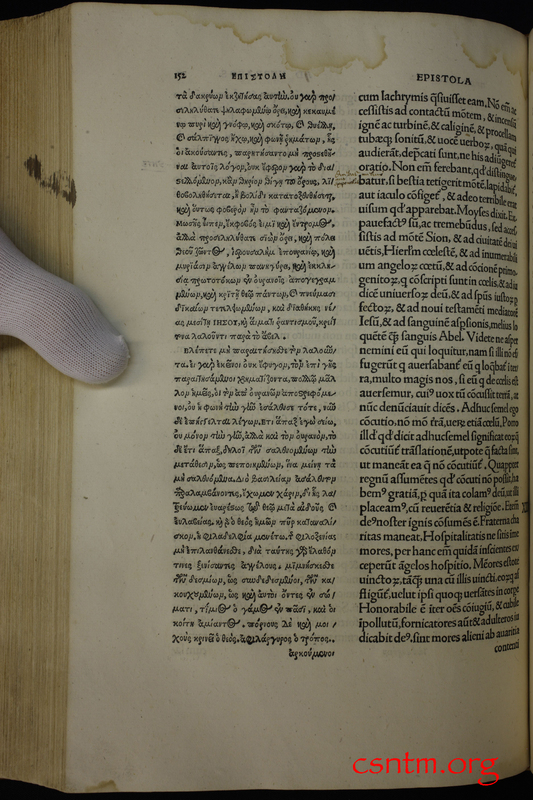 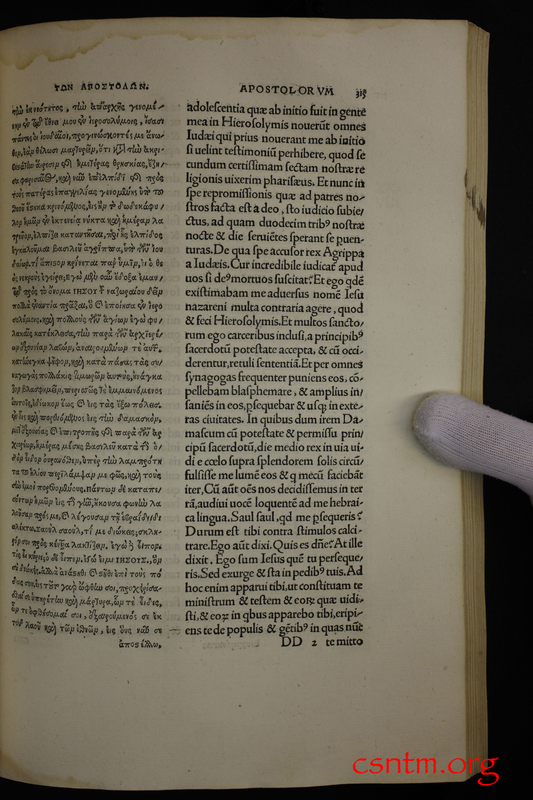 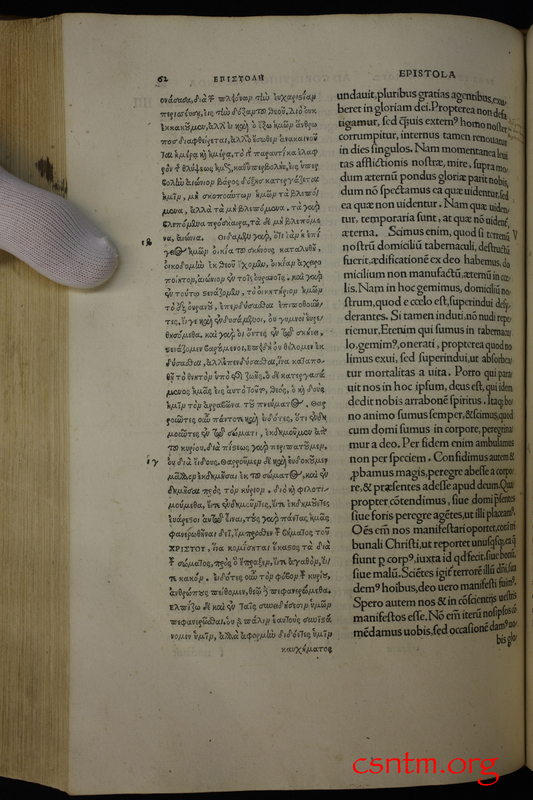 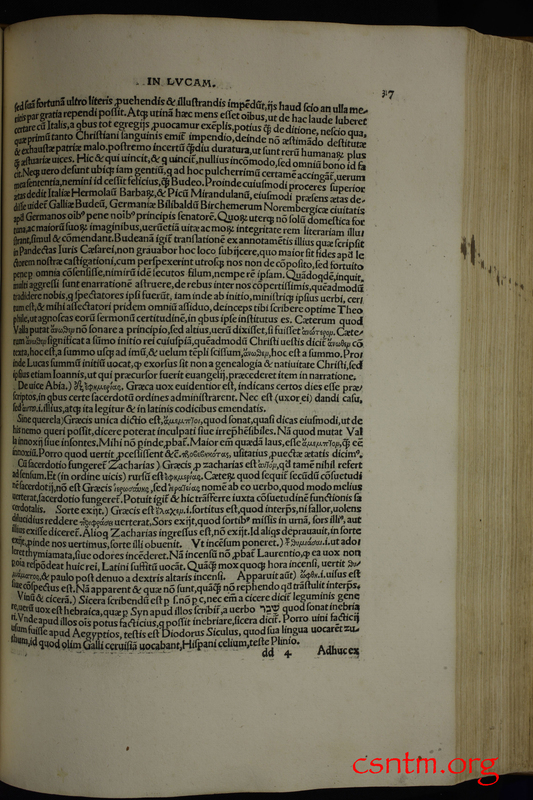 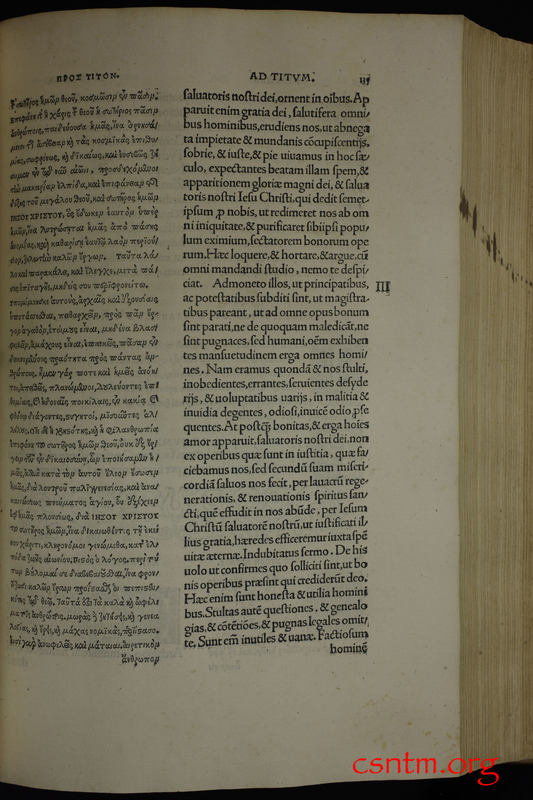 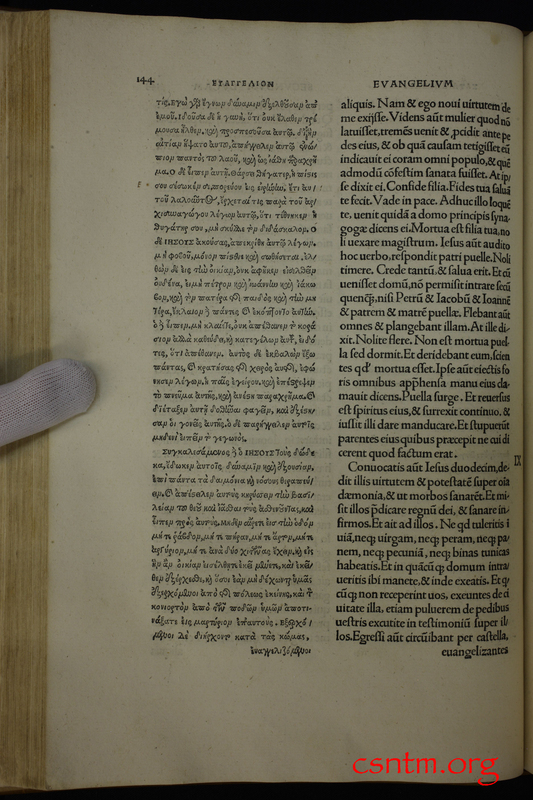 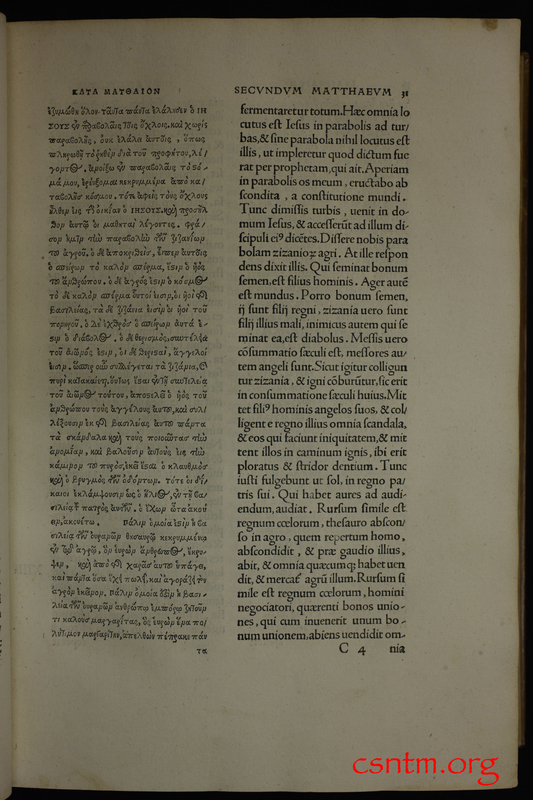 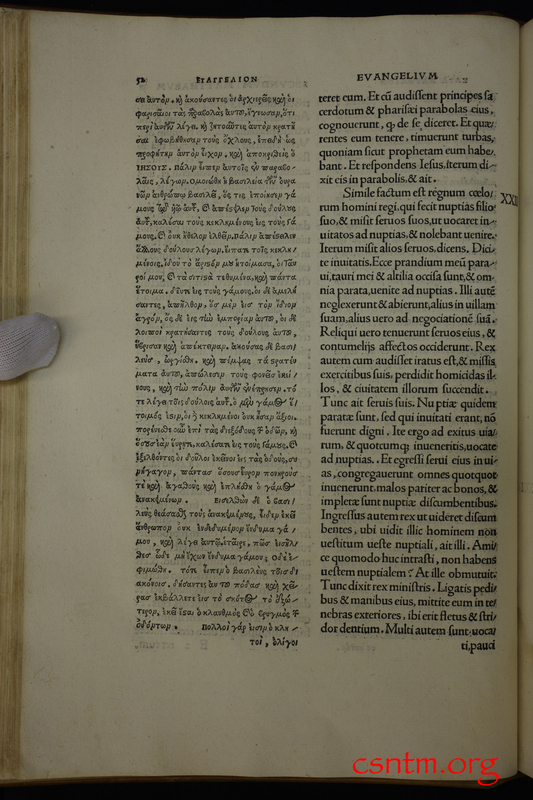 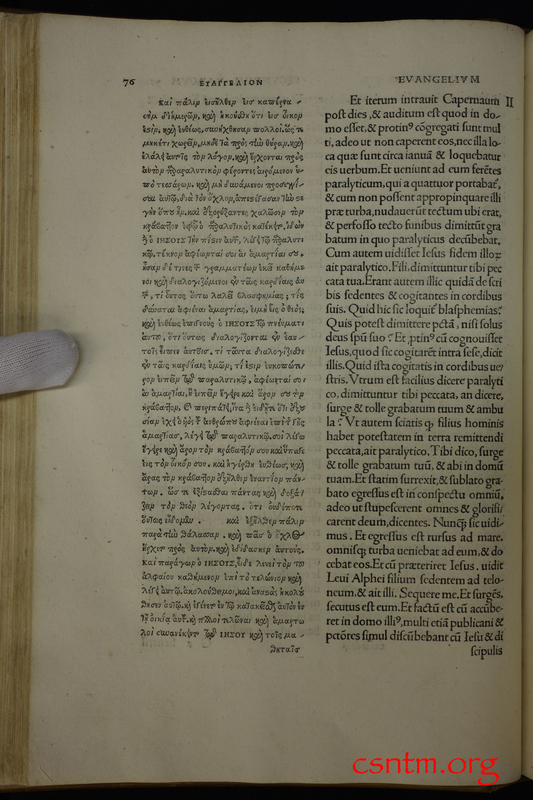 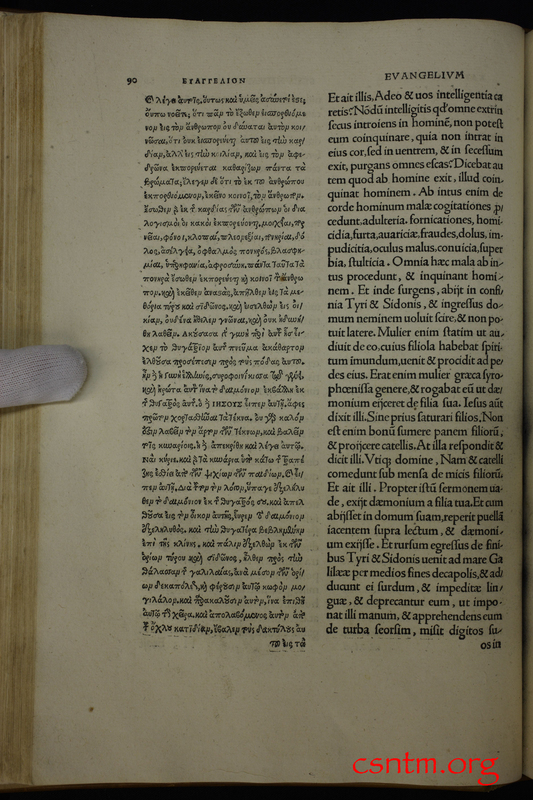 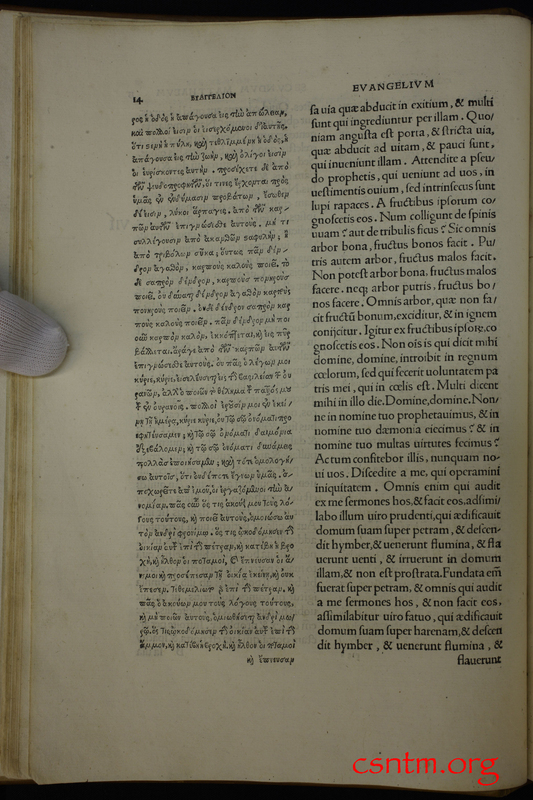 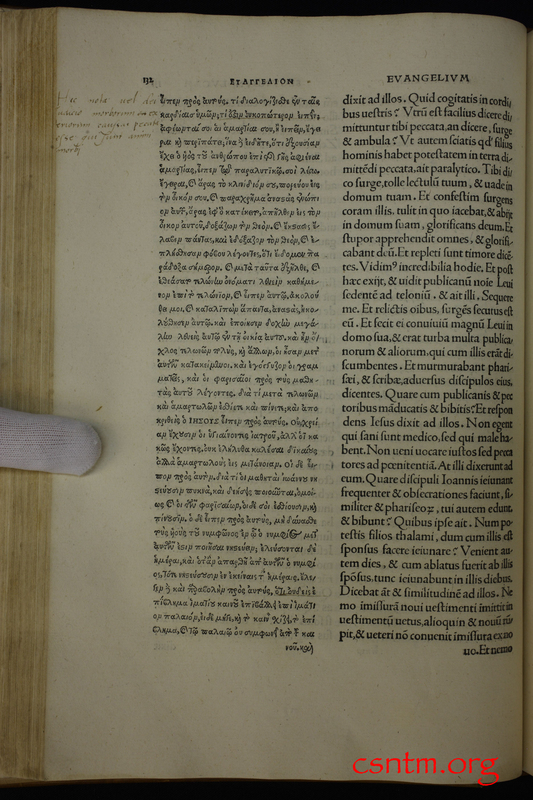 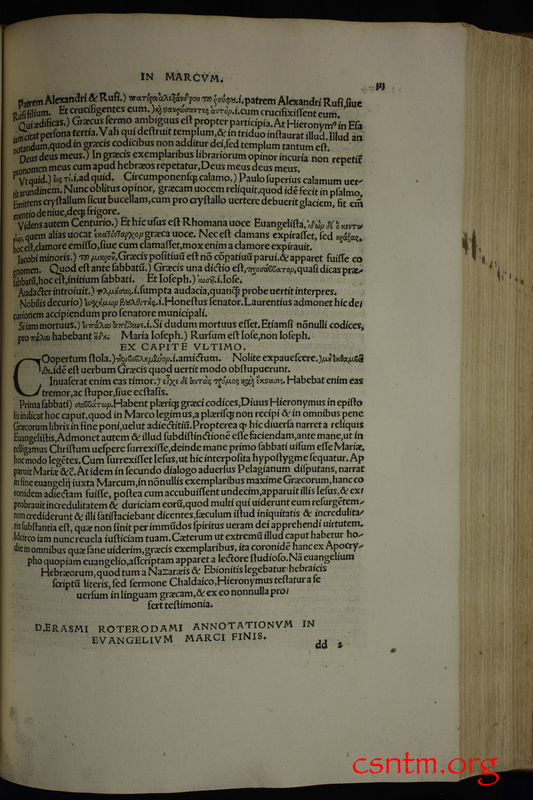 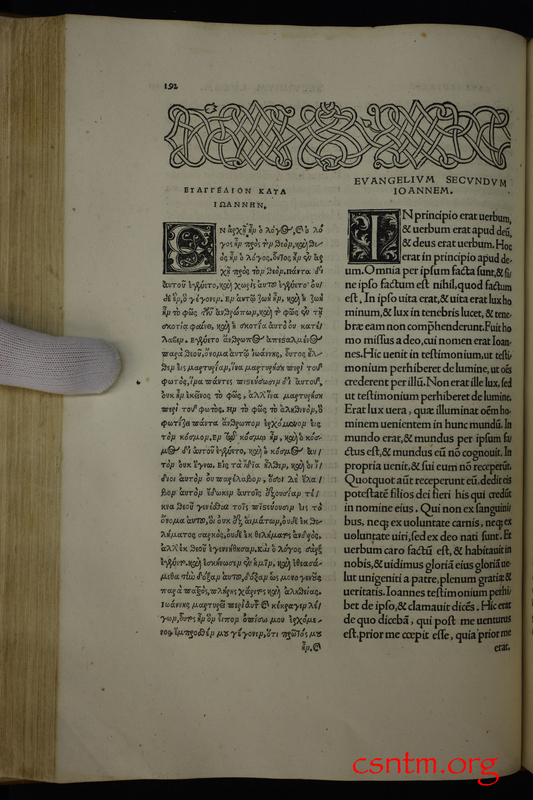 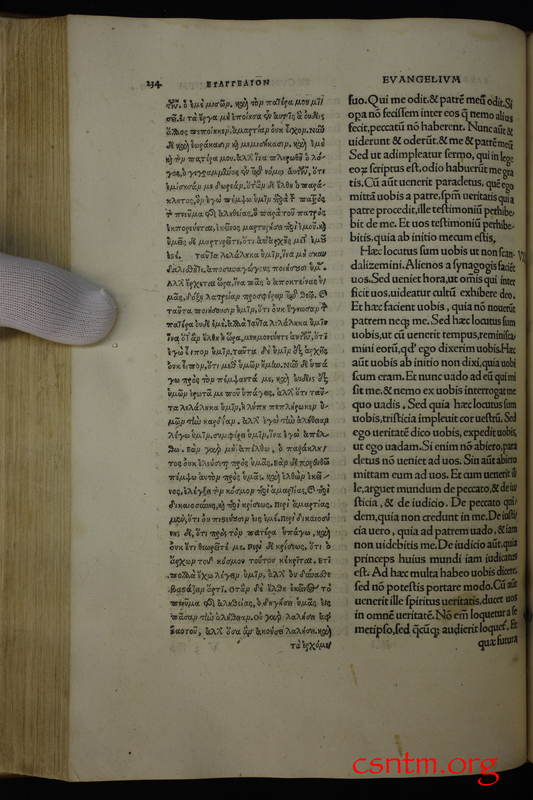 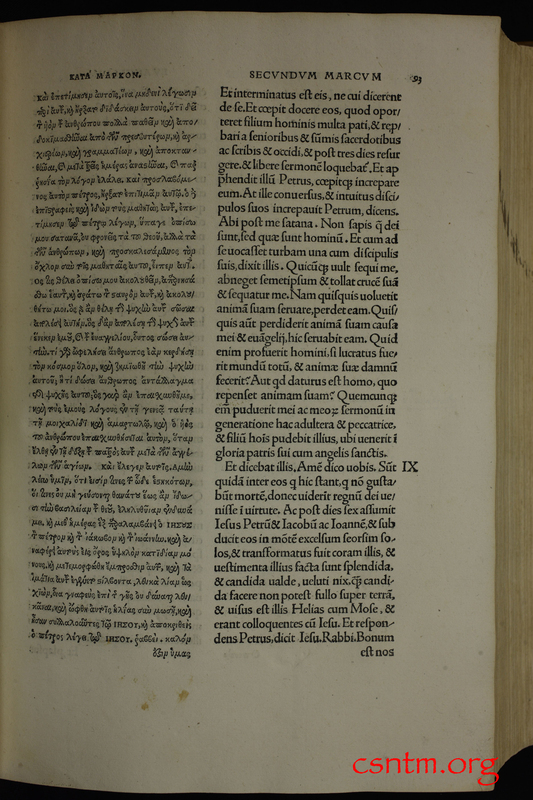 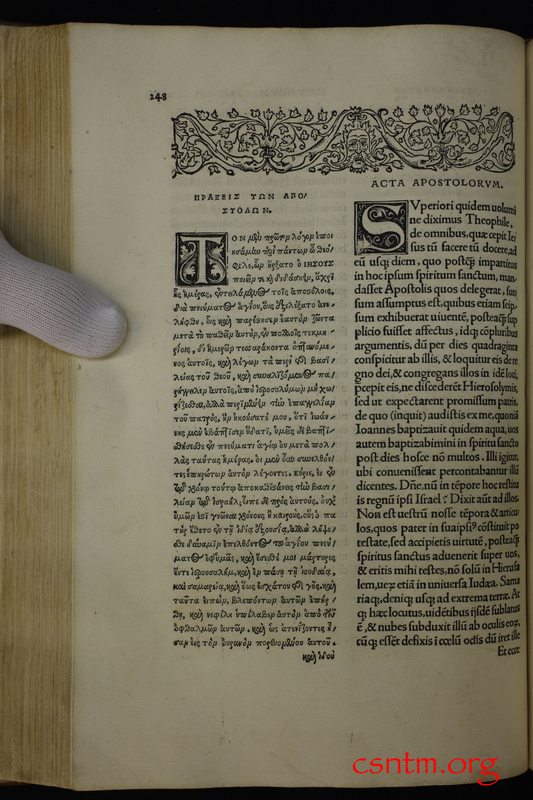 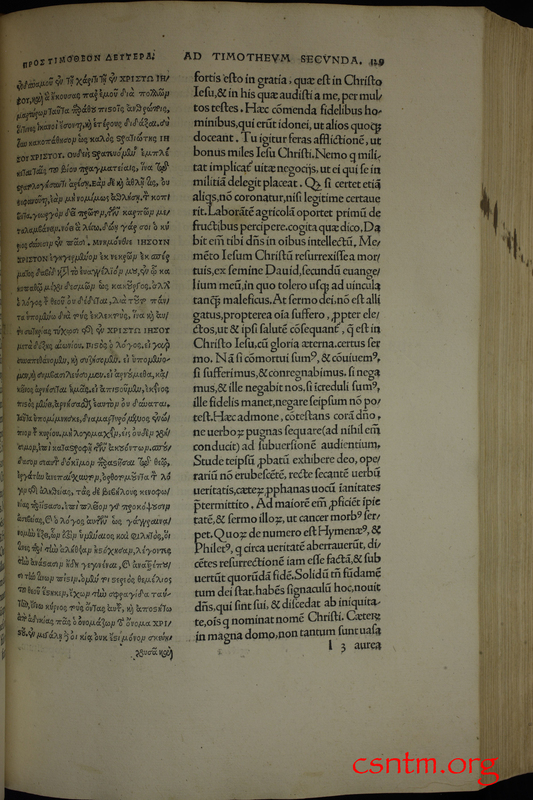 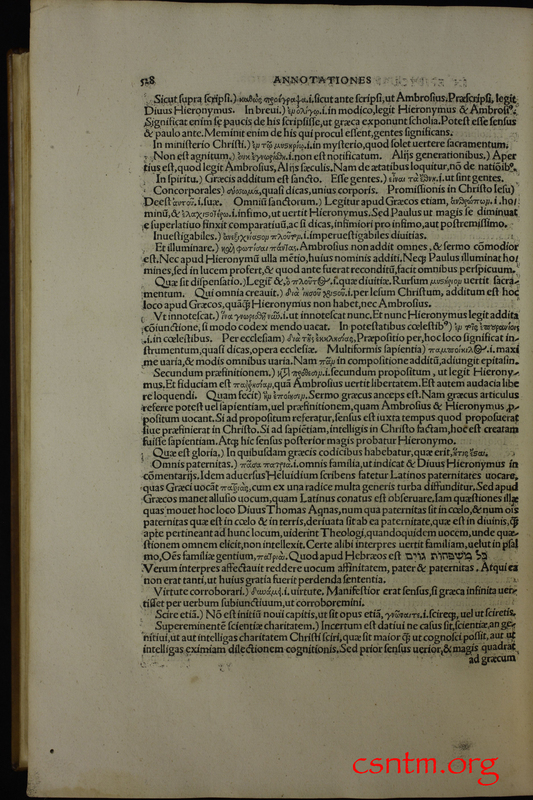 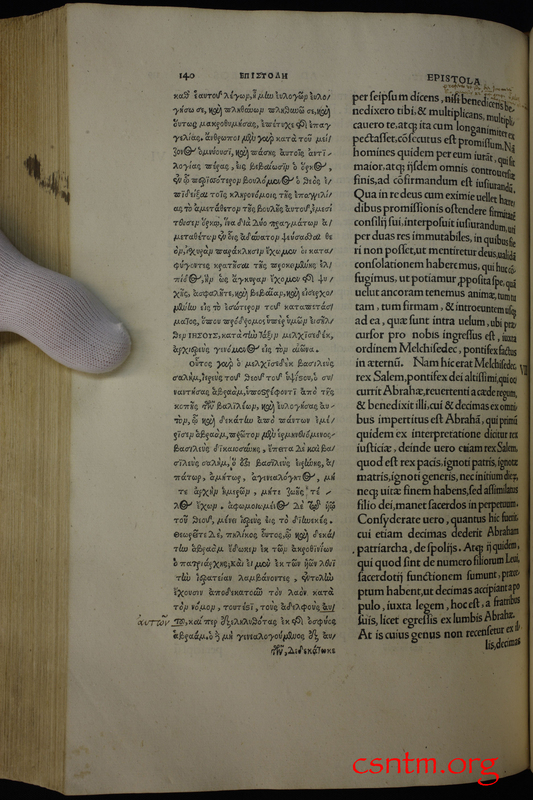 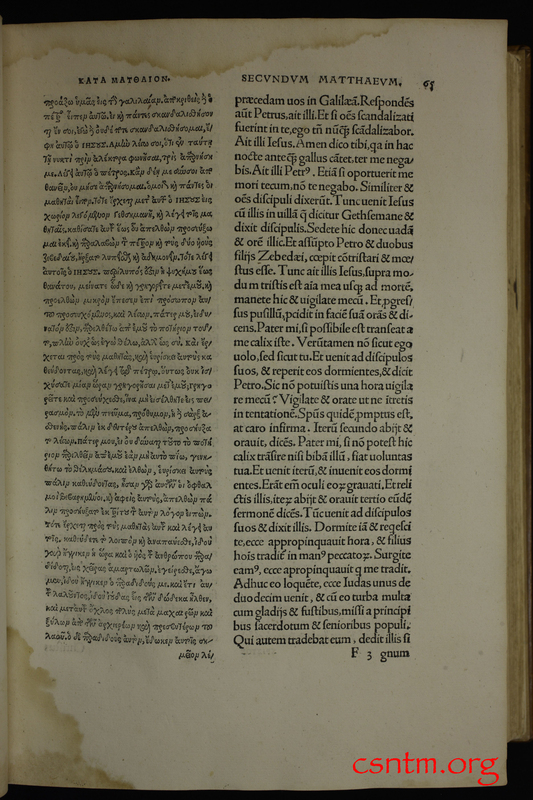 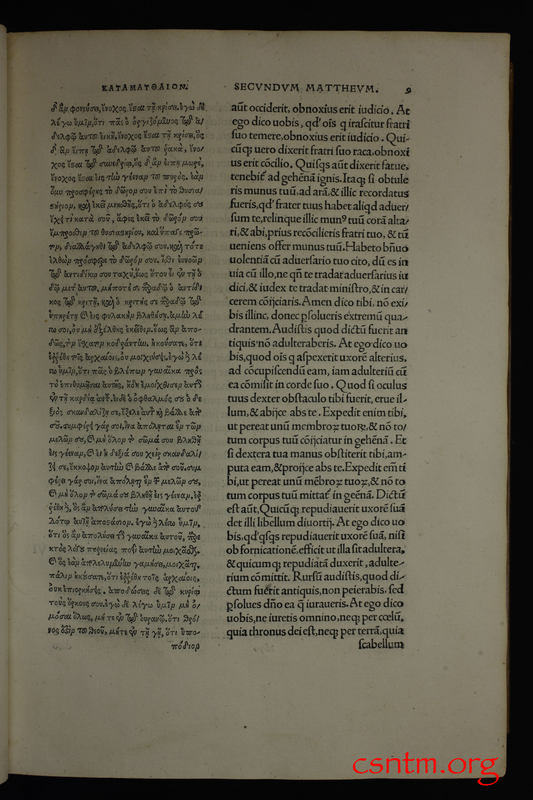 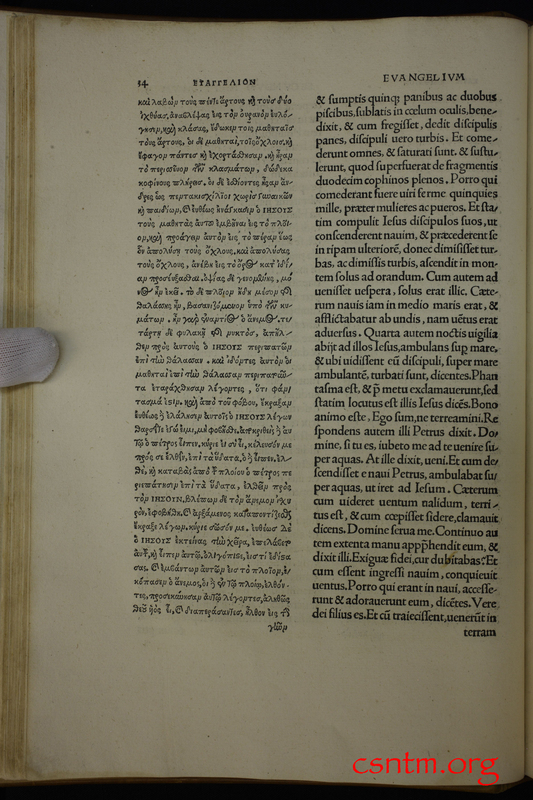 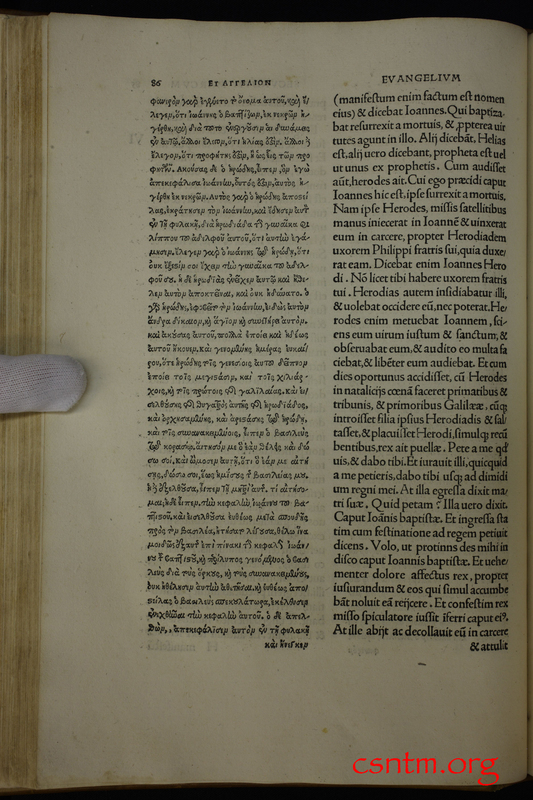 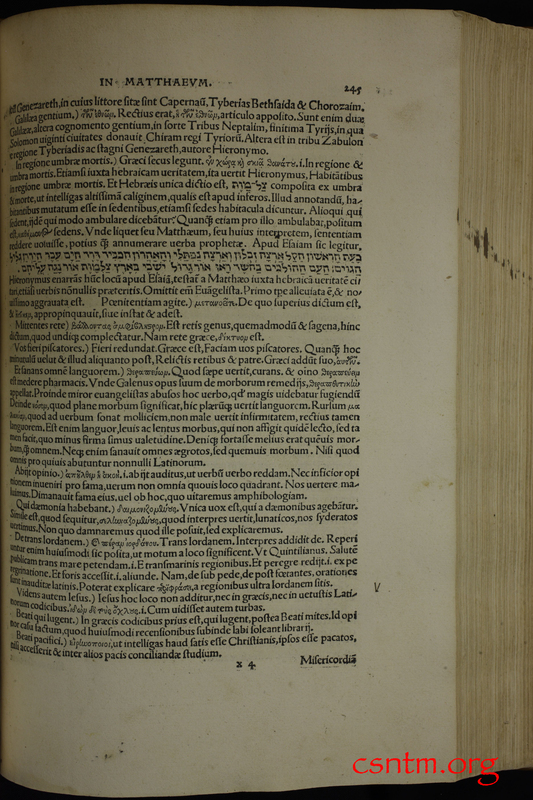 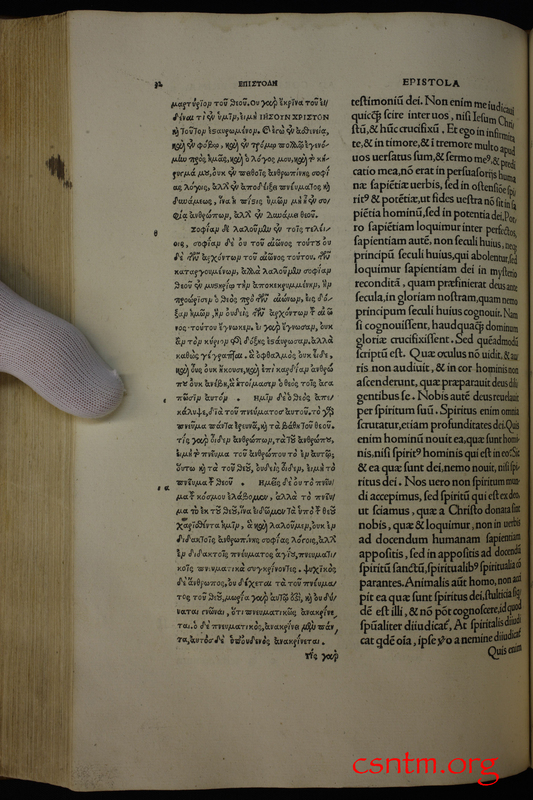 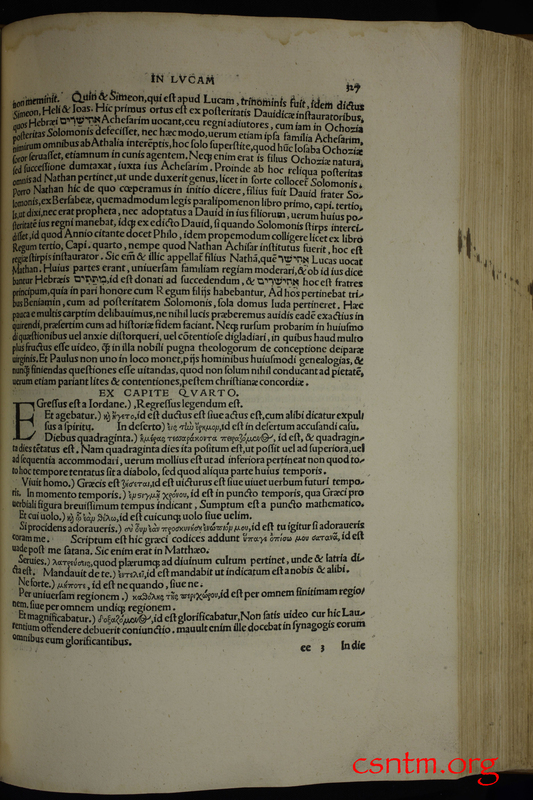 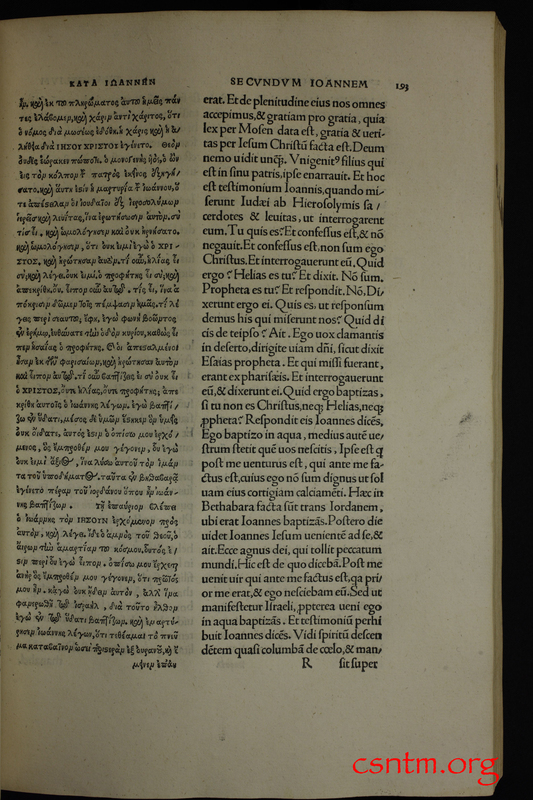 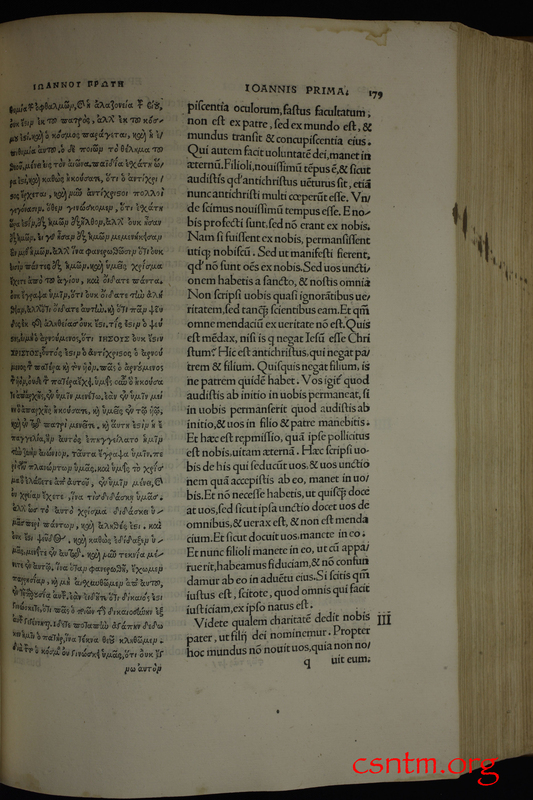 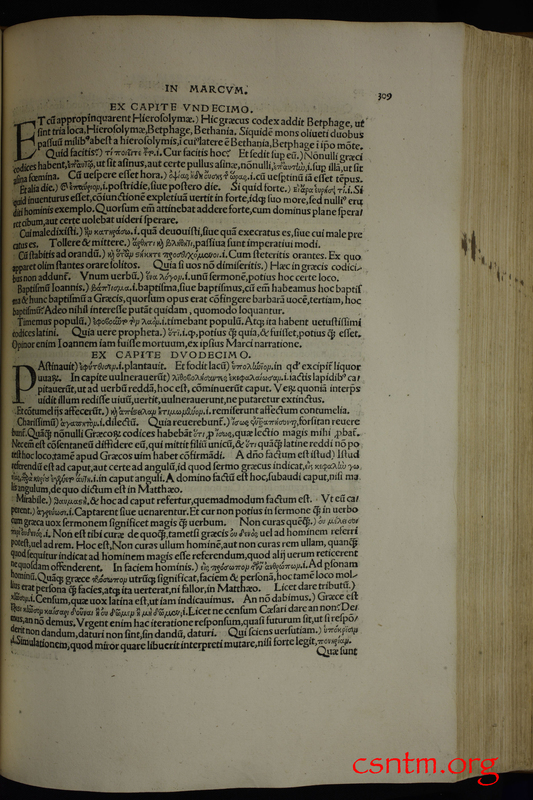 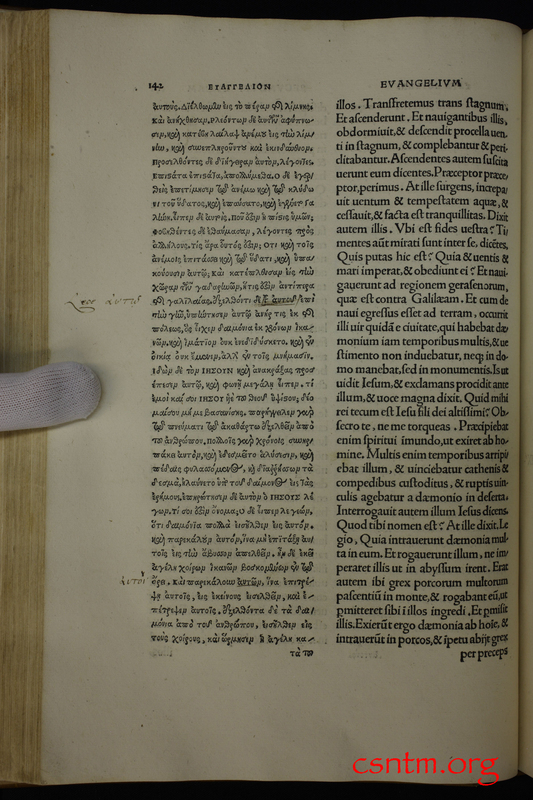 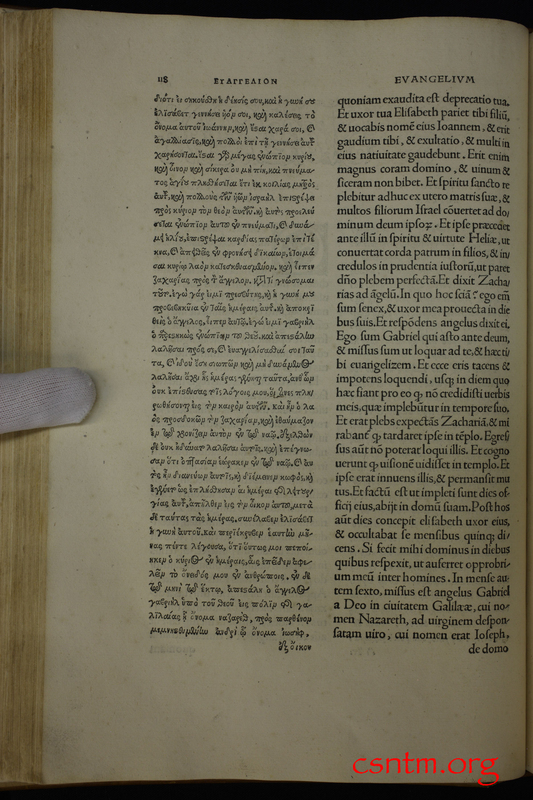 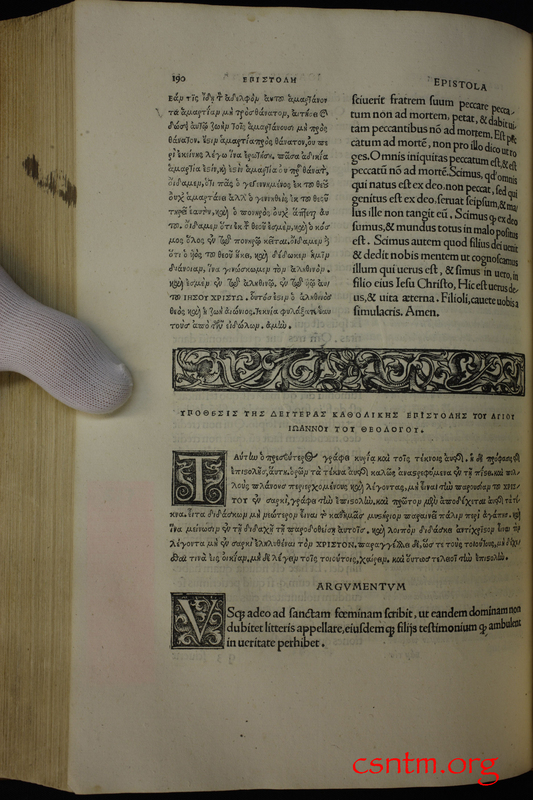 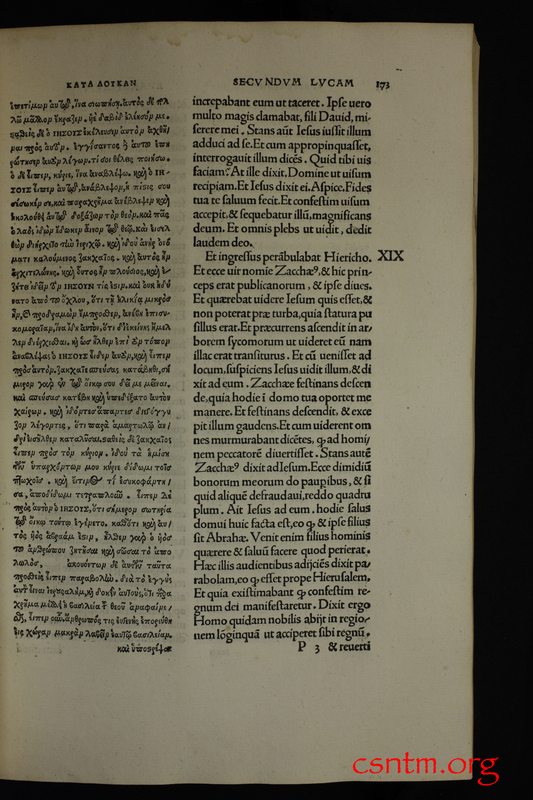 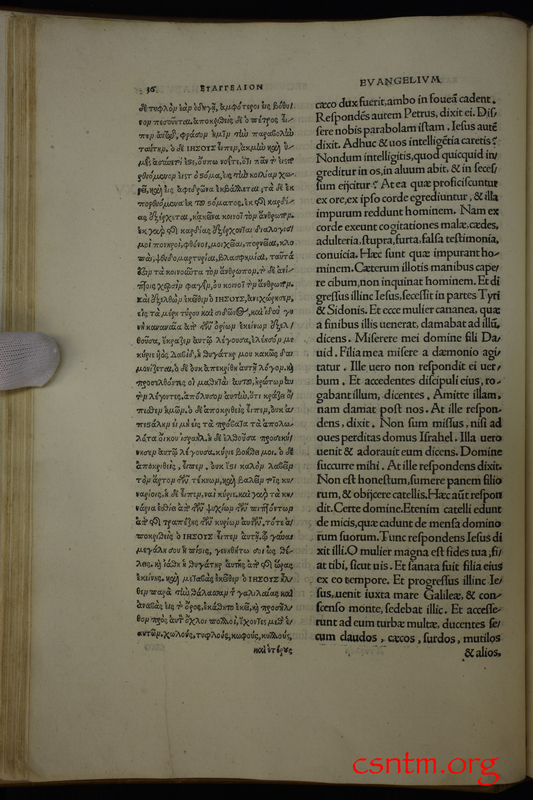 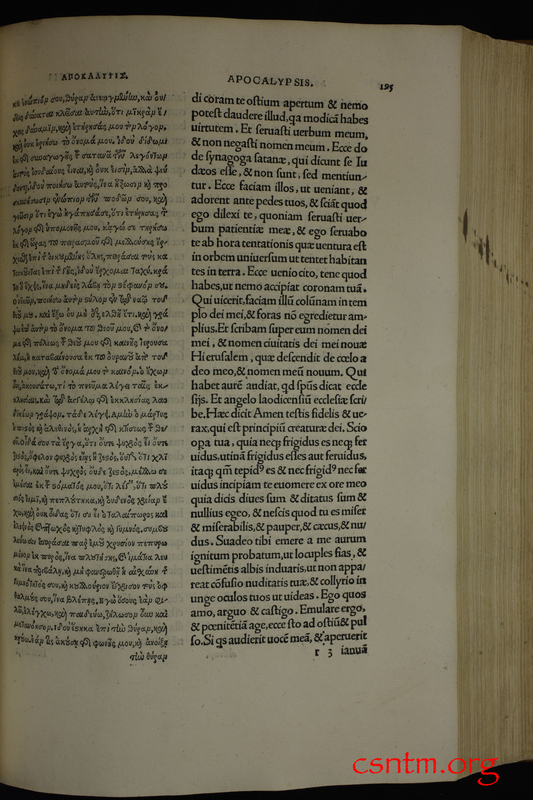 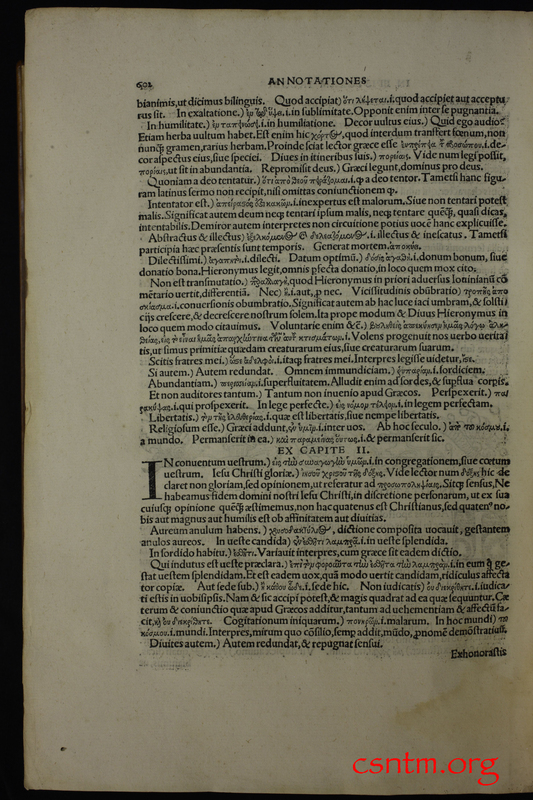 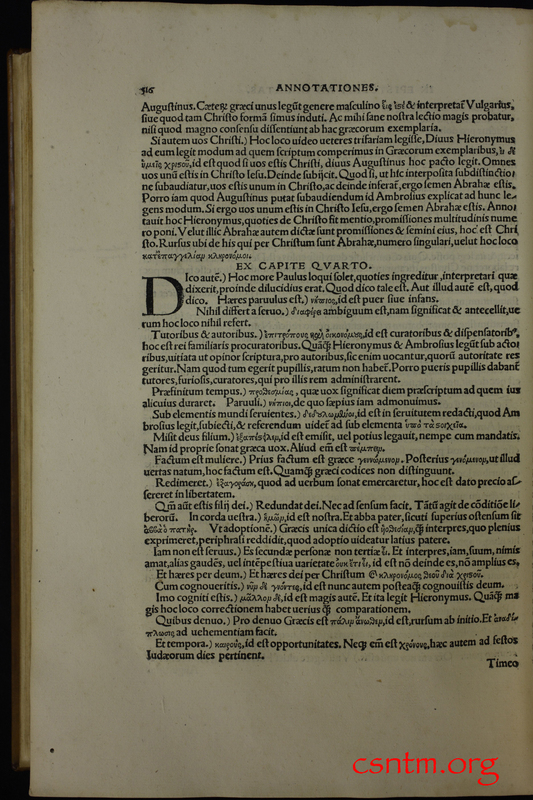 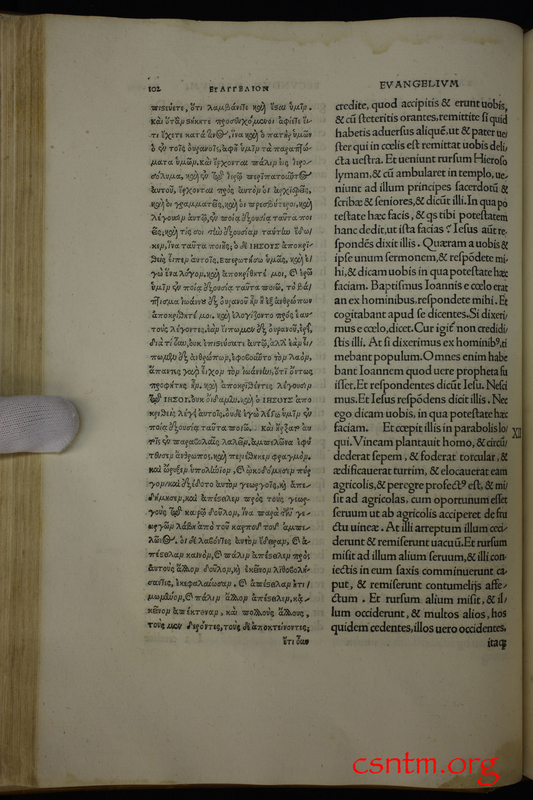 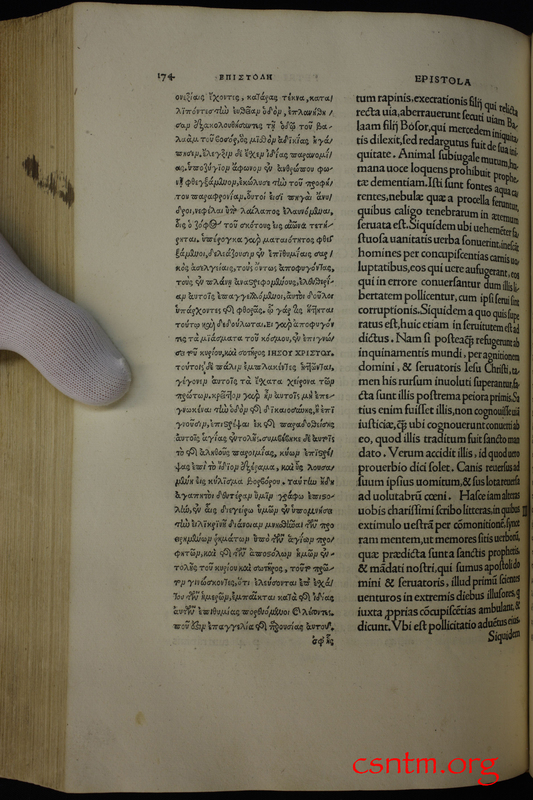 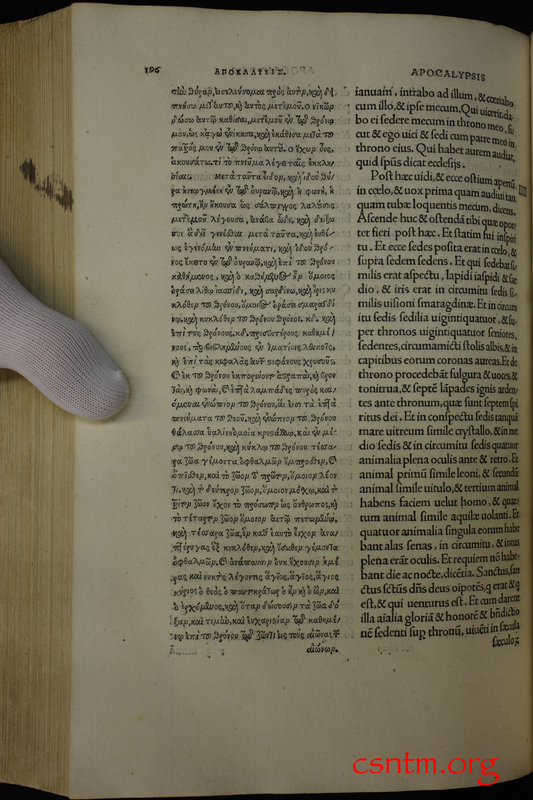 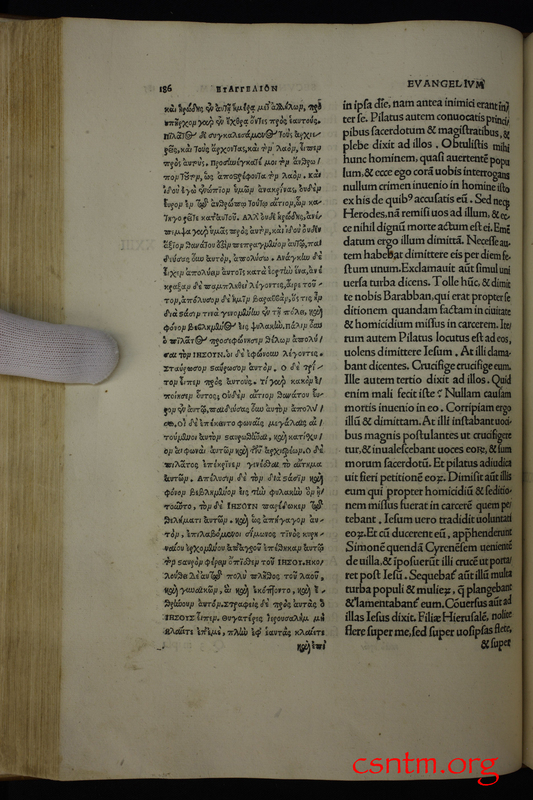 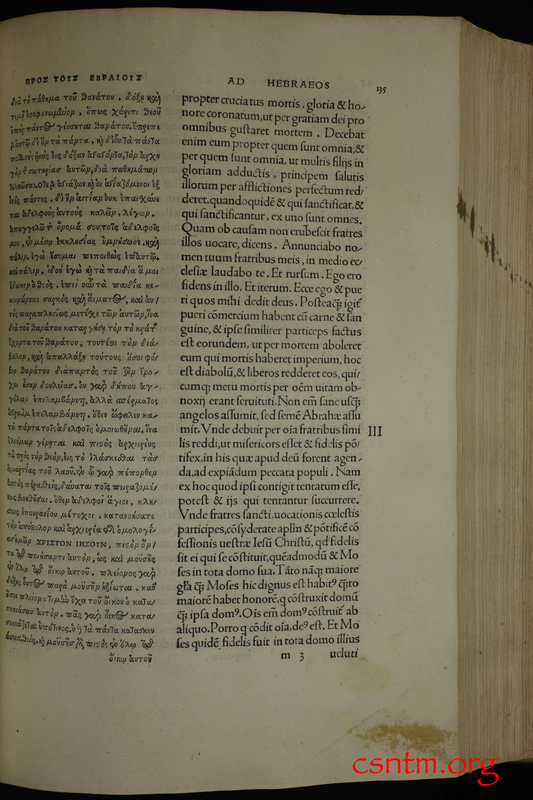 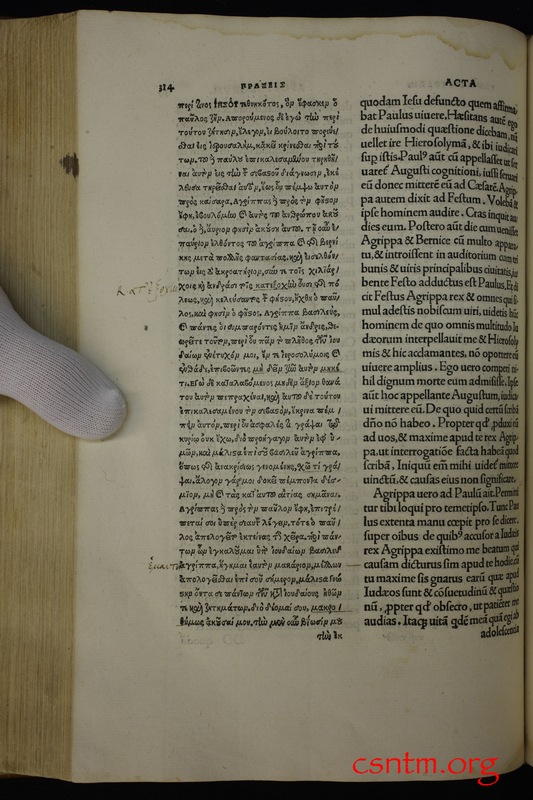 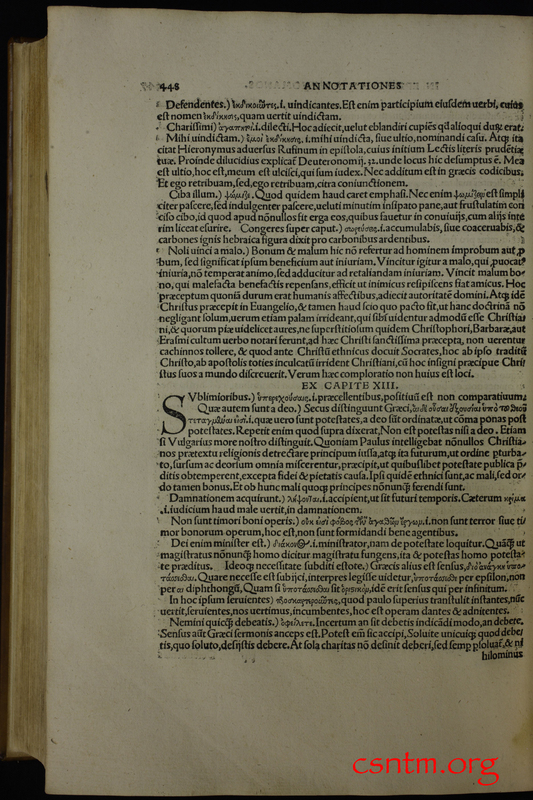 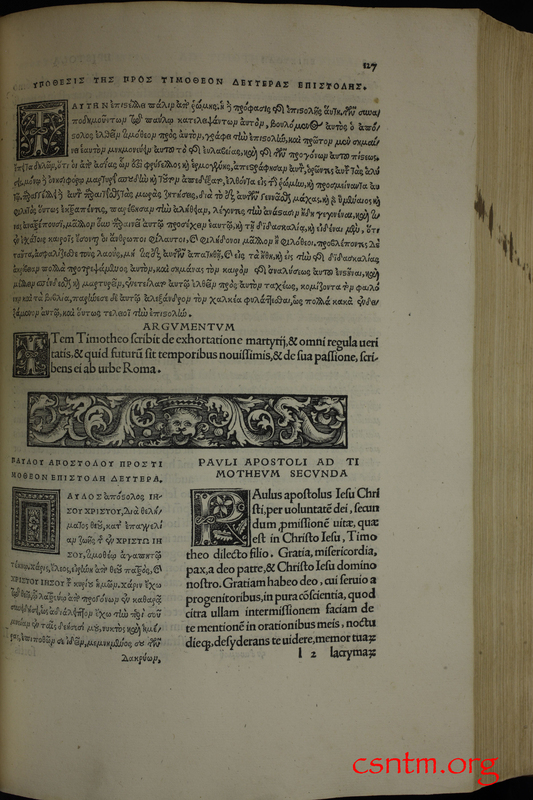 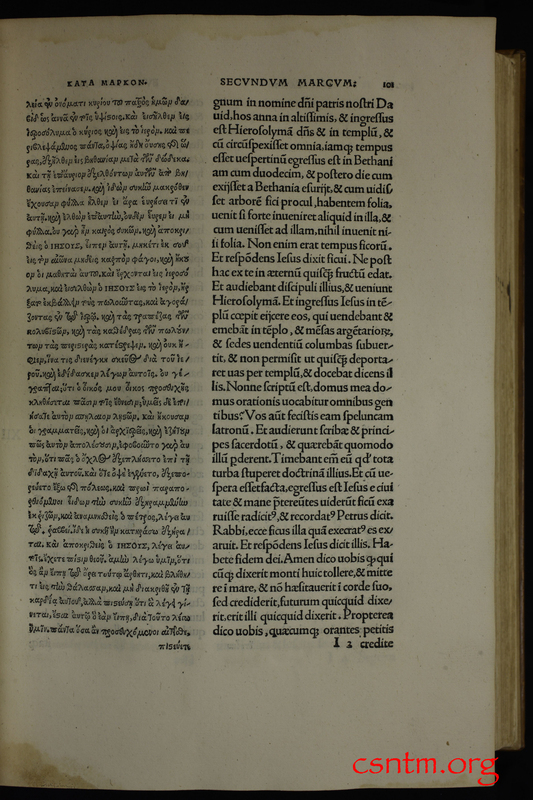 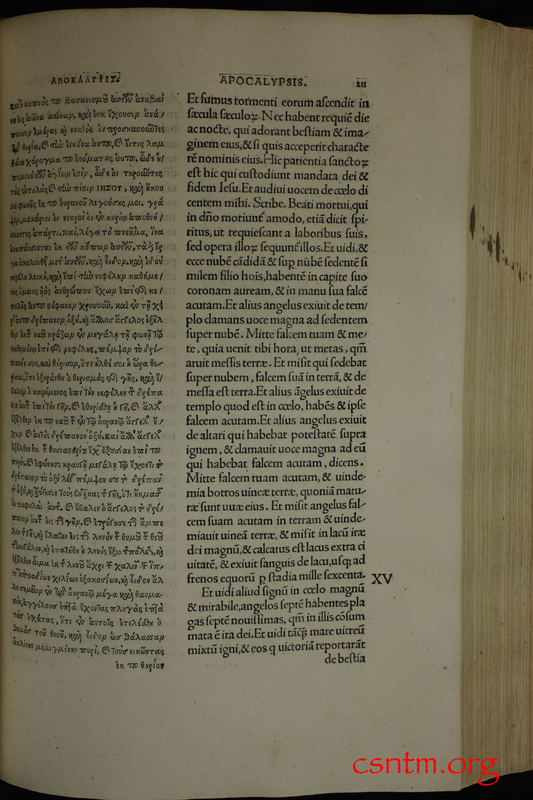 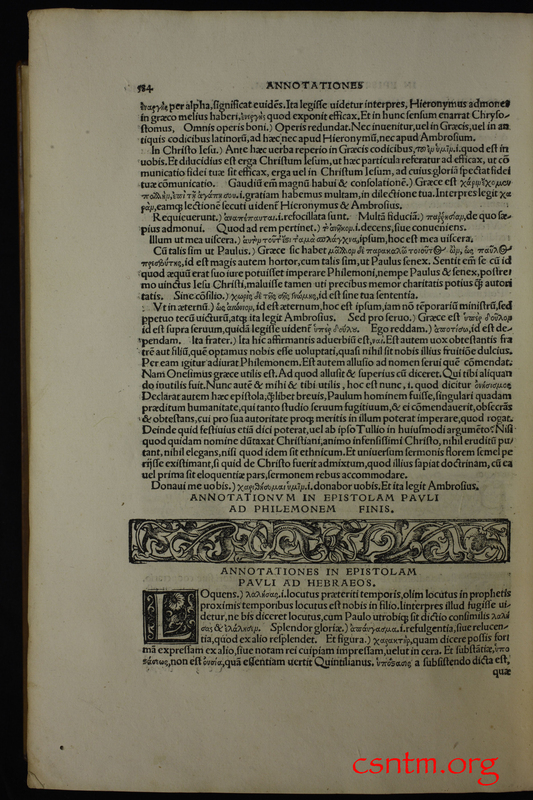 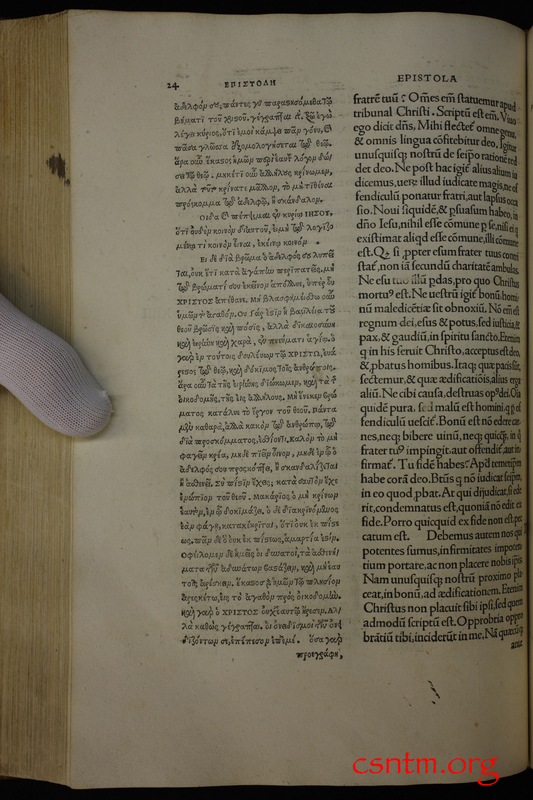 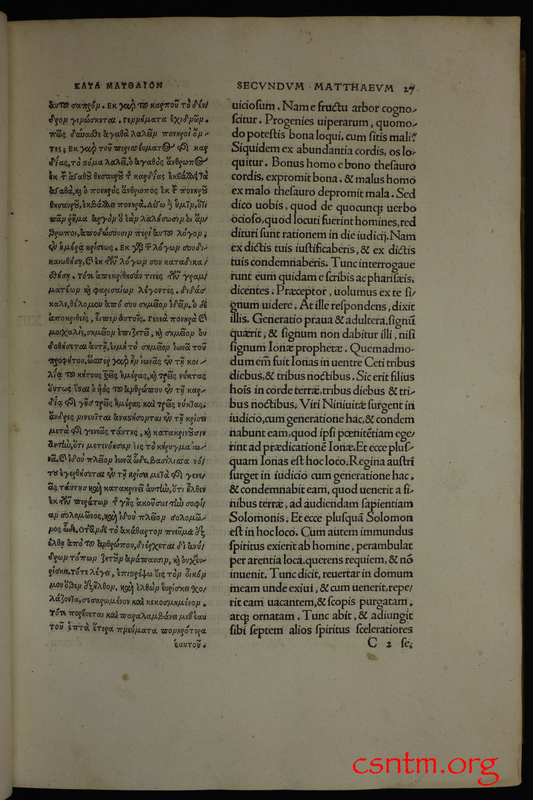 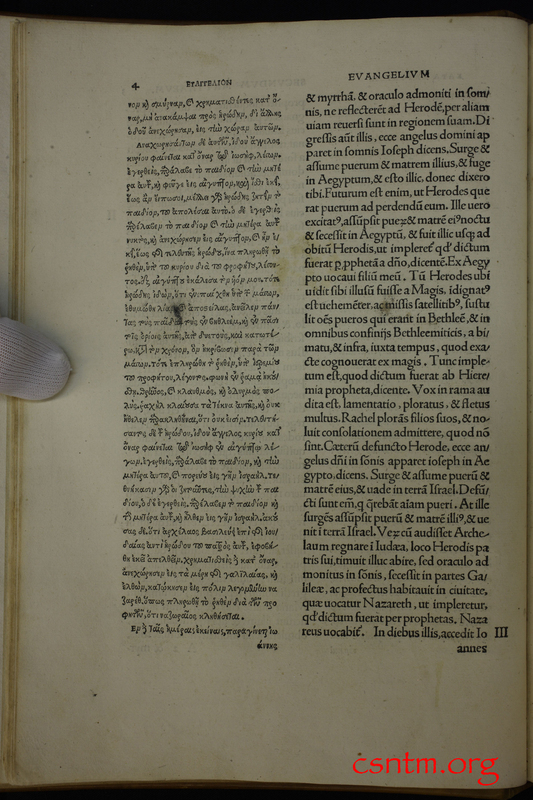 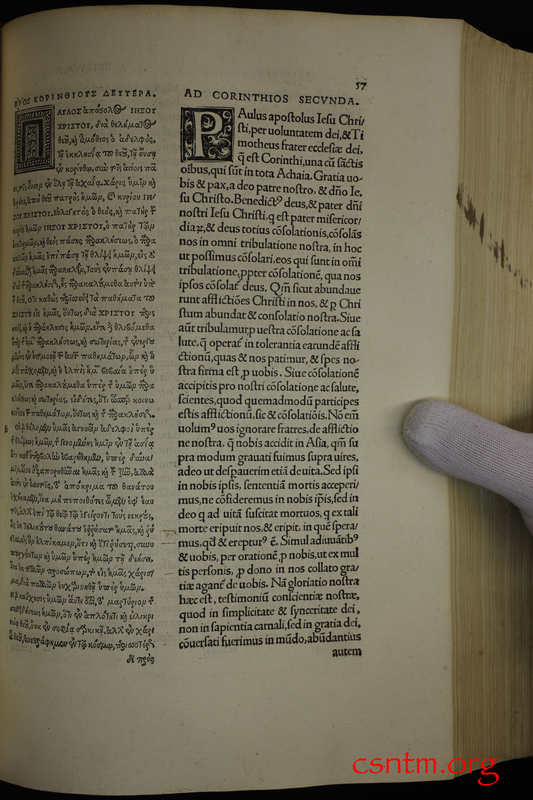 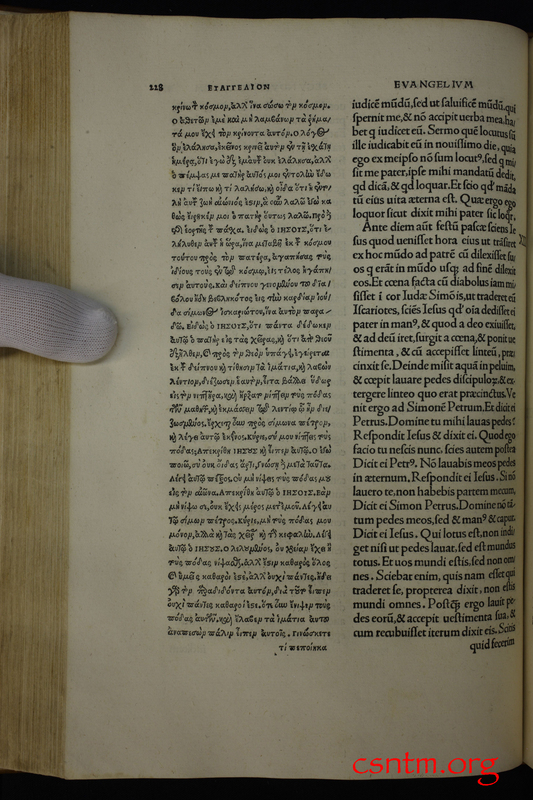 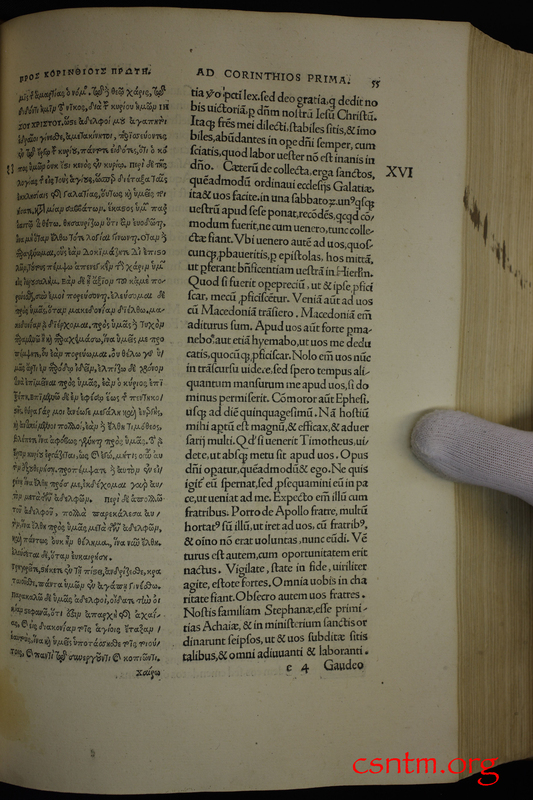 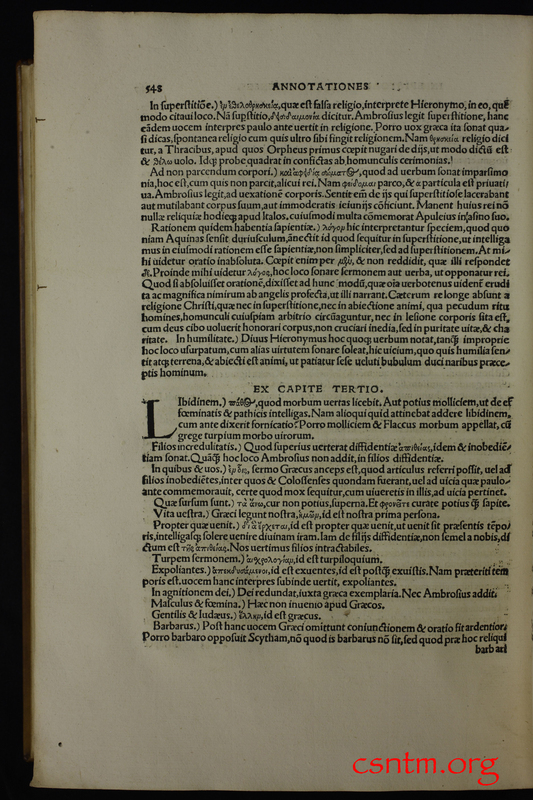 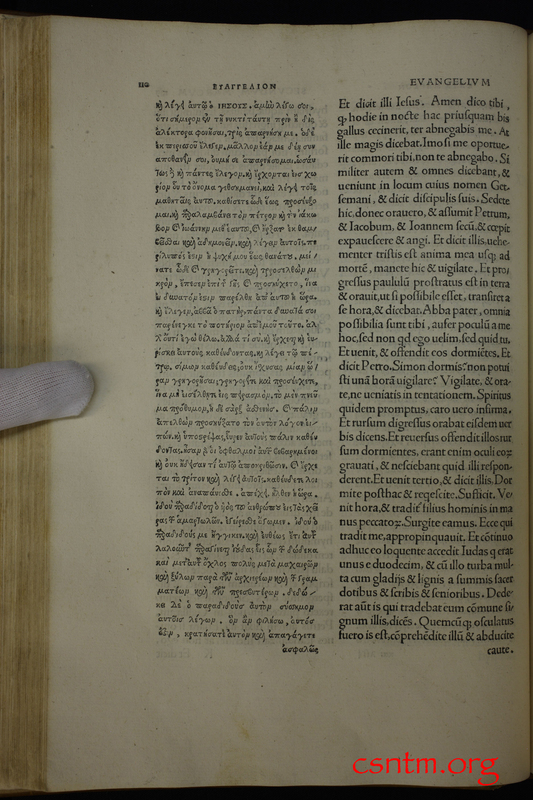 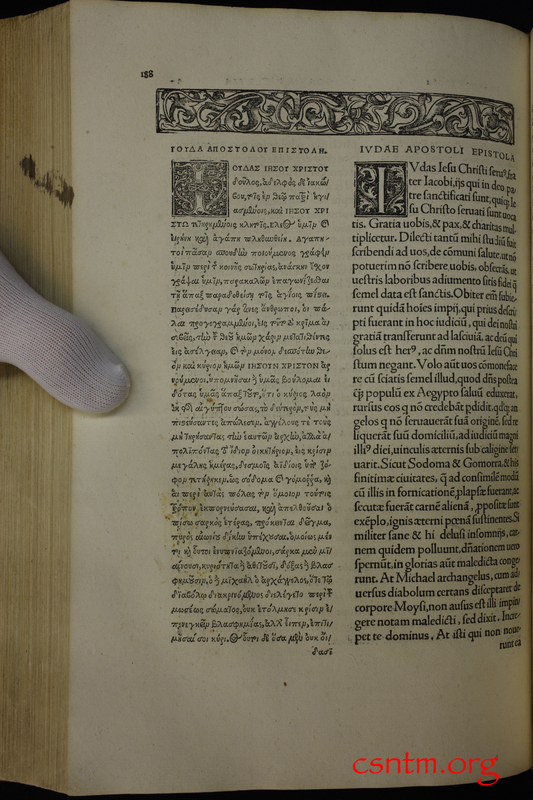 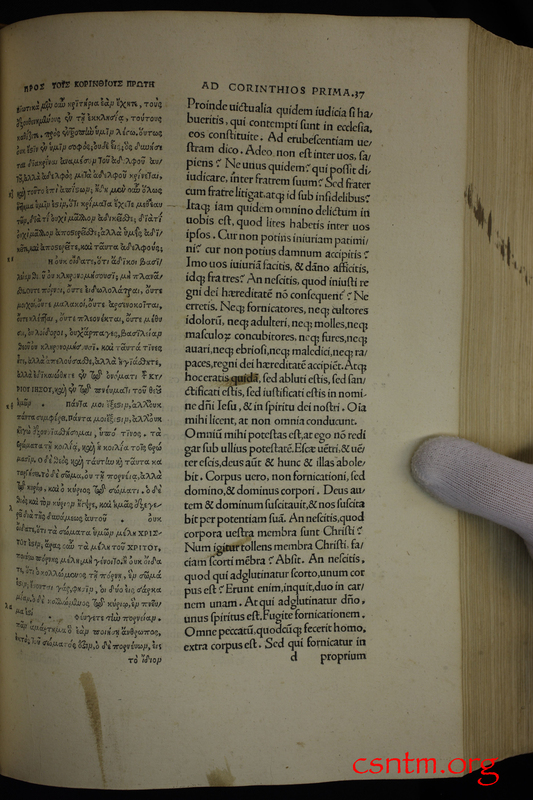 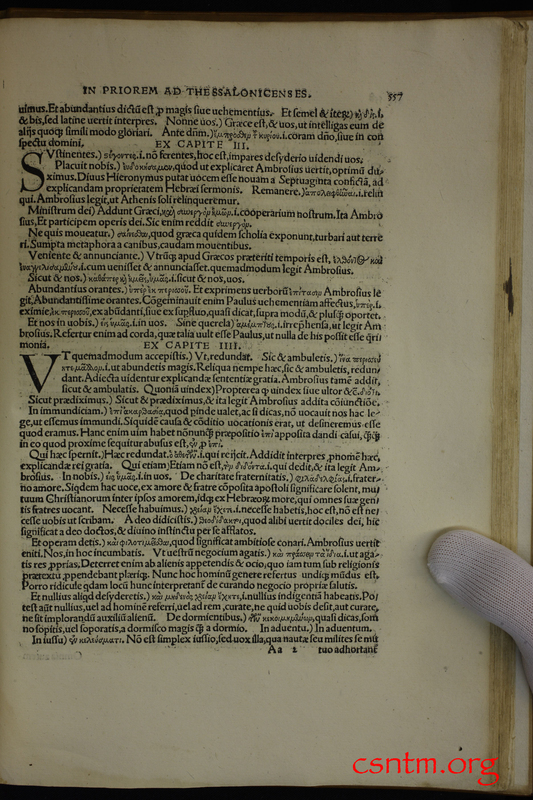 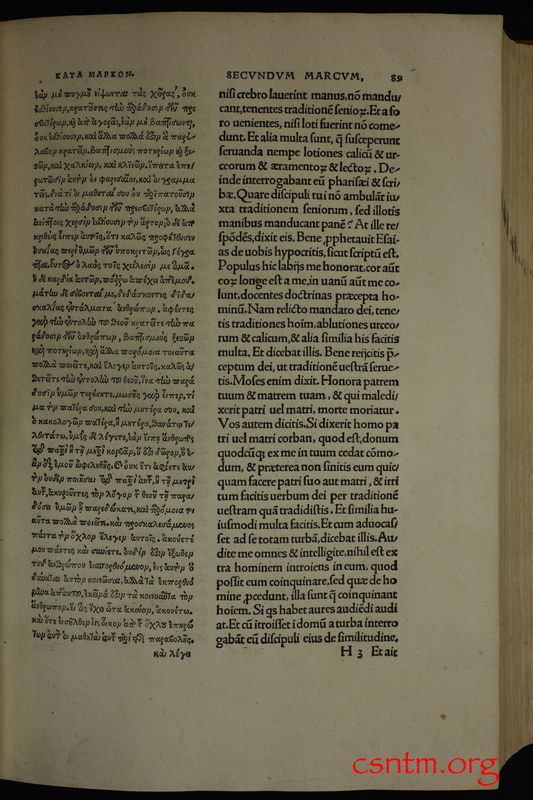 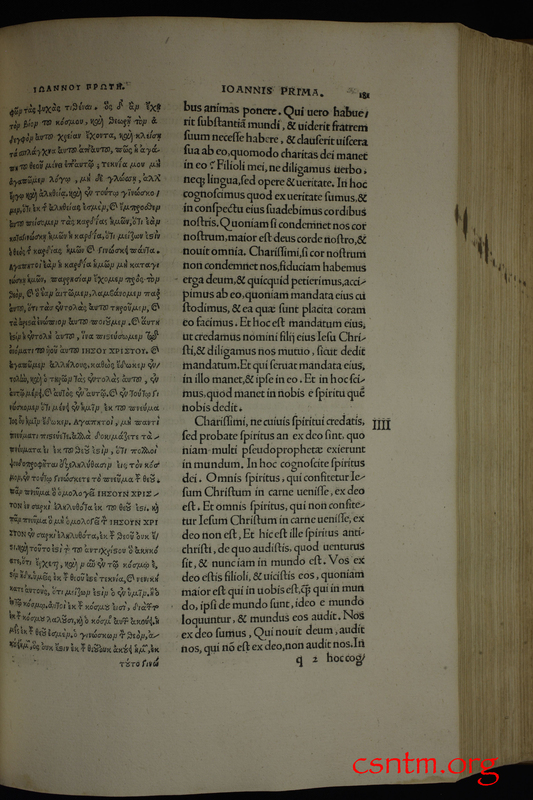 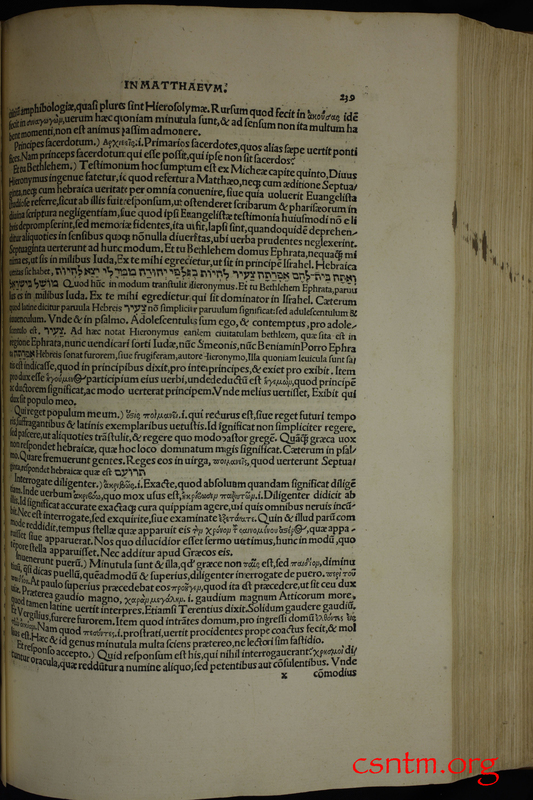 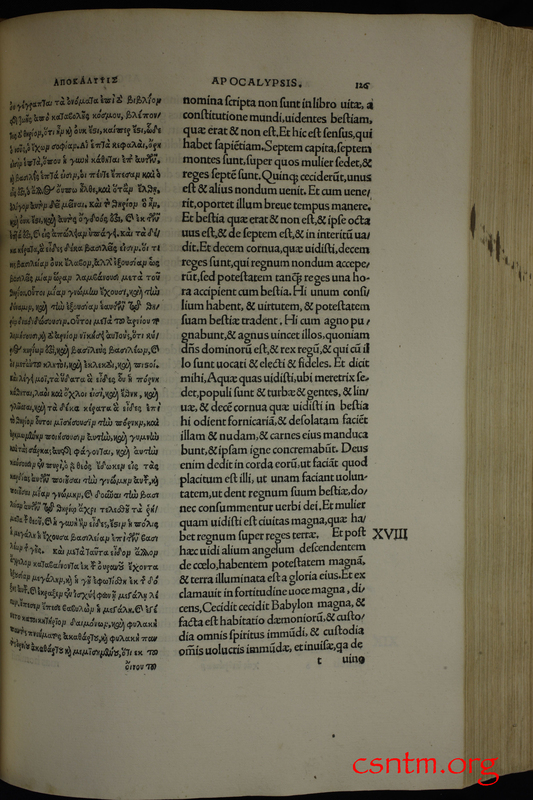 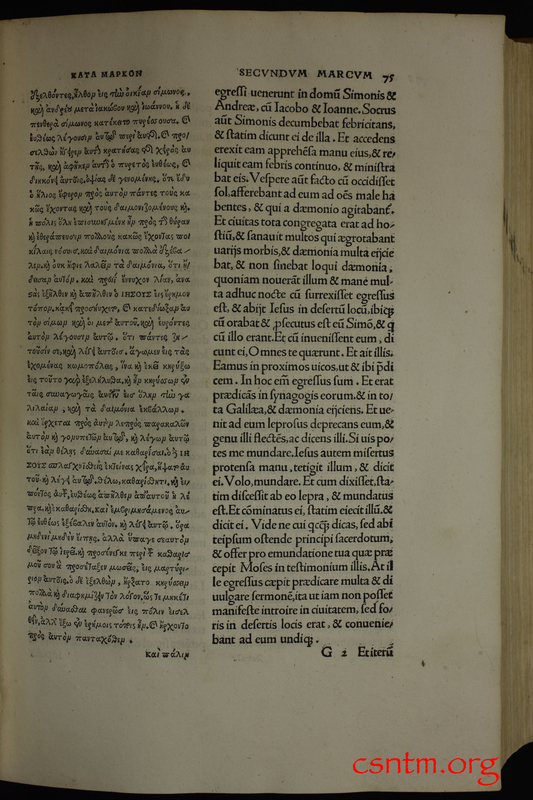 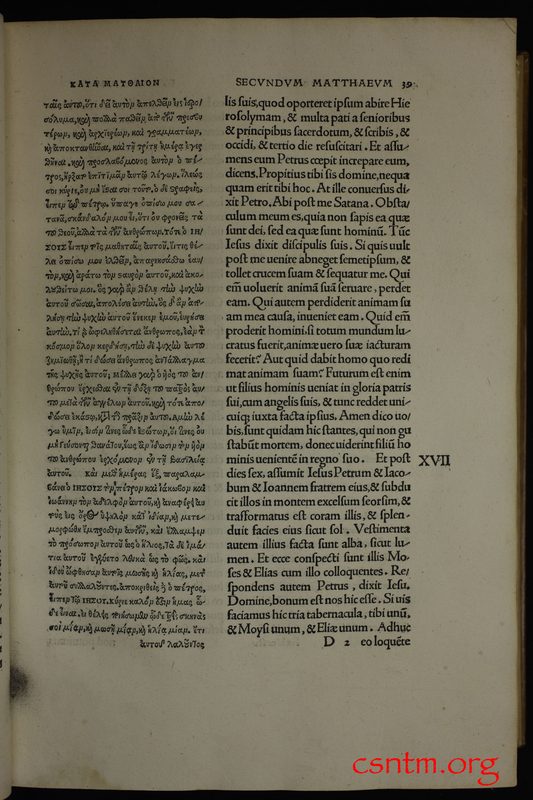 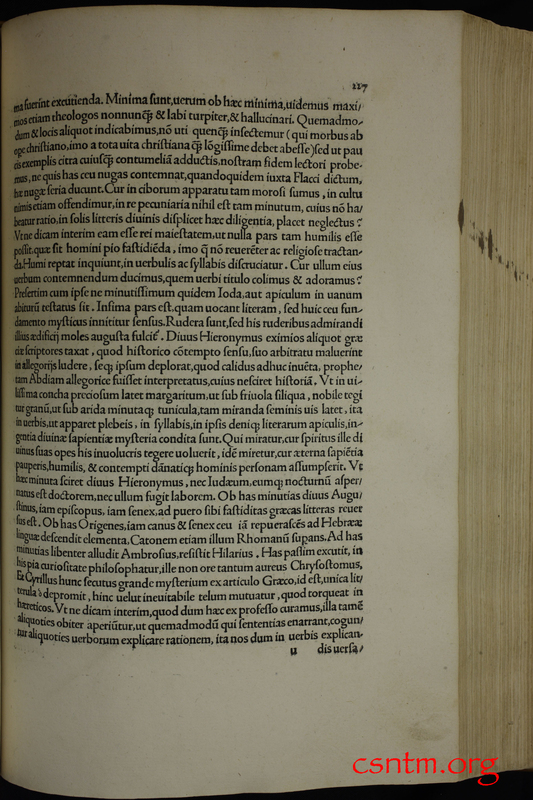 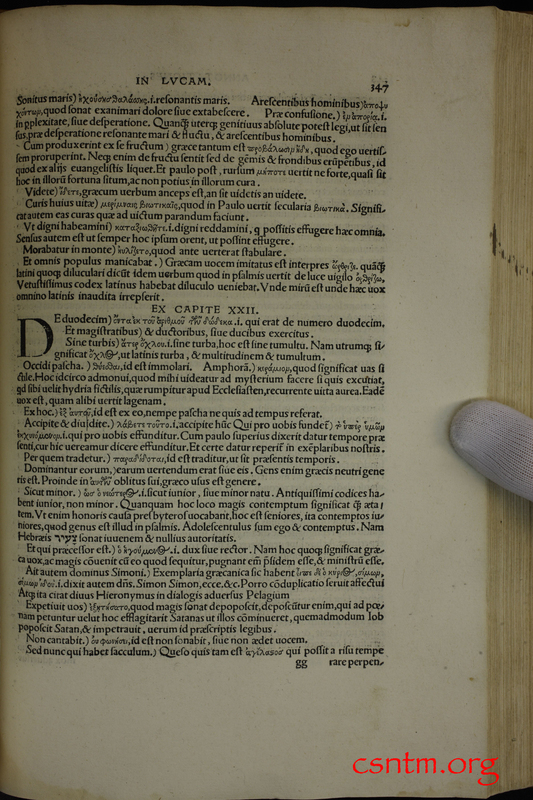 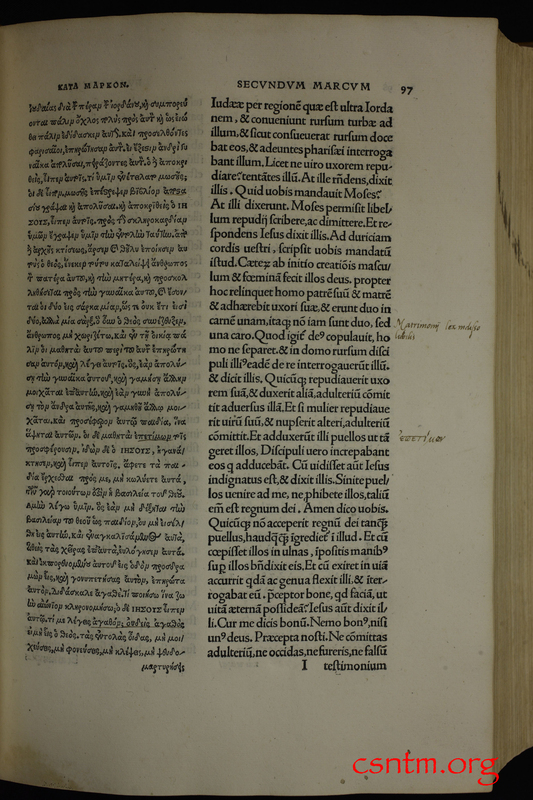 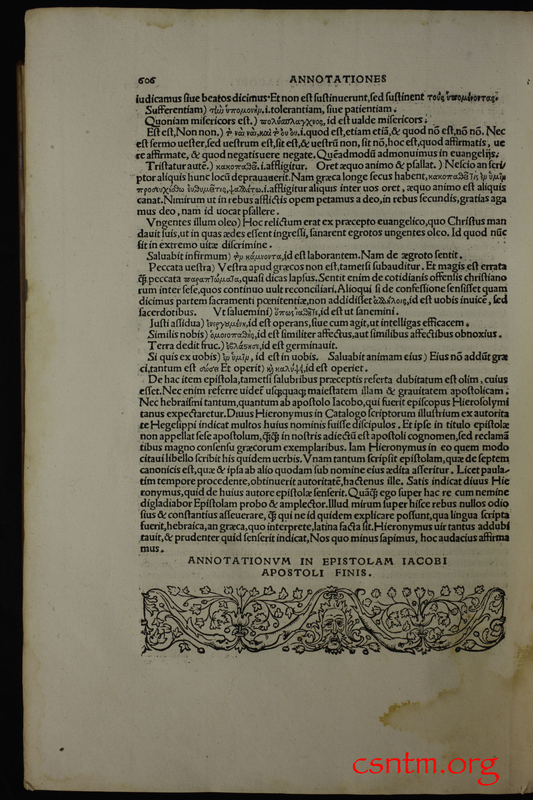 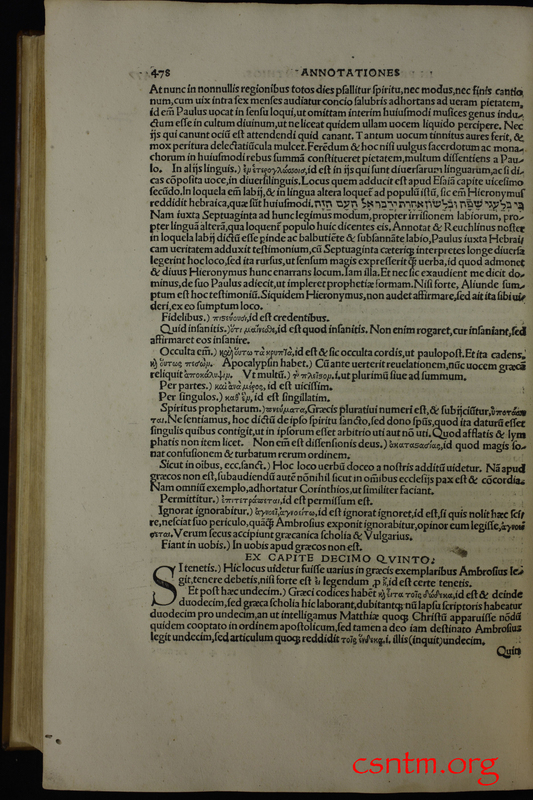 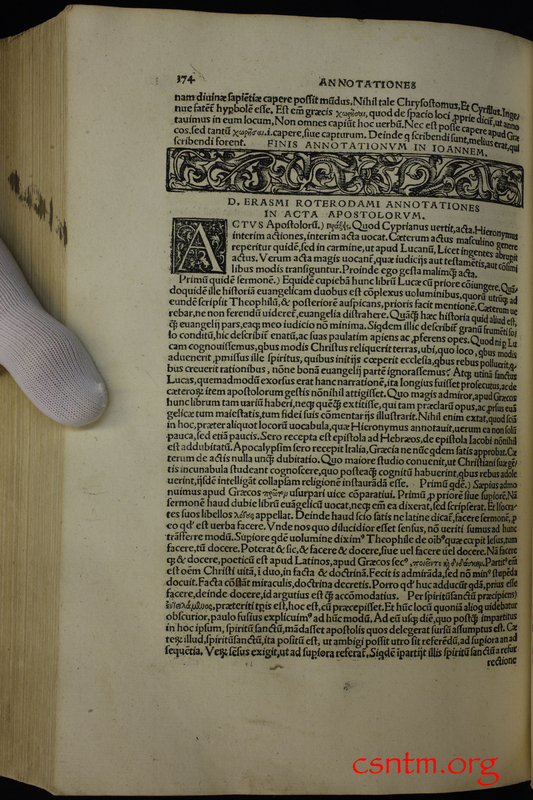 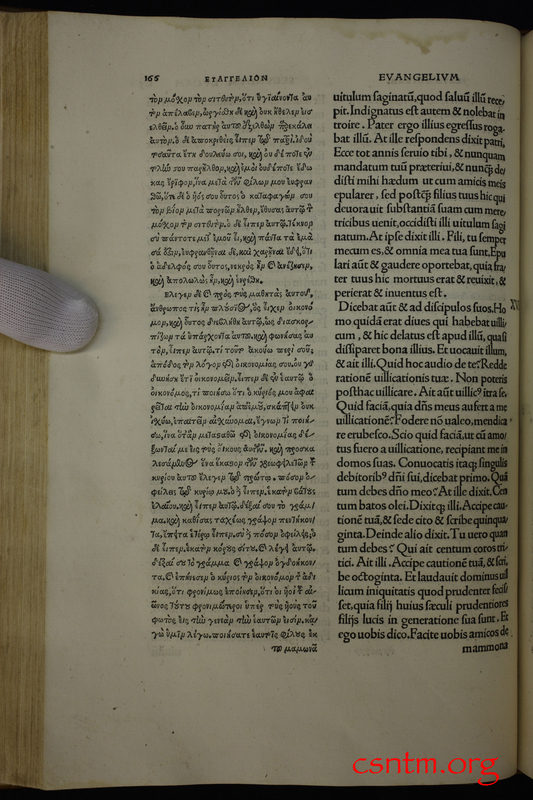 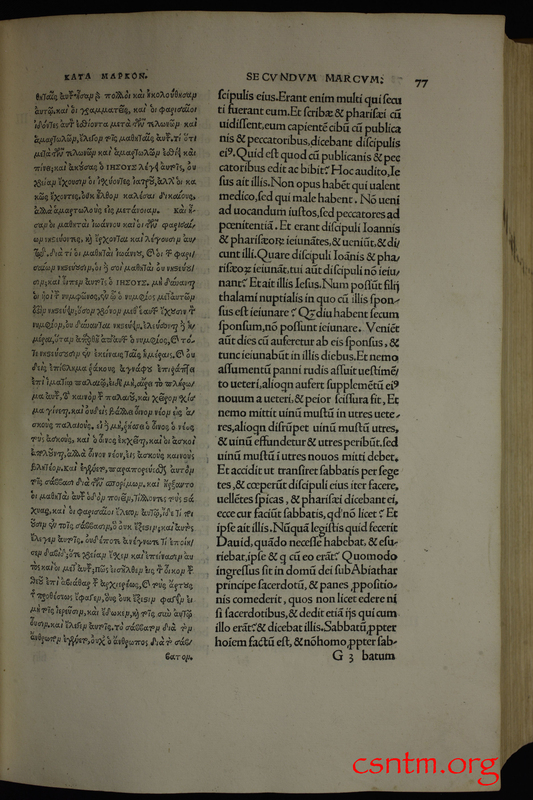 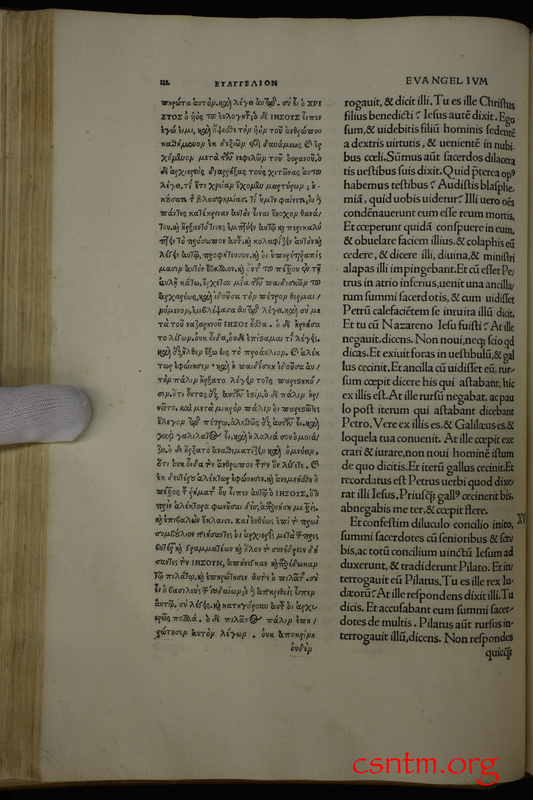 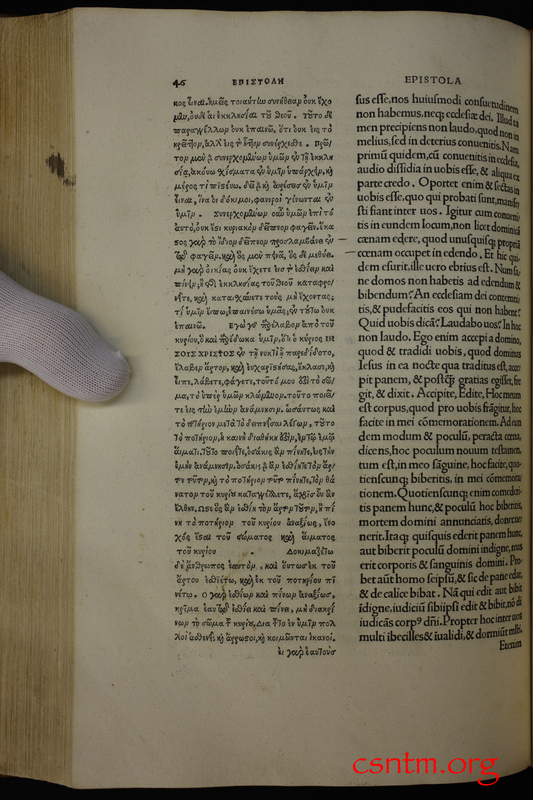 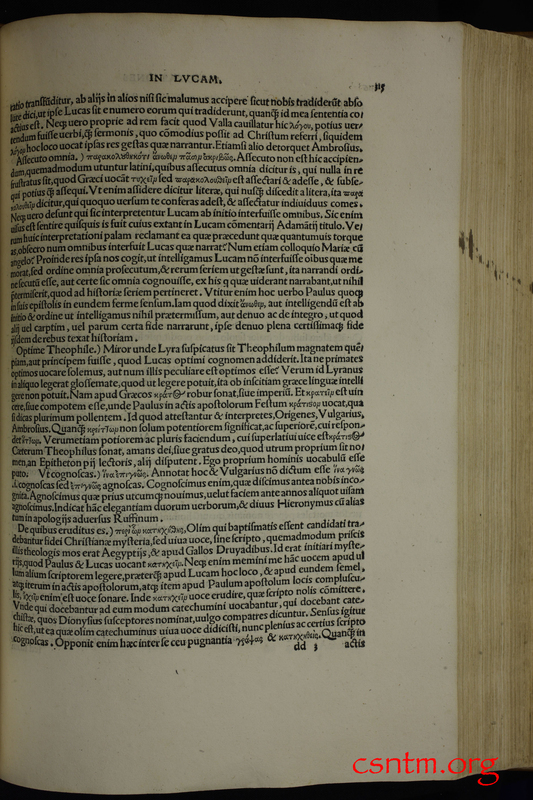 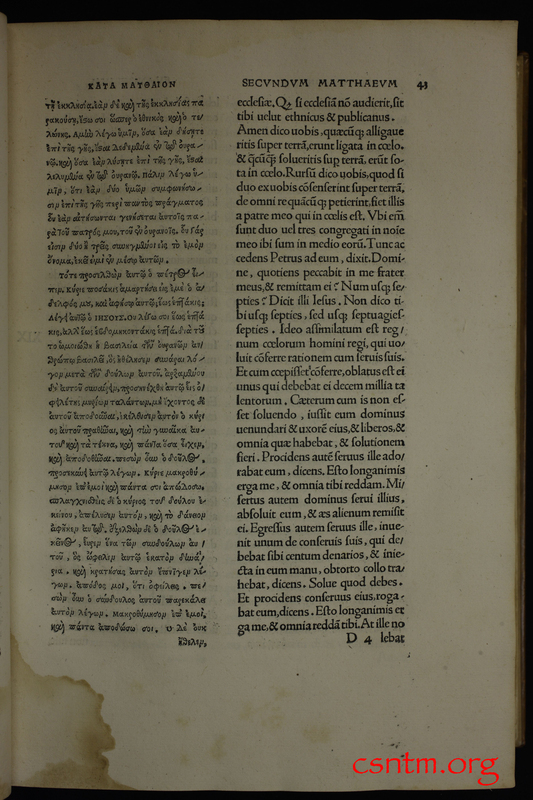 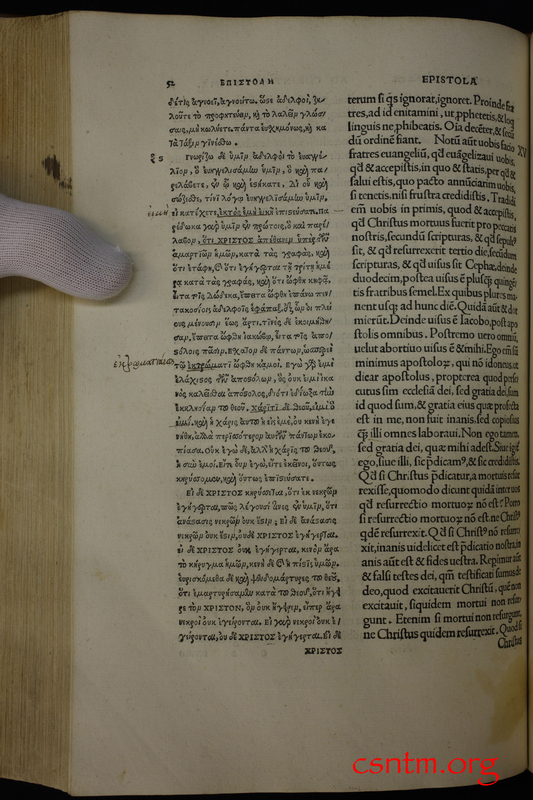 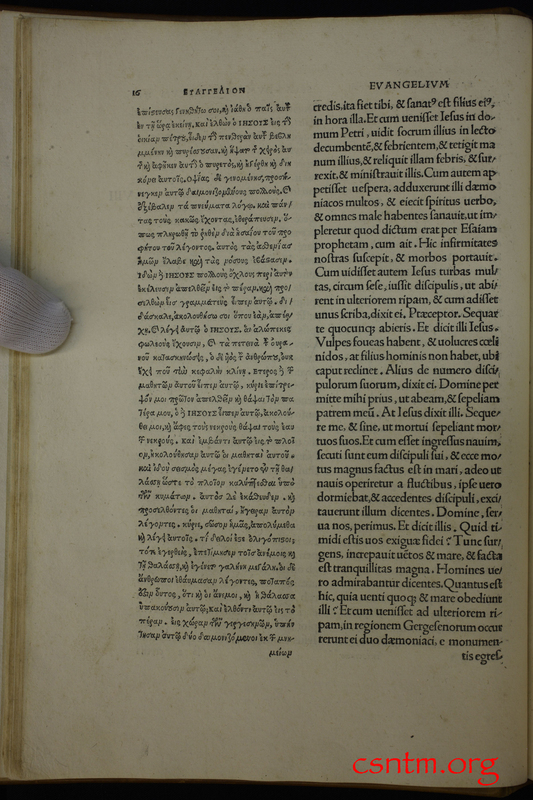 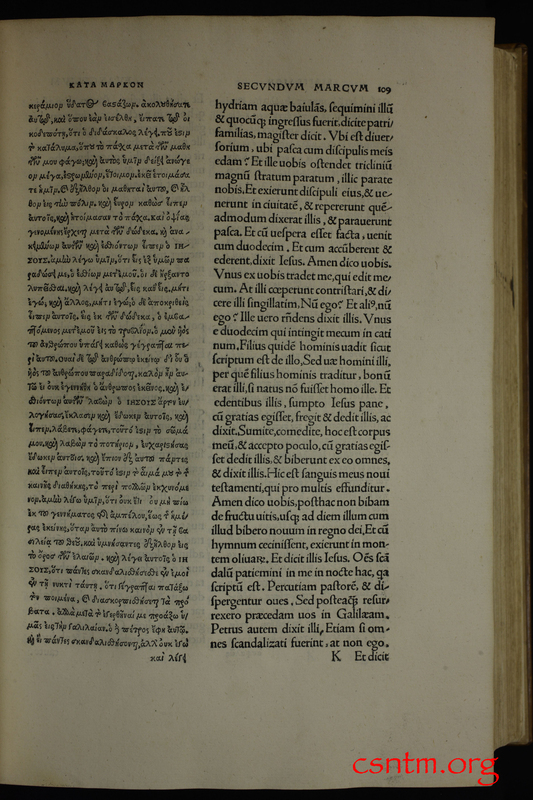 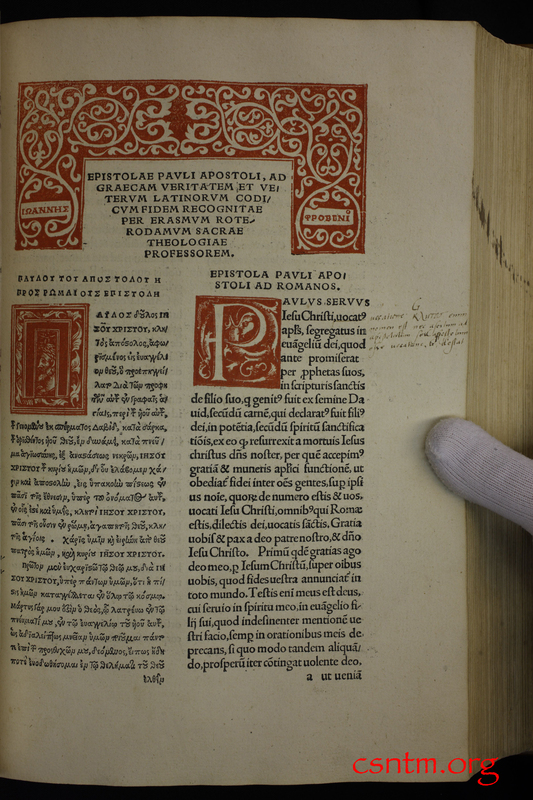 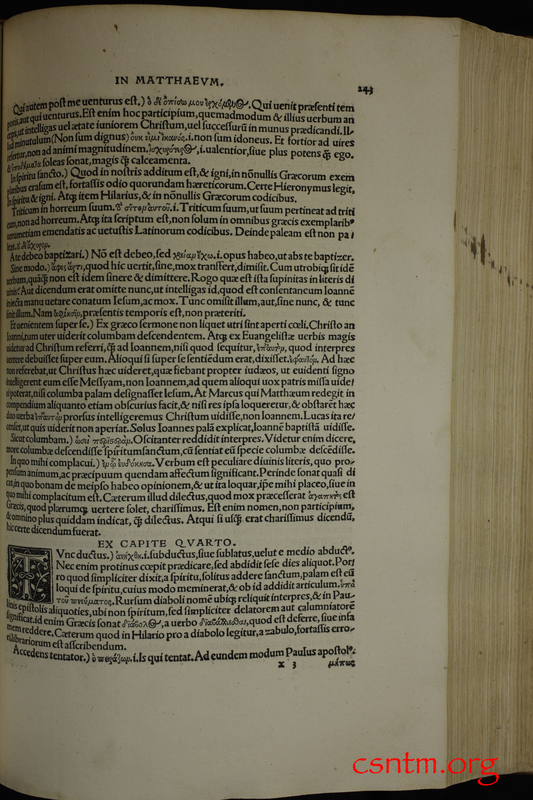 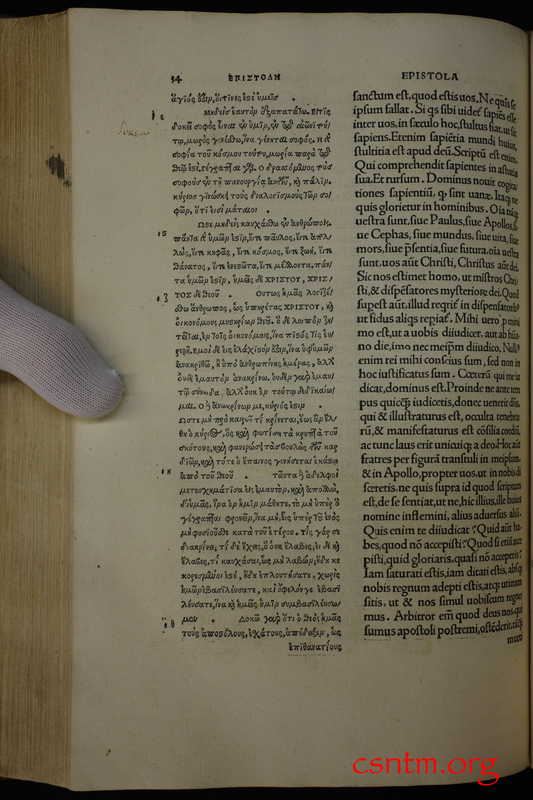 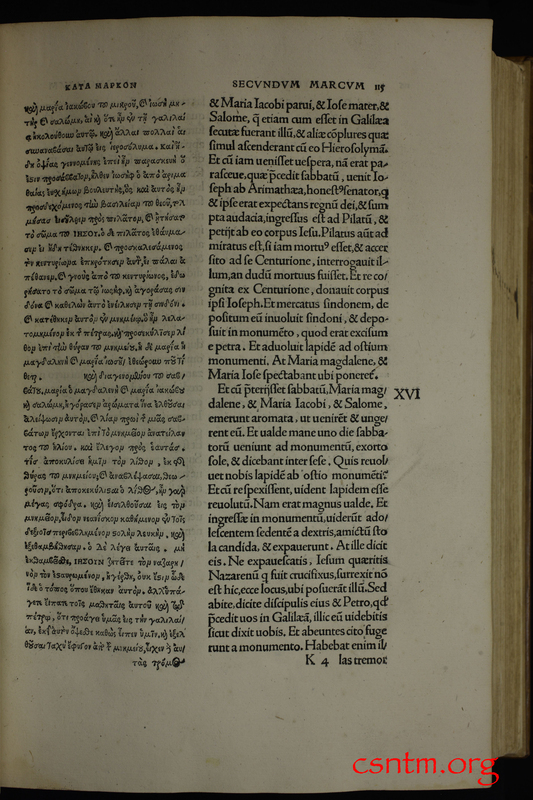 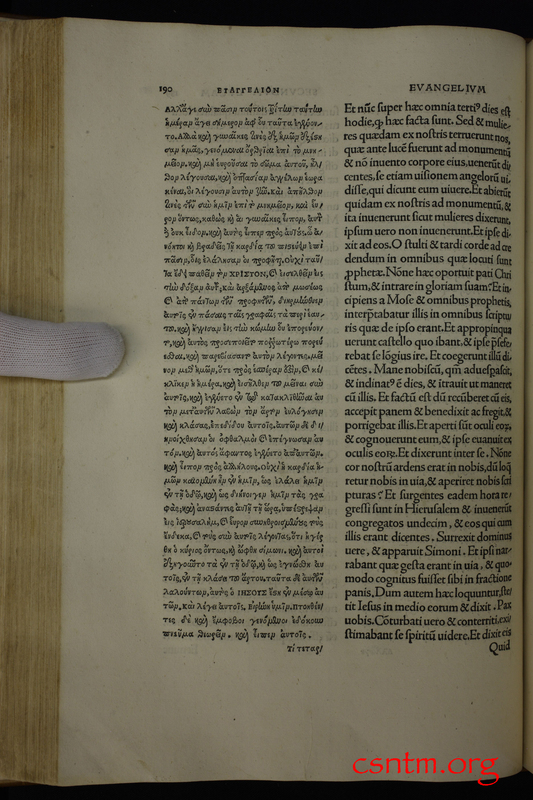 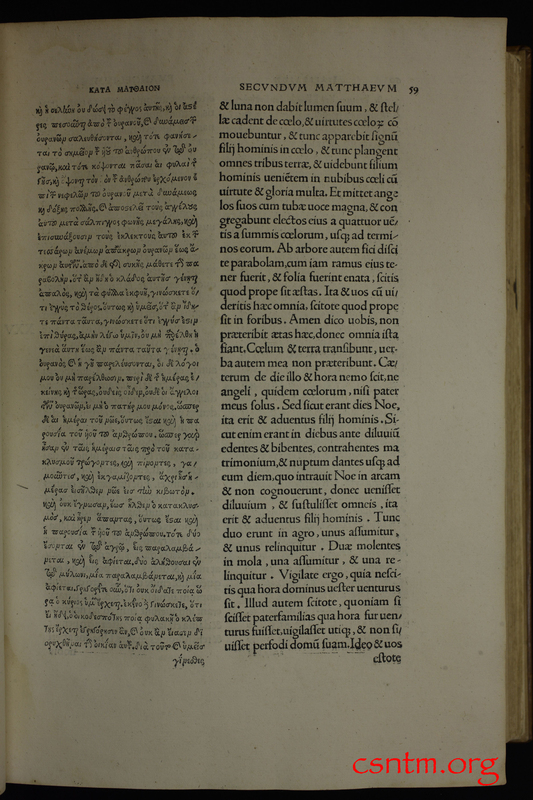 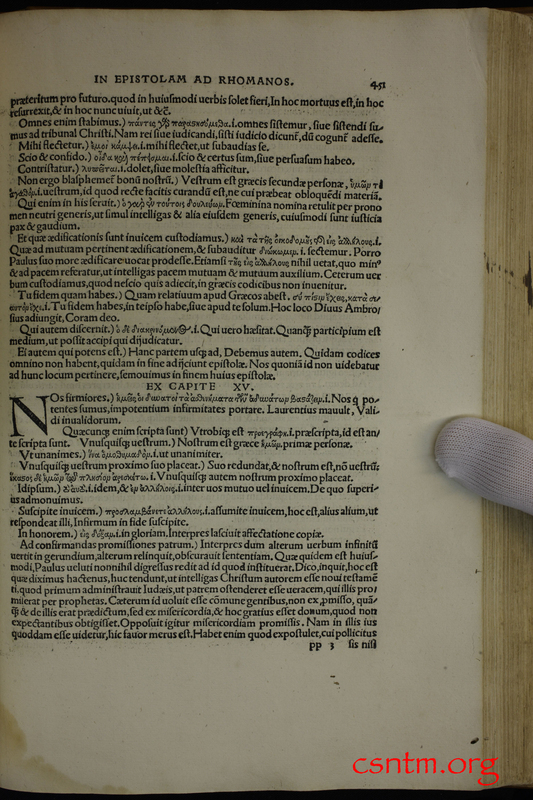 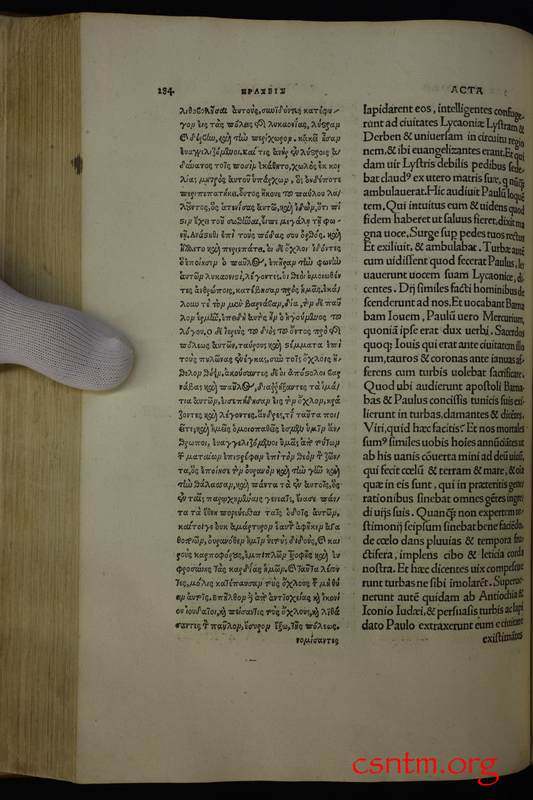 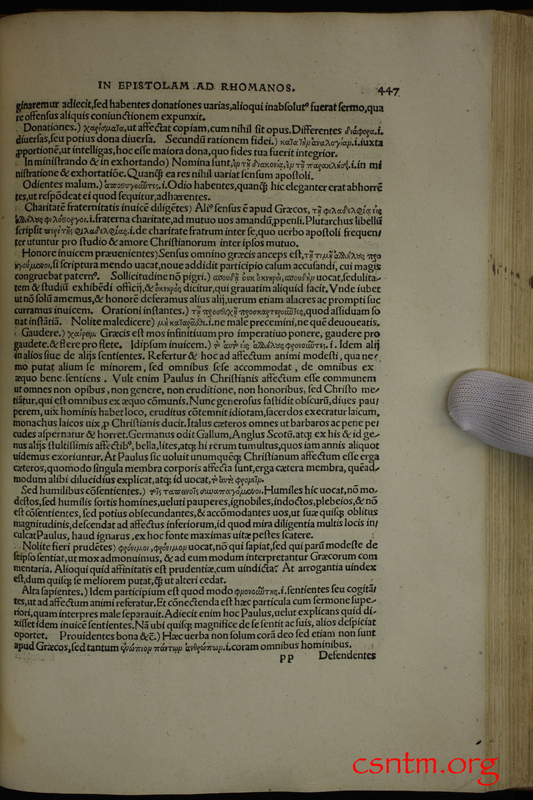 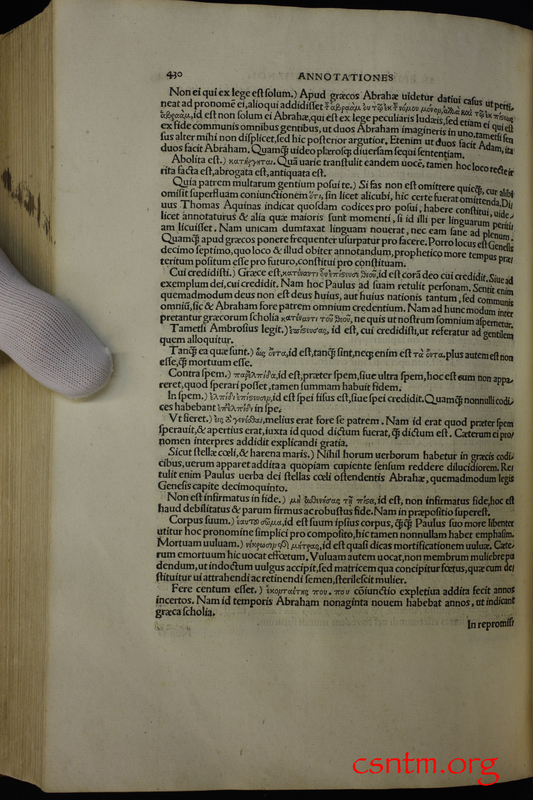 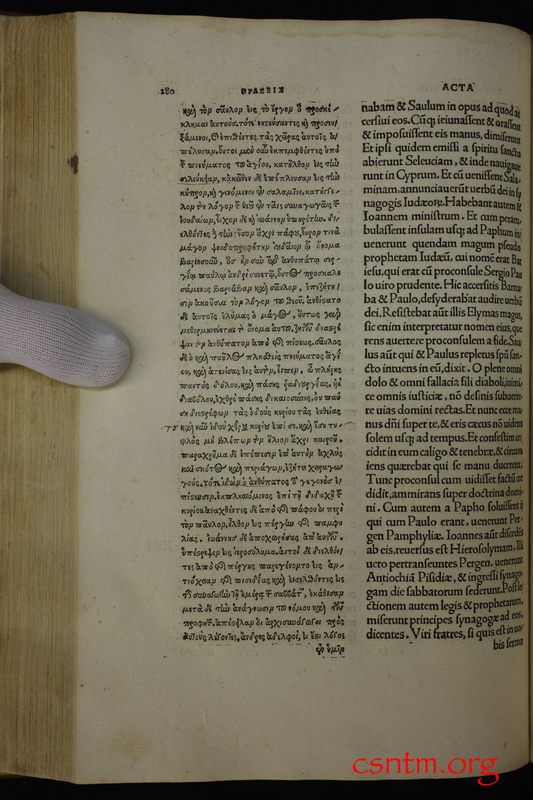 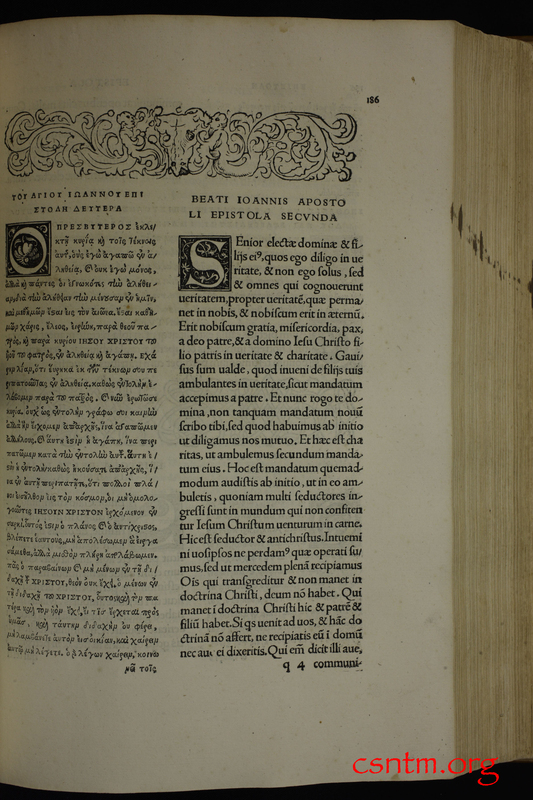 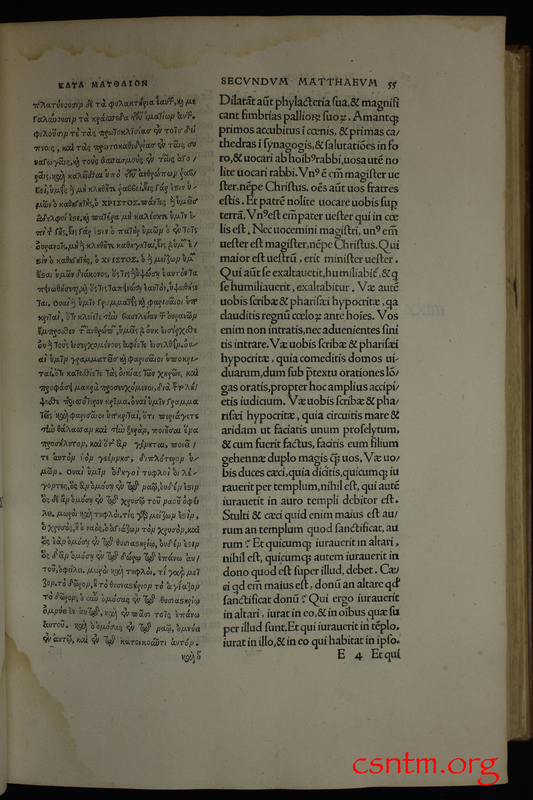 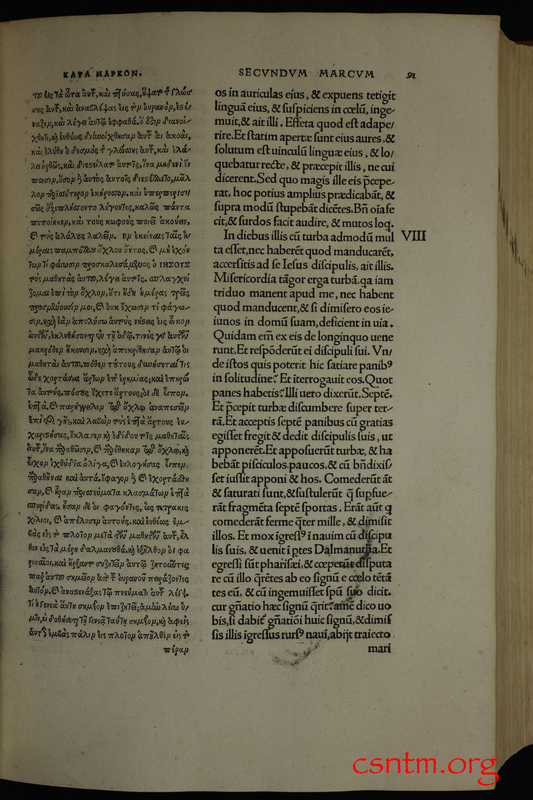 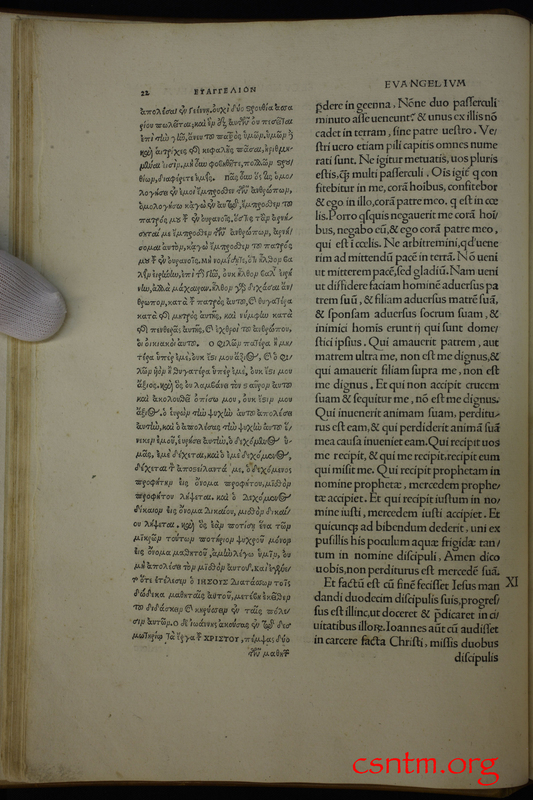 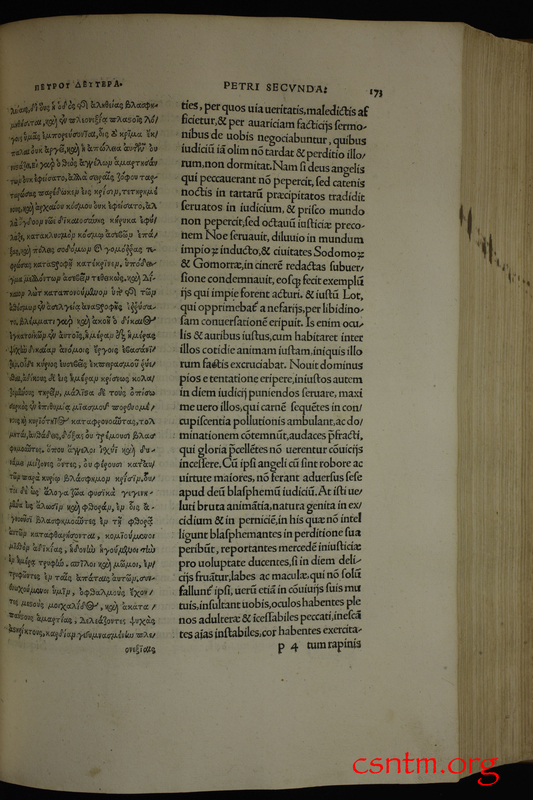 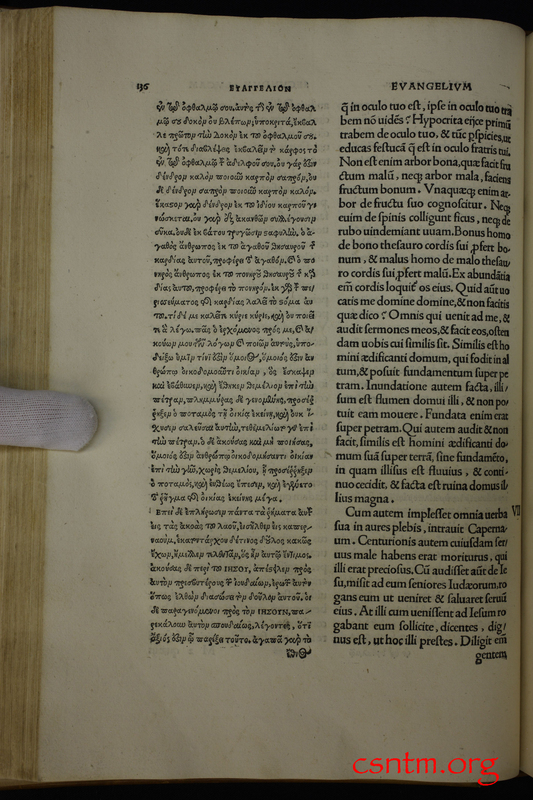 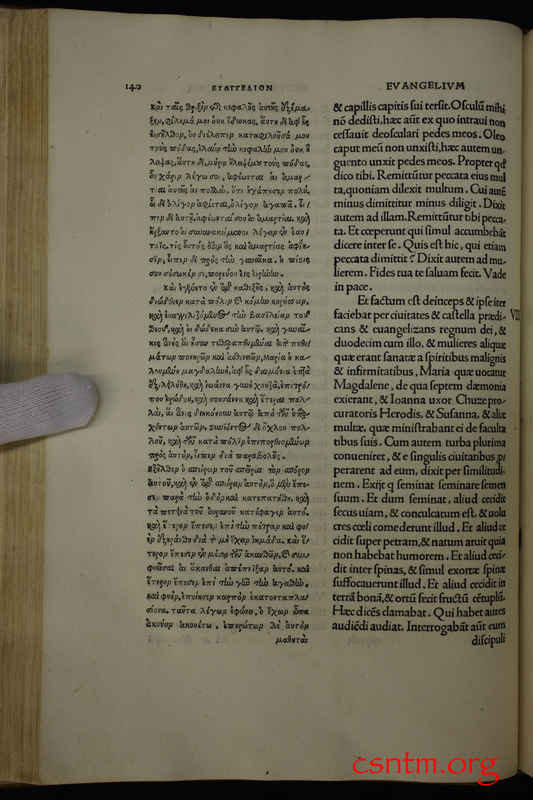 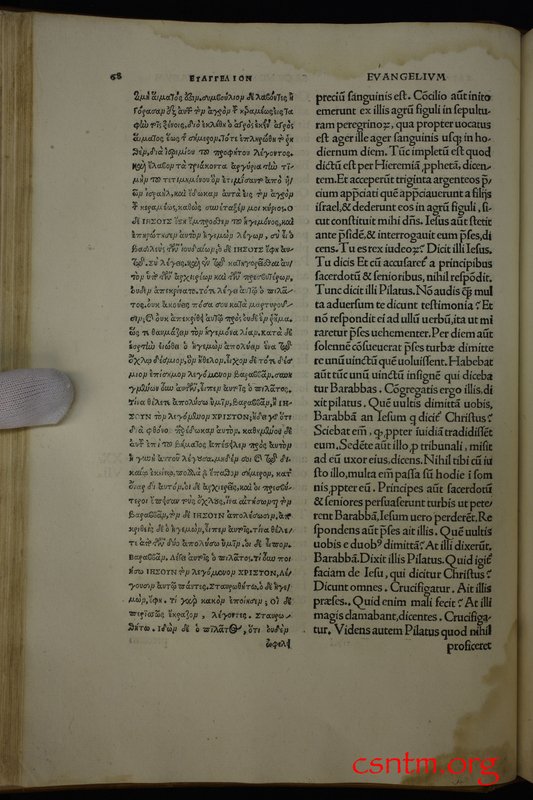 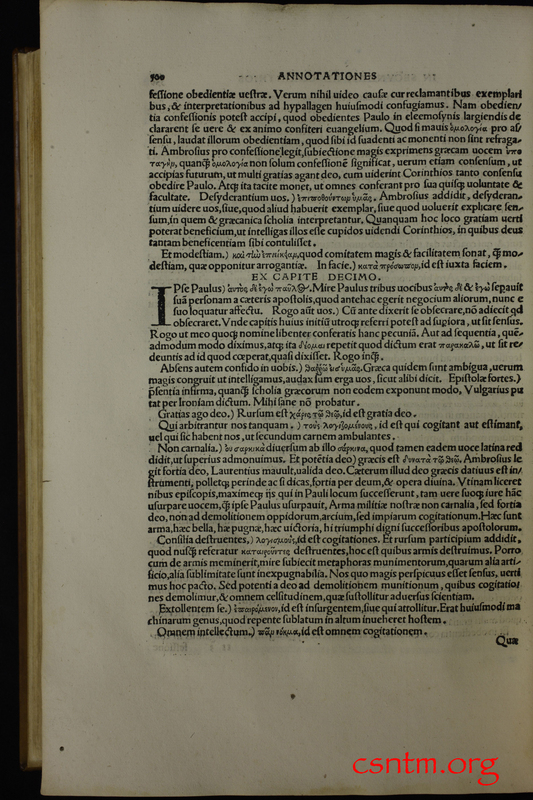 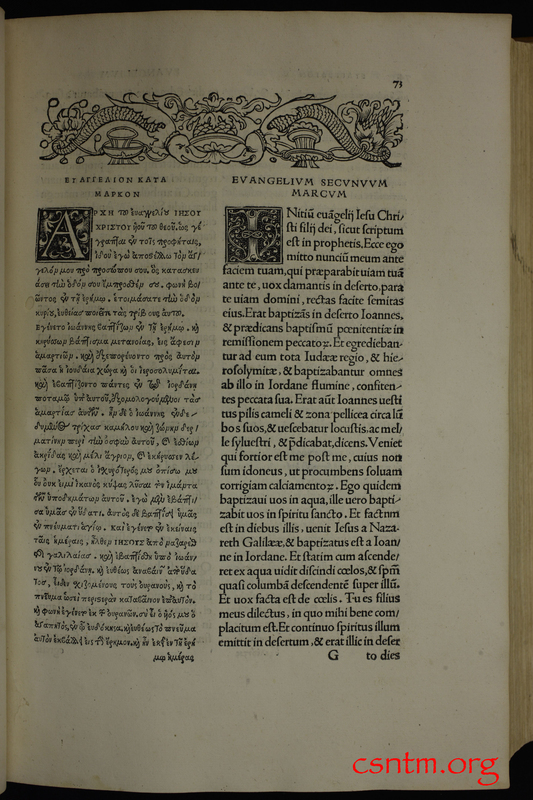 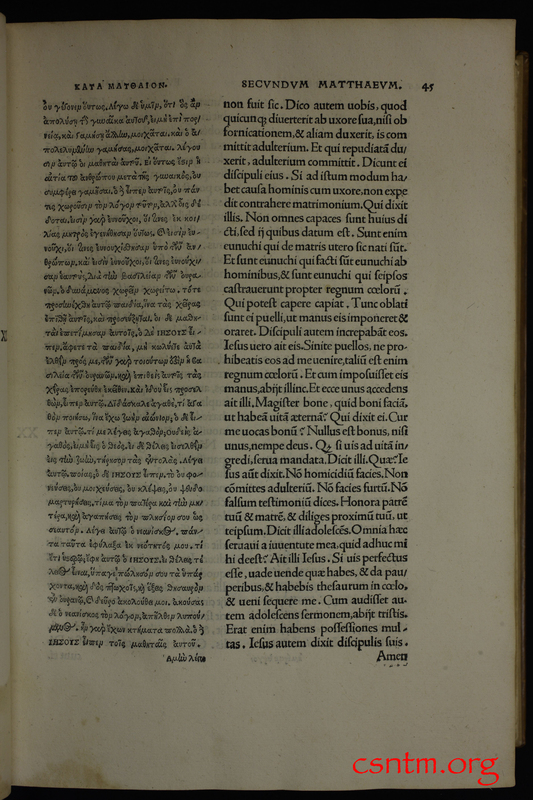 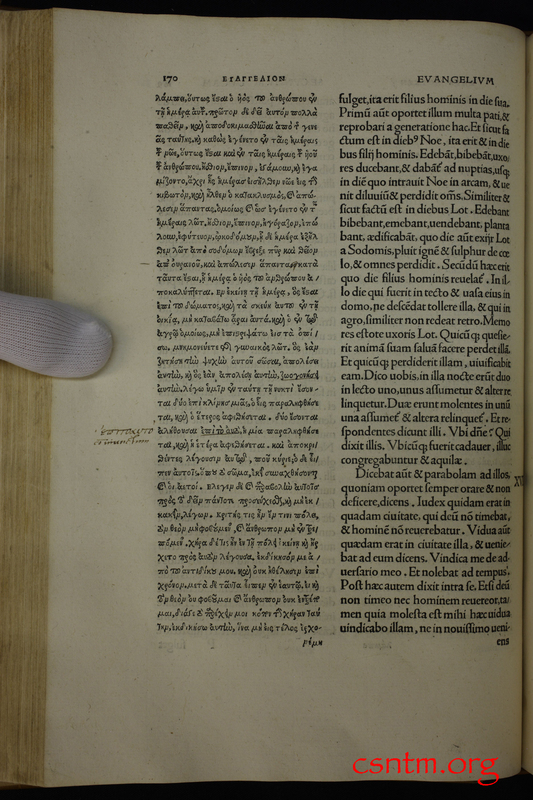 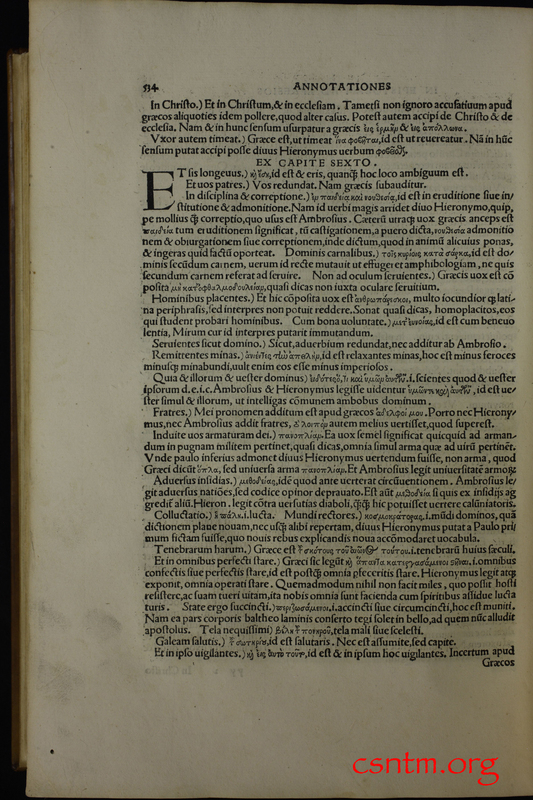 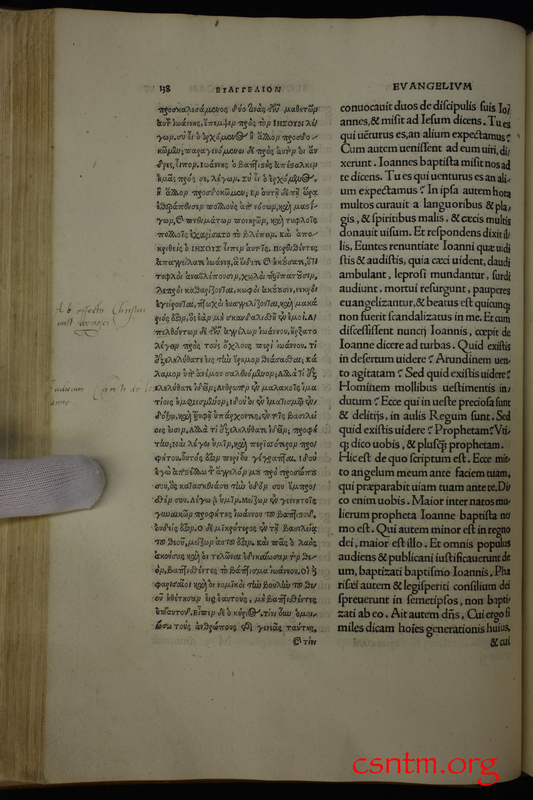 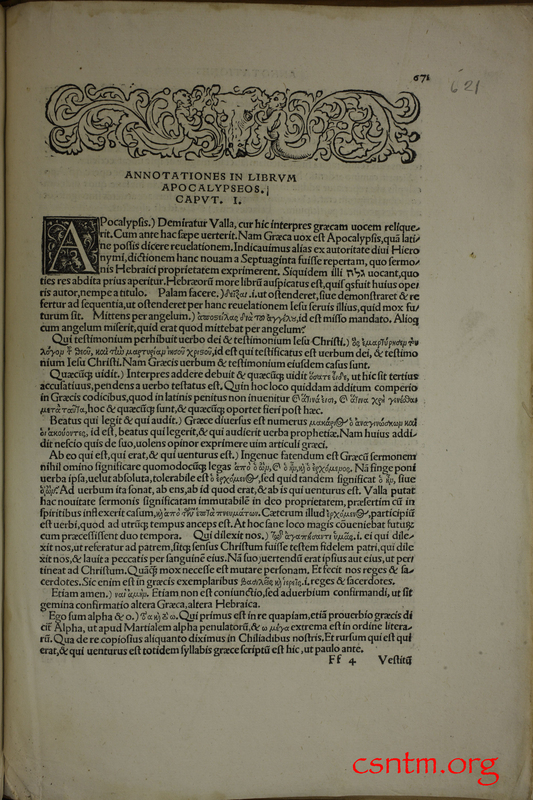 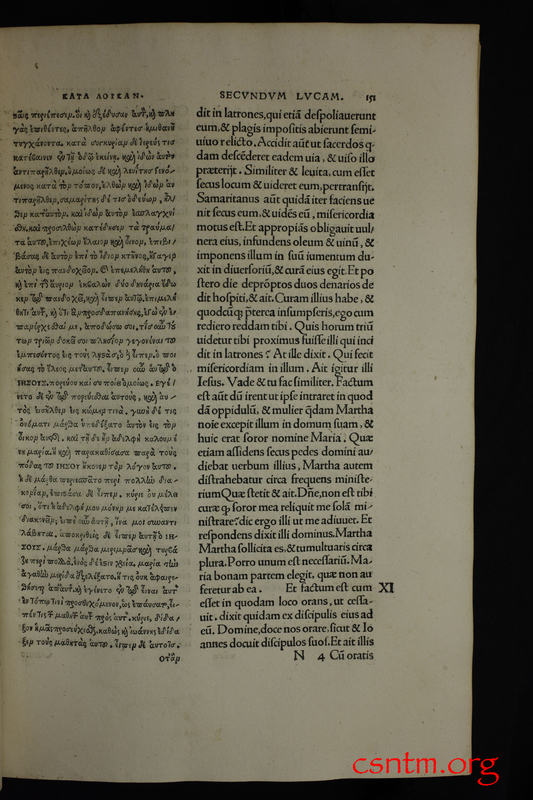 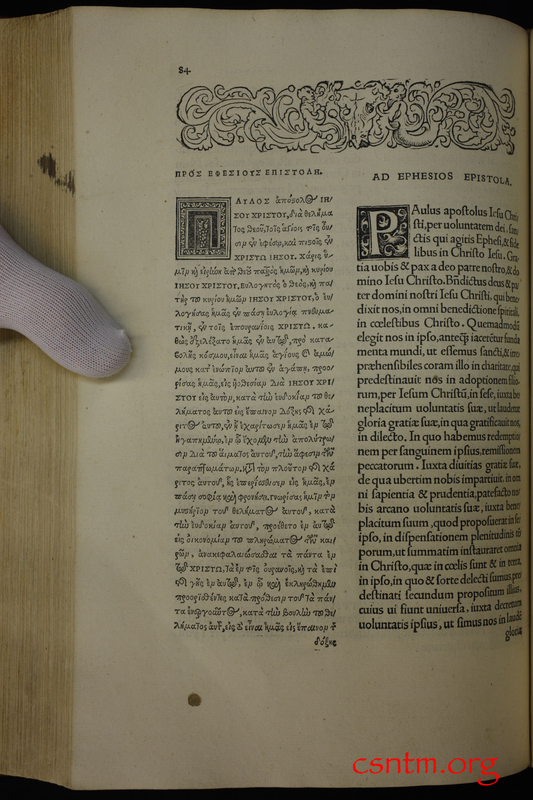 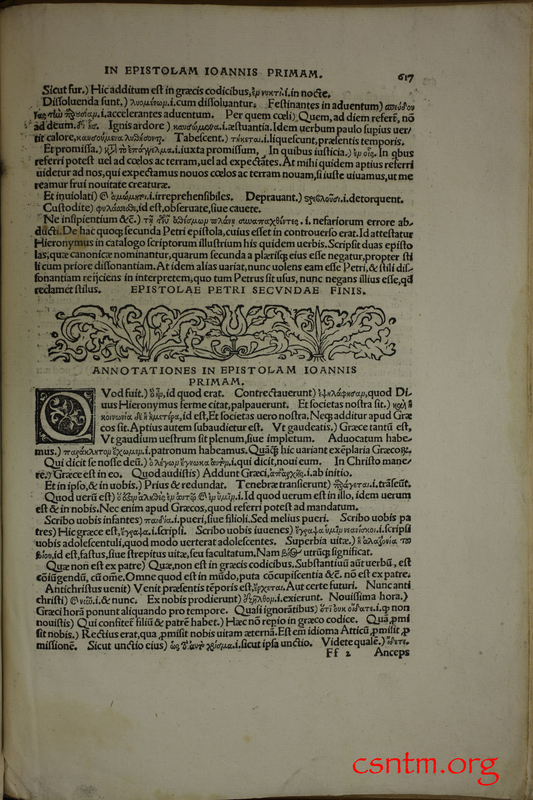 Thus, the honor of being the first published Greek New Testament belongs to Erasmus’s Novum Instrumentum, published on March 1, 1516. 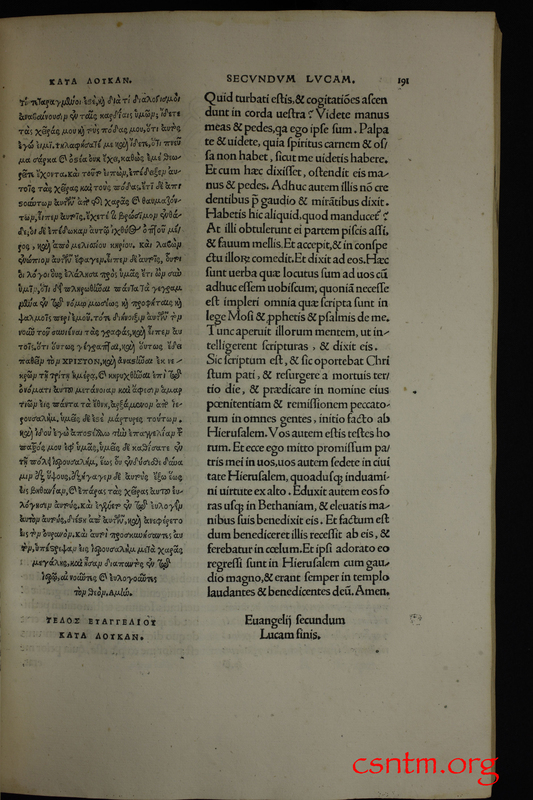 The work was a Greek-Latin diglot, and was meant to show that Erasmus’s Latin translation, which he urged on the church as superior to Jerome’s Vulgate, was solidly based on the original Greek. 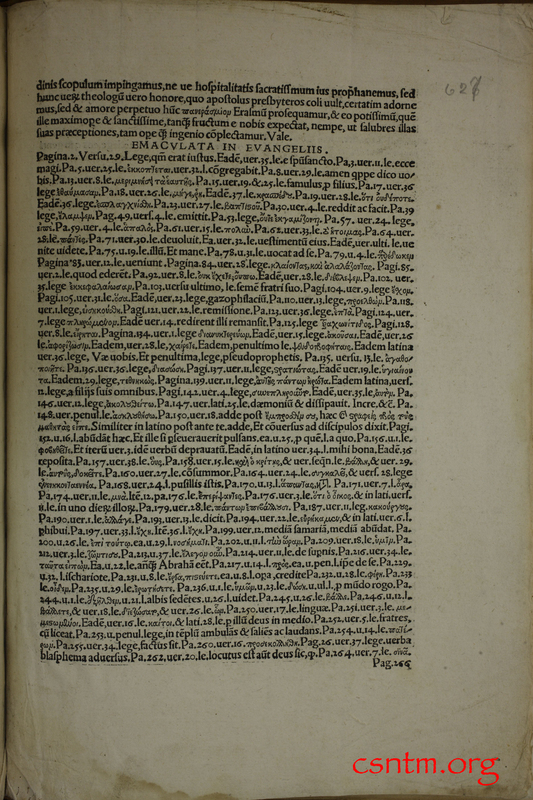 However, Erasmus only used half a dozen manuscripts in the production of this work. 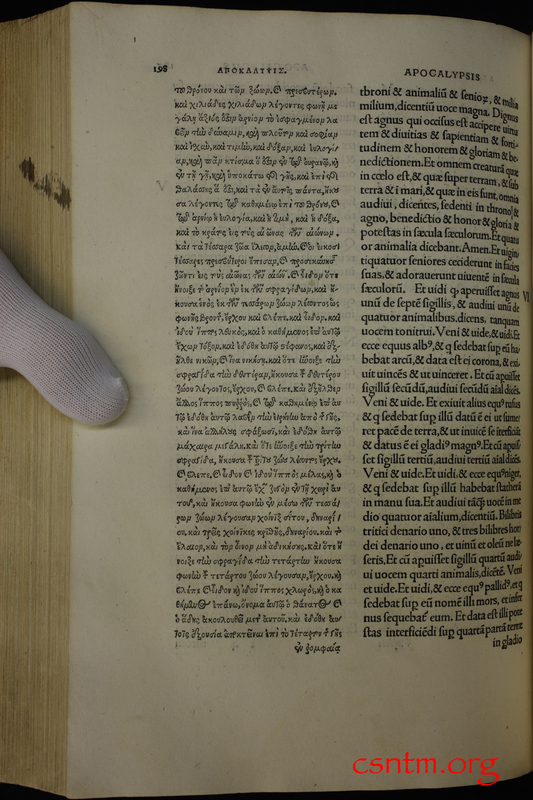 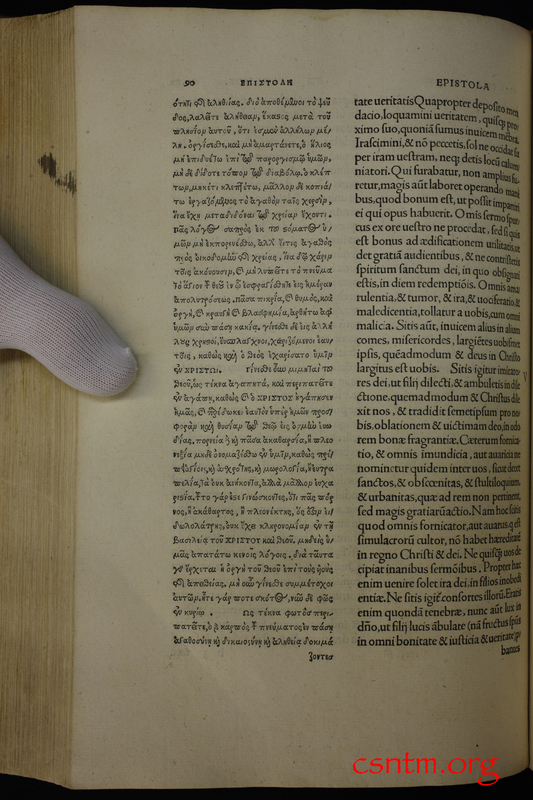 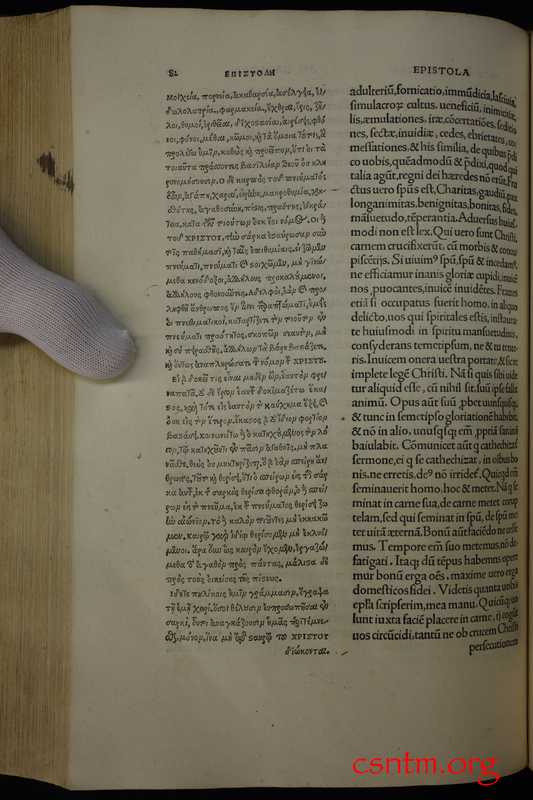 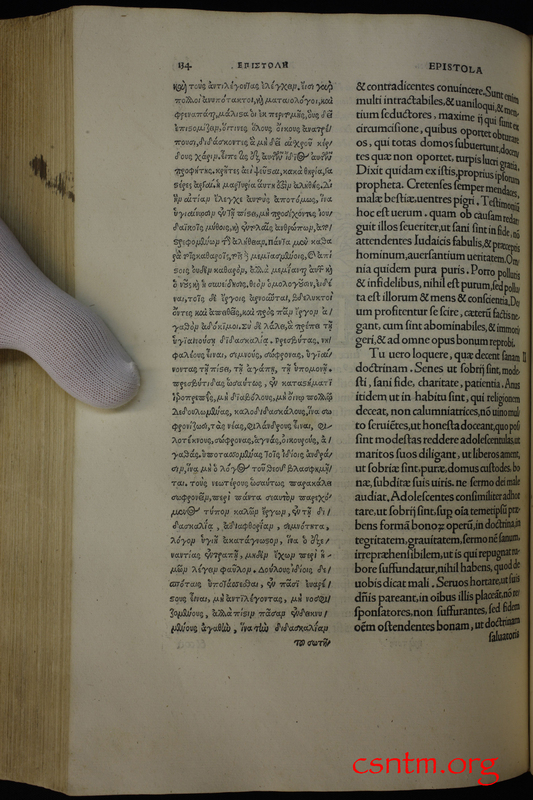 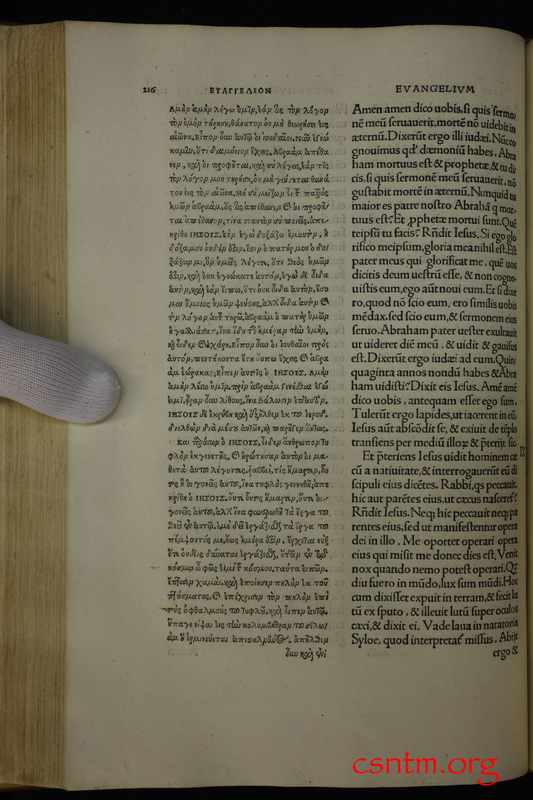 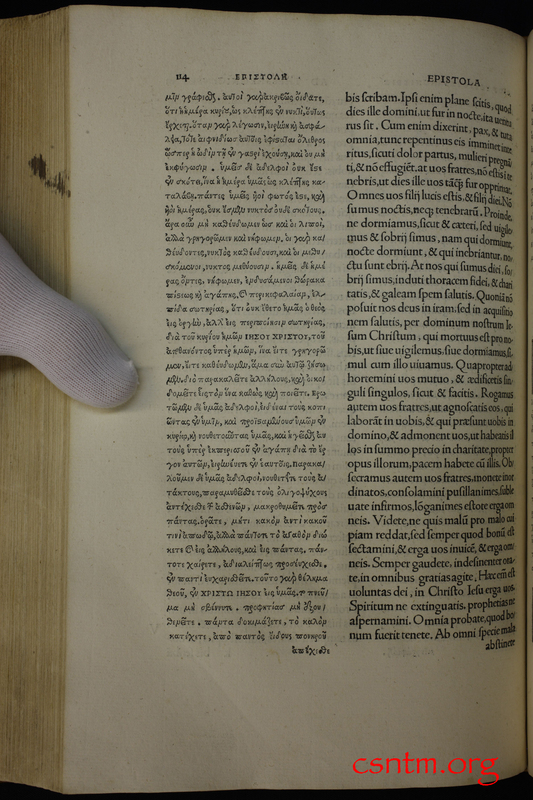 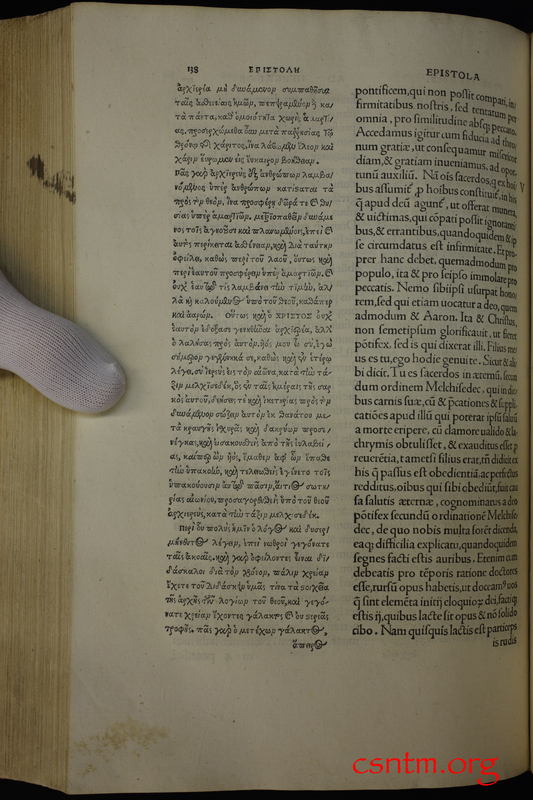 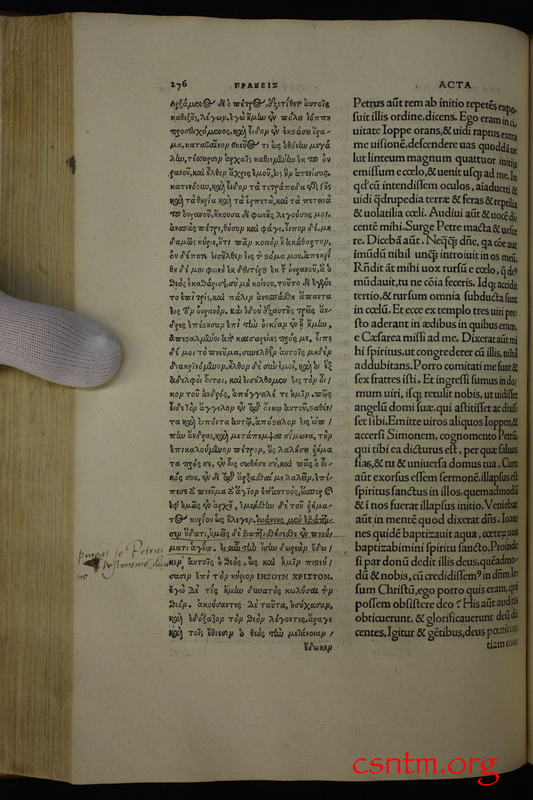 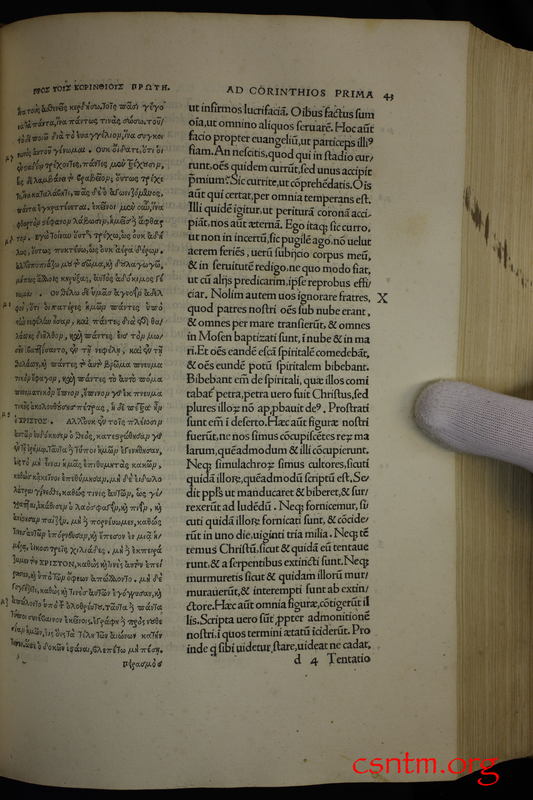 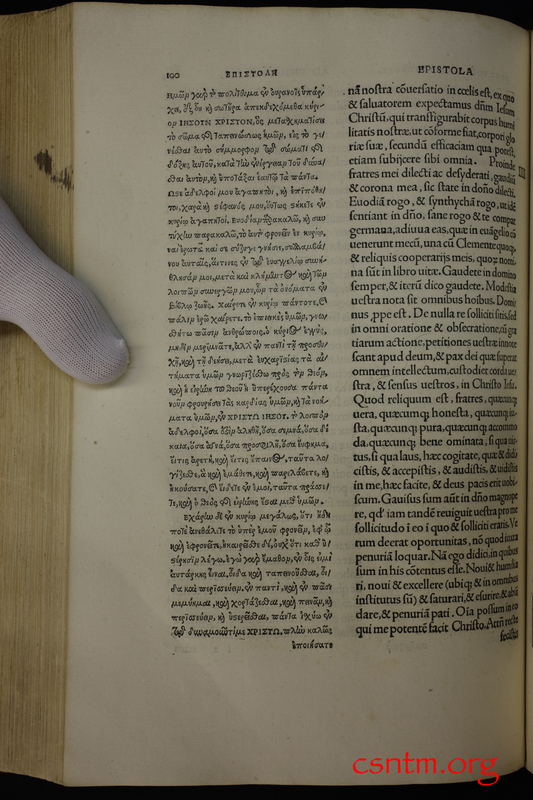 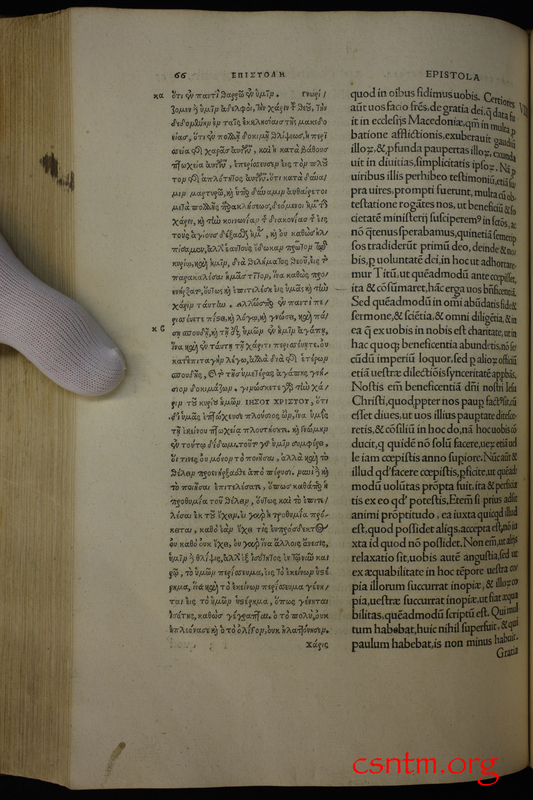 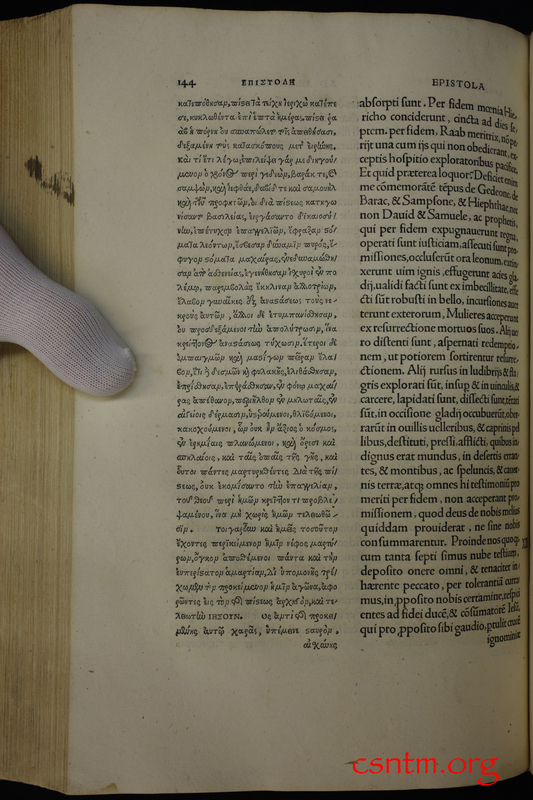 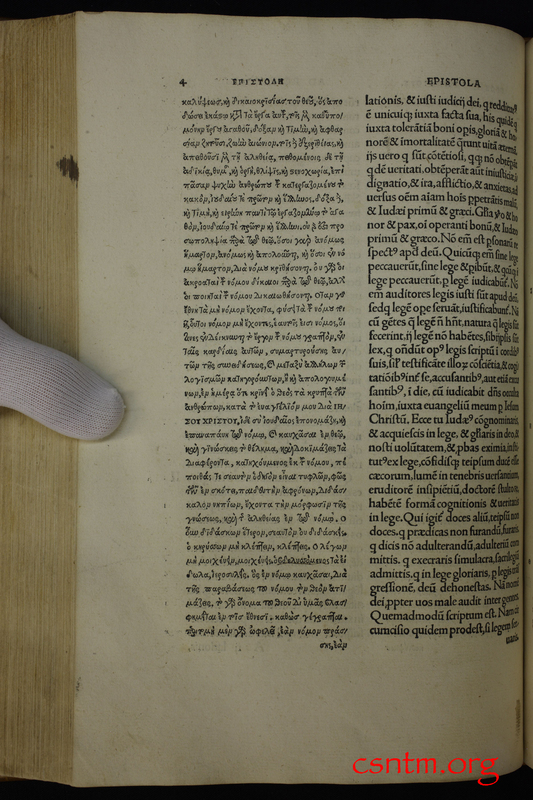 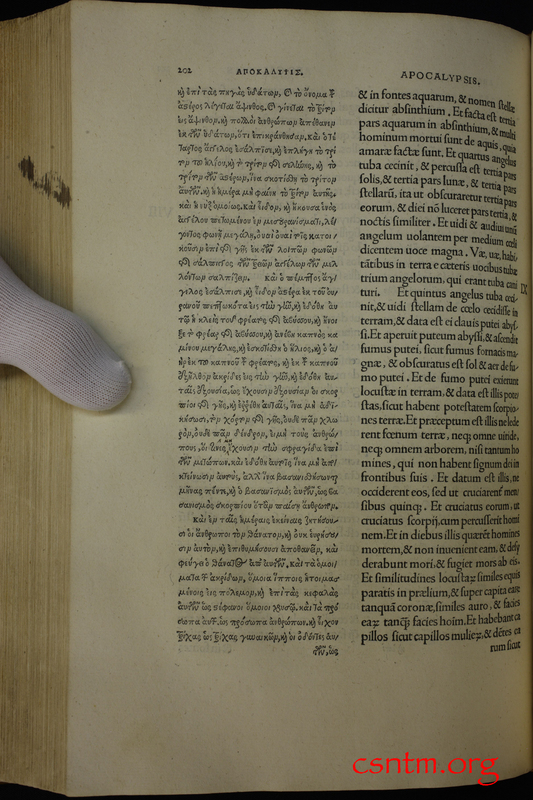 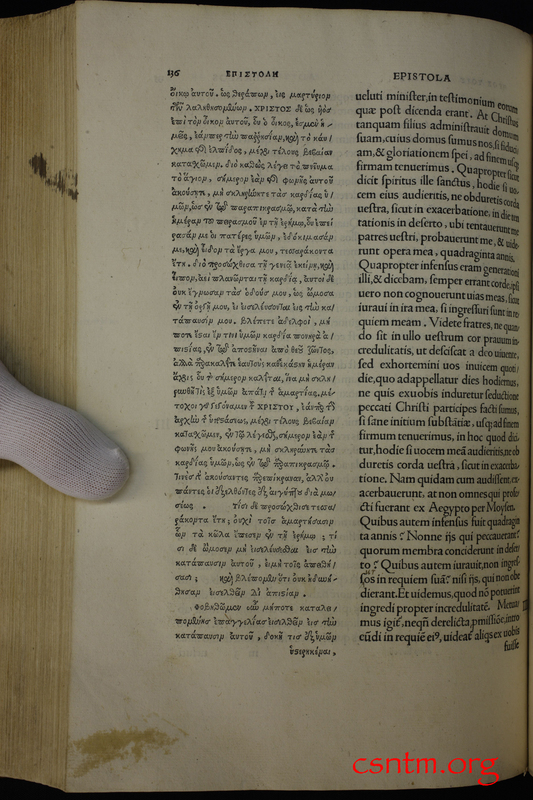 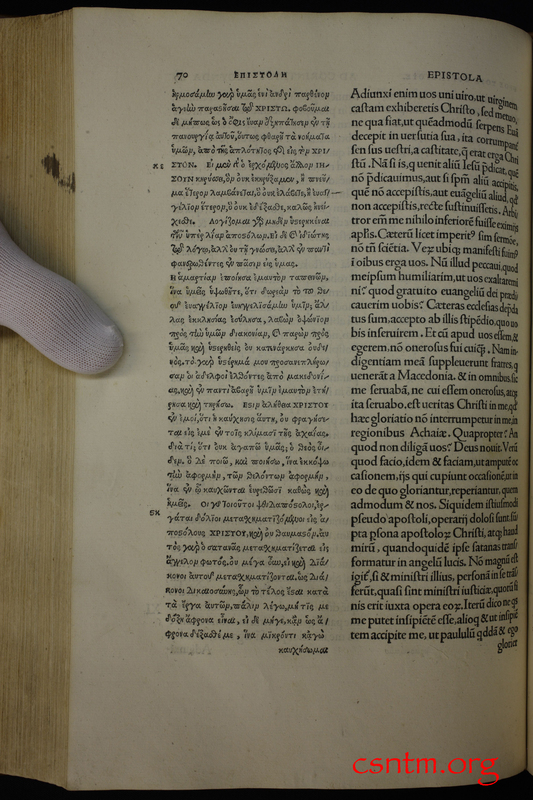 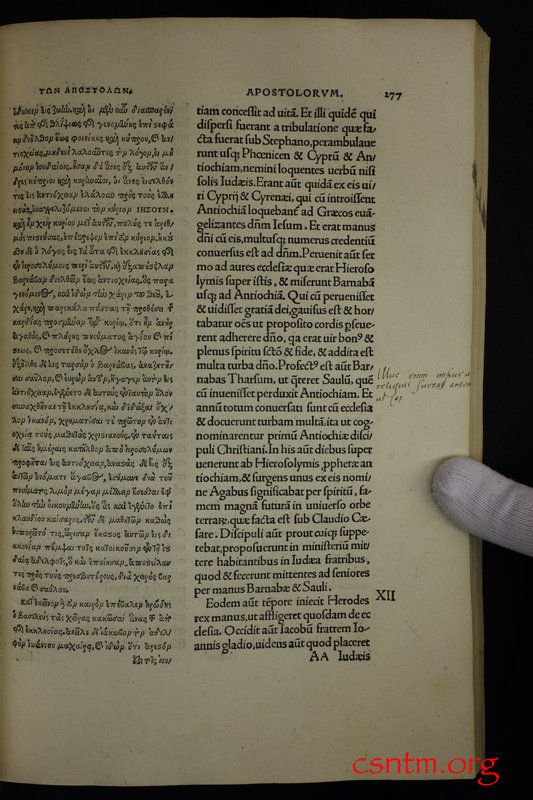 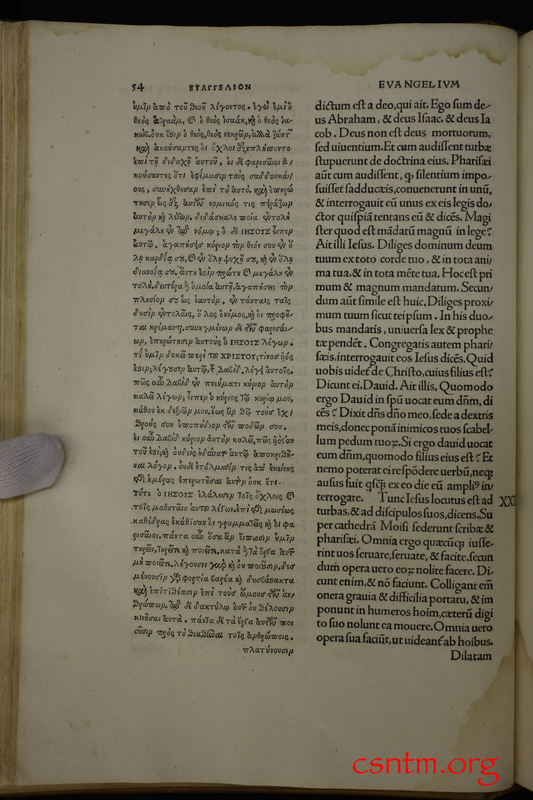 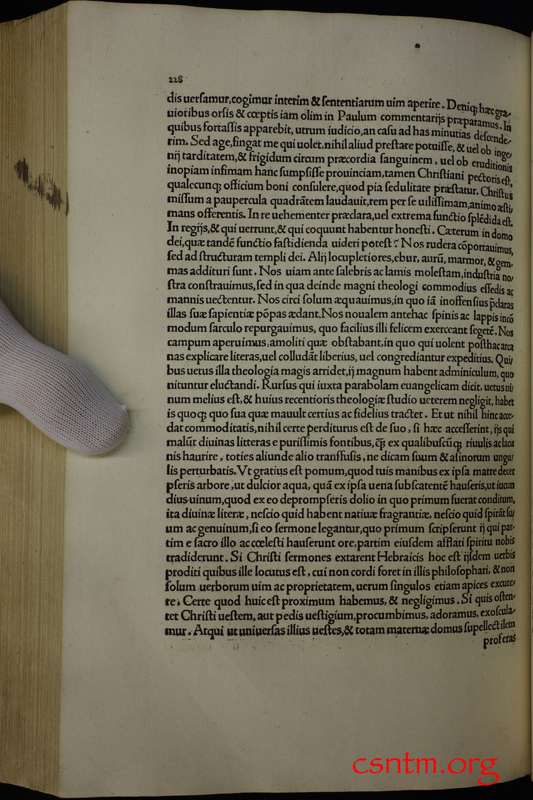 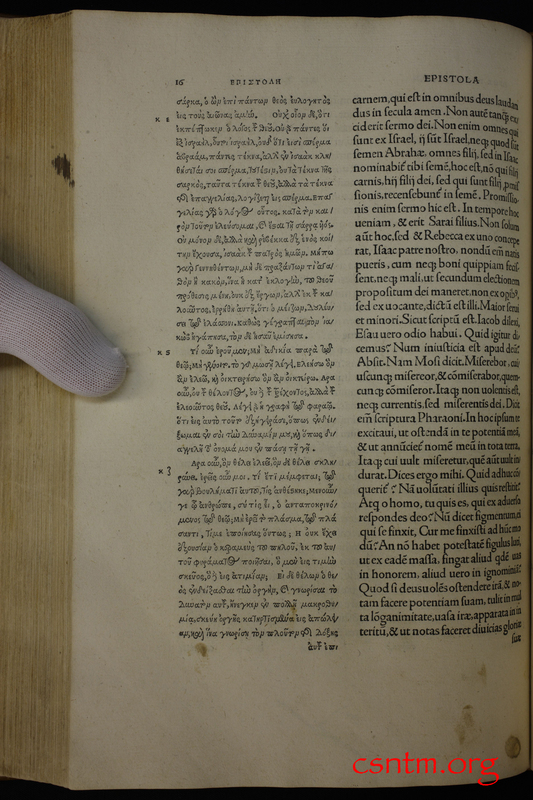 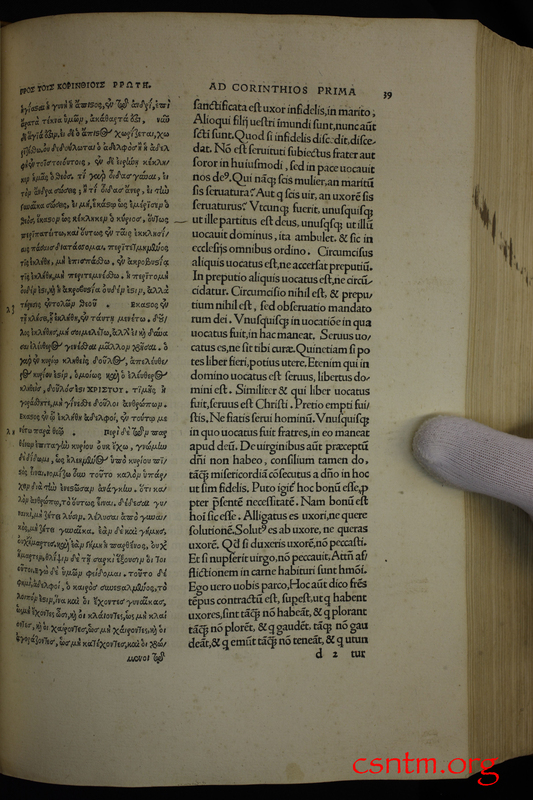 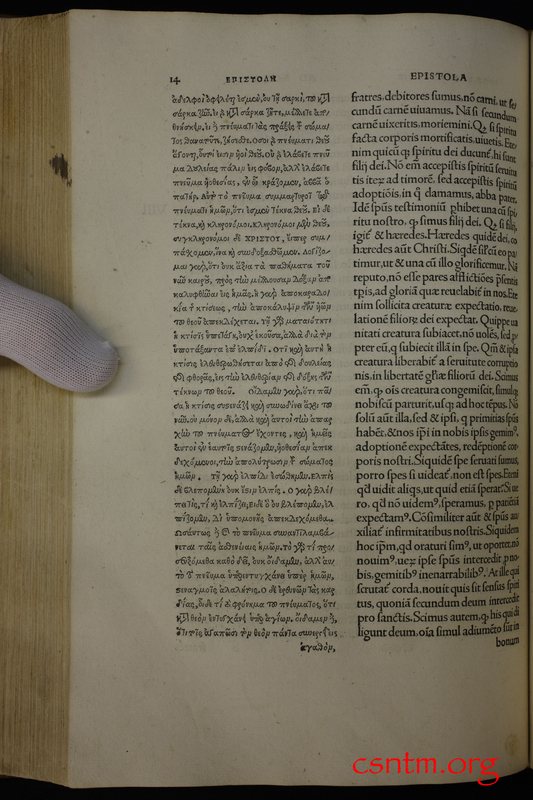 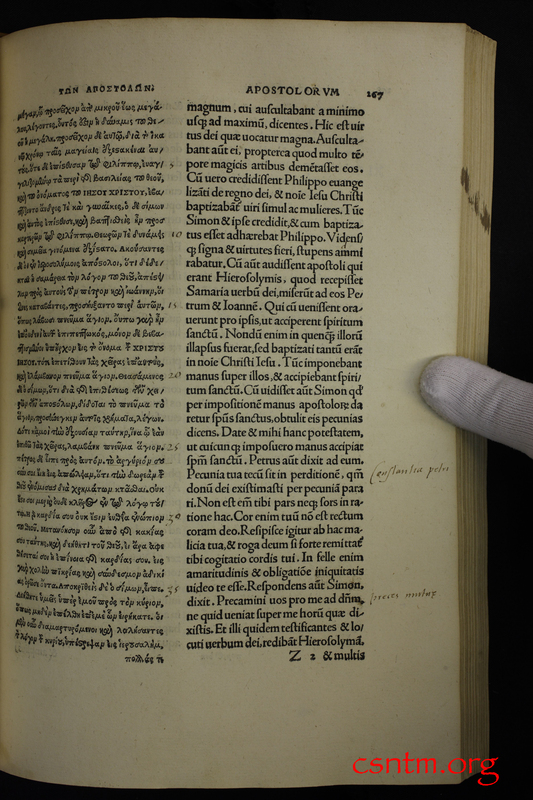 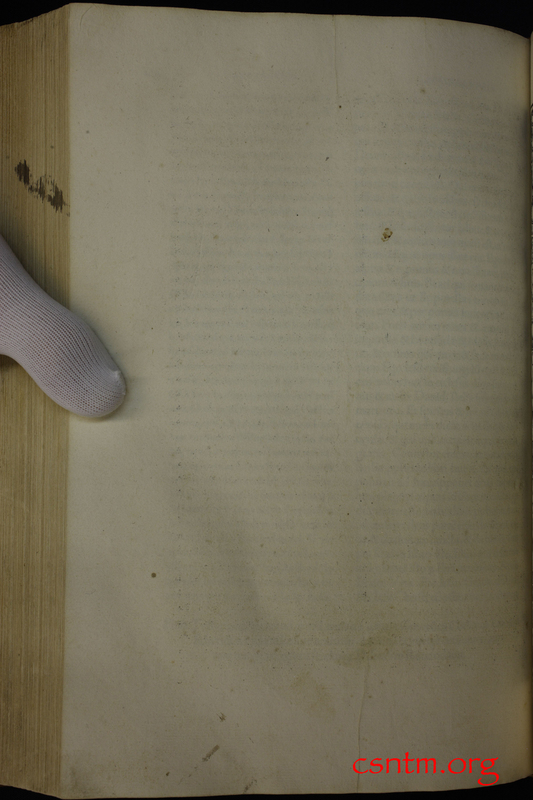 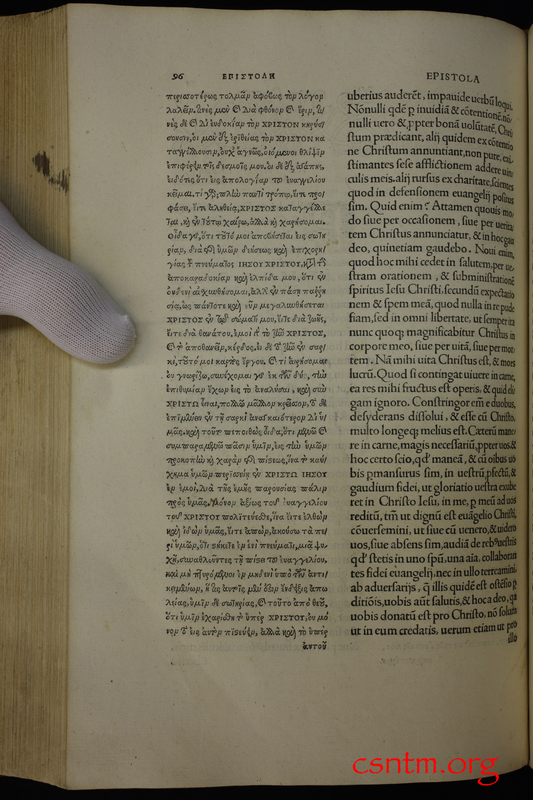 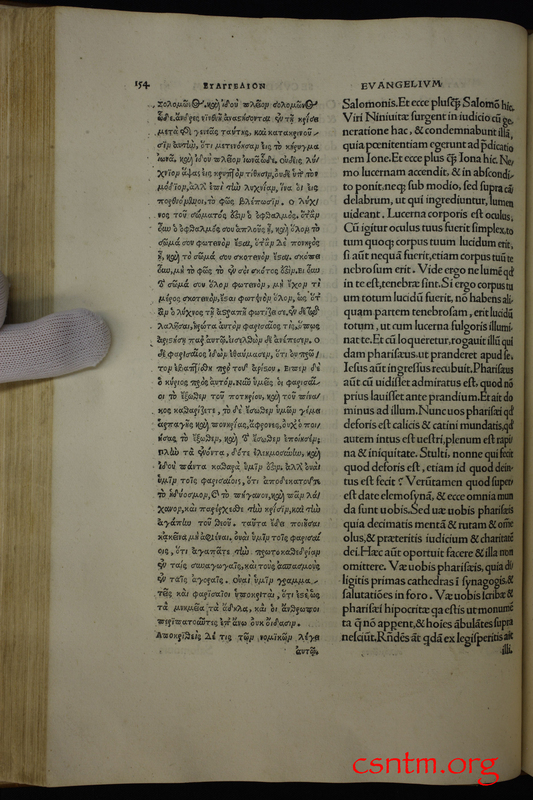 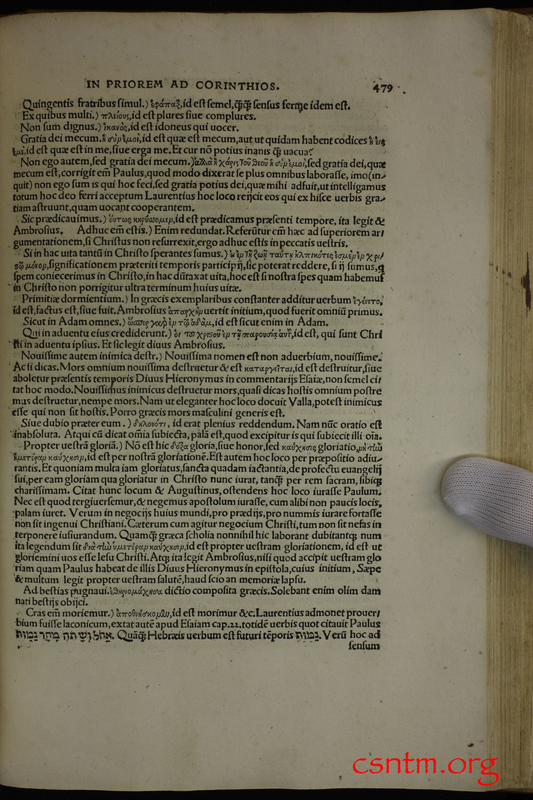 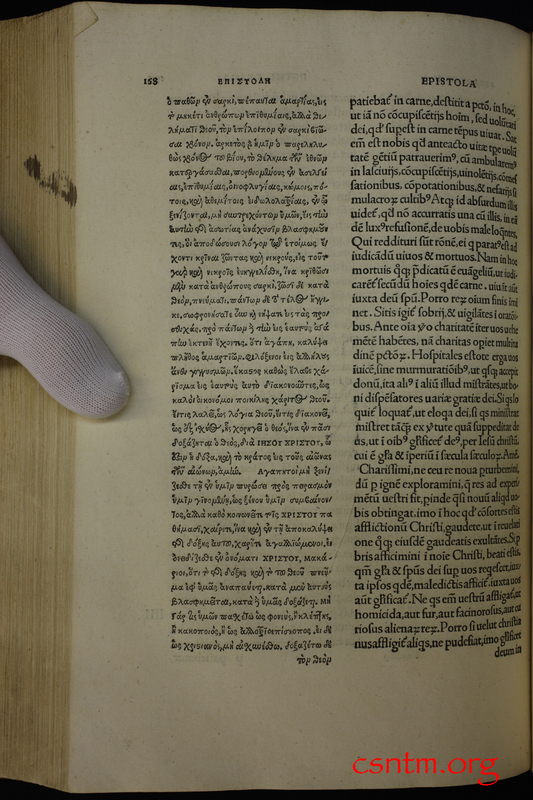 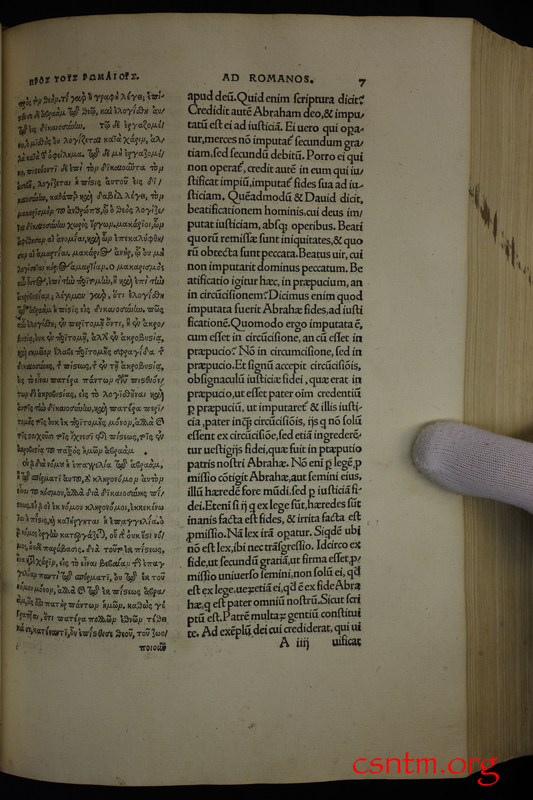 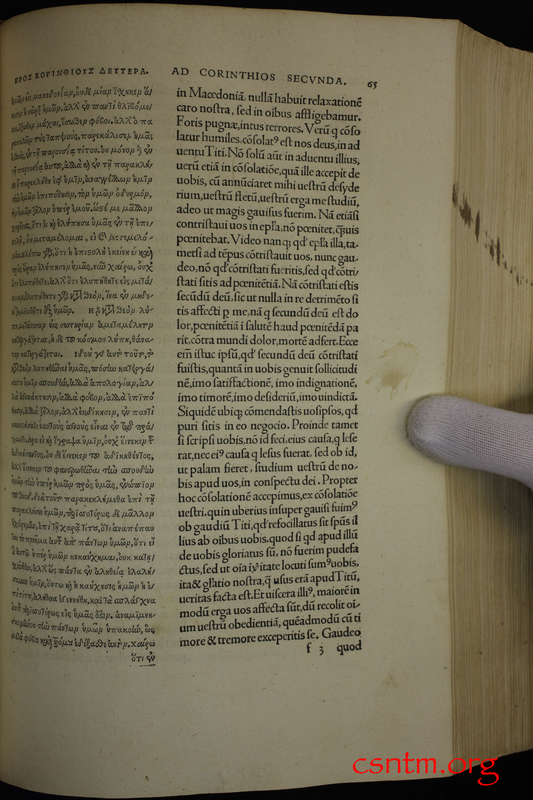 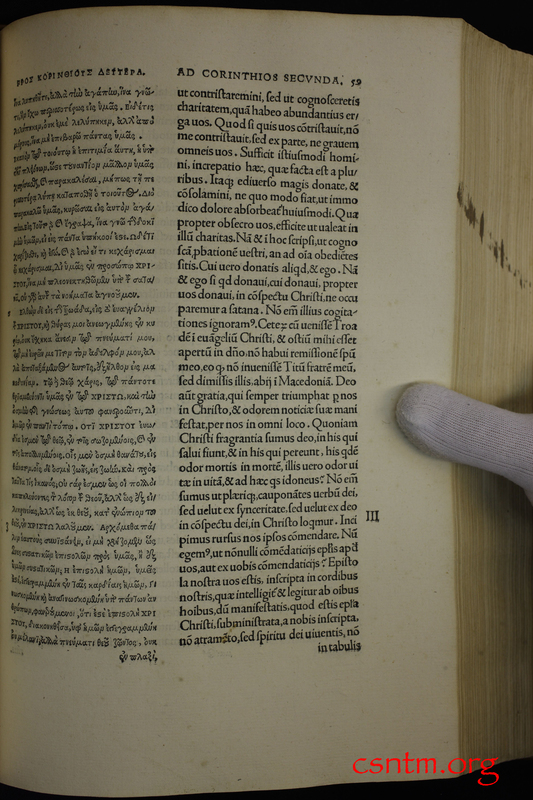 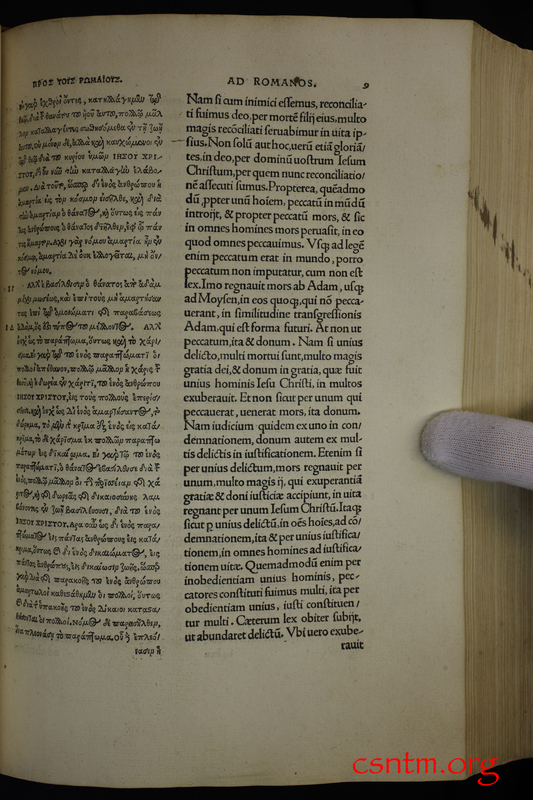 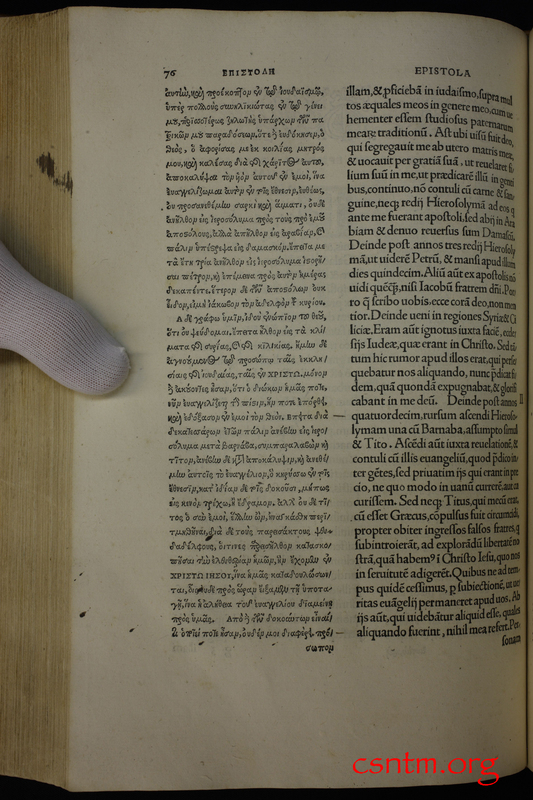 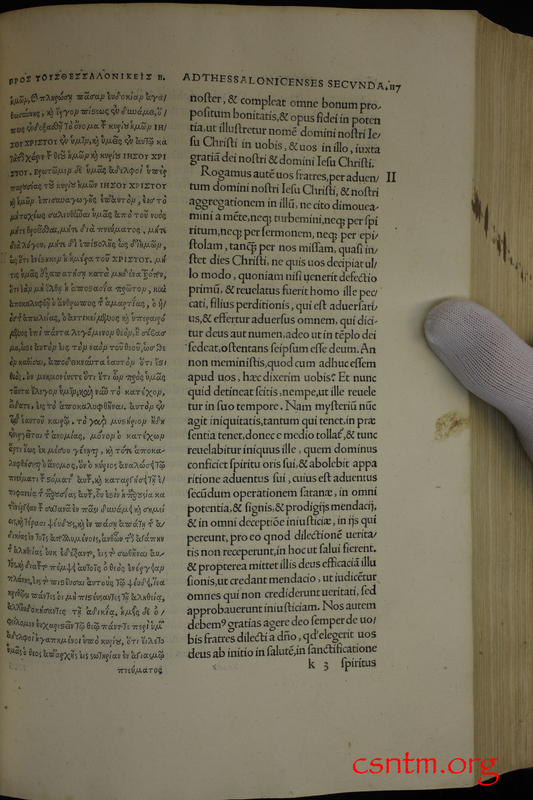 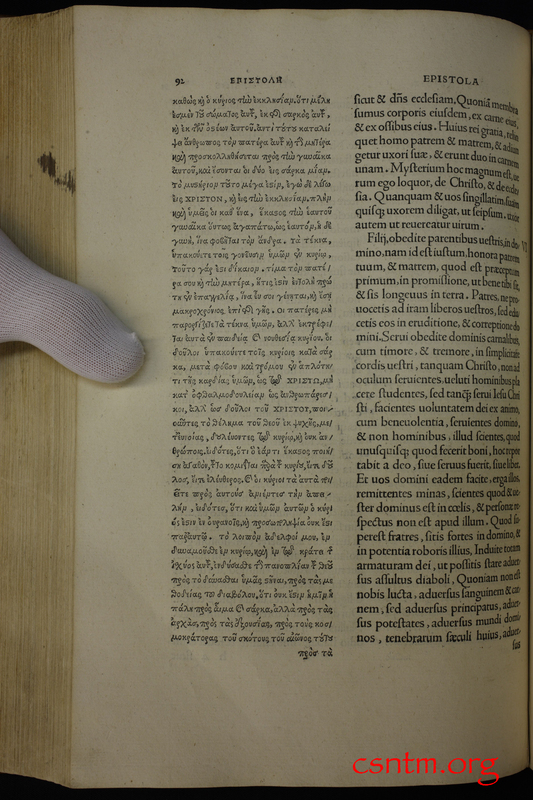 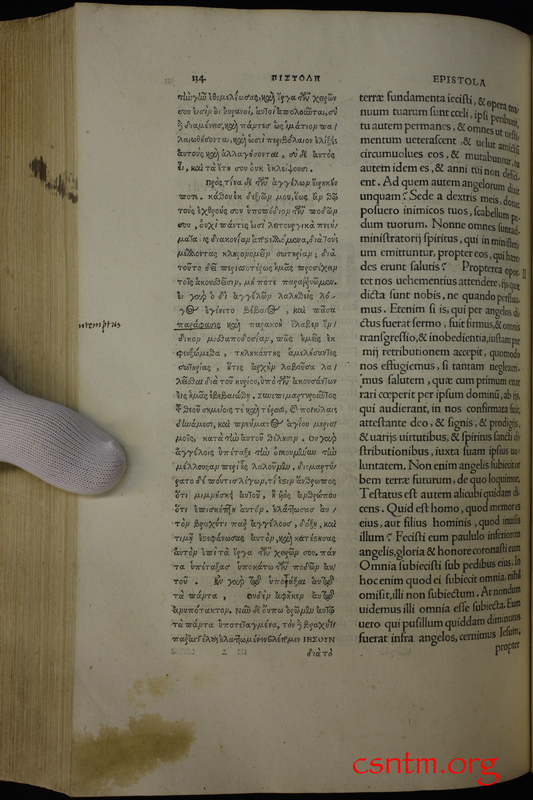 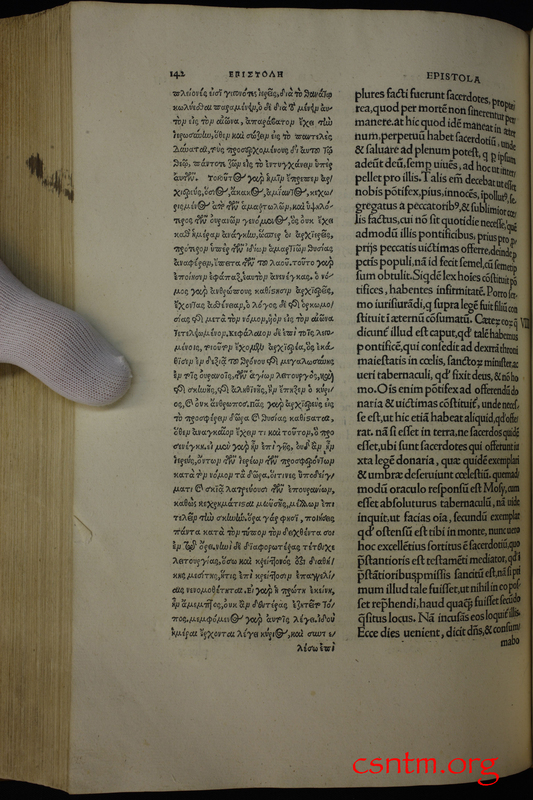 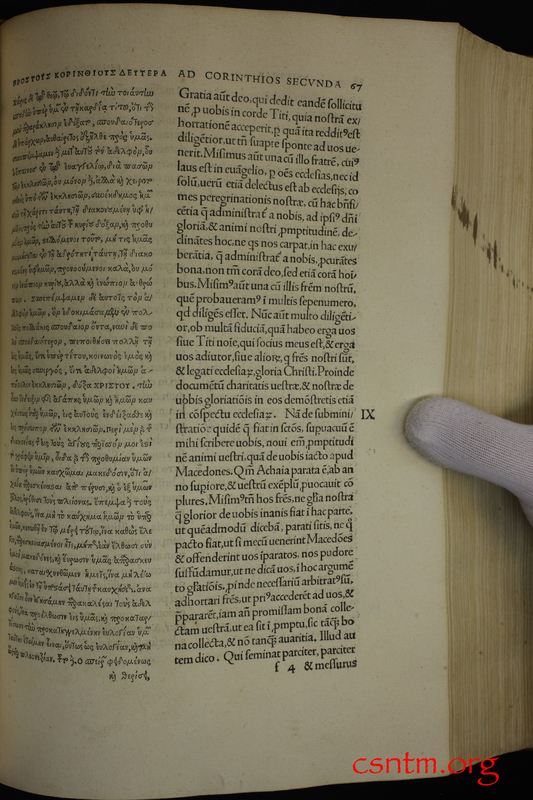 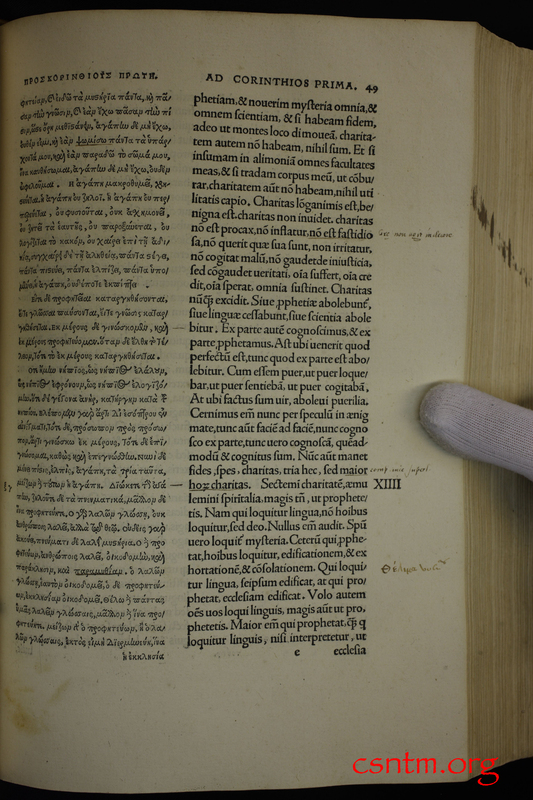 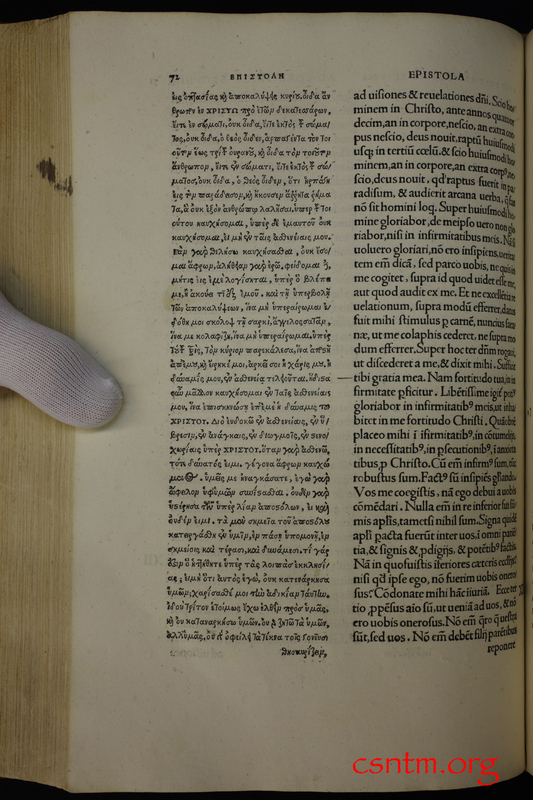 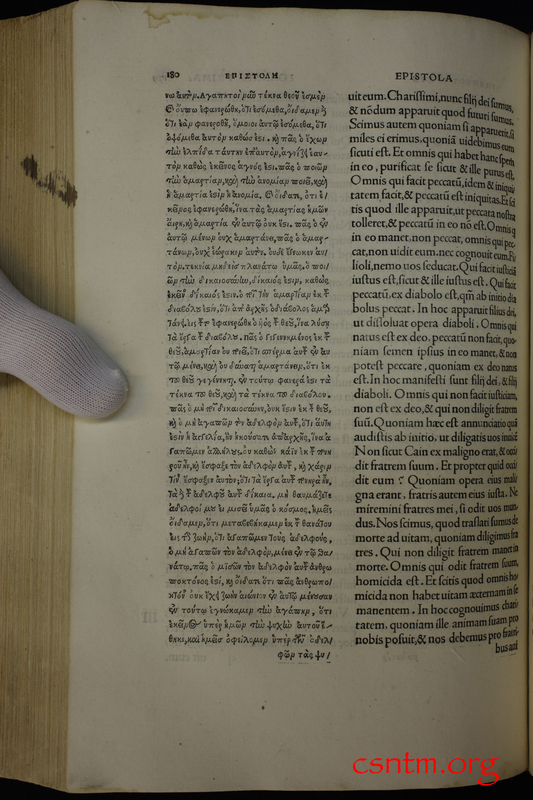 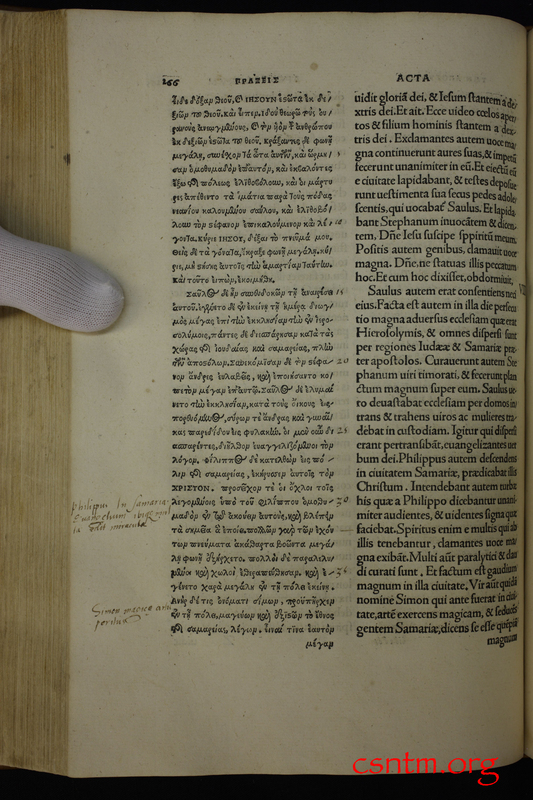 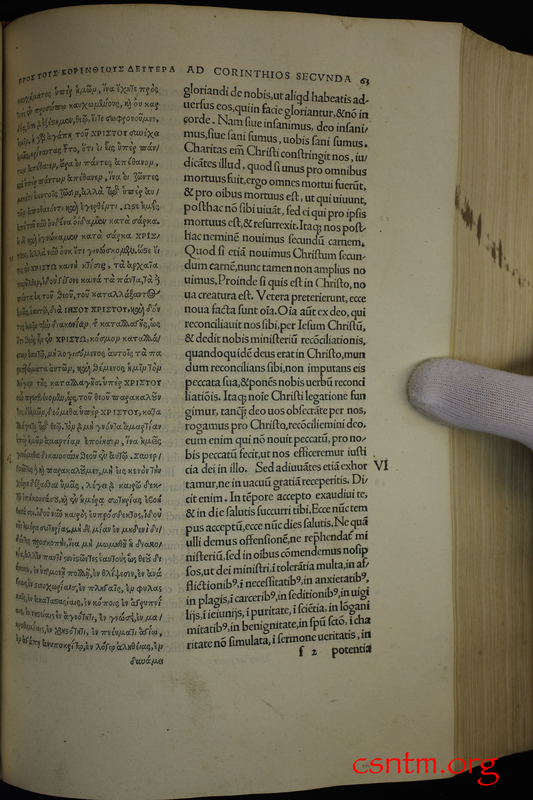 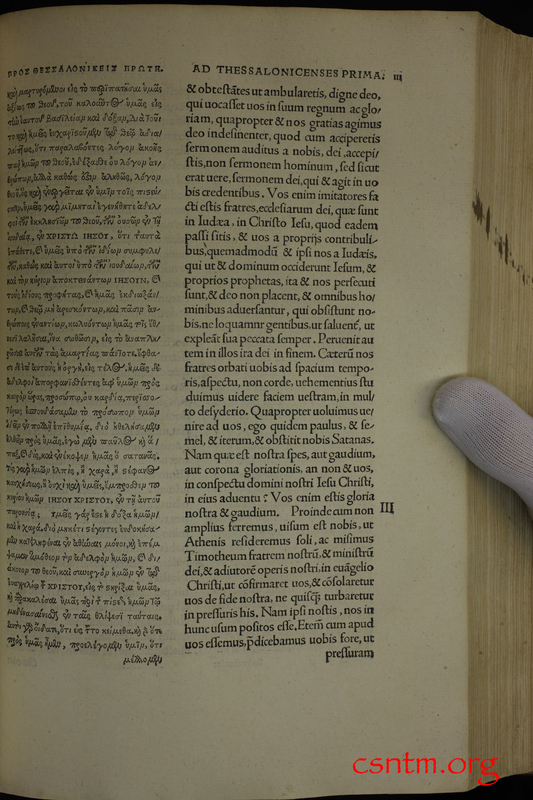 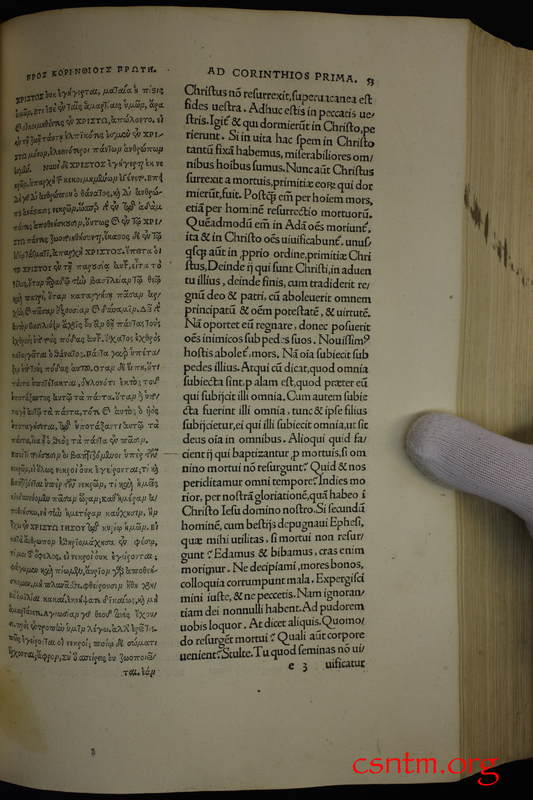 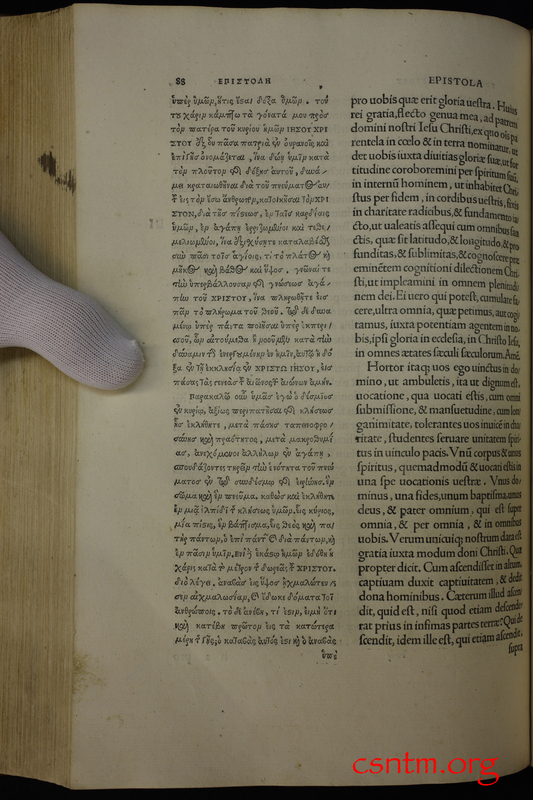 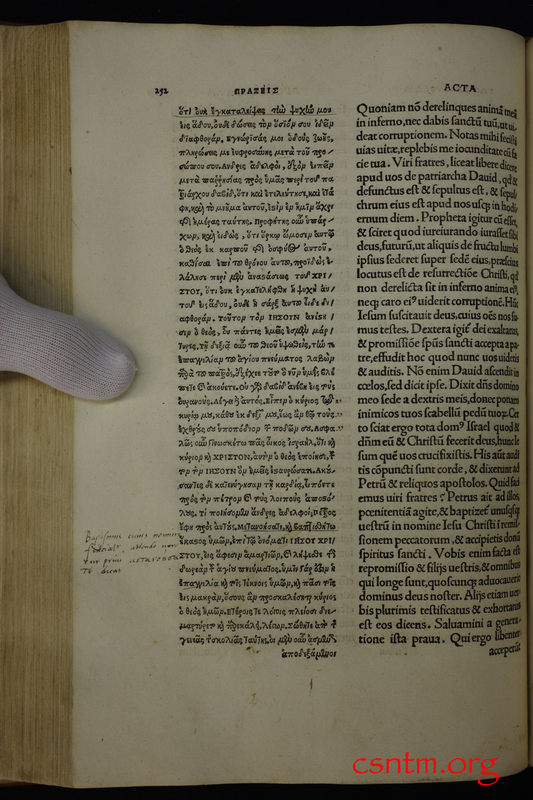 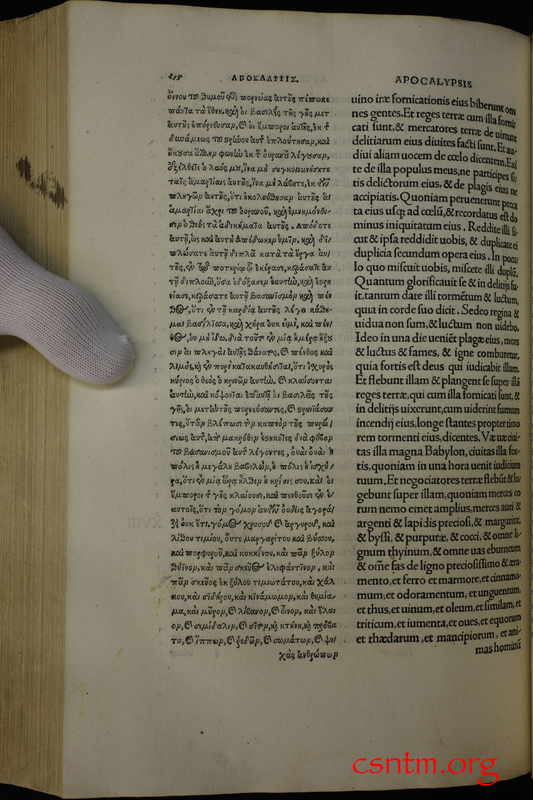 All the manuscripts were late—at least 700 years later than the ones that Jerome had used. 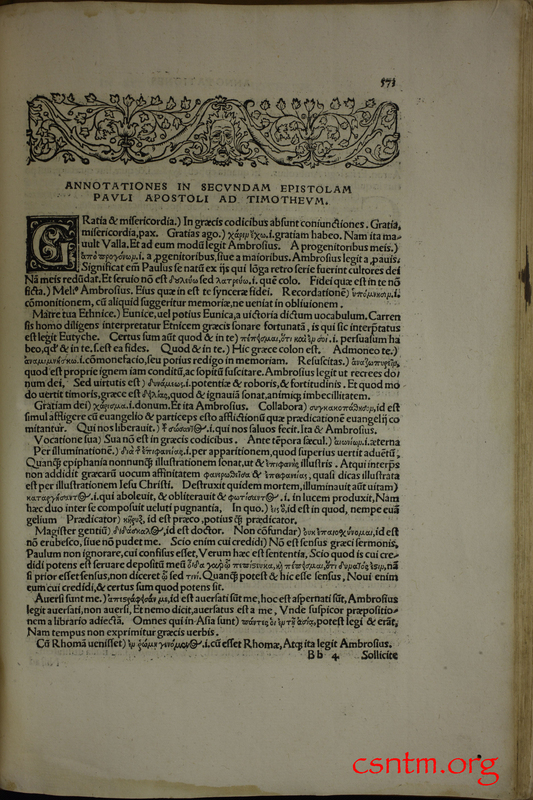 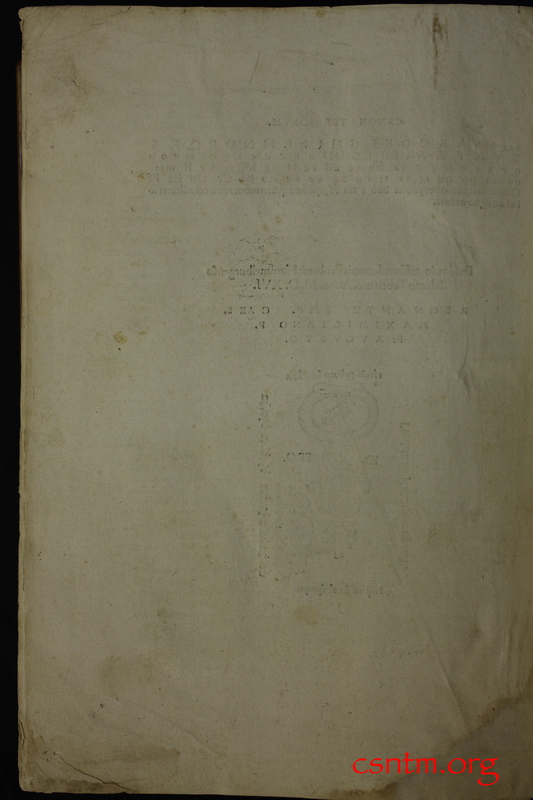 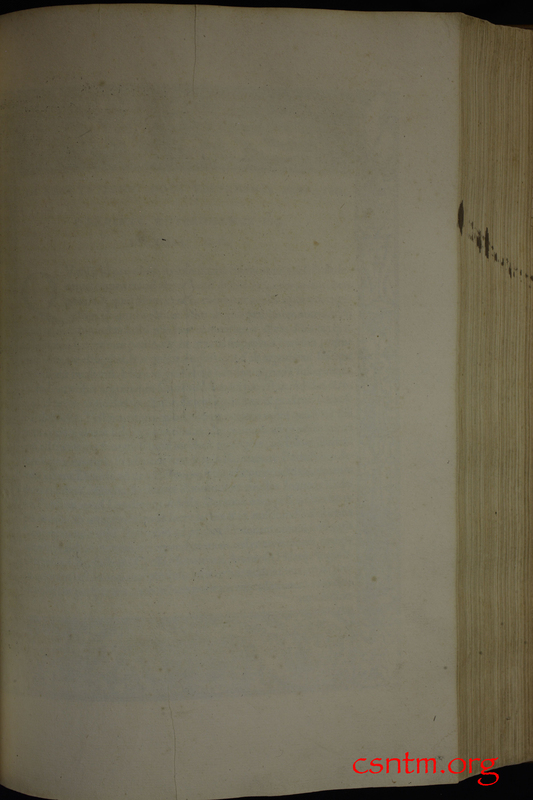 Further, the Novum Instrumentum was edited so hastily that it has been called the most poorly edited book ever printed. 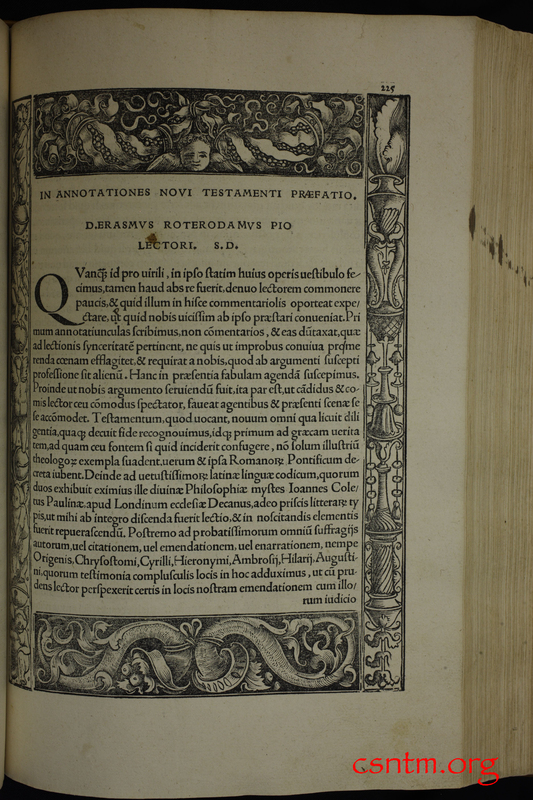 Nevertheless, it became the source for the study of the Greek New Testament in western Europe in the early 16th century. 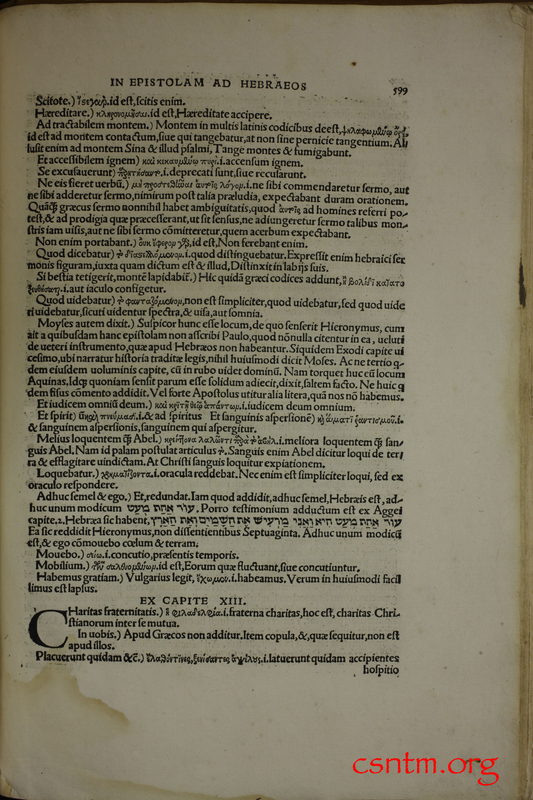 Twenty months later, almost to the day, the Reformation would be born when Martin Luther nailed his 95 theses to the door of the Schlosskirche Tür in Wittenberg. 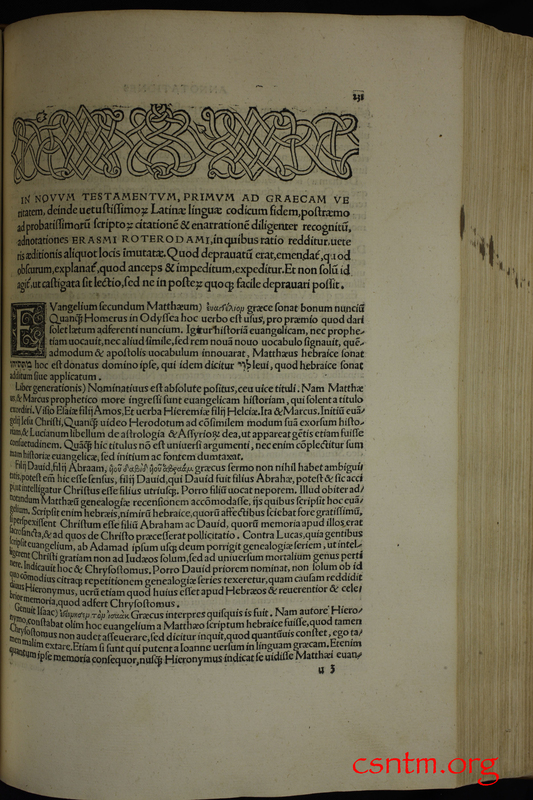 The Reformation never would have happened without the Greek New Testament.